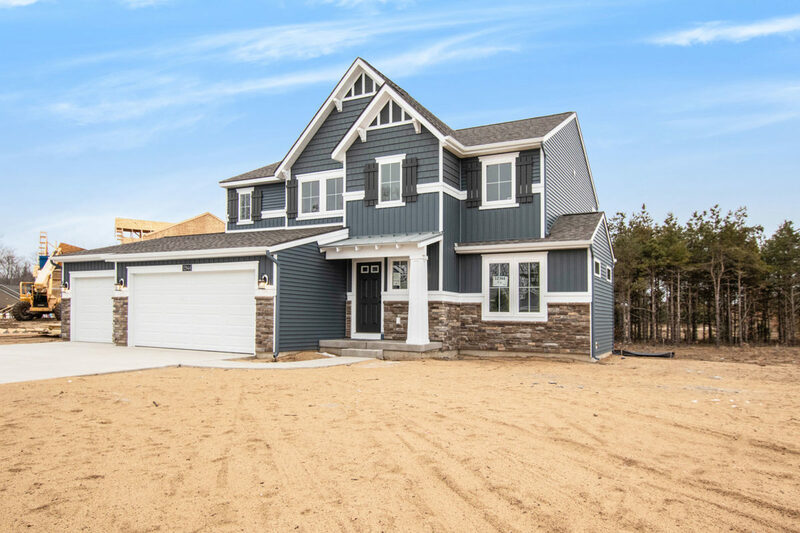 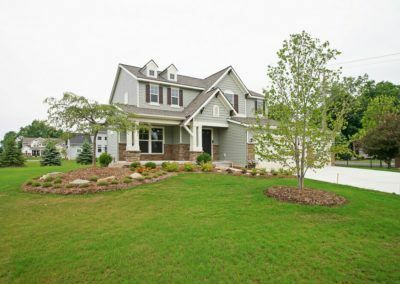 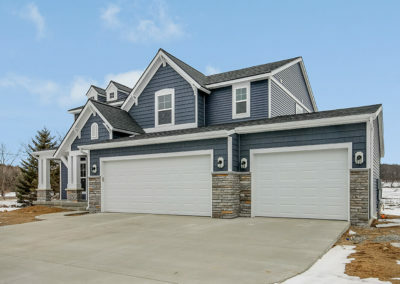 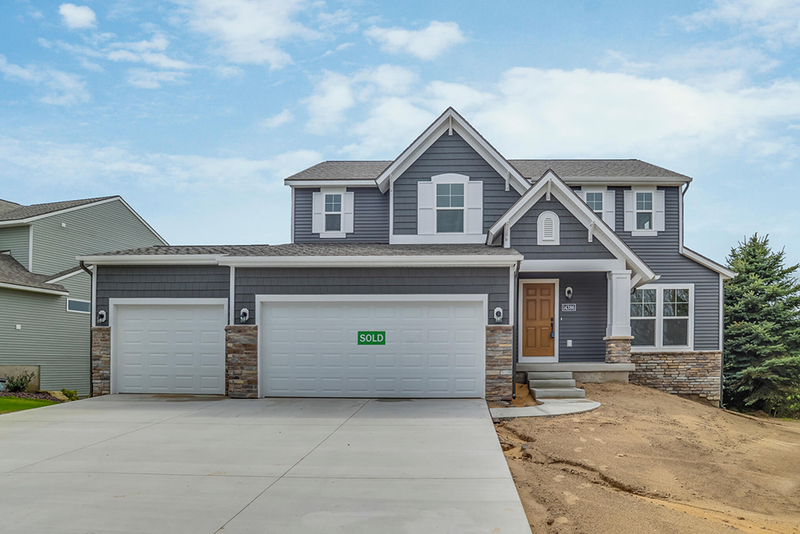 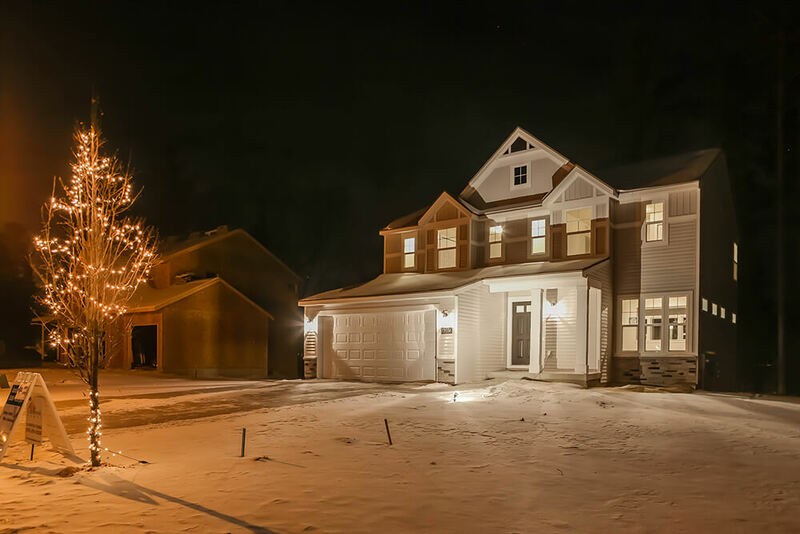 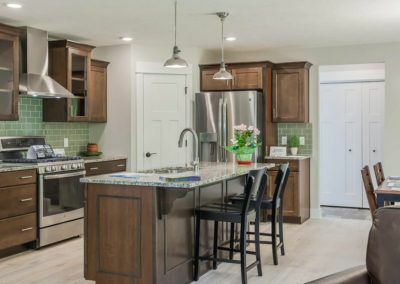 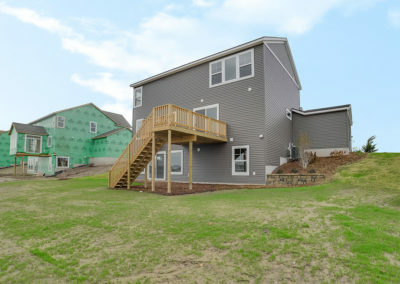 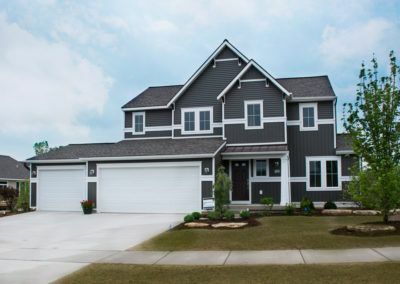 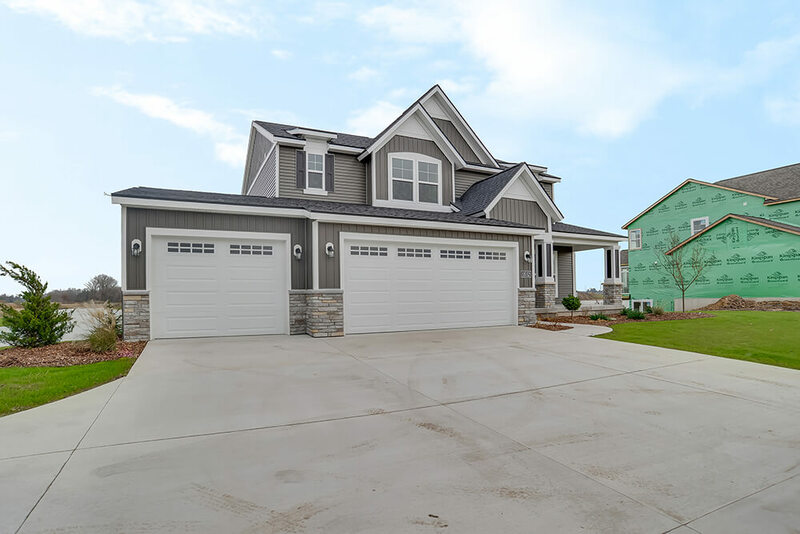 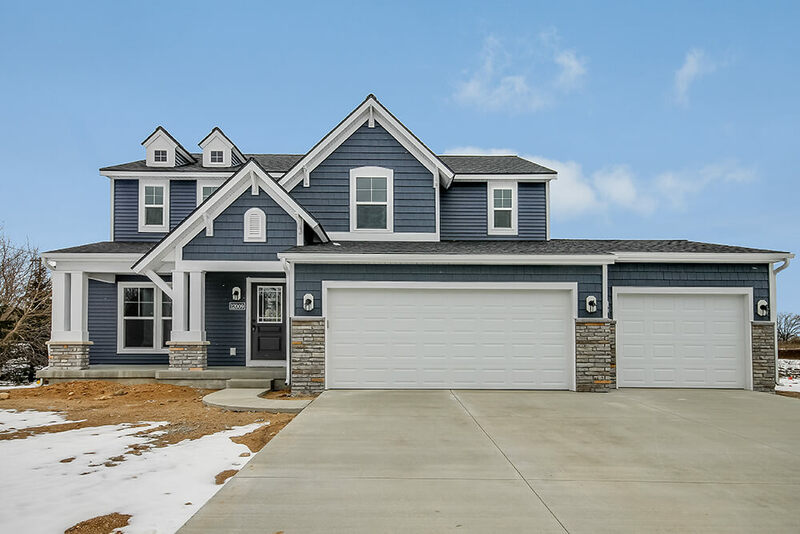 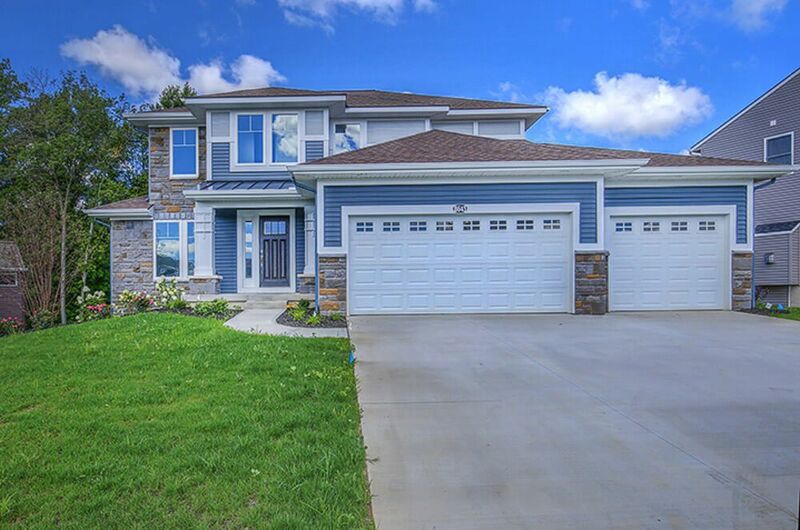 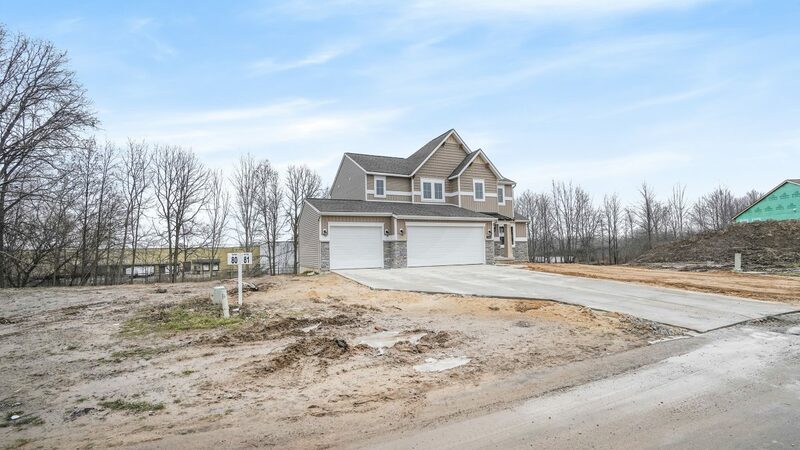 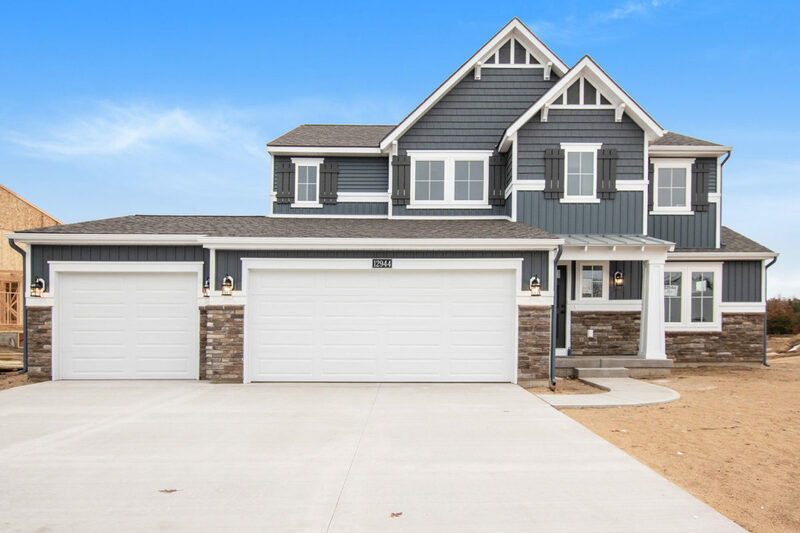 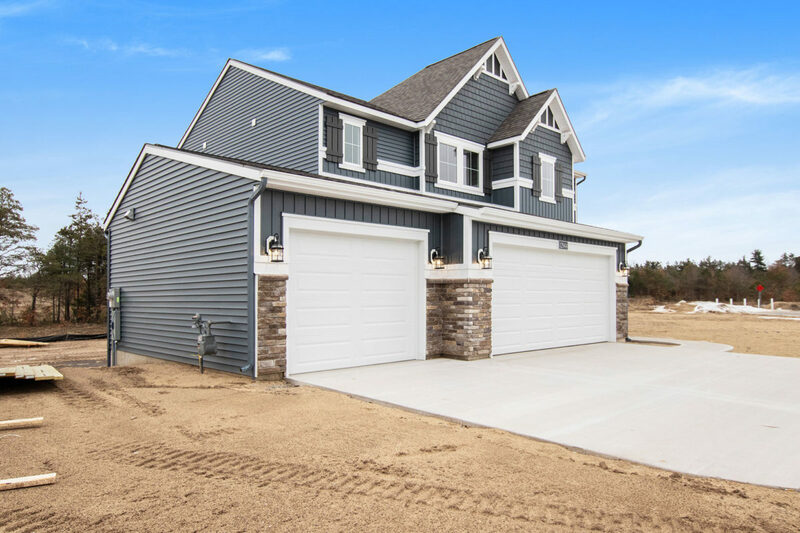 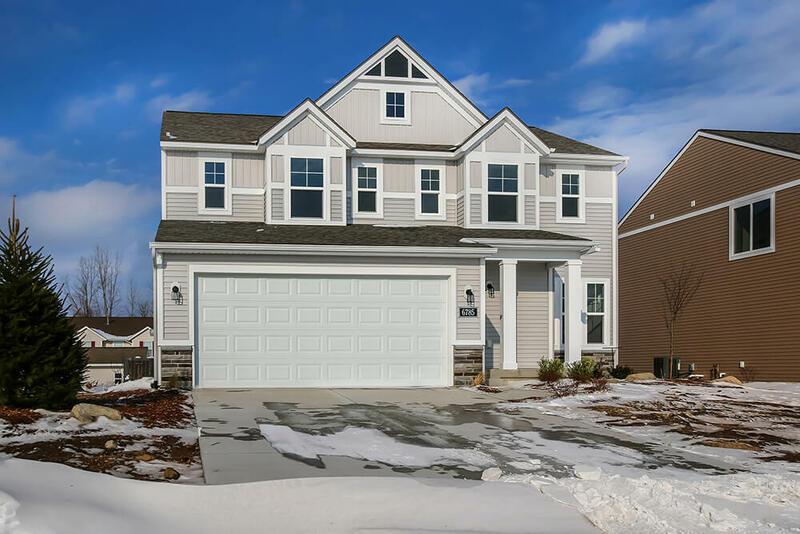 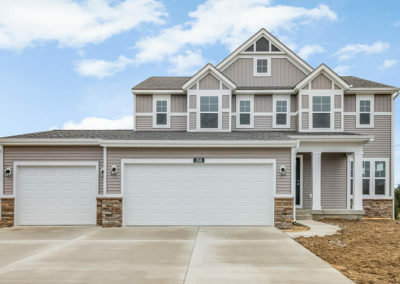 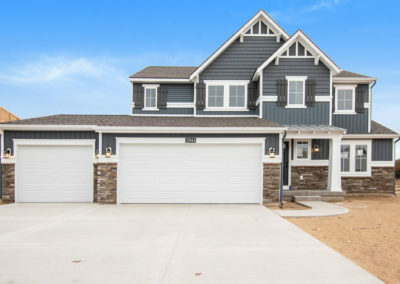 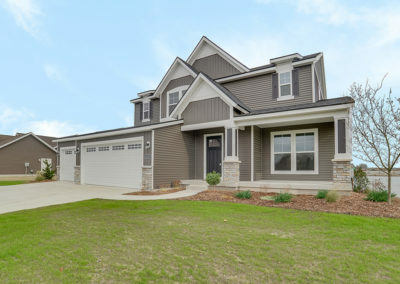 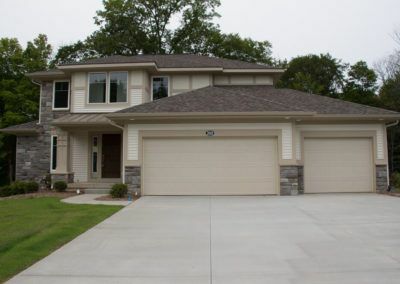 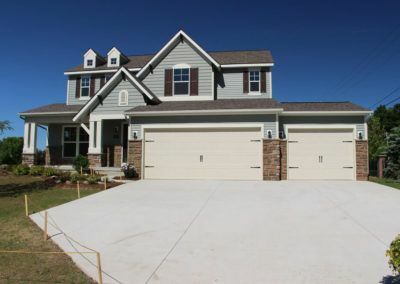 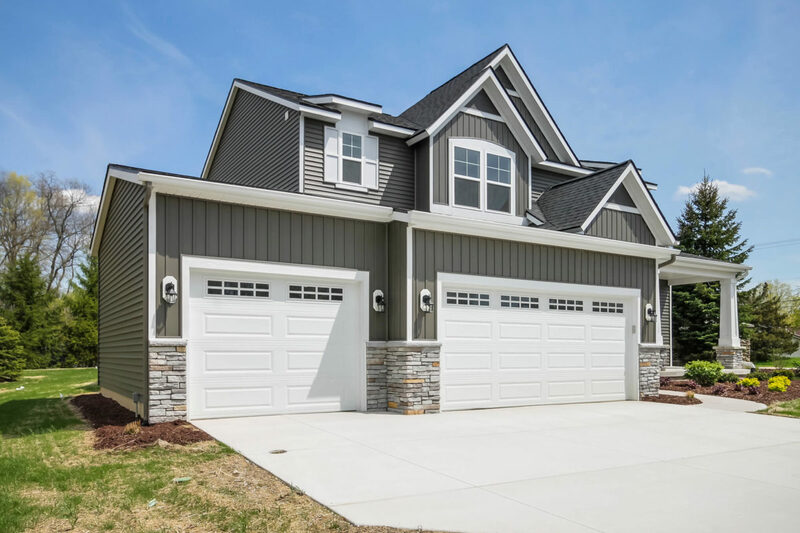 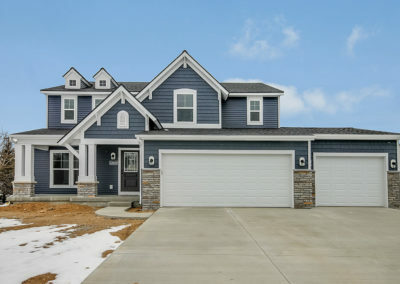 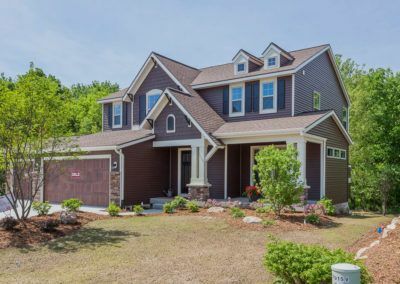 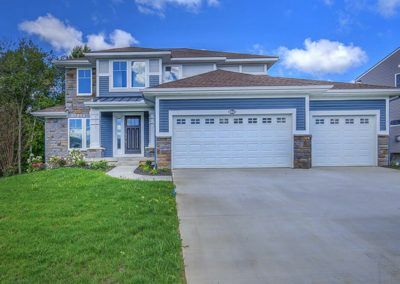 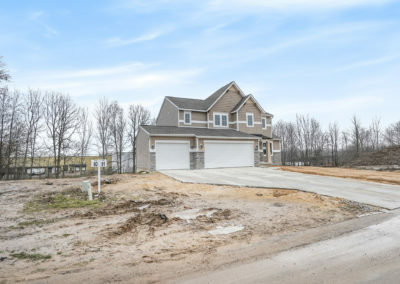 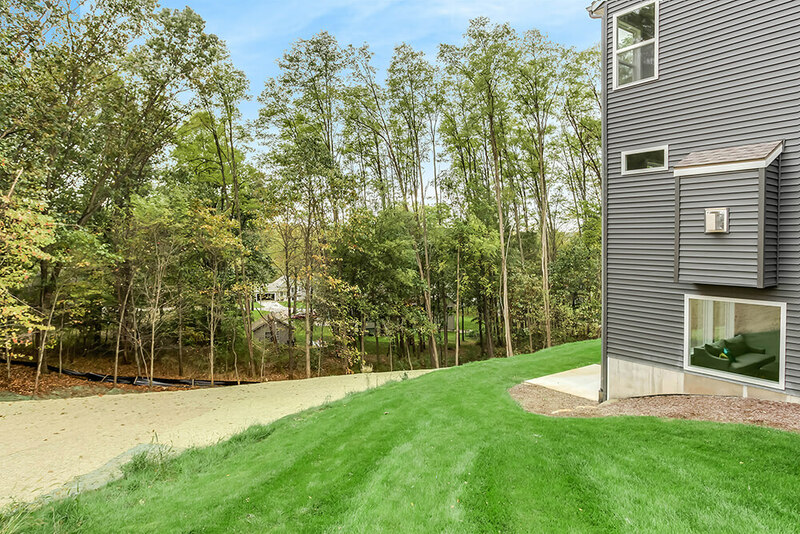 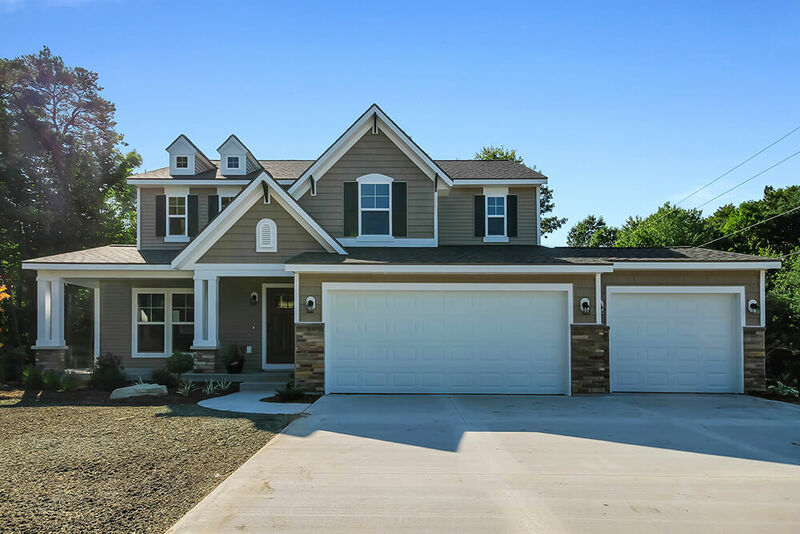 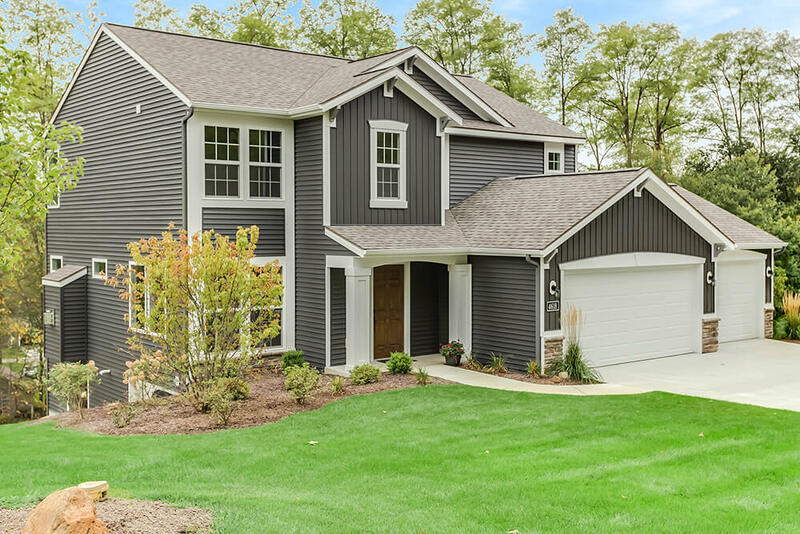 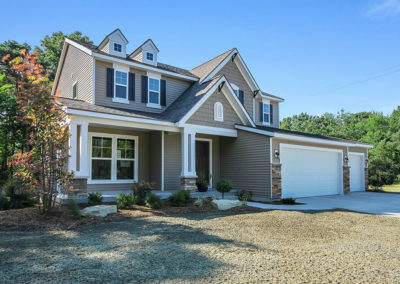 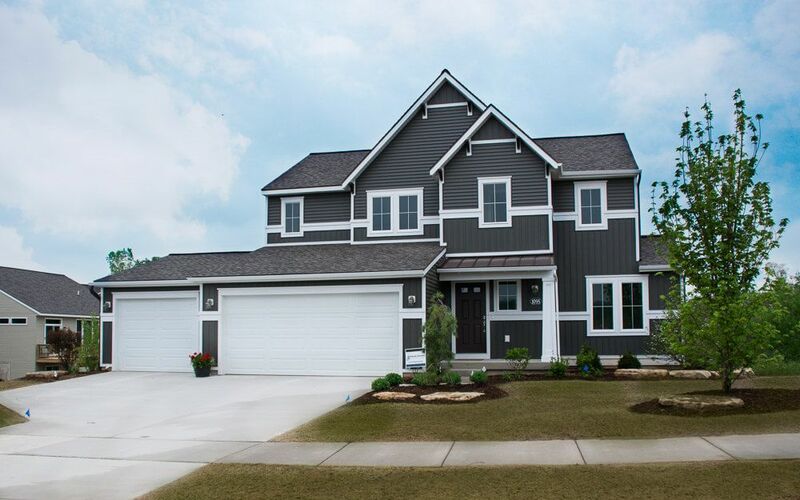 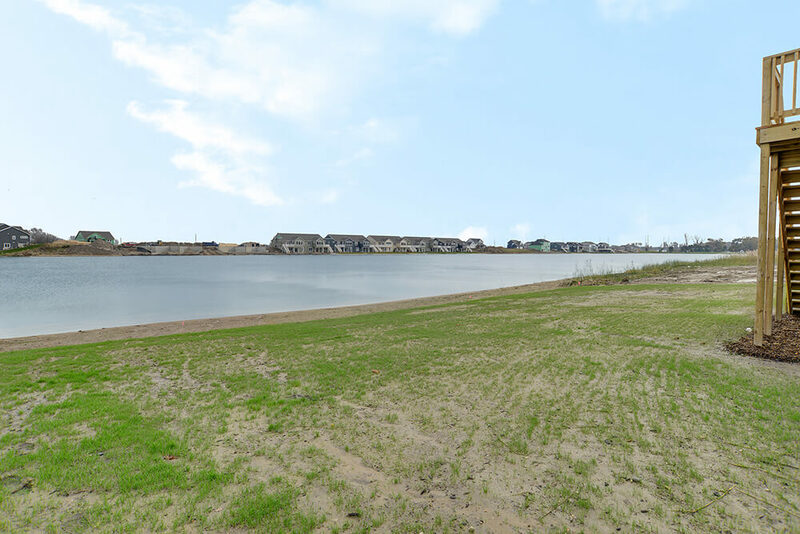 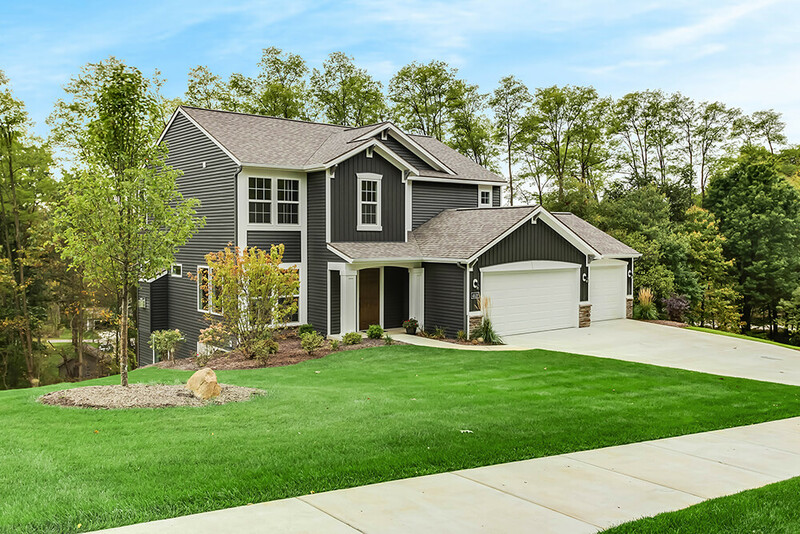 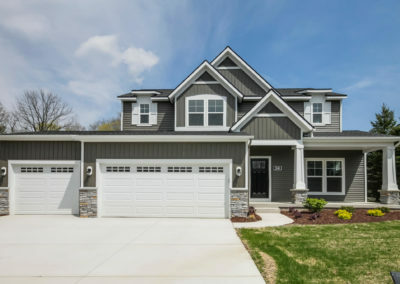 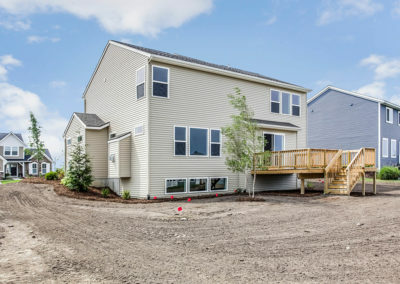 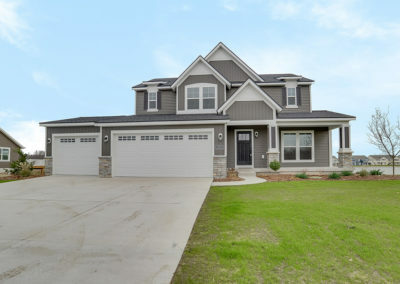 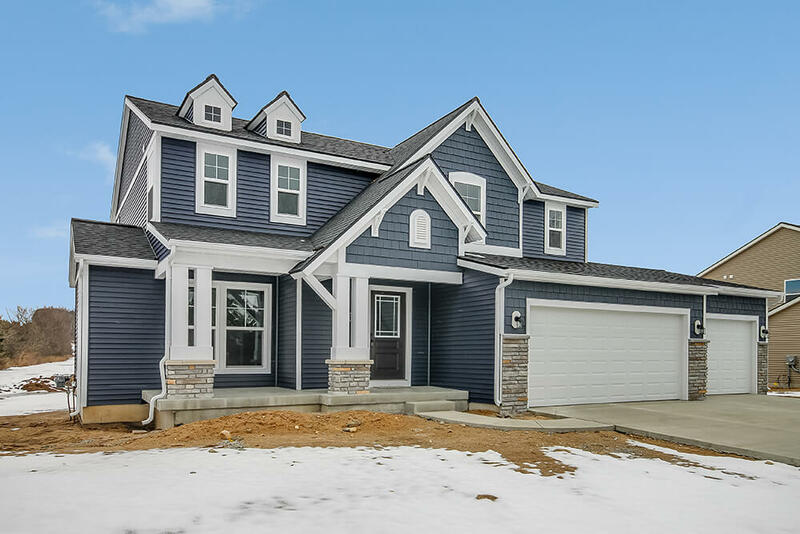 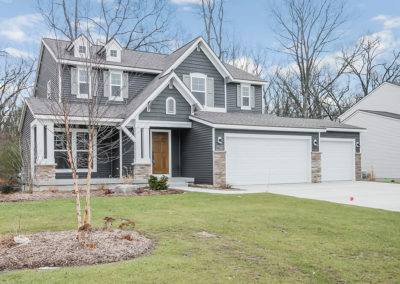 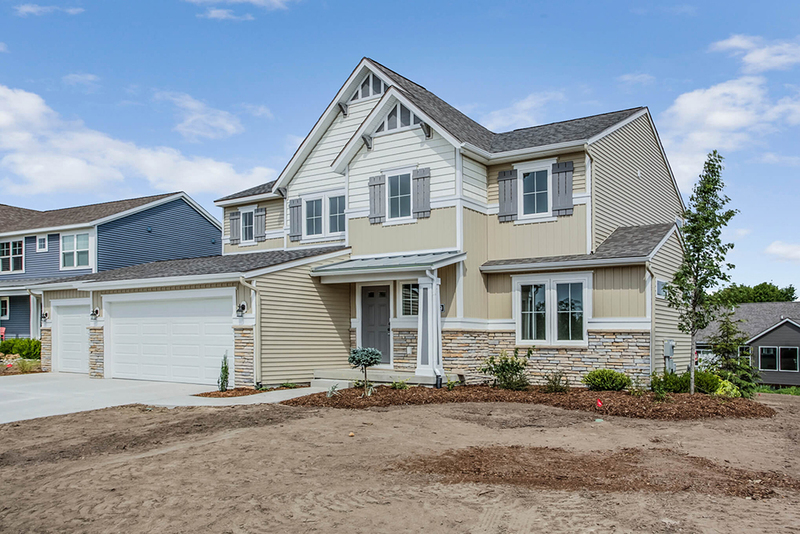 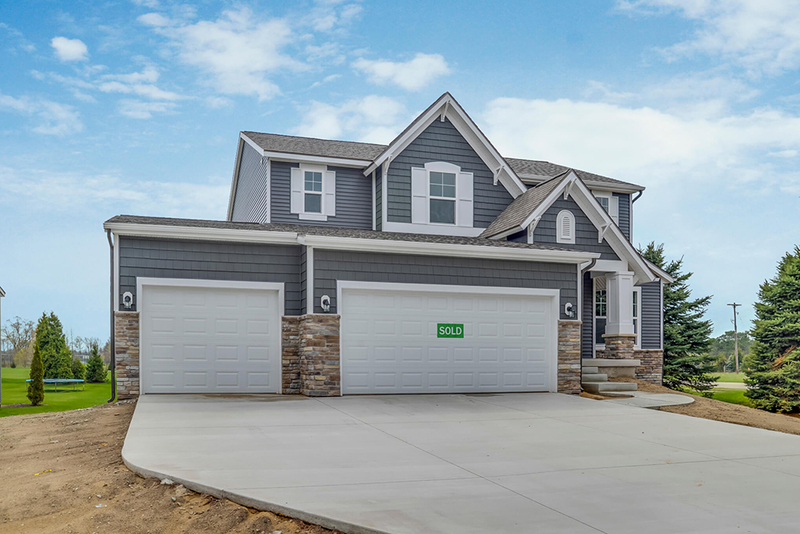 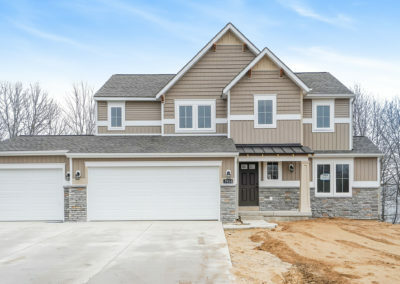 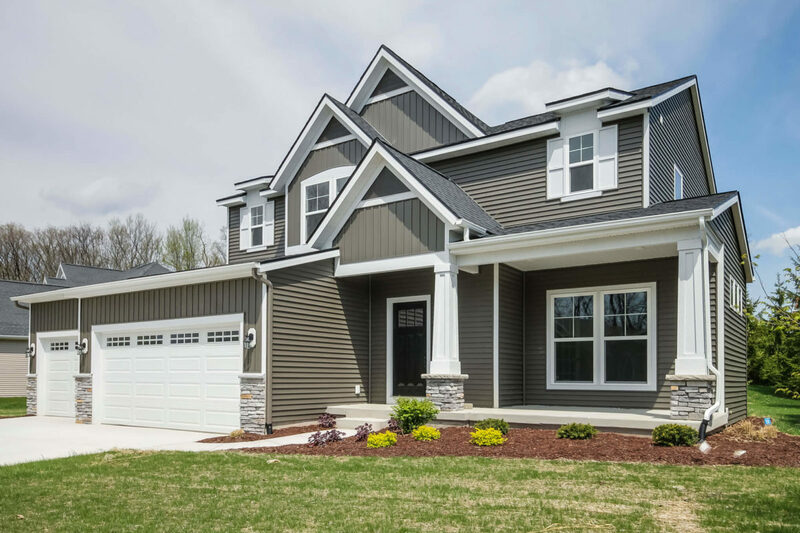 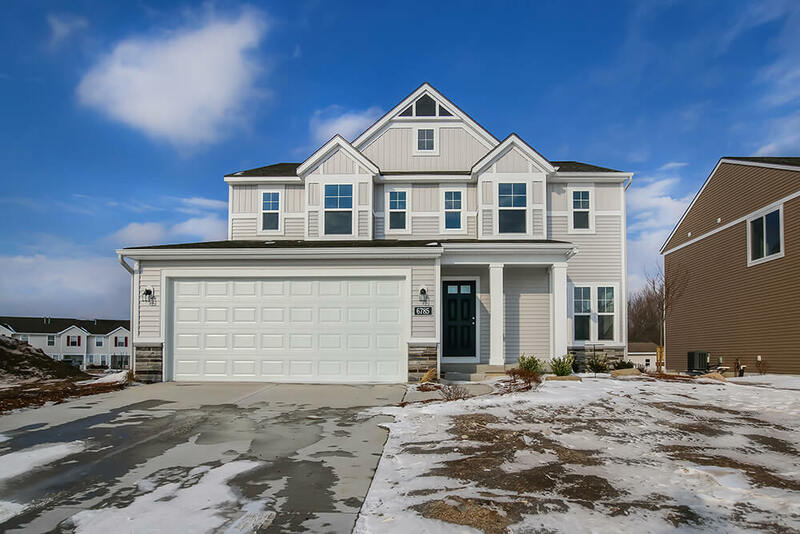 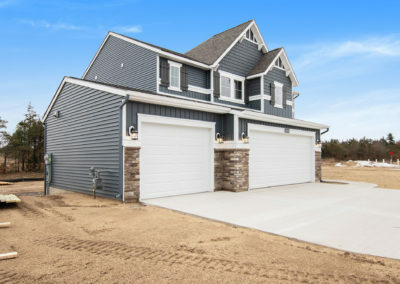 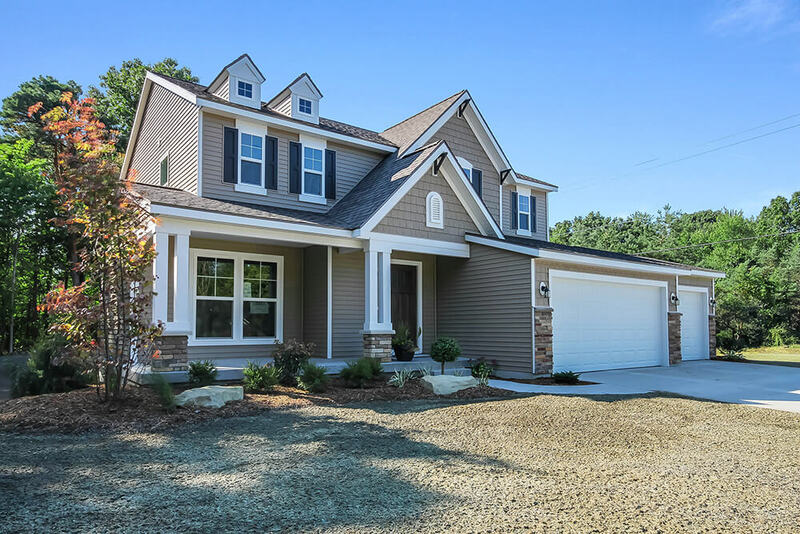 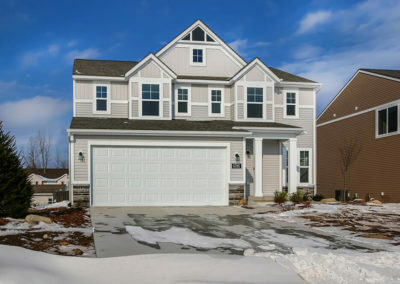 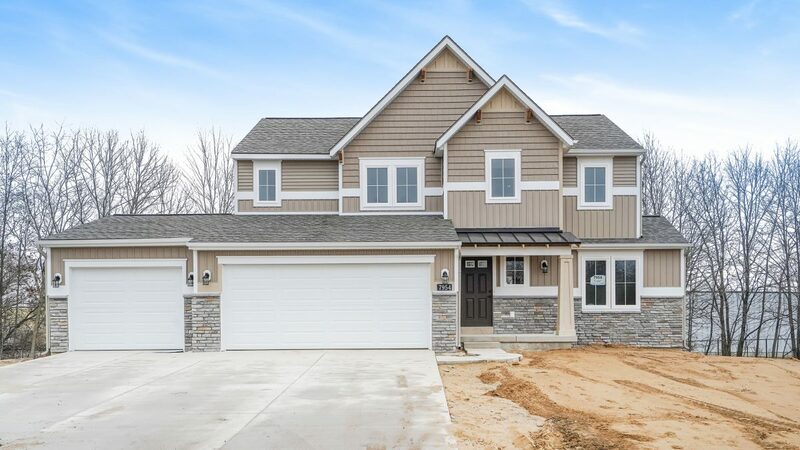 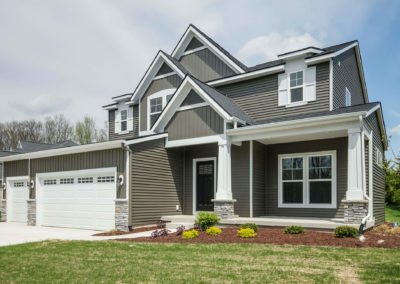 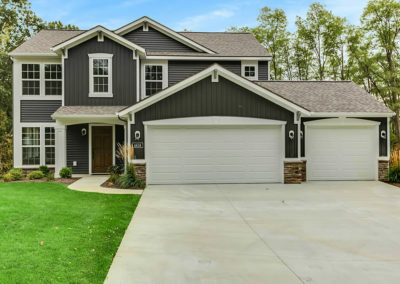 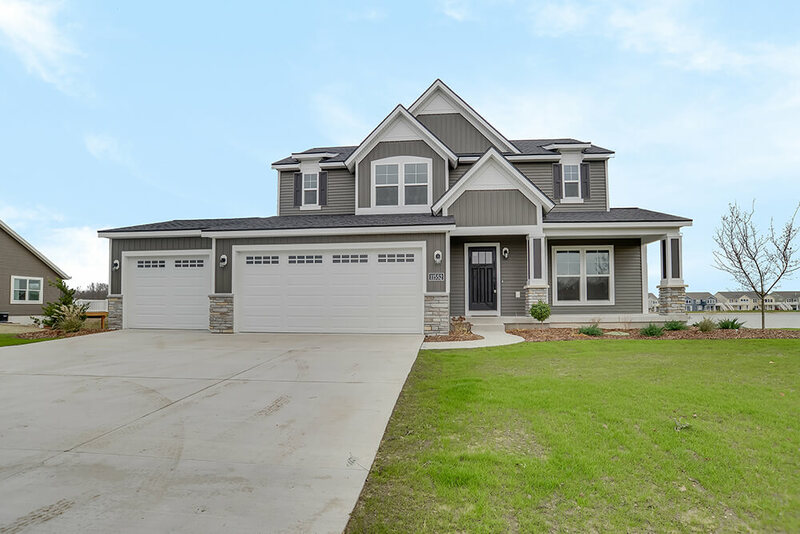 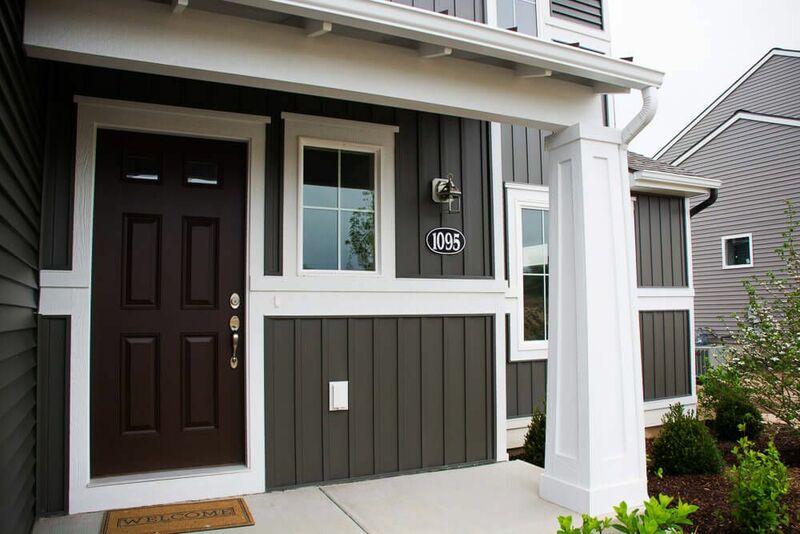 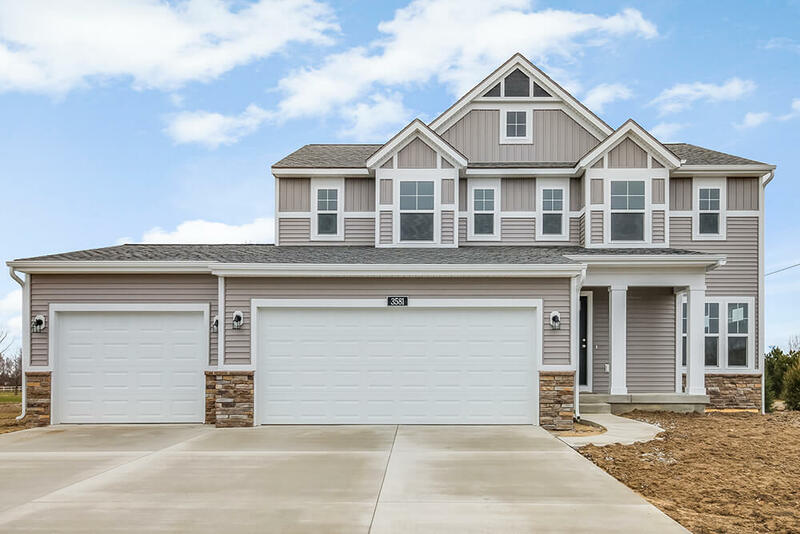 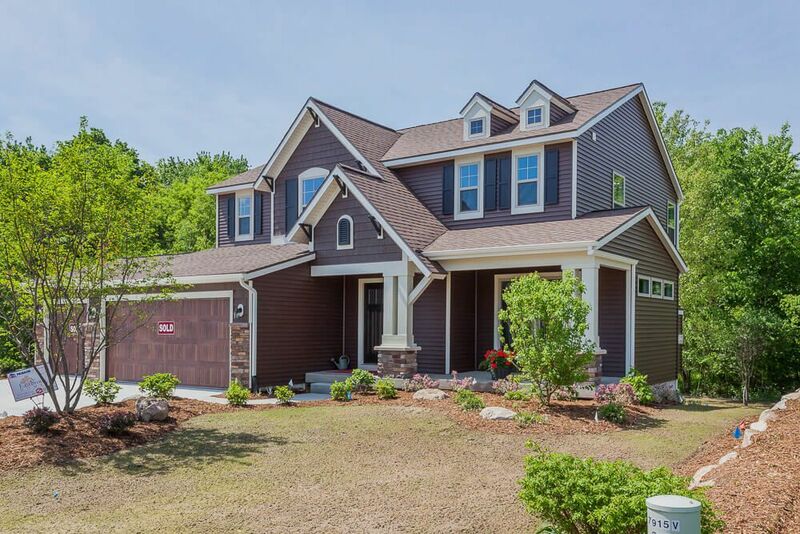 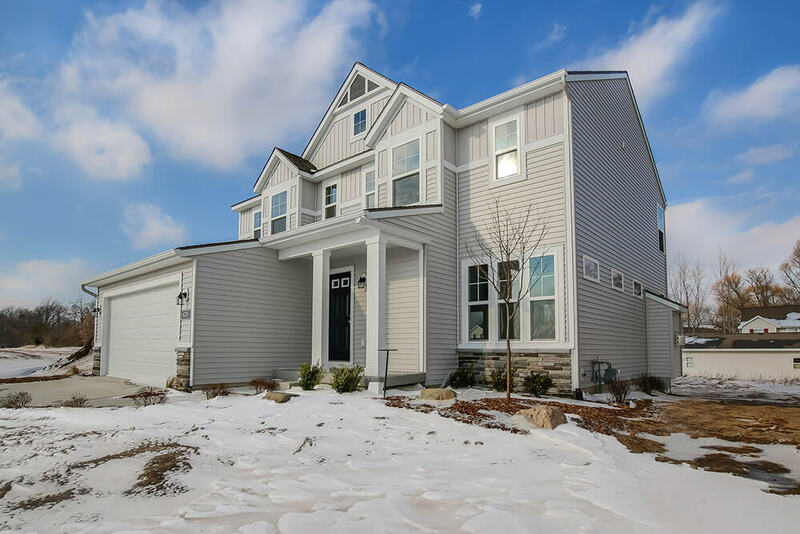 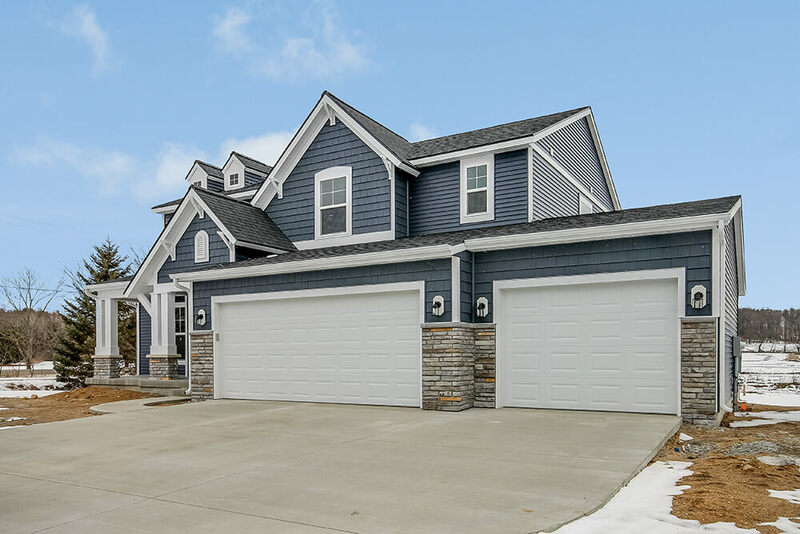 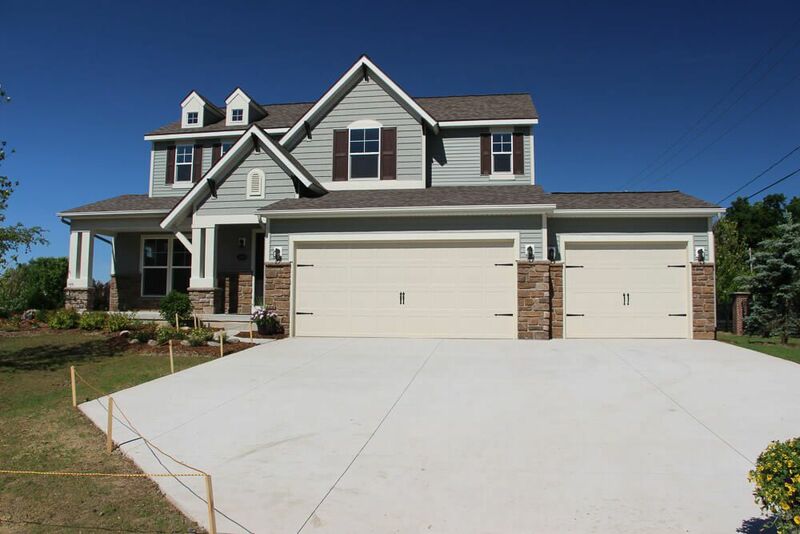 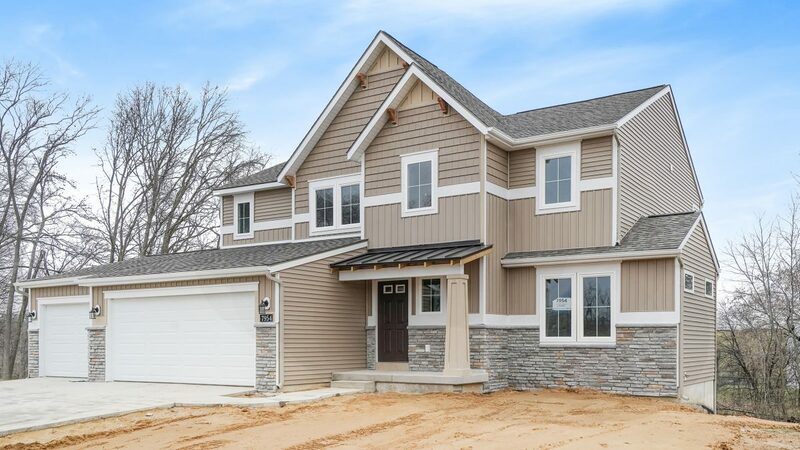 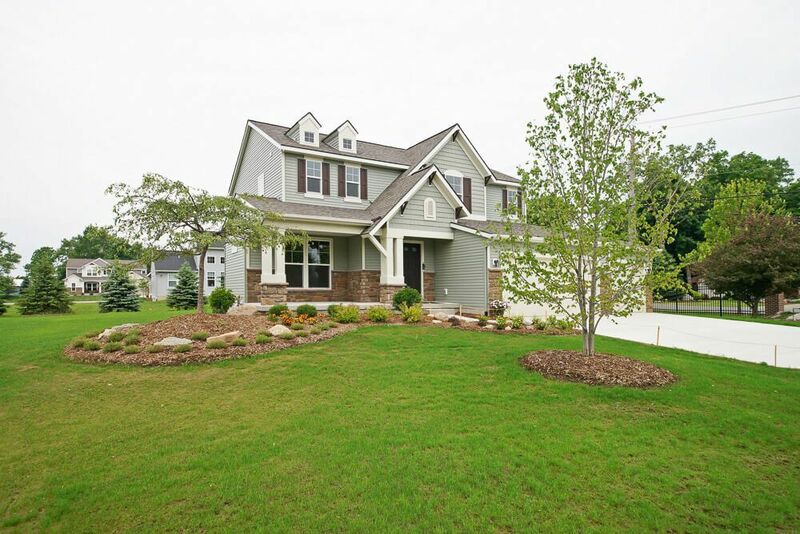 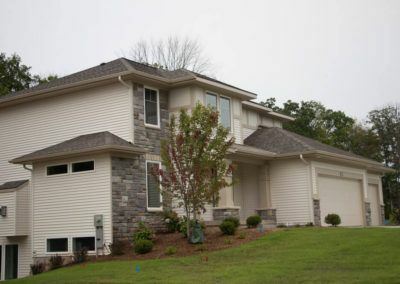 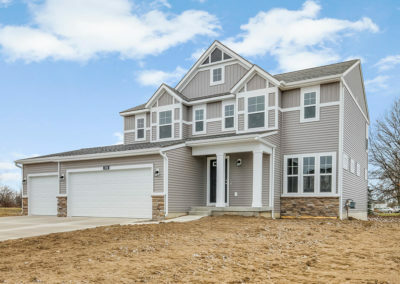 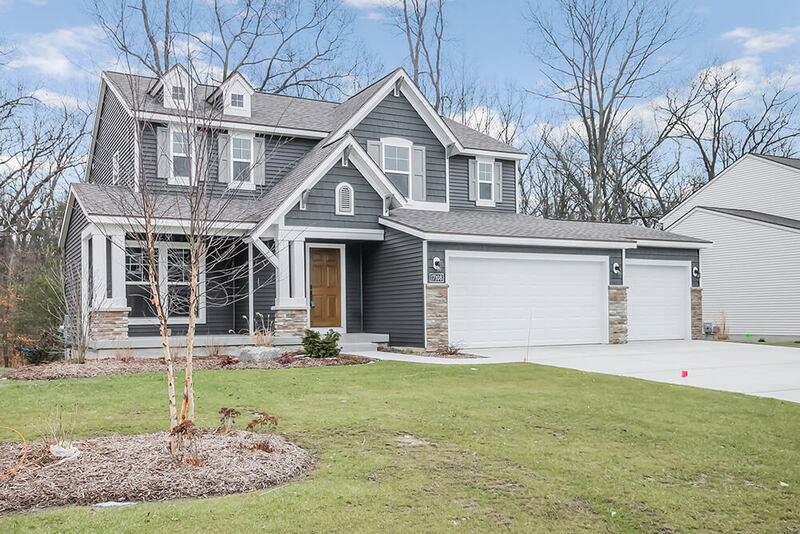 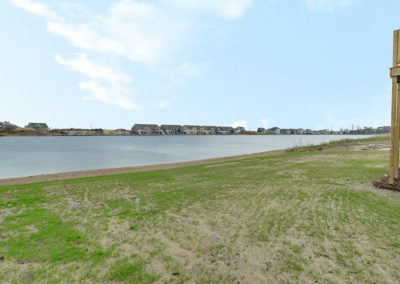 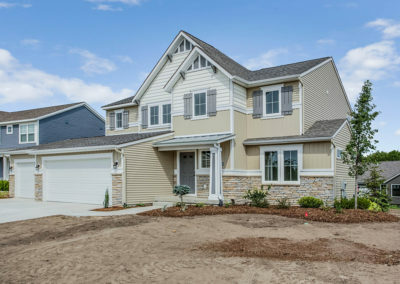 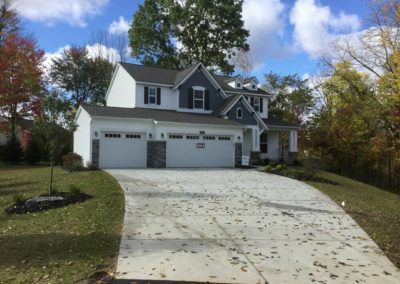 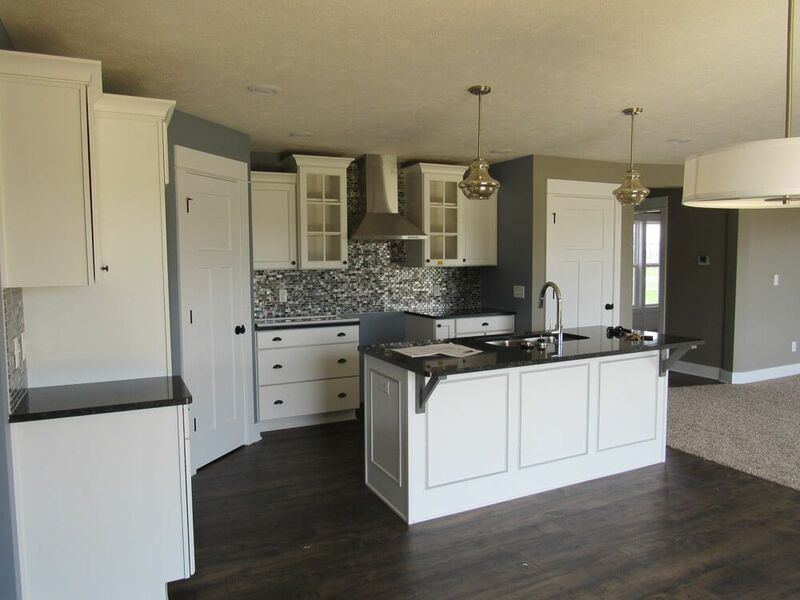 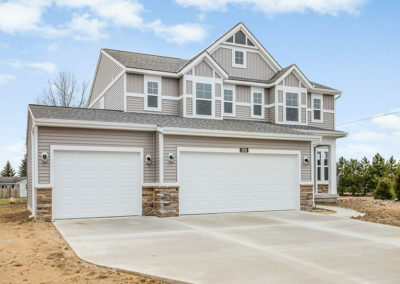 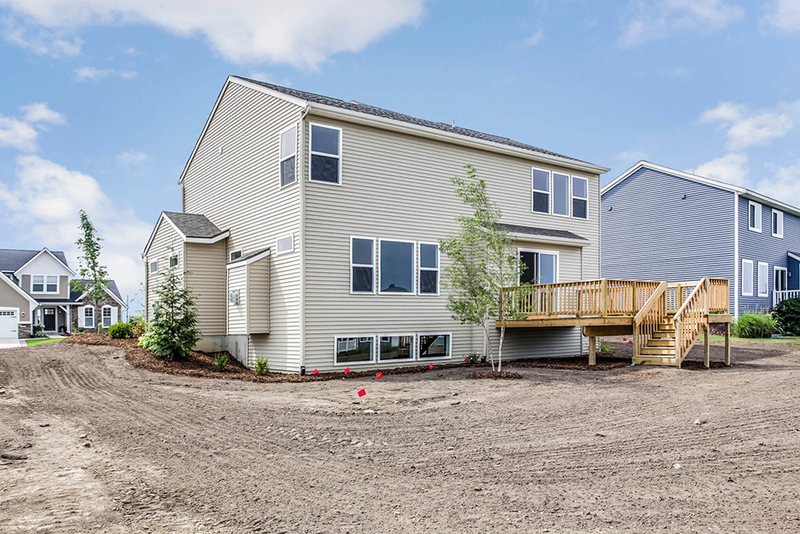 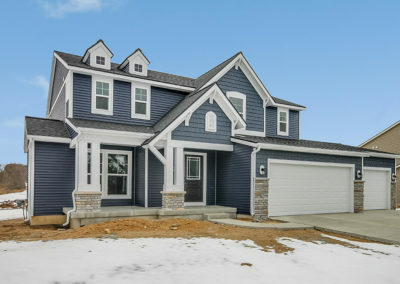 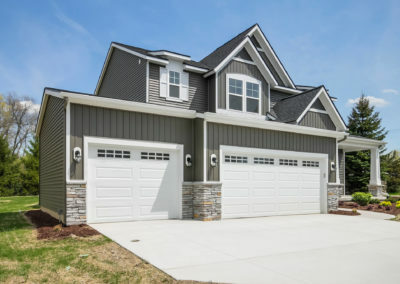 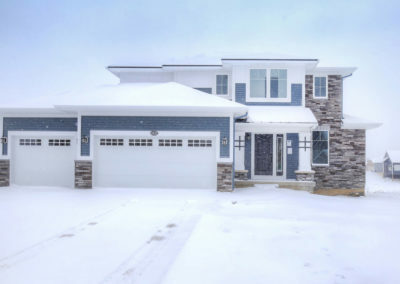 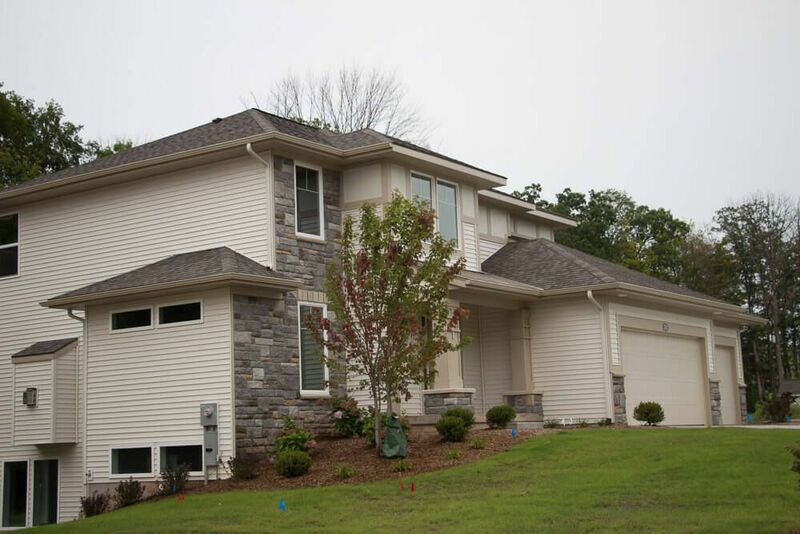 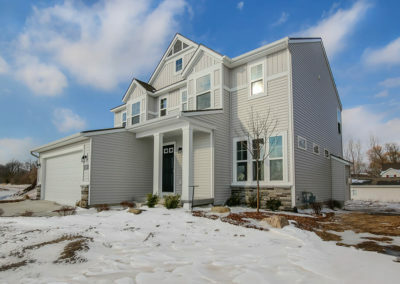 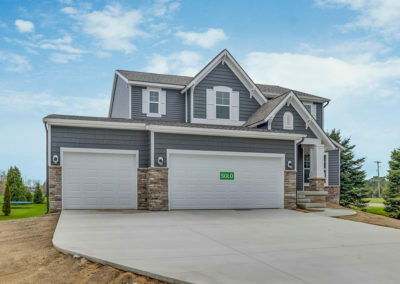 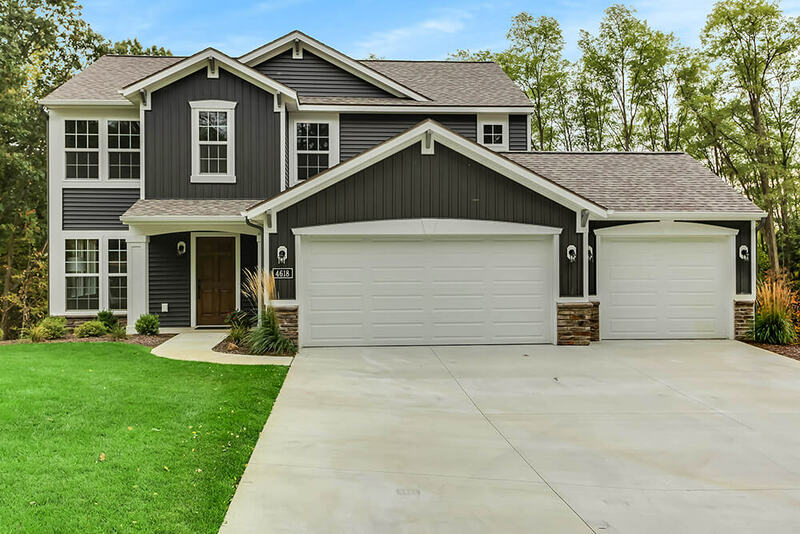 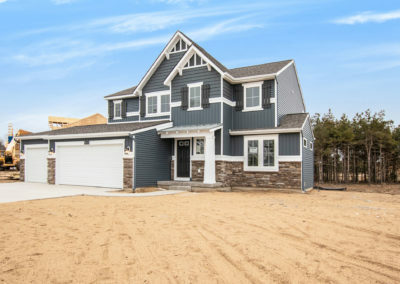 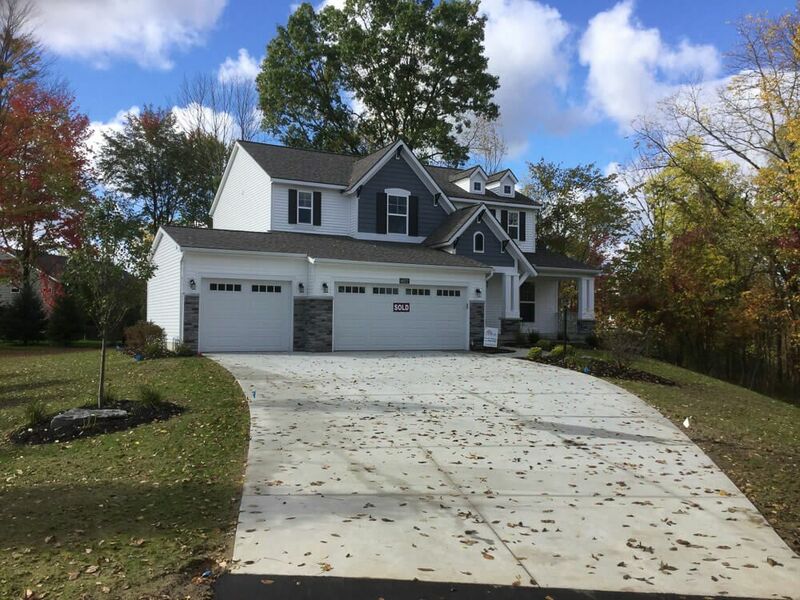 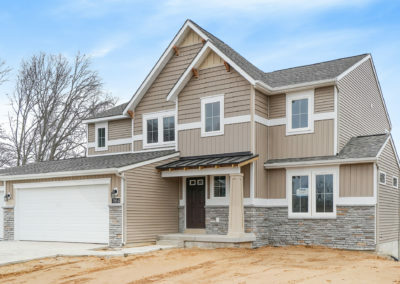 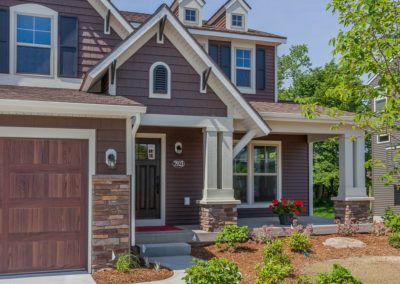 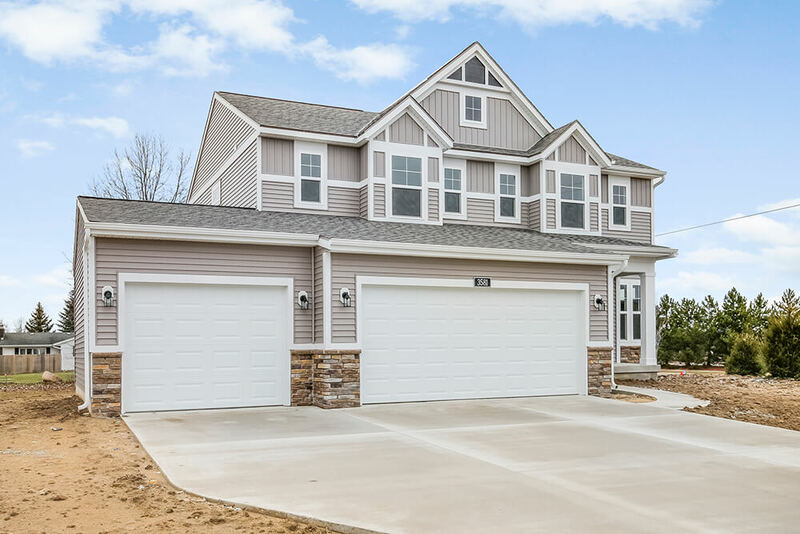 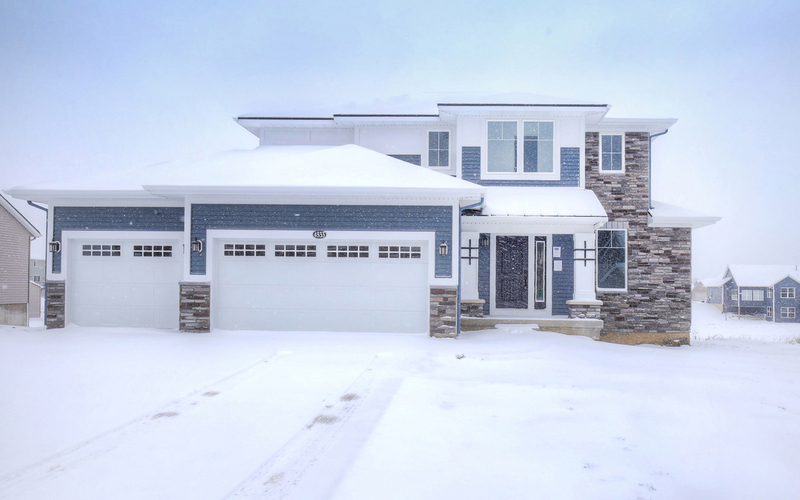 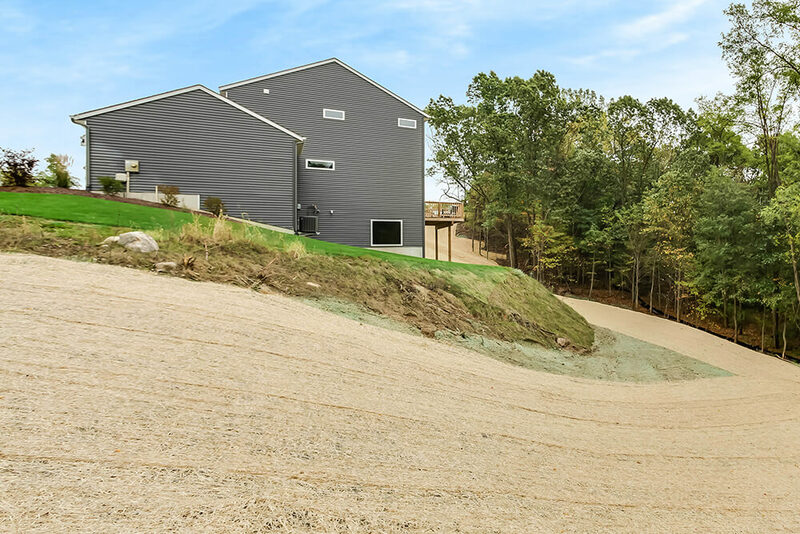 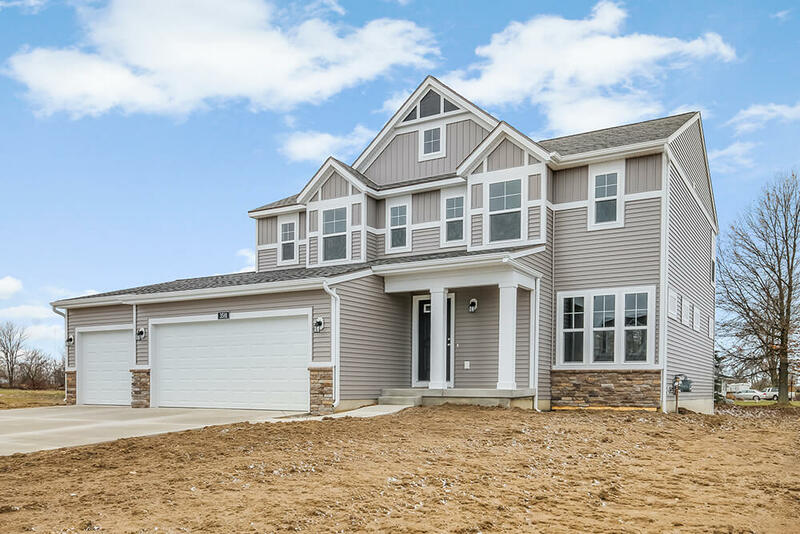 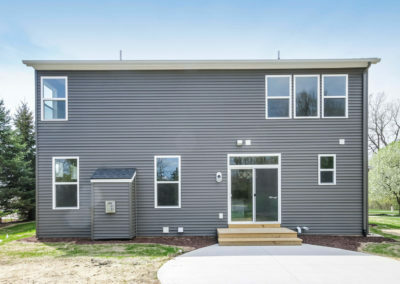 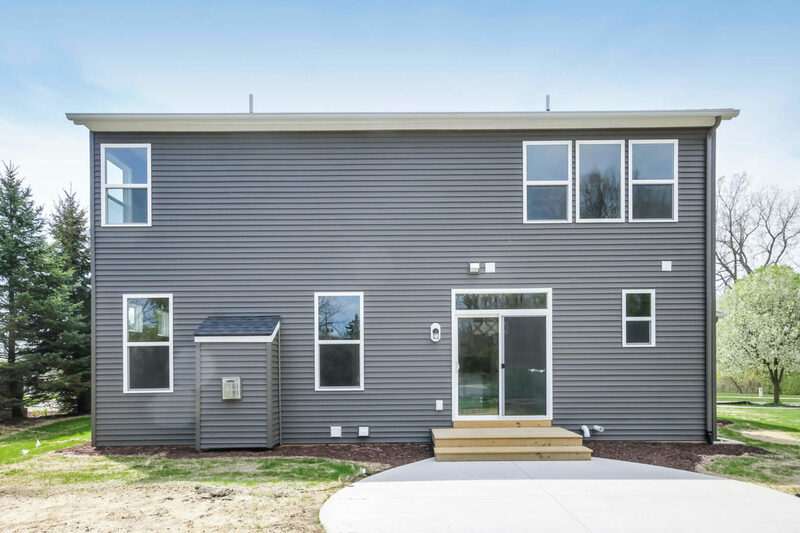 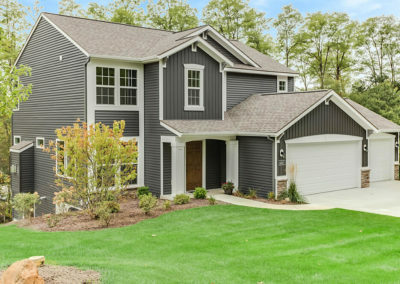 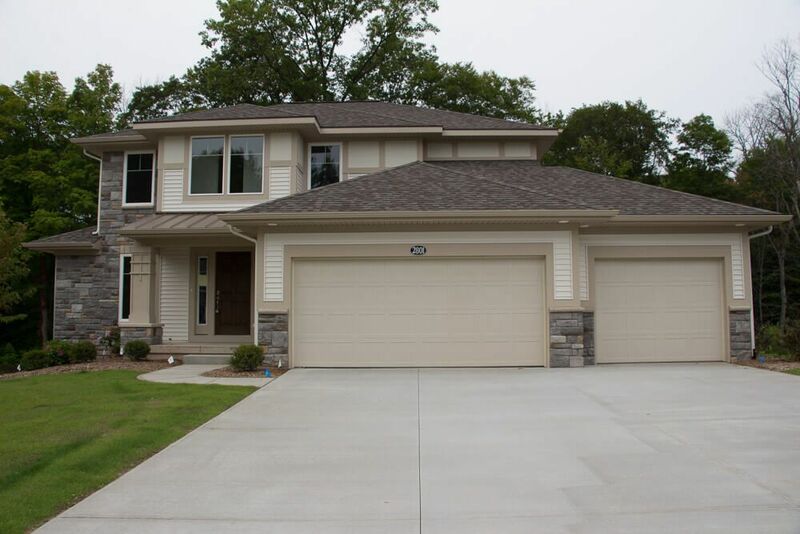 The Stockton is an appealing, contemporary two story design, and one of Eastbrook’s most popular home plans. 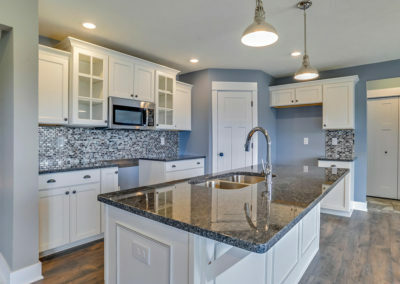 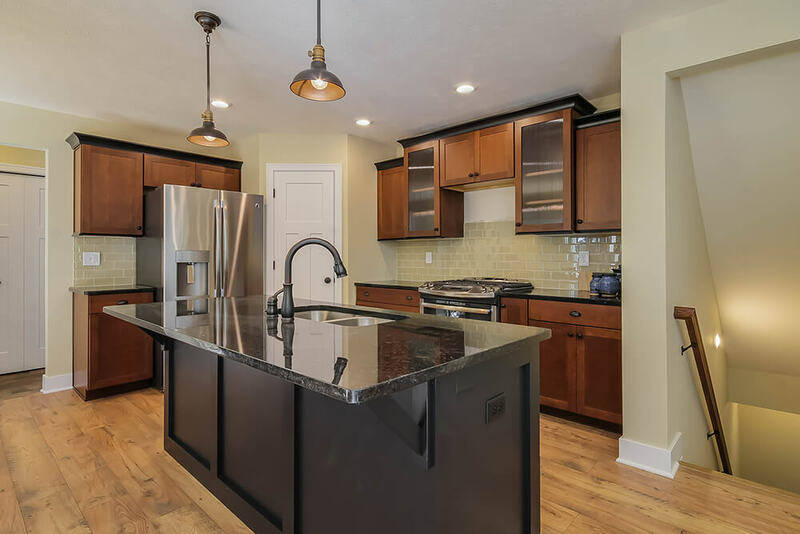 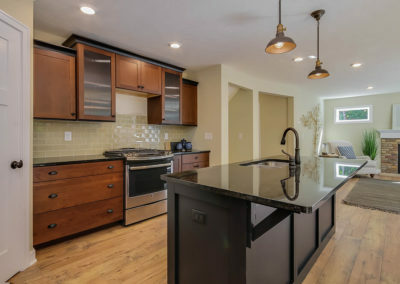 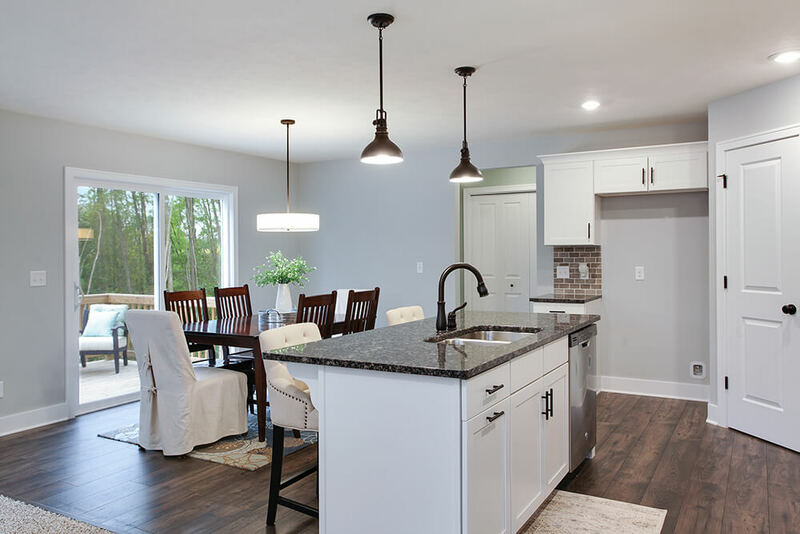 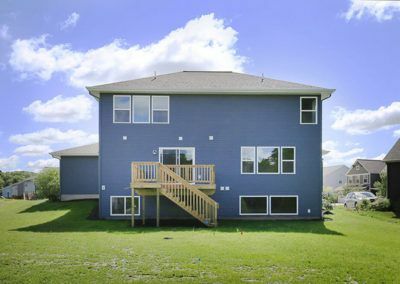 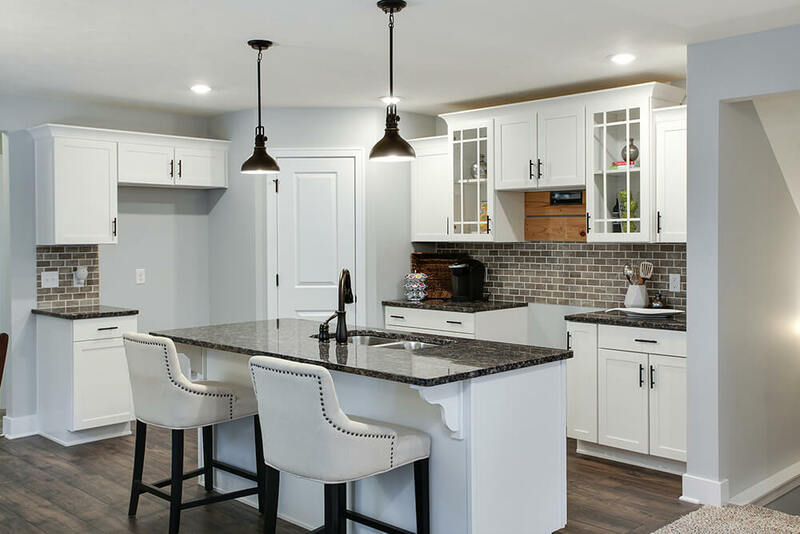 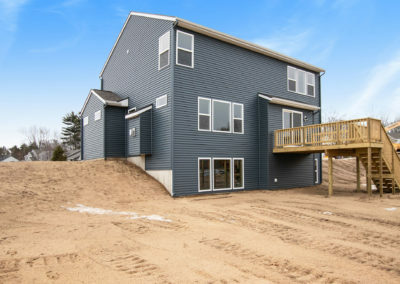 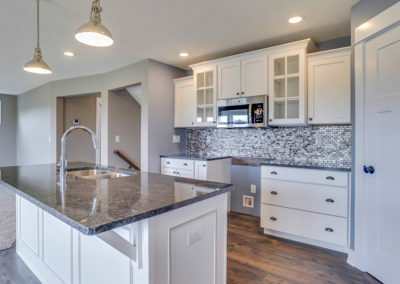 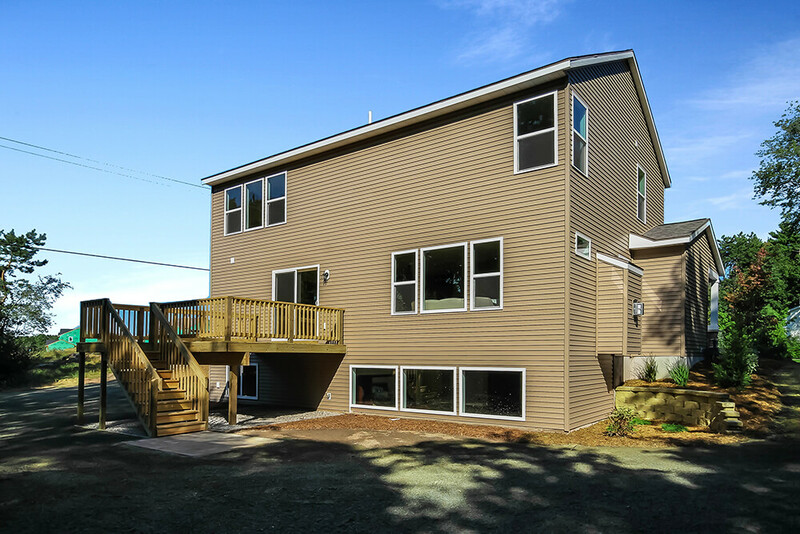 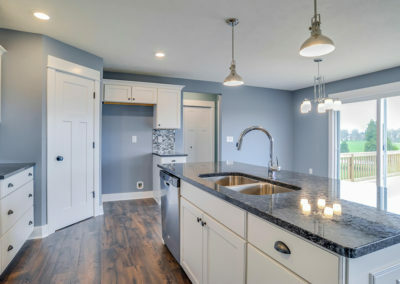 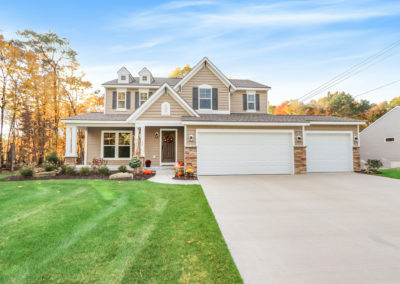 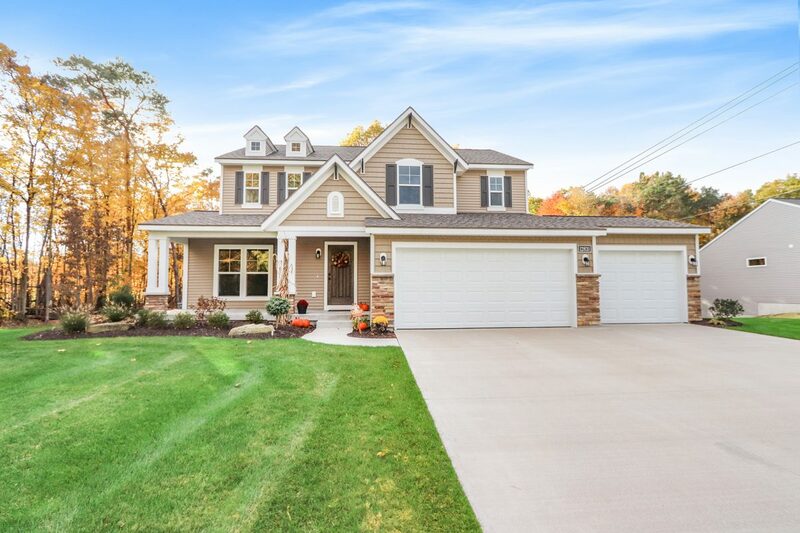 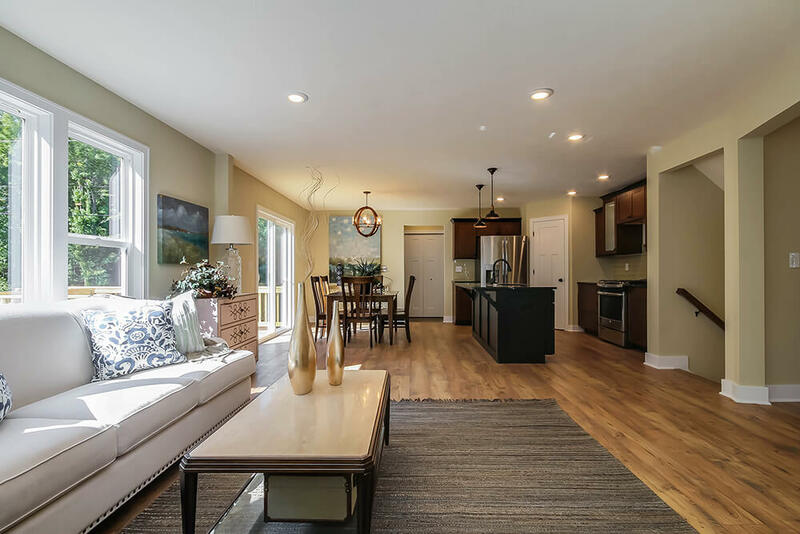 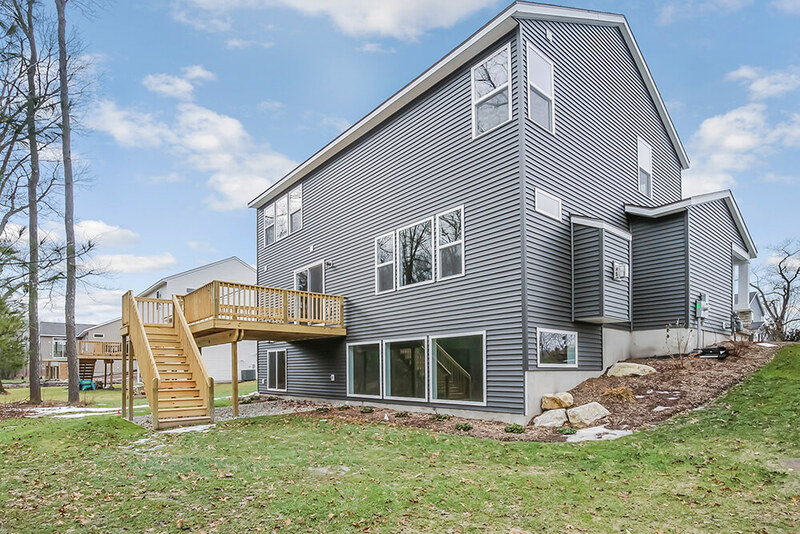 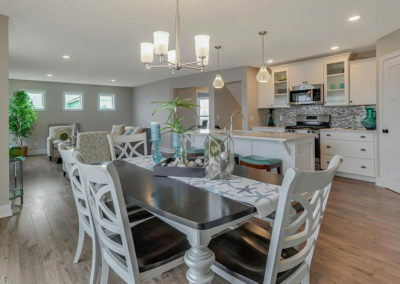 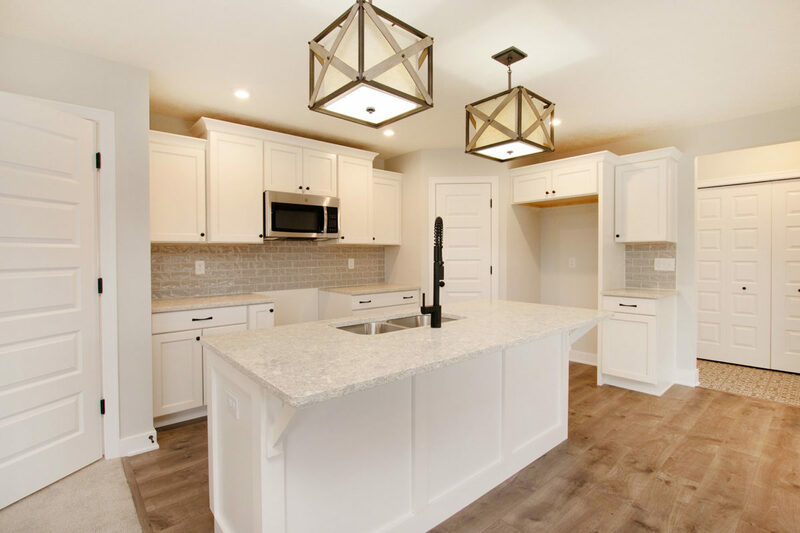 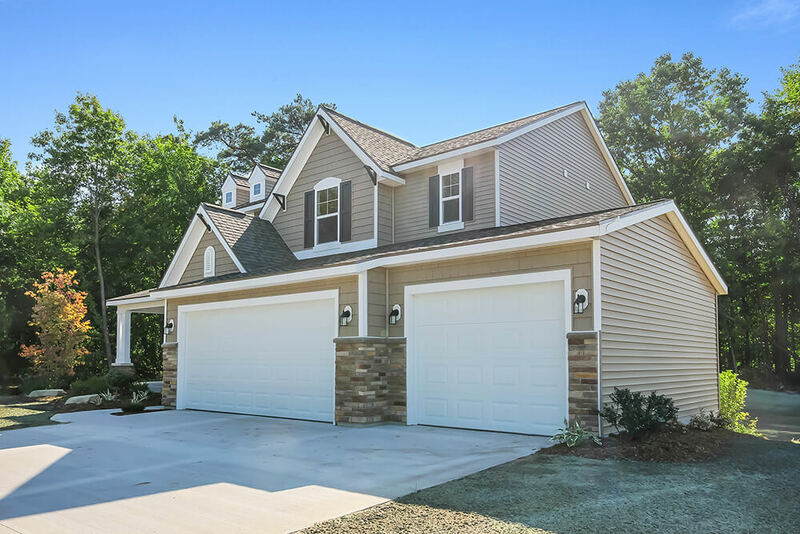 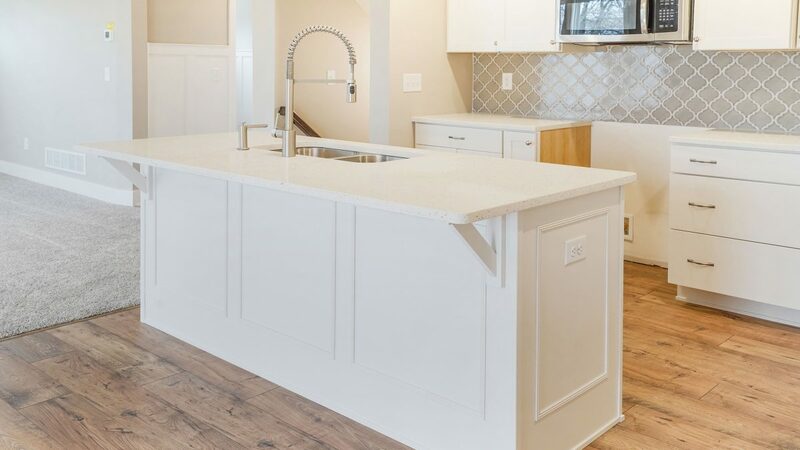 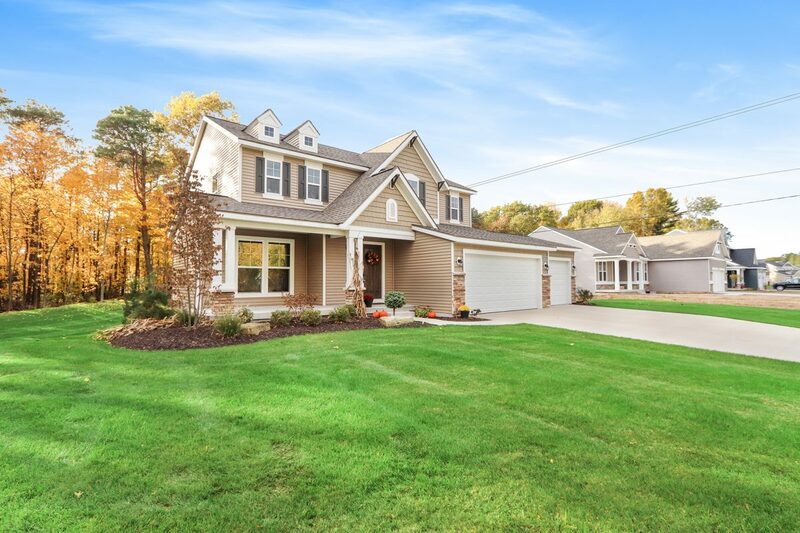 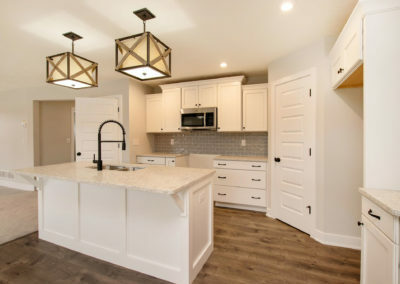 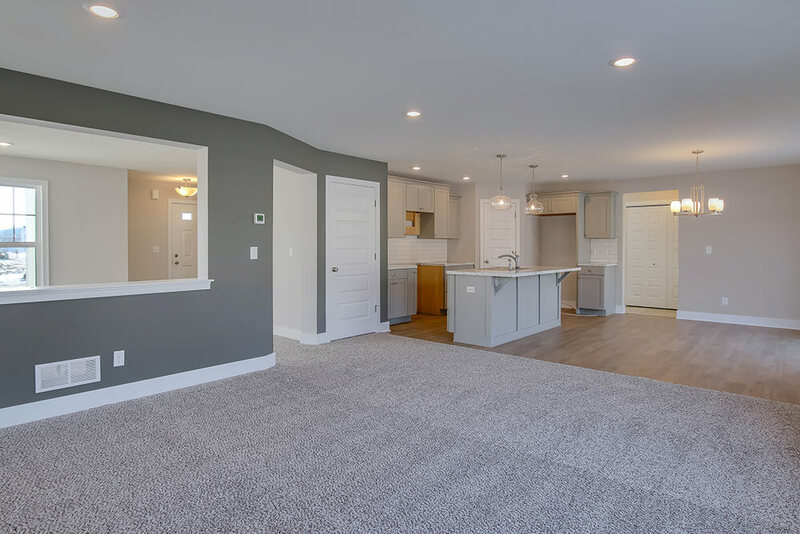 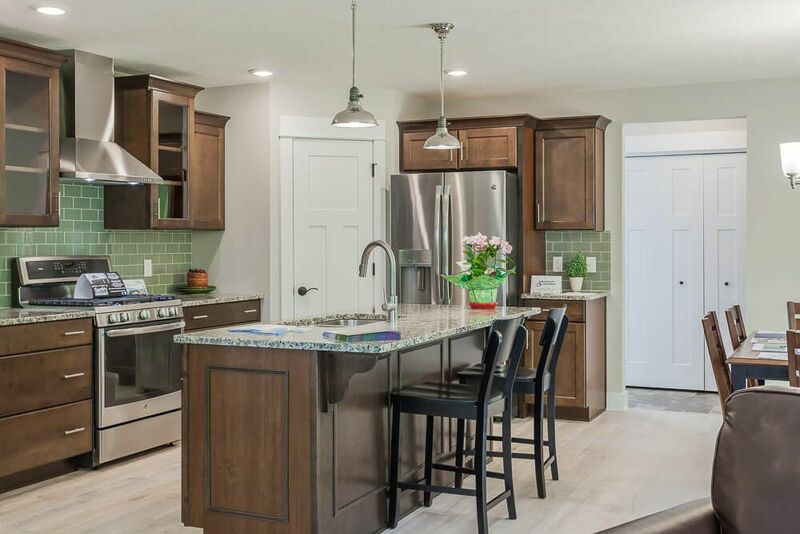 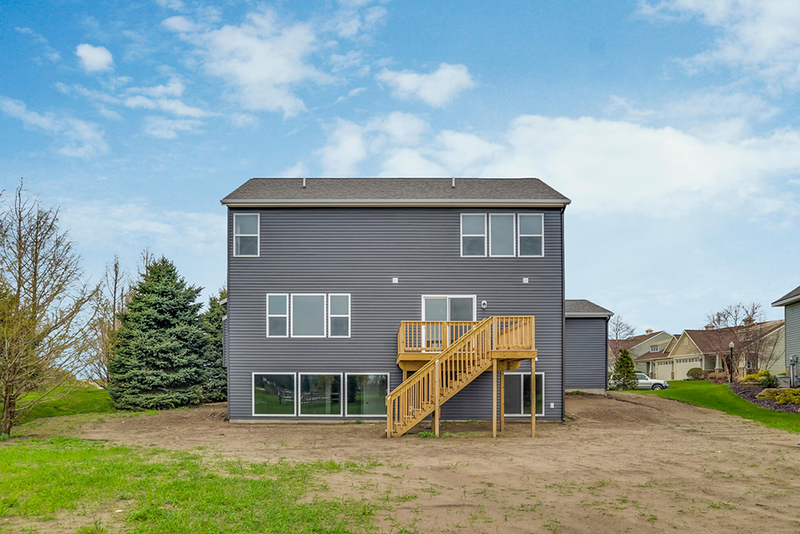 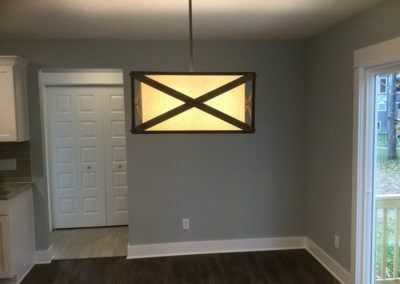 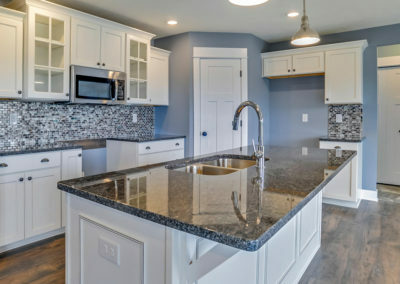 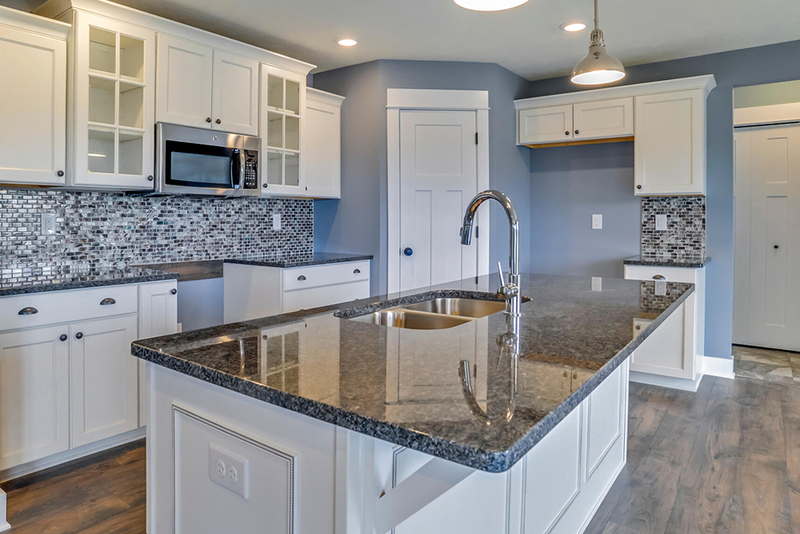 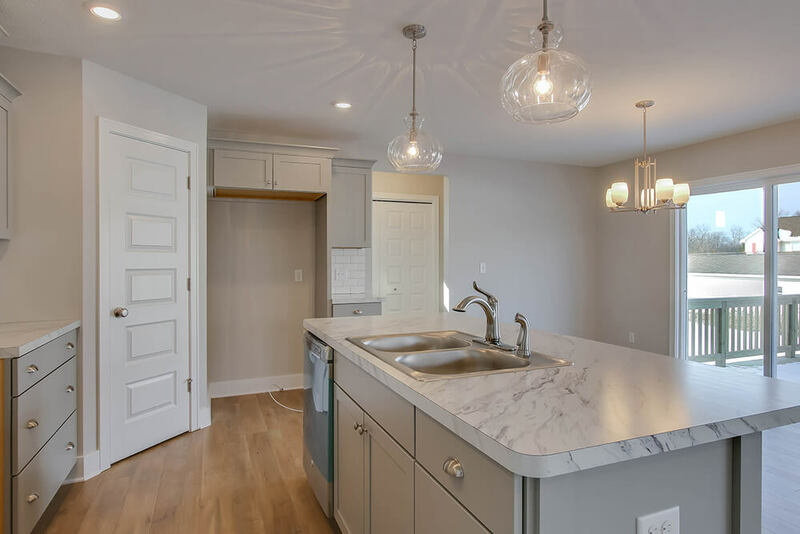 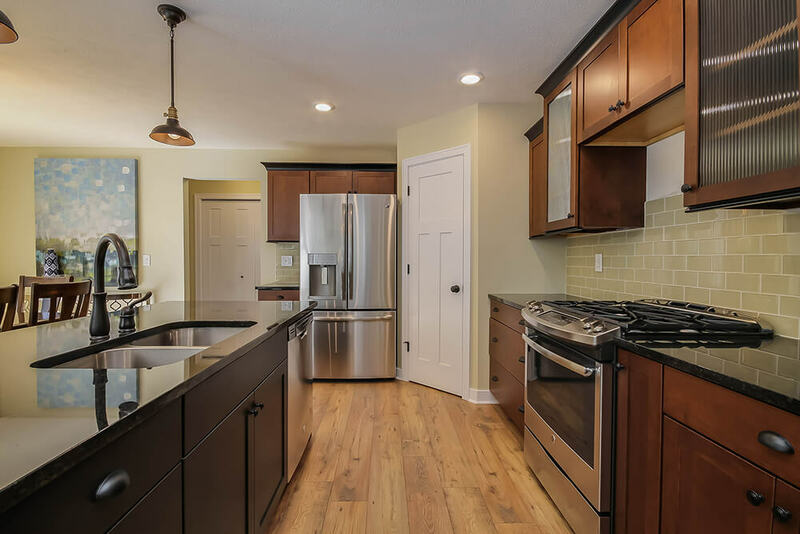 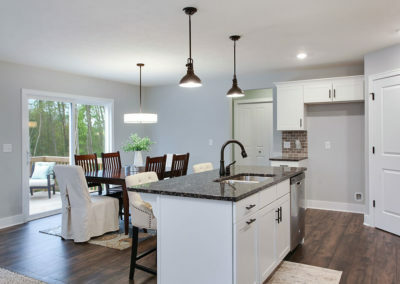 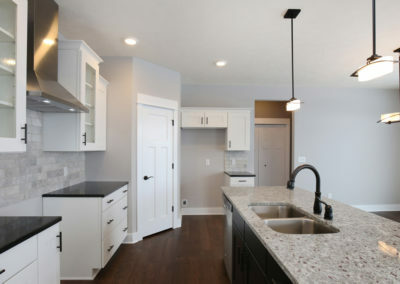 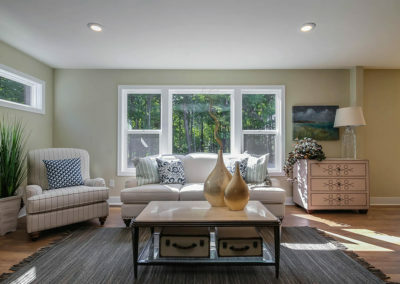 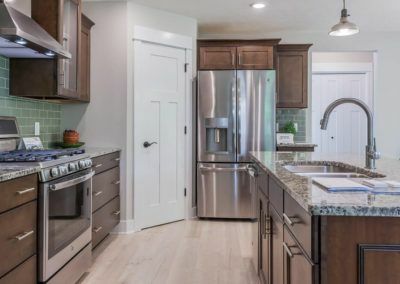 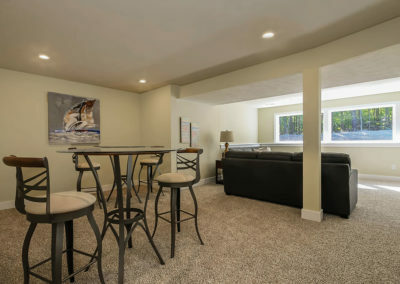 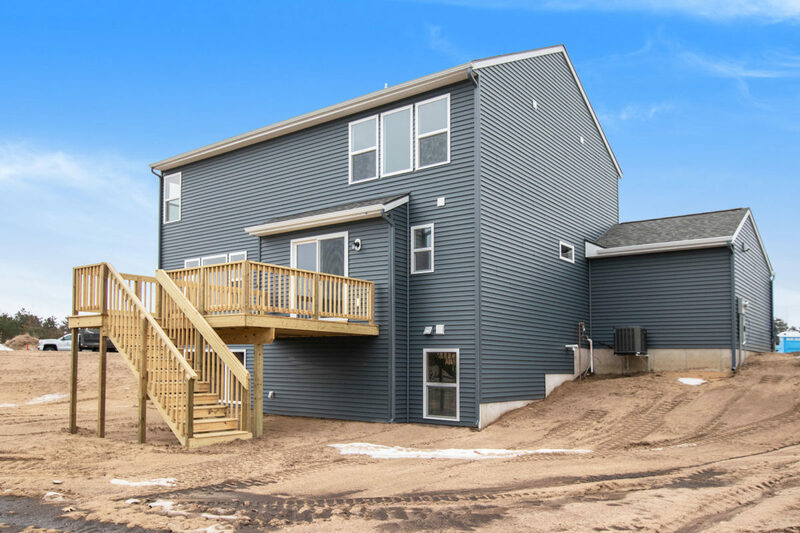 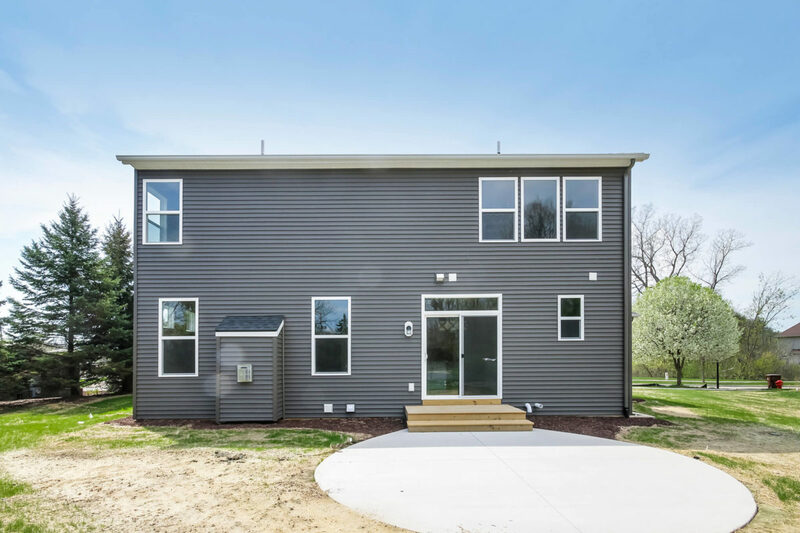 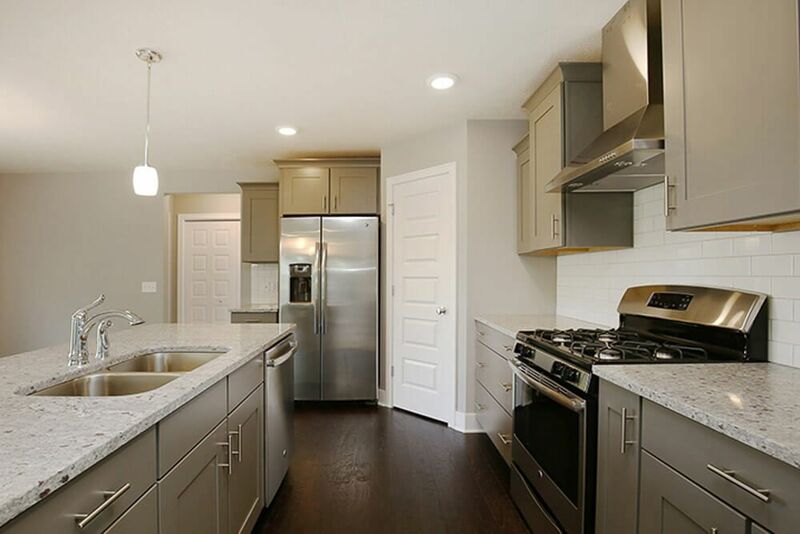 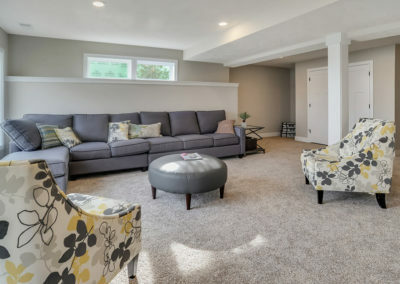 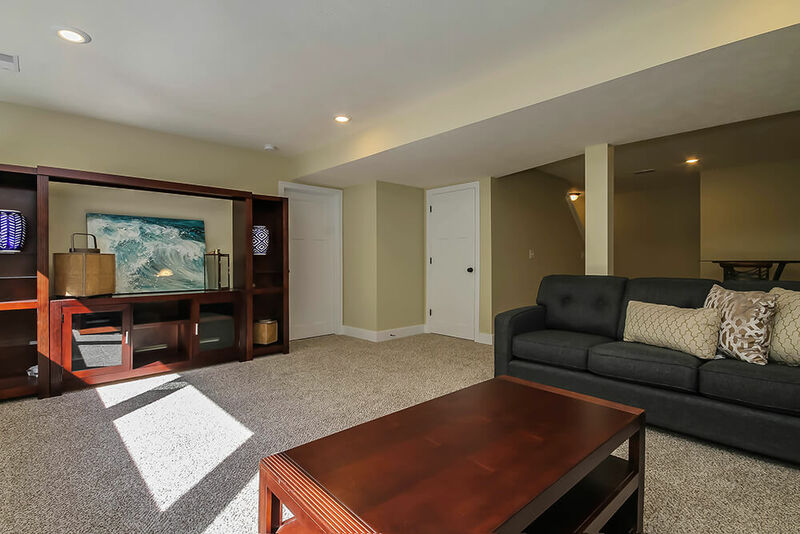 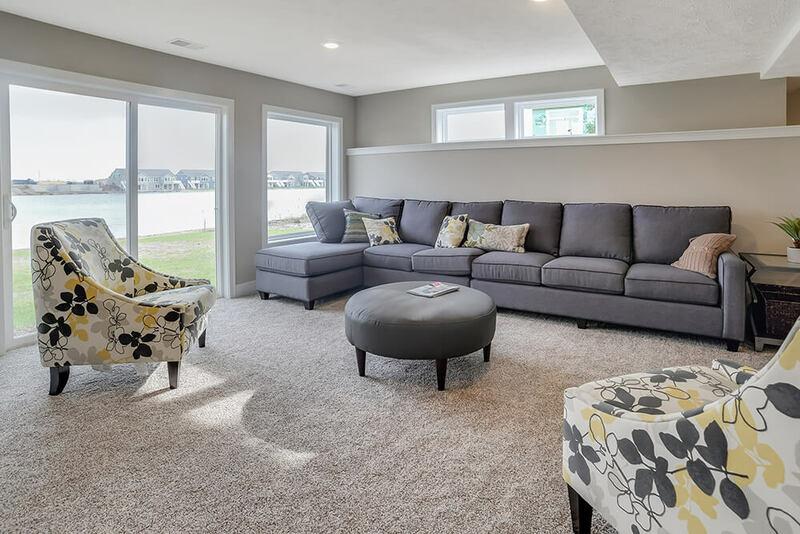 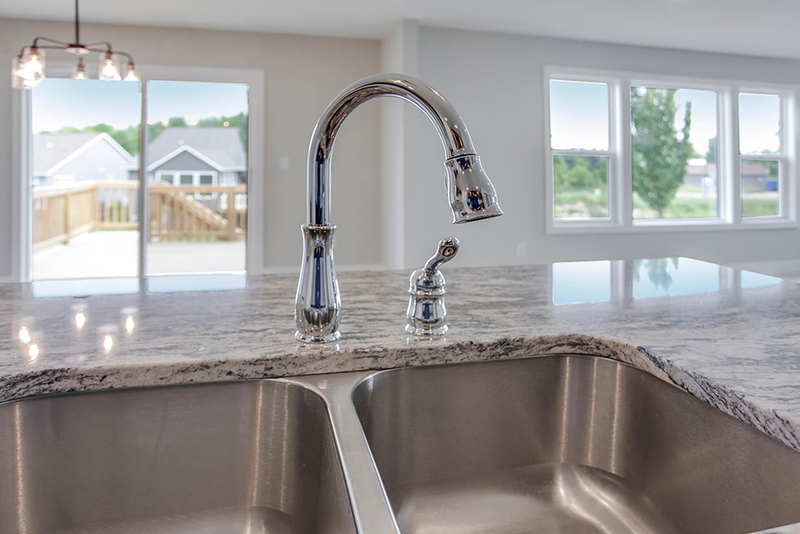 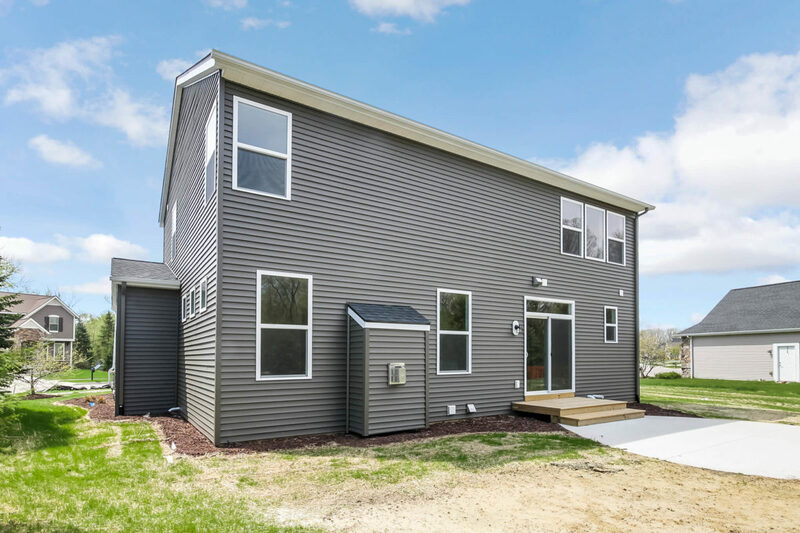 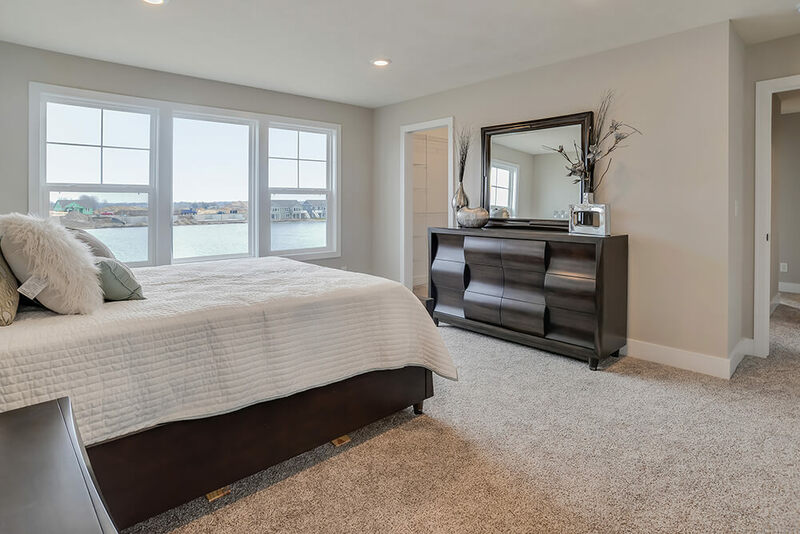 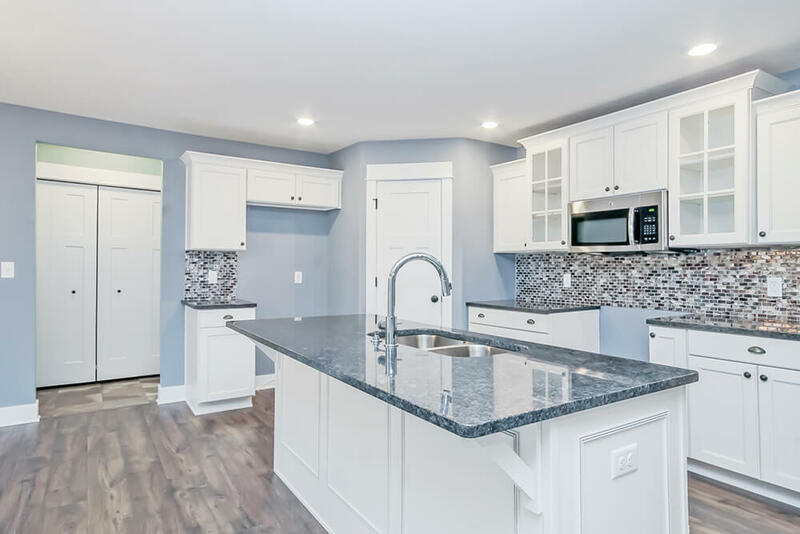 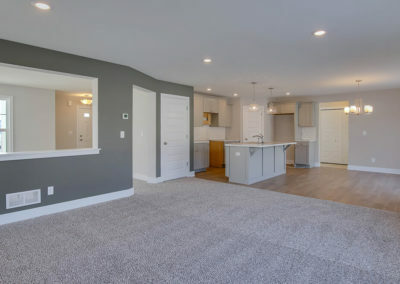 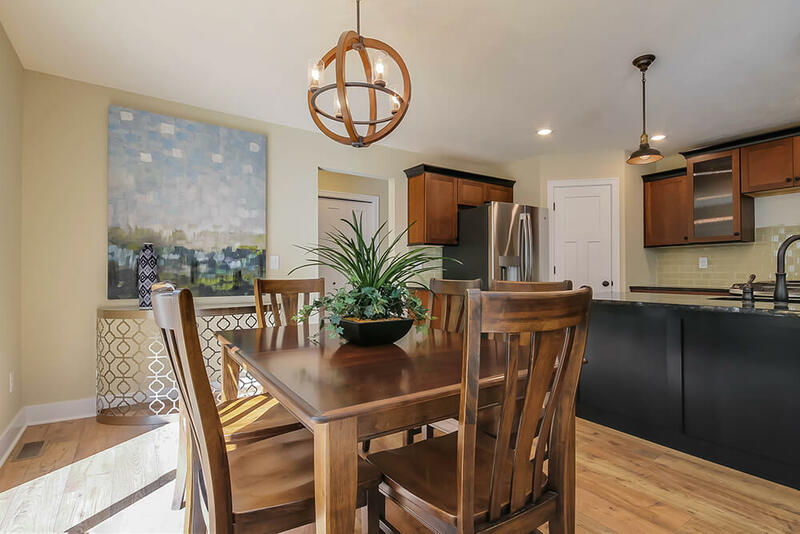 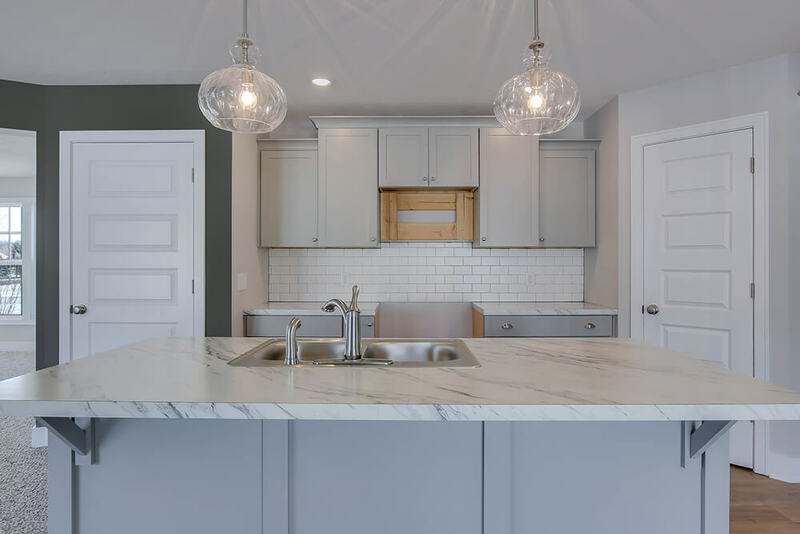 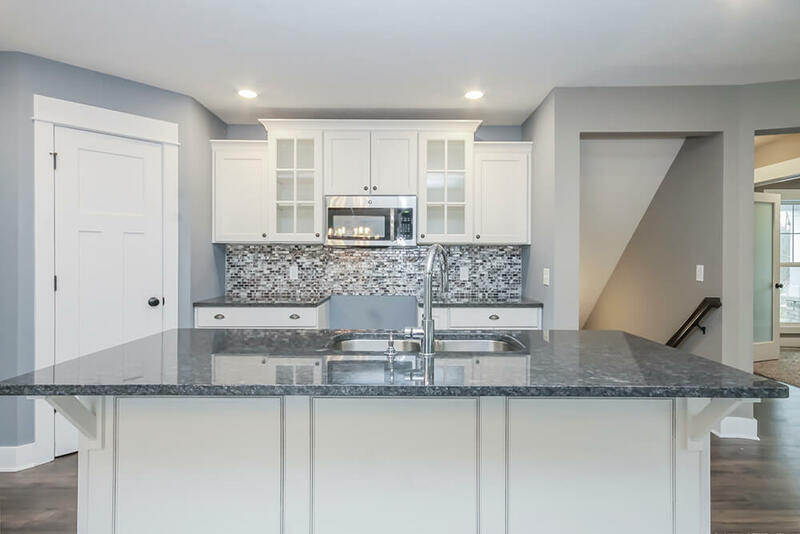 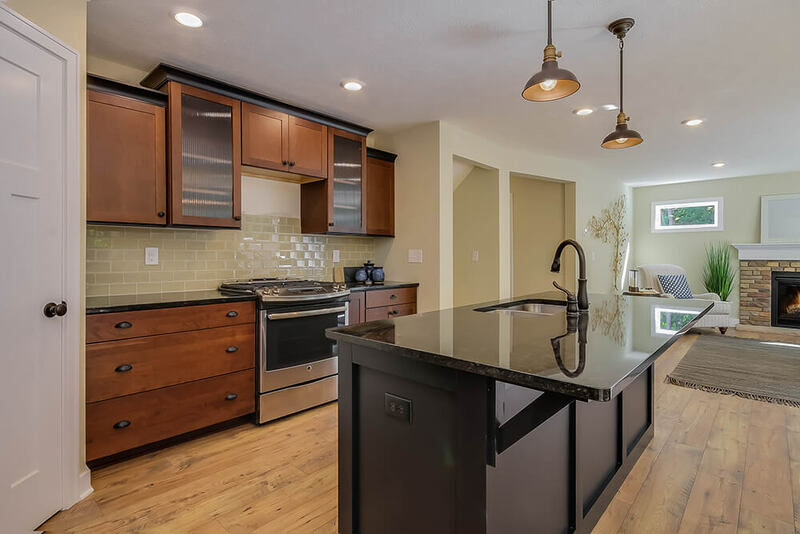 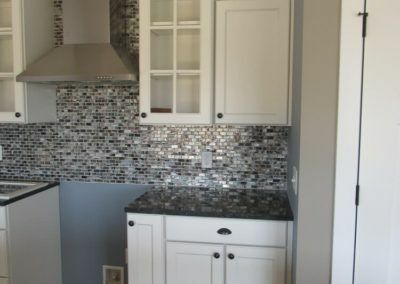 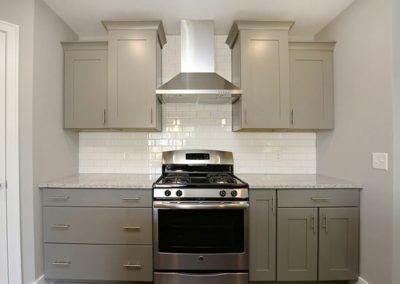 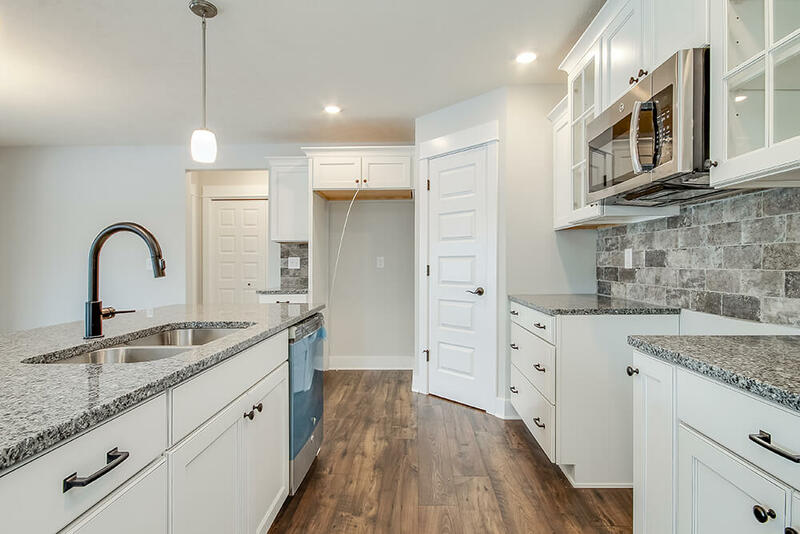 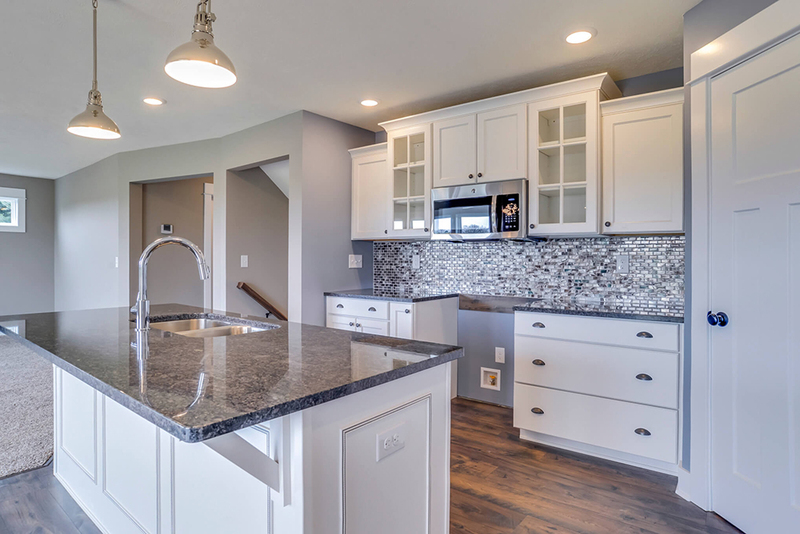 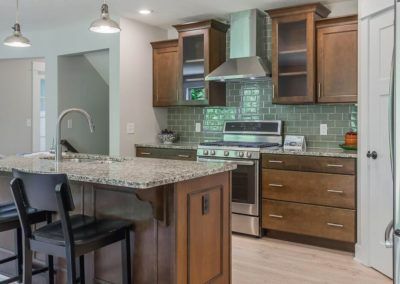 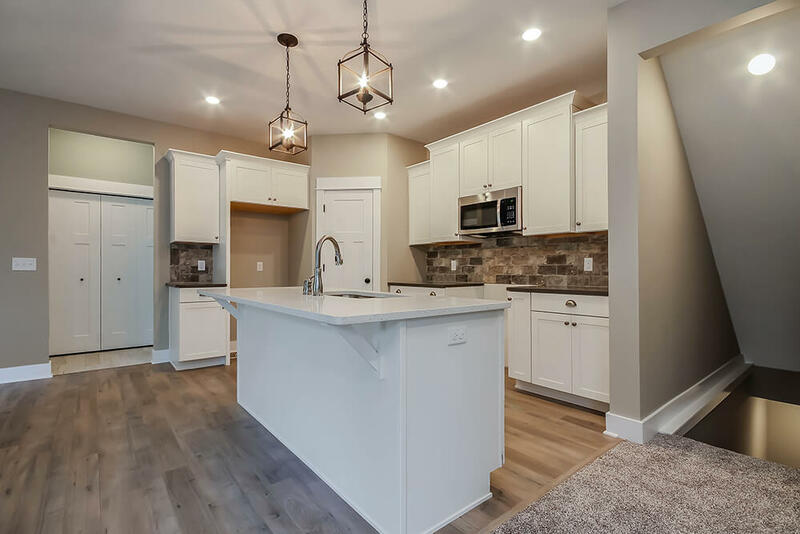 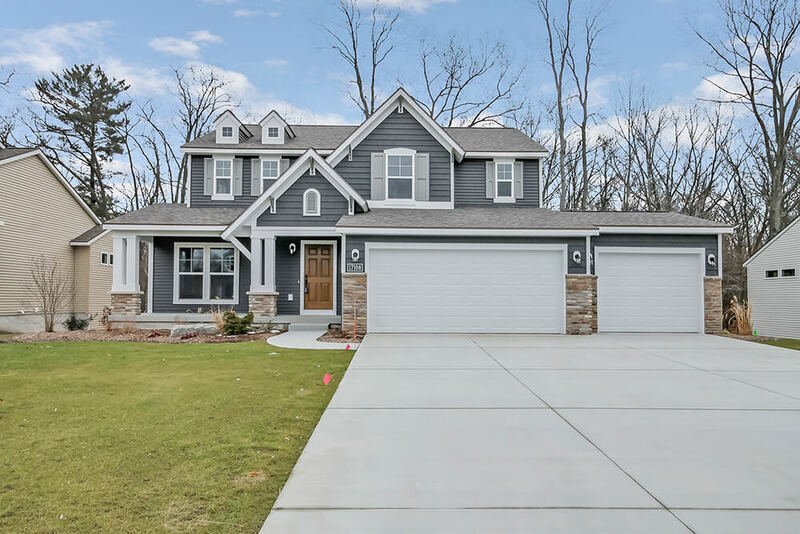 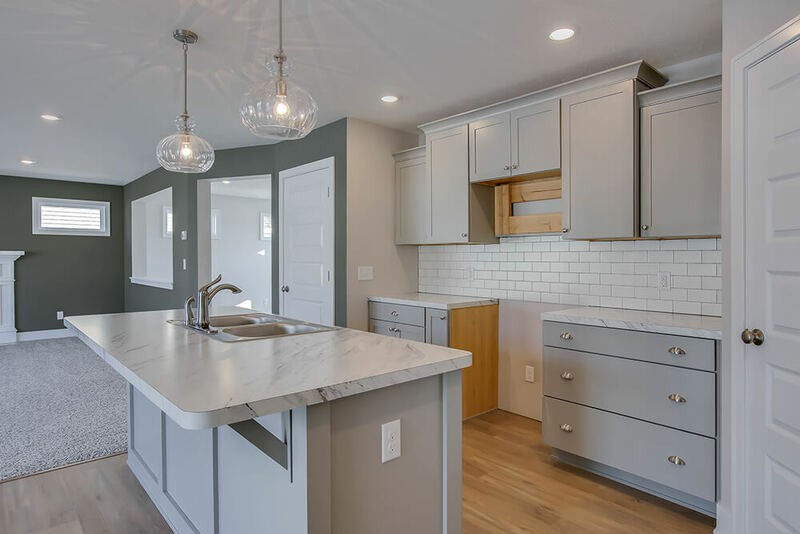 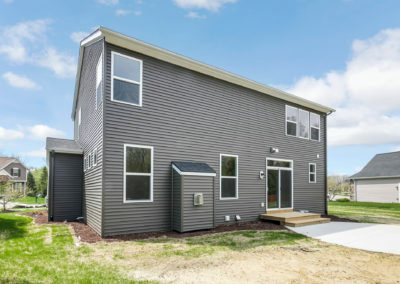 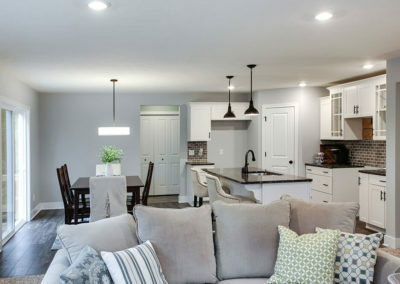 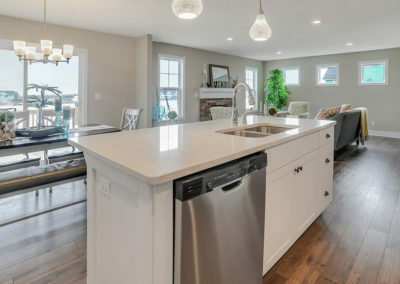 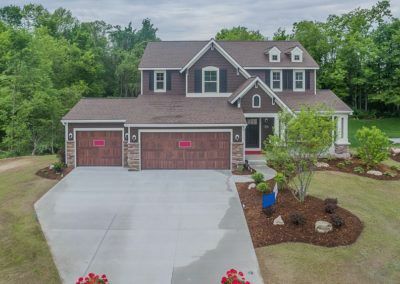 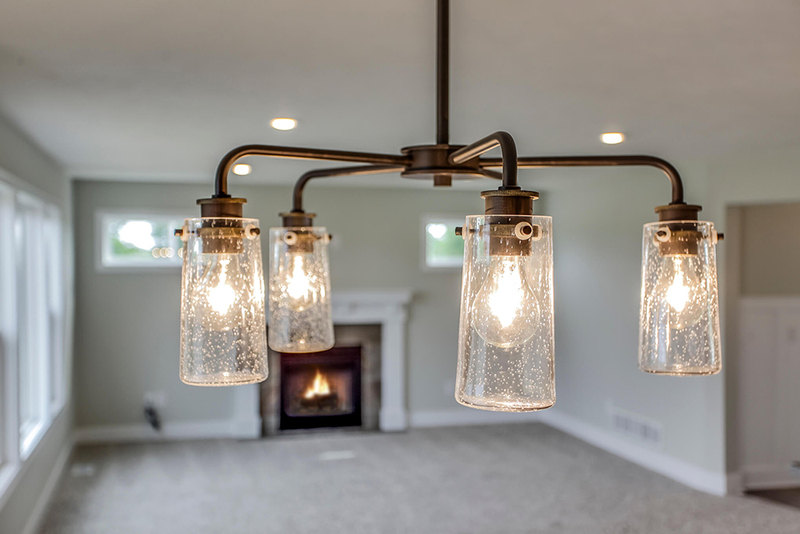 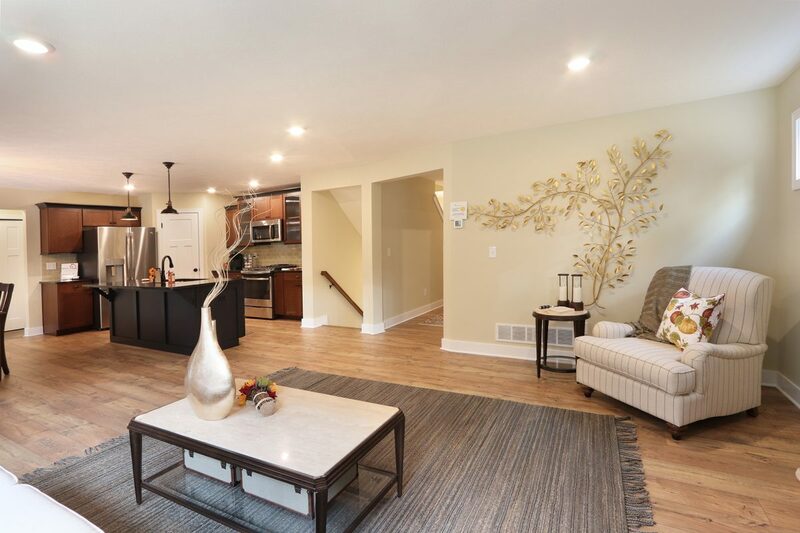 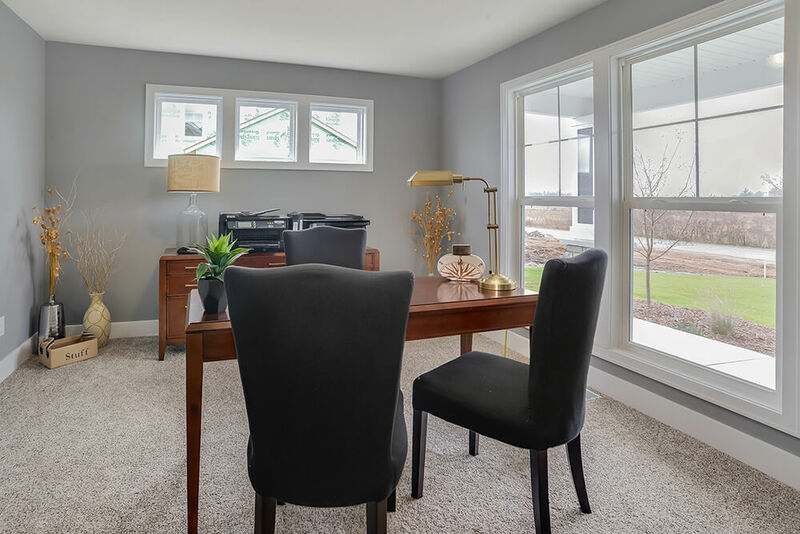 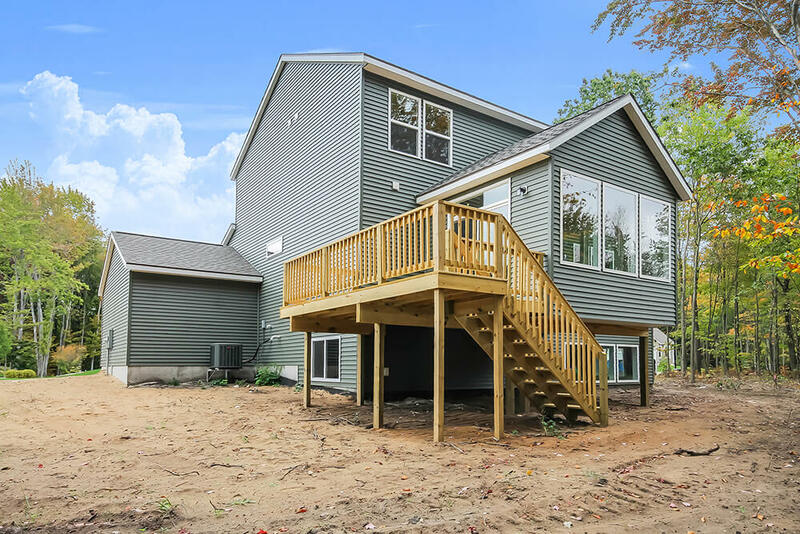 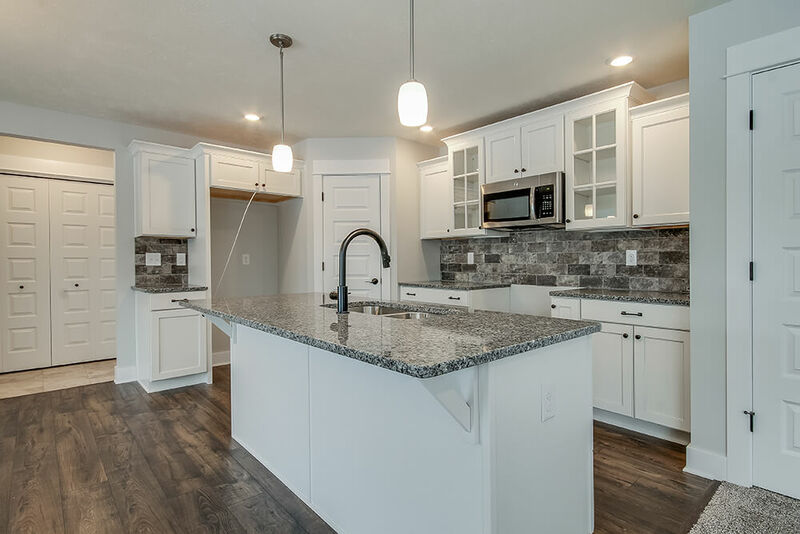 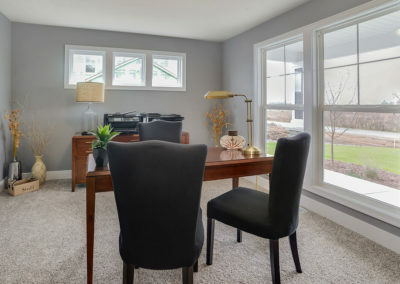 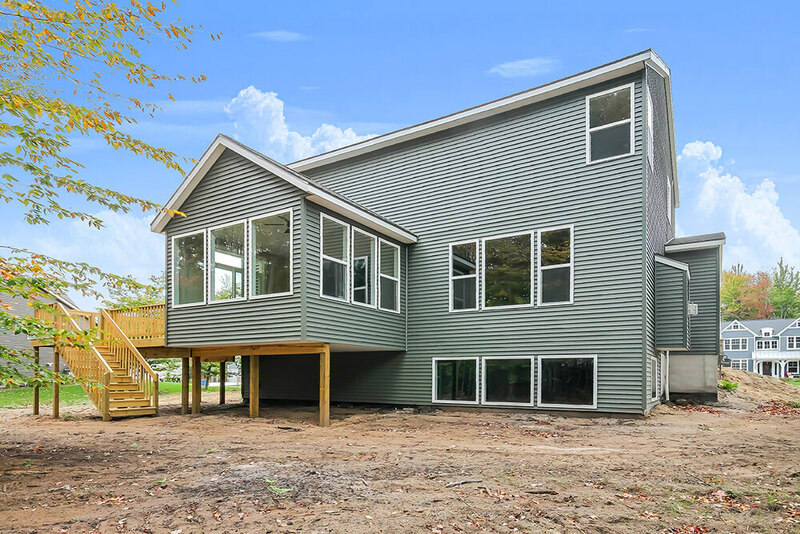 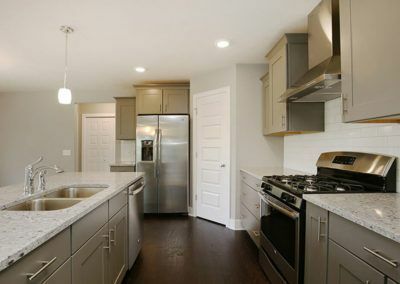 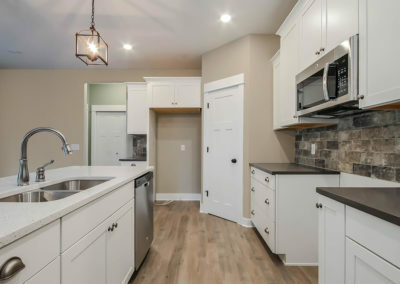 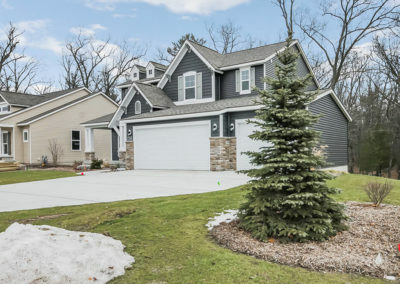 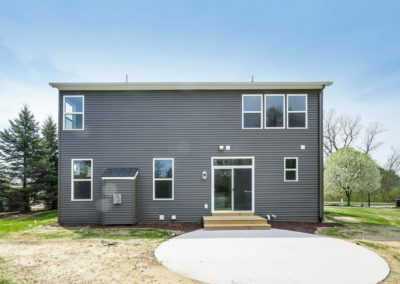 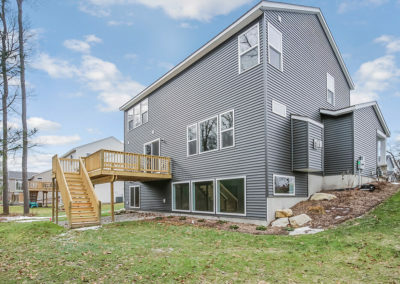 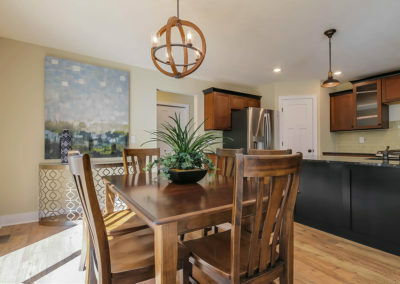 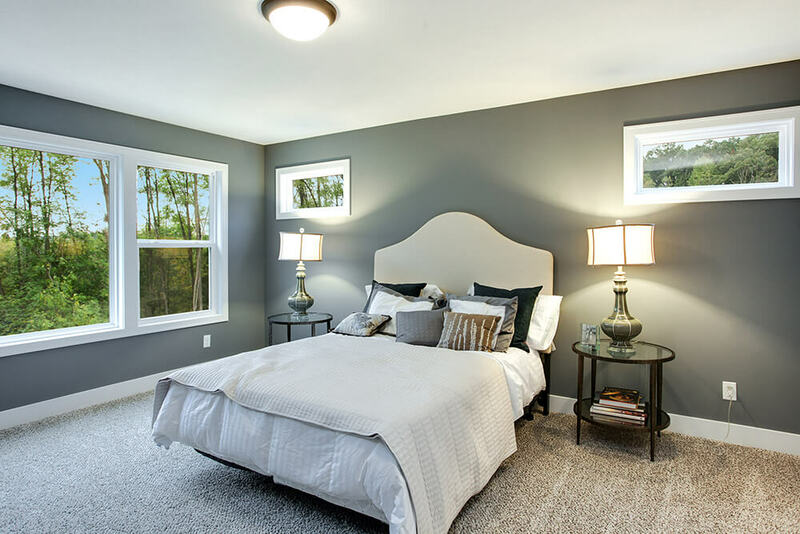 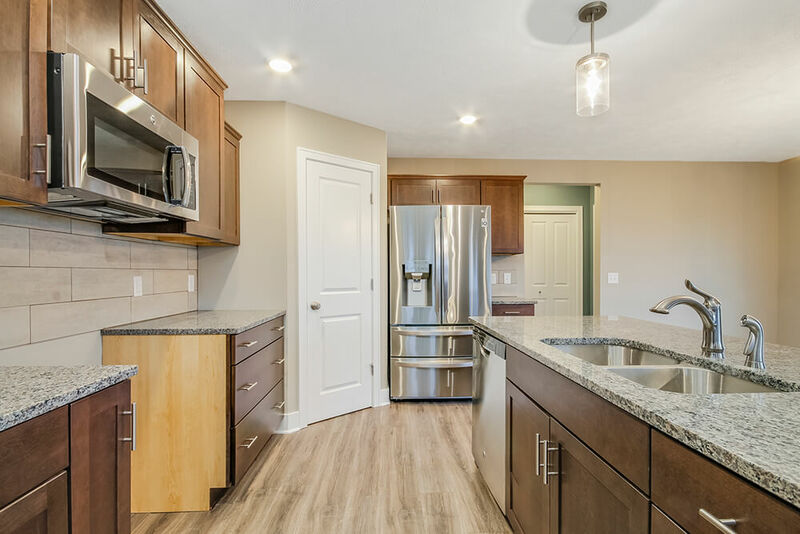 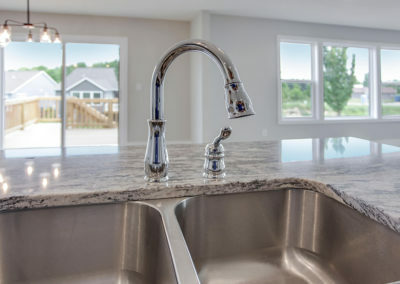 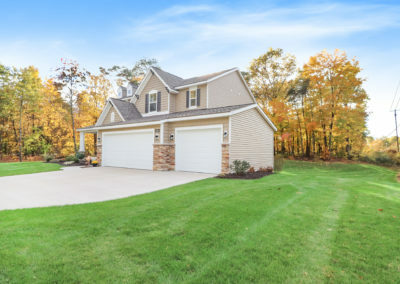 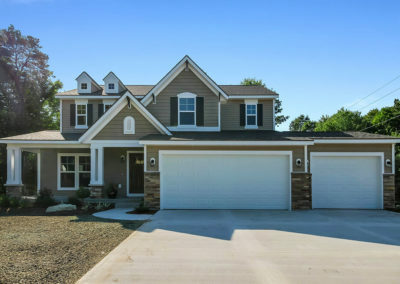 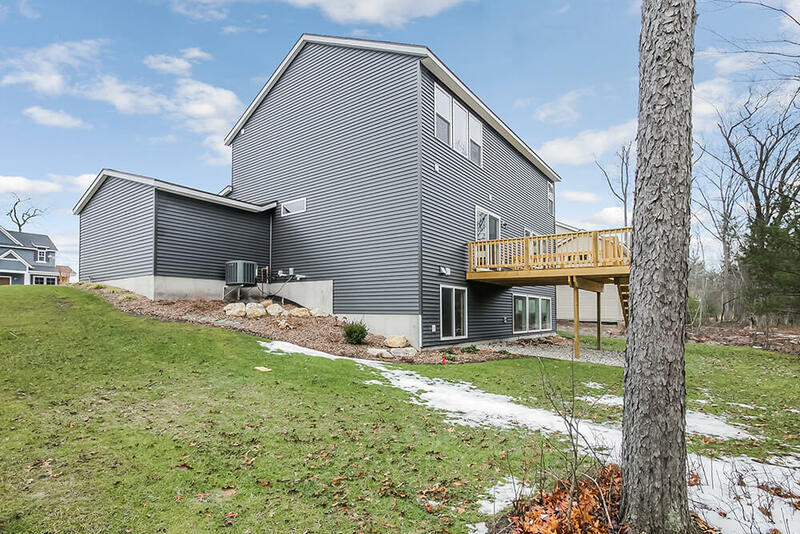 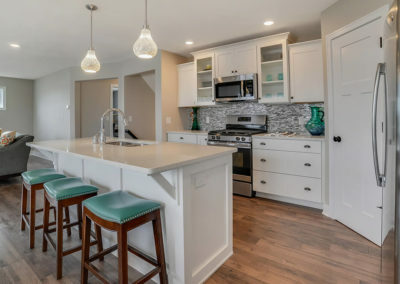 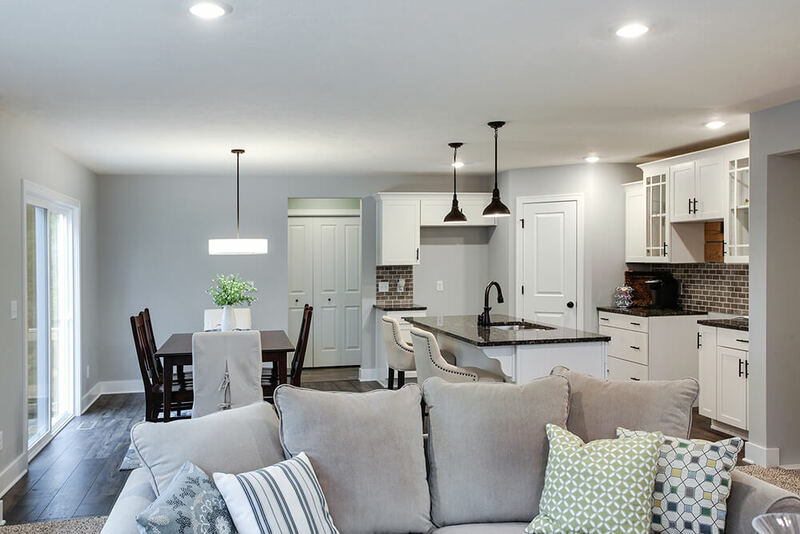 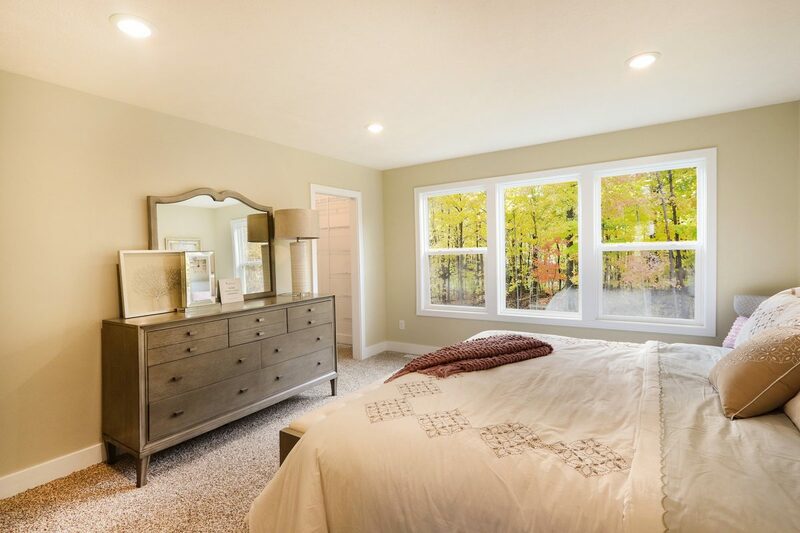 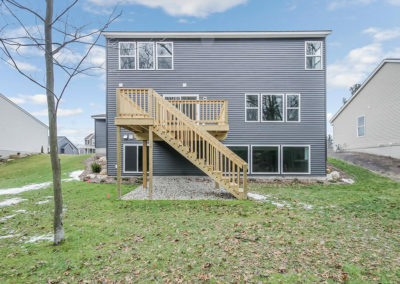 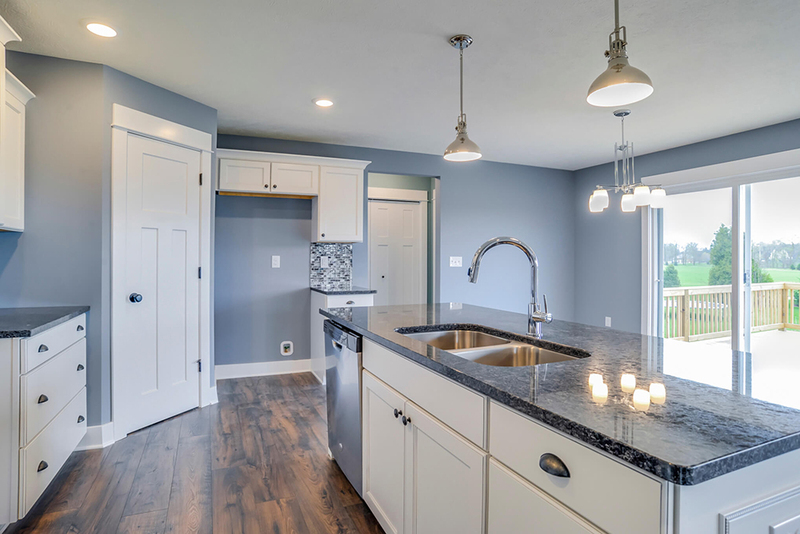 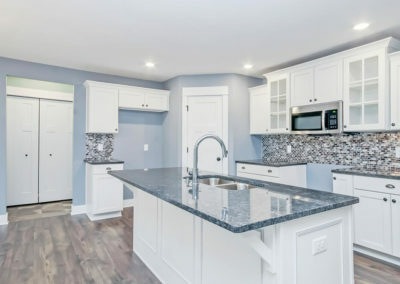 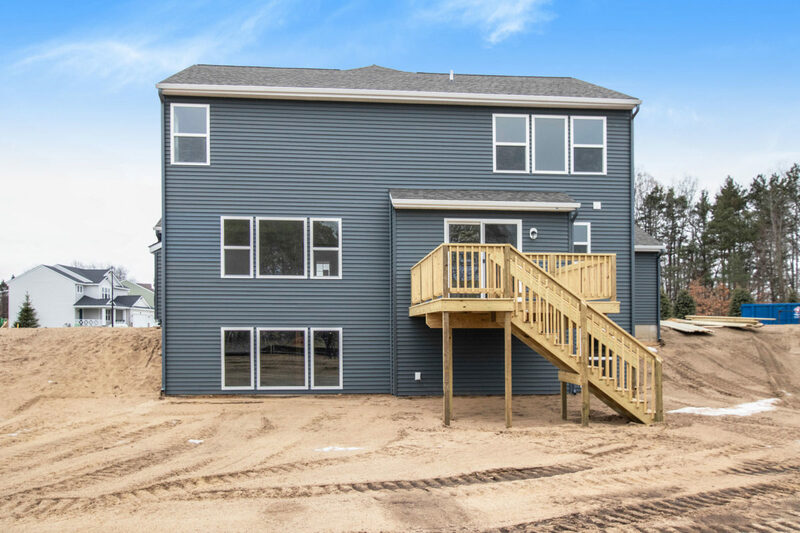 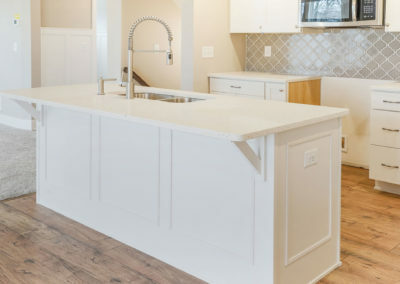 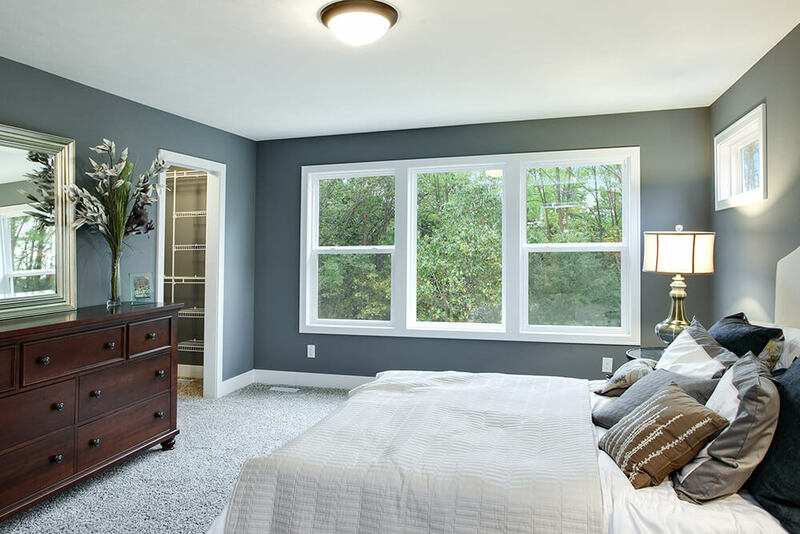 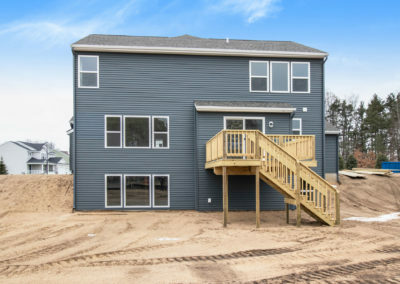 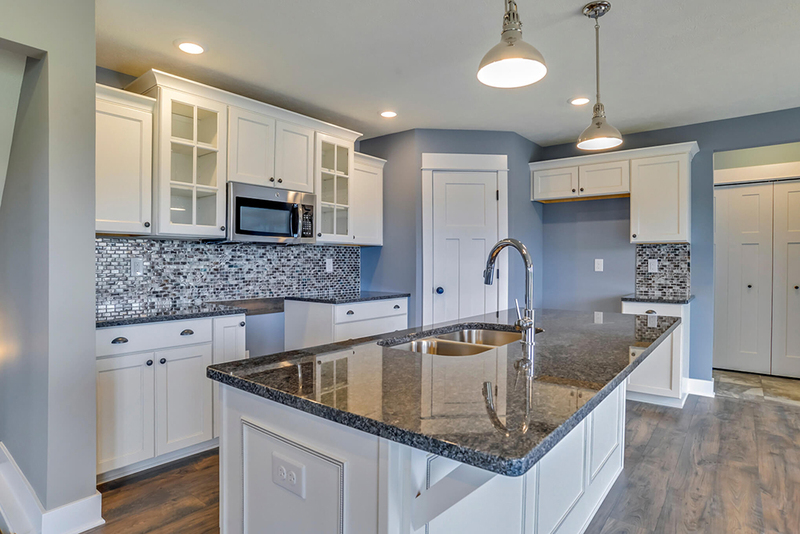 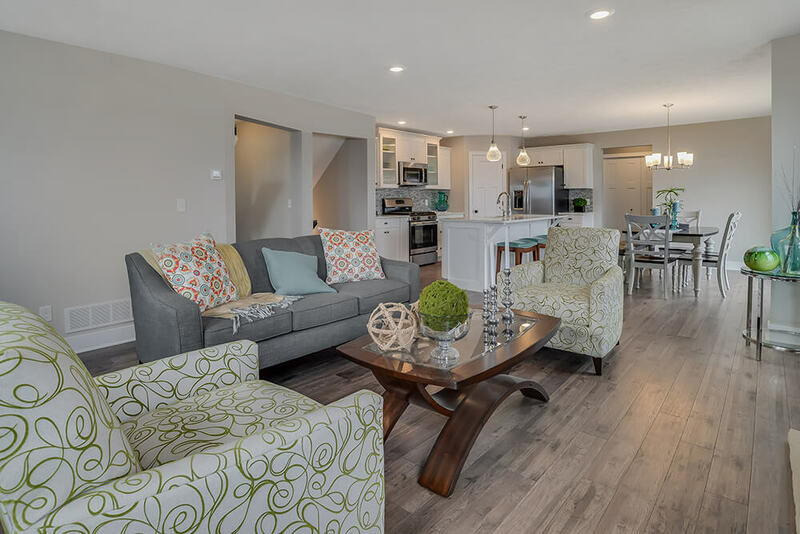 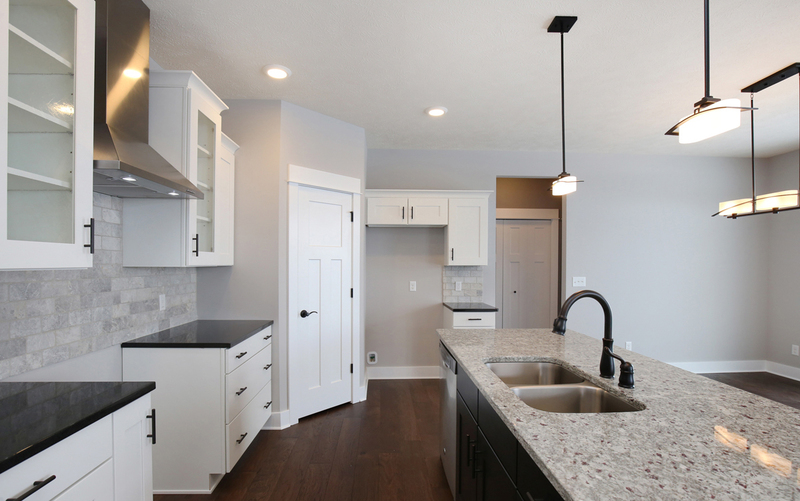 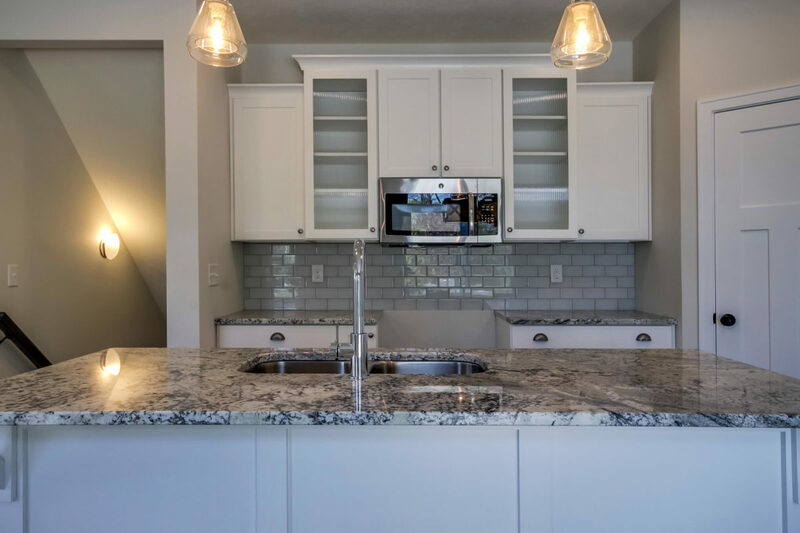 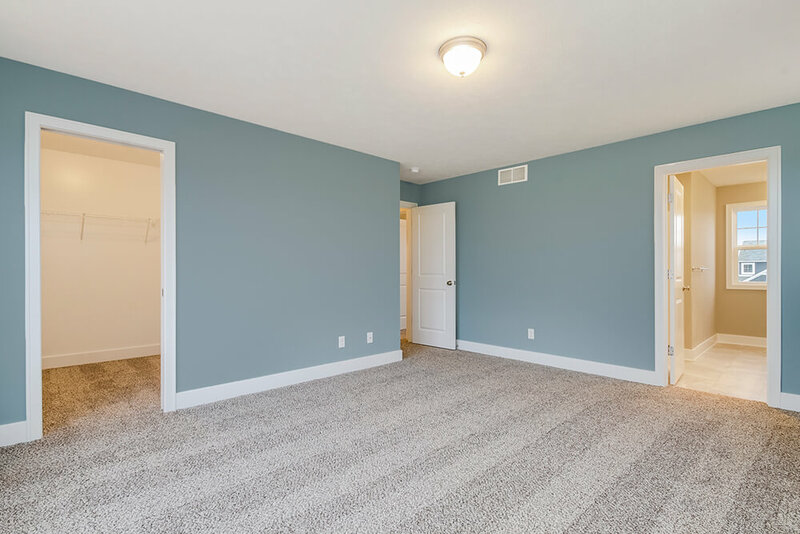 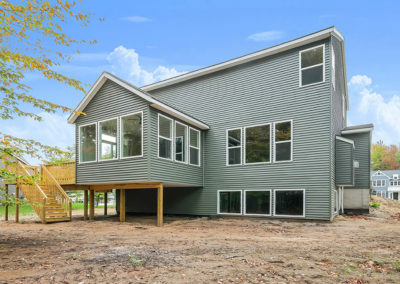 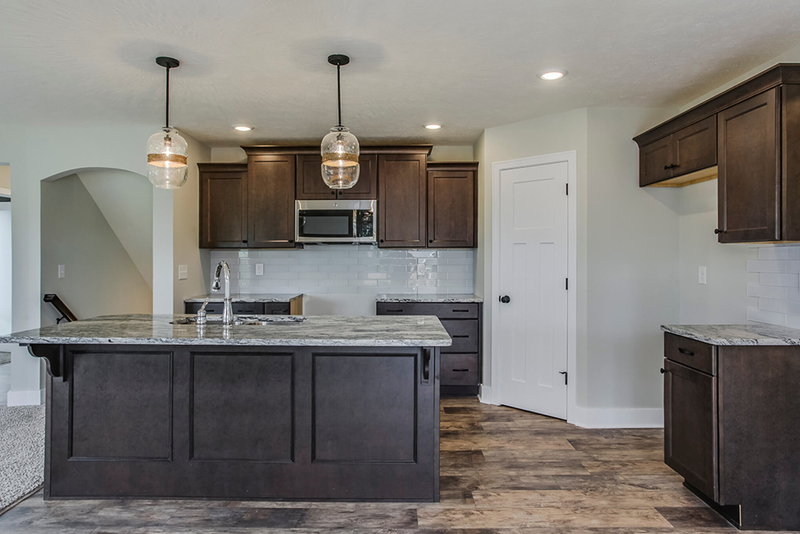 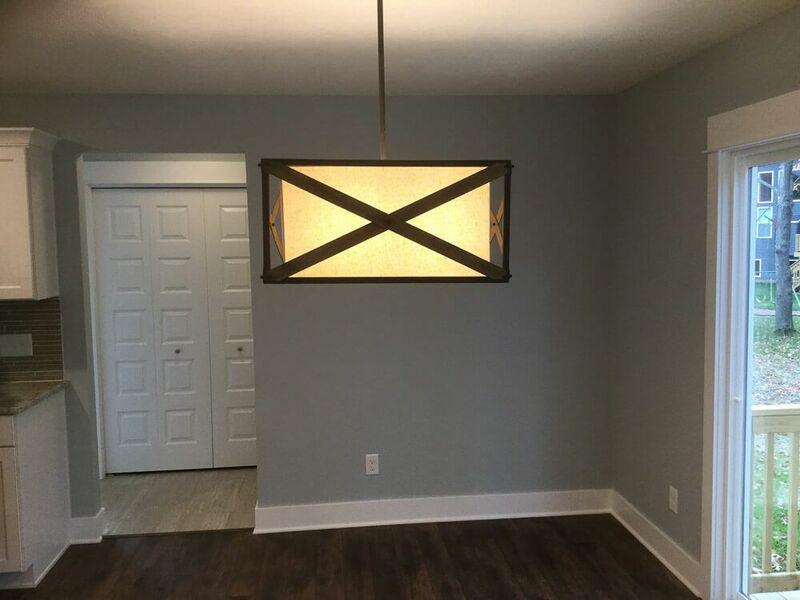 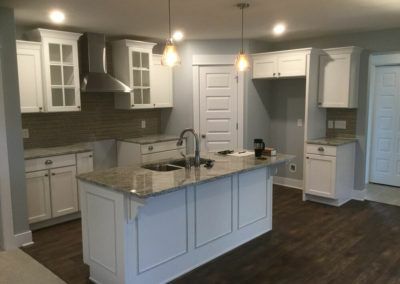 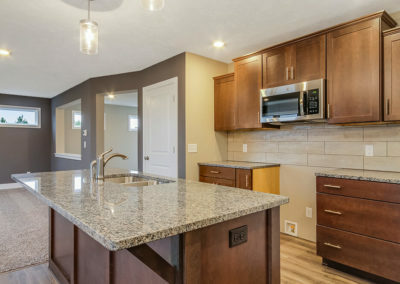 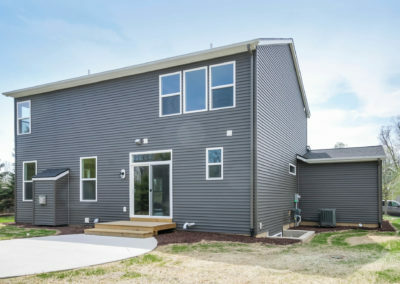 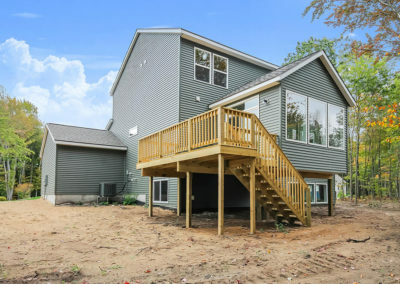 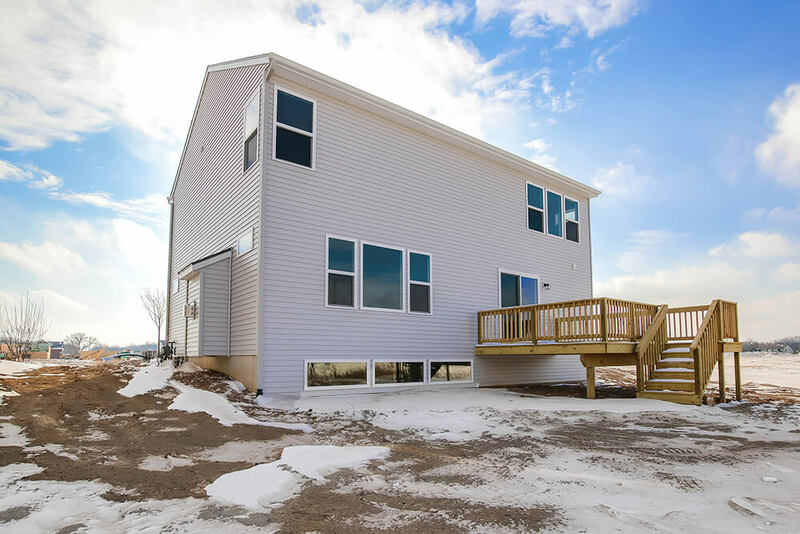 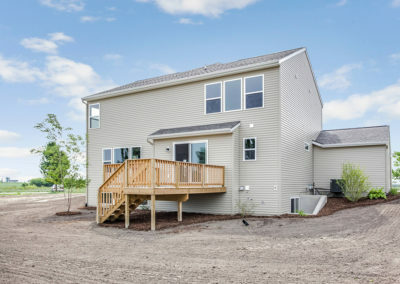 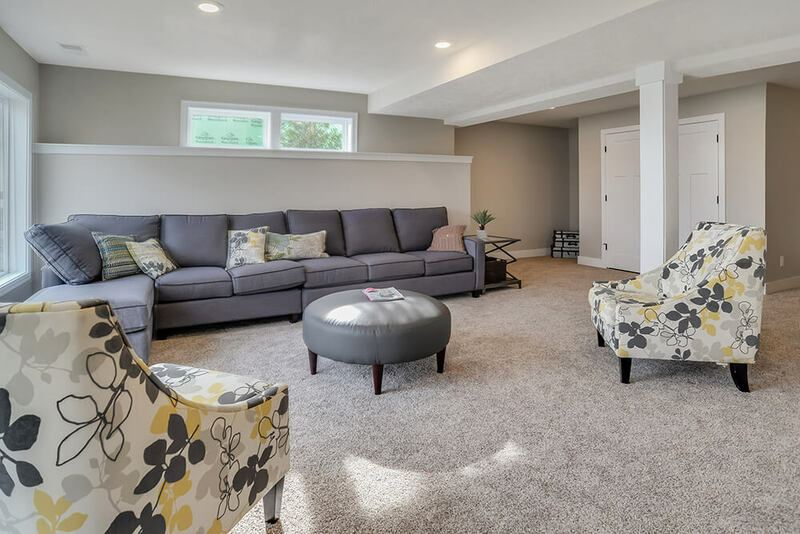 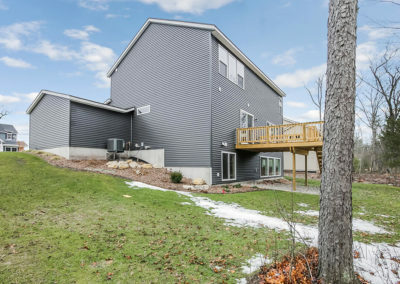 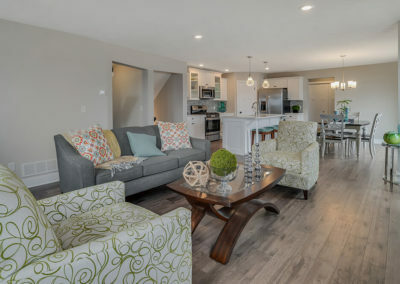 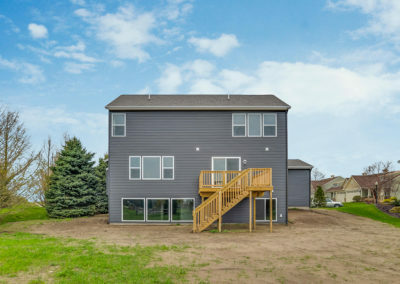 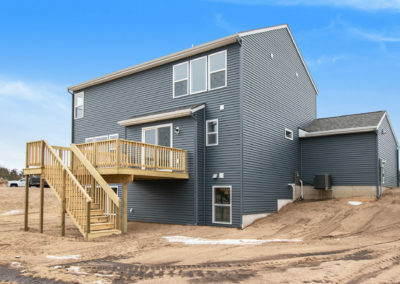 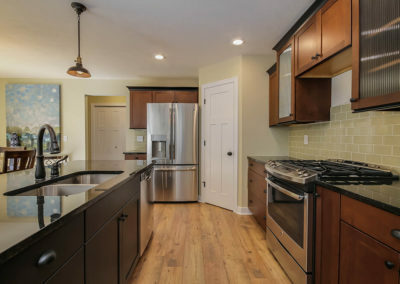 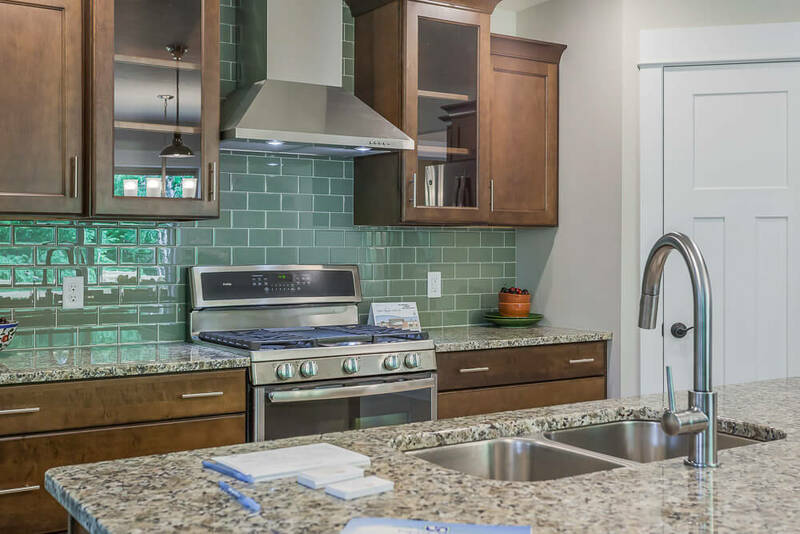 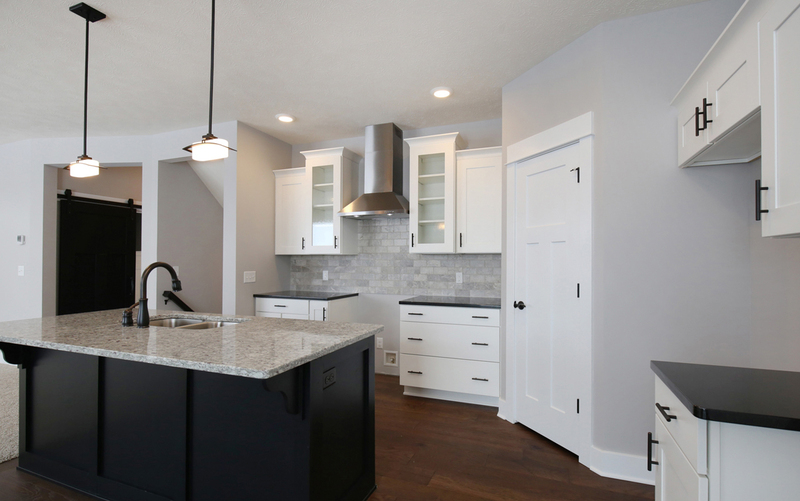 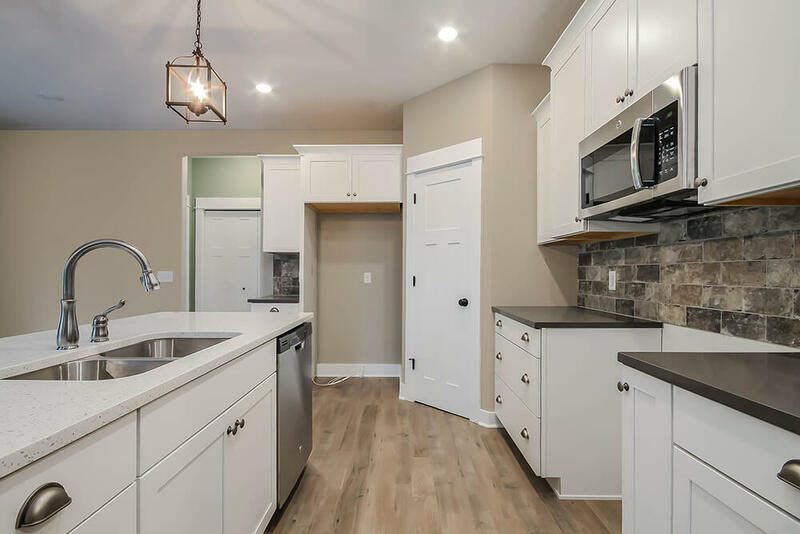 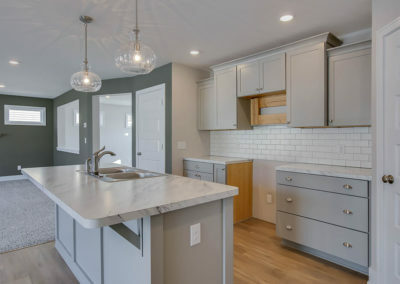 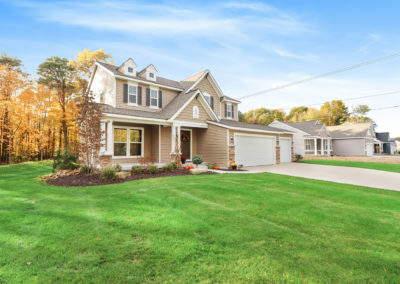 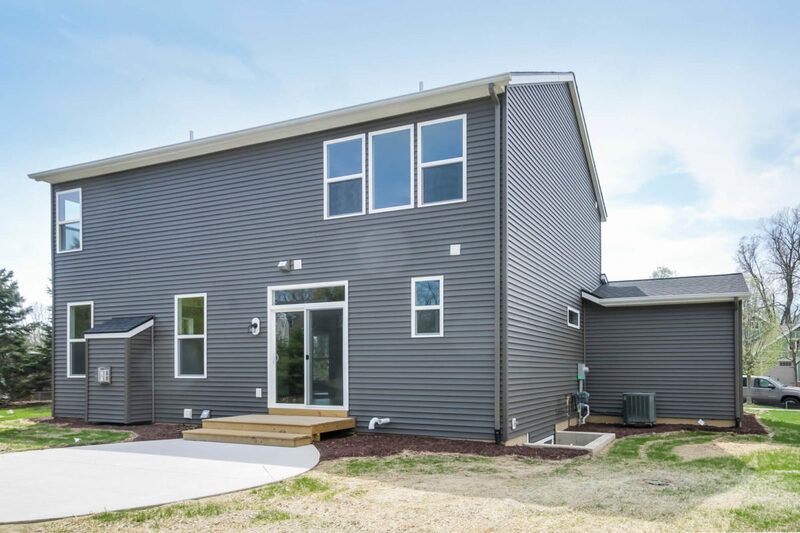 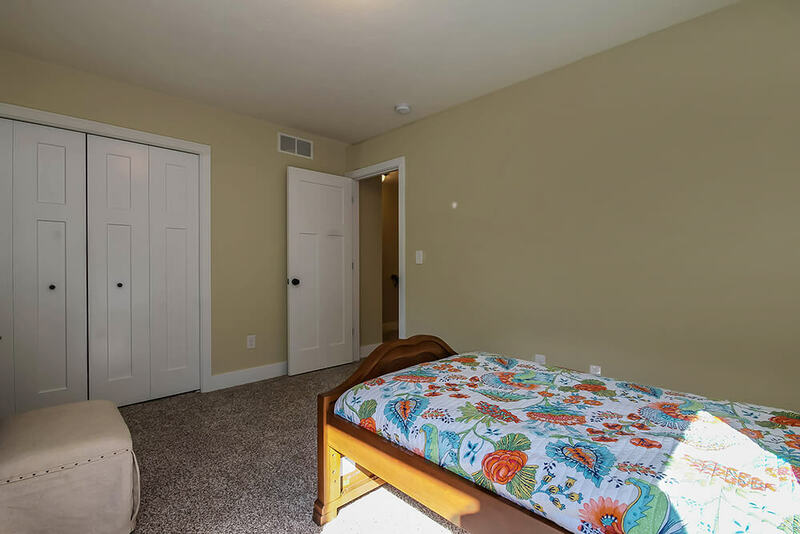 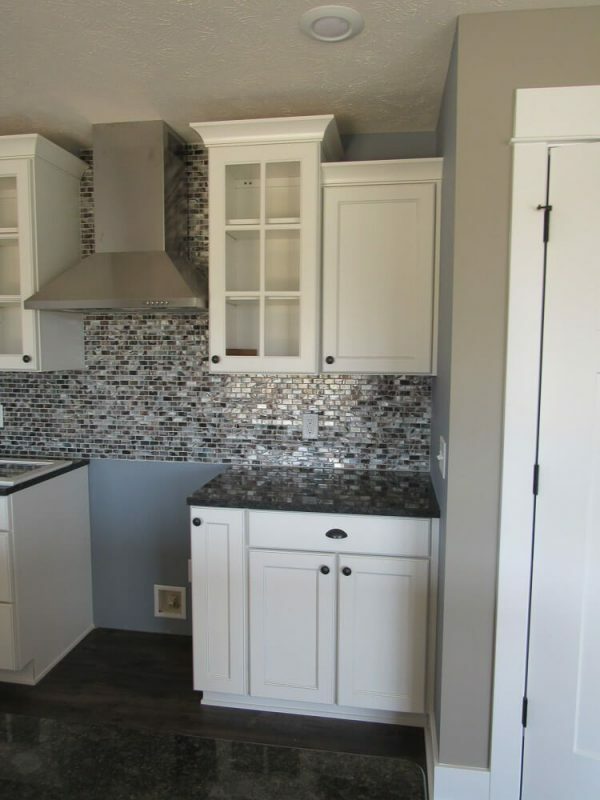 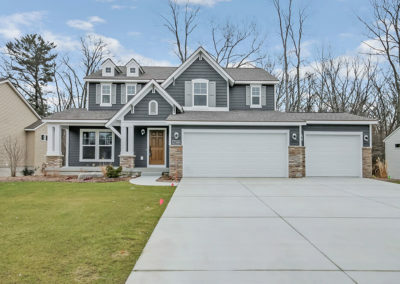 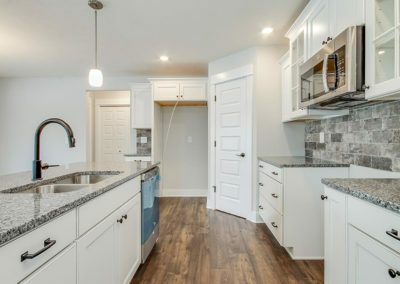 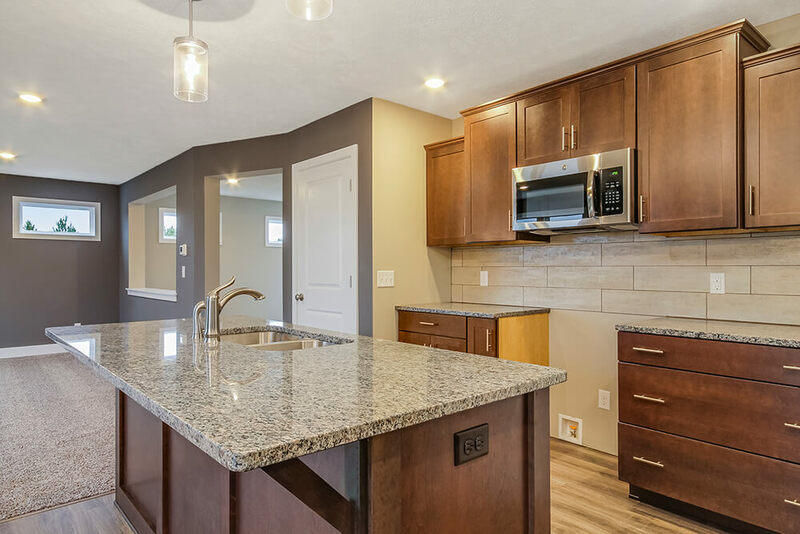 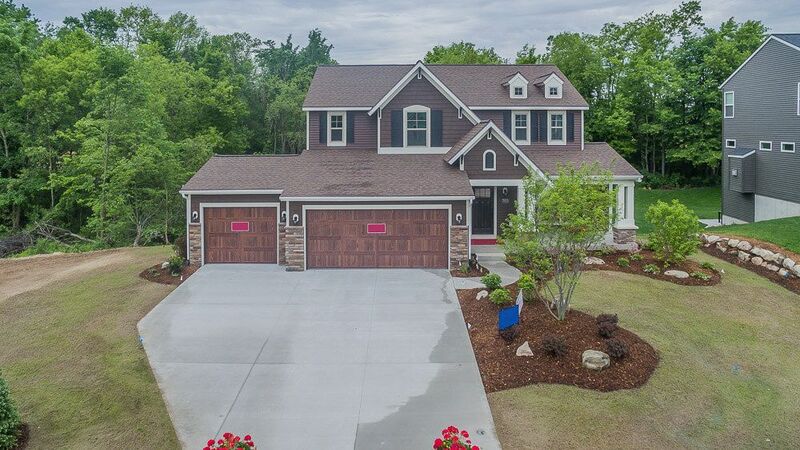 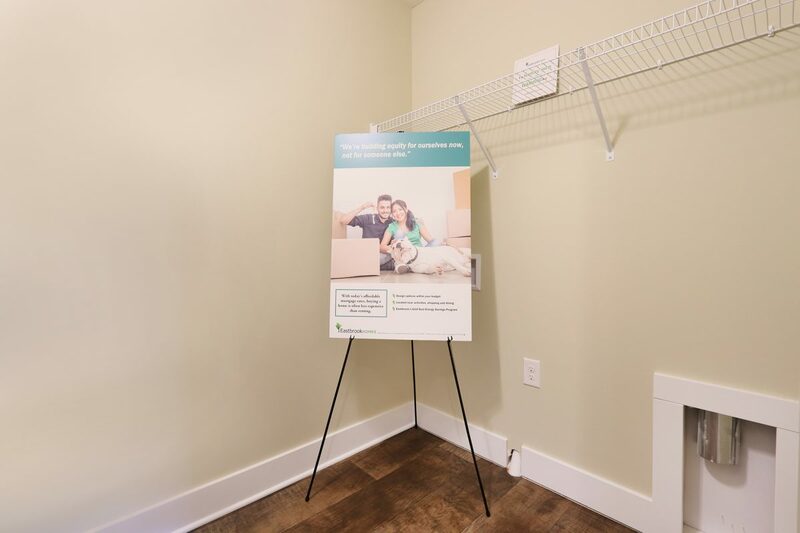 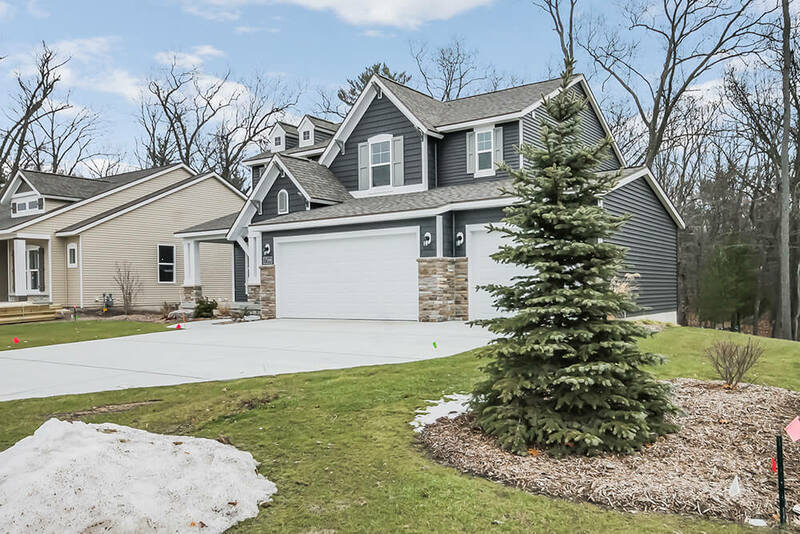 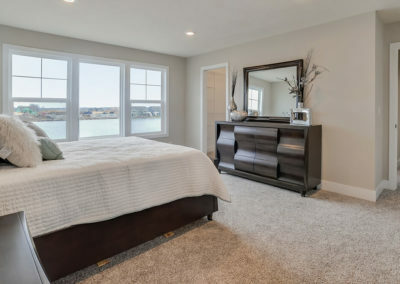 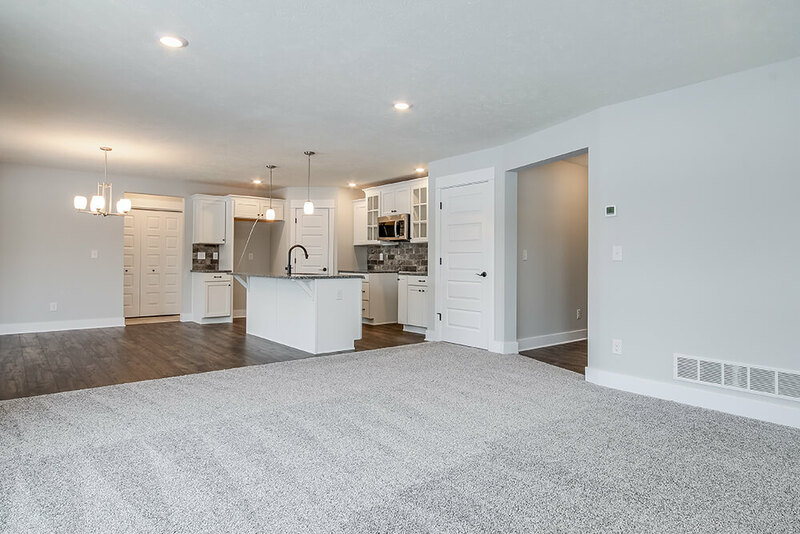 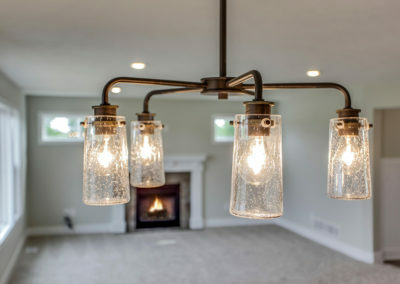 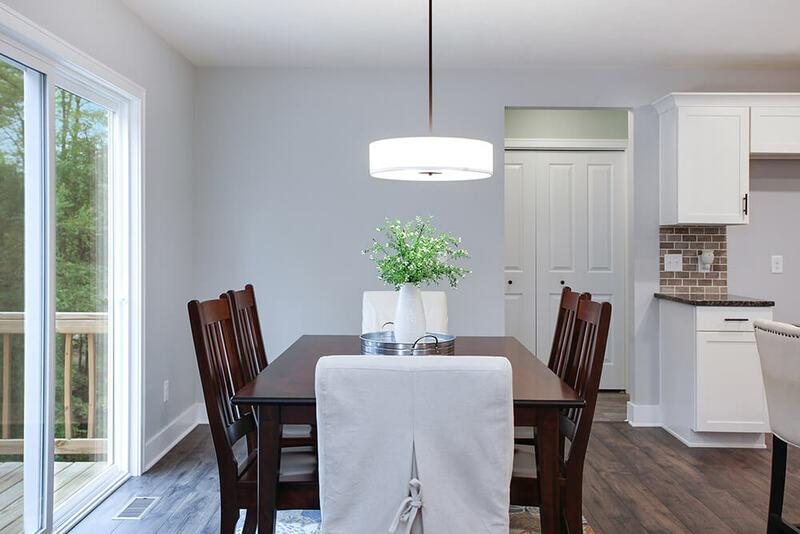 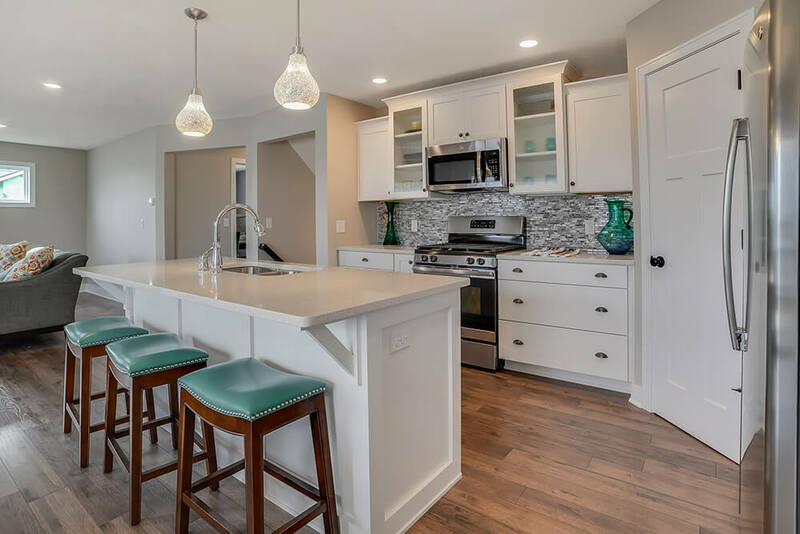 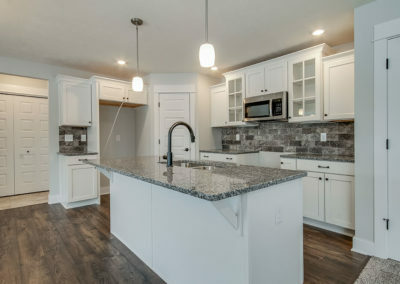 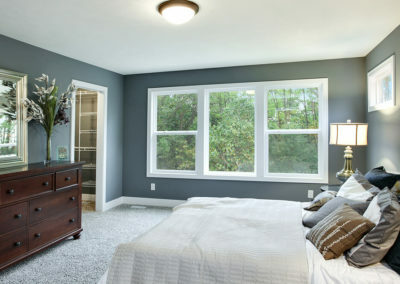 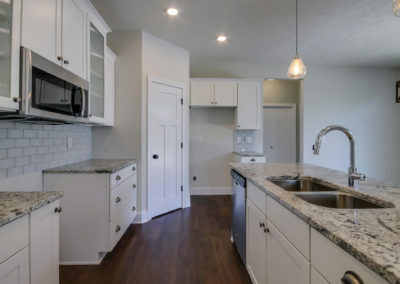 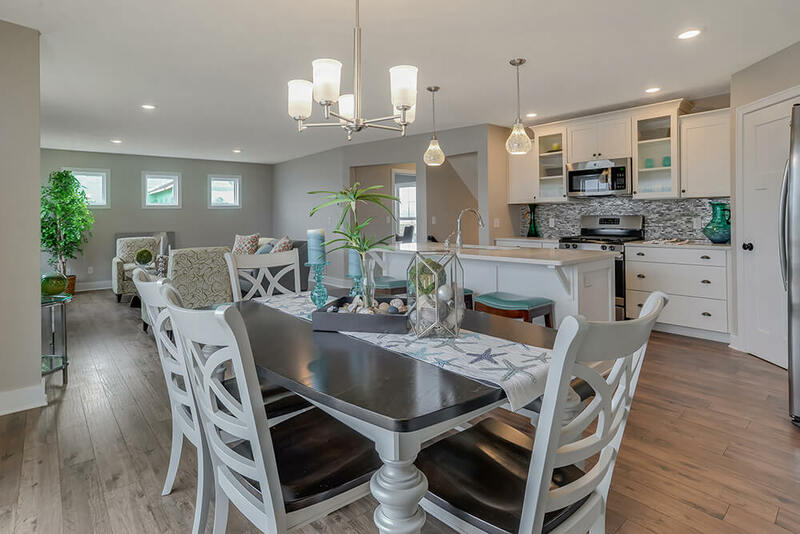 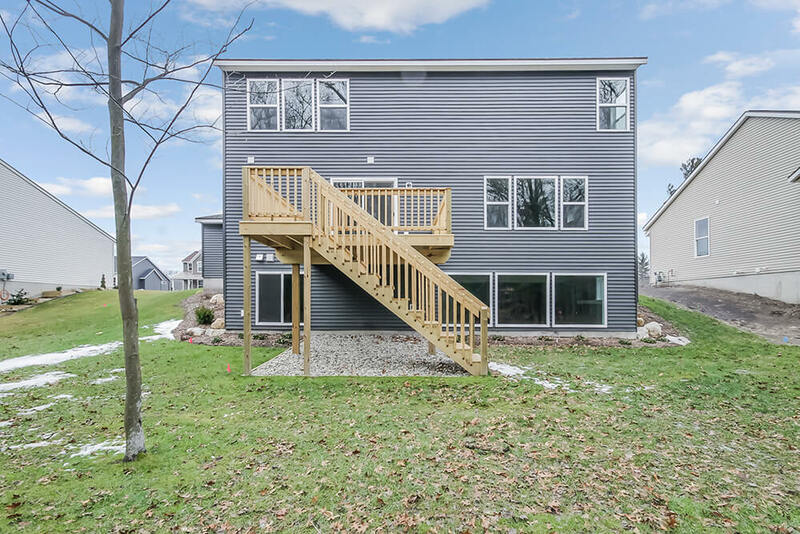 The plan starts with a generous 2008 square feet of living space that incorporates four bedrooms and two and a half baths, and is filled with options that let you personalize your new home. 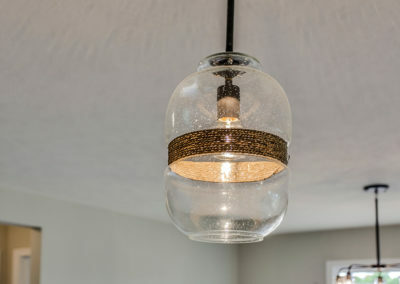 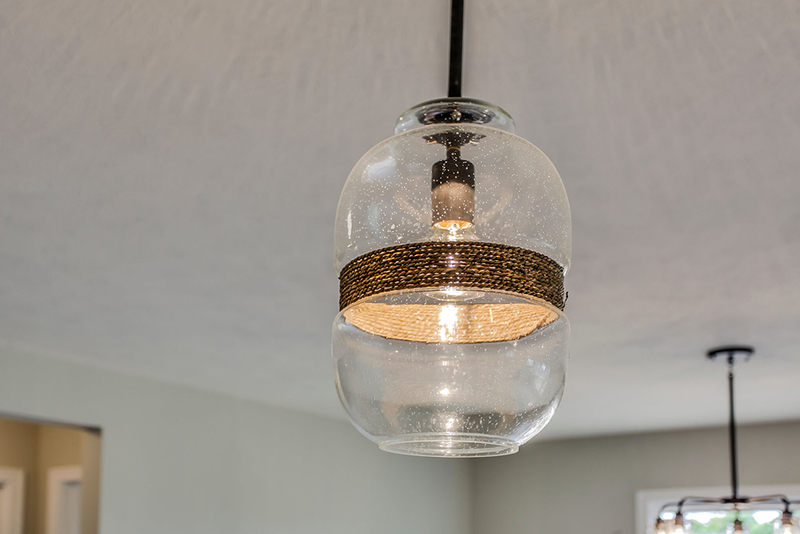 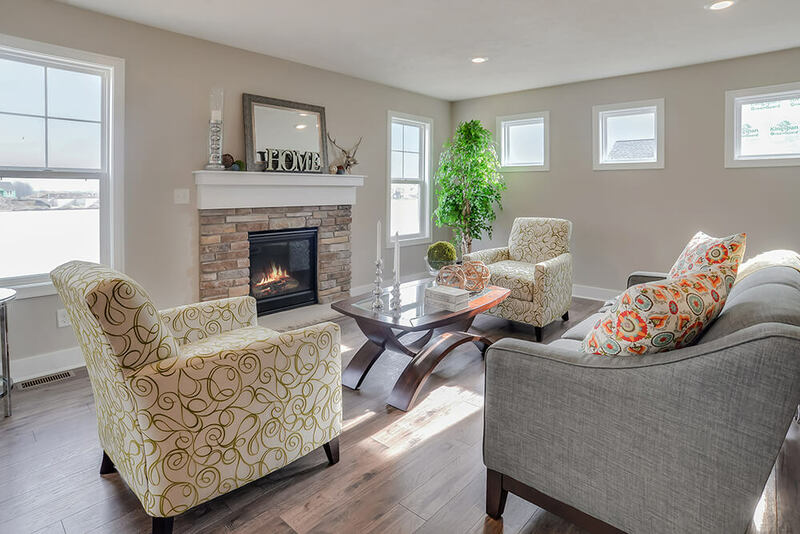 Select your favorites, and create a home with a charm and appeal that is unique to your house. 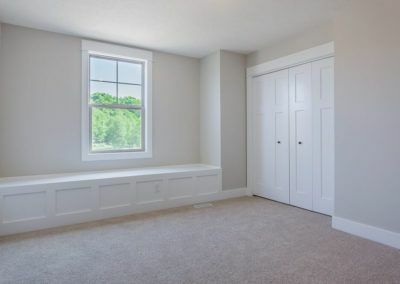 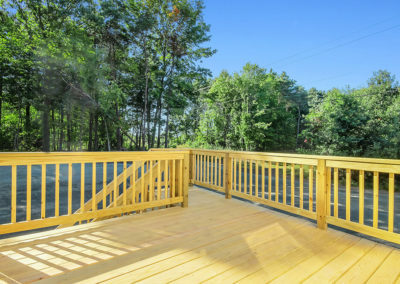 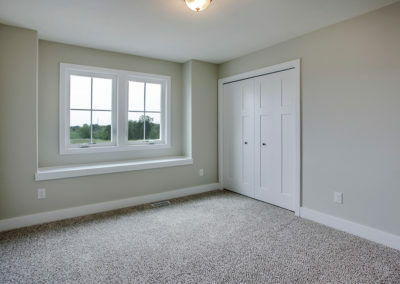 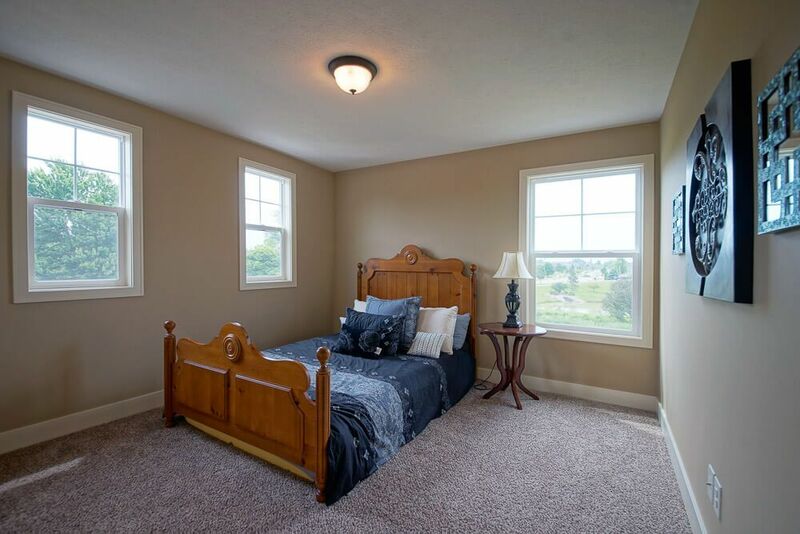 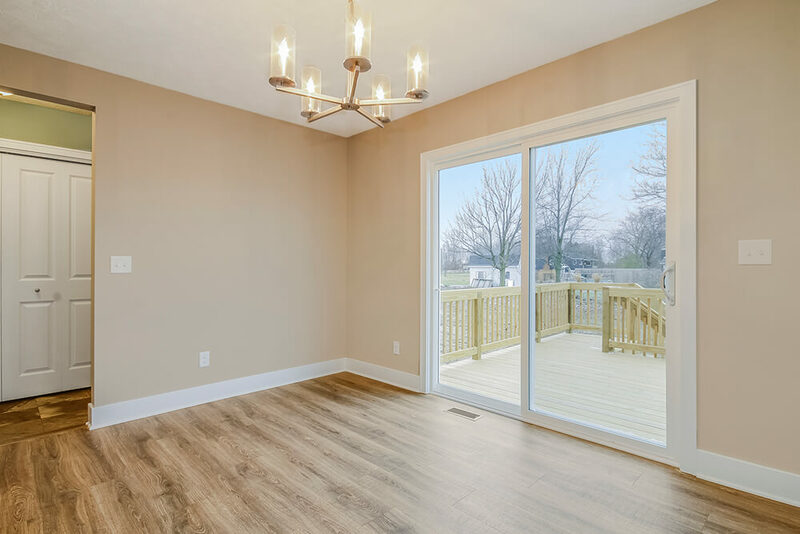 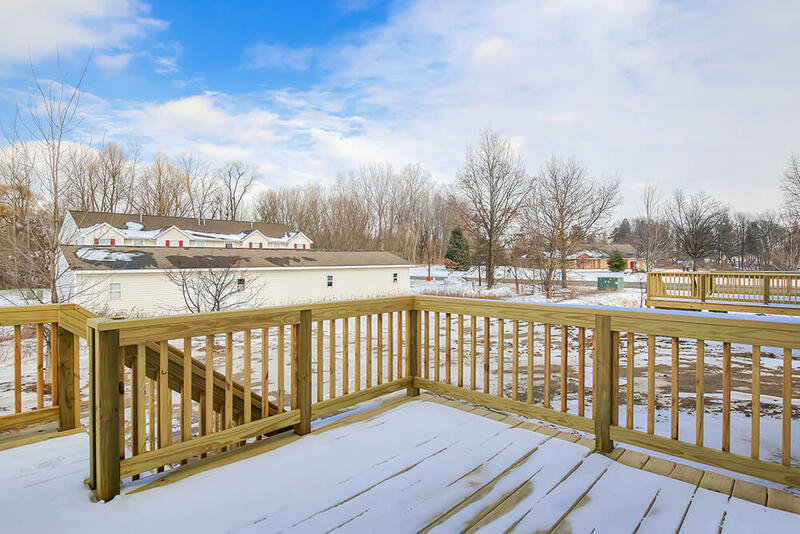 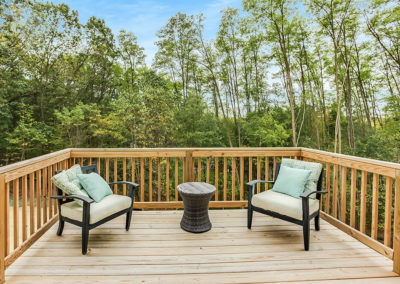 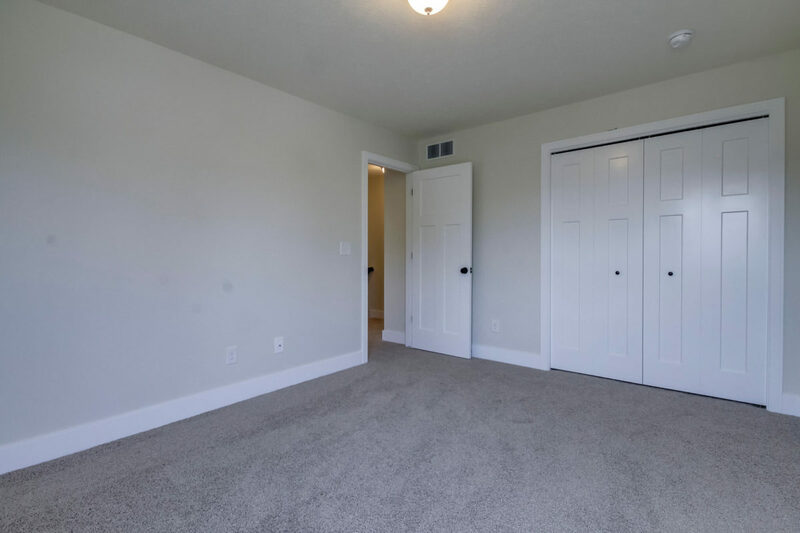 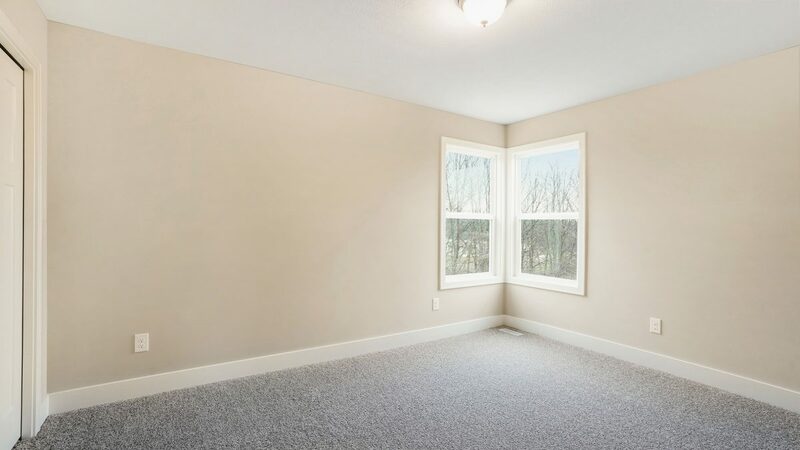 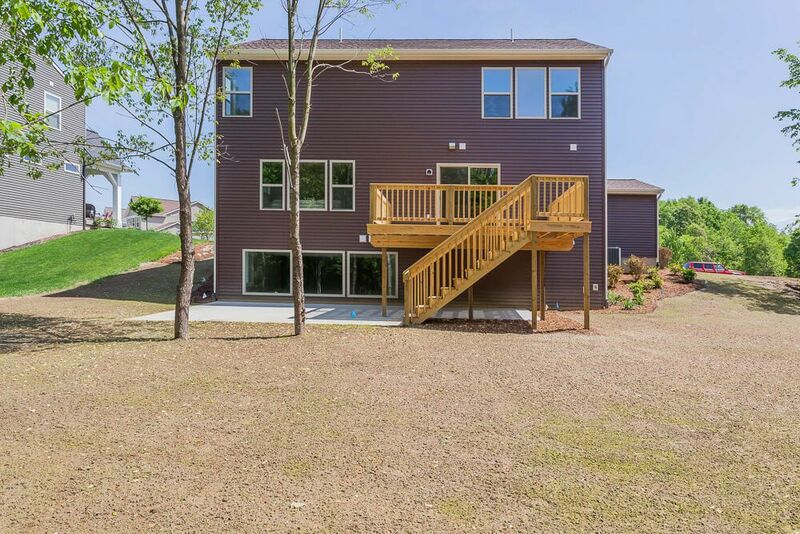 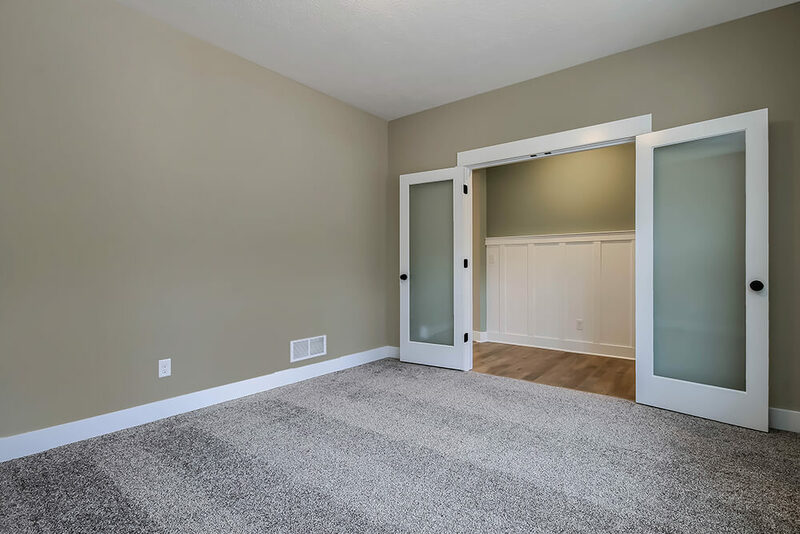 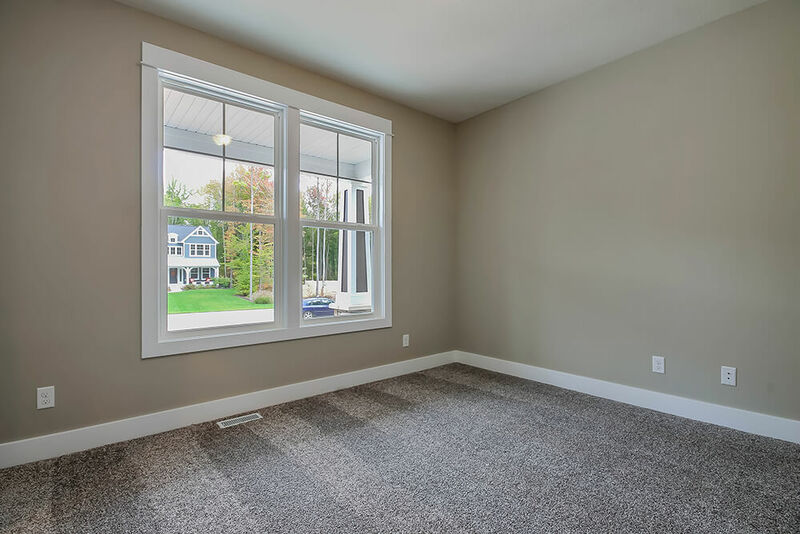 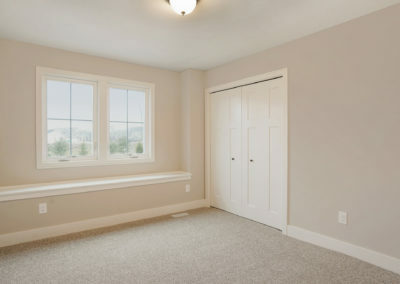 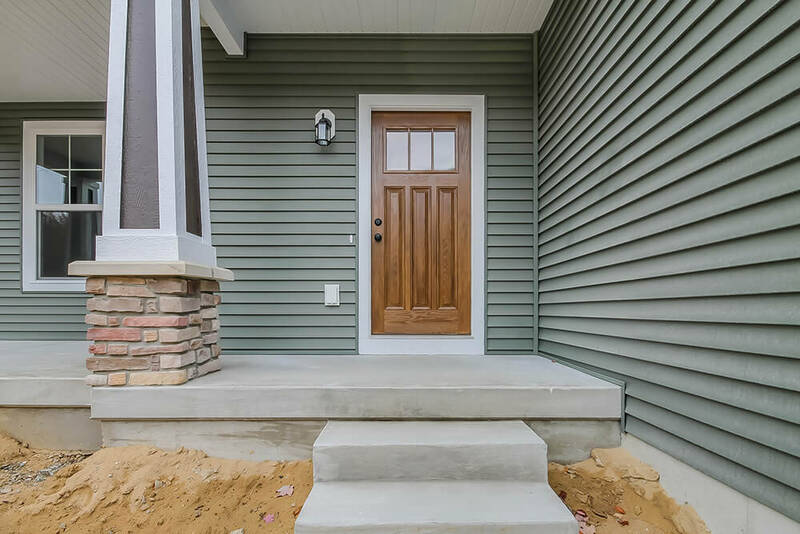 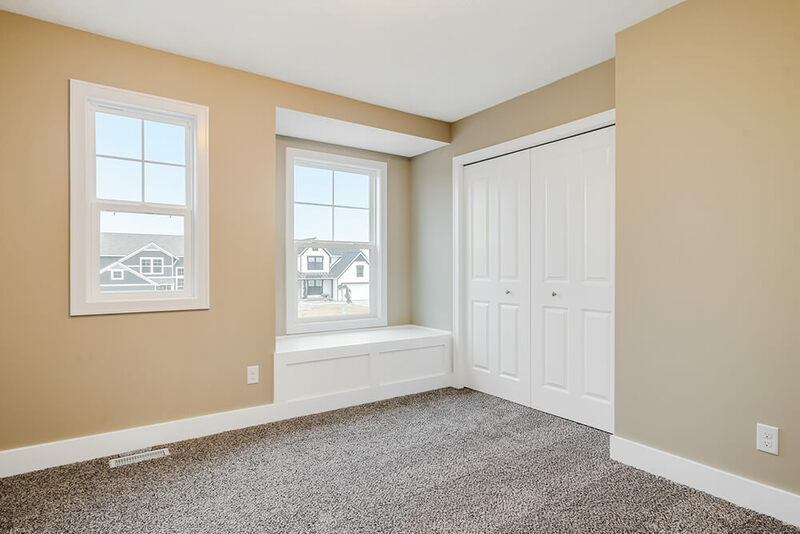 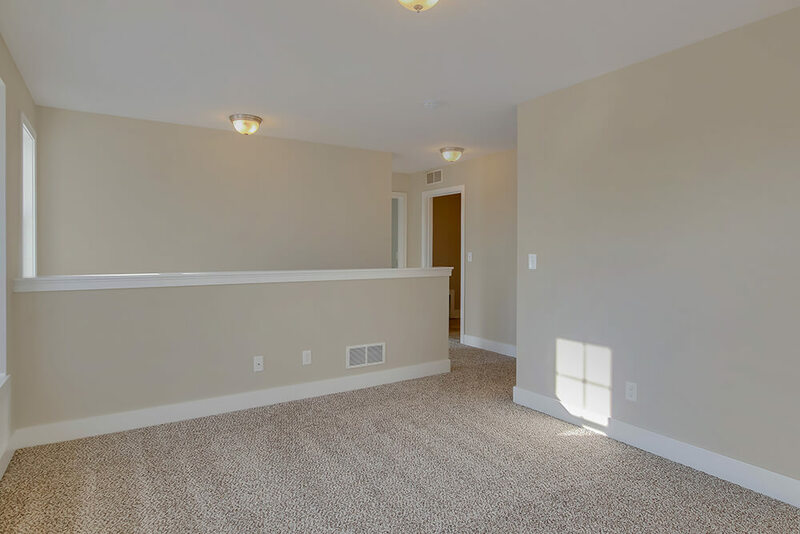 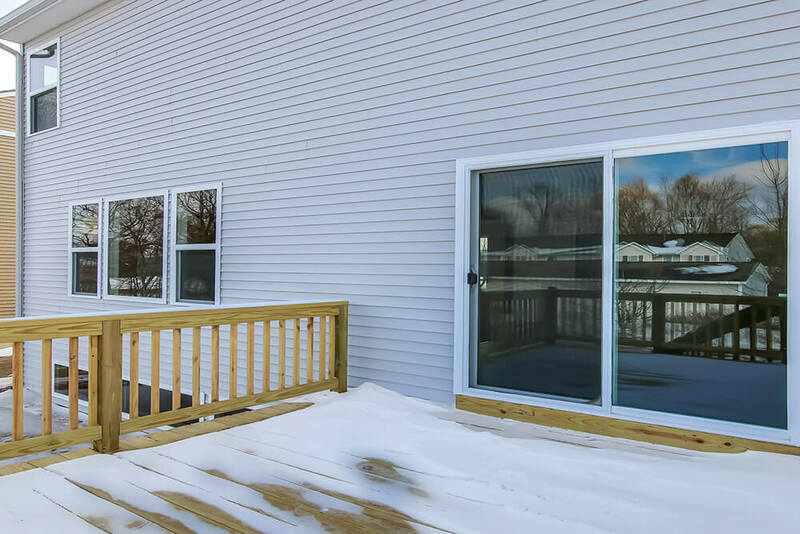 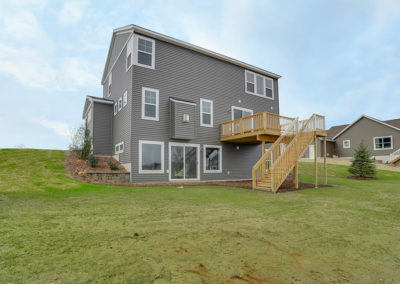 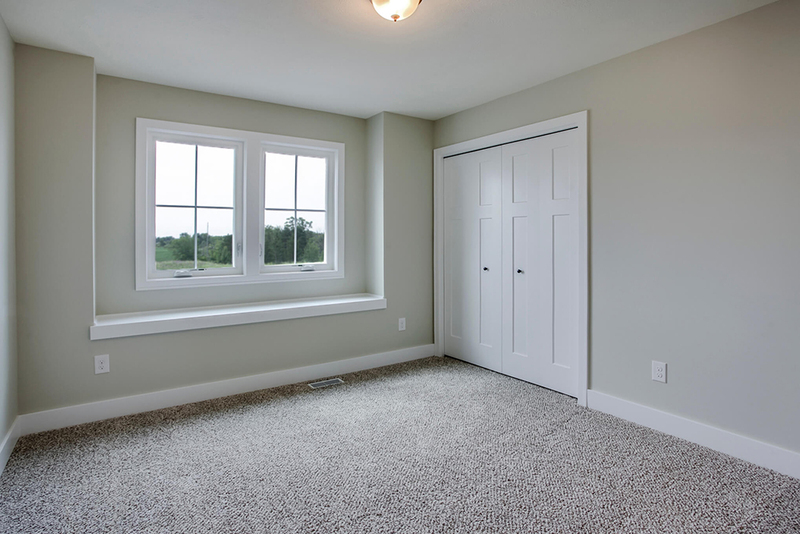 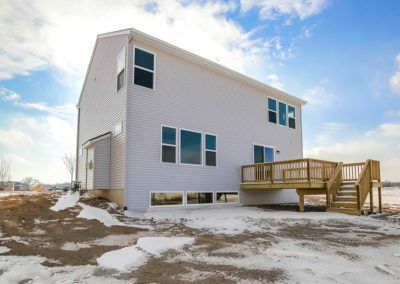 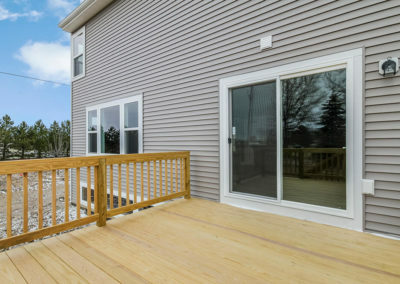 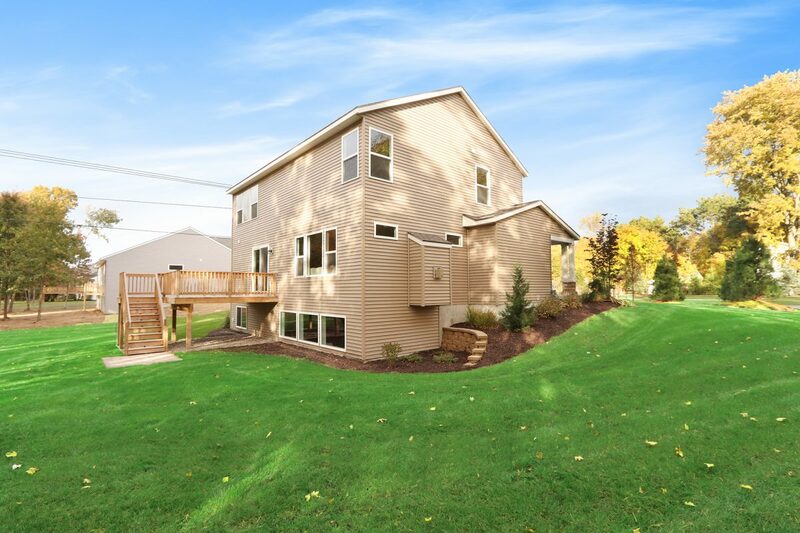 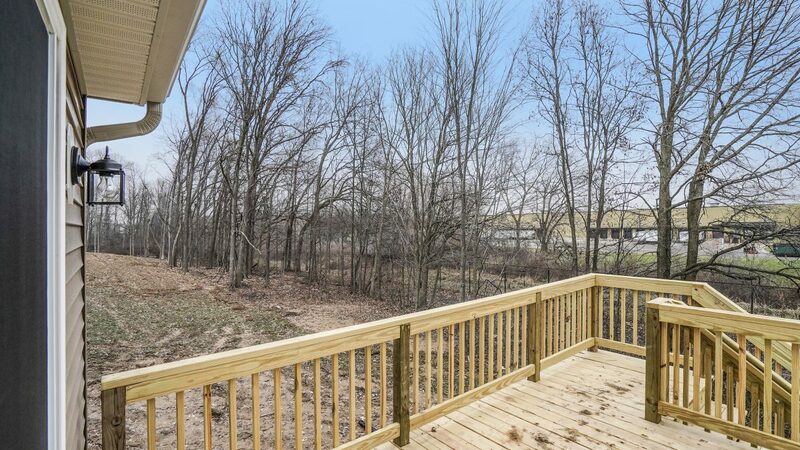 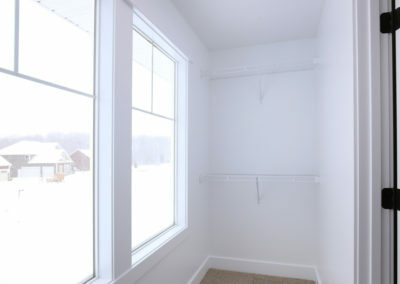 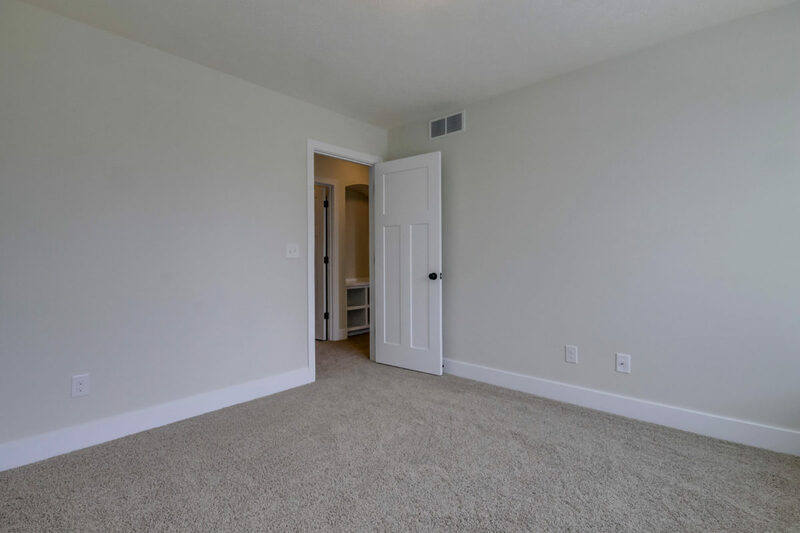 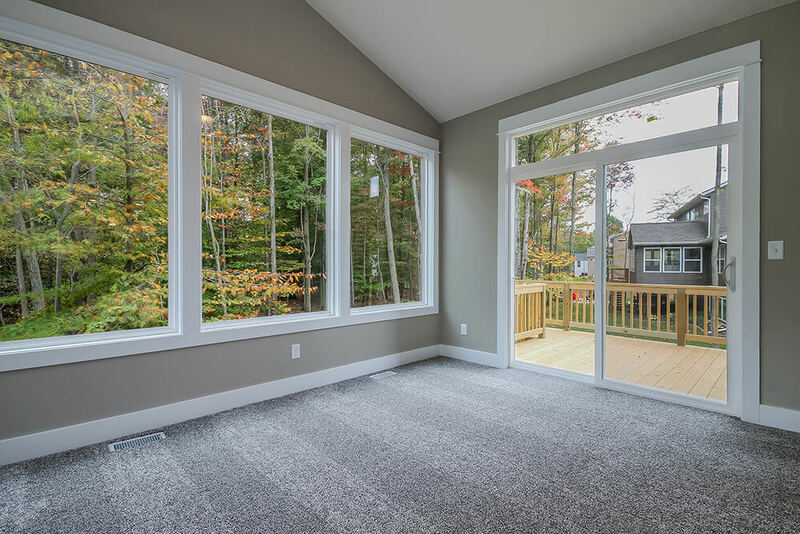 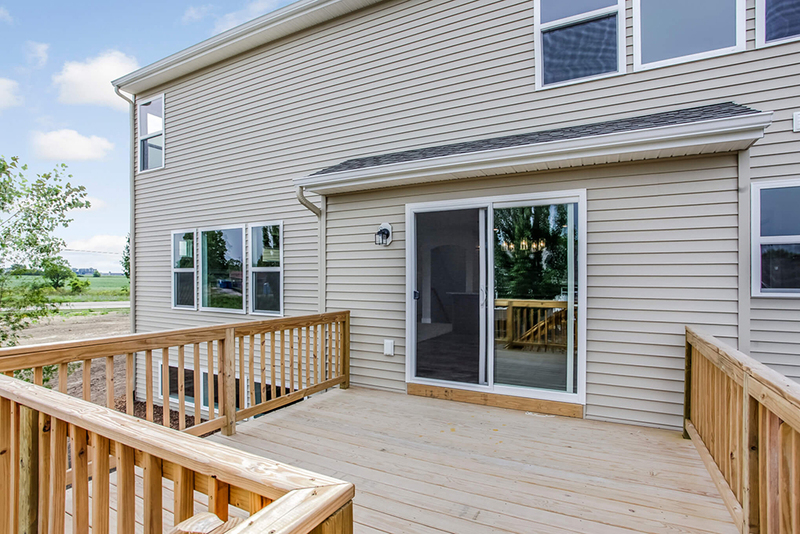 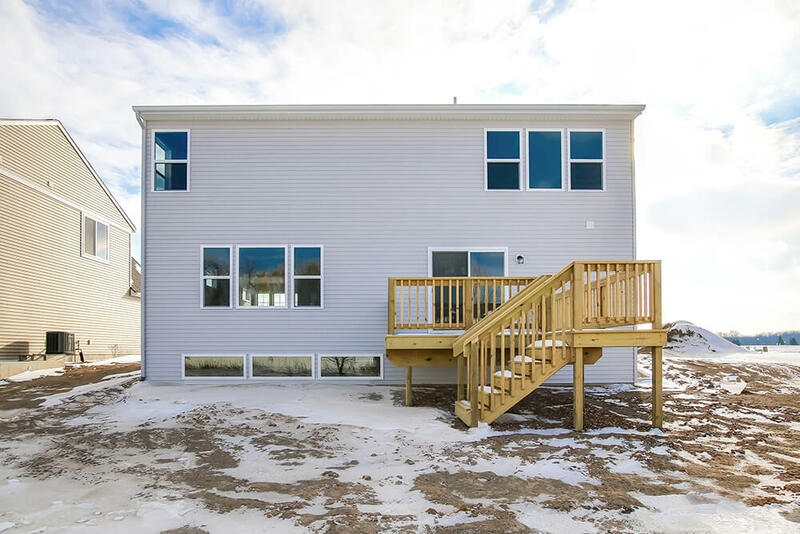 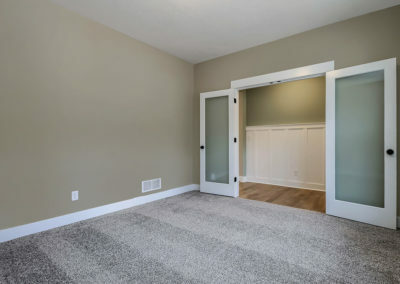 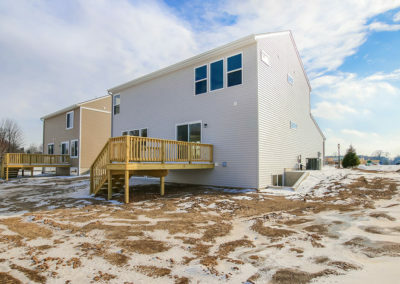 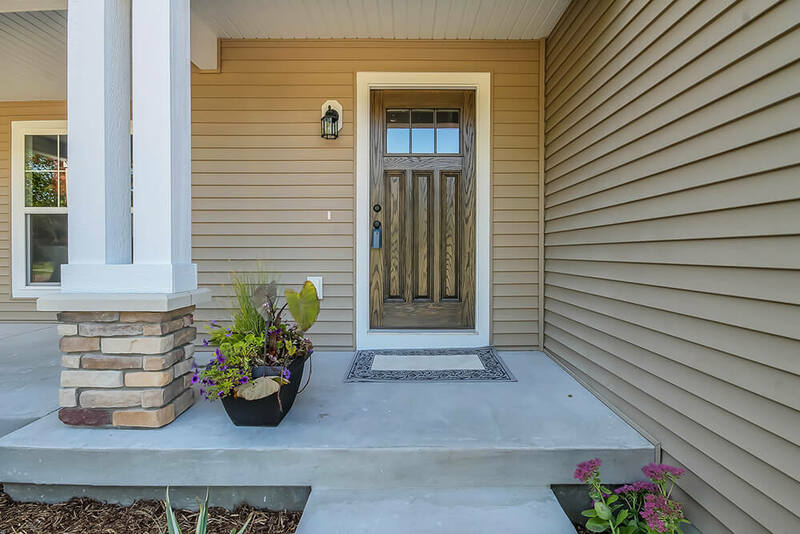 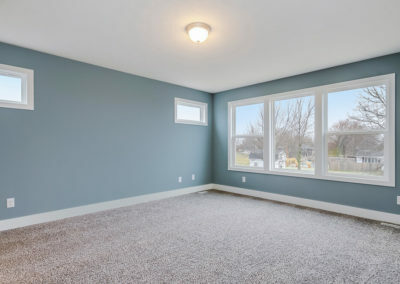 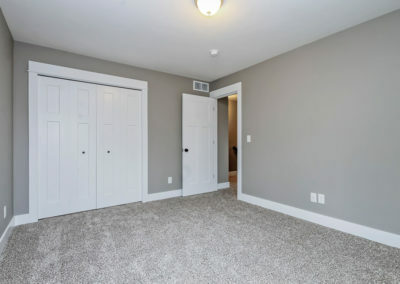 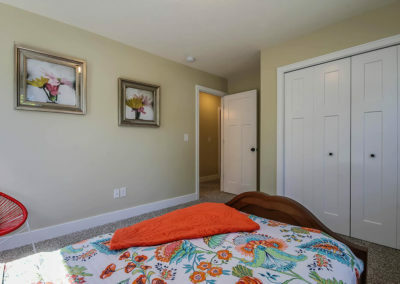 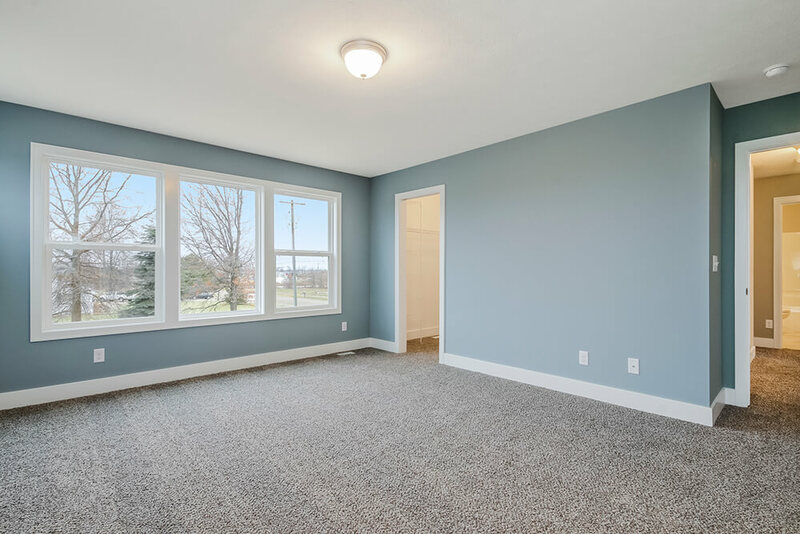 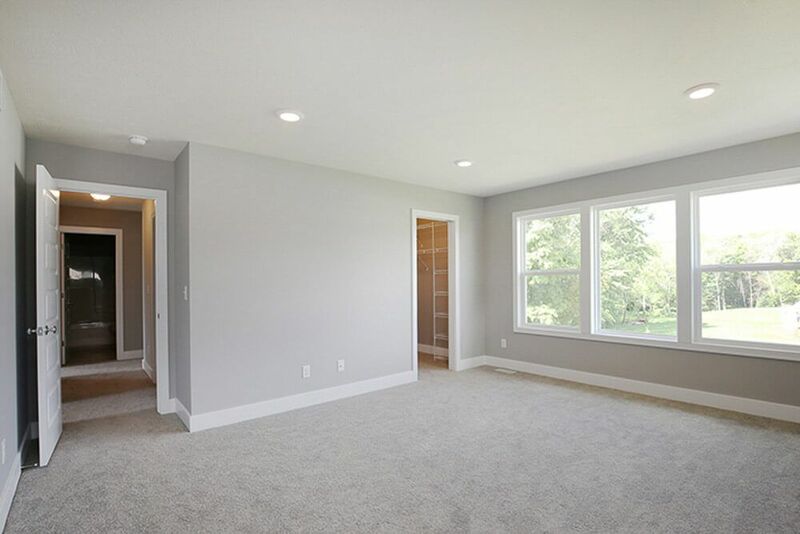 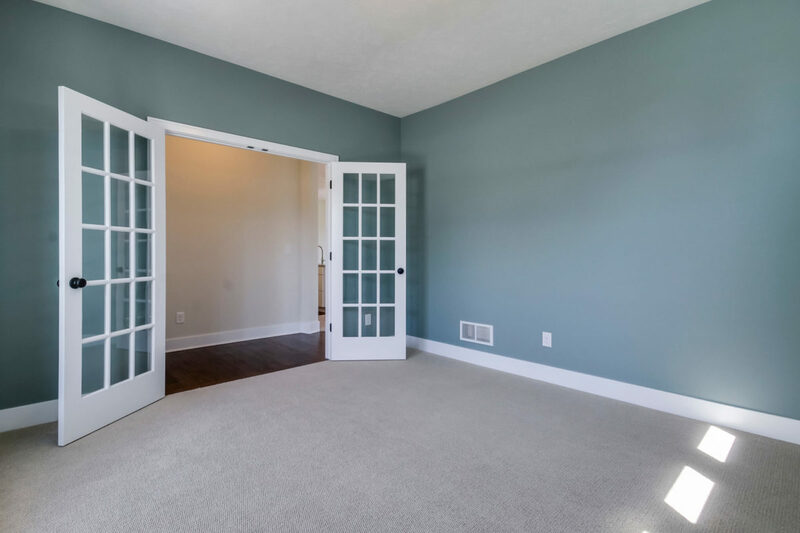 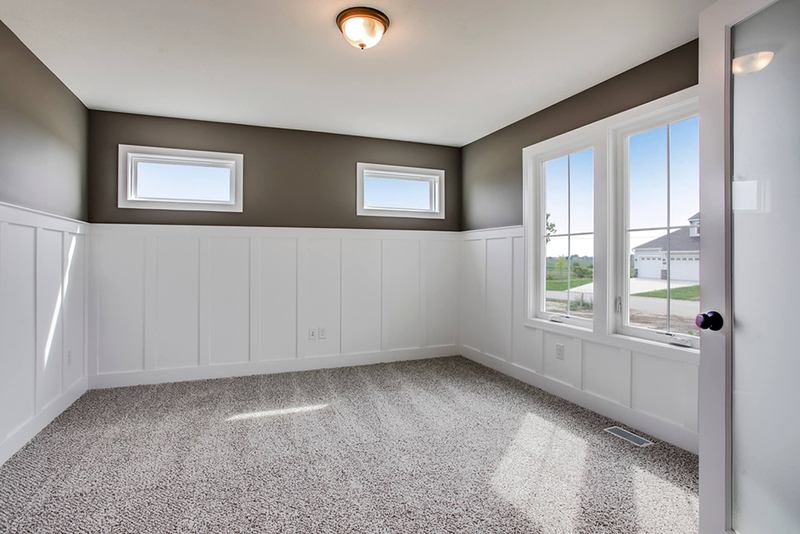 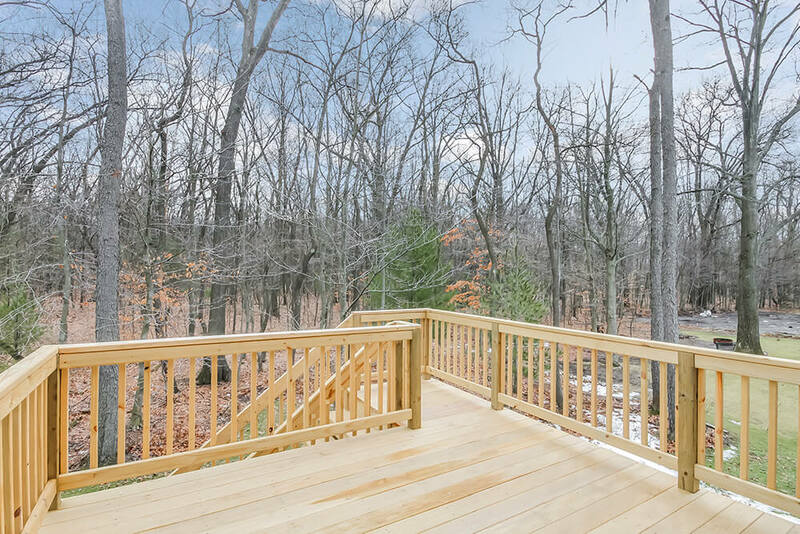 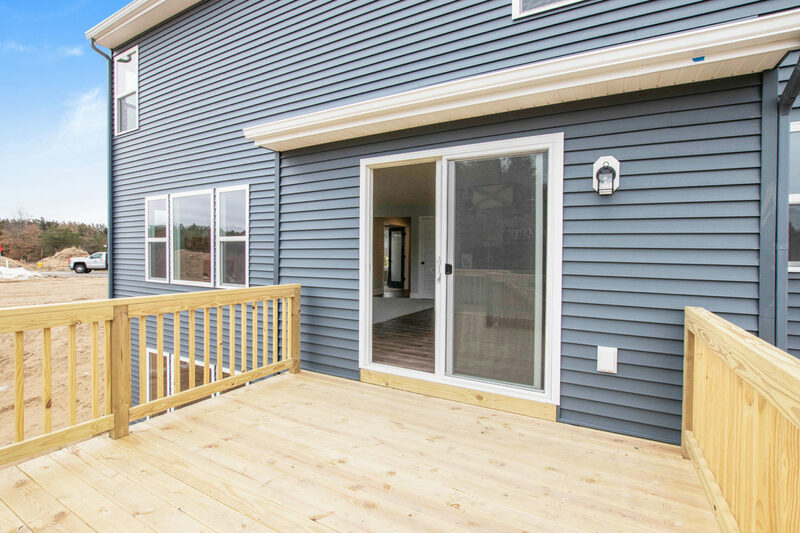 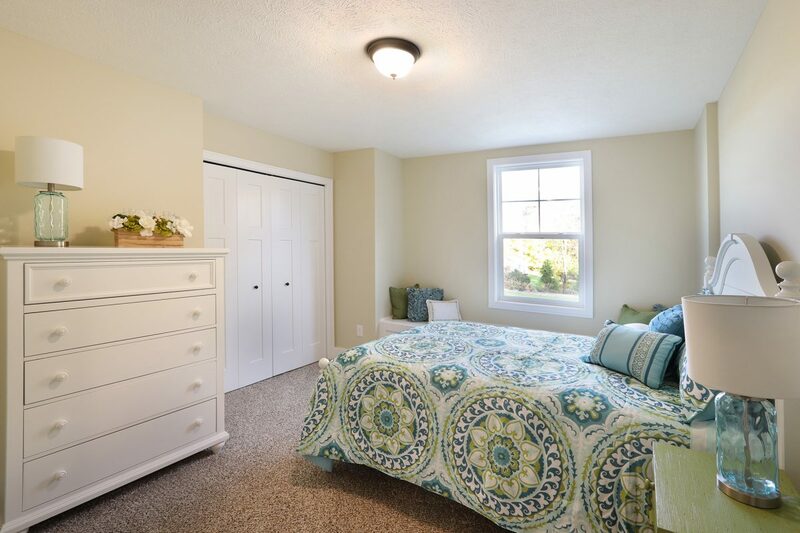 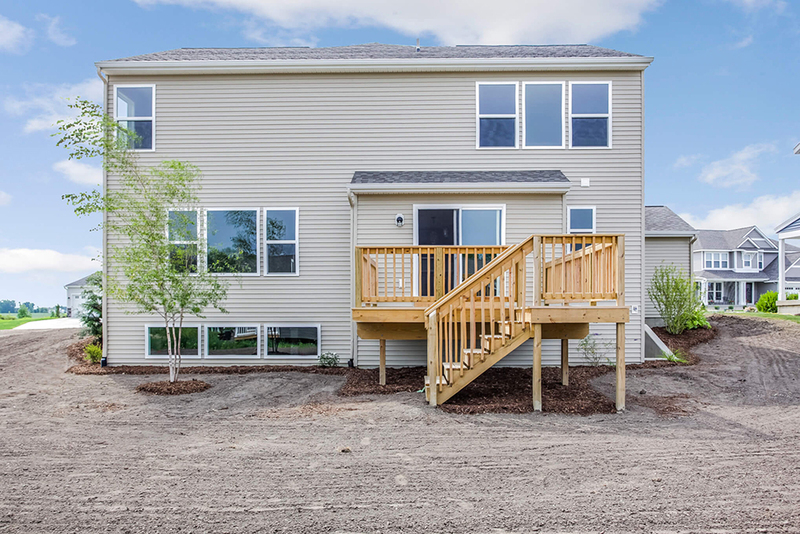 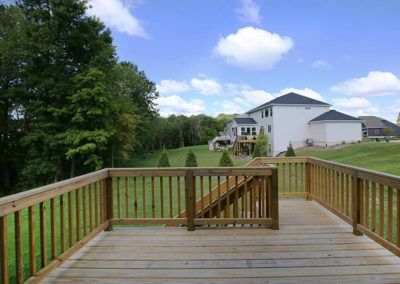 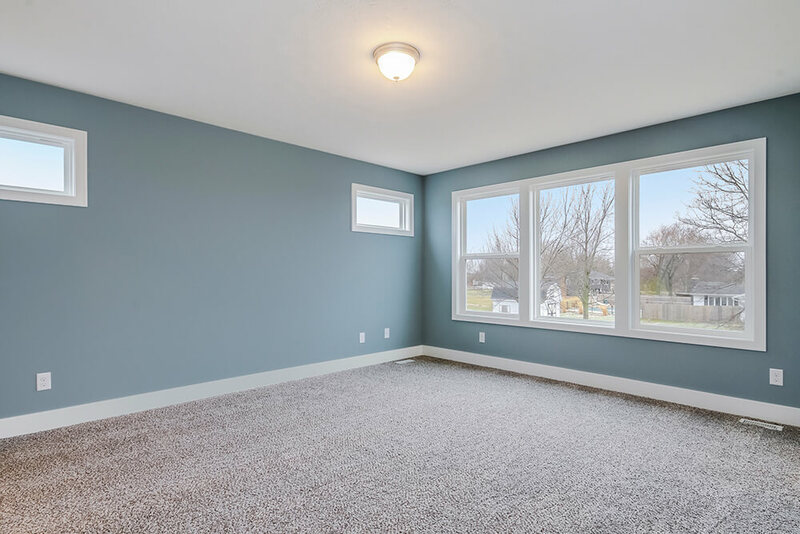 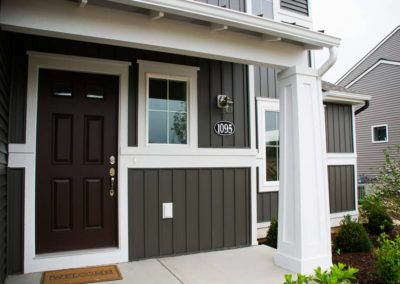 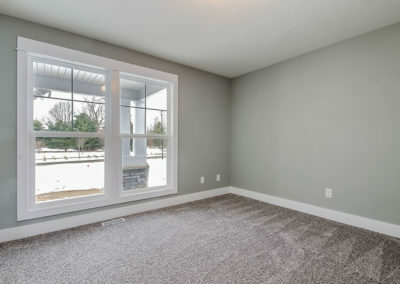 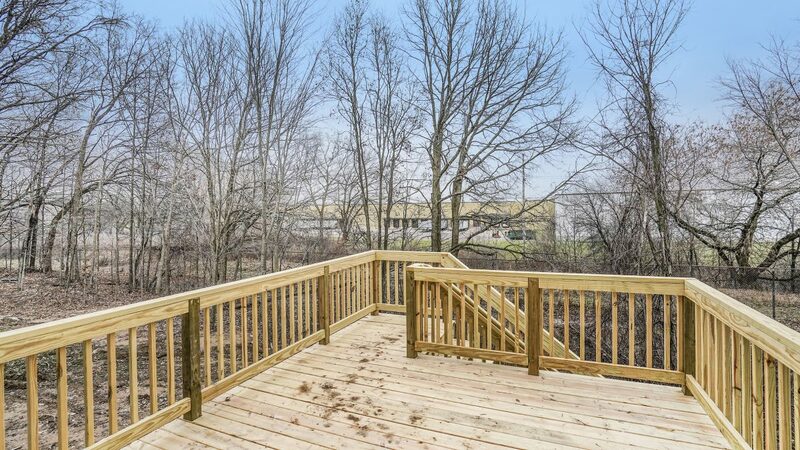 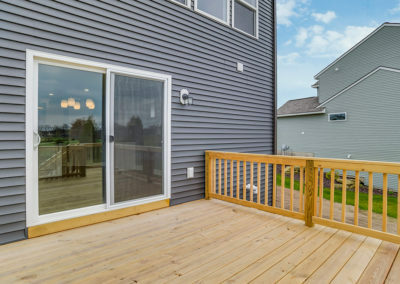 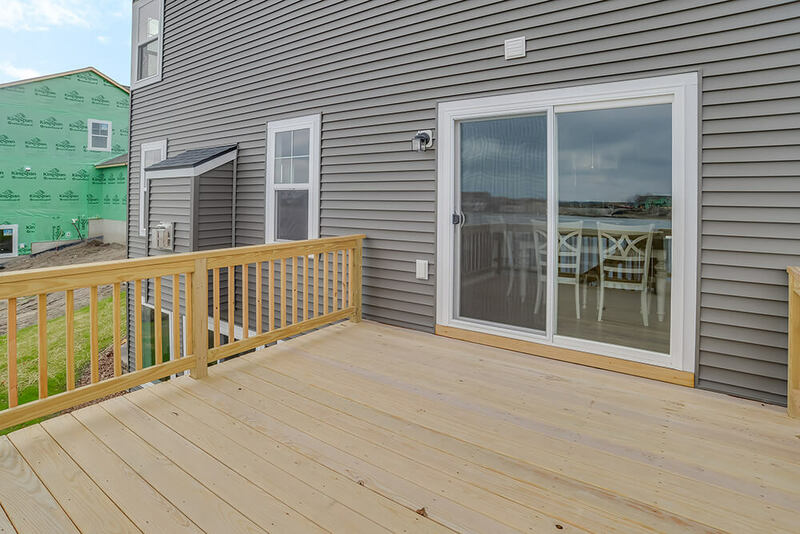 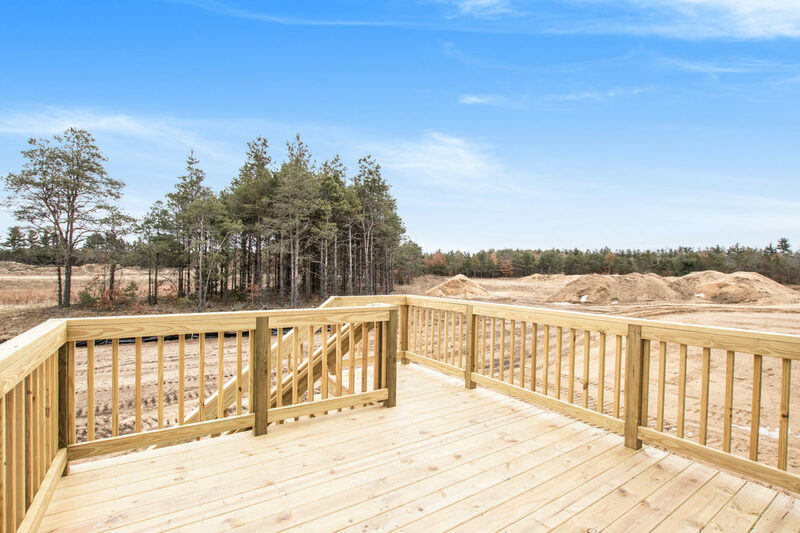 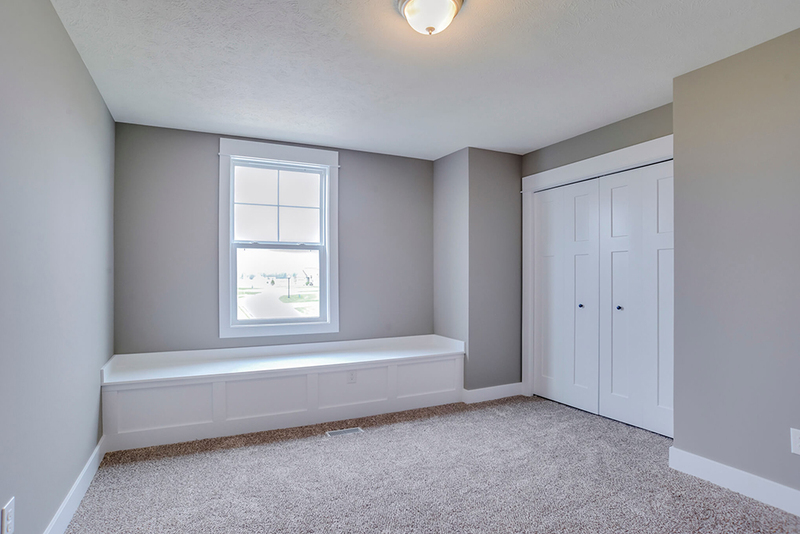 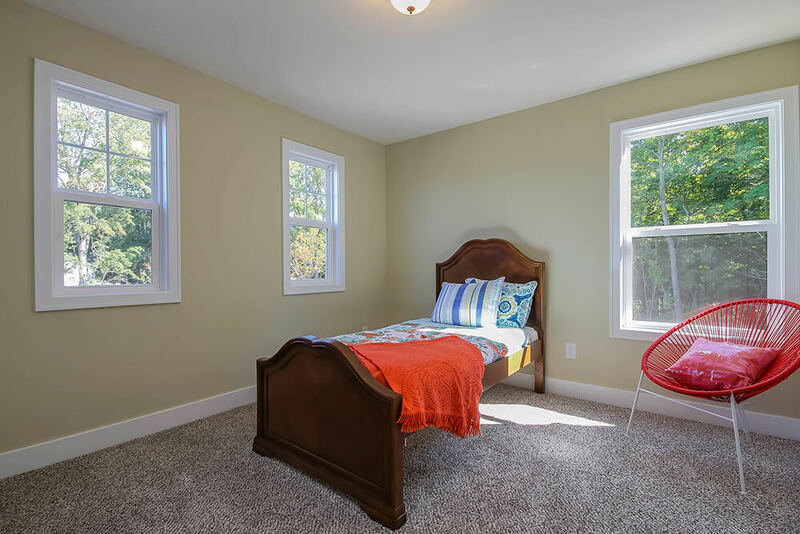 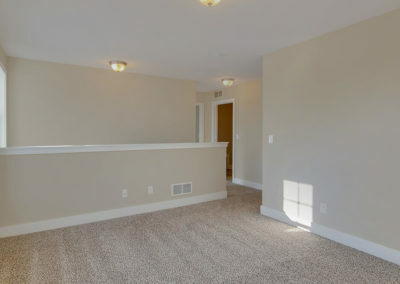 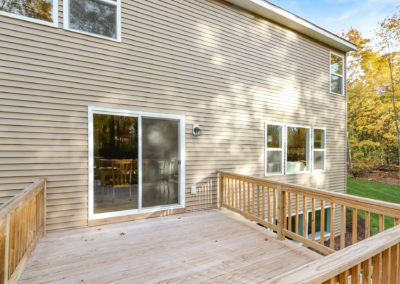 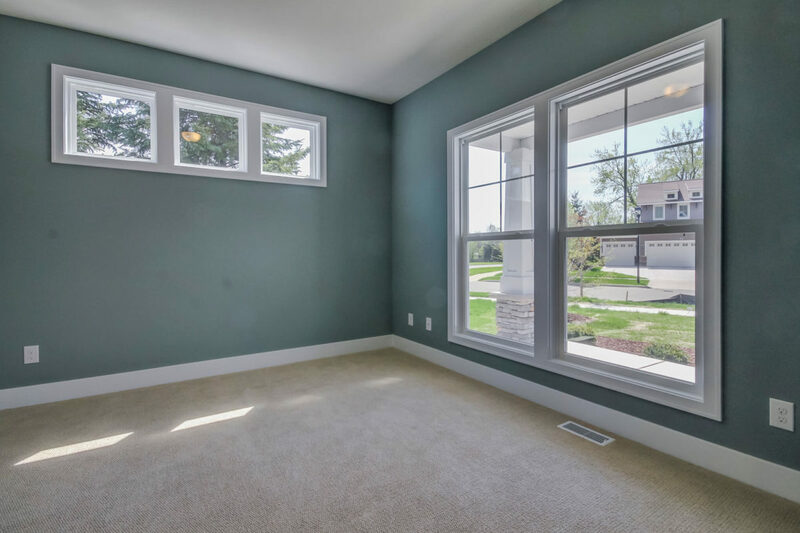 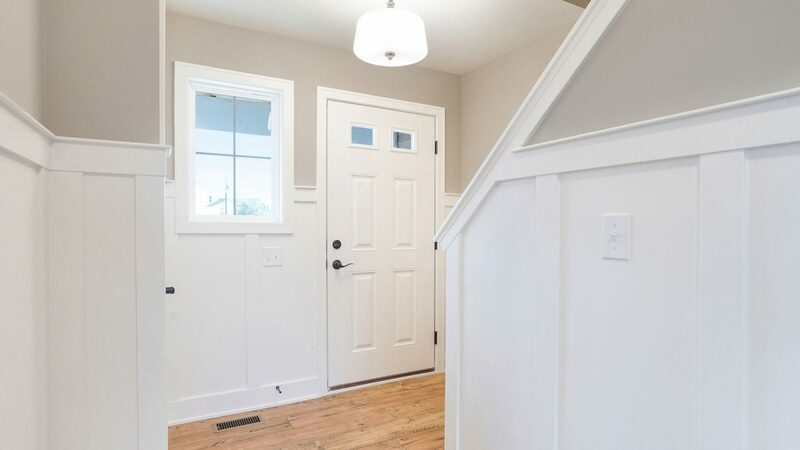 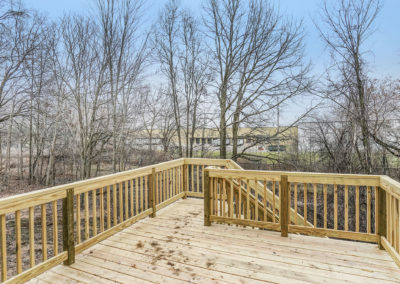 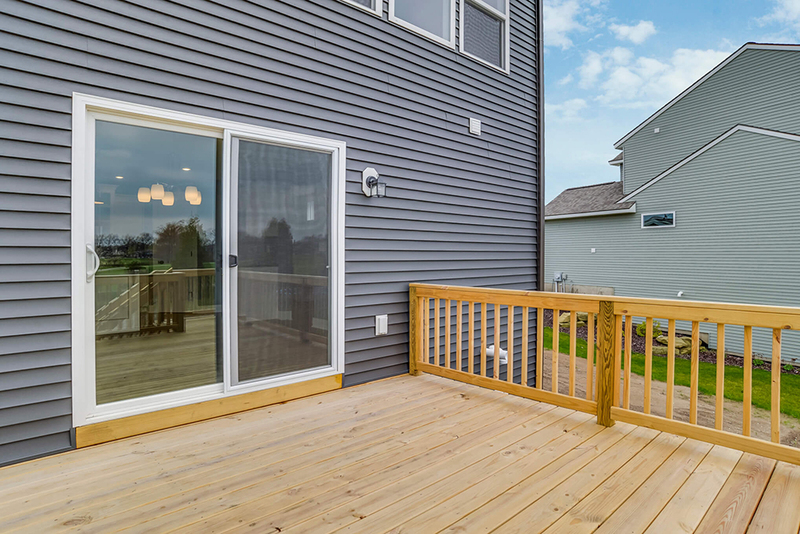 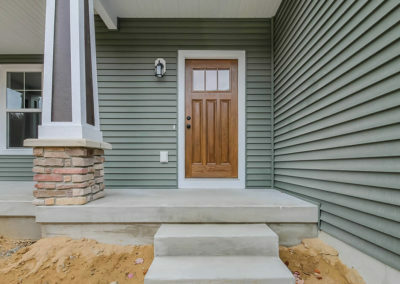 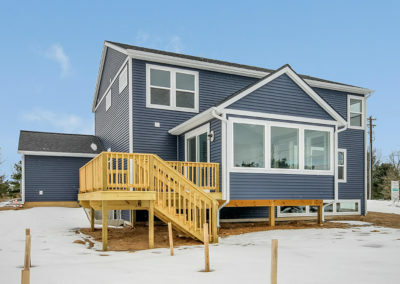 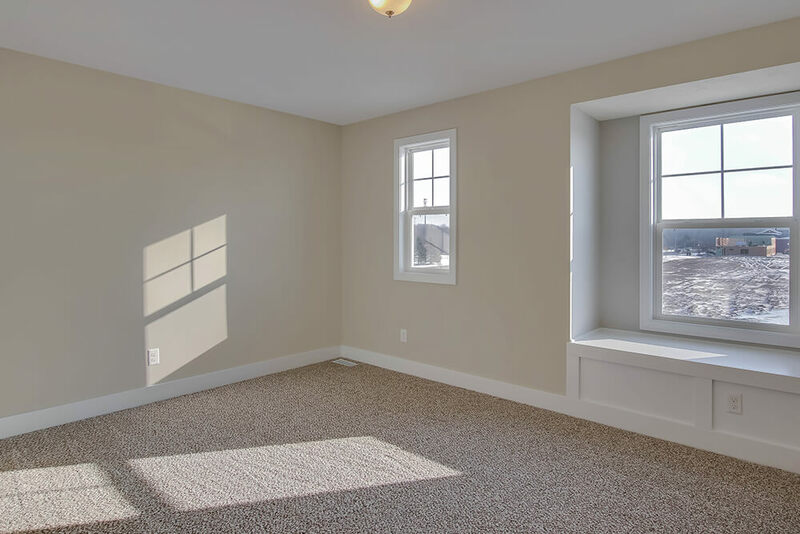 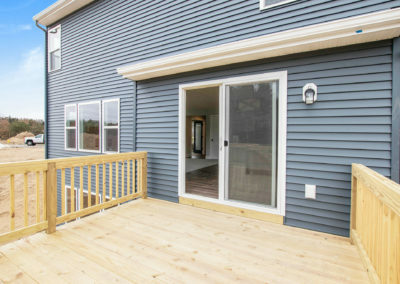 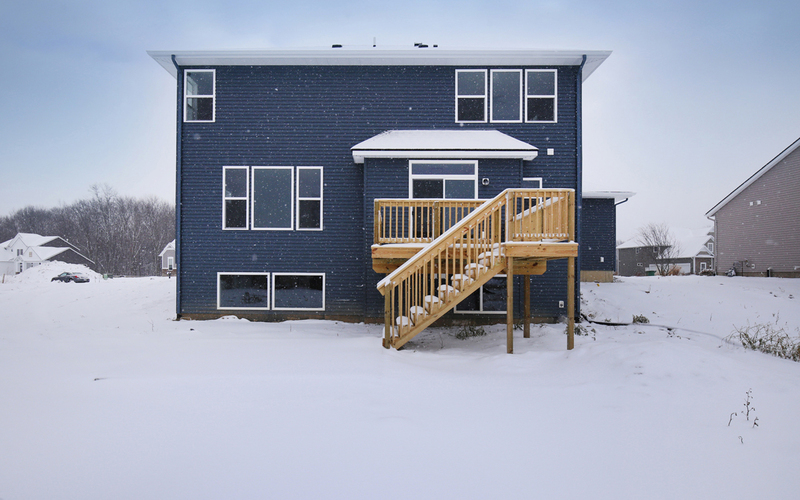 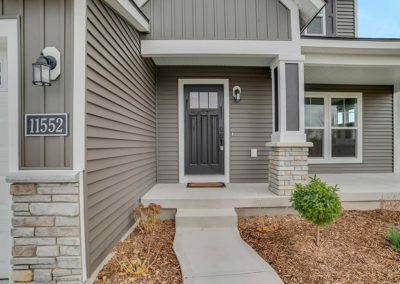 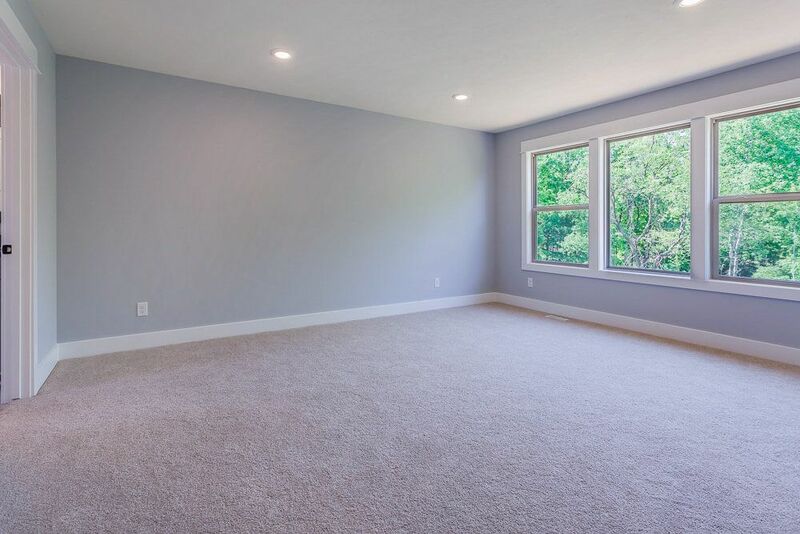 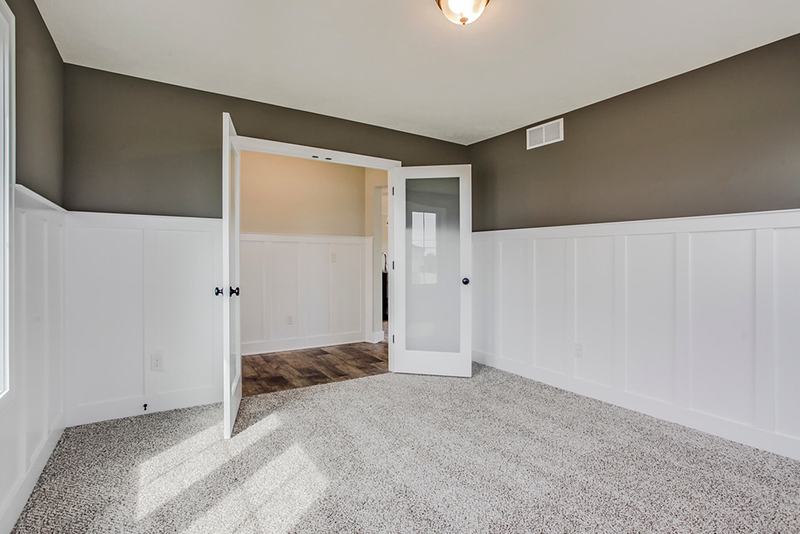 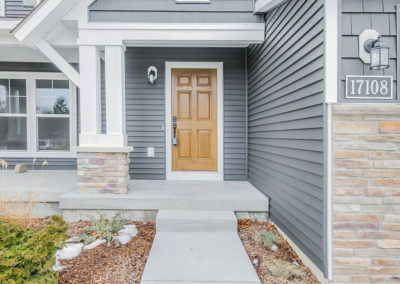 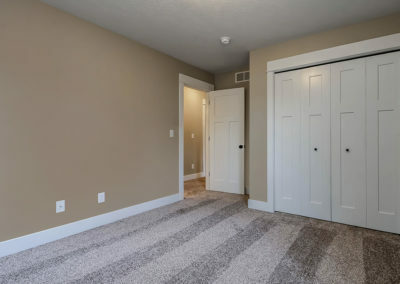 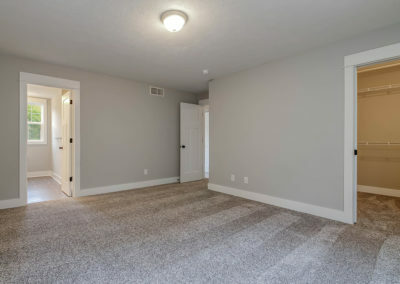 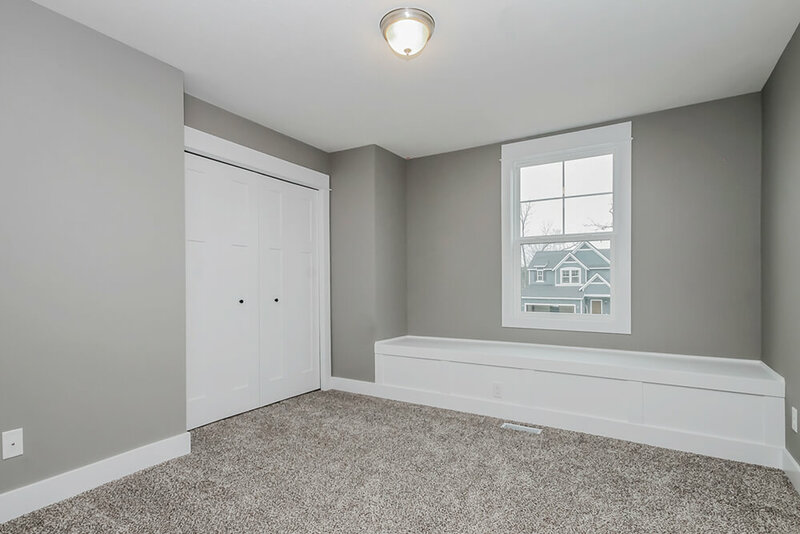 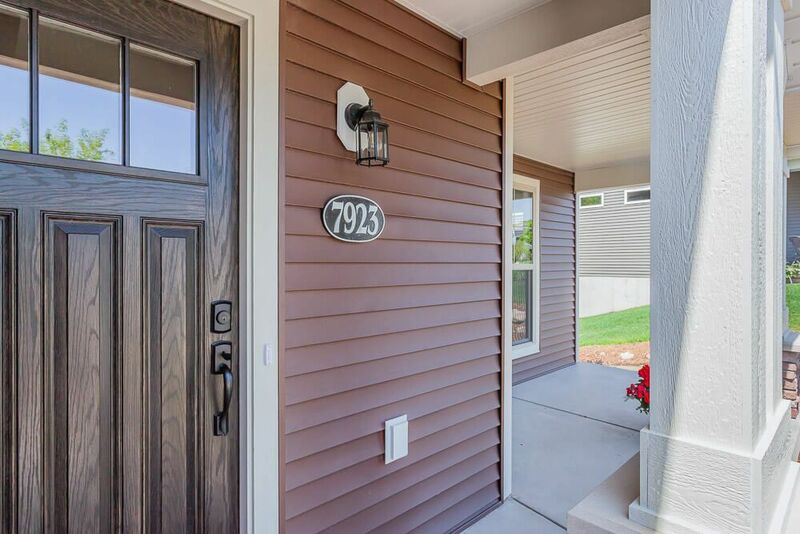 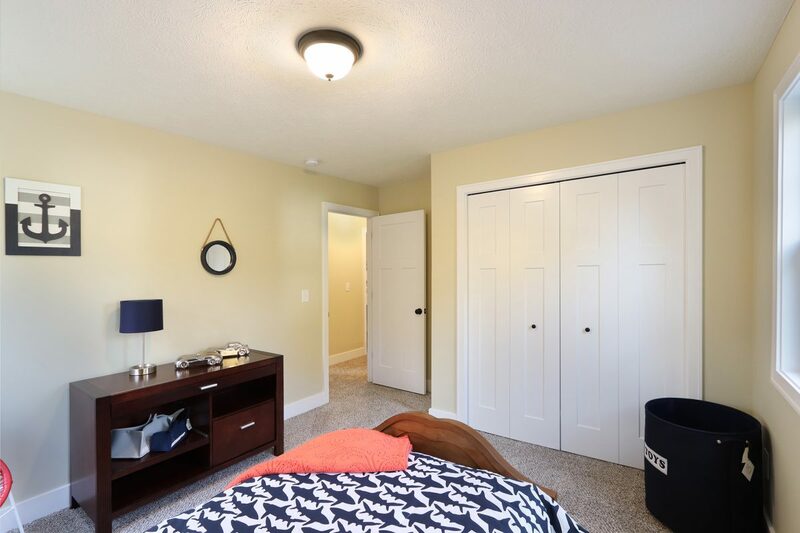 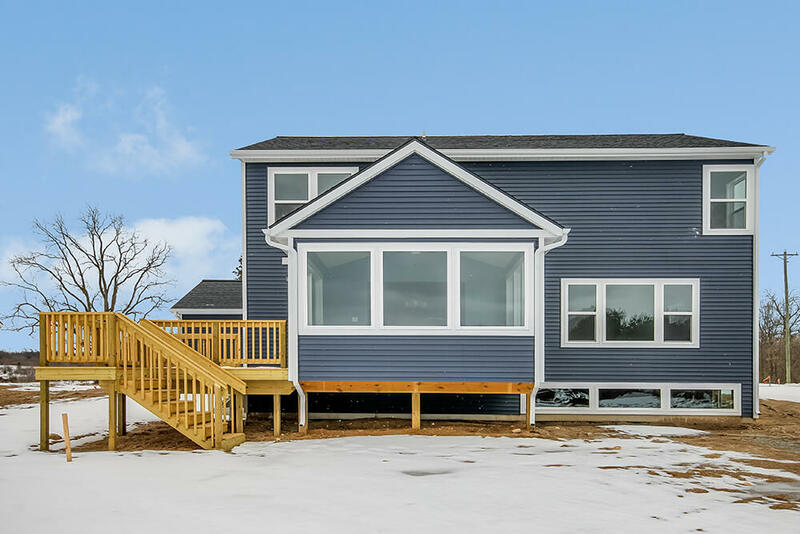 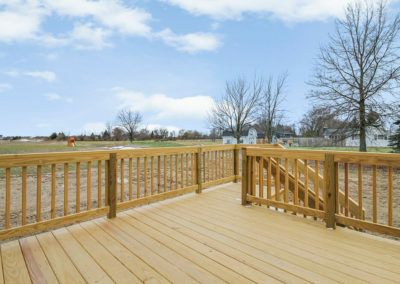 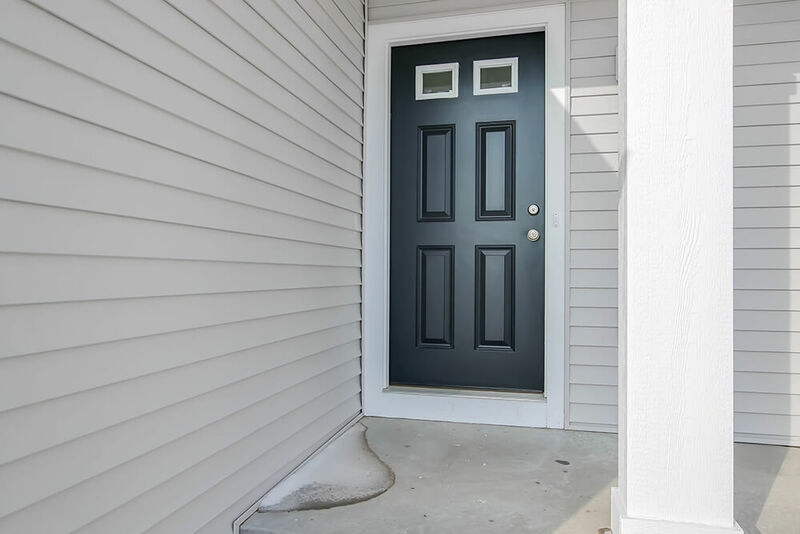 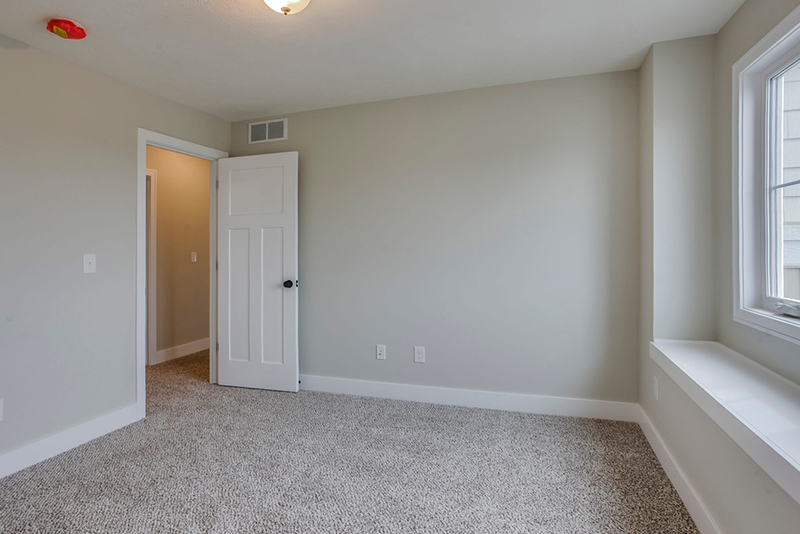 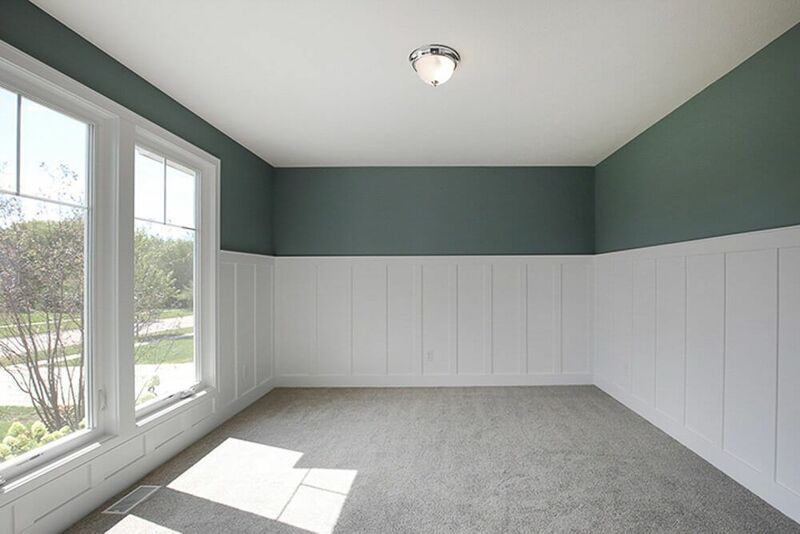 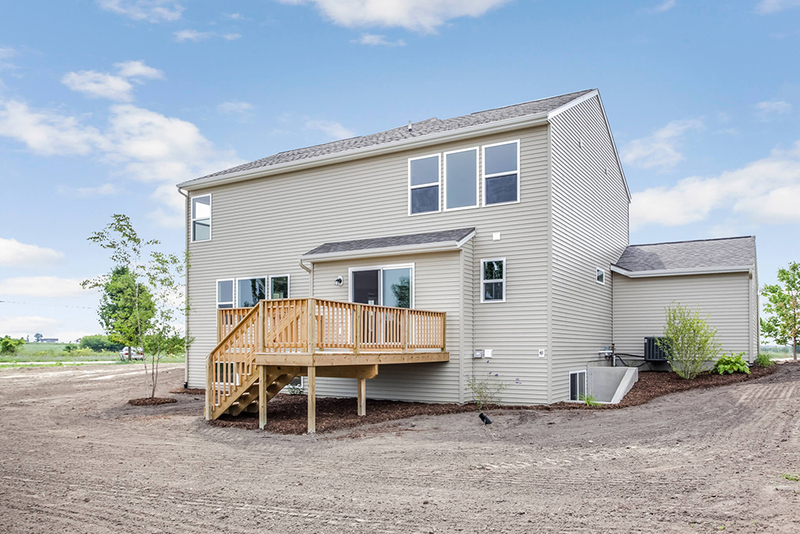 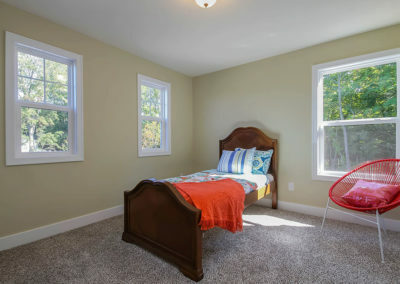 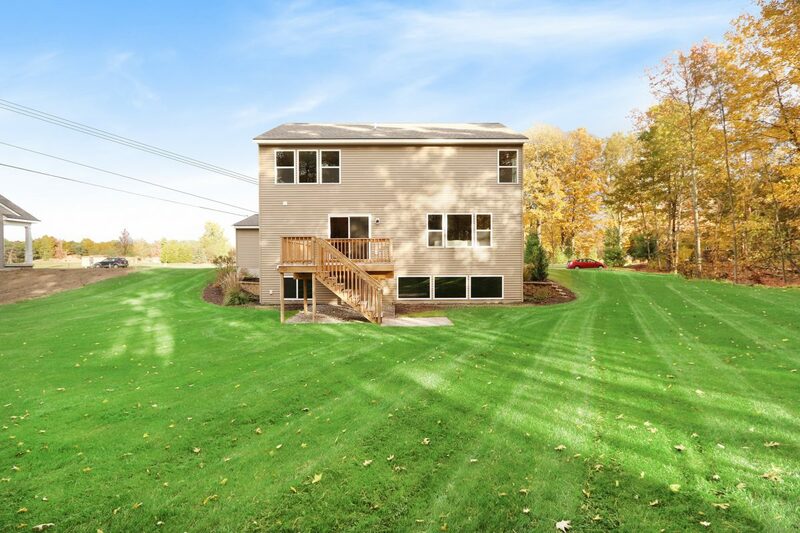 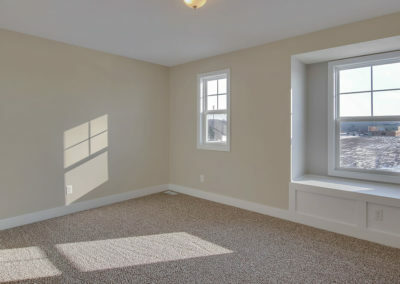 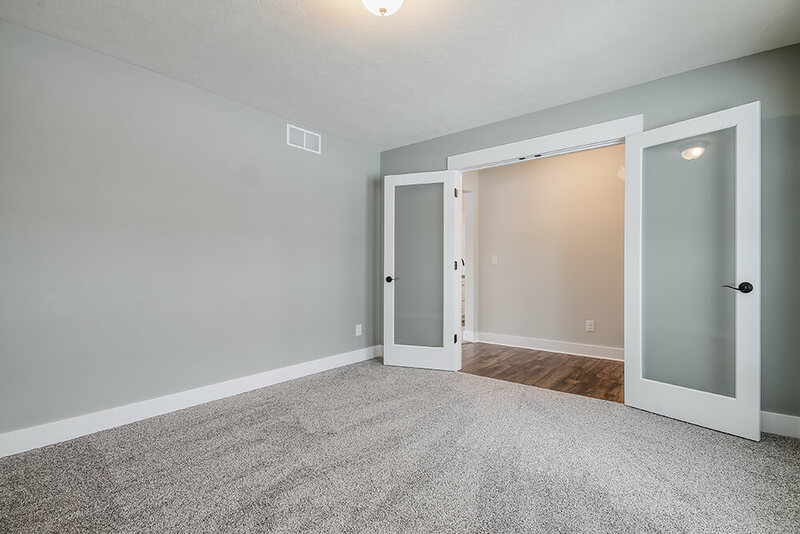 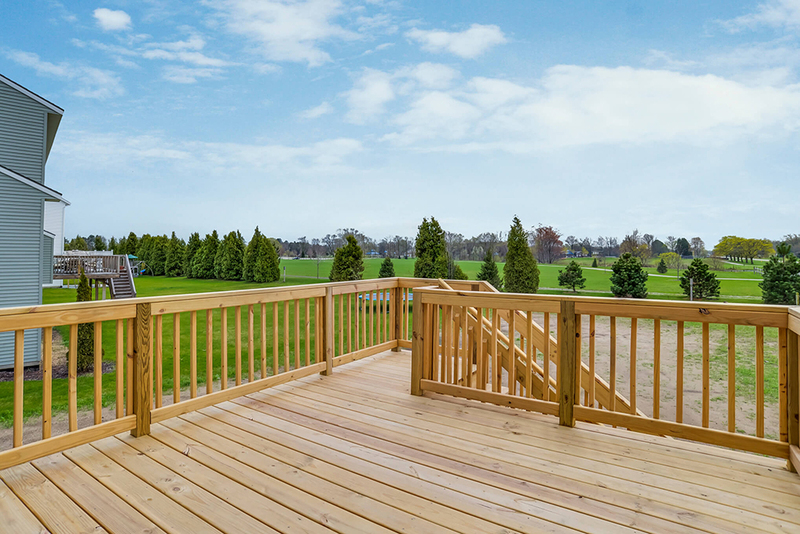 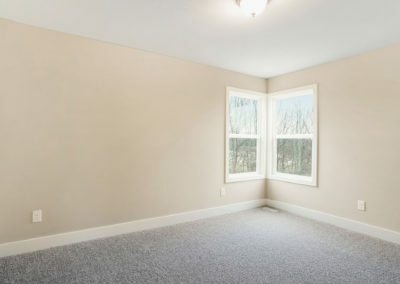 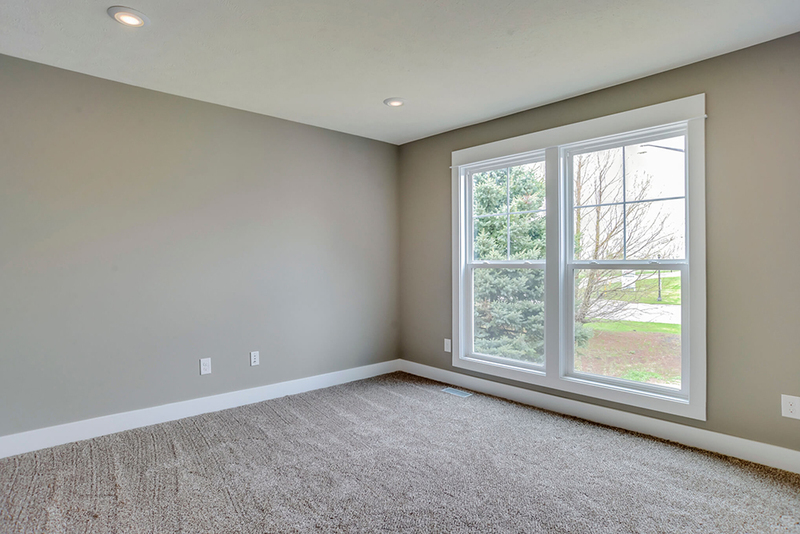 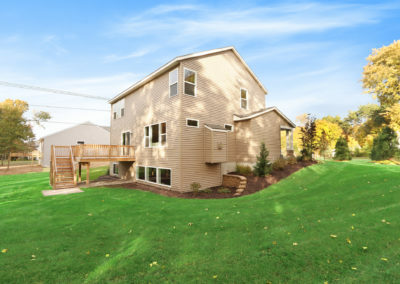 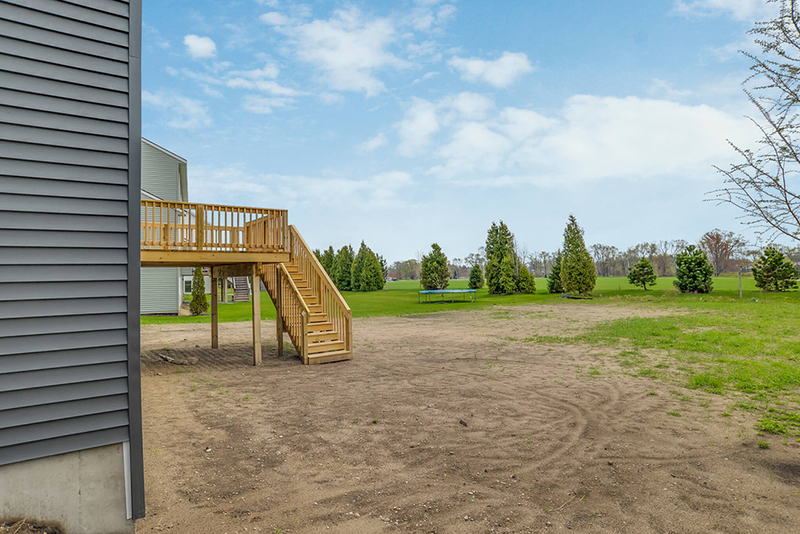 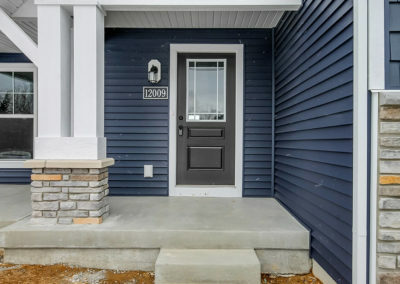 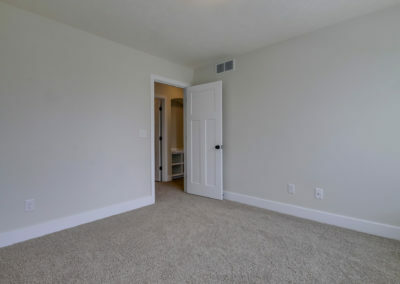 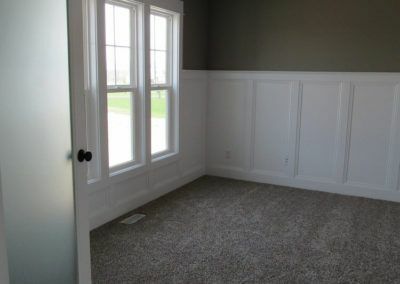 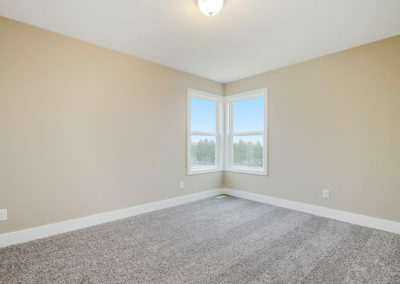 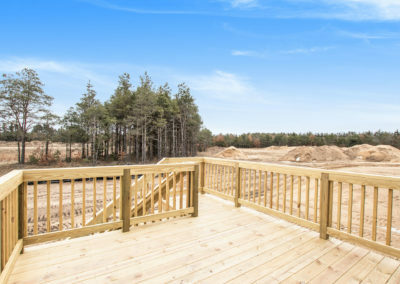 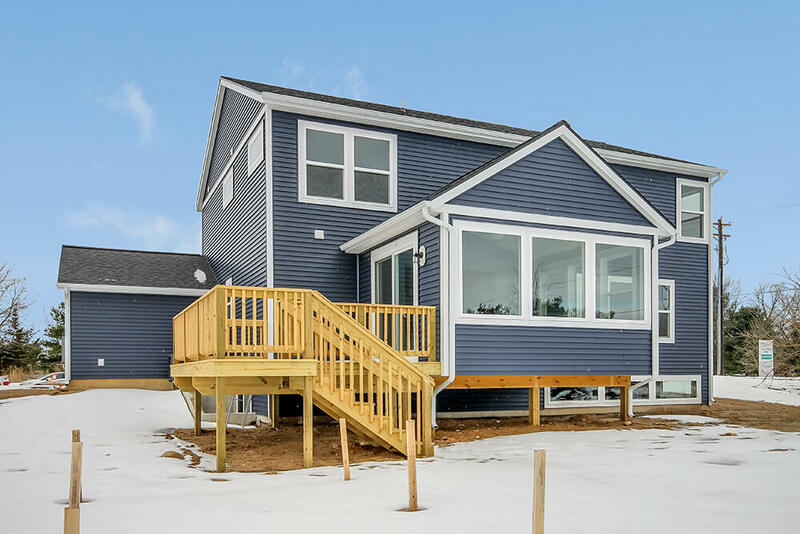 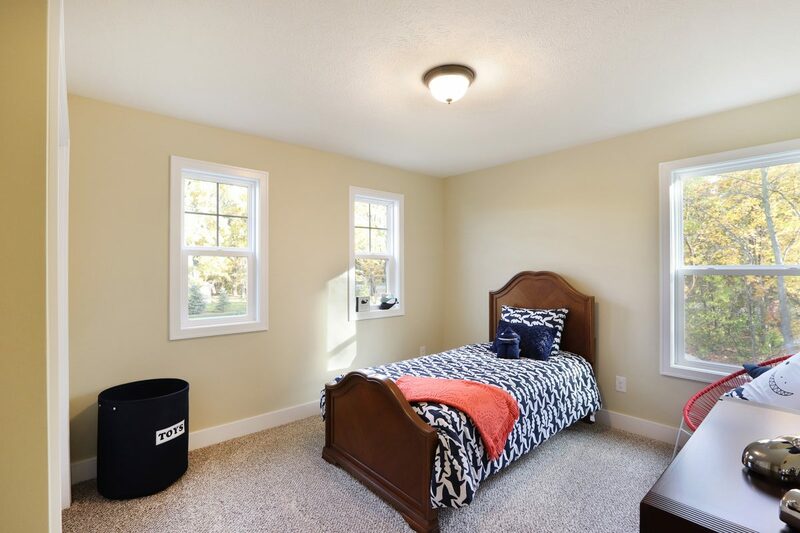 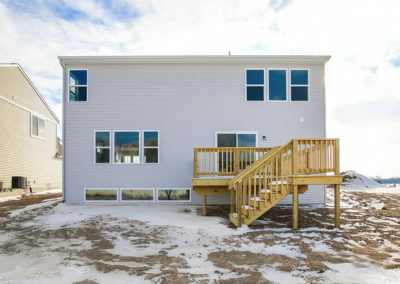 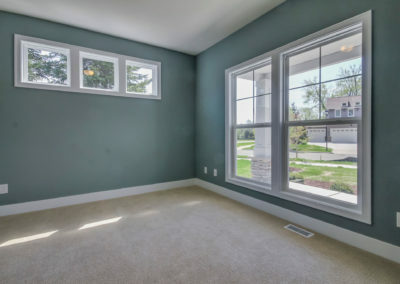 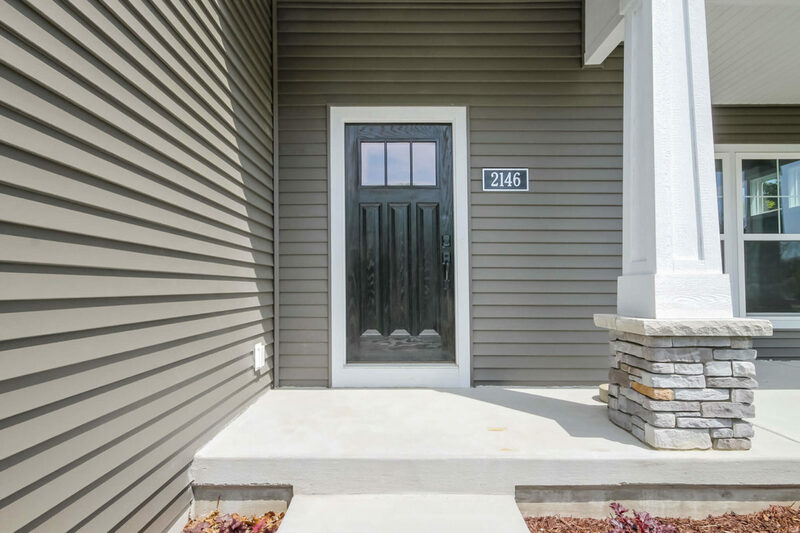 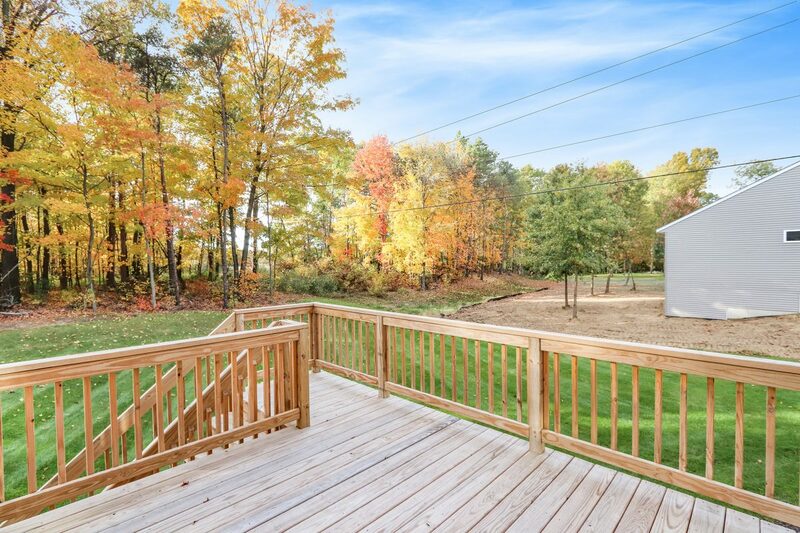 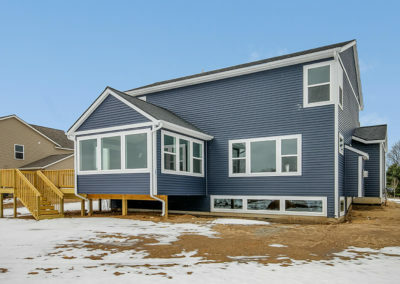 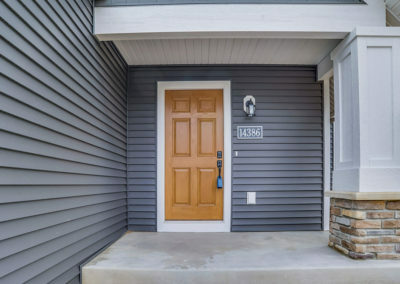 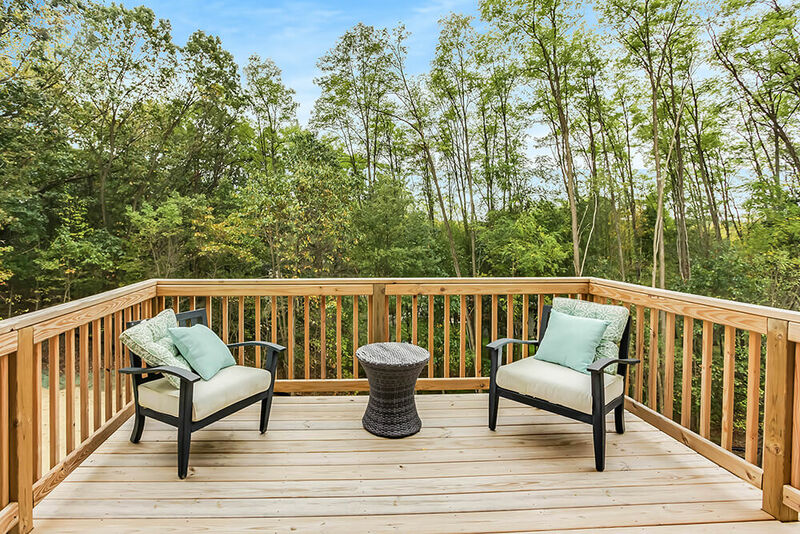 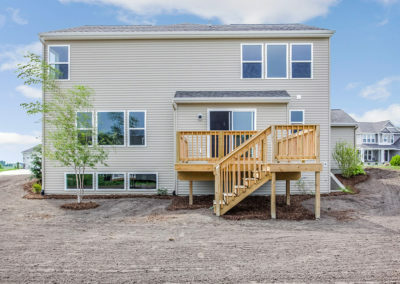 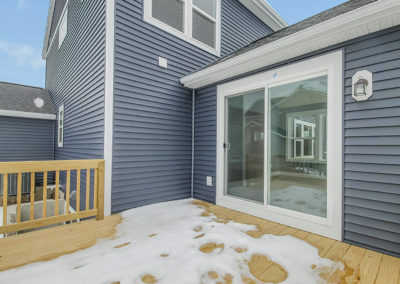 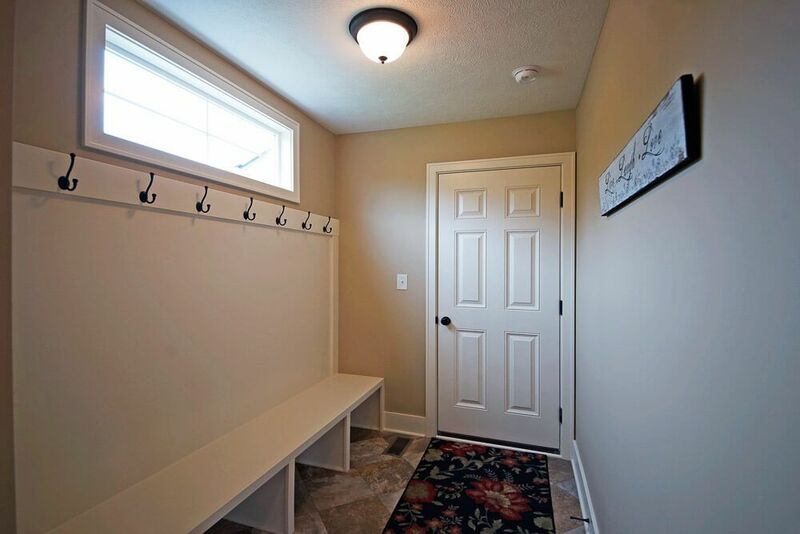 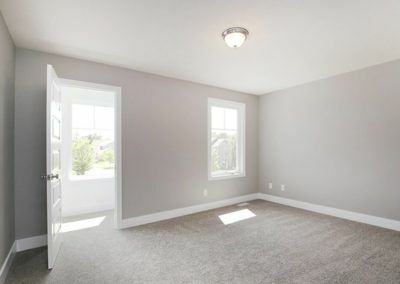 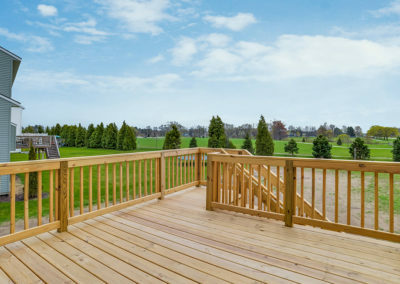 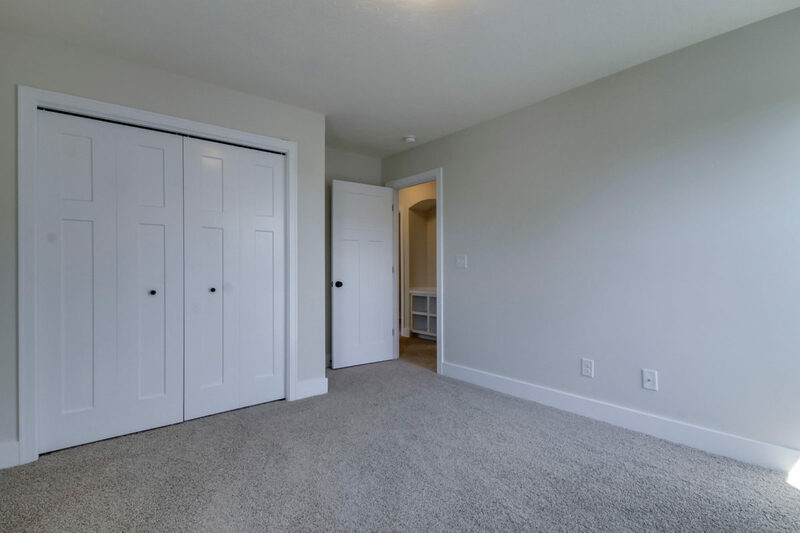 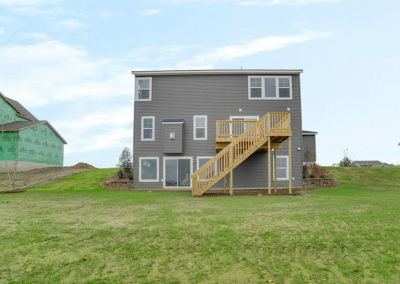 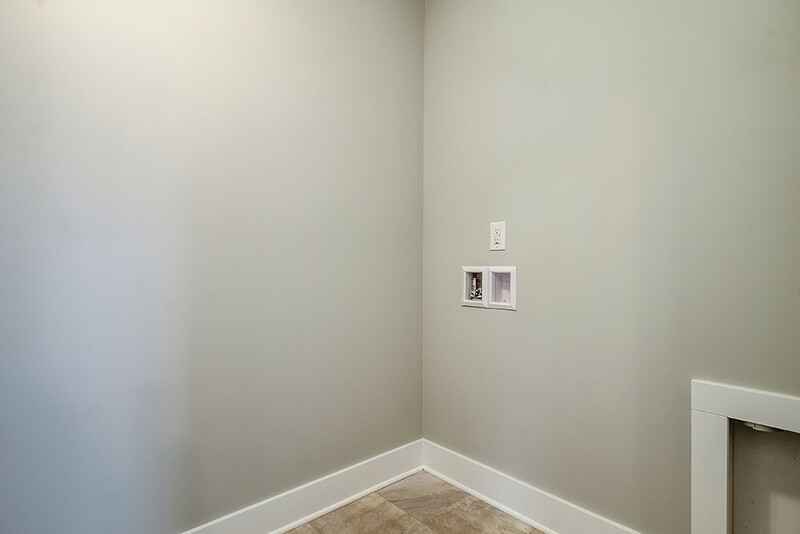 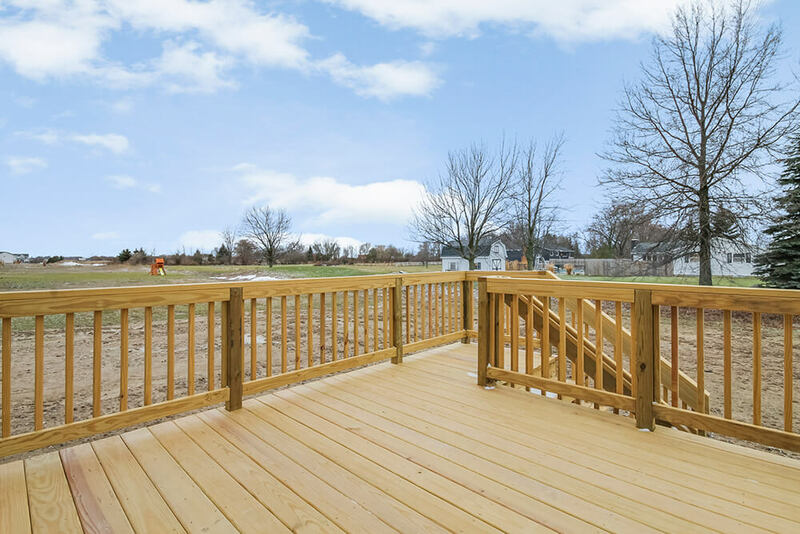 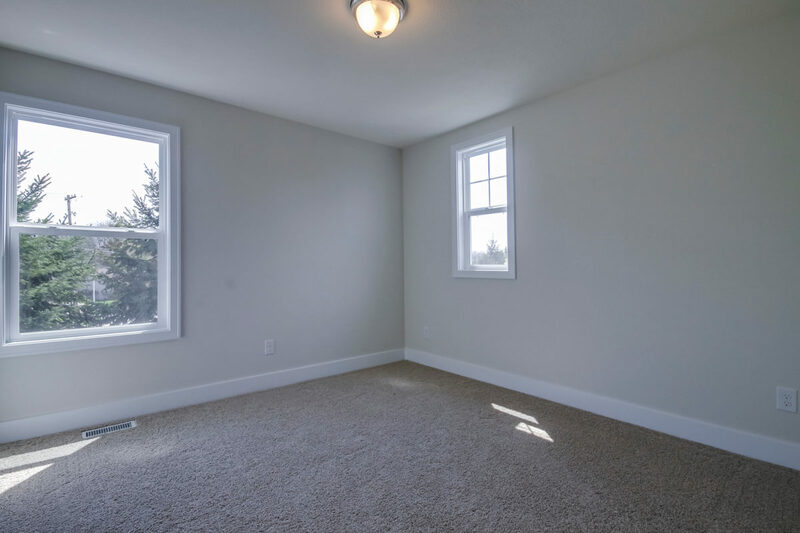 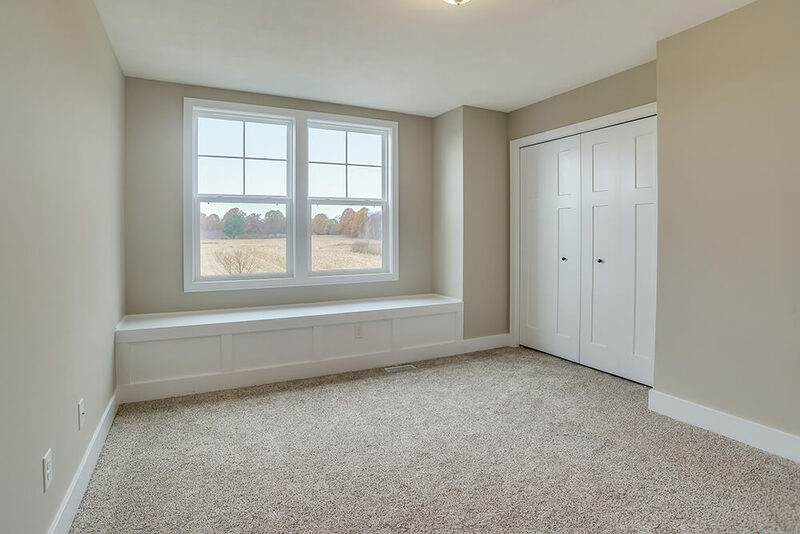 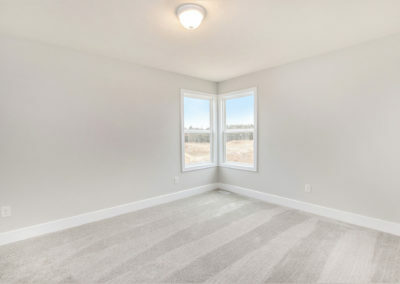 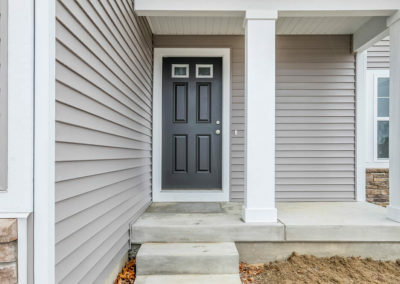 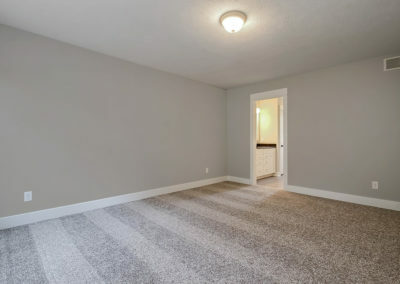 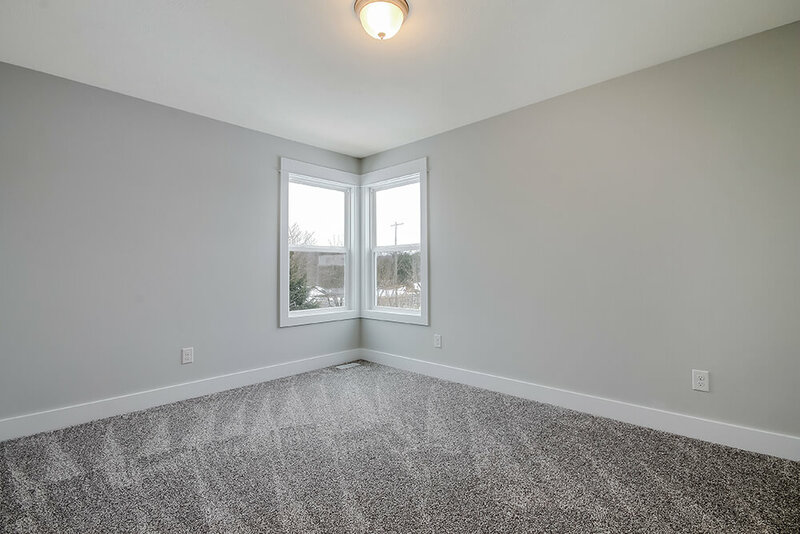 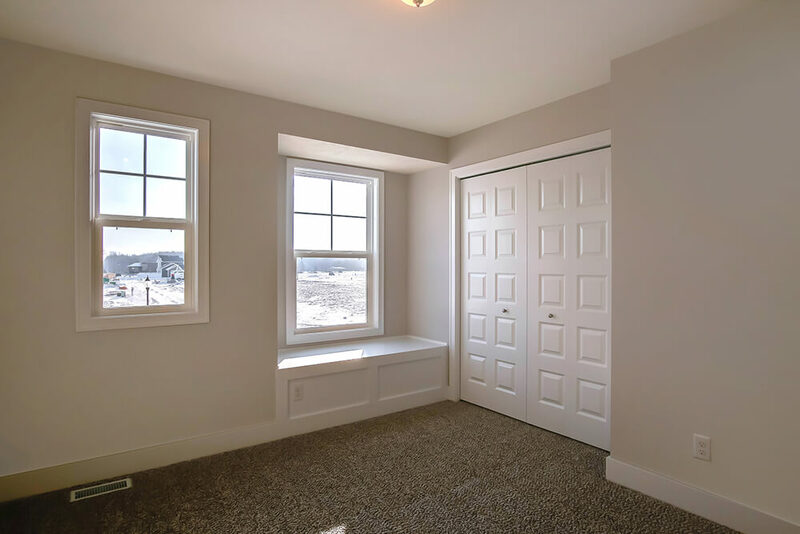 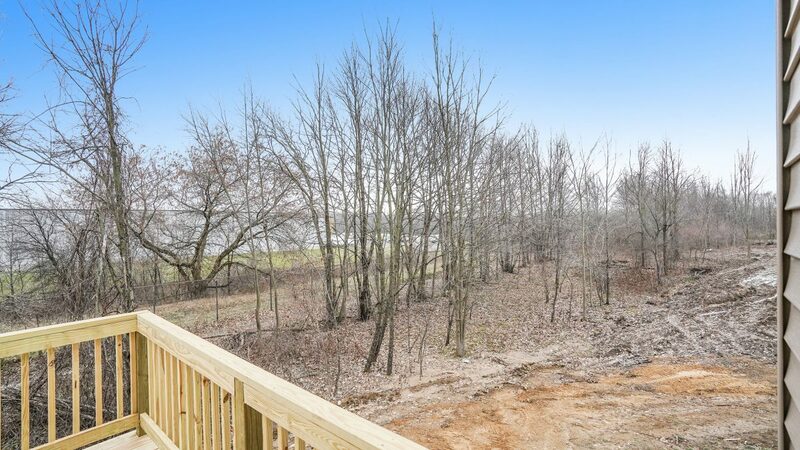 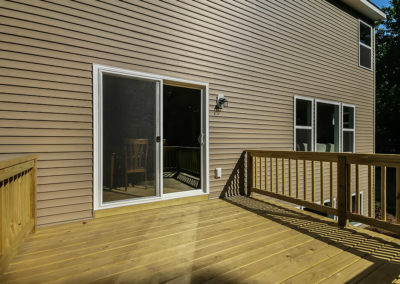 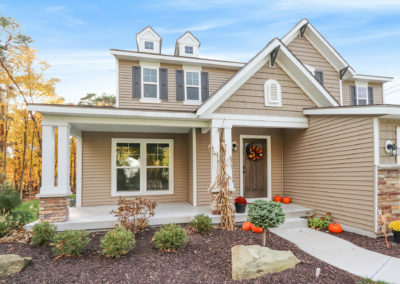 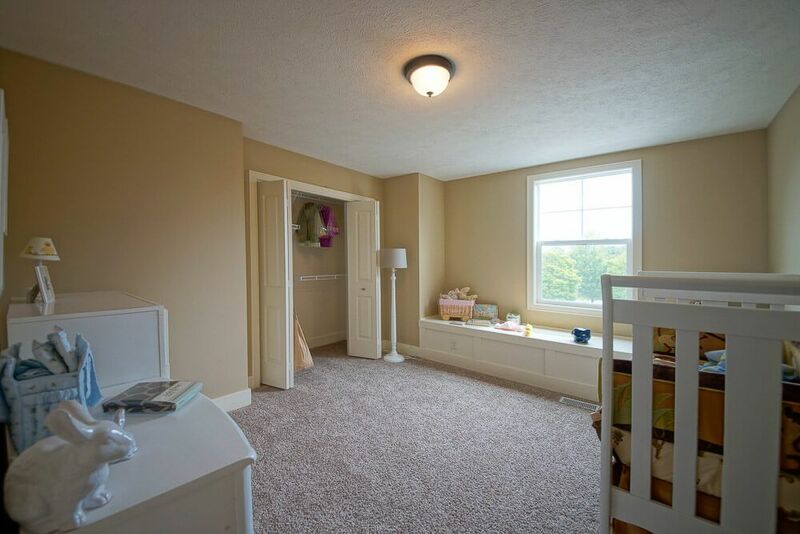 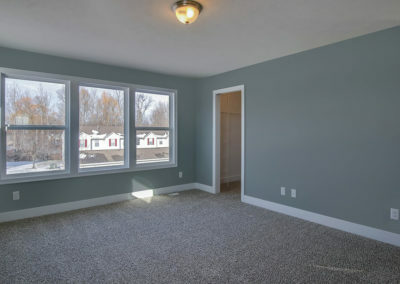 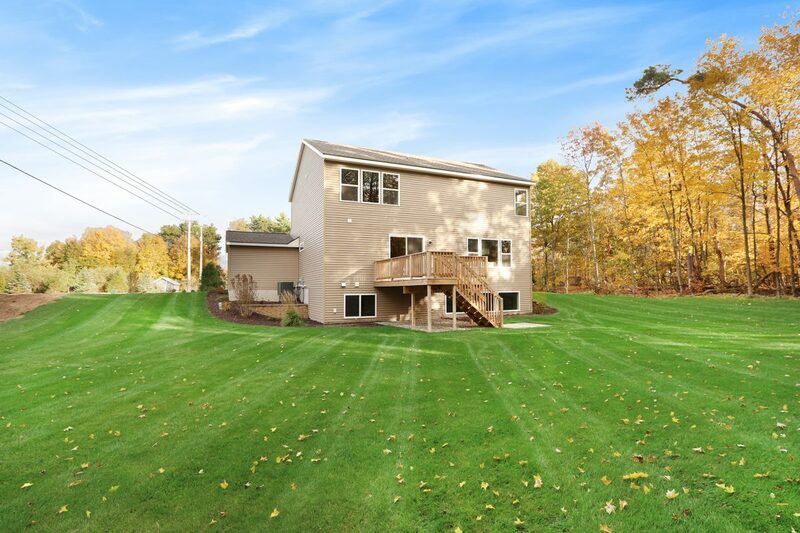 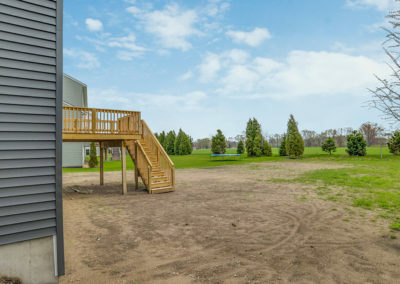 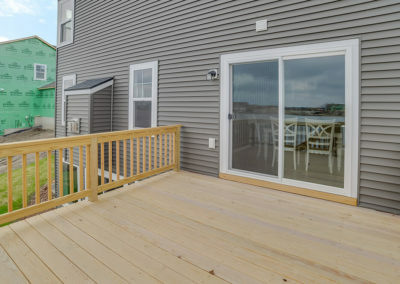 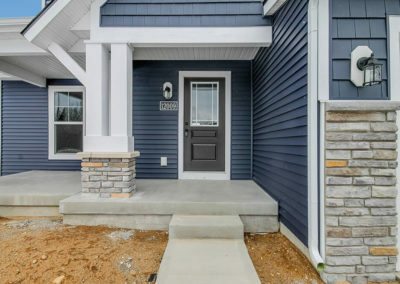 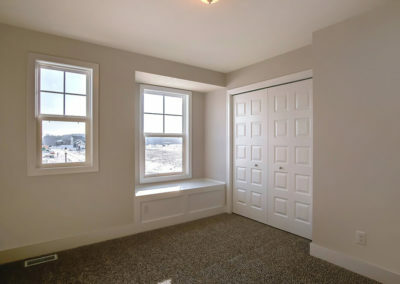 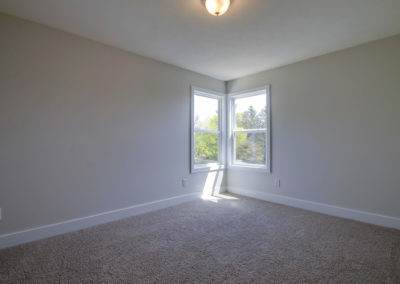 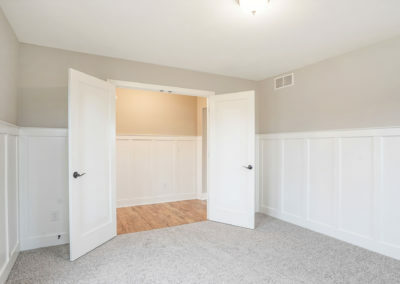 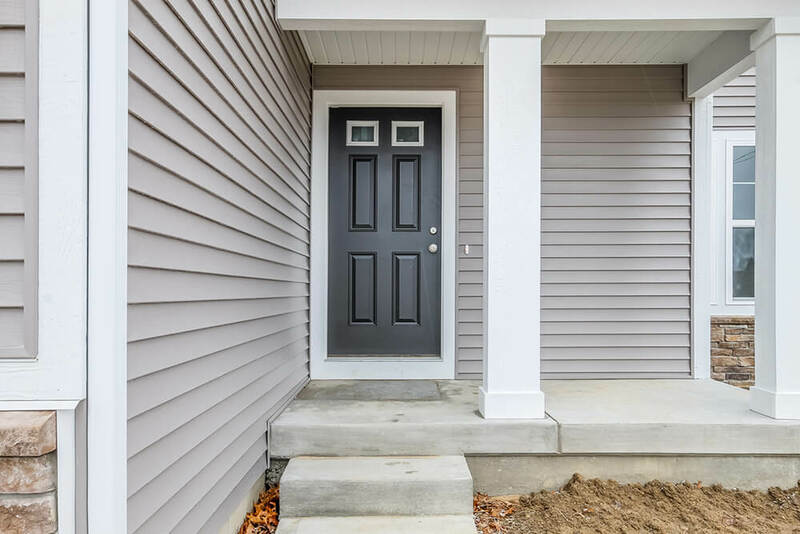 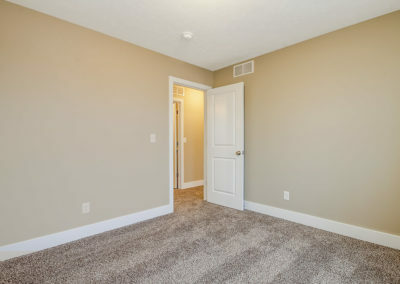 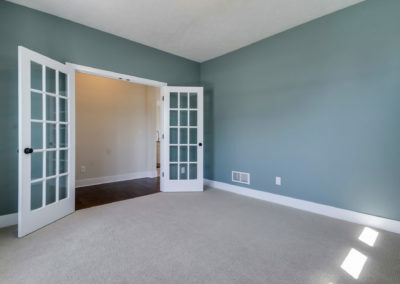 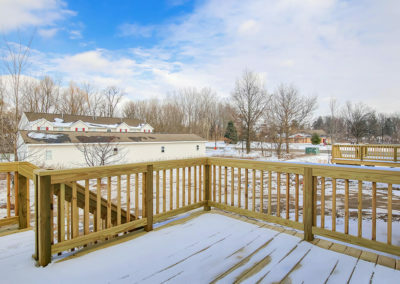 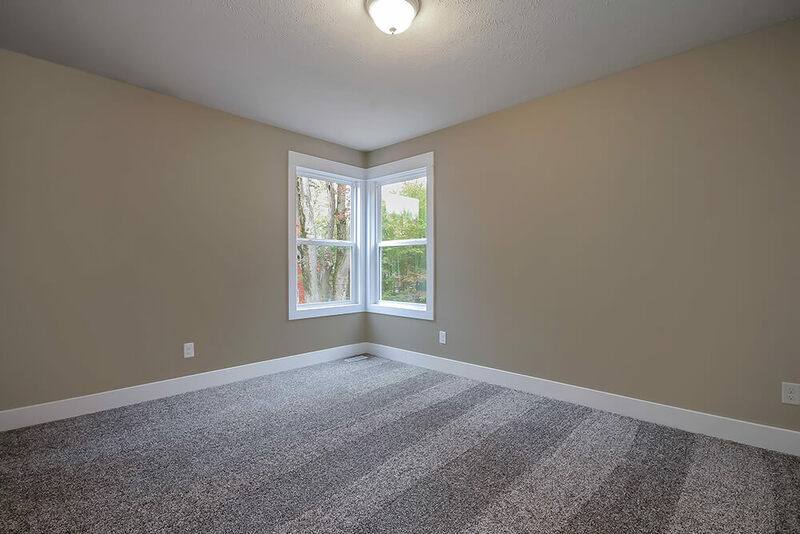 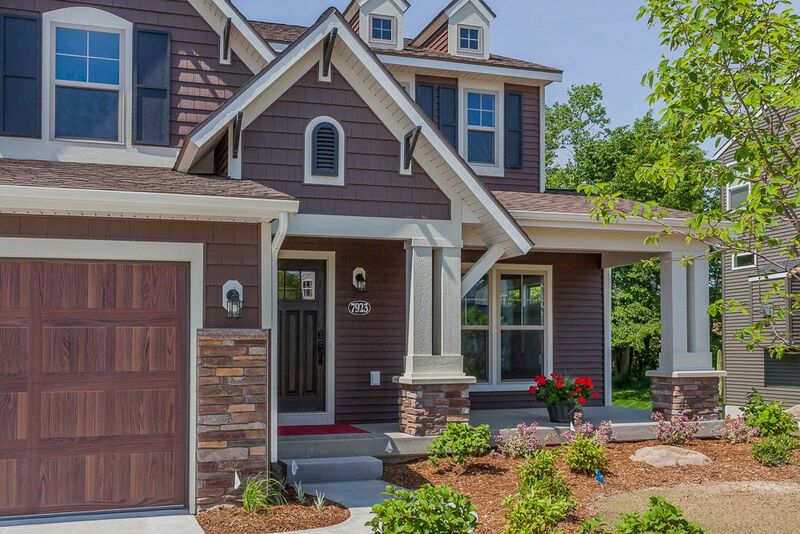 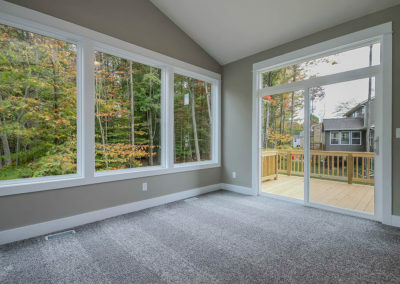 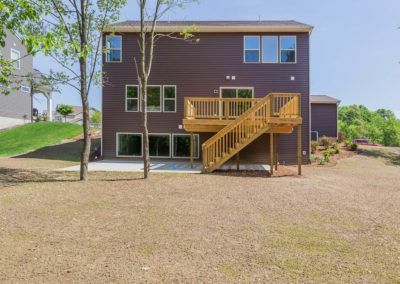 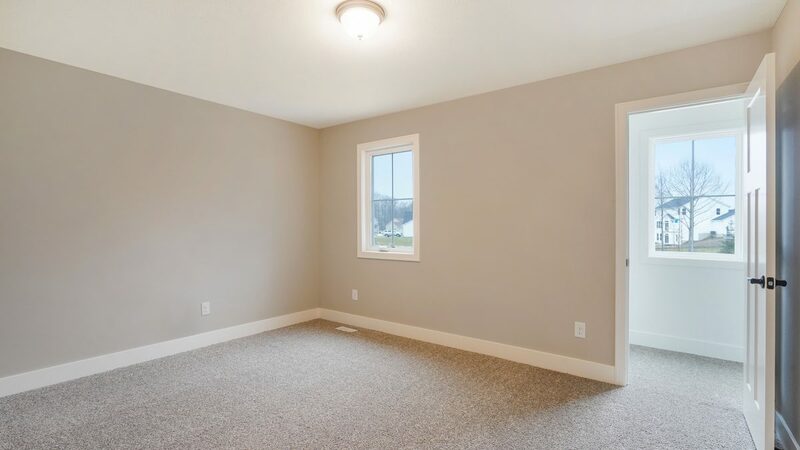 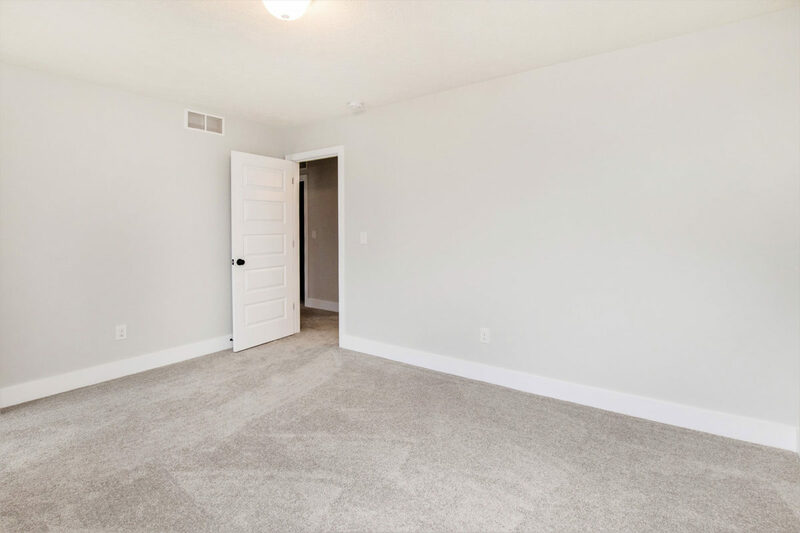 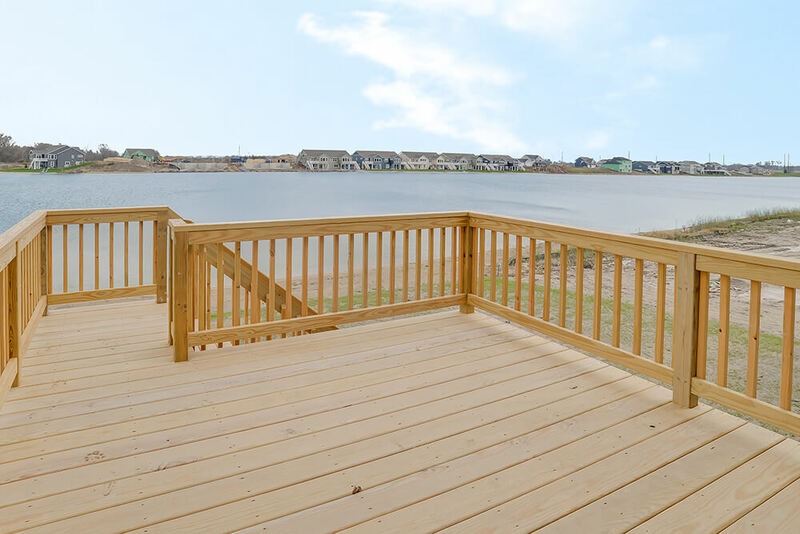 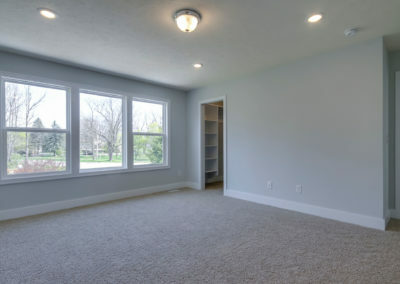 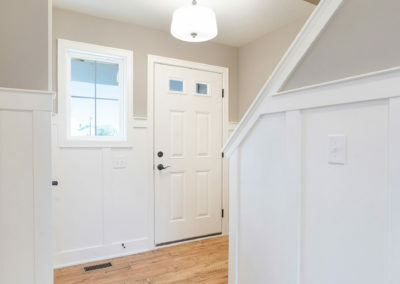 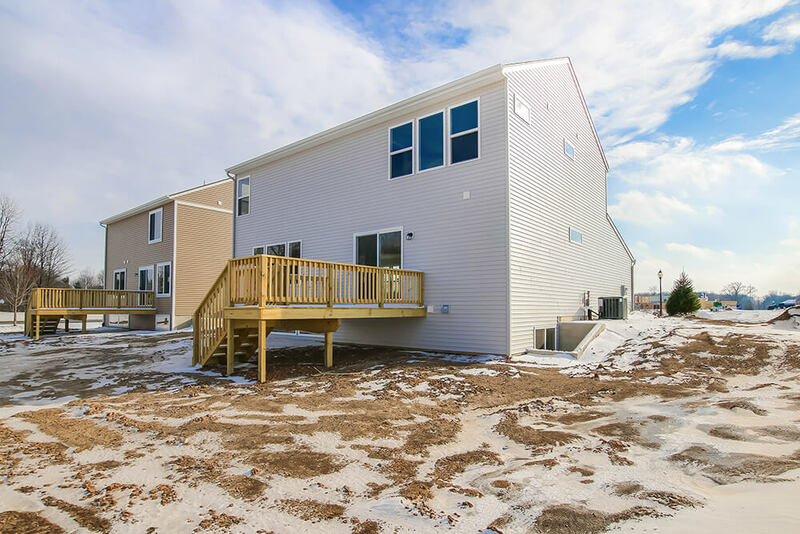 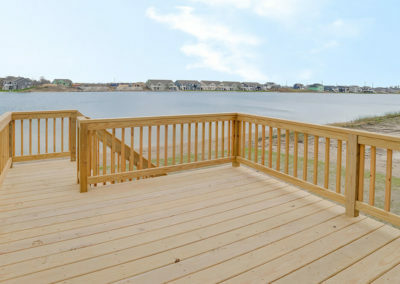 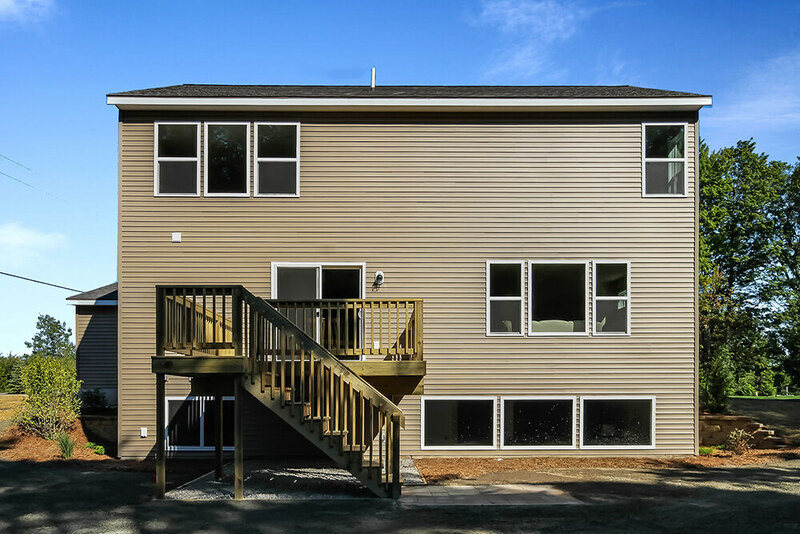 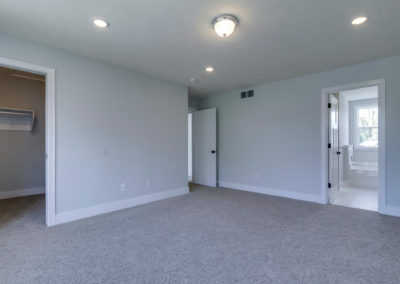 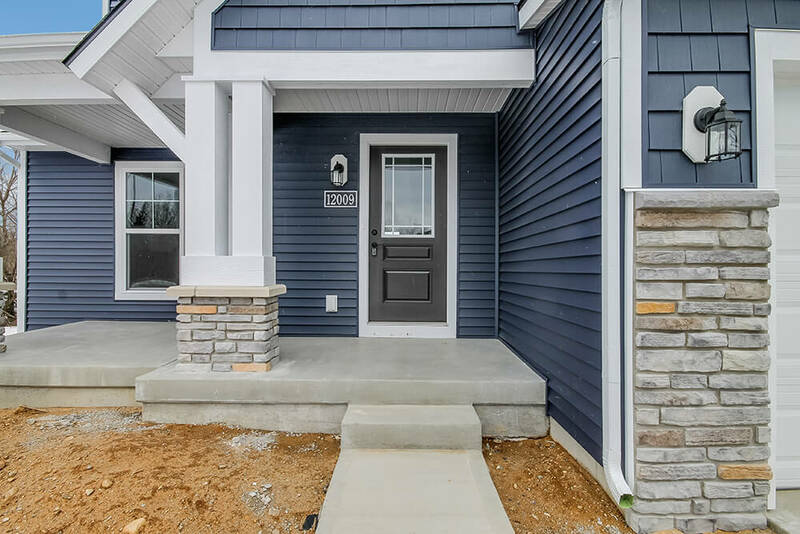 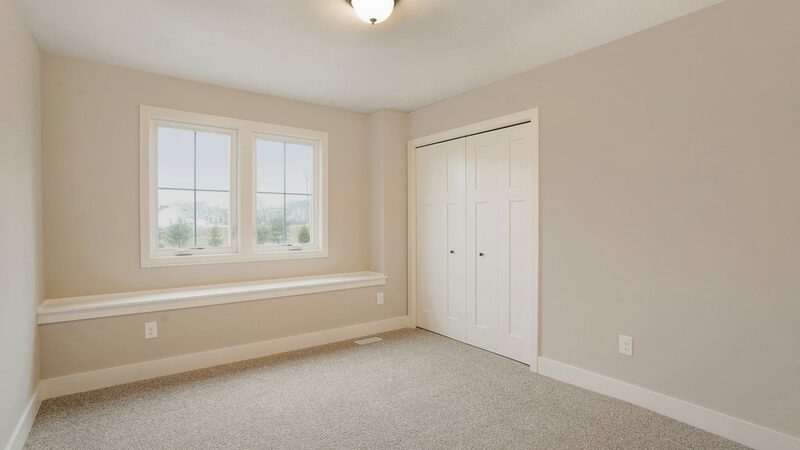 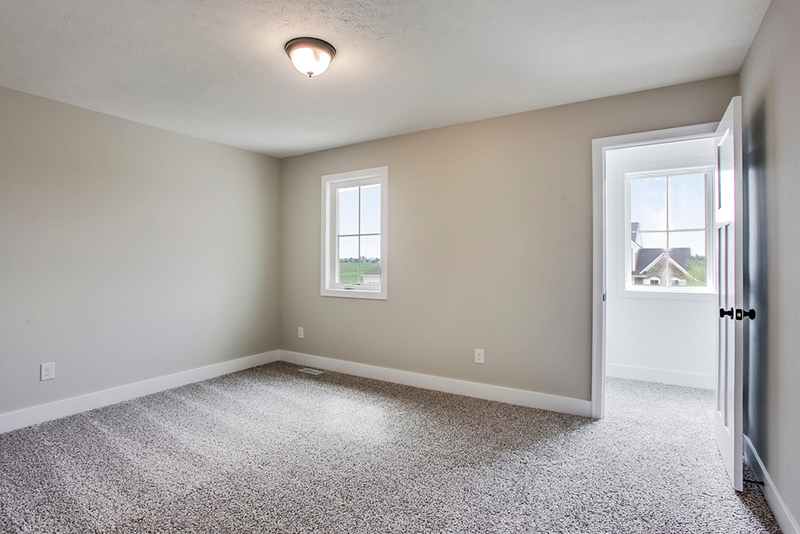 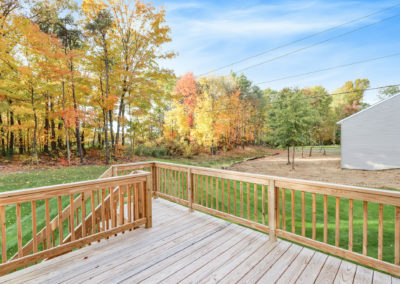 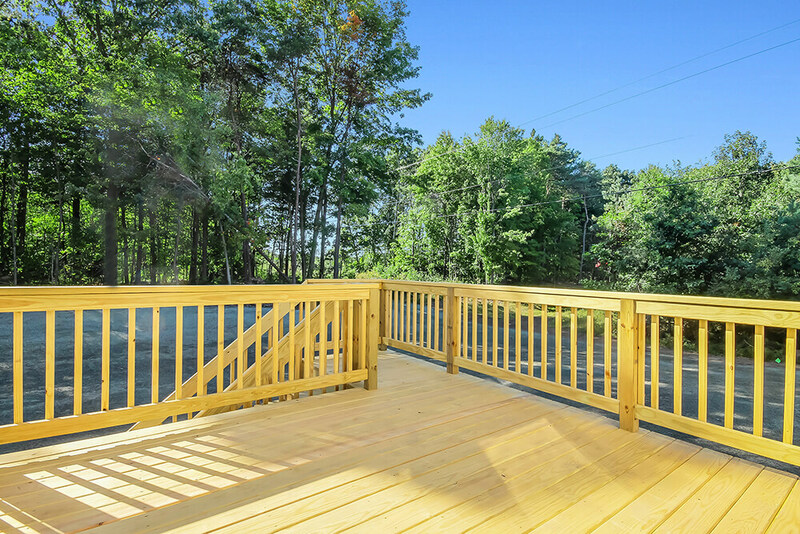 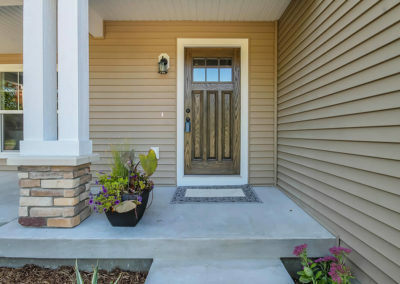 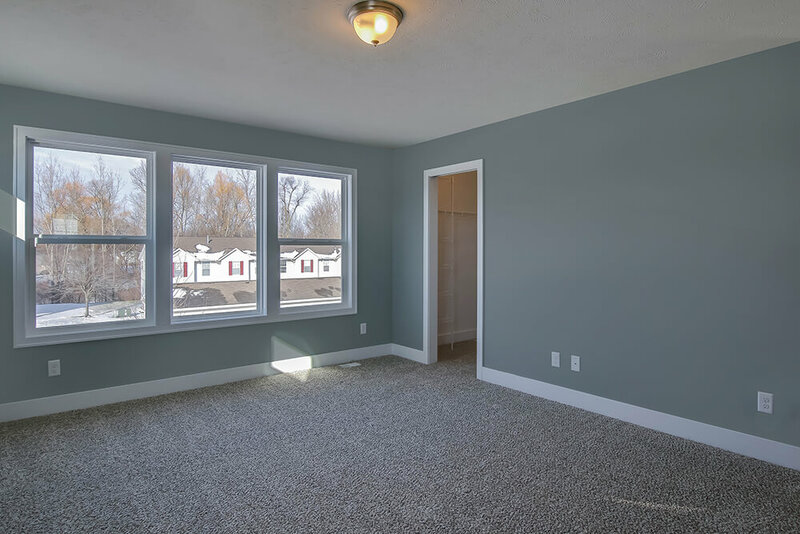 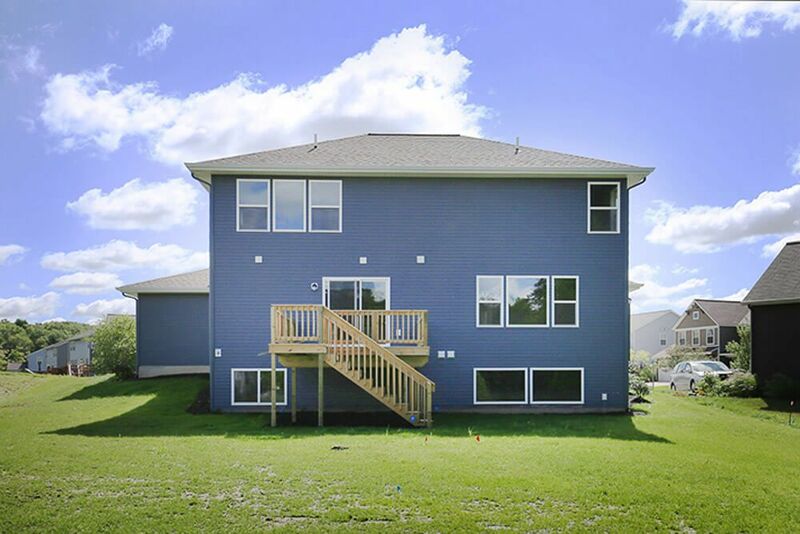 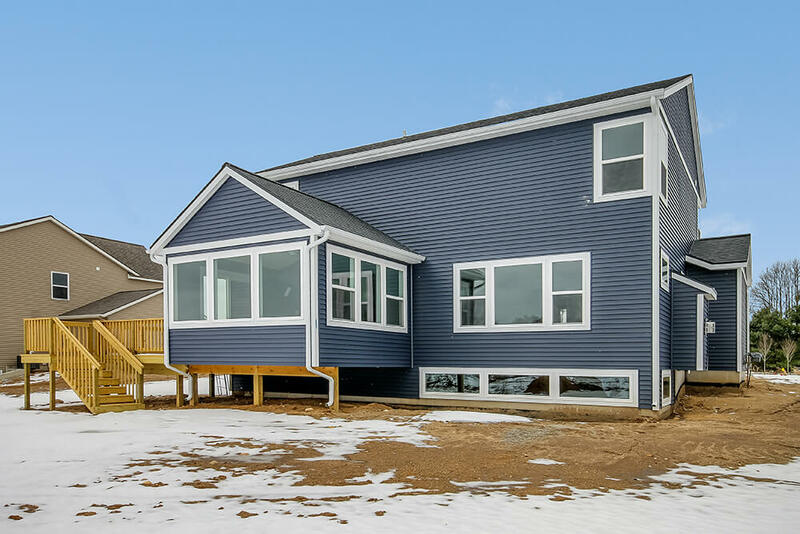 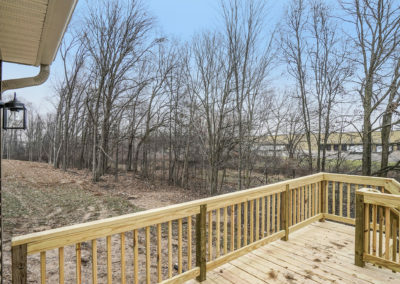 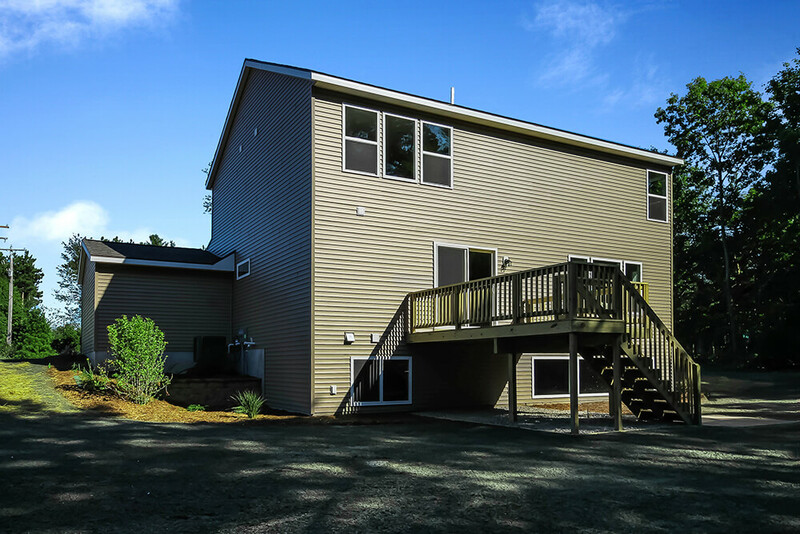 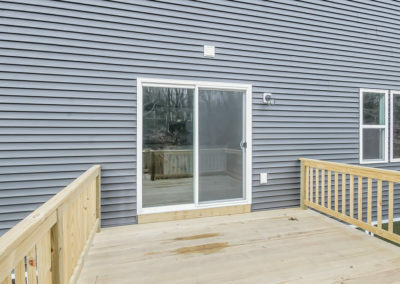 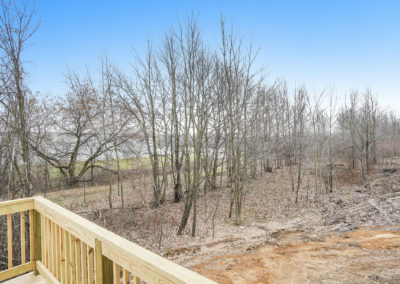 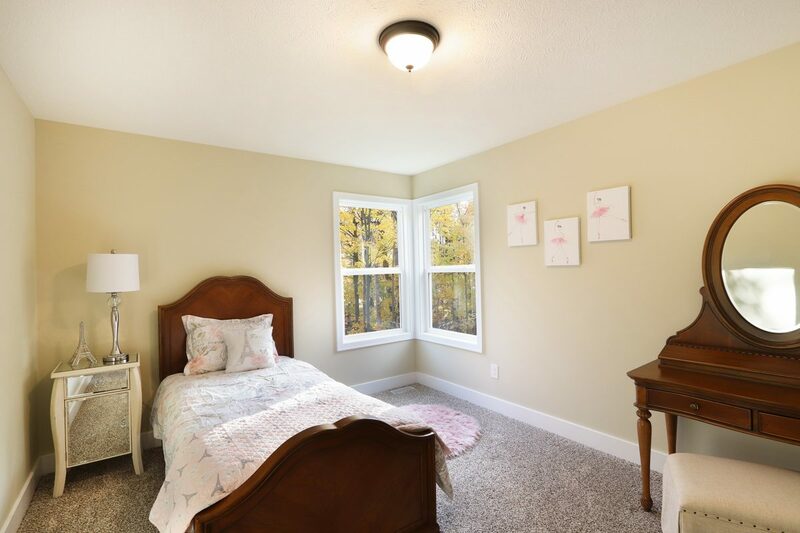 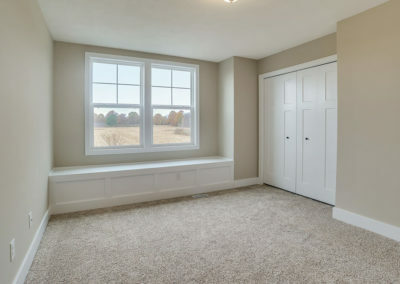 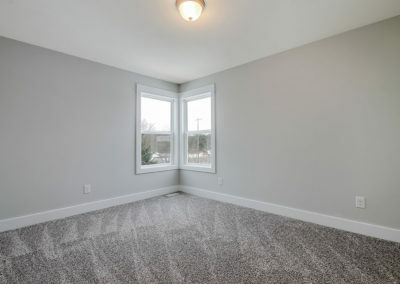 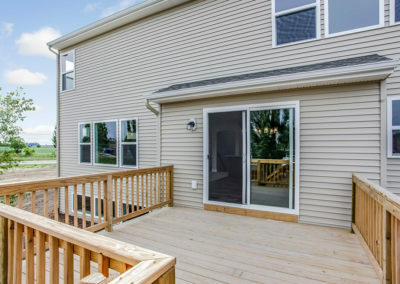 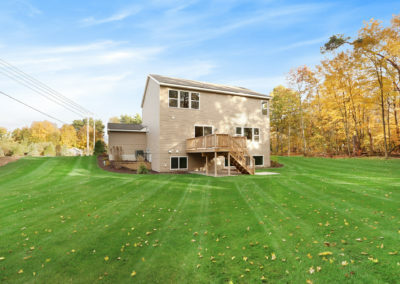 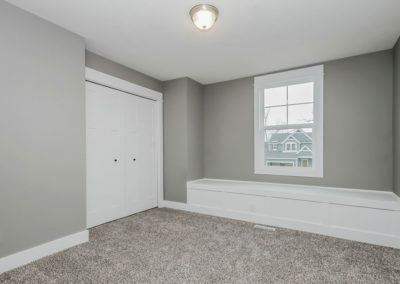 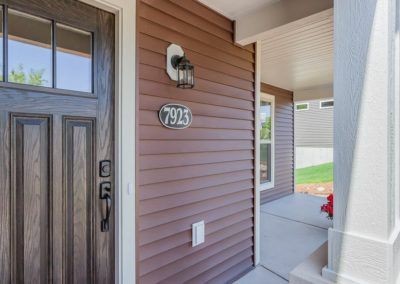 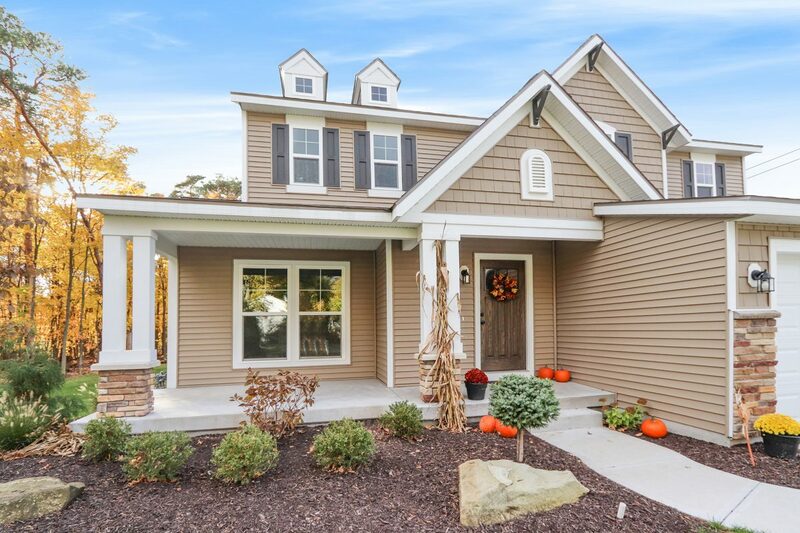 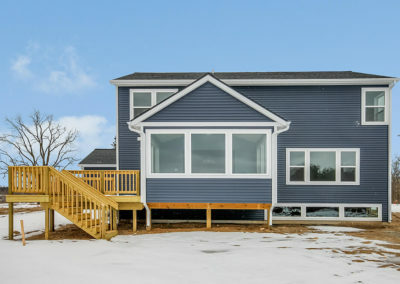 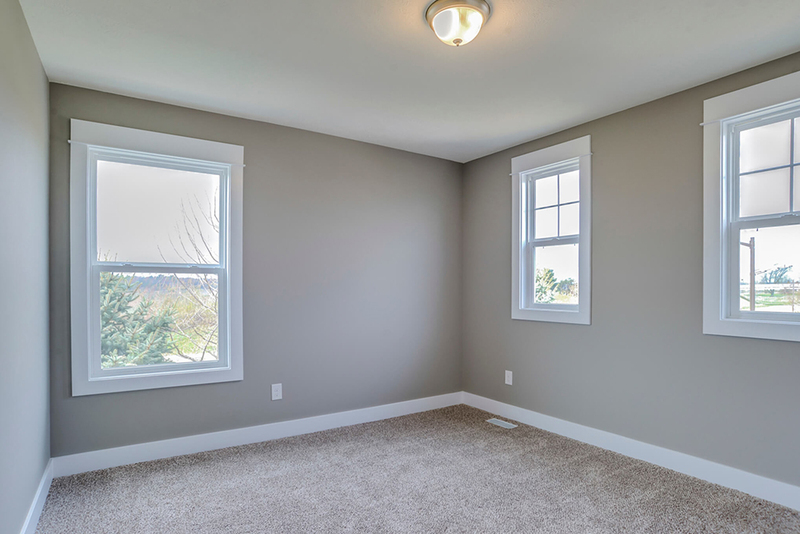 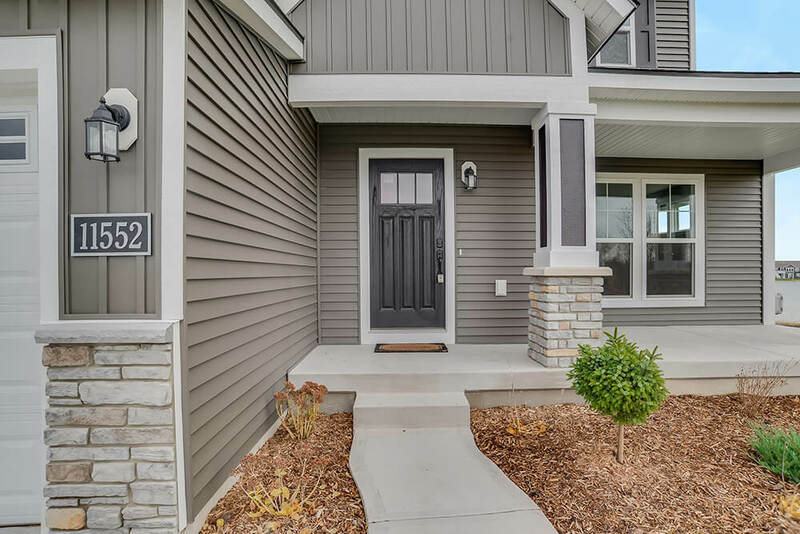 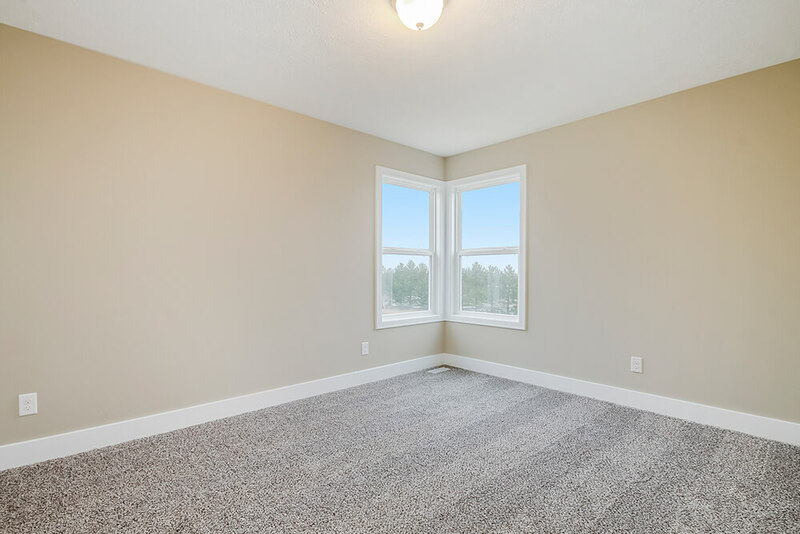 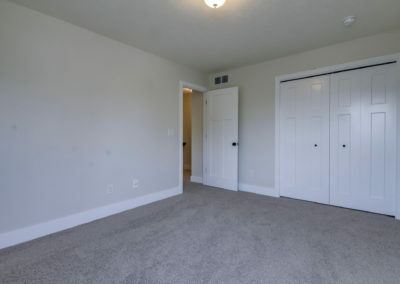 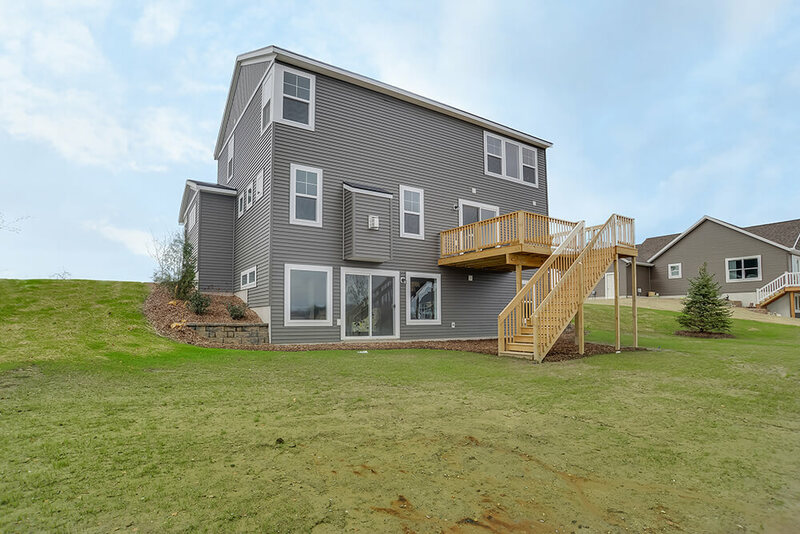 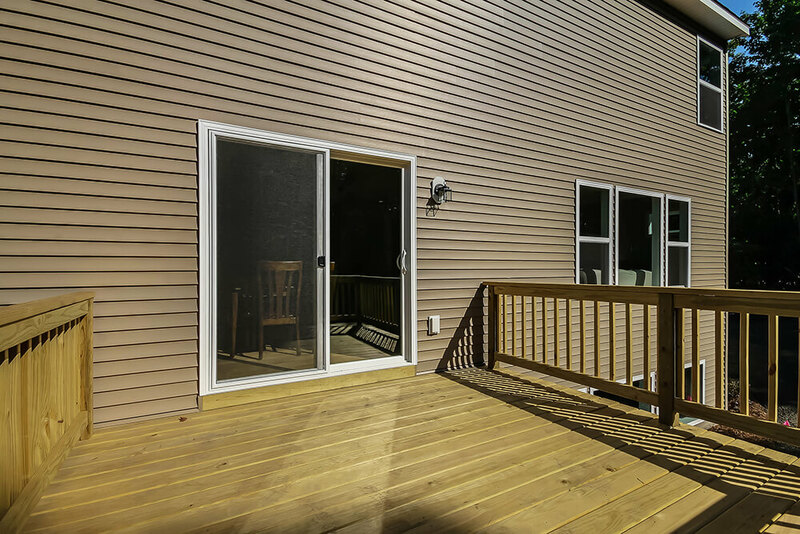 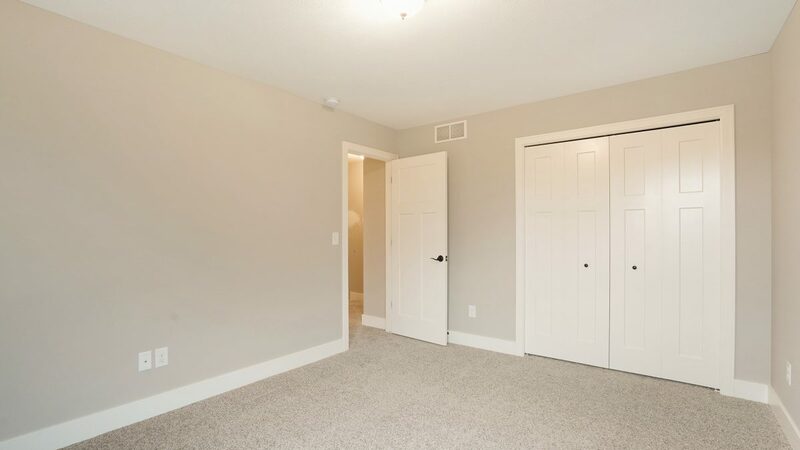 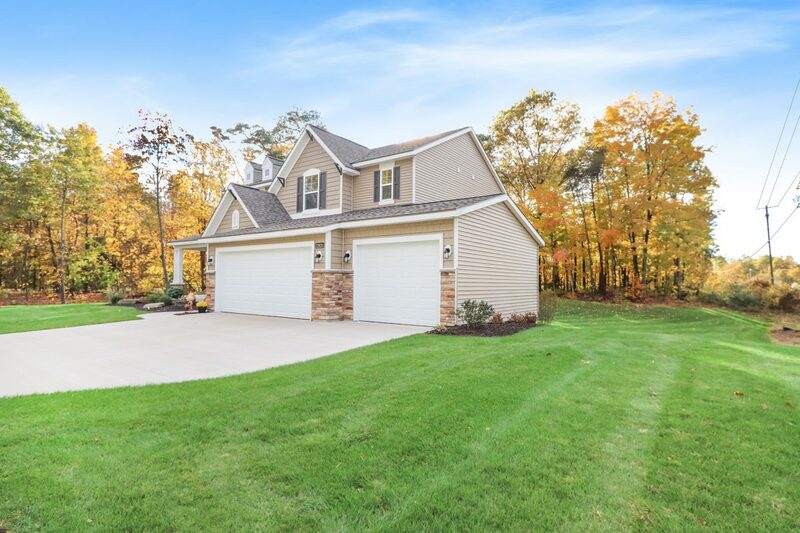 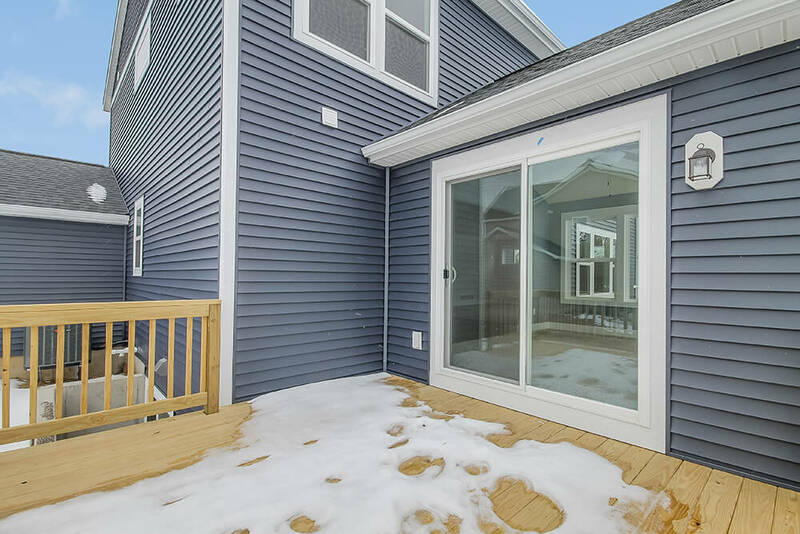 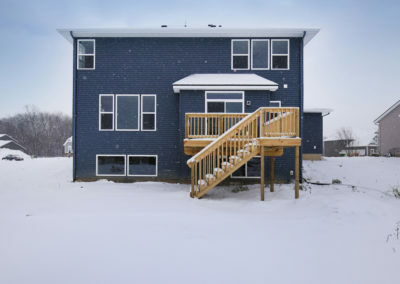 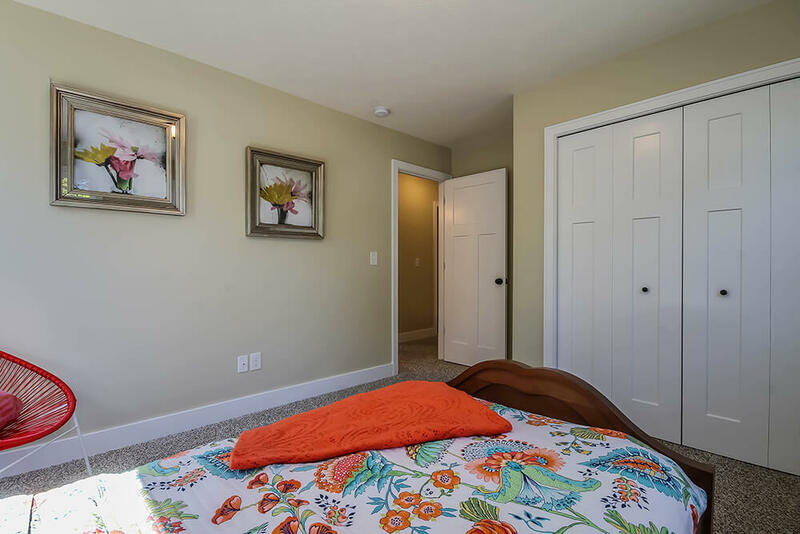 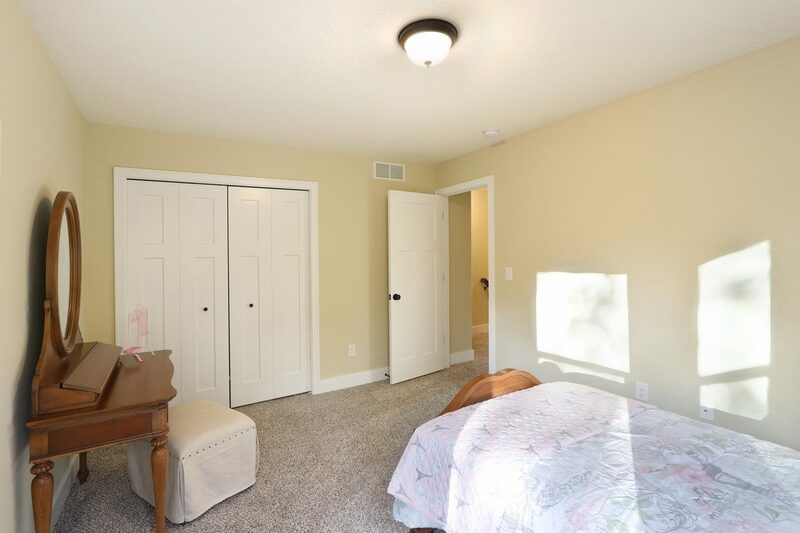 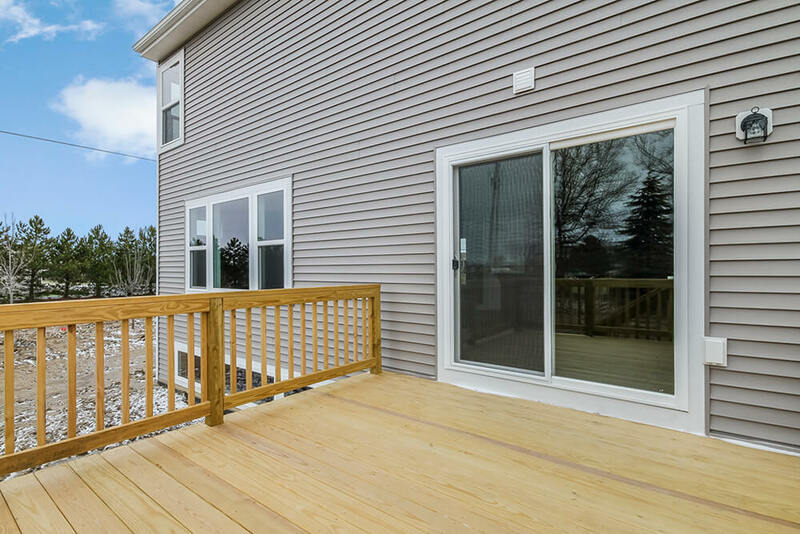 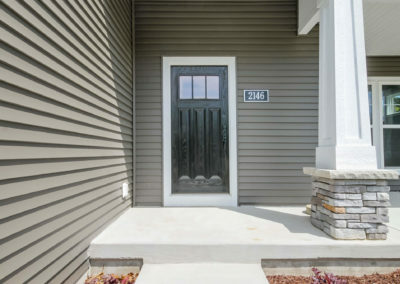 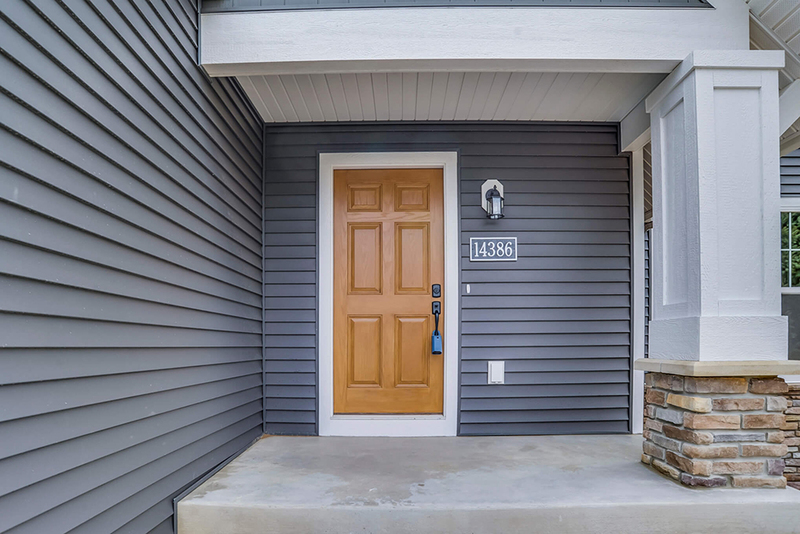 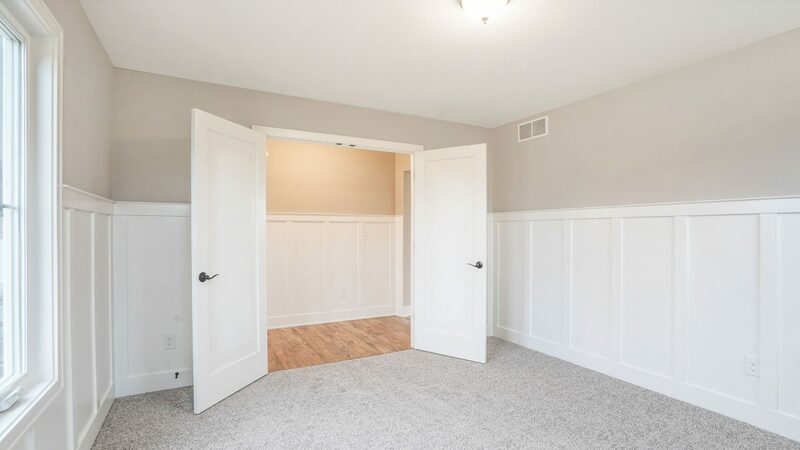 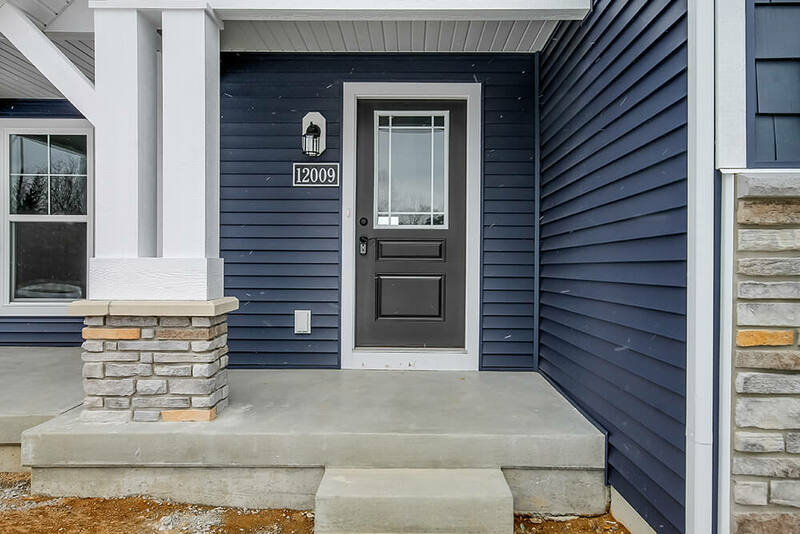 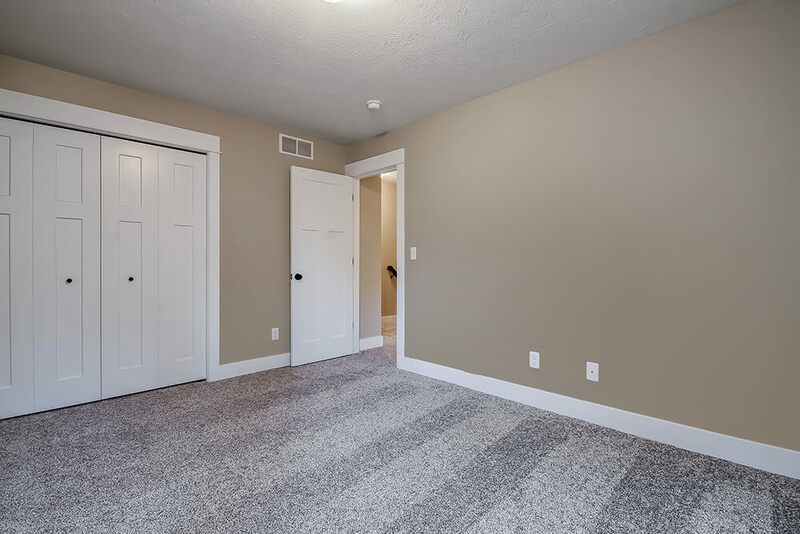 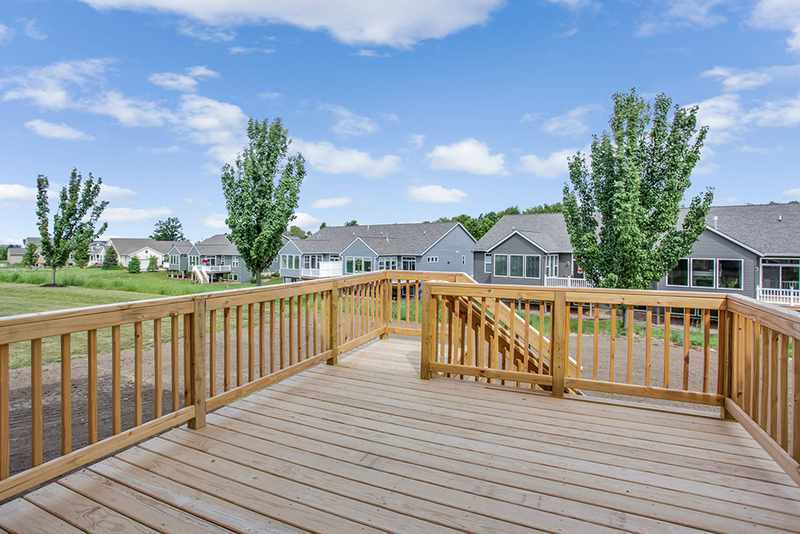 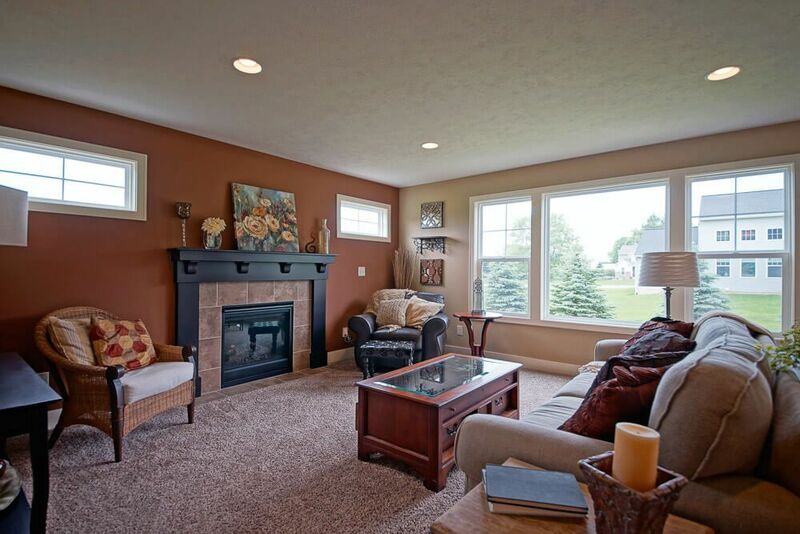 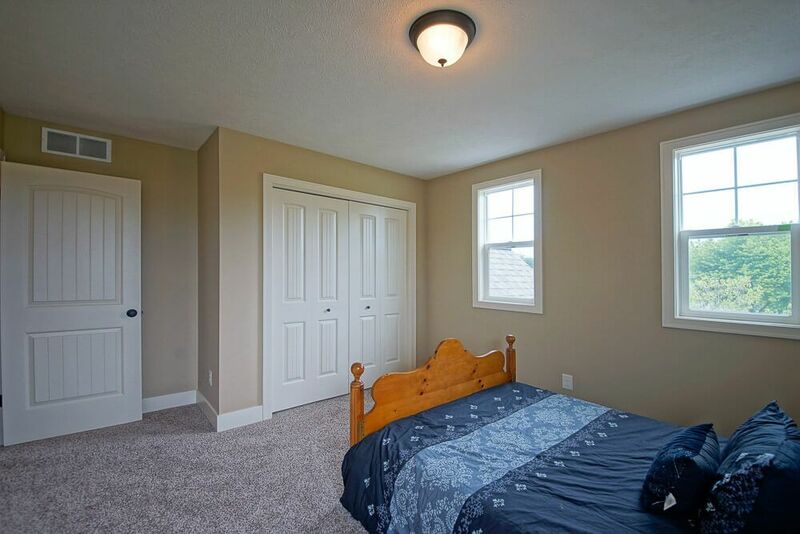 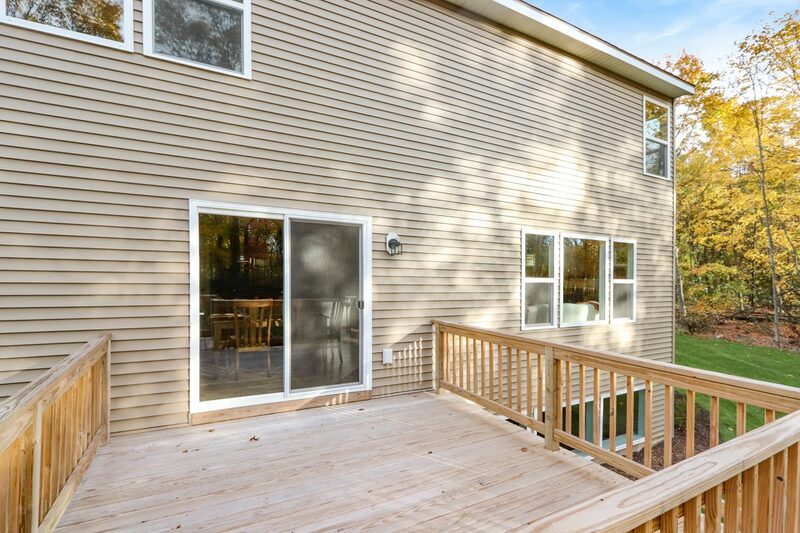 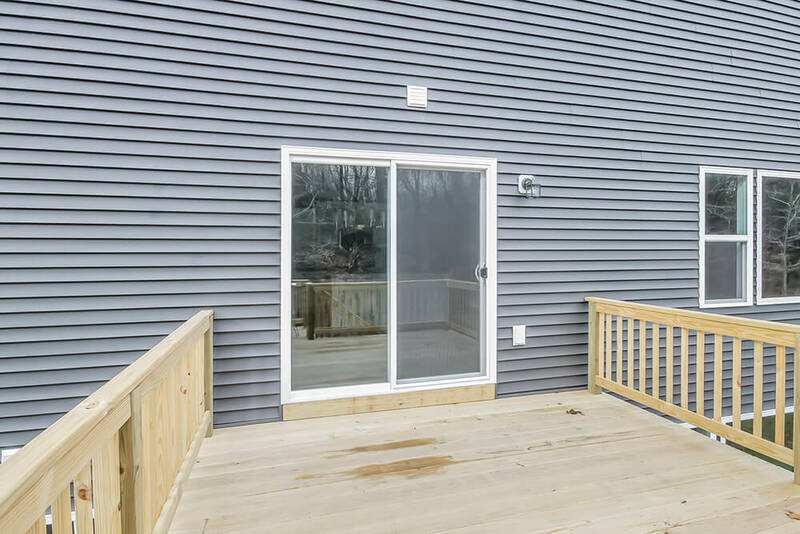 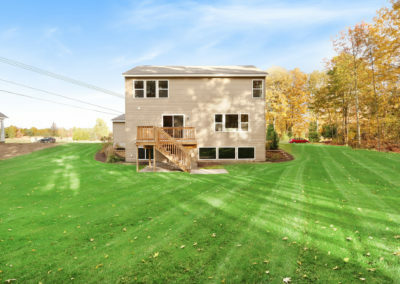 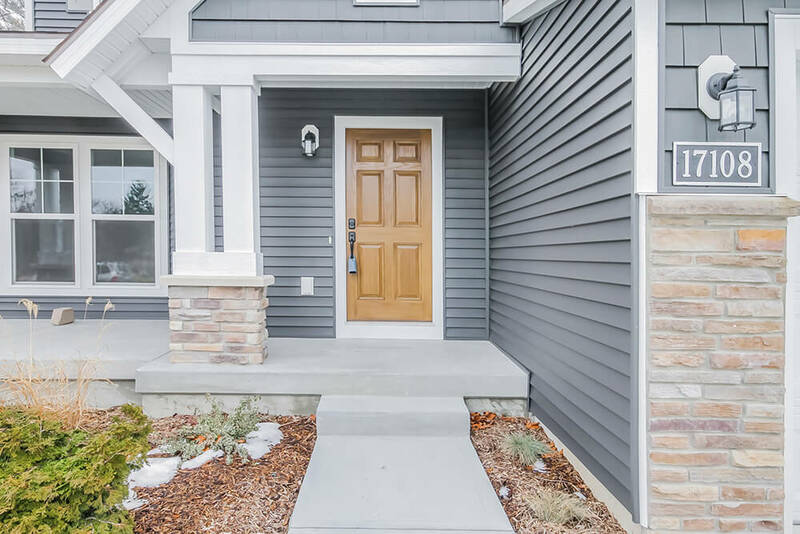 From the porch, the front door opens into the entryway with convenient coat closet and the front flex room. 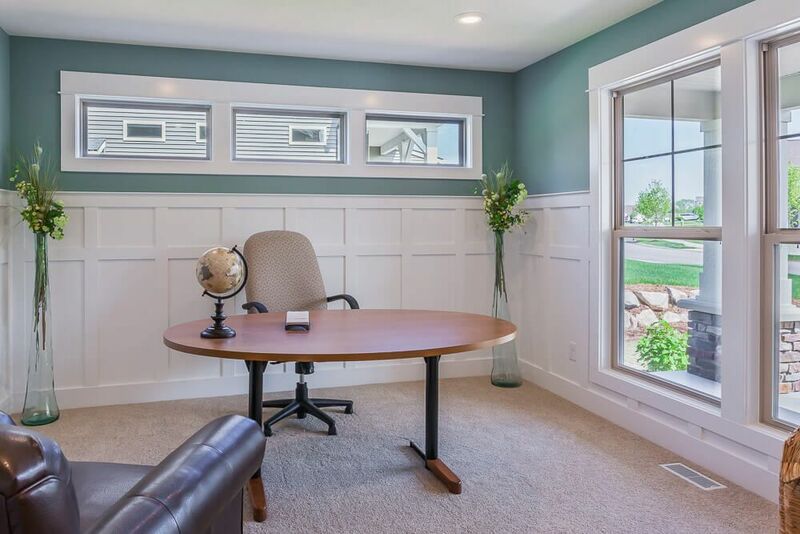 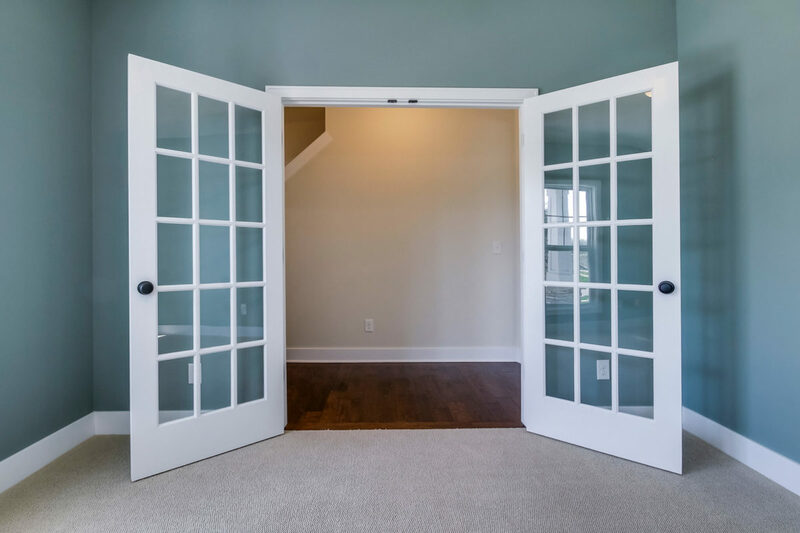 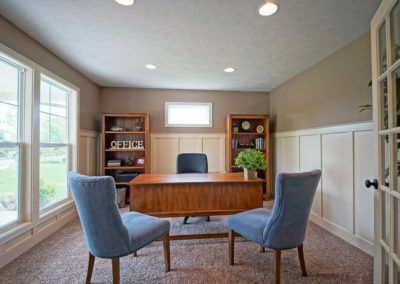 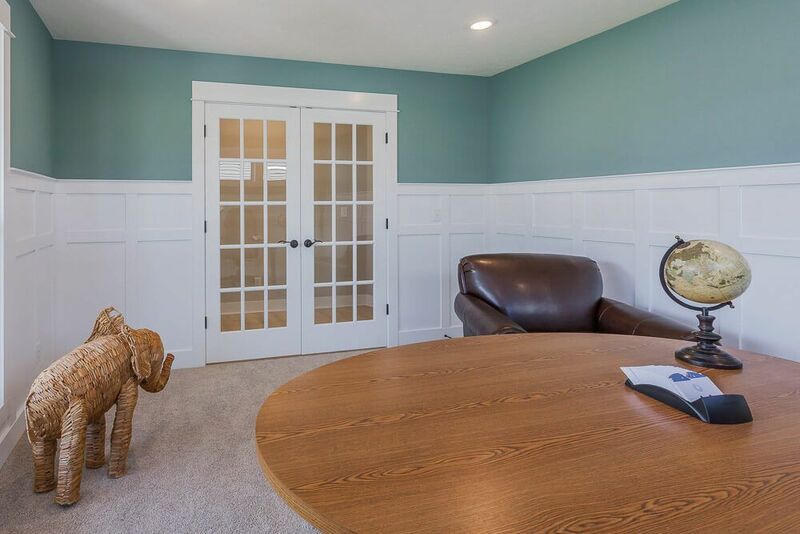 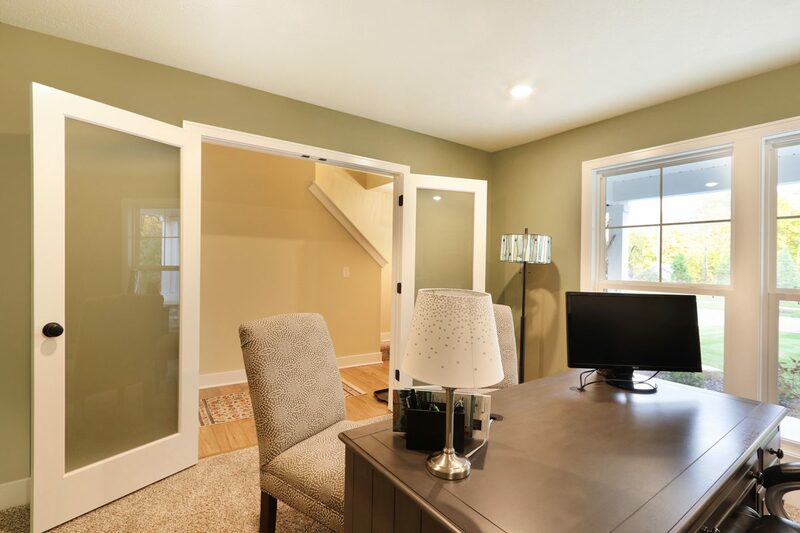 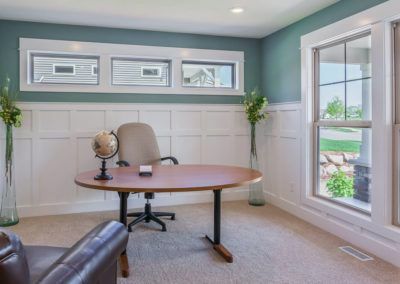 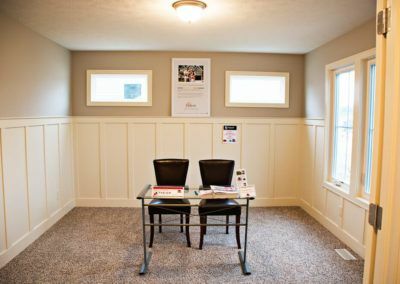 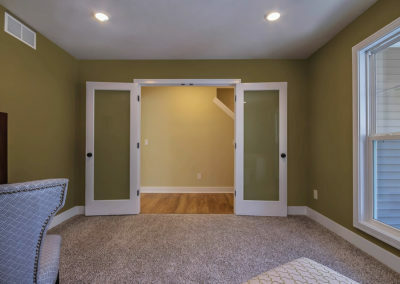 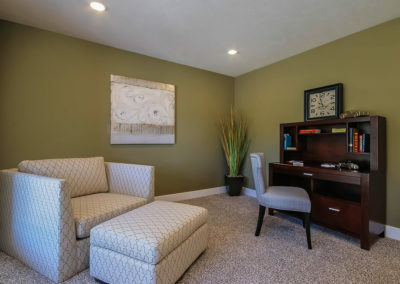 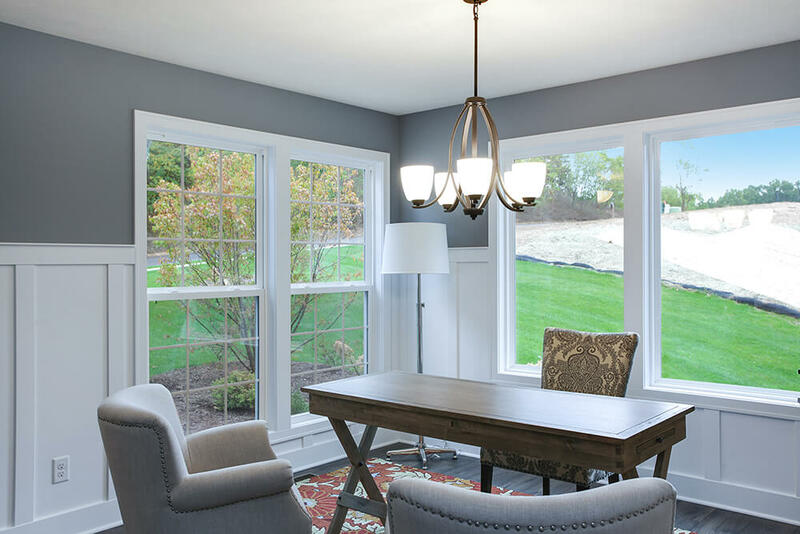 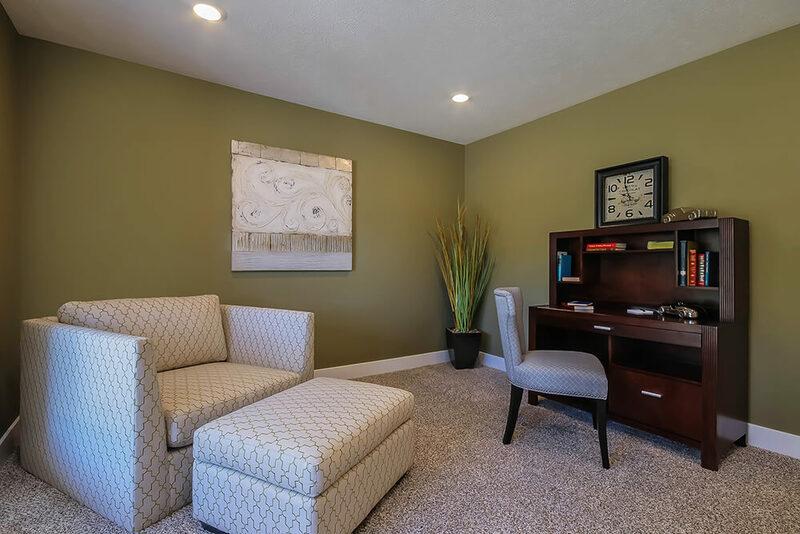 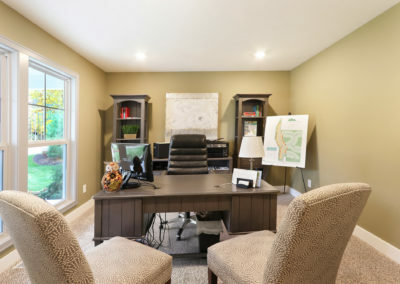 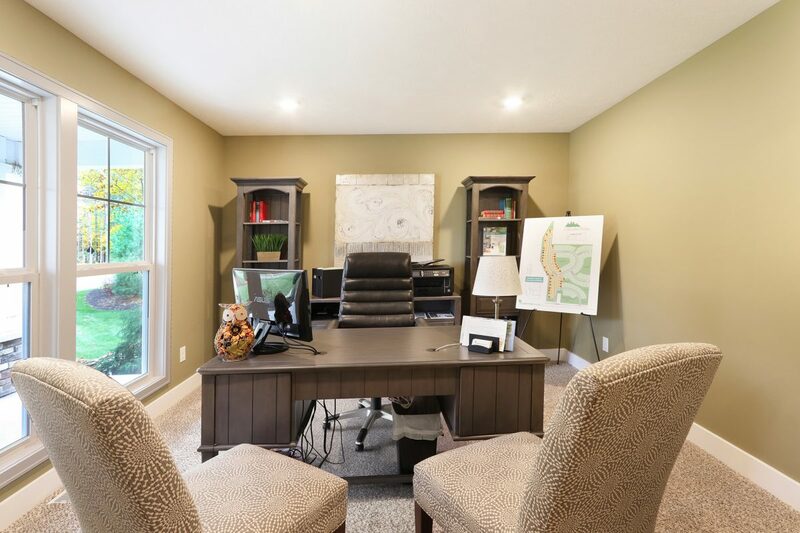 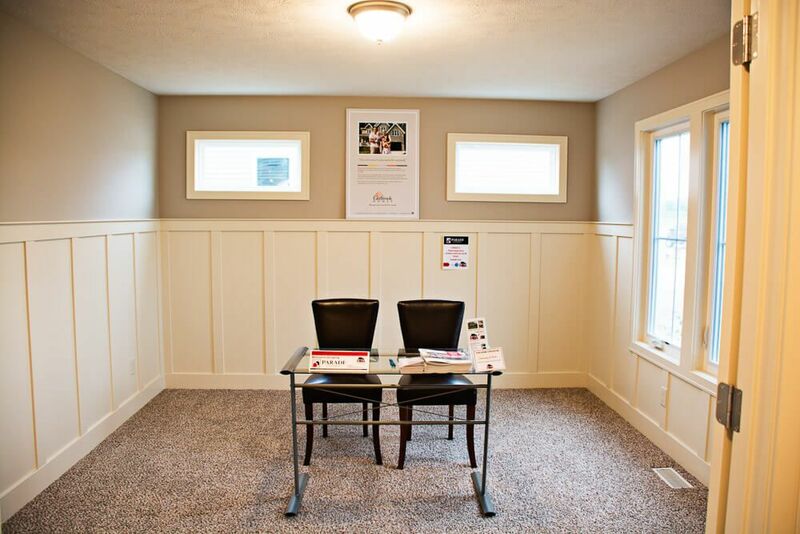 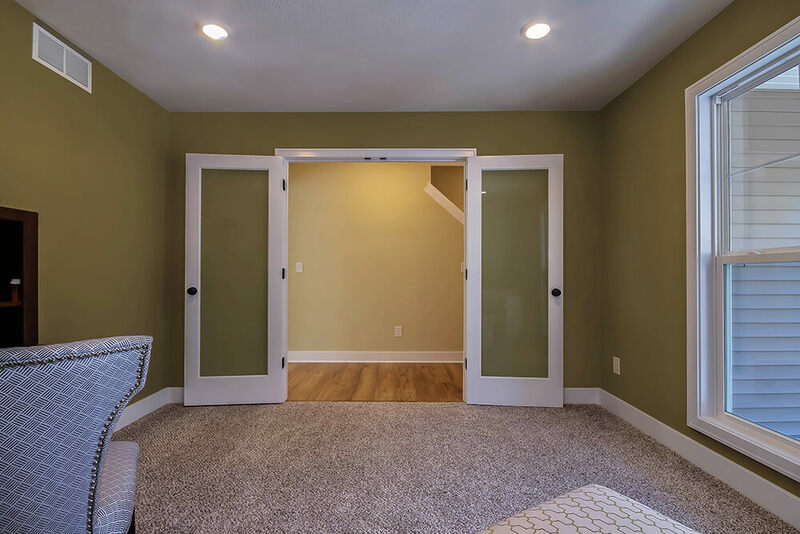 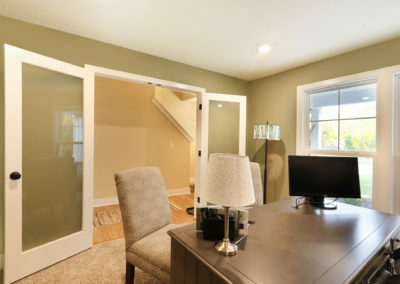 If a front office is more appealing, the flex room can be transformed into a sunny office with double French doors. 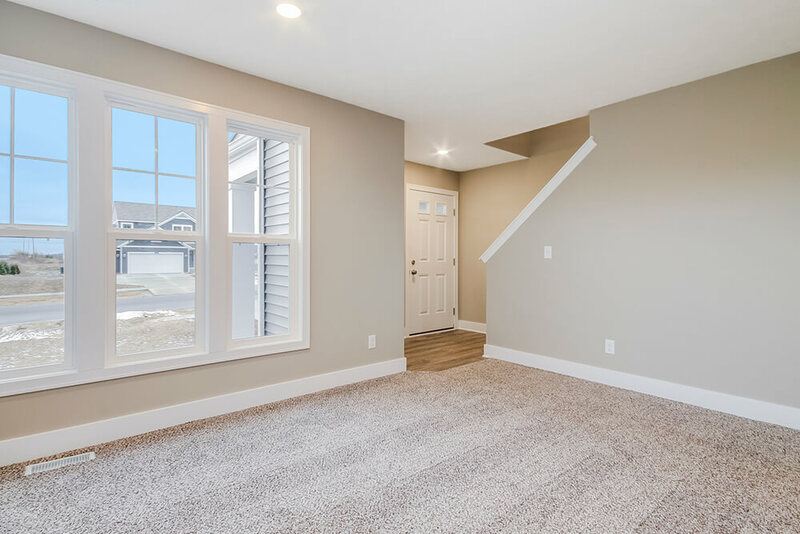 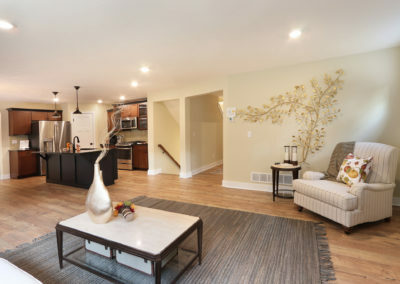 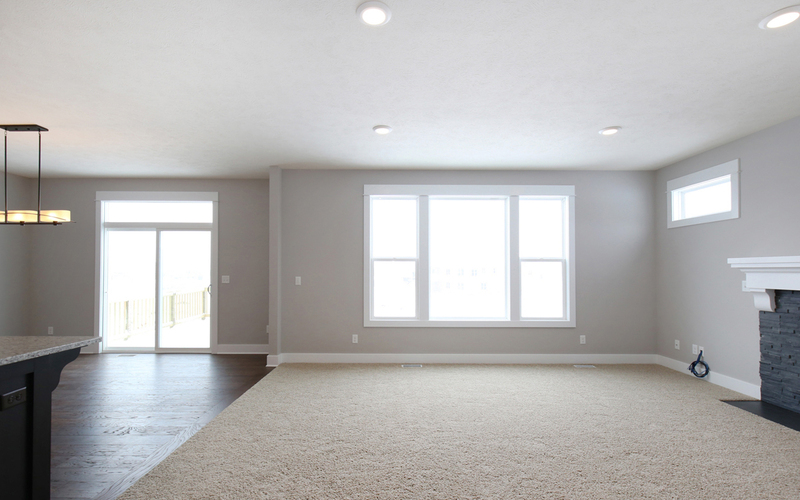 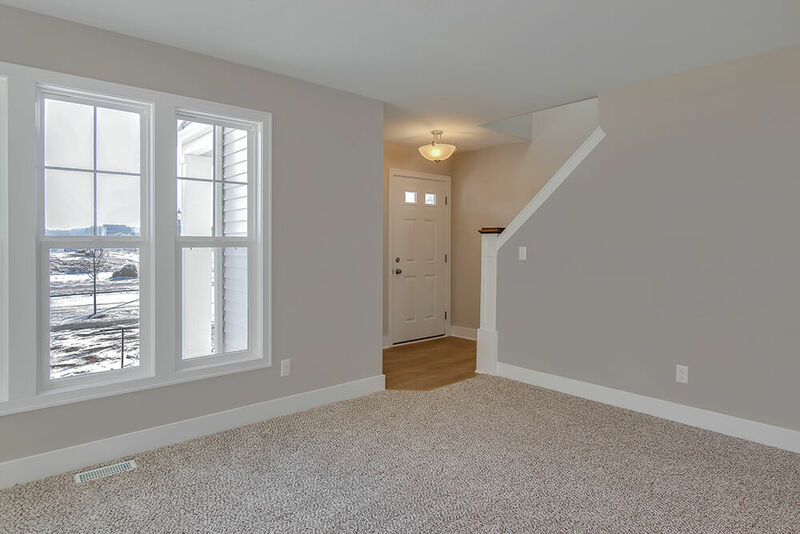 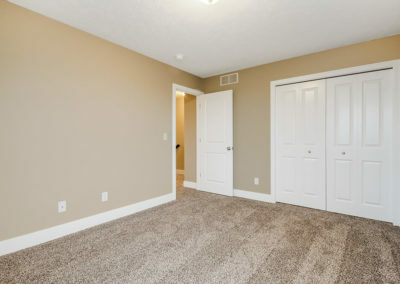 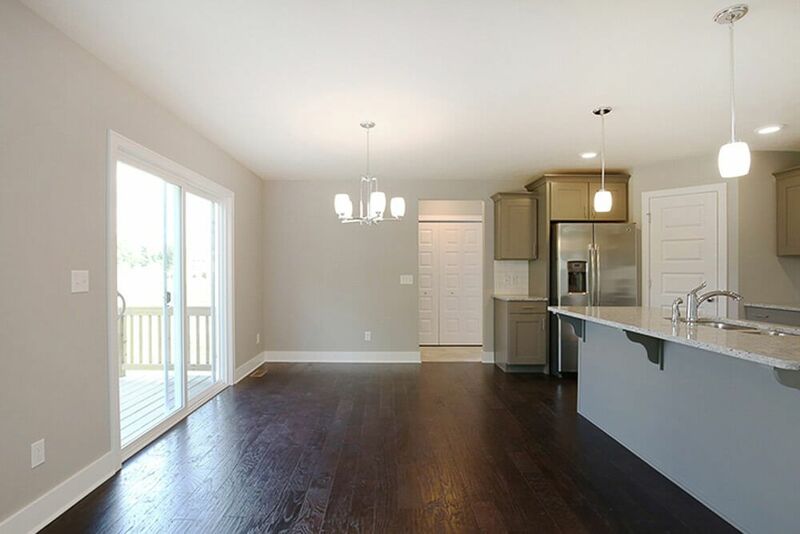 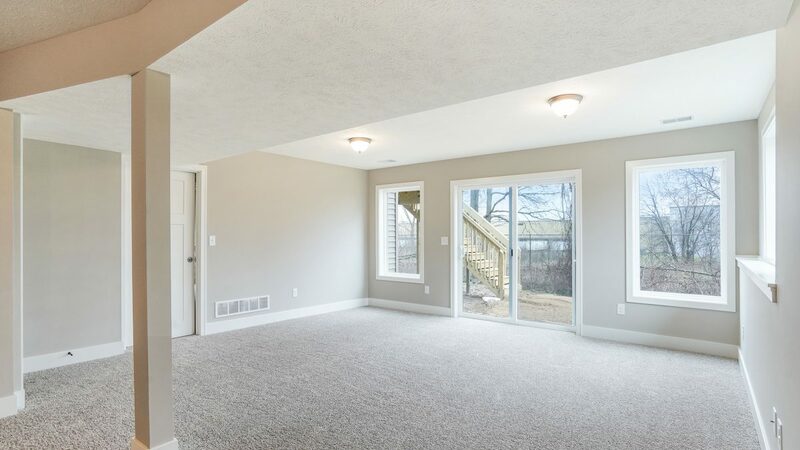 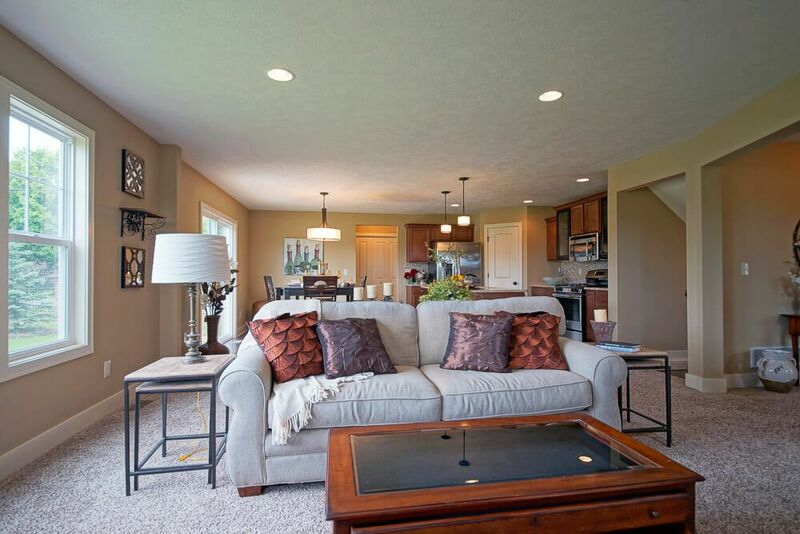 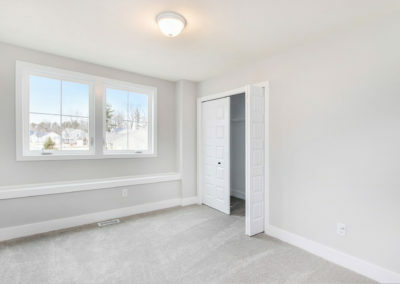 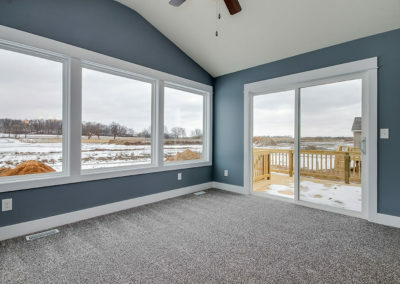 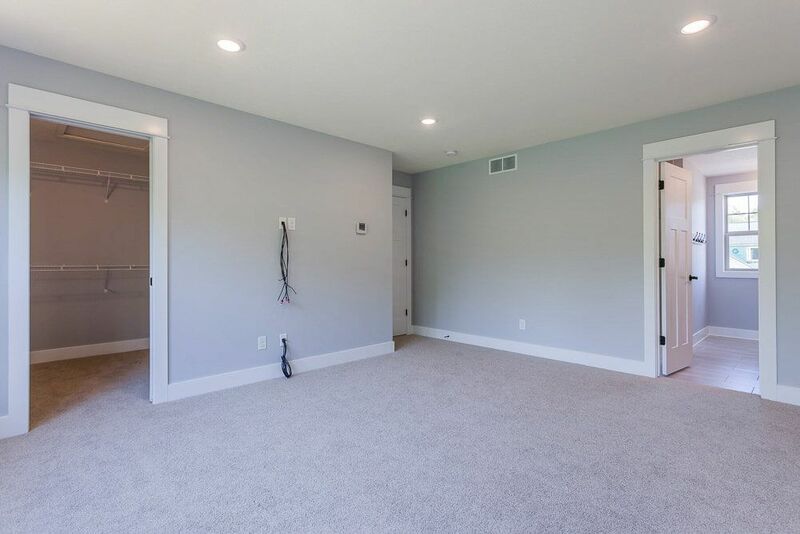 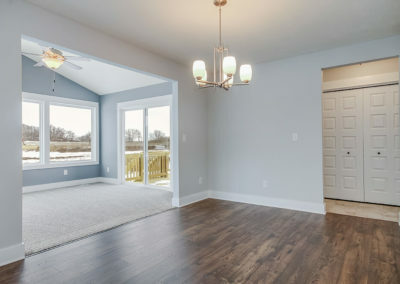 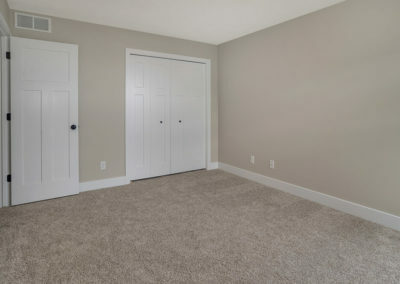 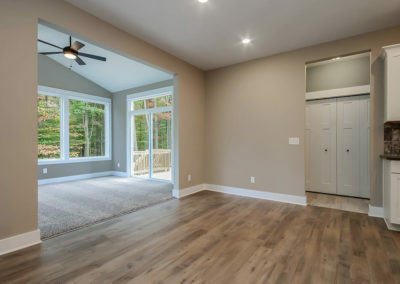 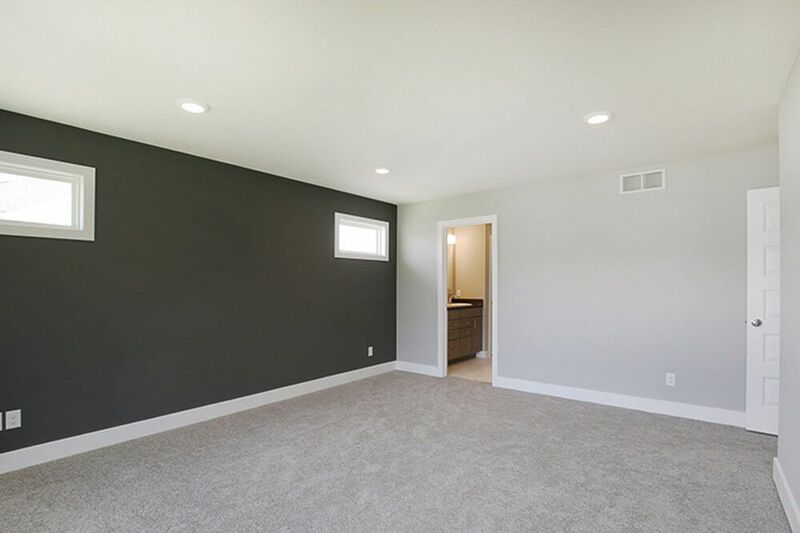 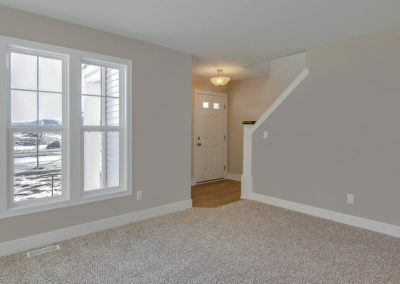 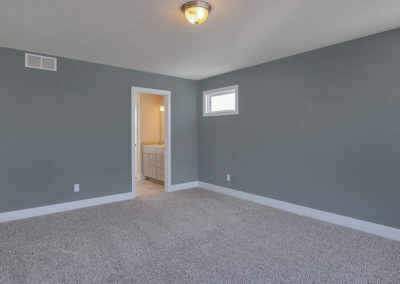 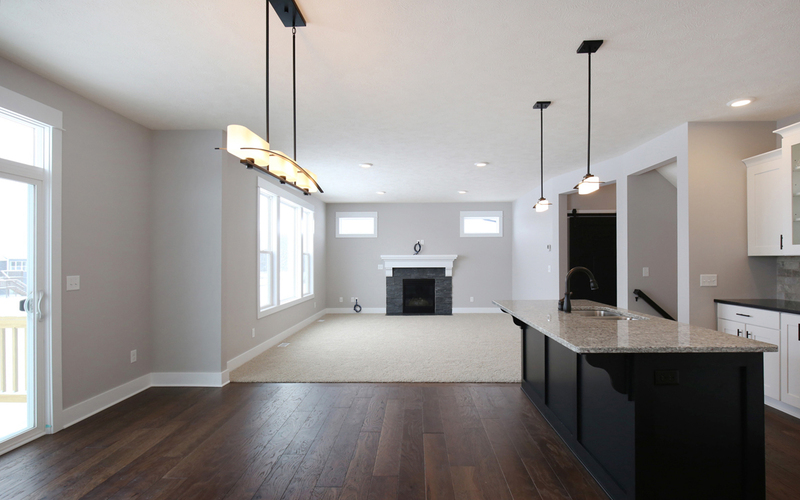 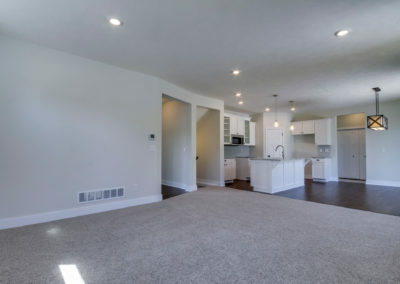 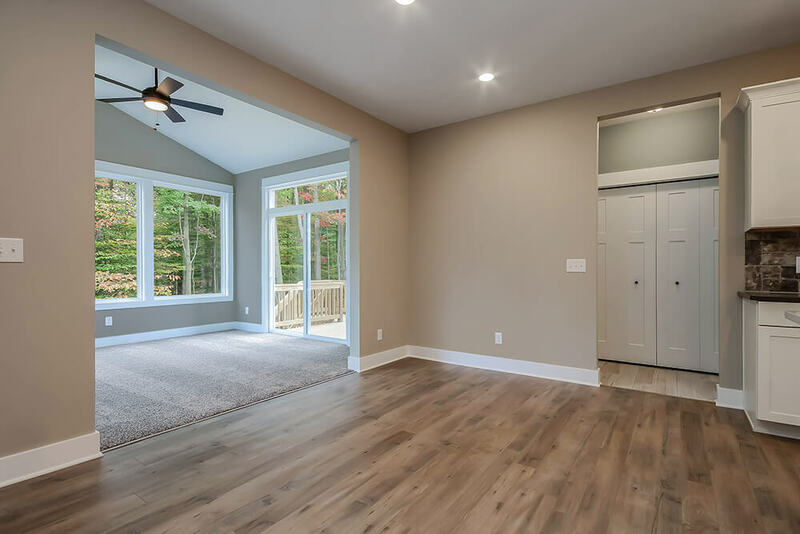 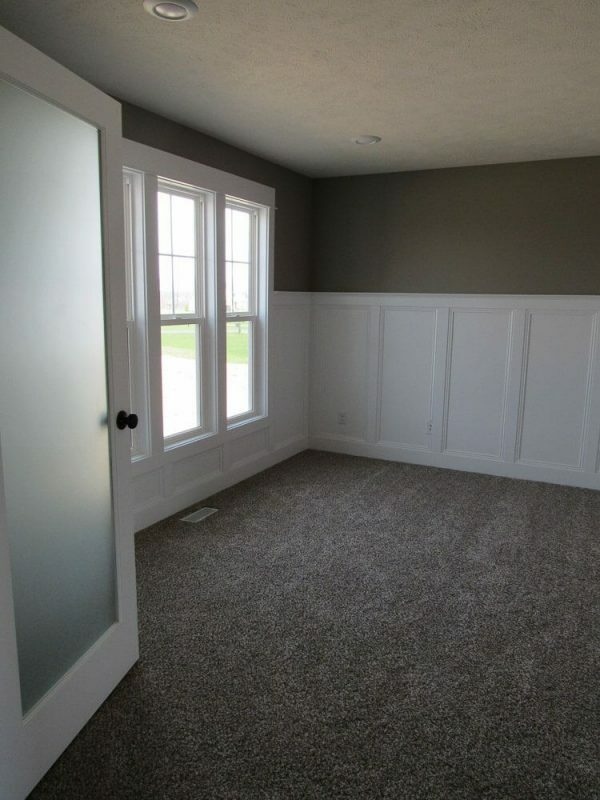 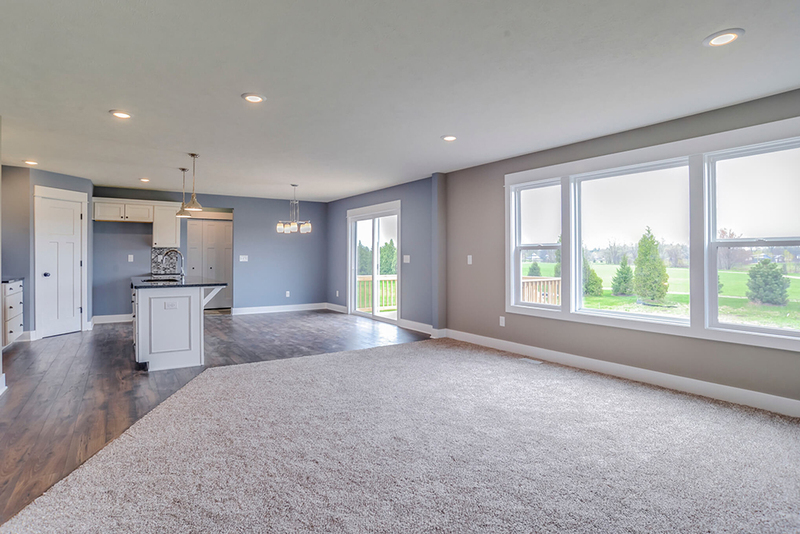 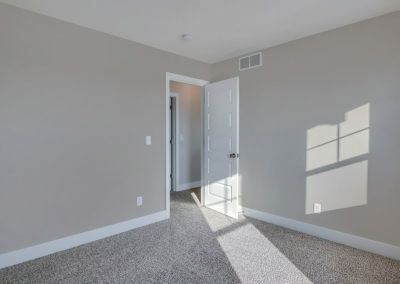 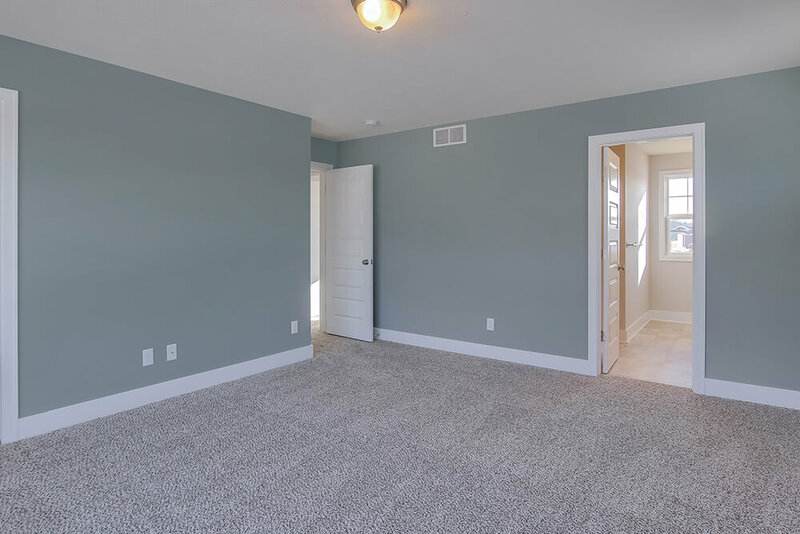 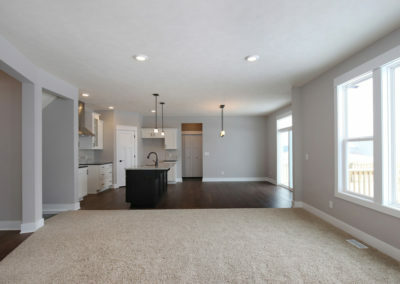 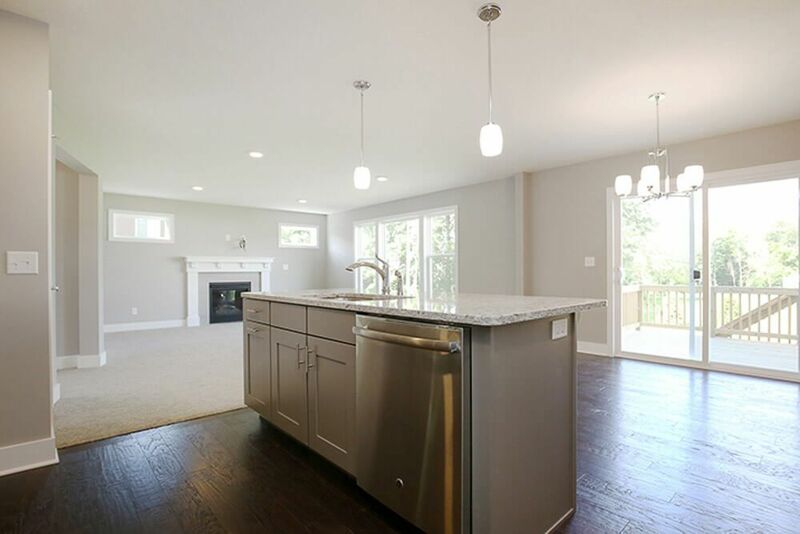 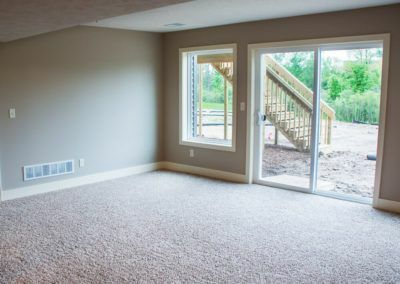 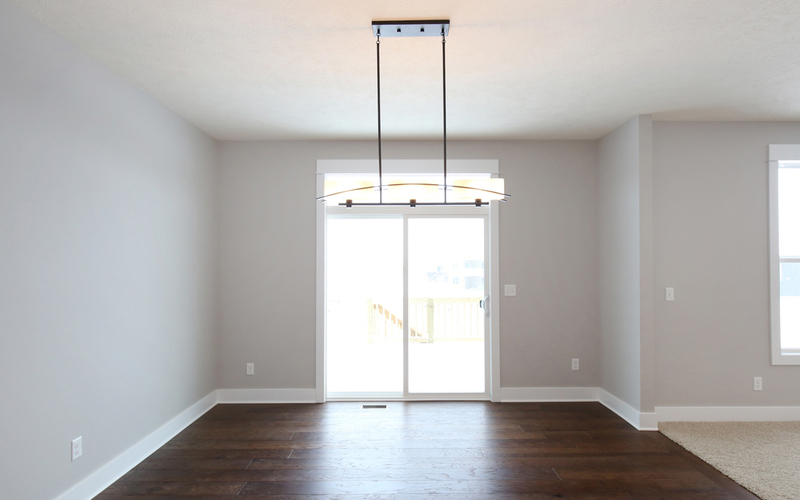 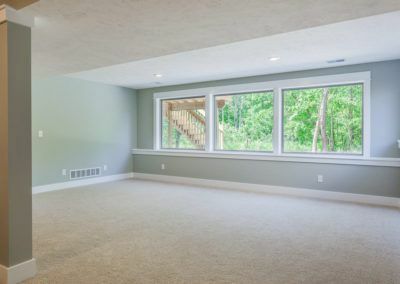 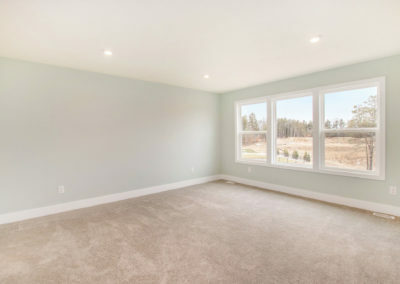 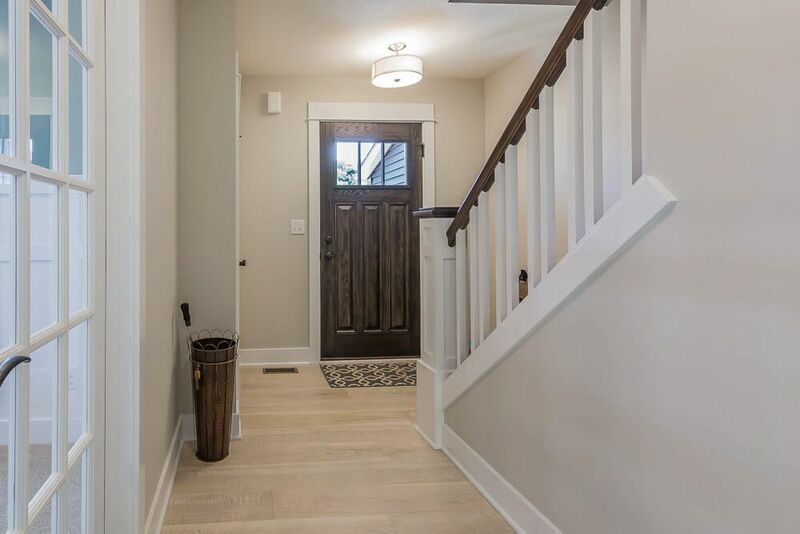 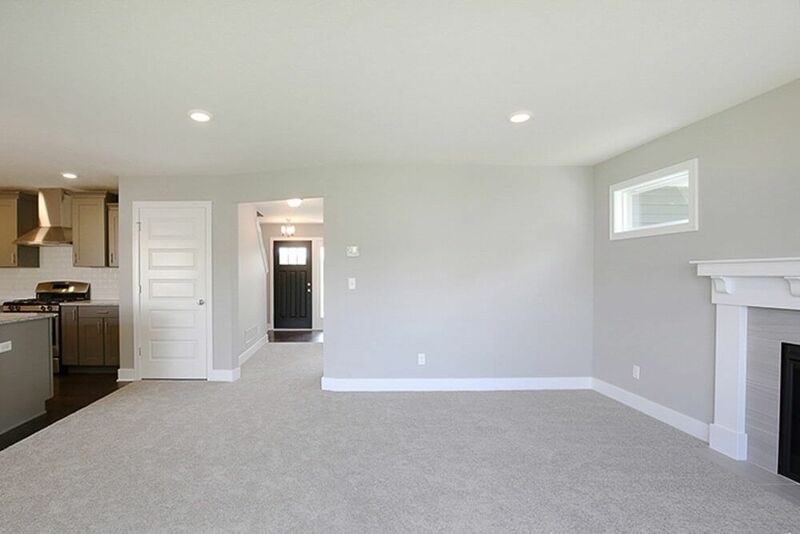 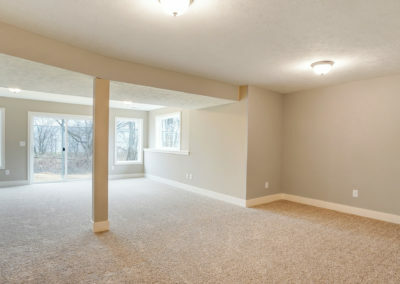 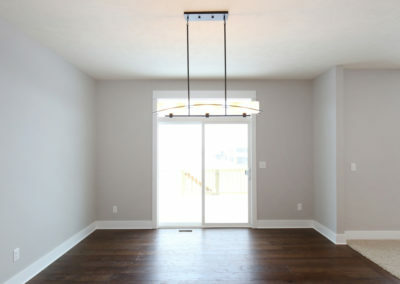 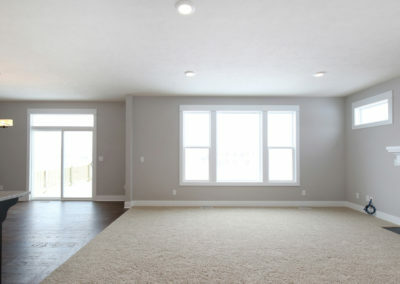 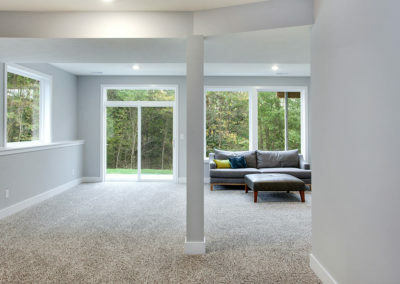 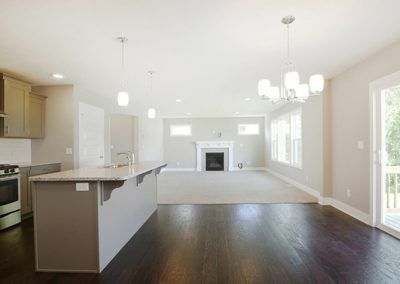 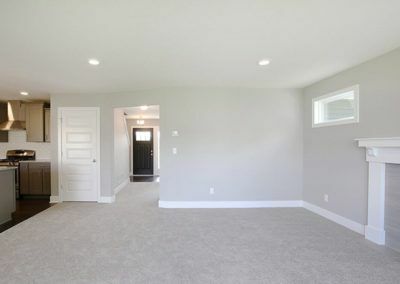 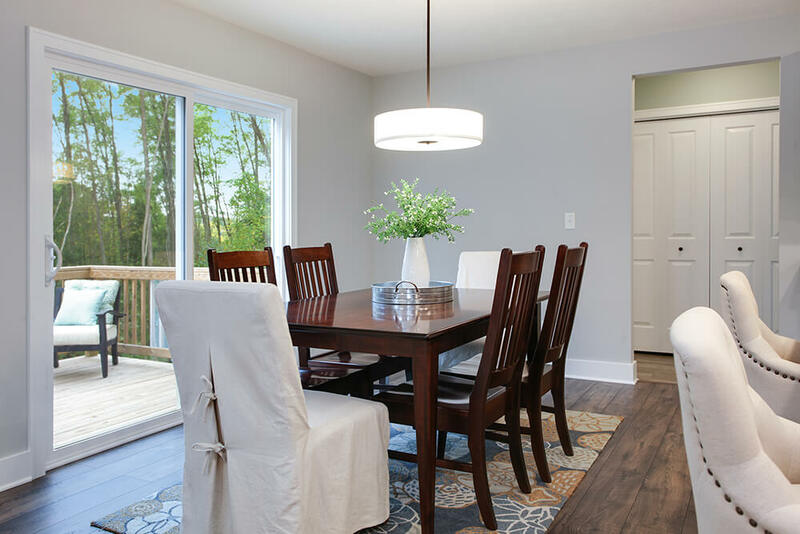 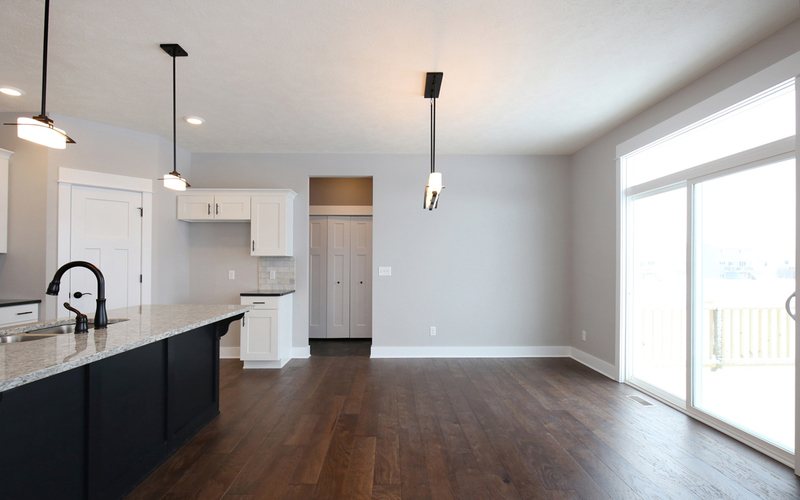 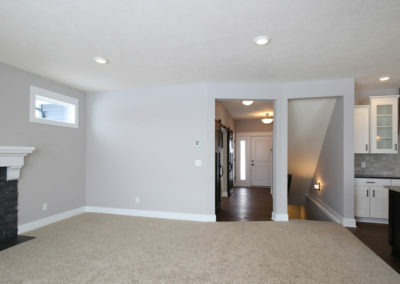 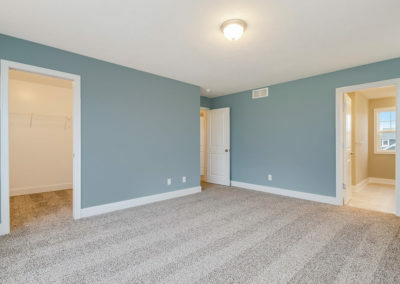 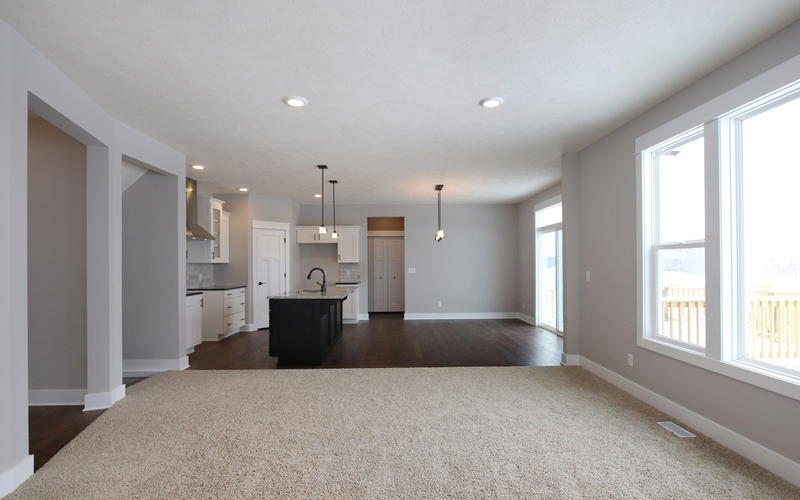 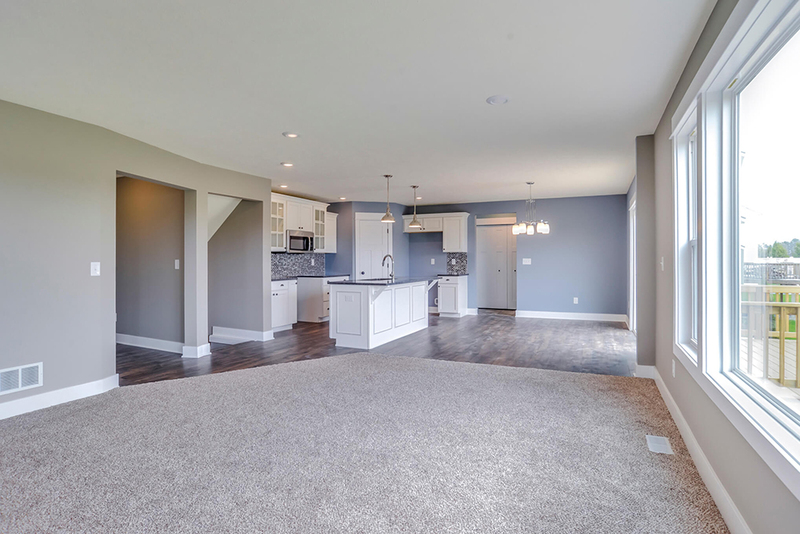 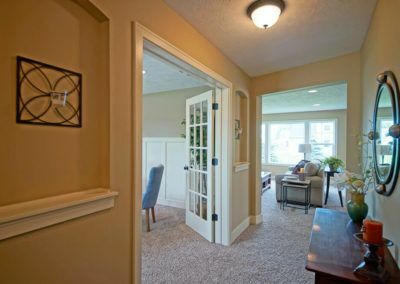 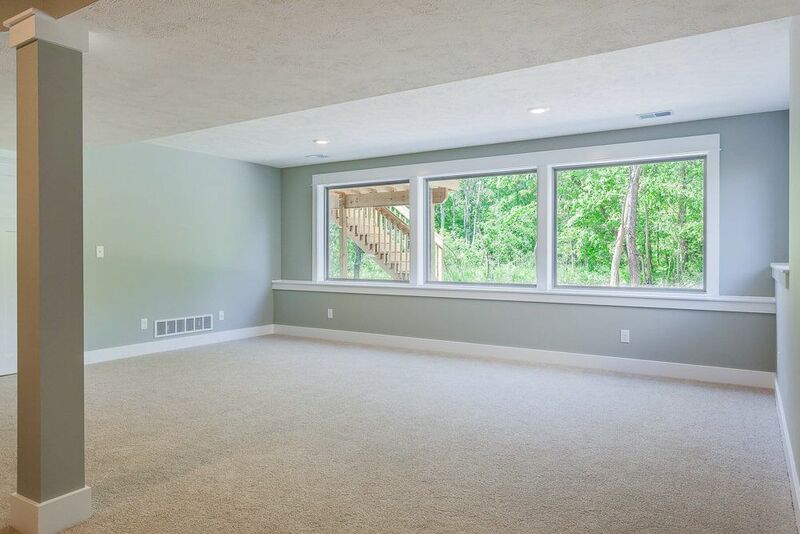 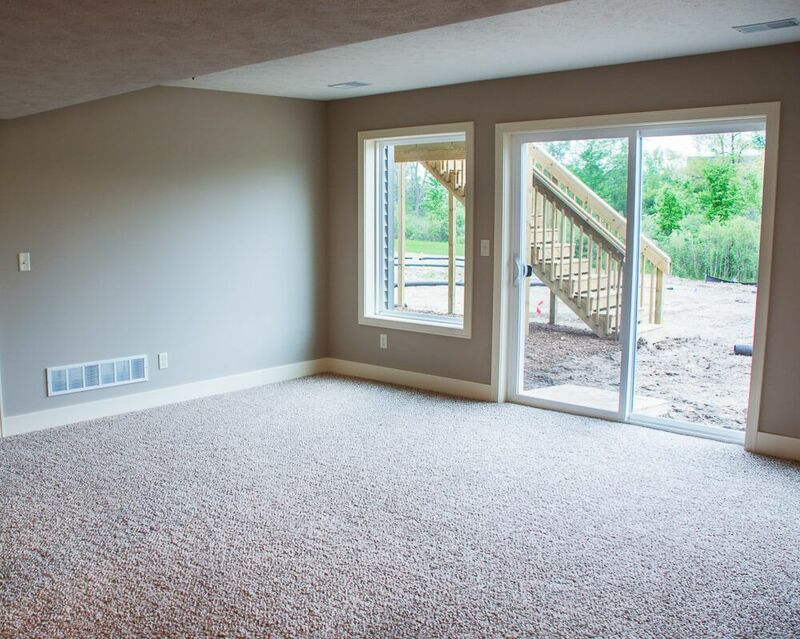 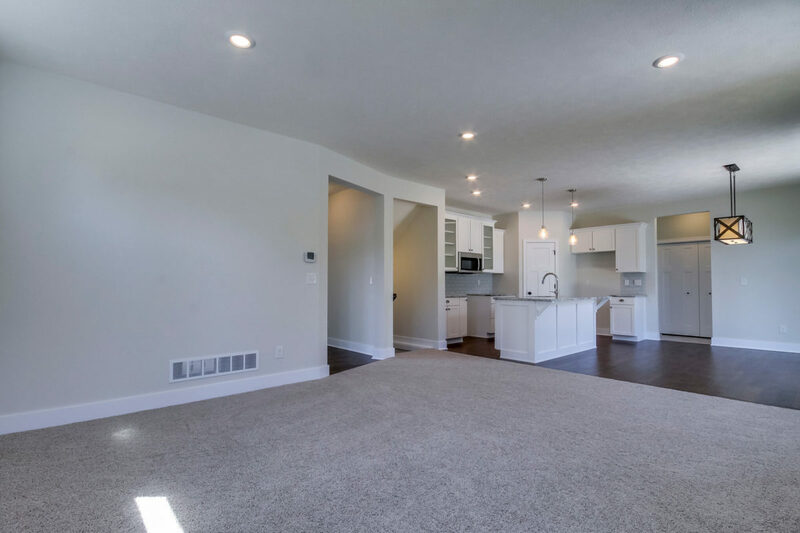 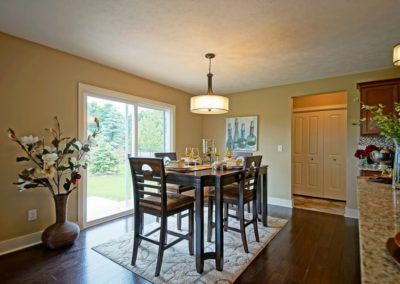 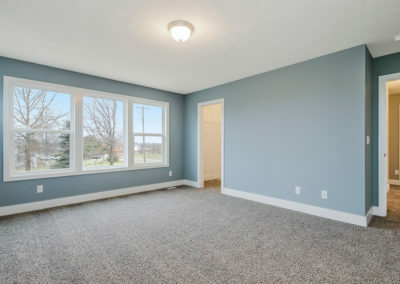 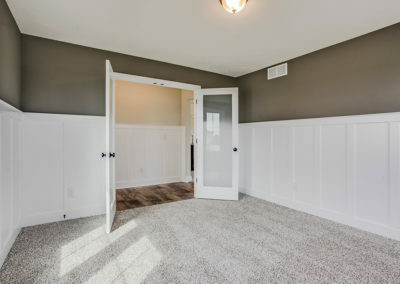 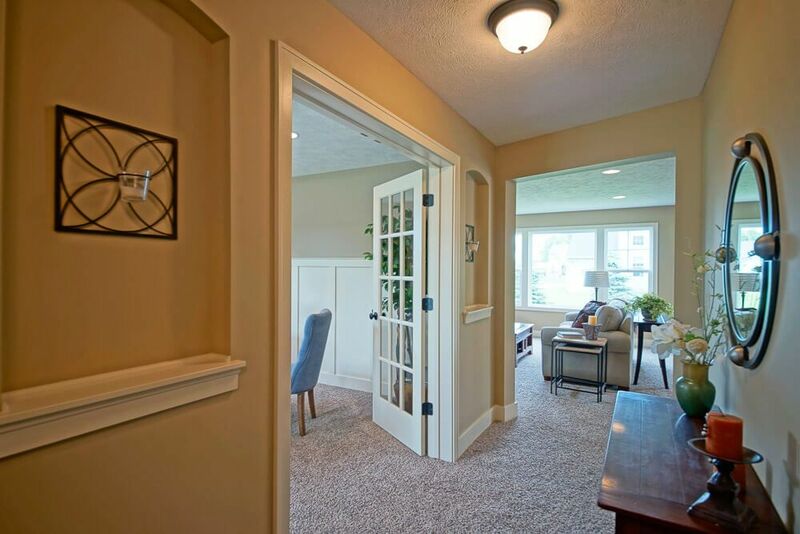 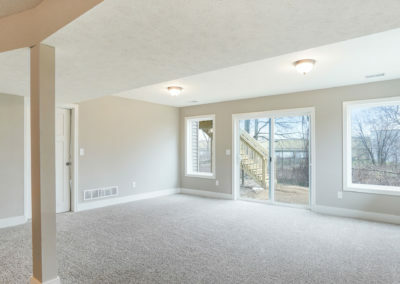 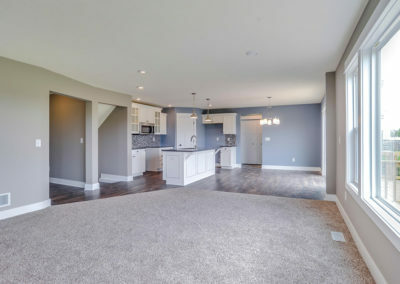 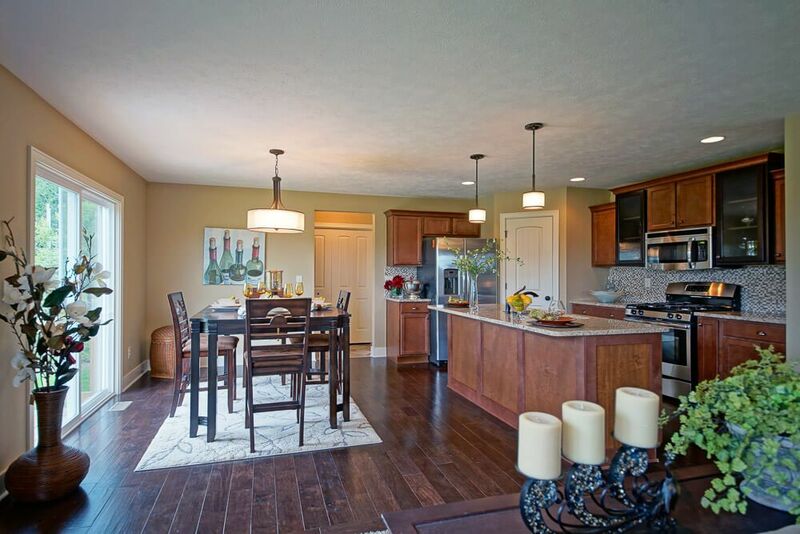 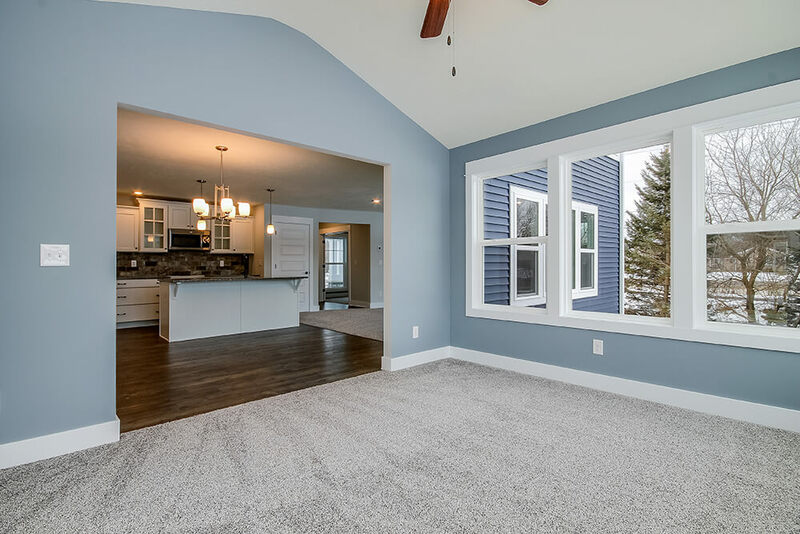 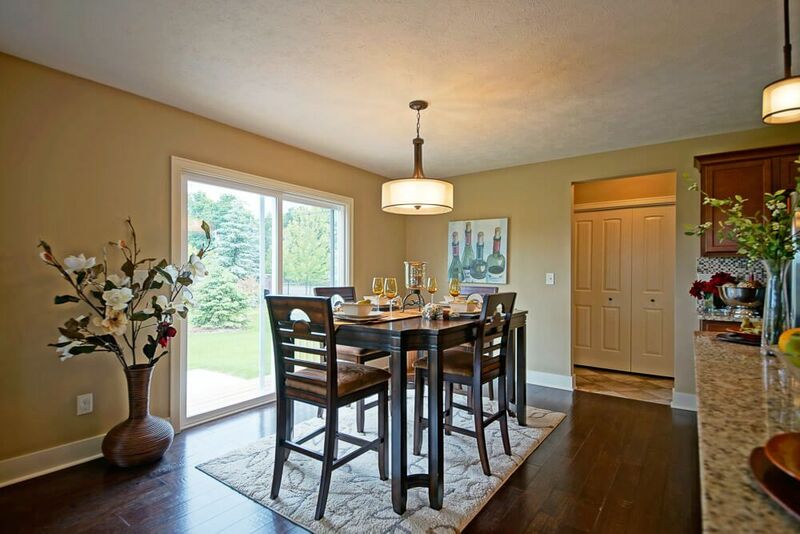 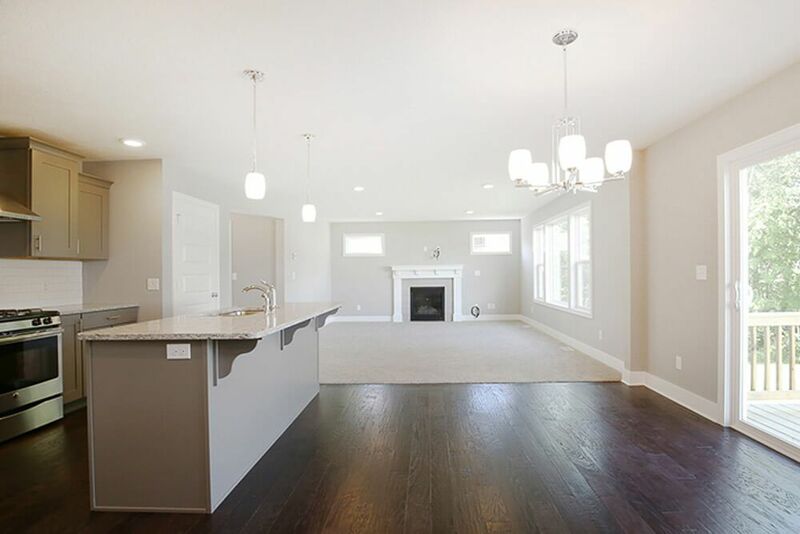 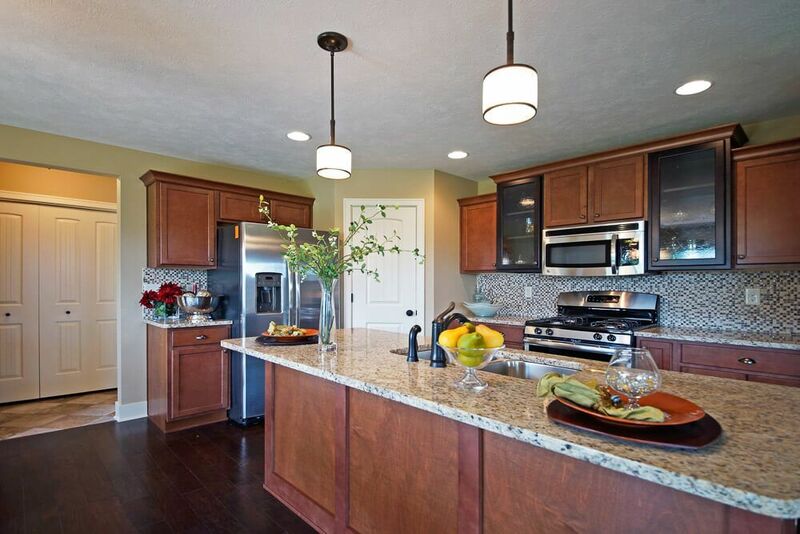 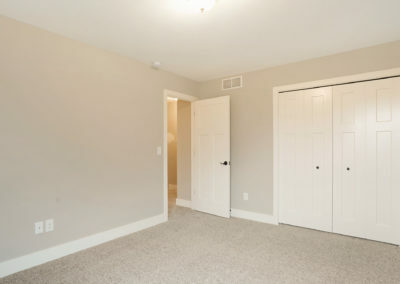 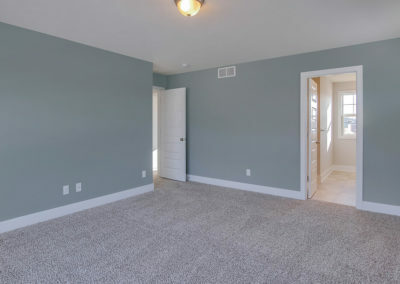 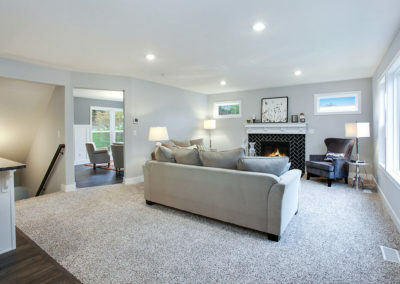 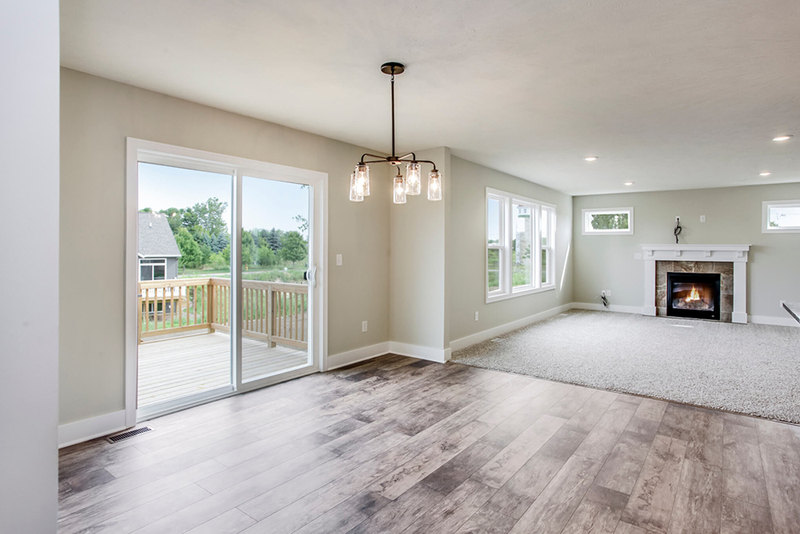 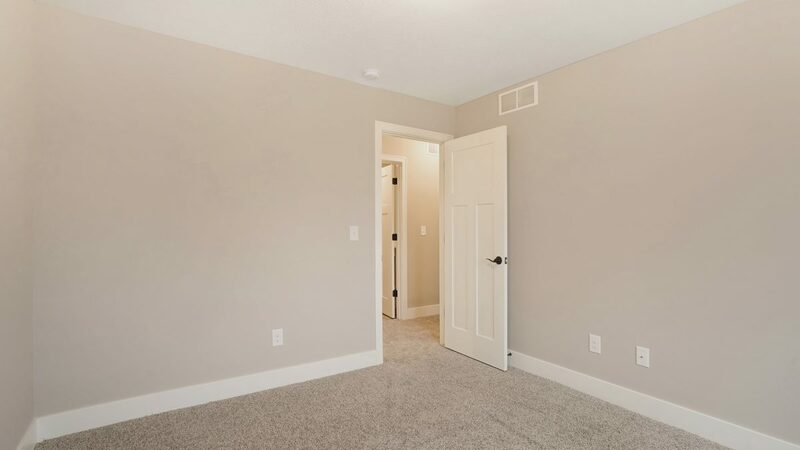 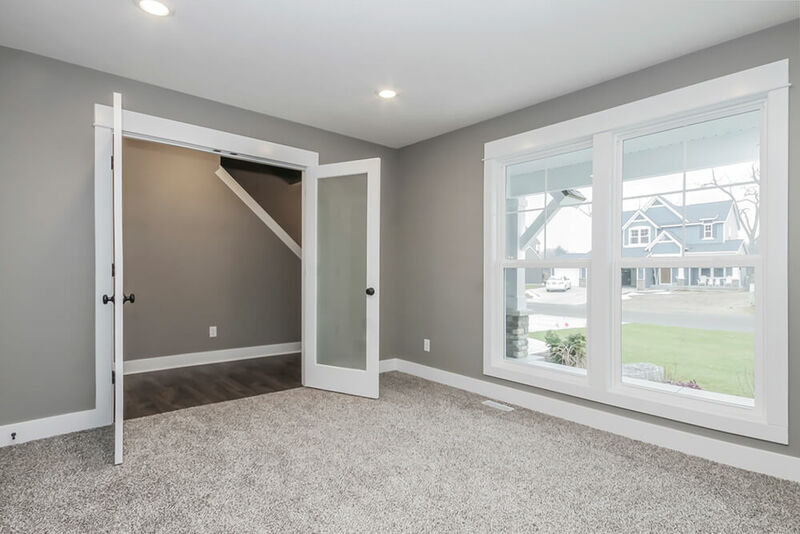 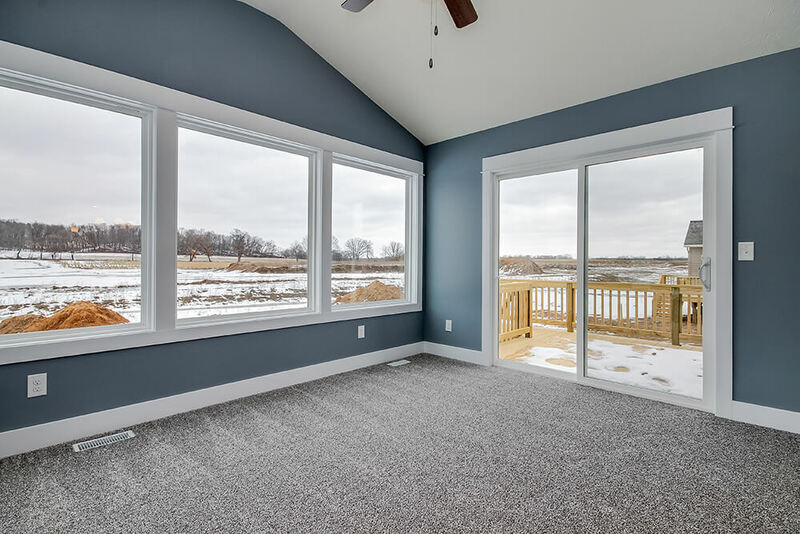 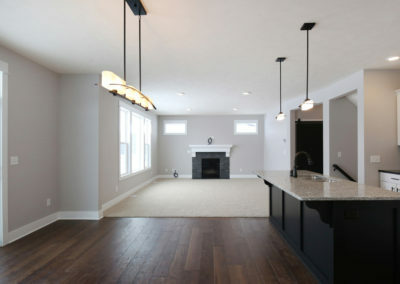 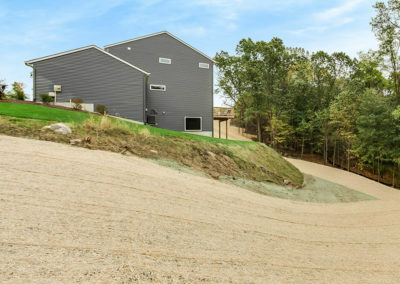 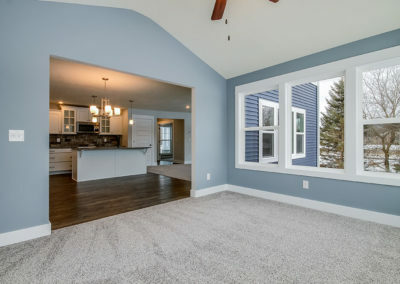 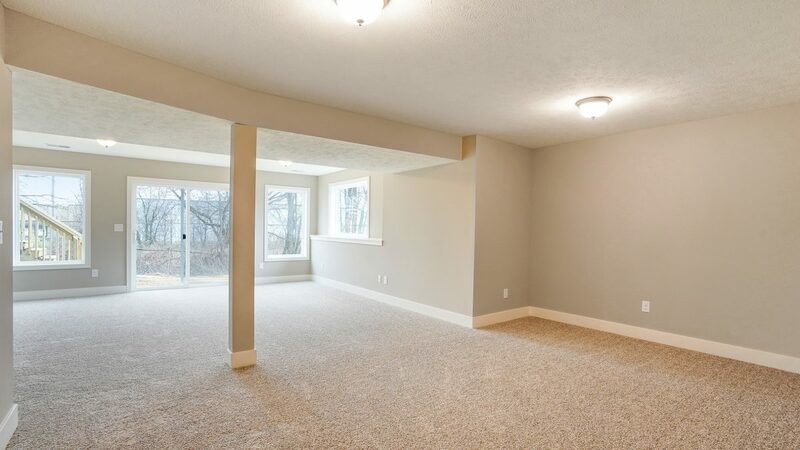 From the entry way, the home plan opens up into the bright, spacious main living area. 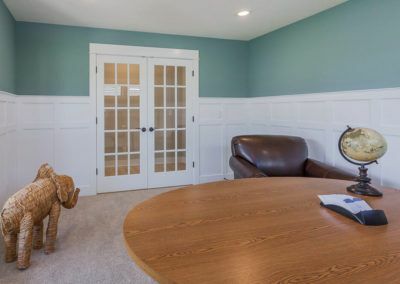 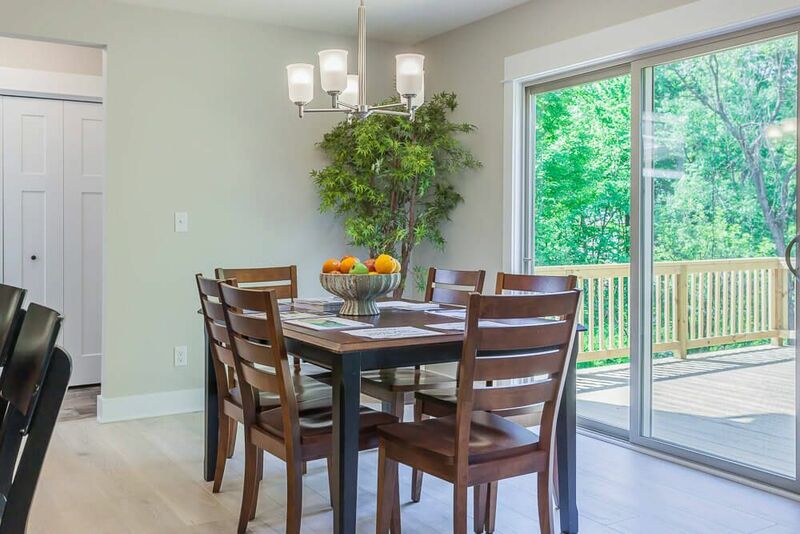 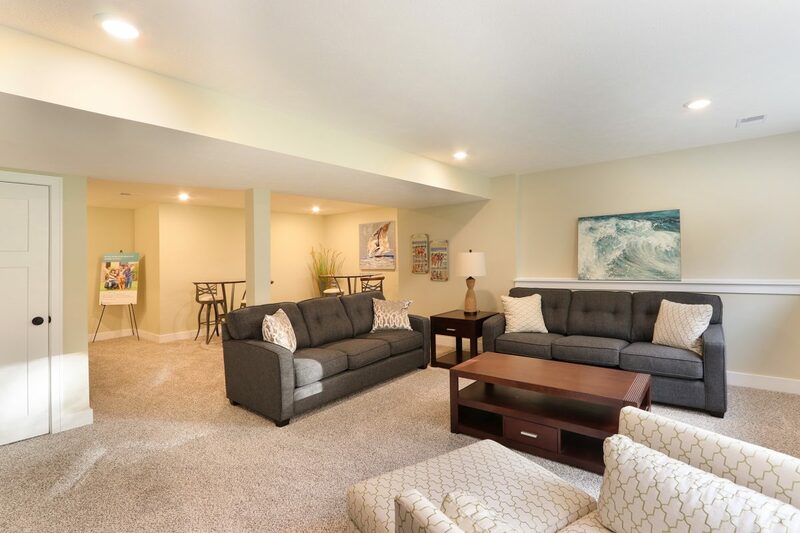 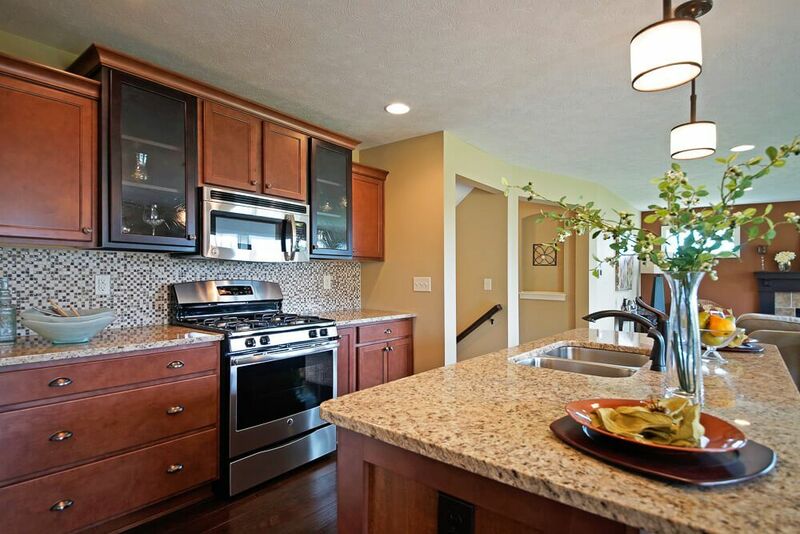 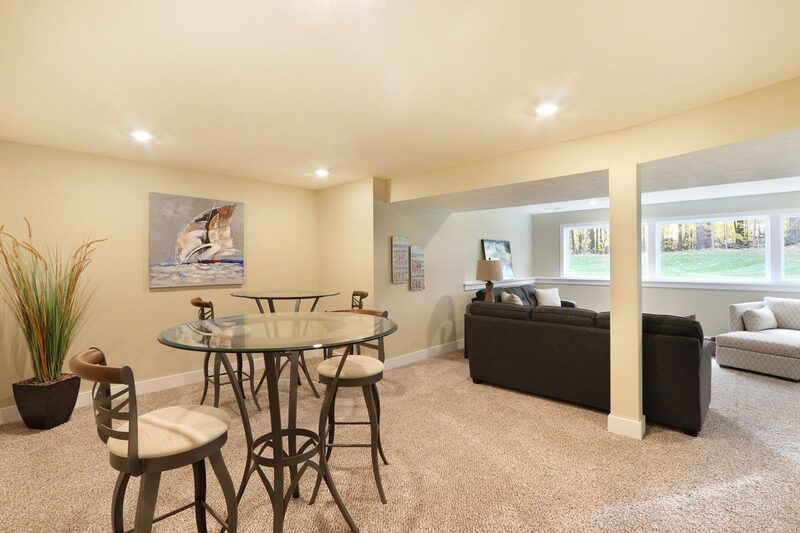 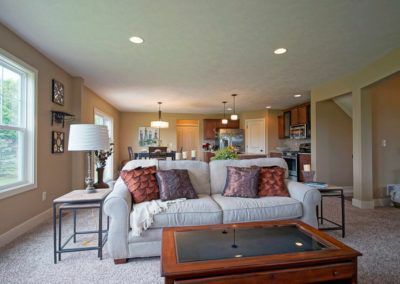 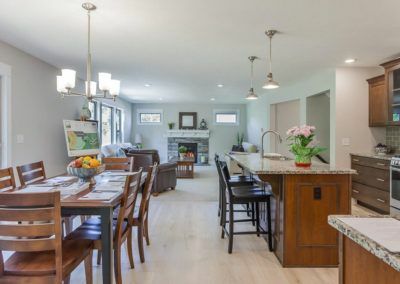 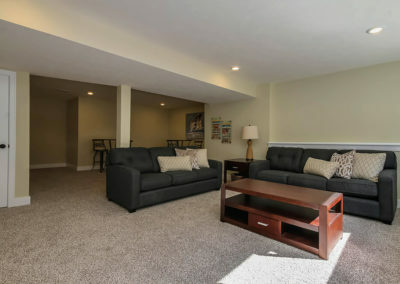 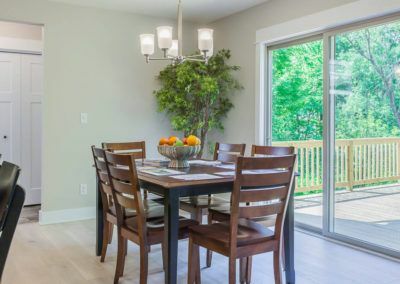 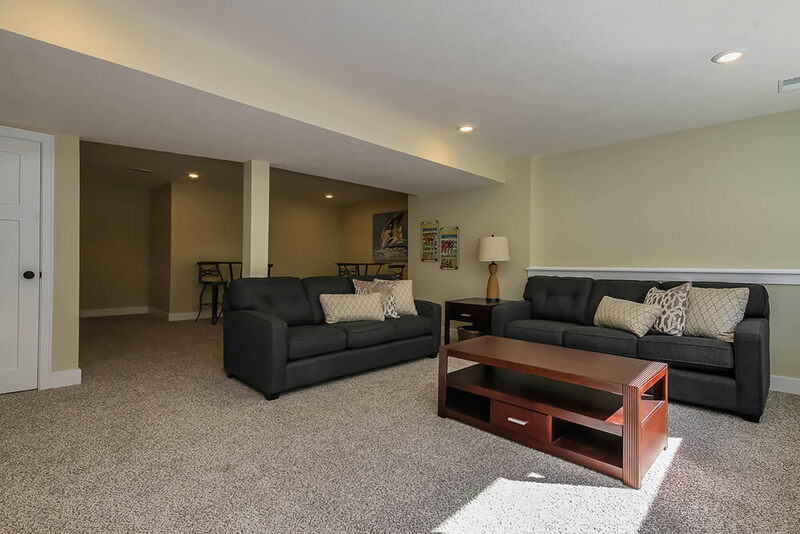 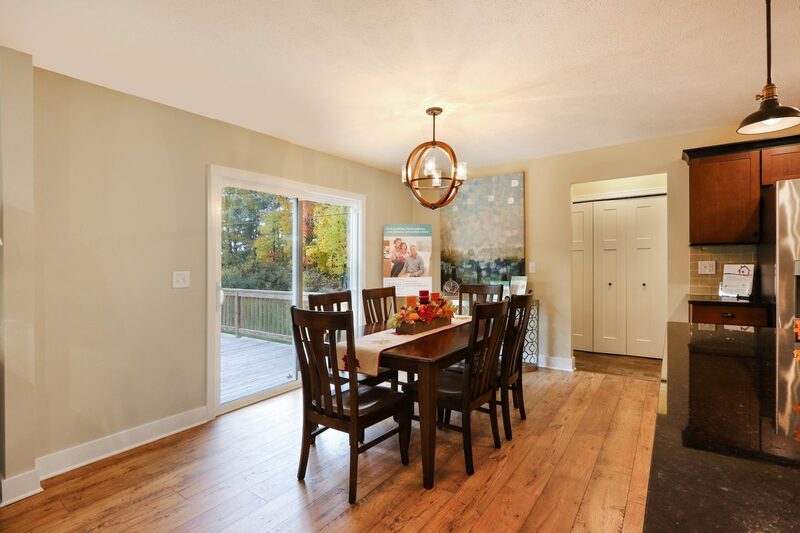 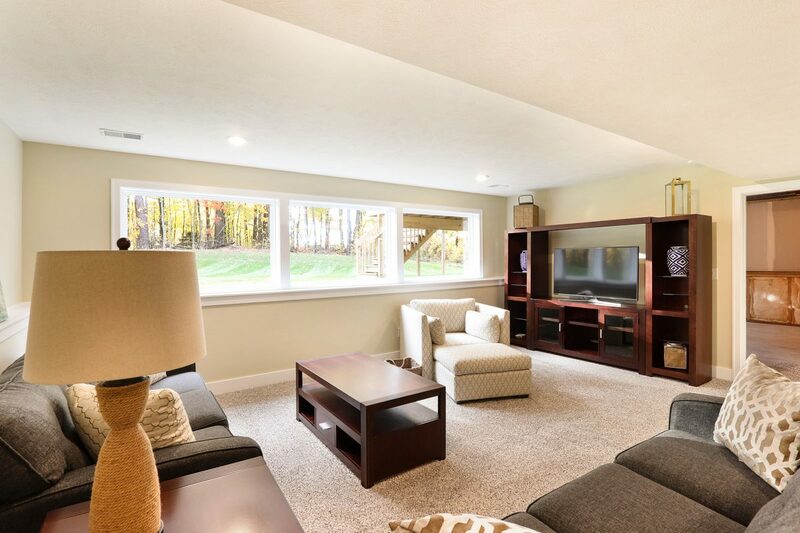 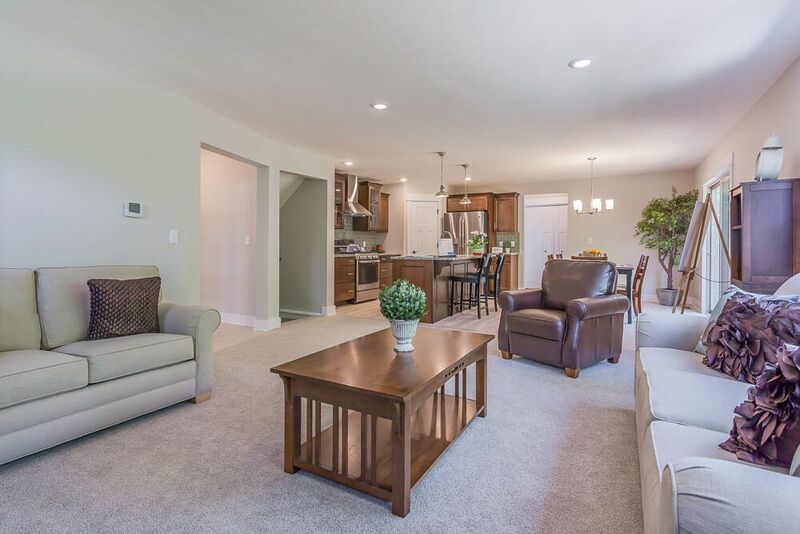 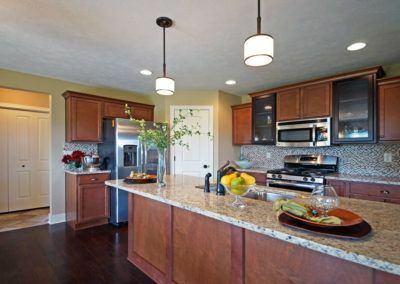 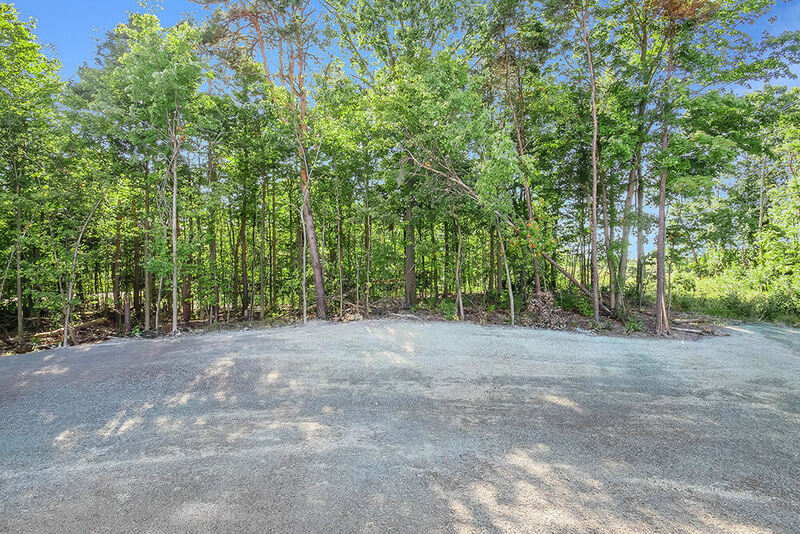 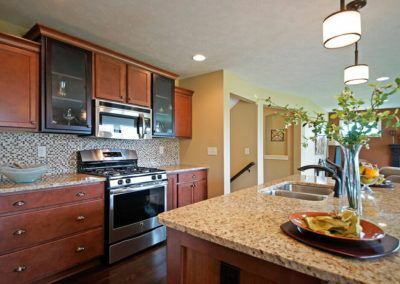 This free-flowing space includes the sizable family room, large dining area, and ample kitchen. 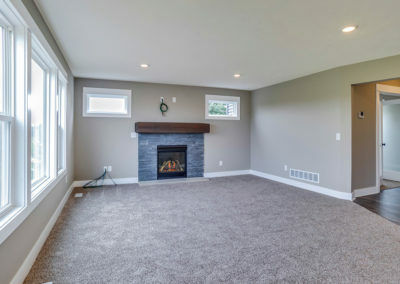 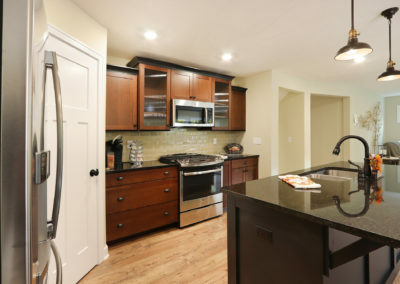 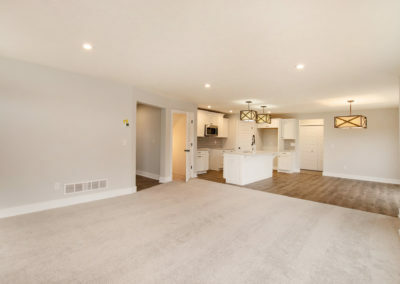 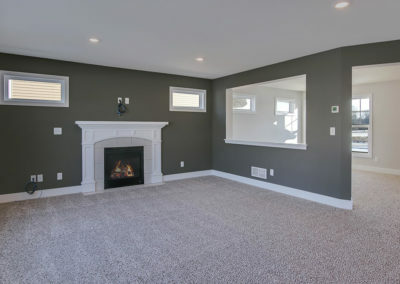 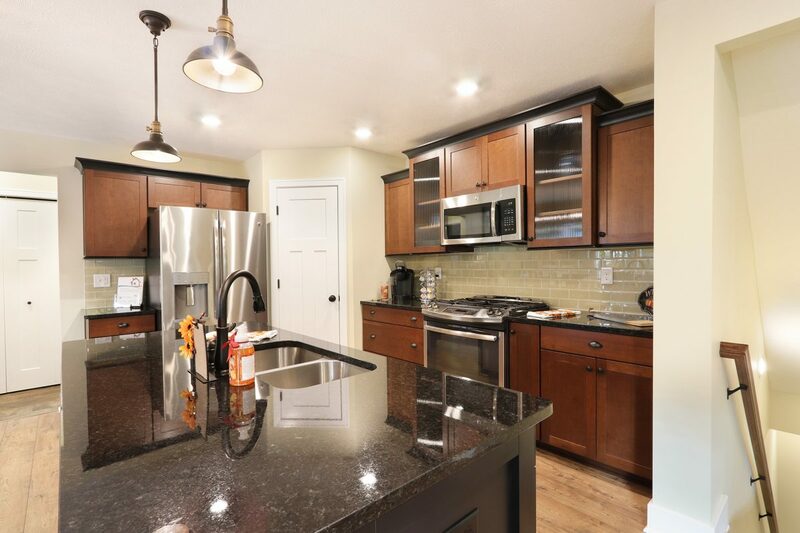 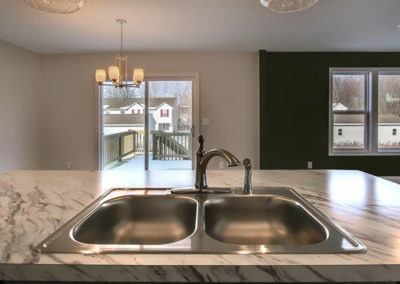 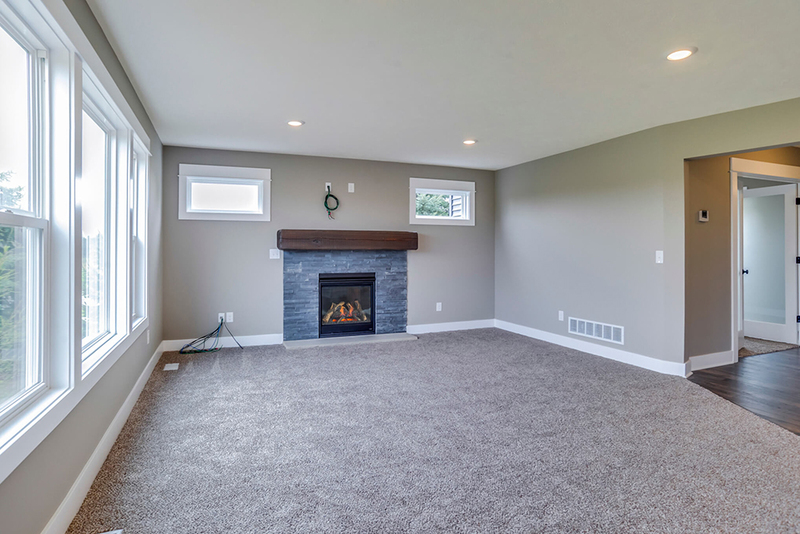 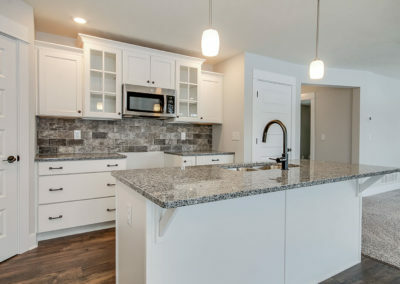 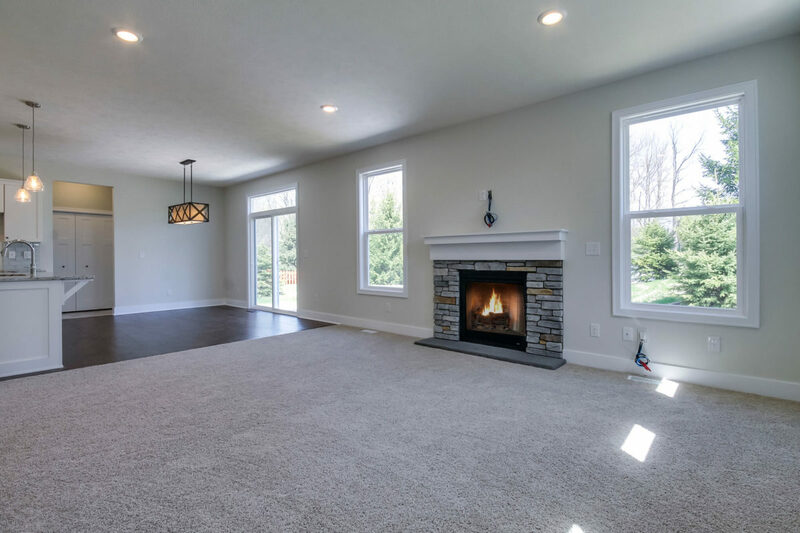 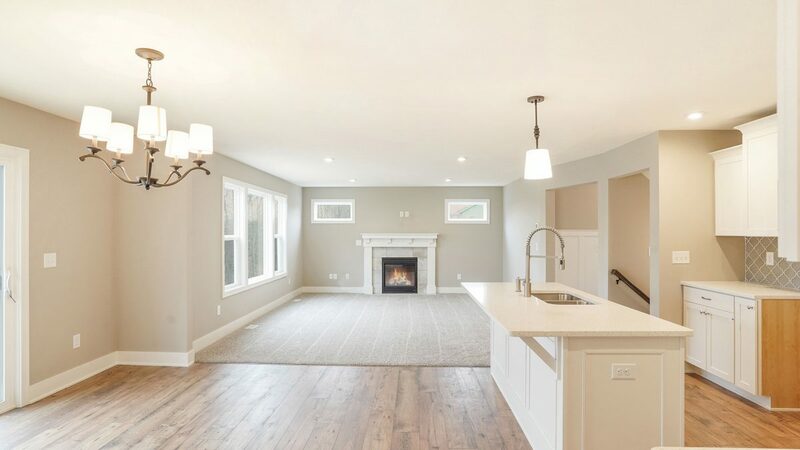 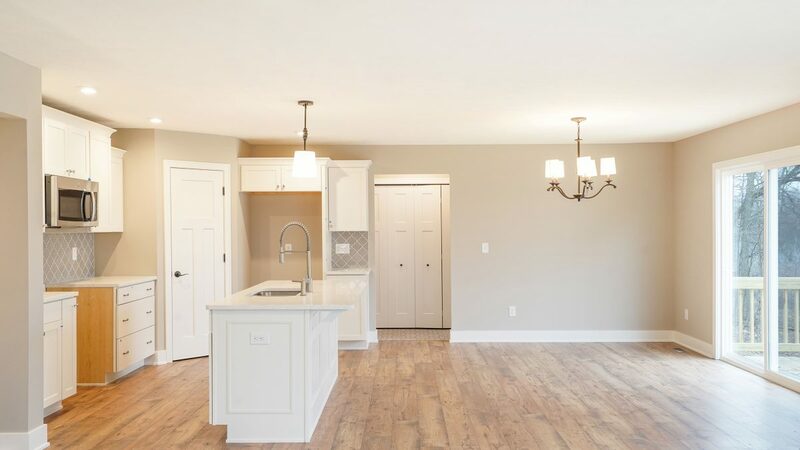 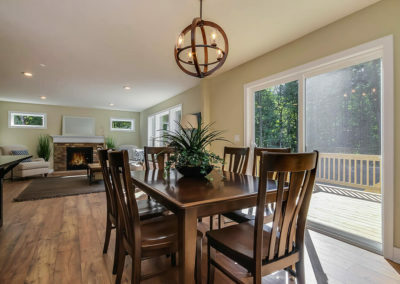 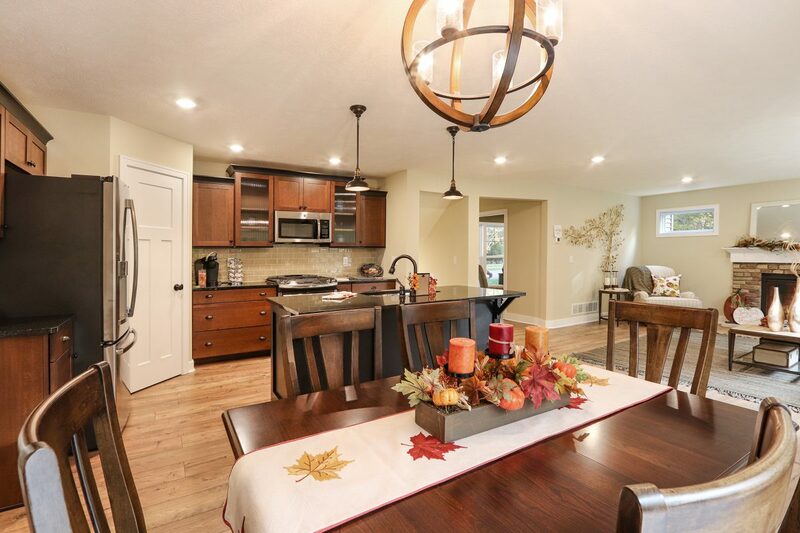 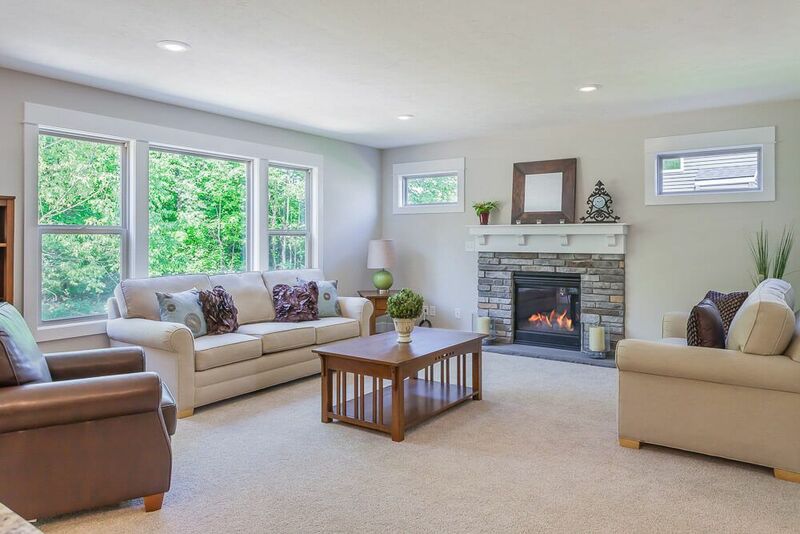 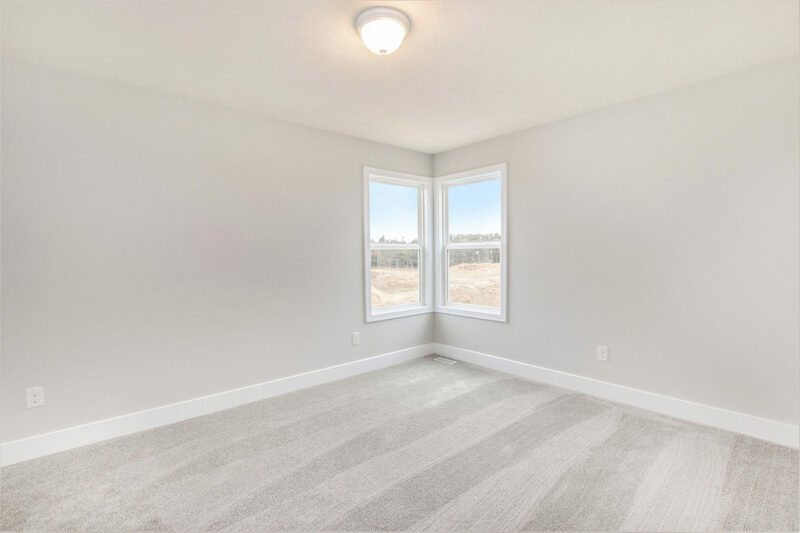 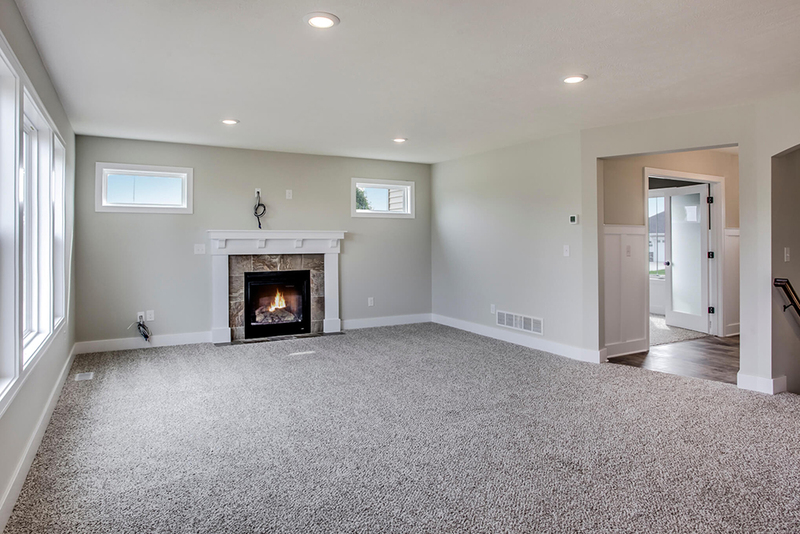 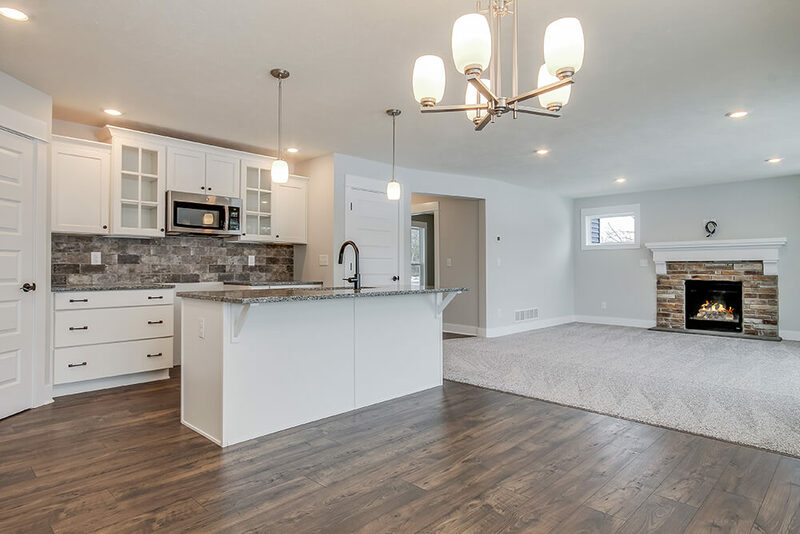 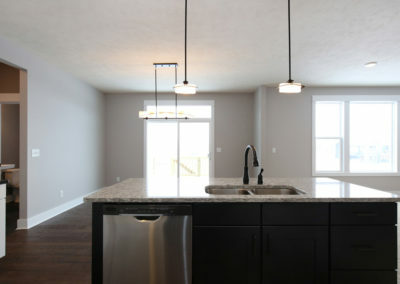 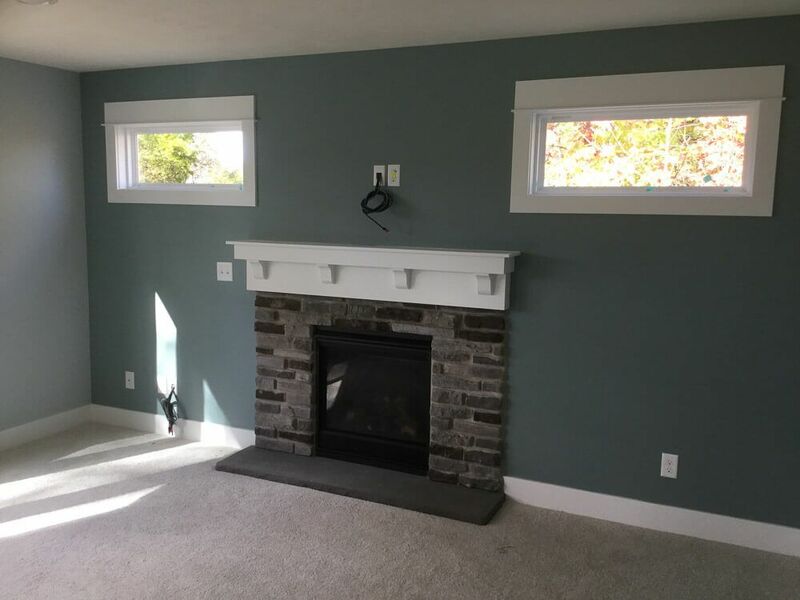 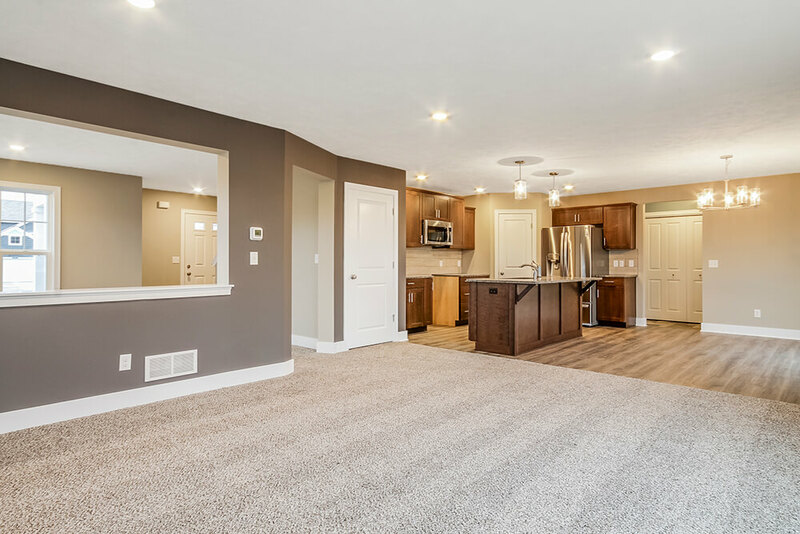 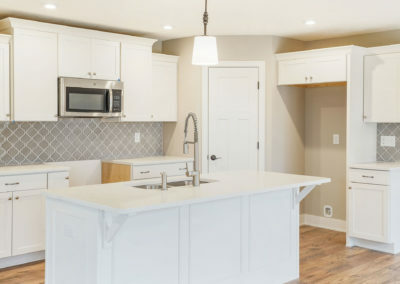 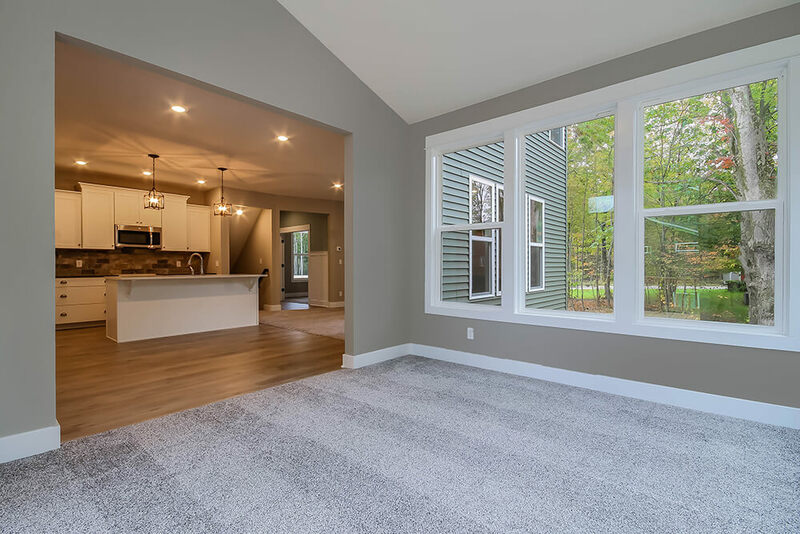 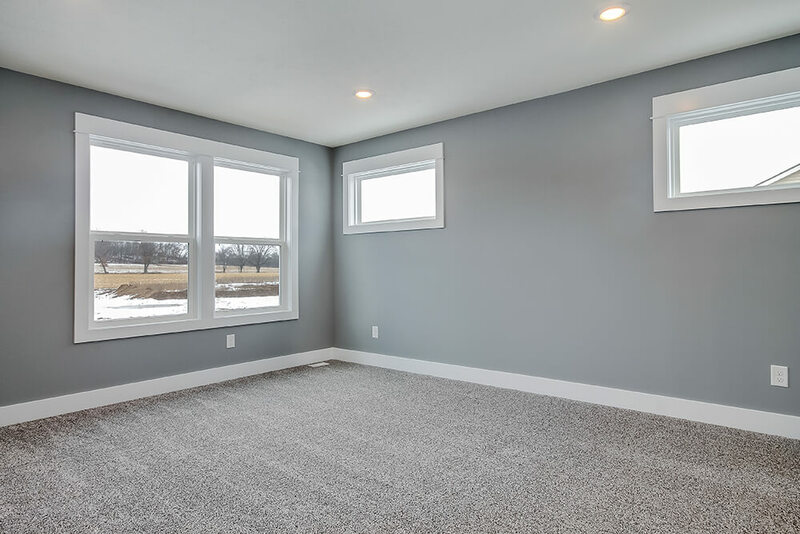 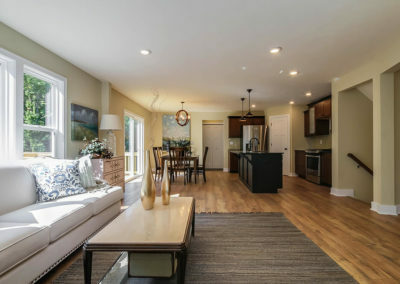 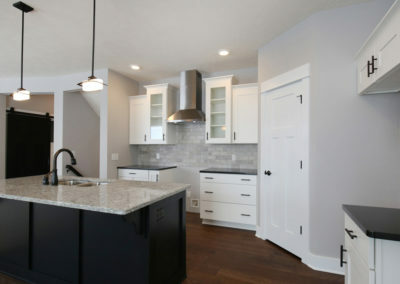 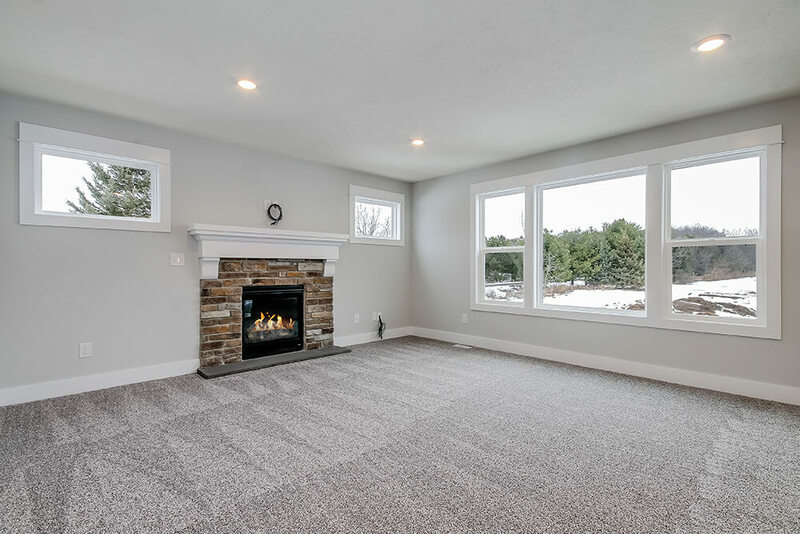 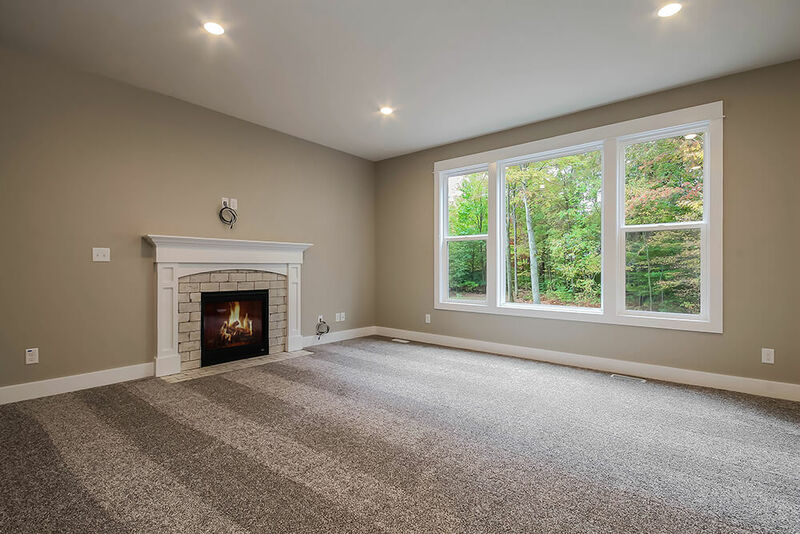 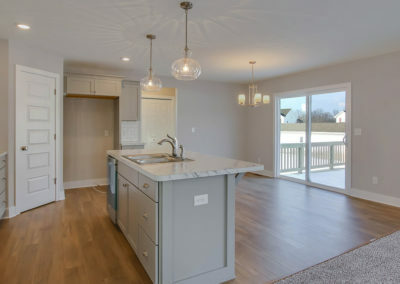 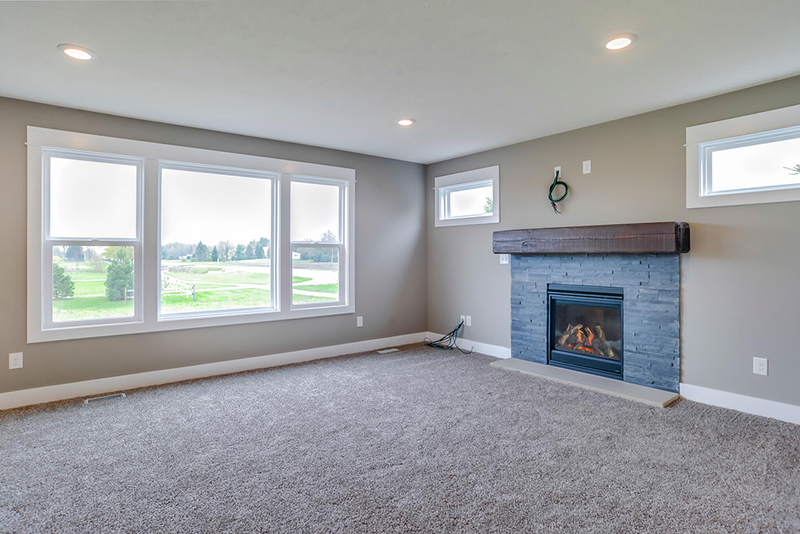 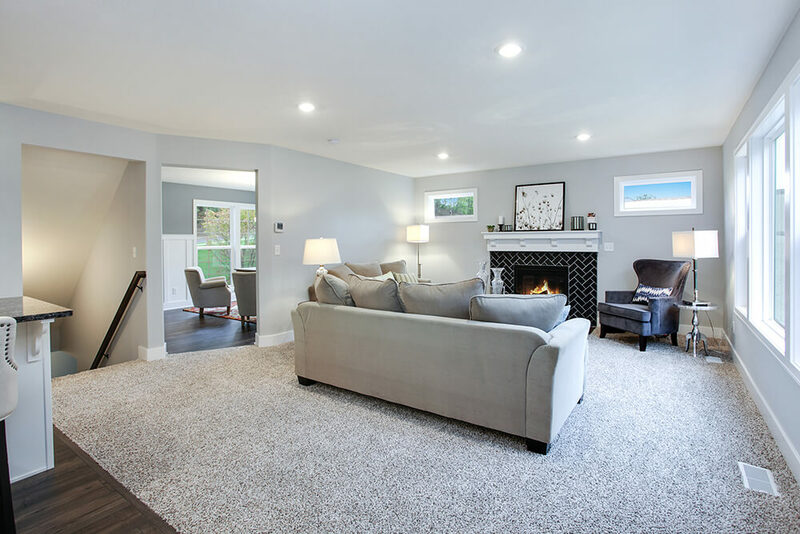 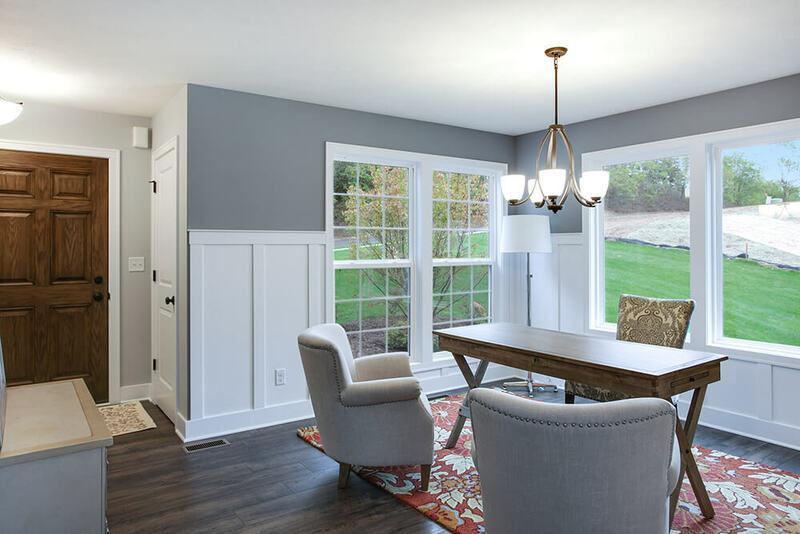 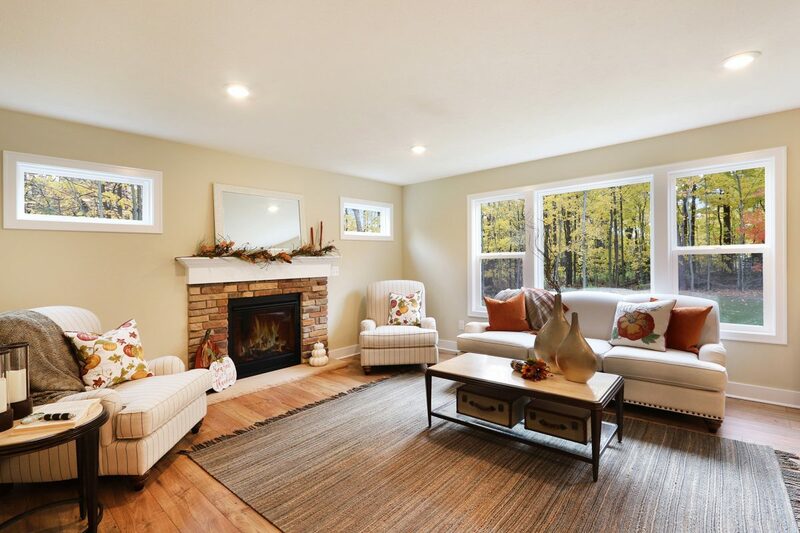 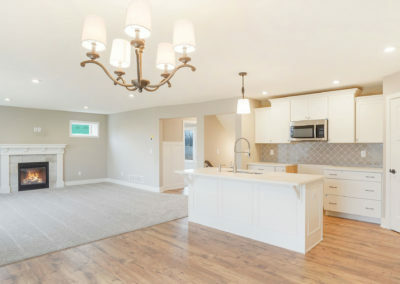 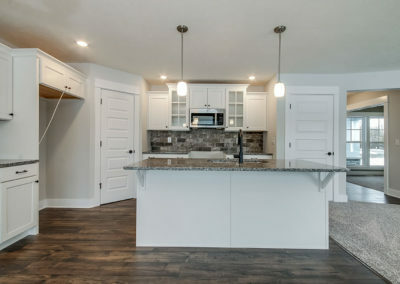 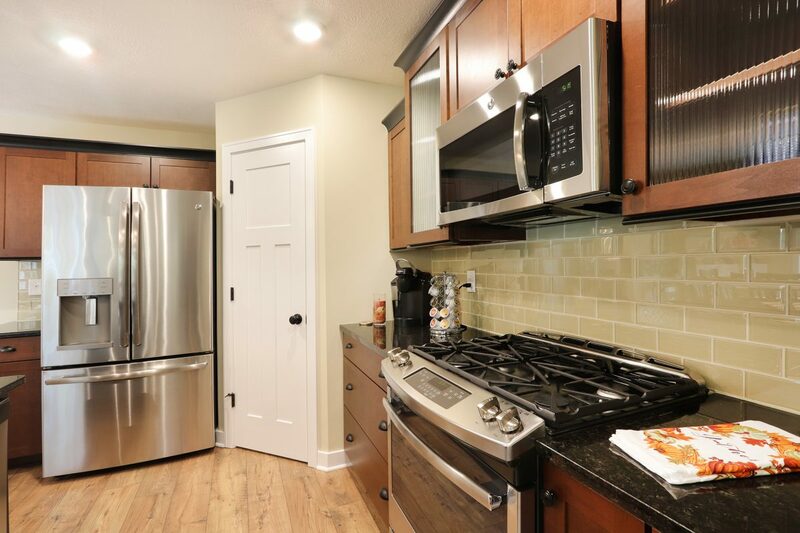 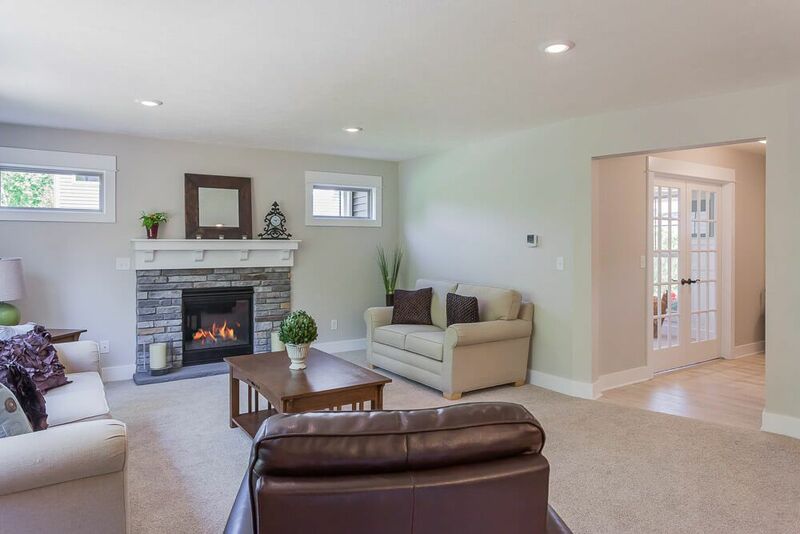 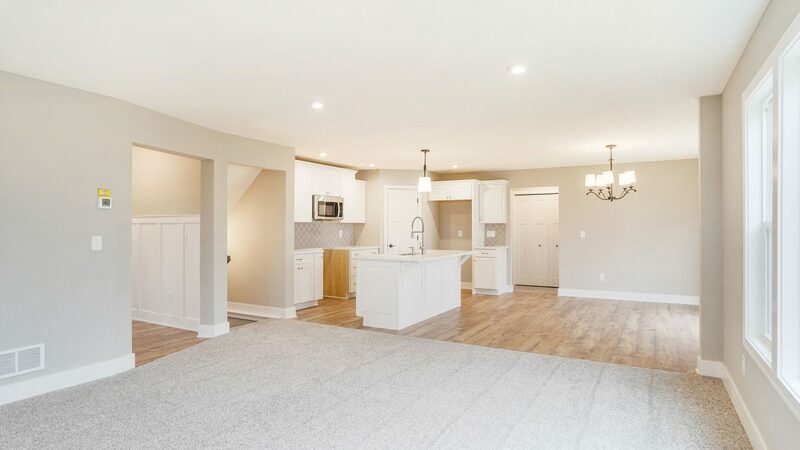 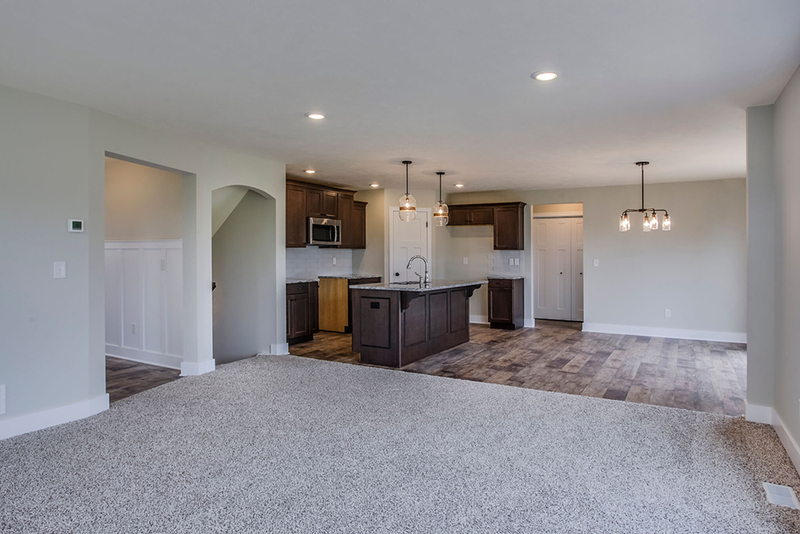 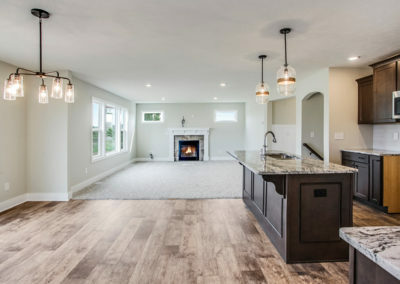 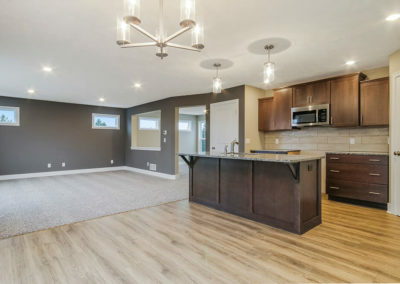 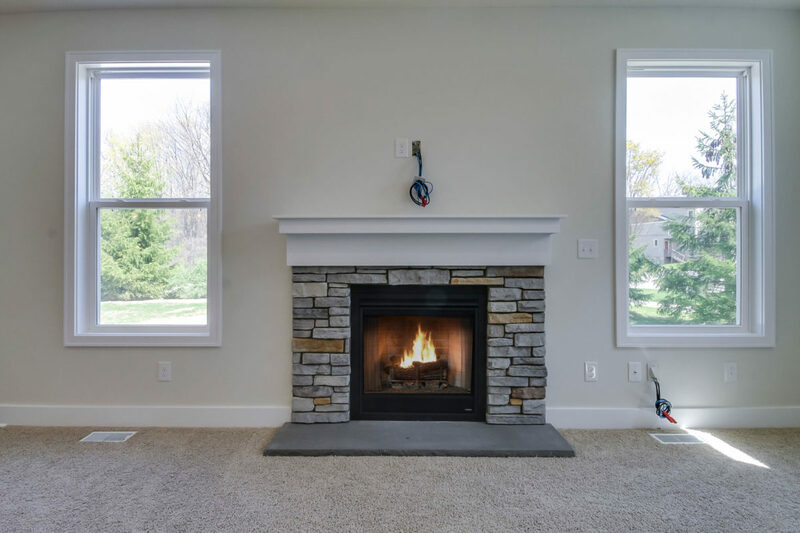 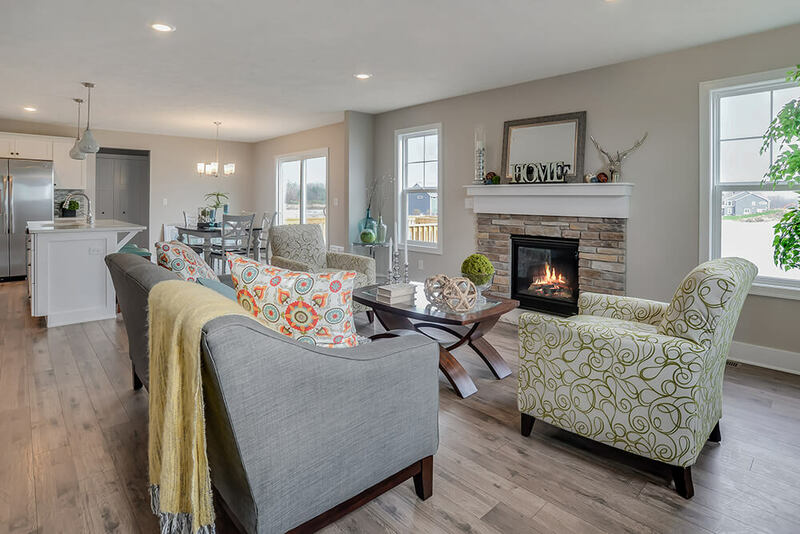 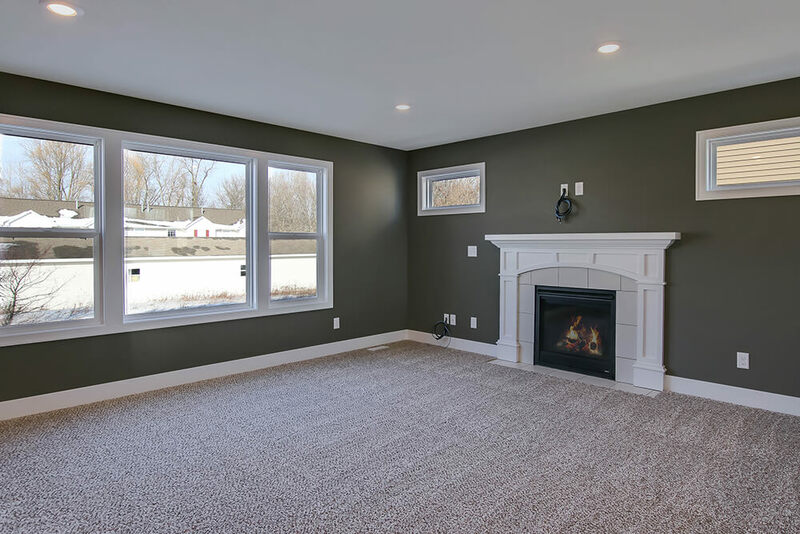 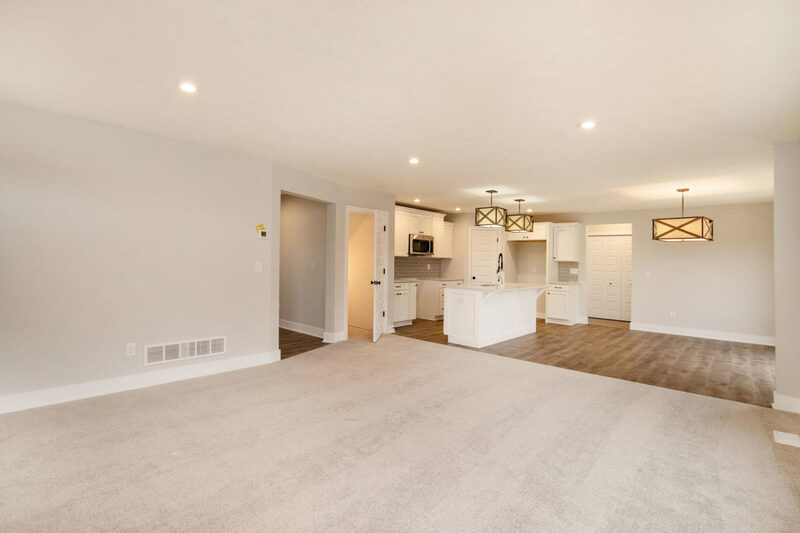 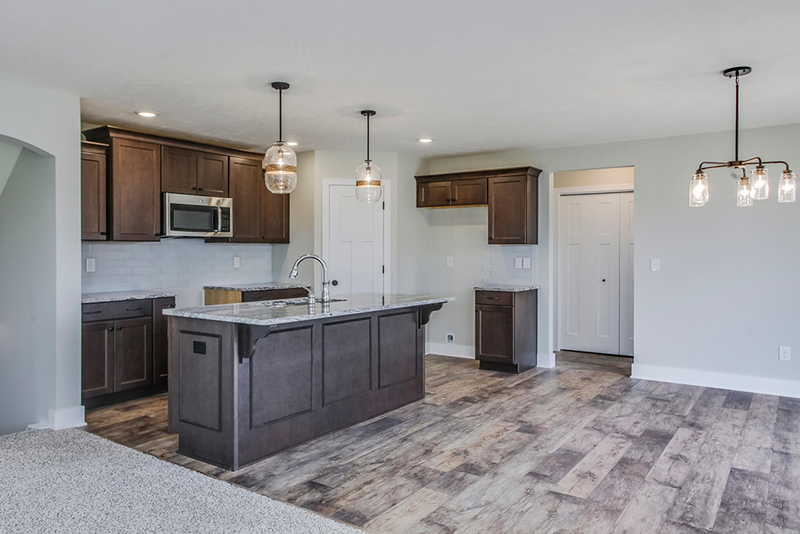 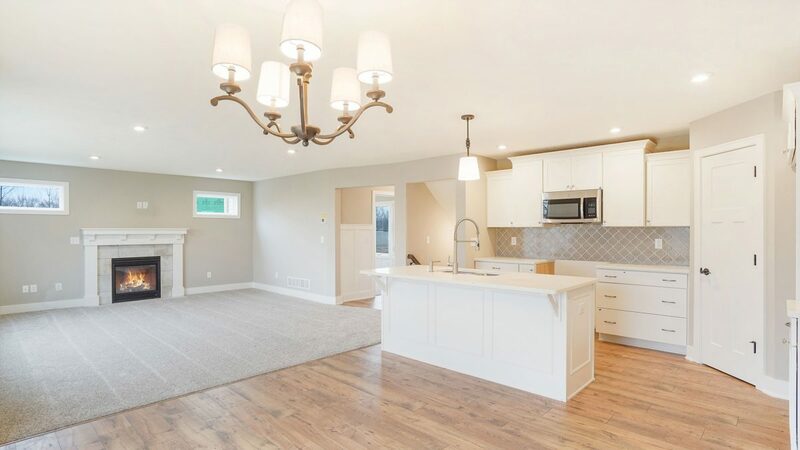 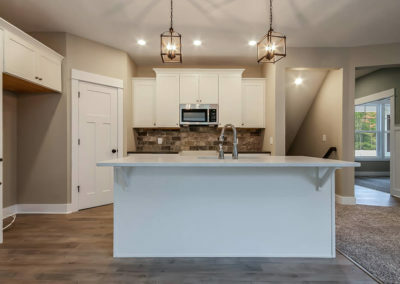 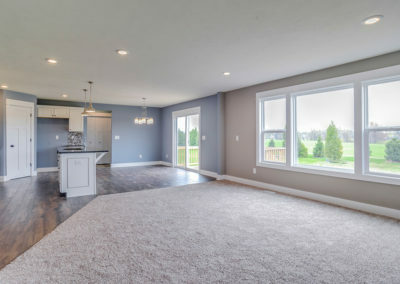 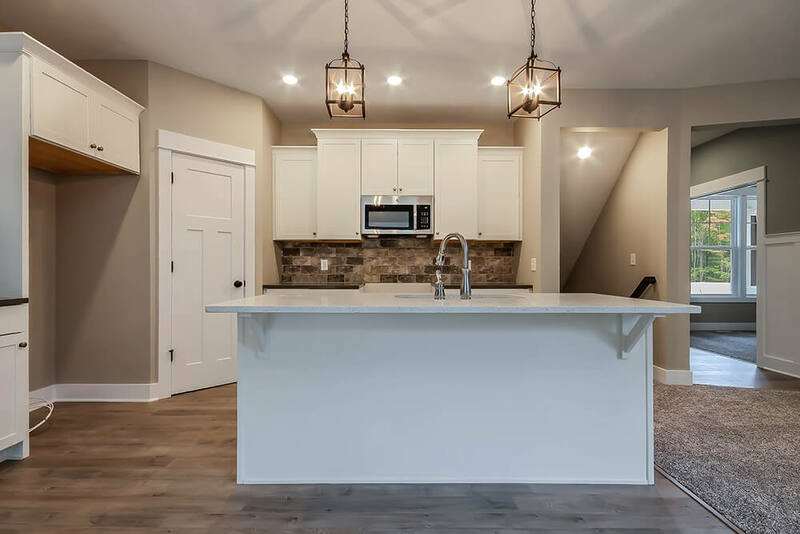 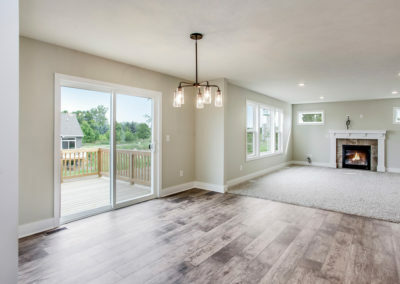 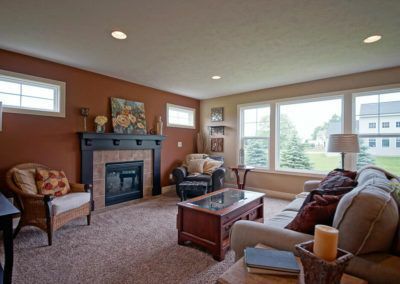 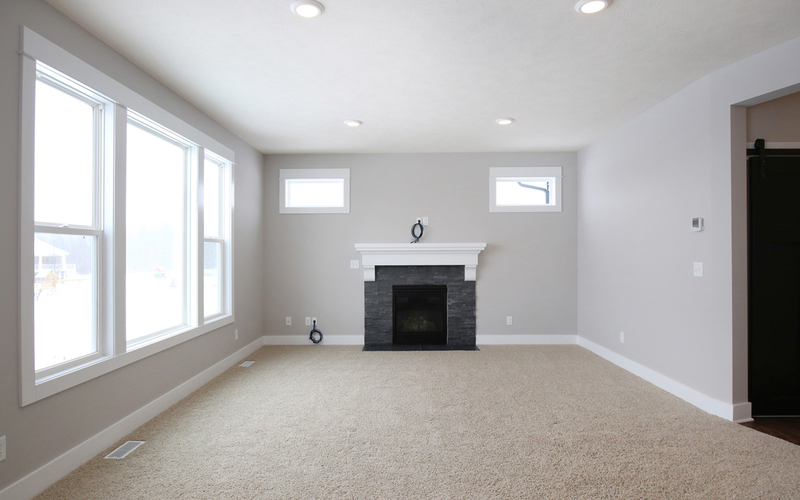 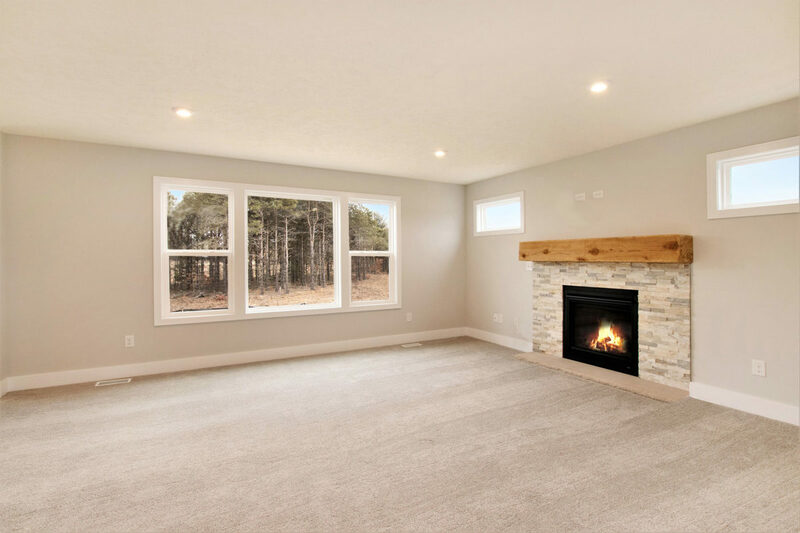 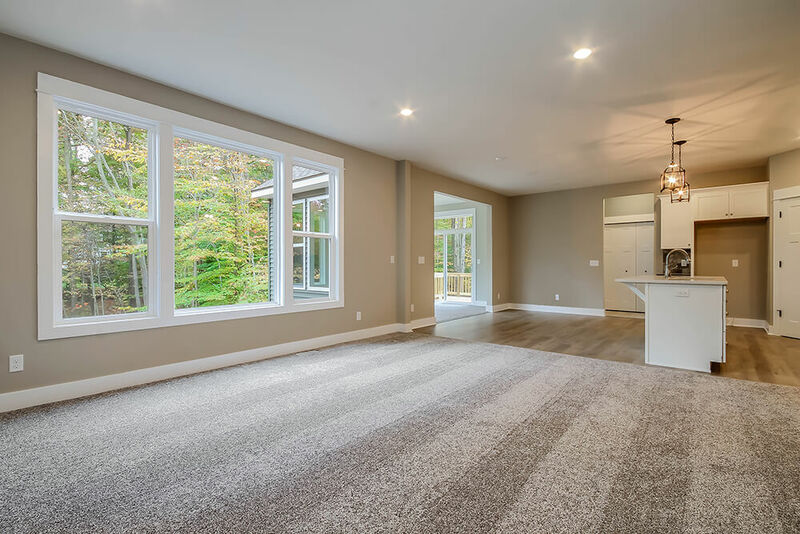 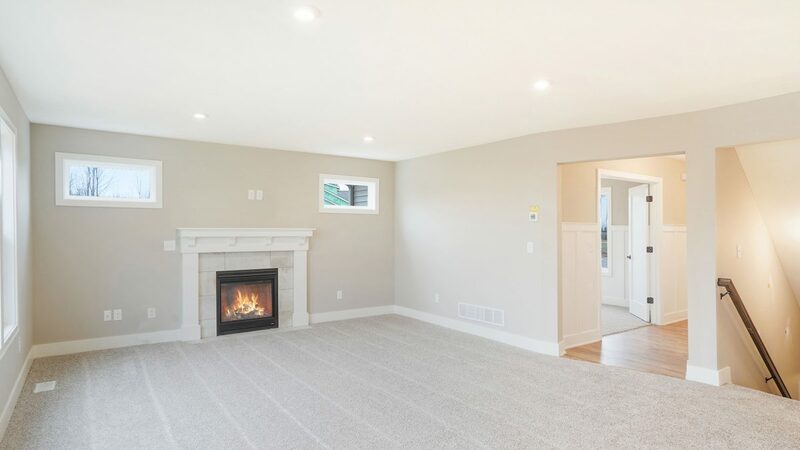 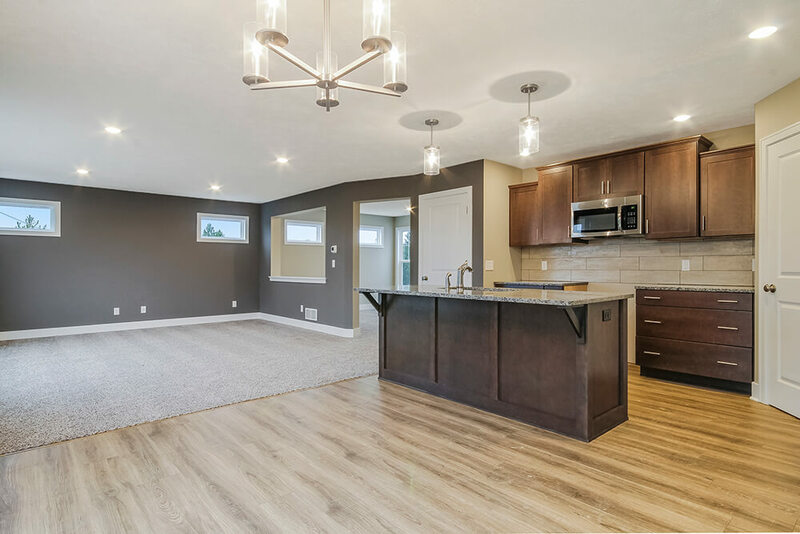 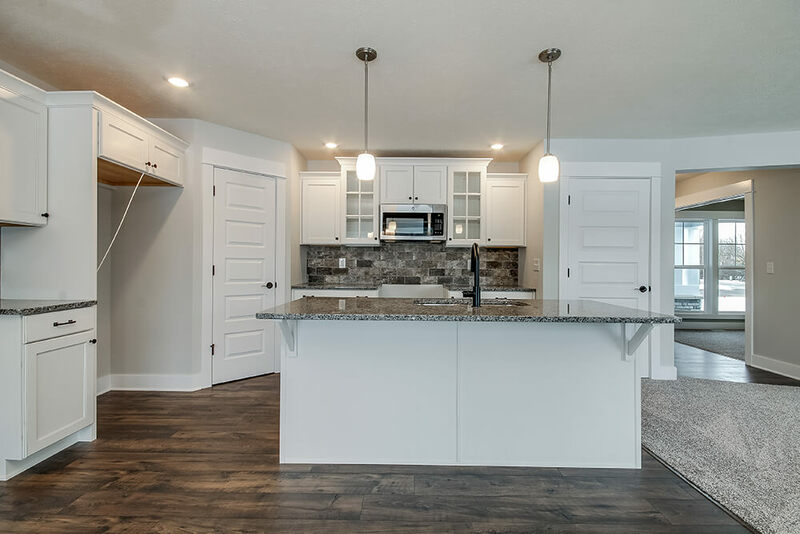 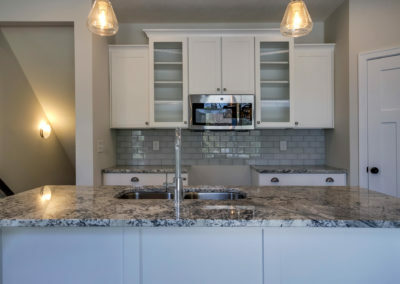 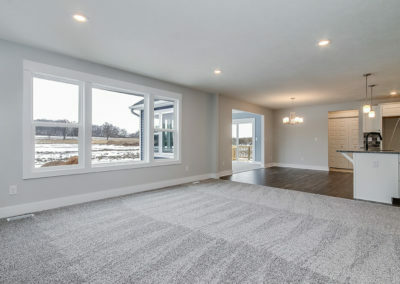 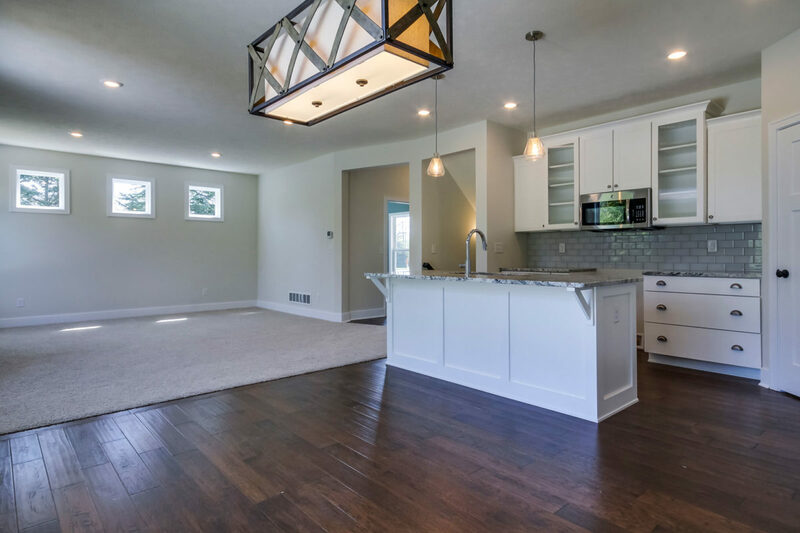 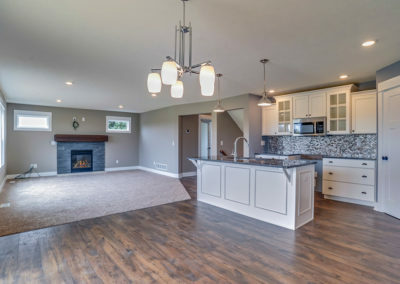 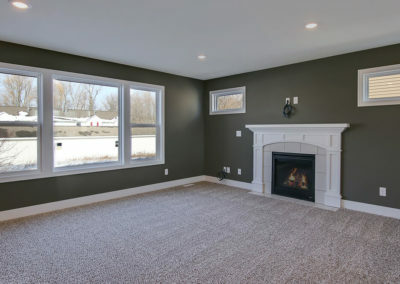 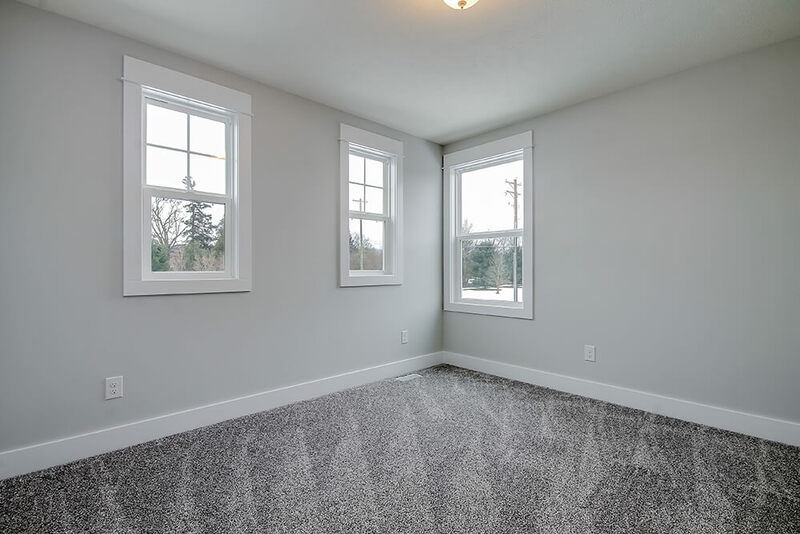 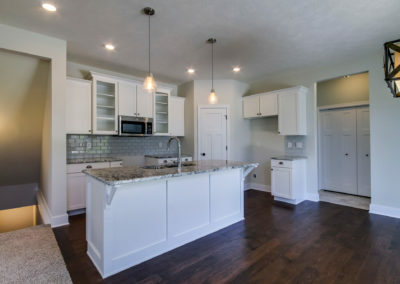 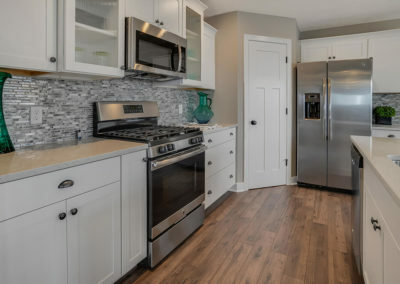 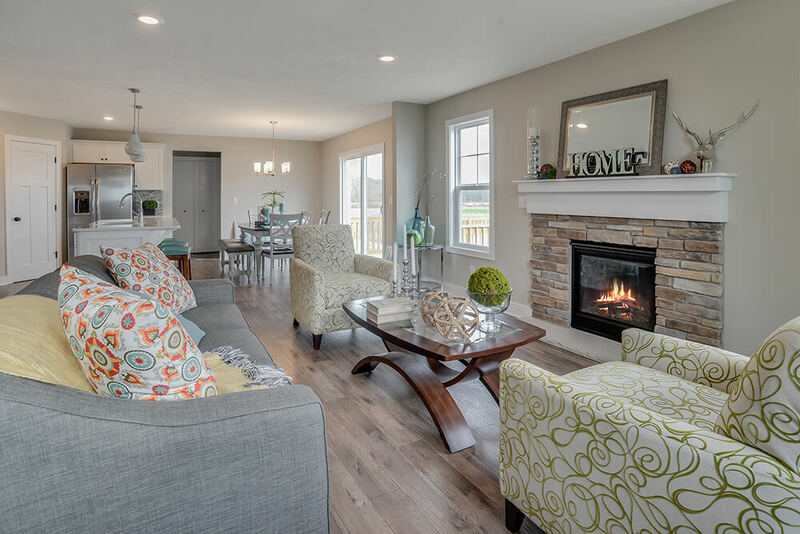 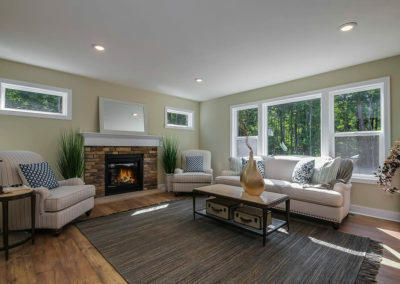 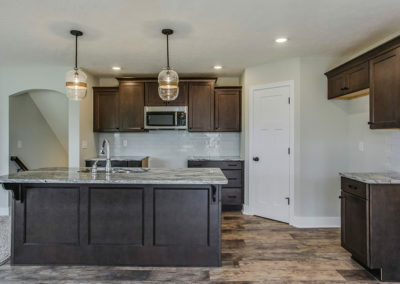 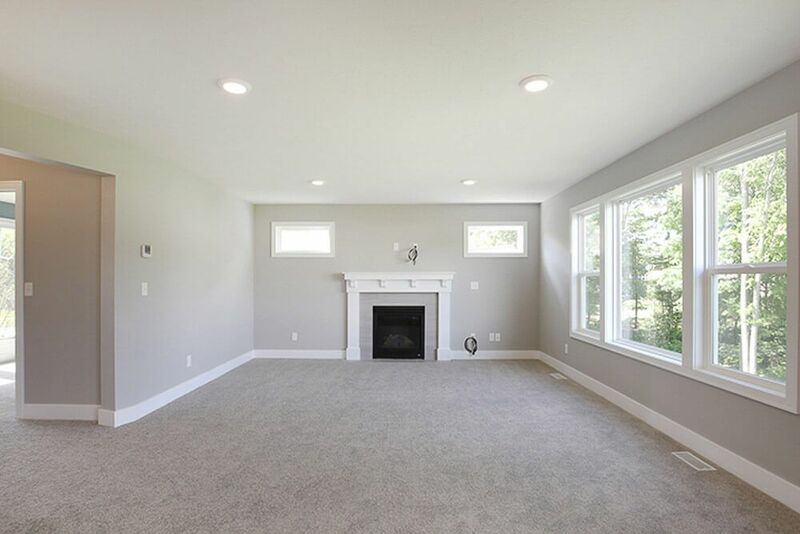 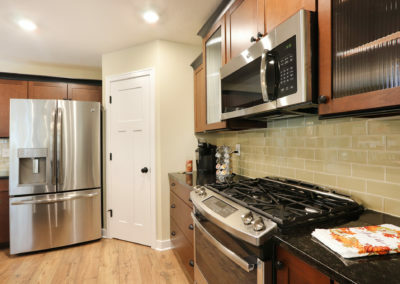 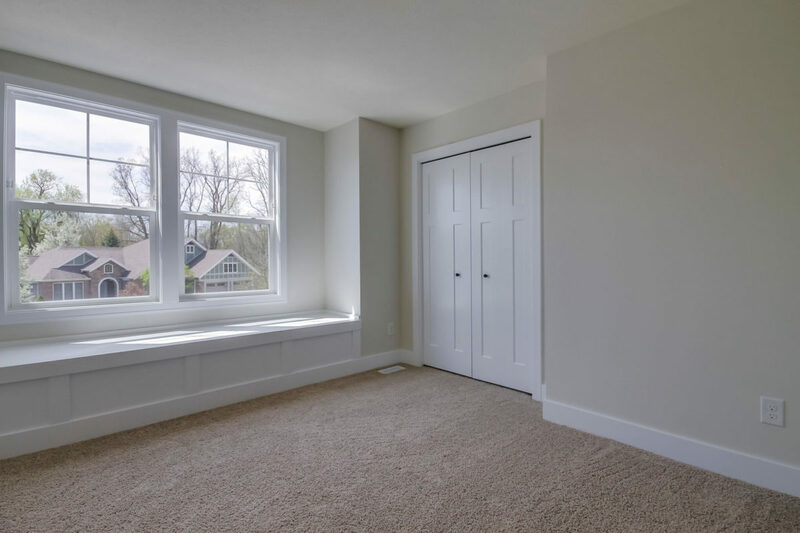 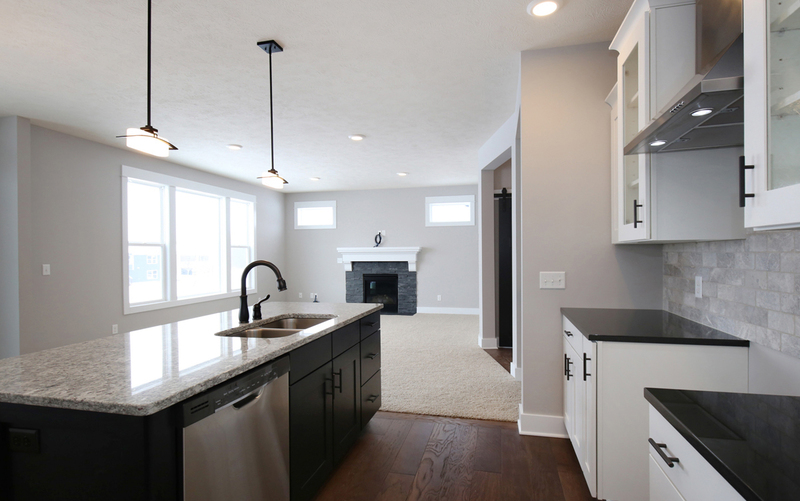 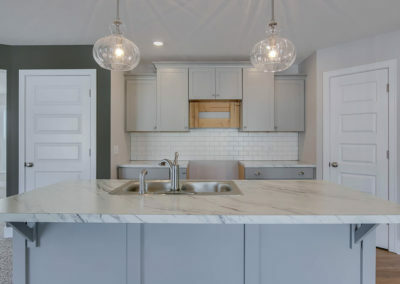 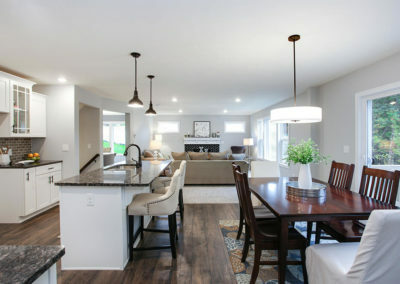 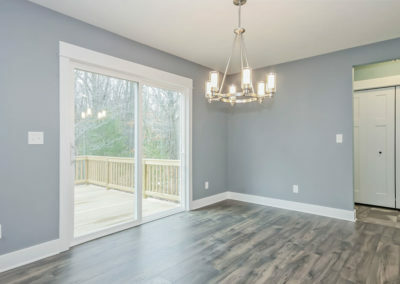 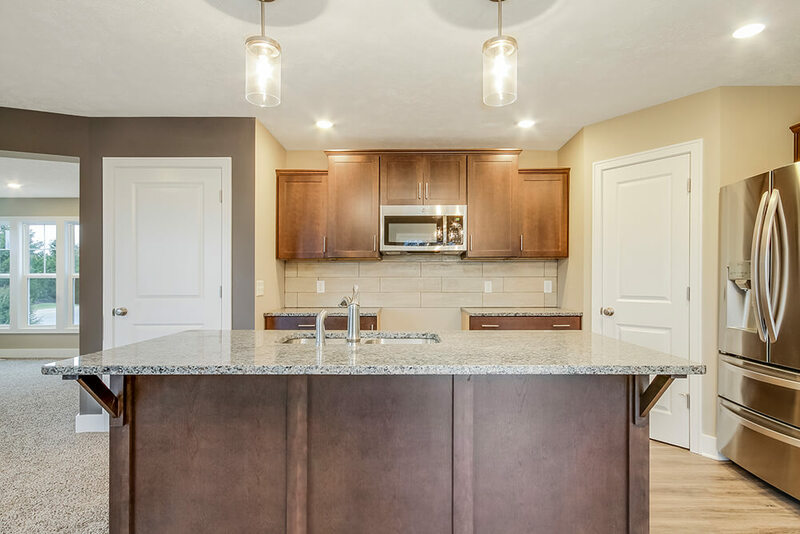 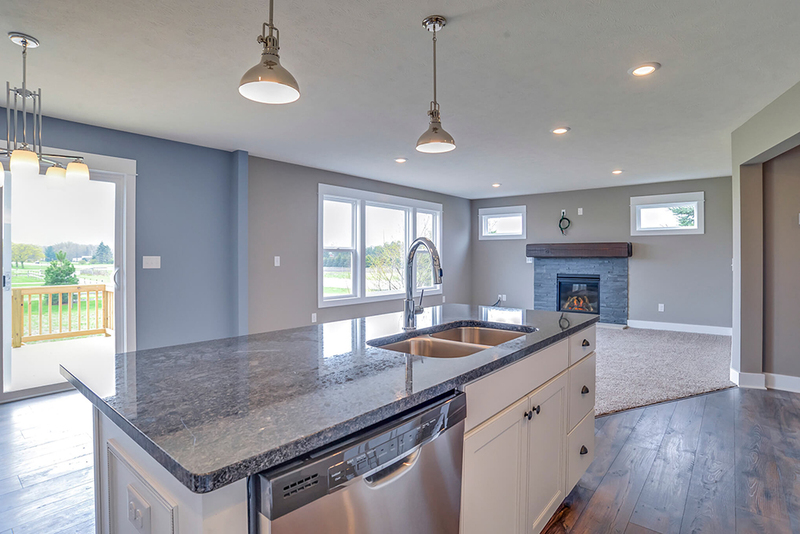 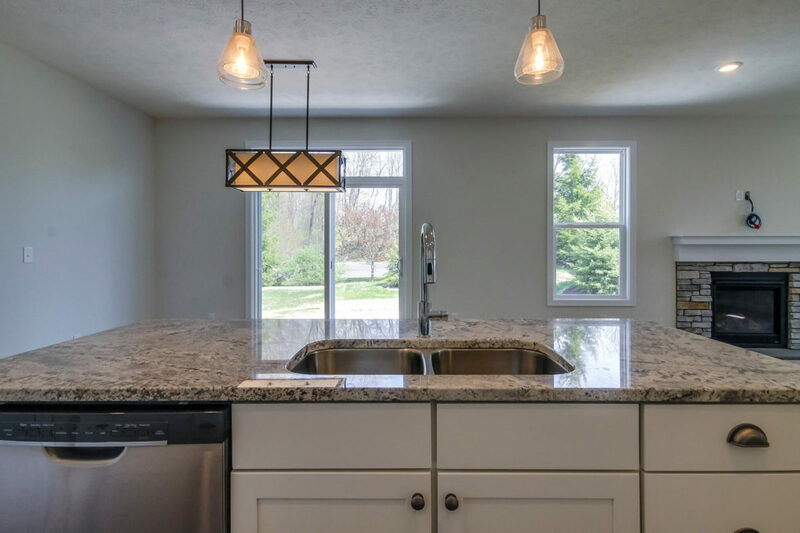 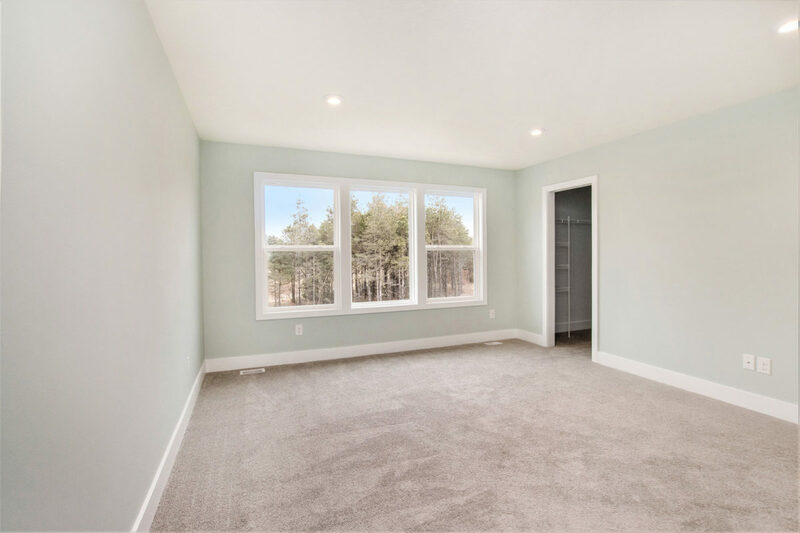 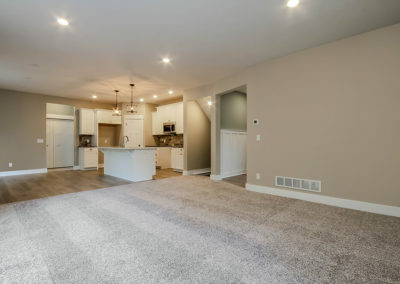 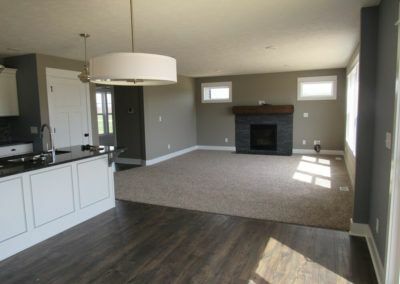 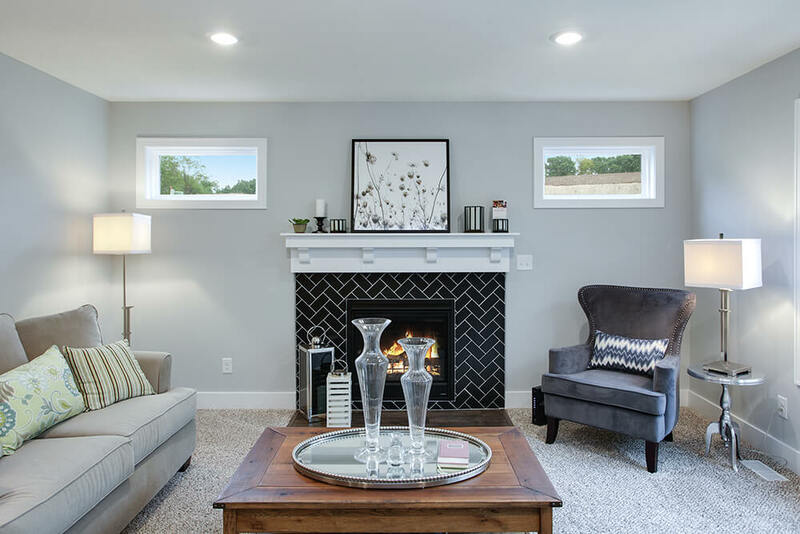 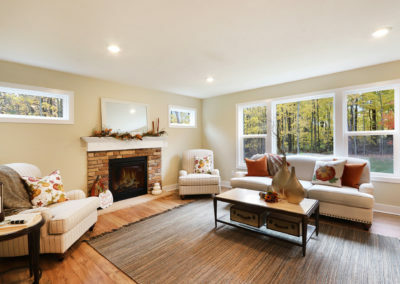 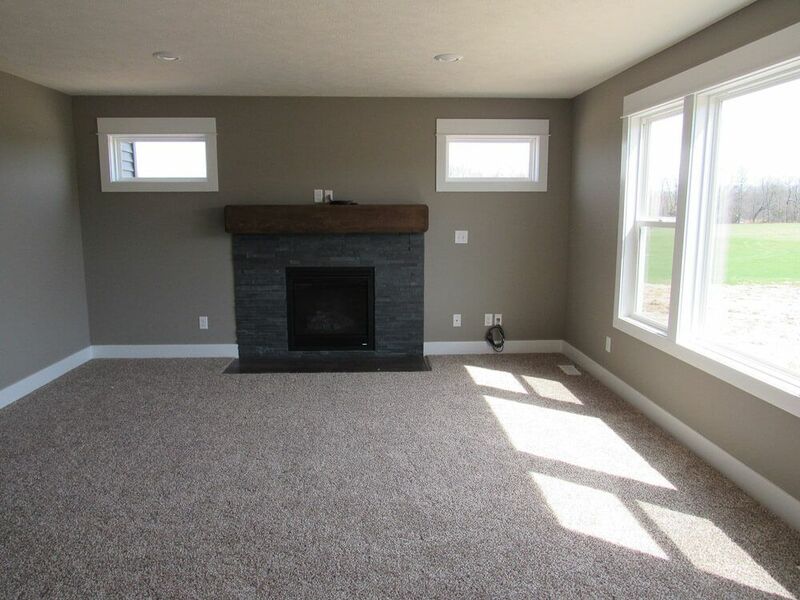 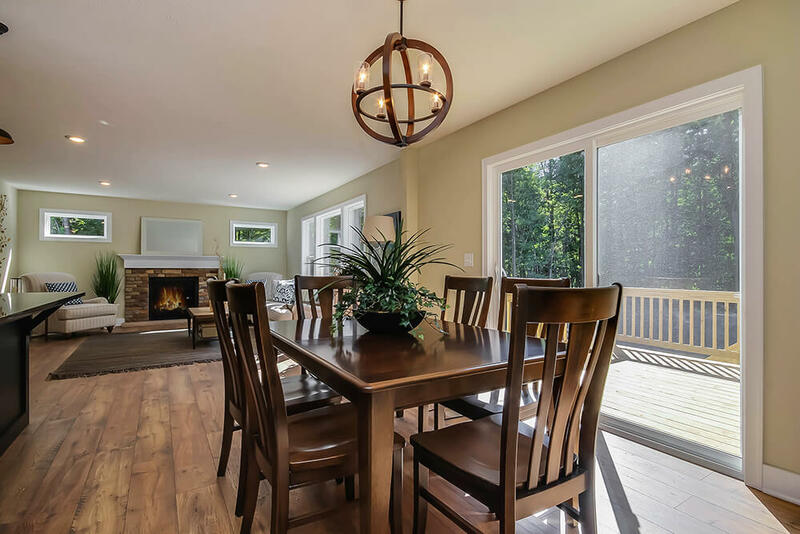 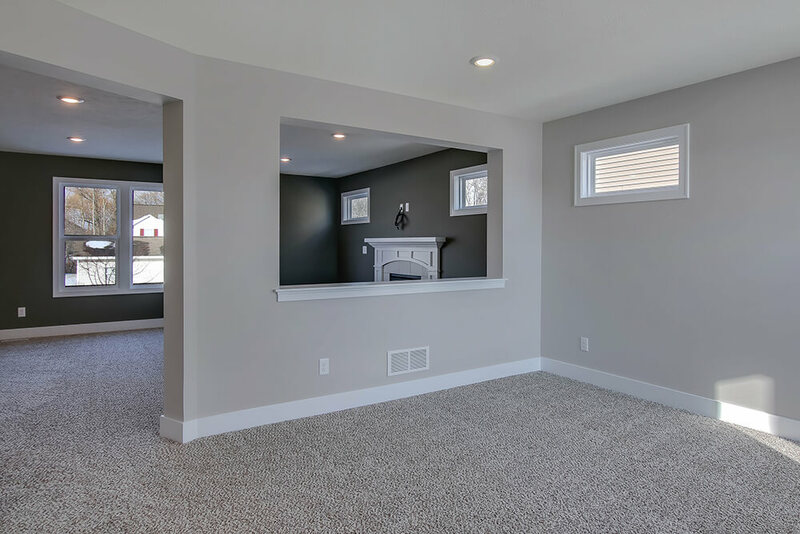 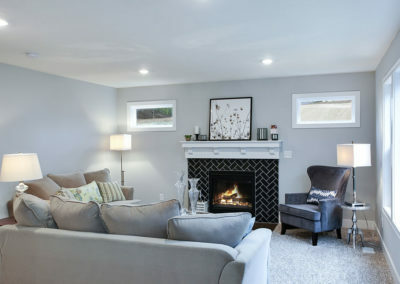 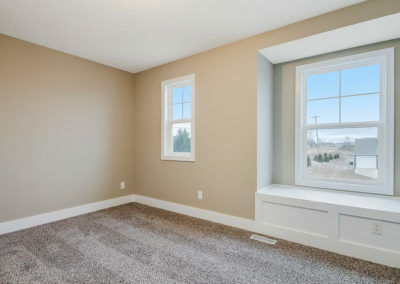 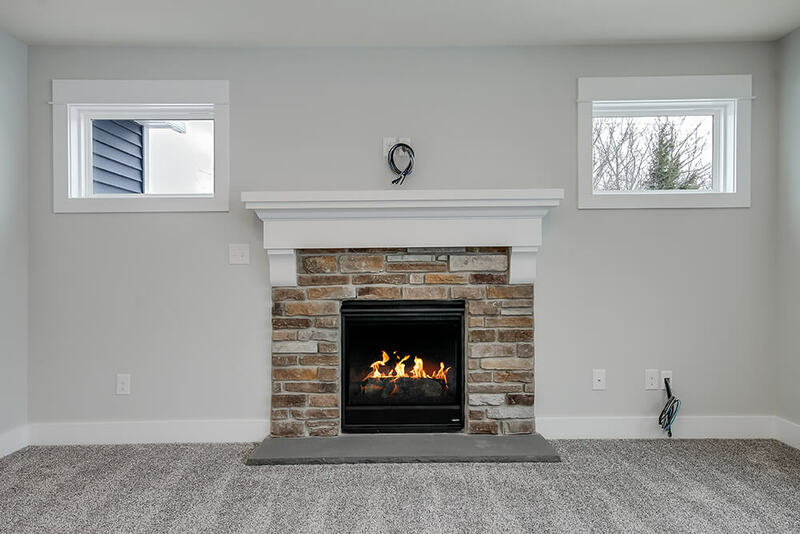 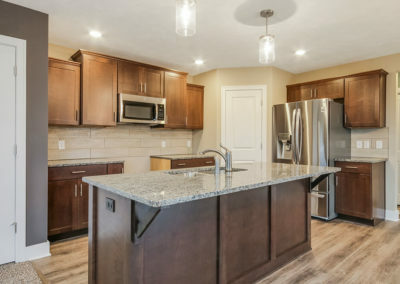 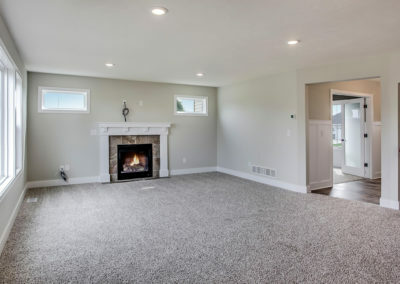 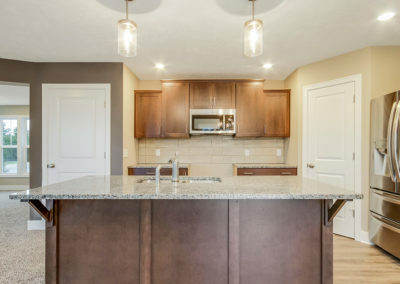 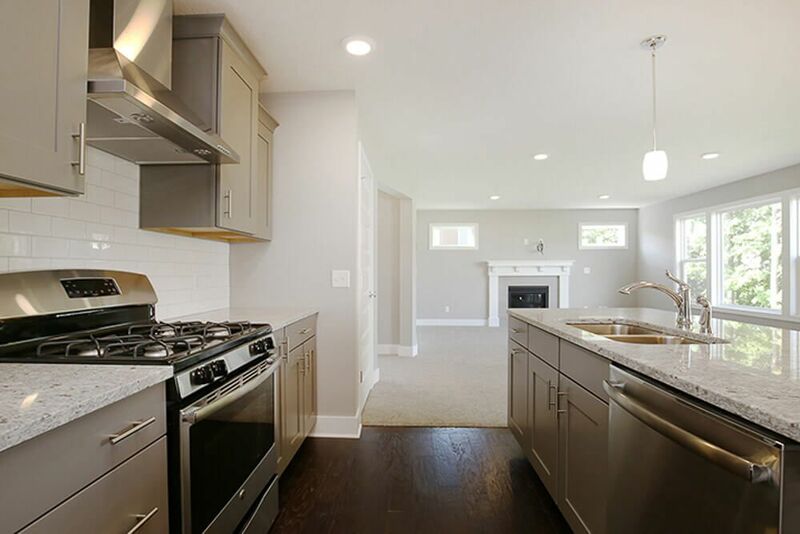 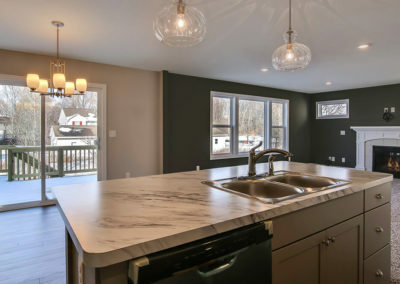 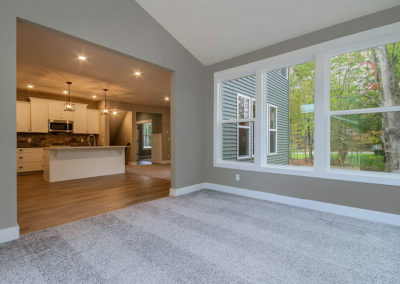 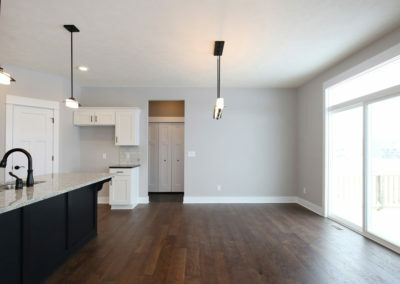 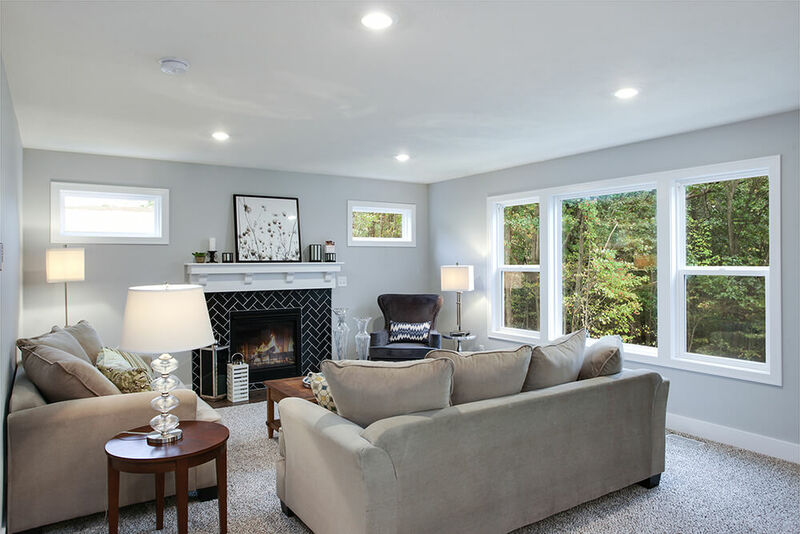 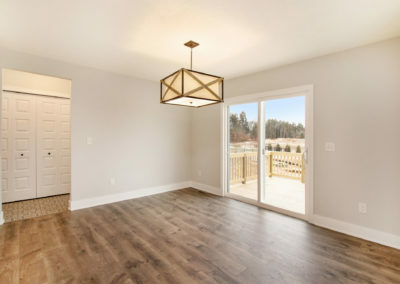 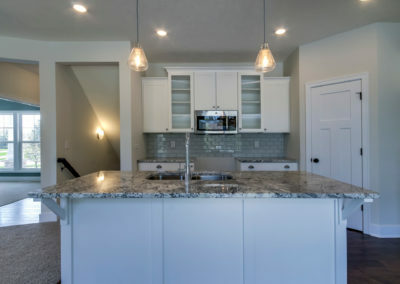 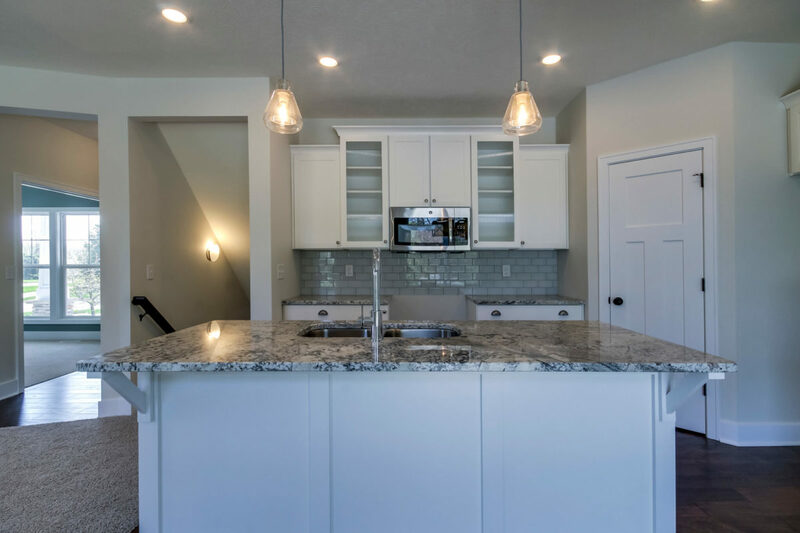 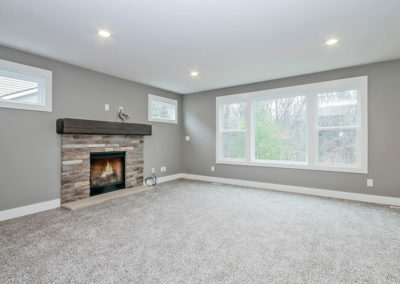 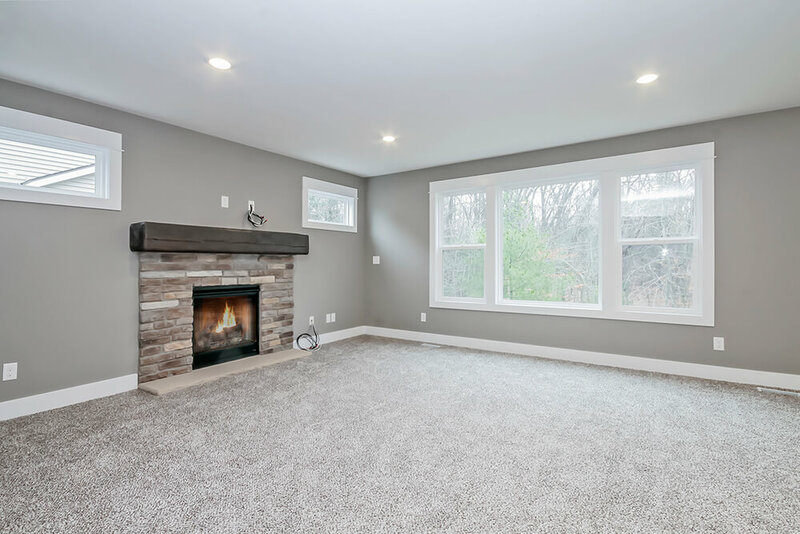 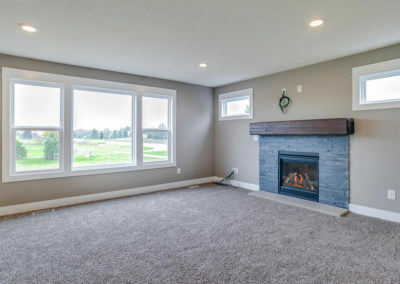 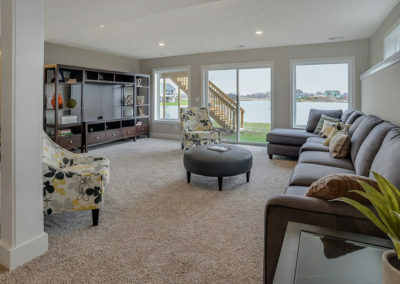 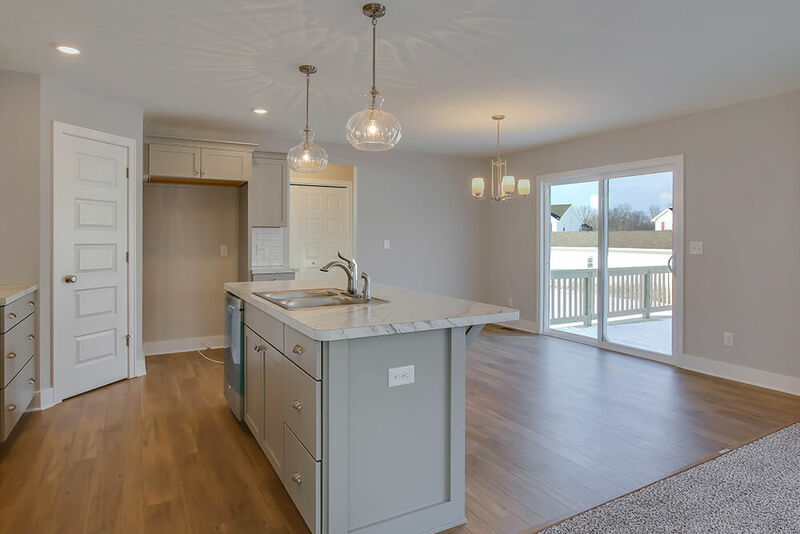 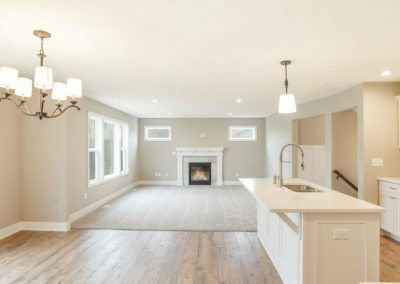 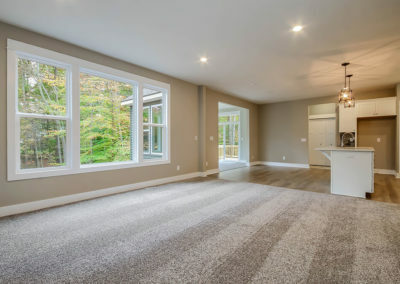 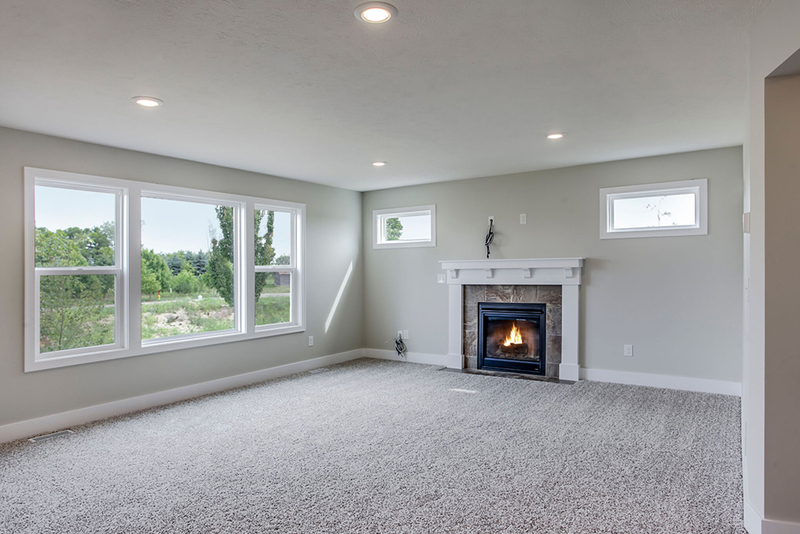 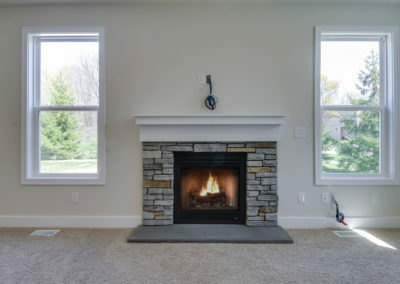 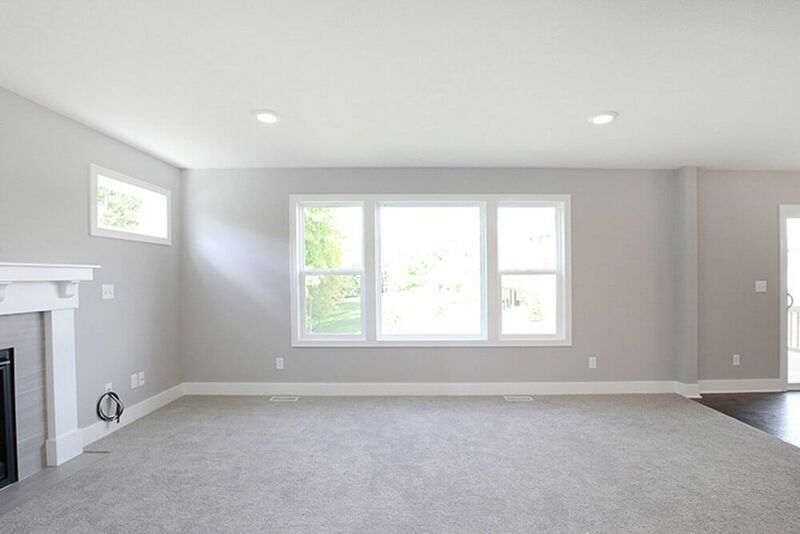 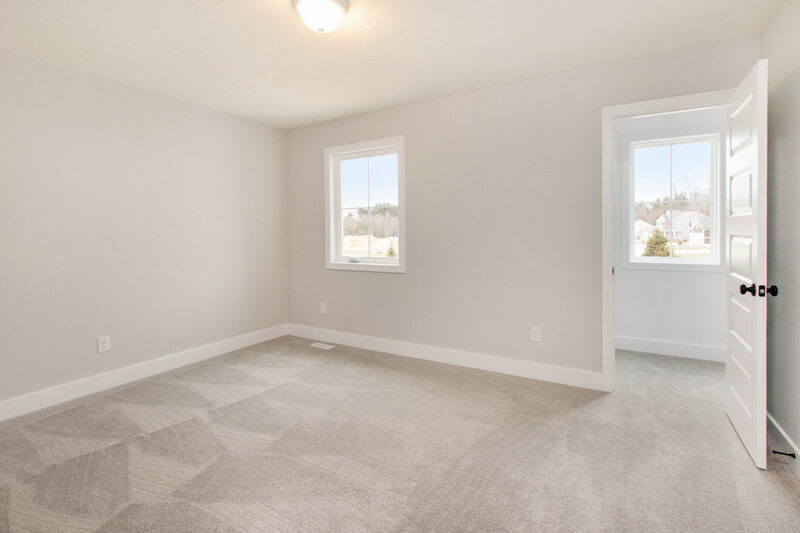 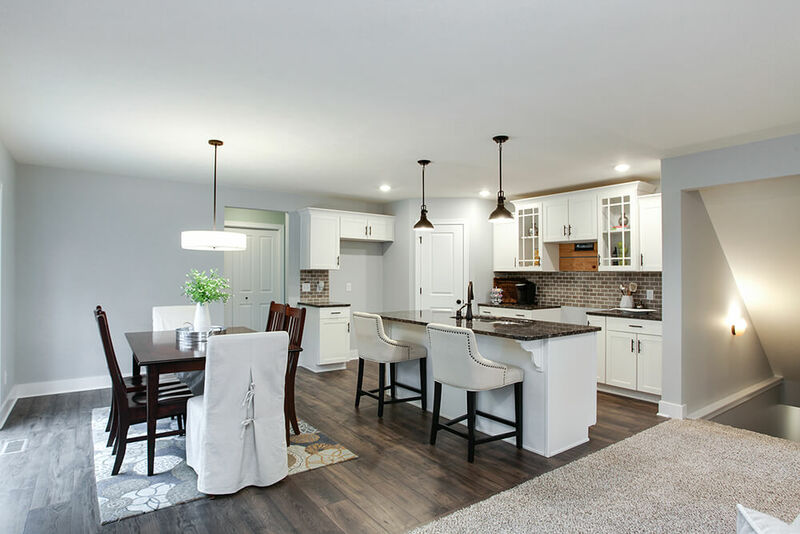 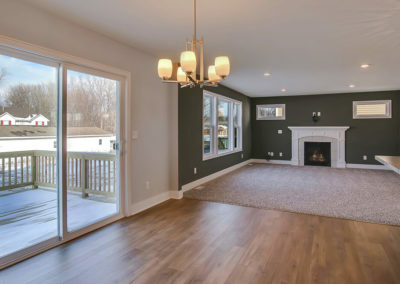 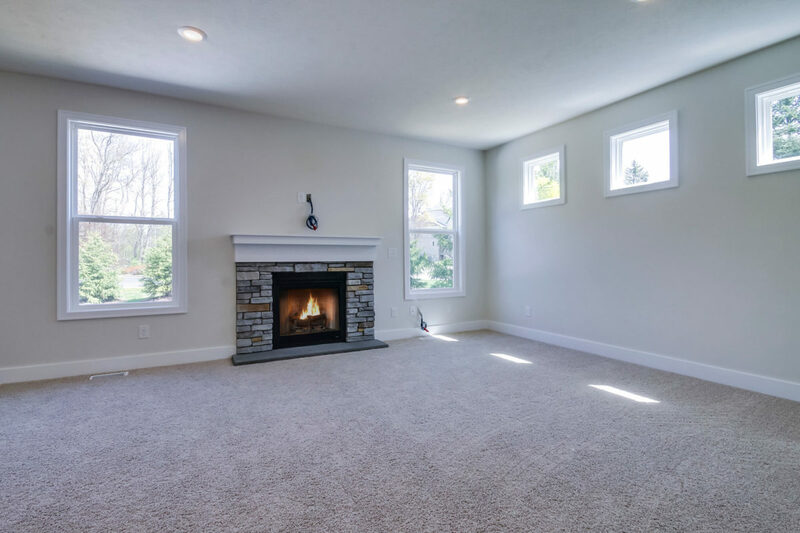 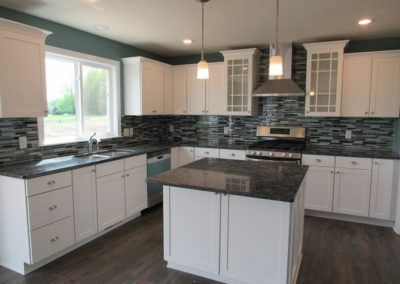 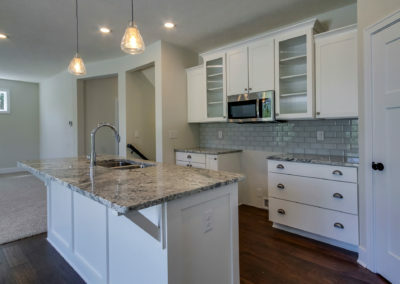 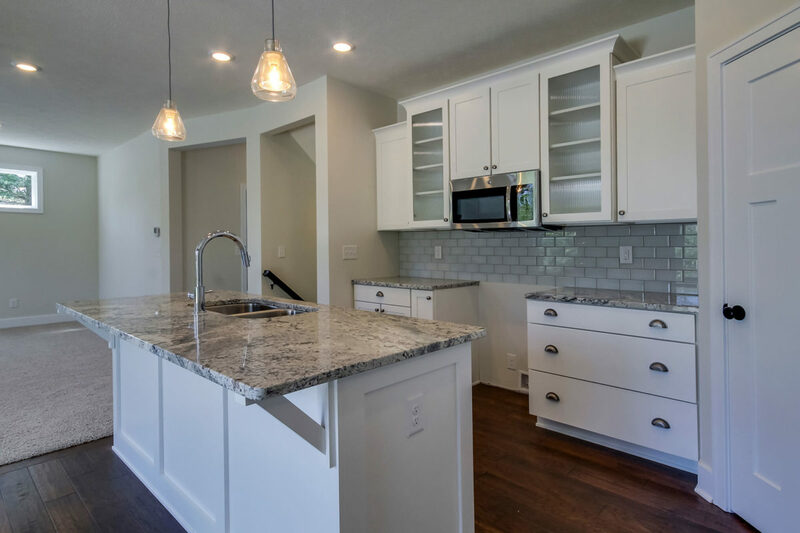 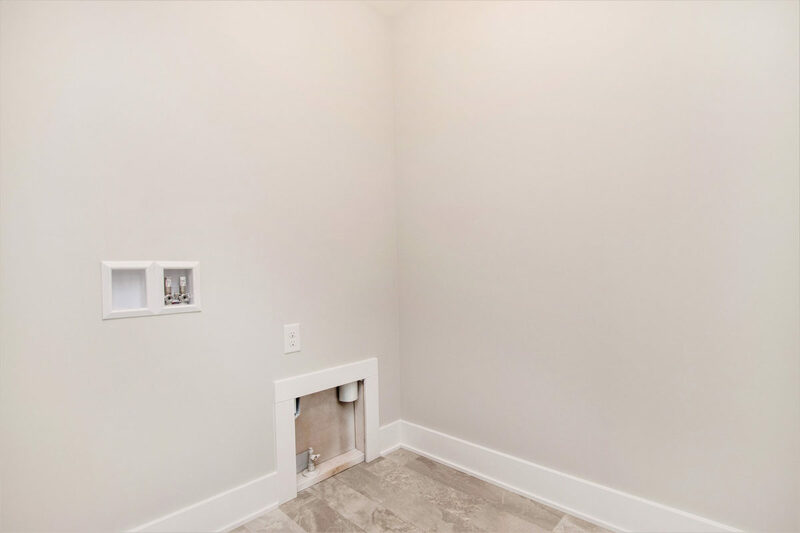 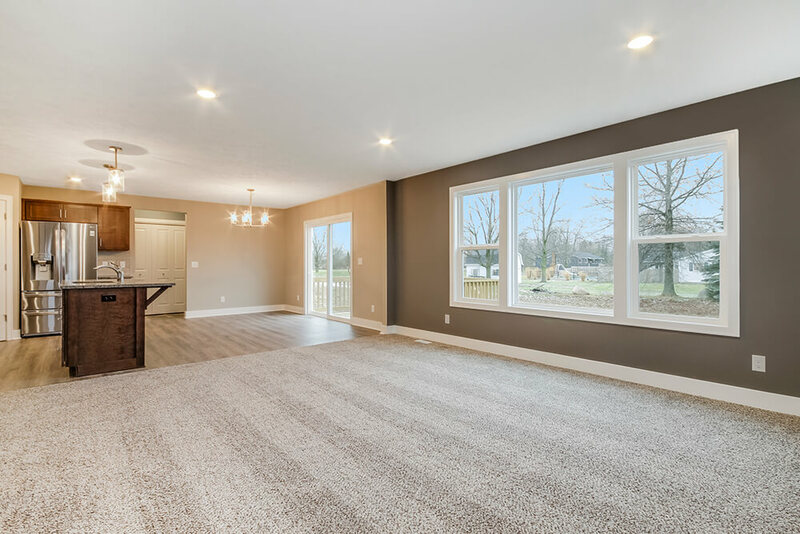 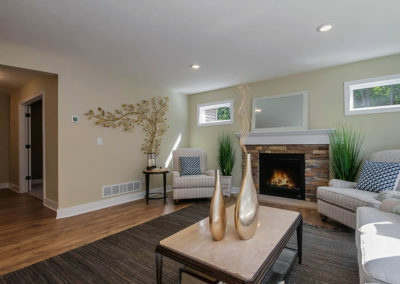 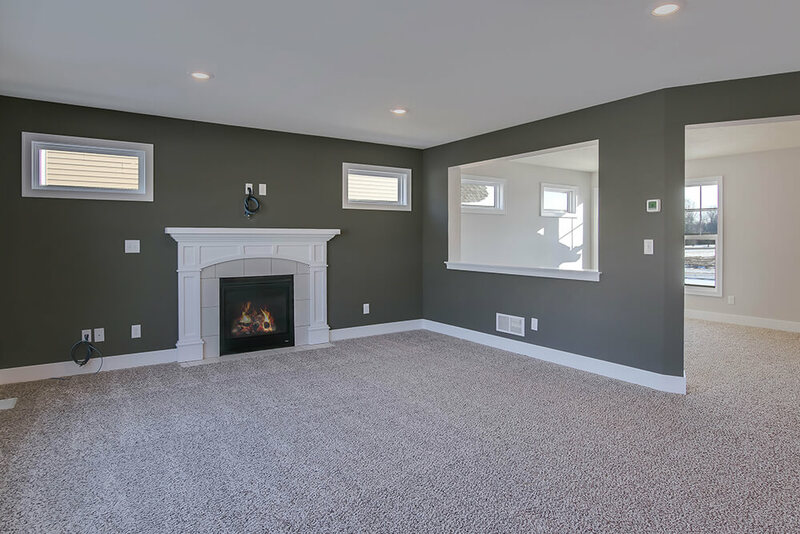 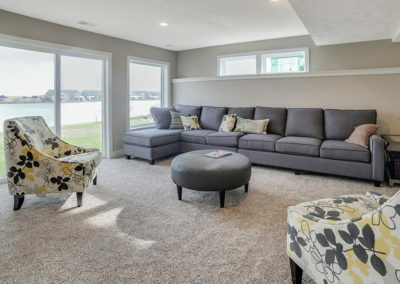 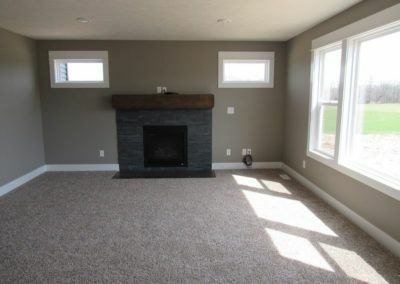 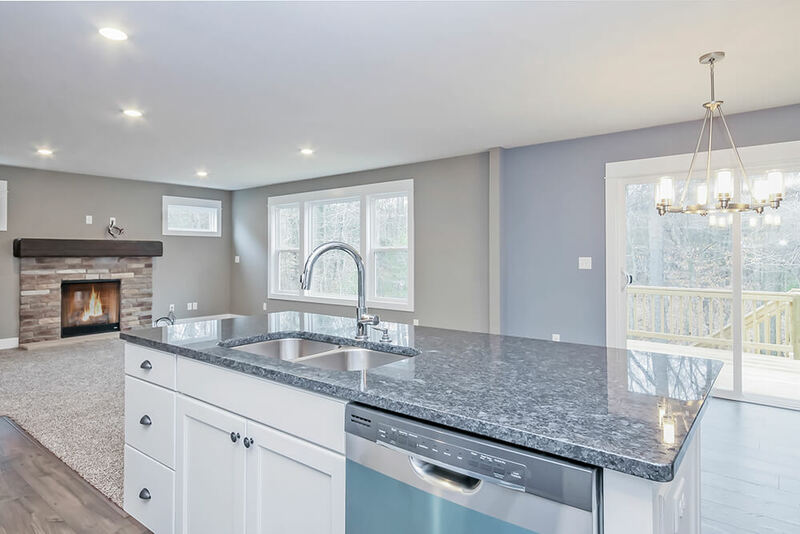 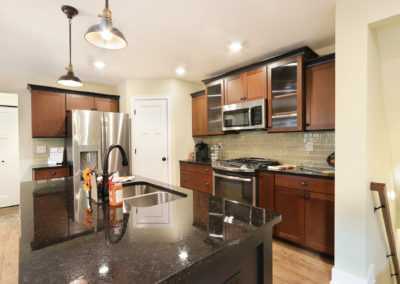 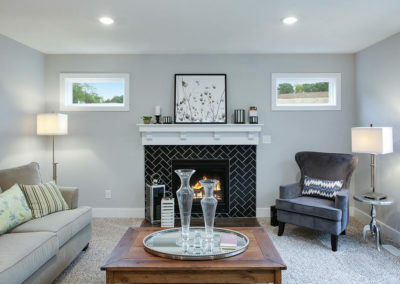 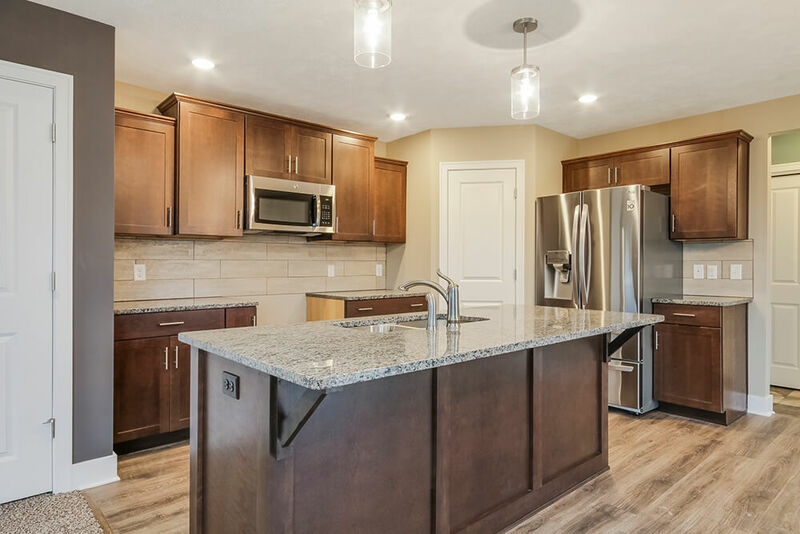 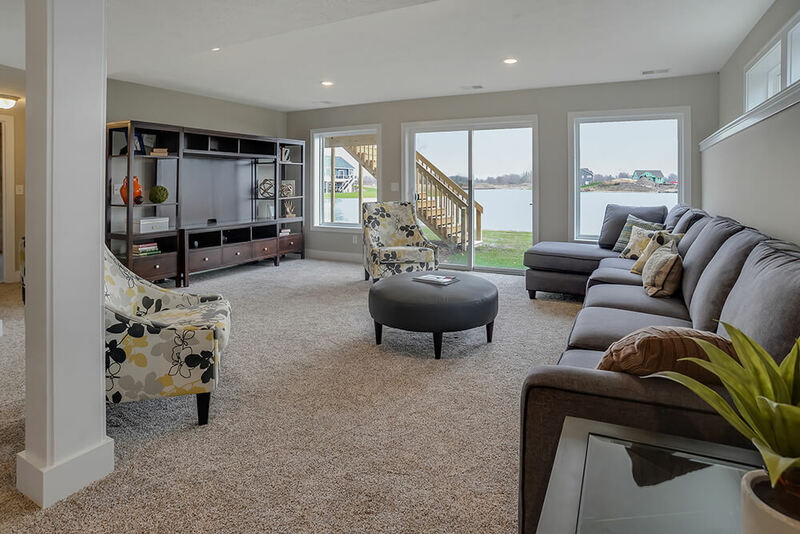 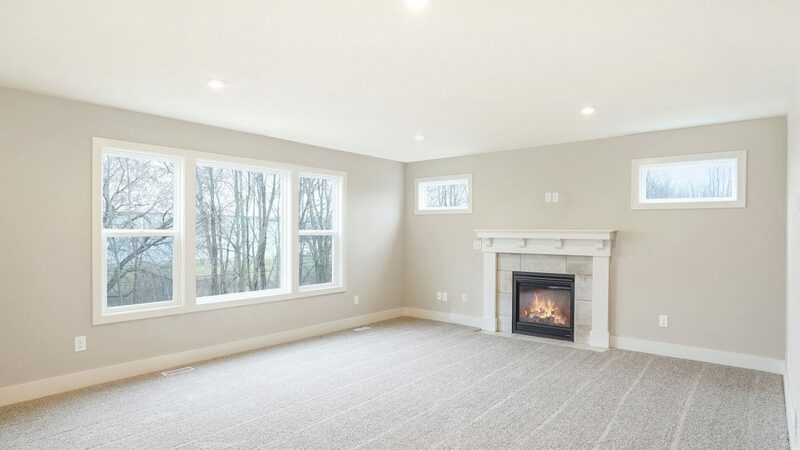 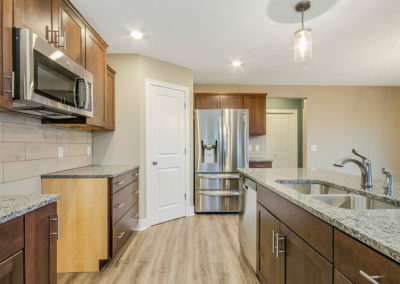 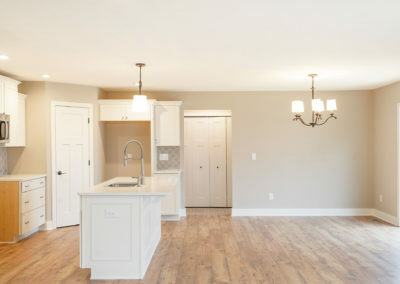 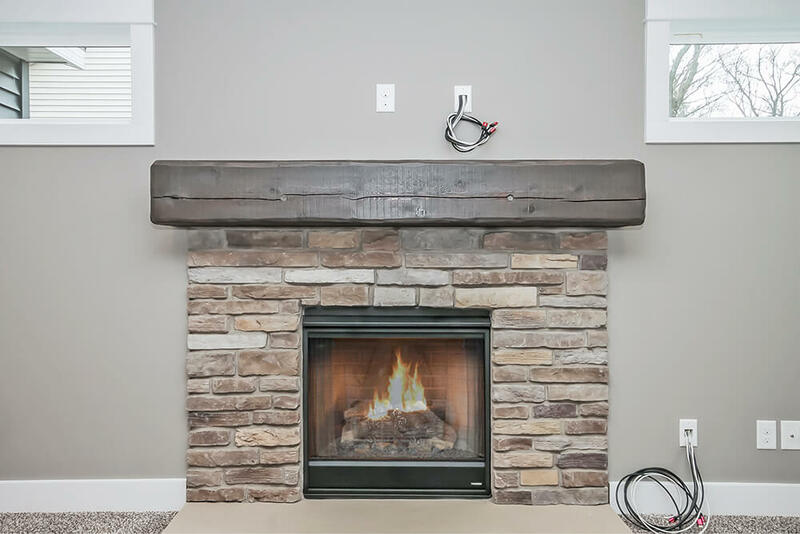 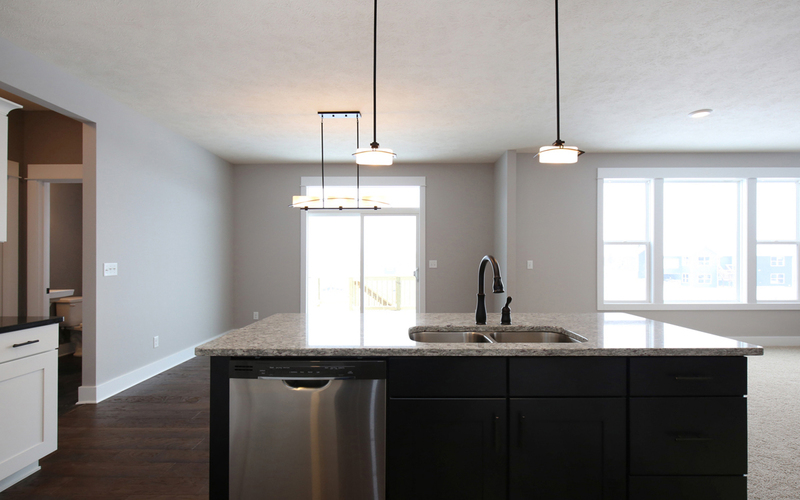 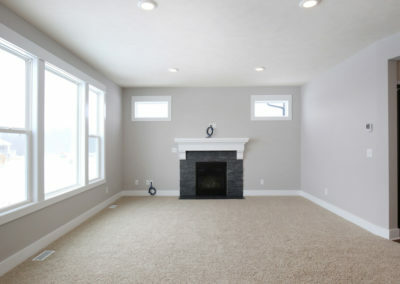 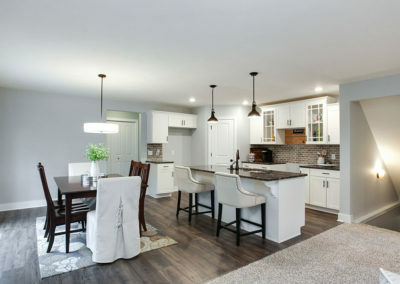 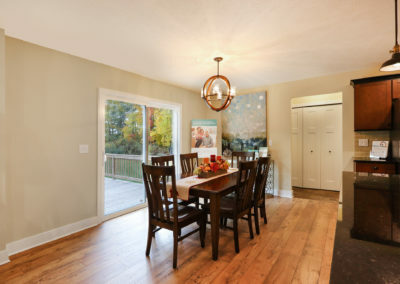 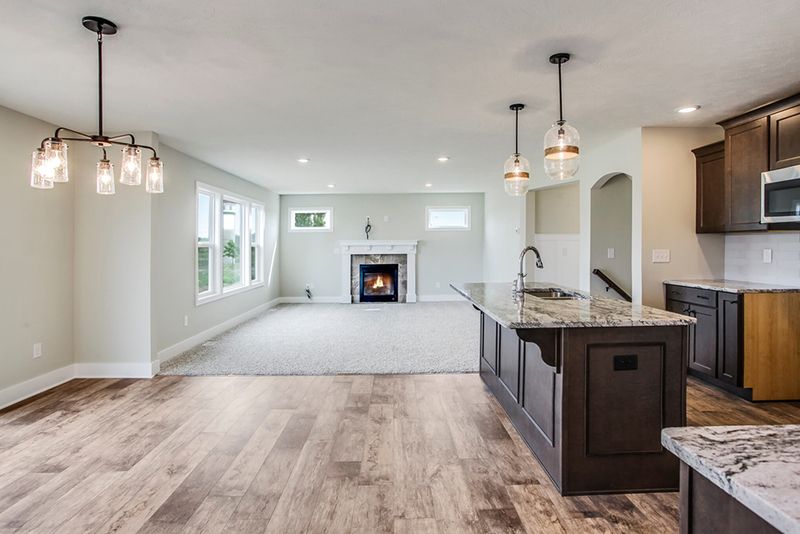 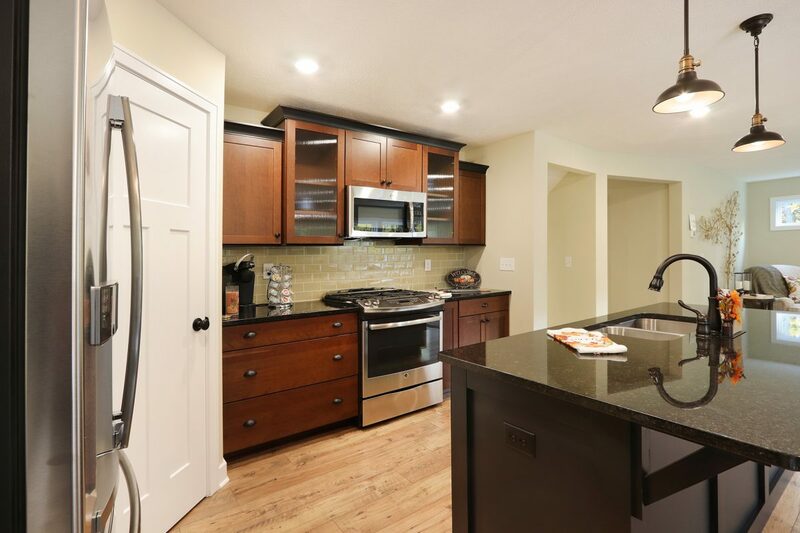 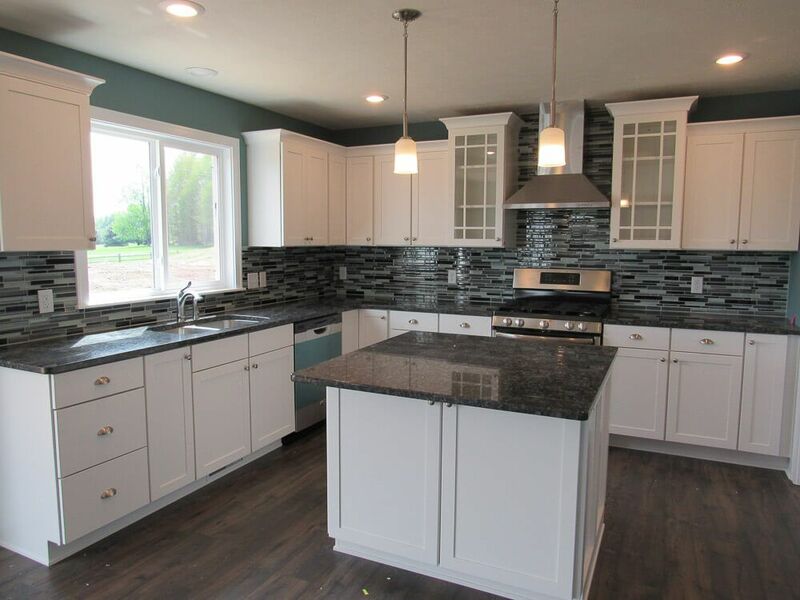 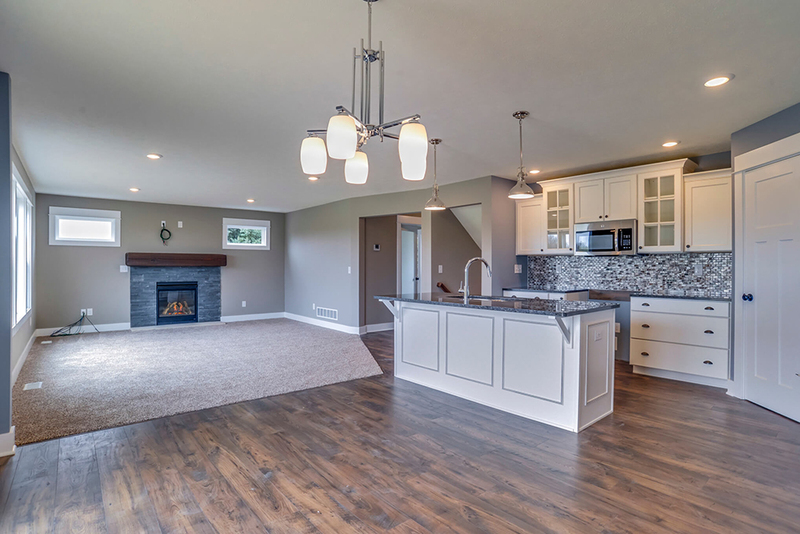 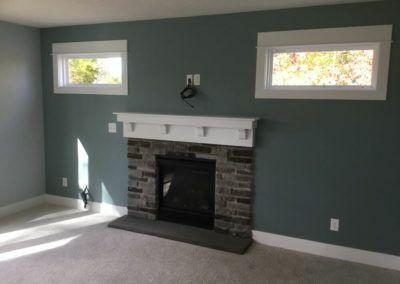 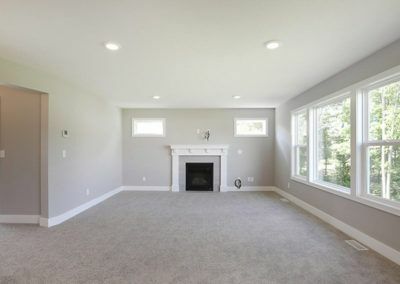 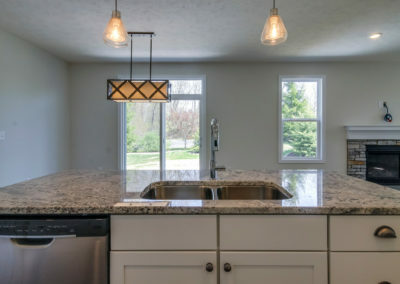 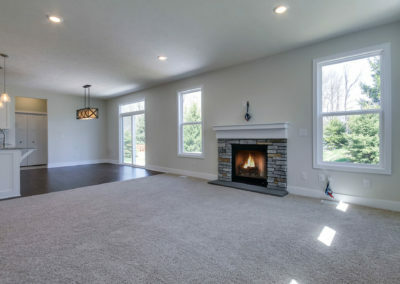 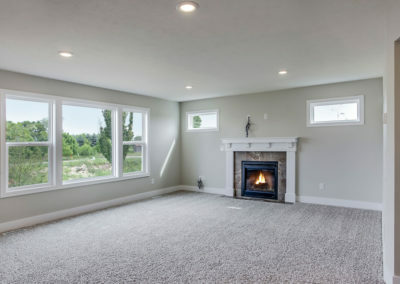 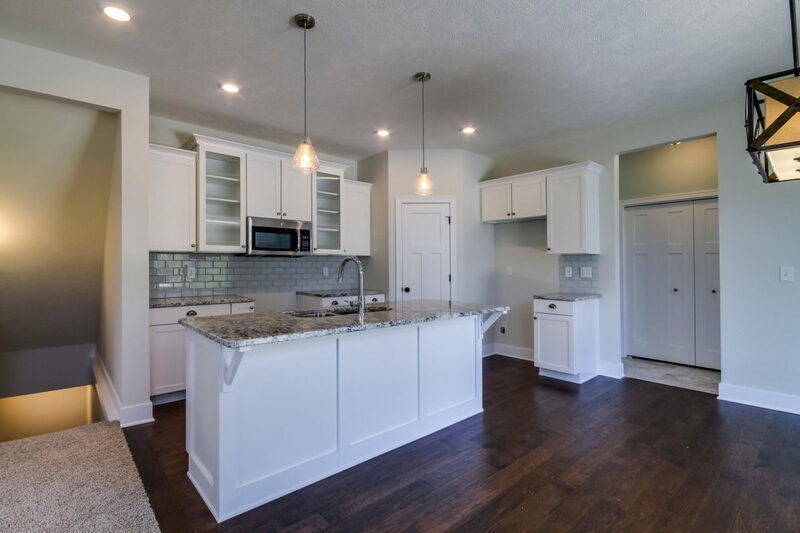 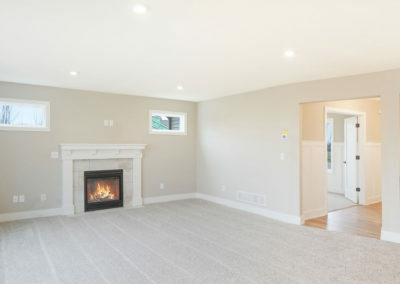 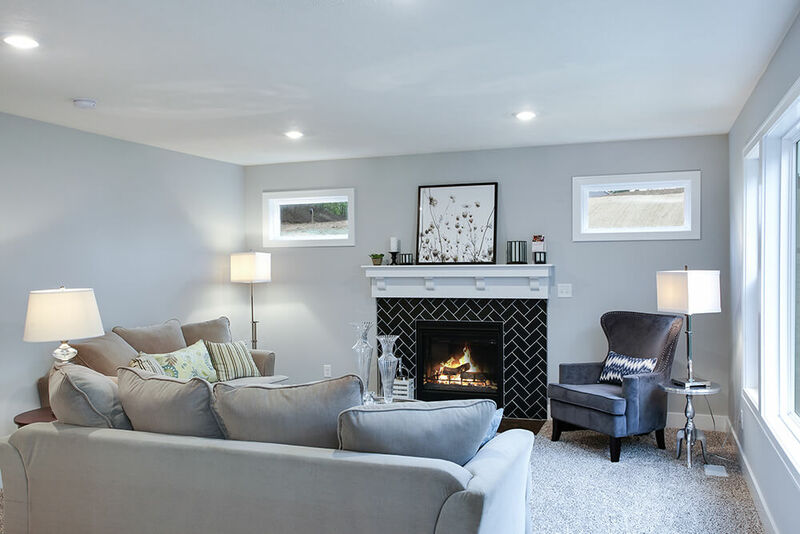 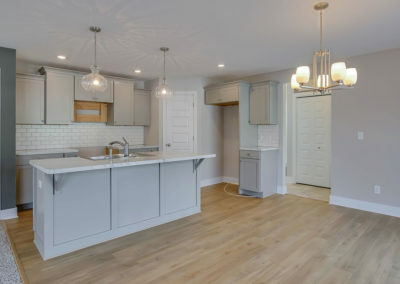 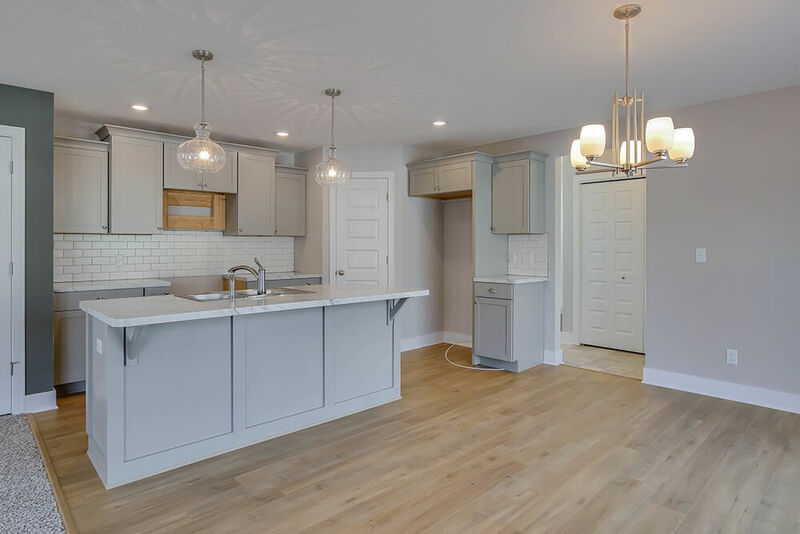 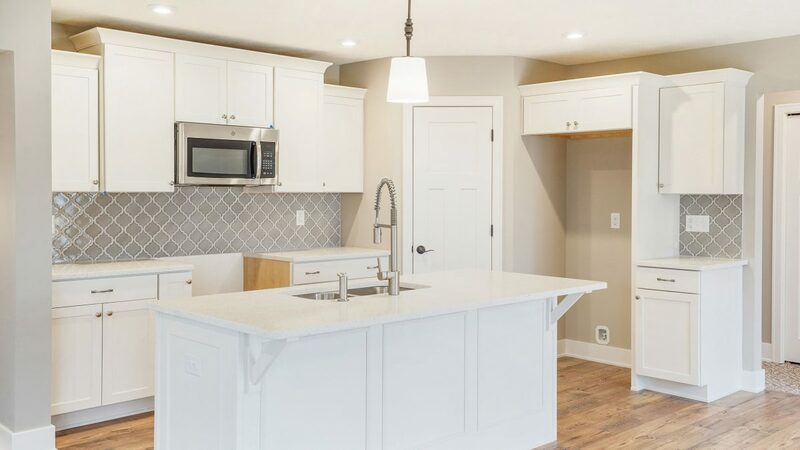 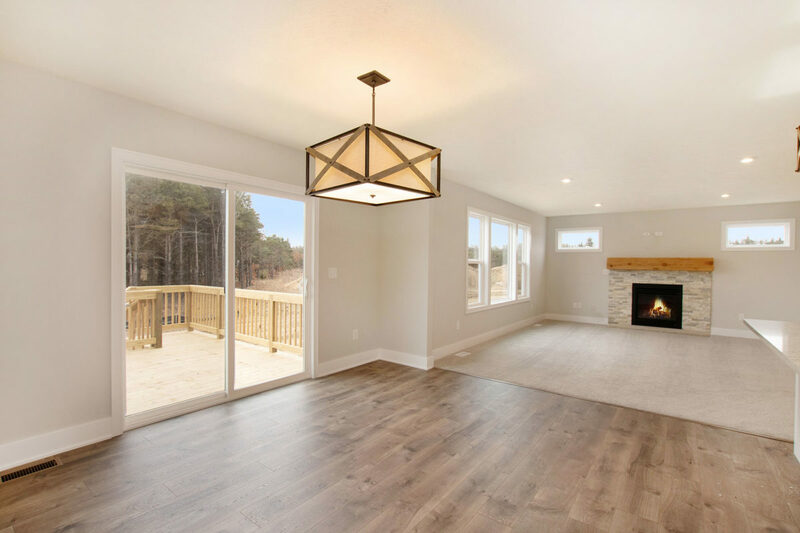 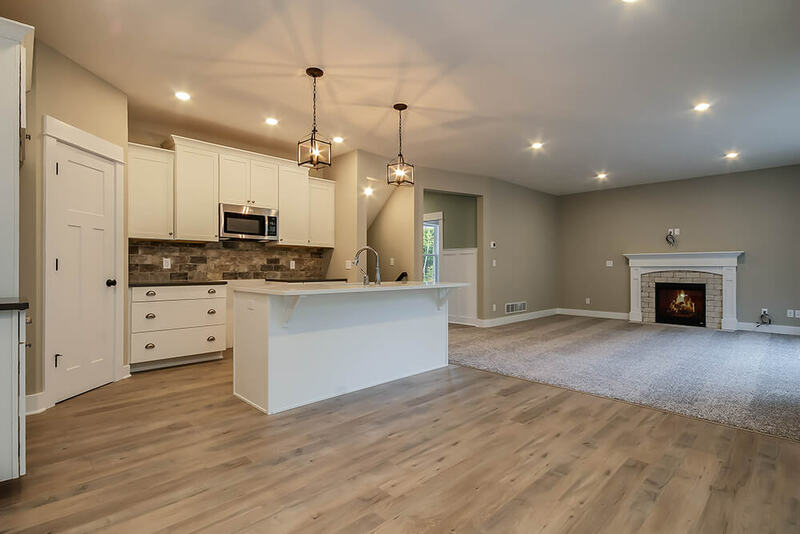 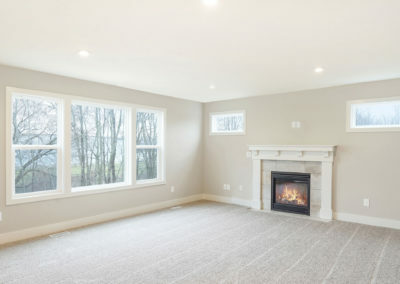 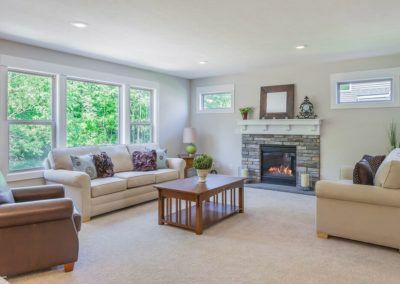 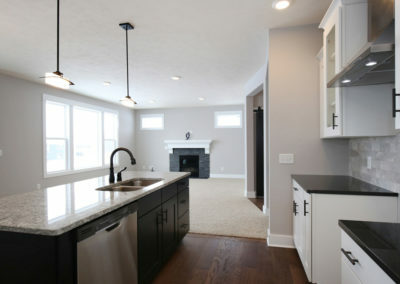 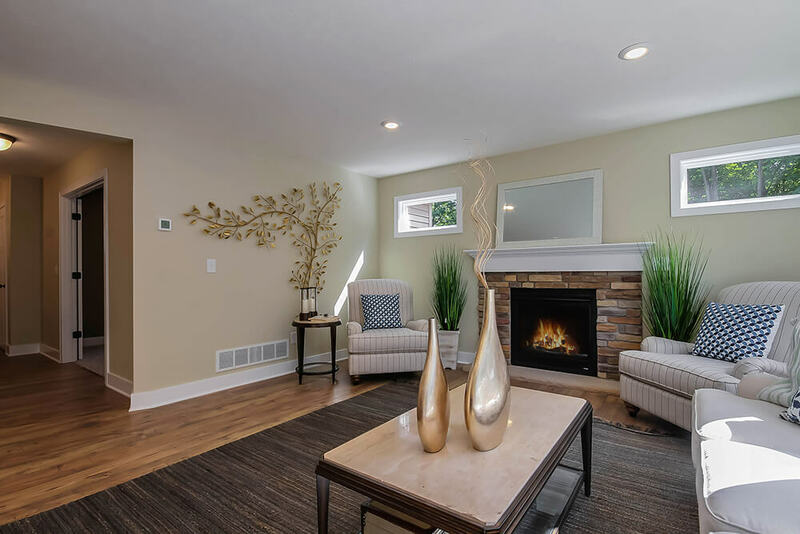 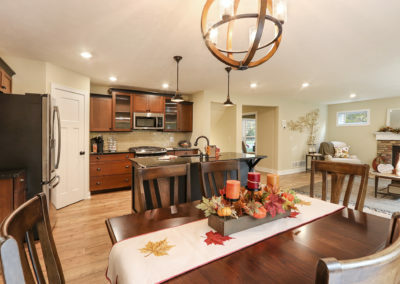 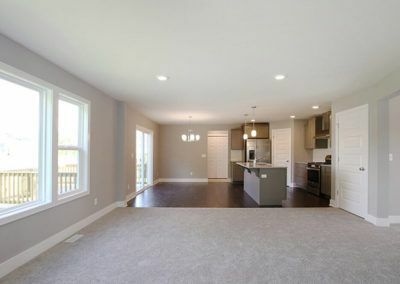 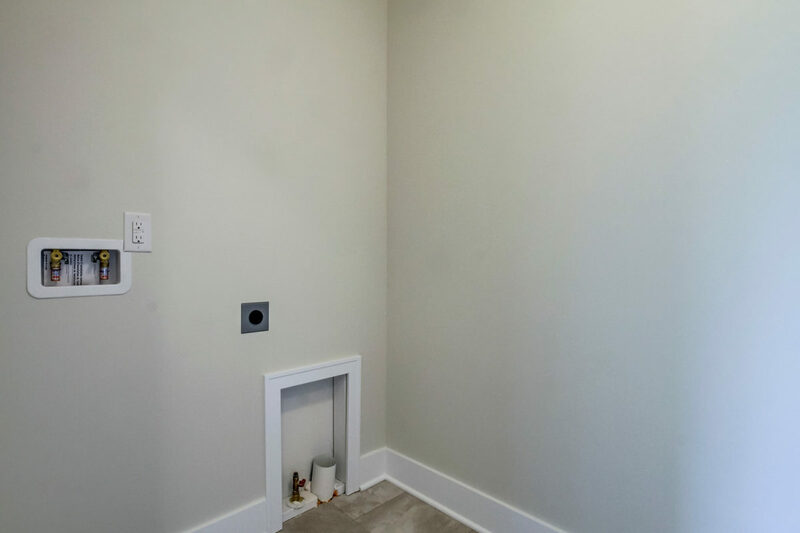 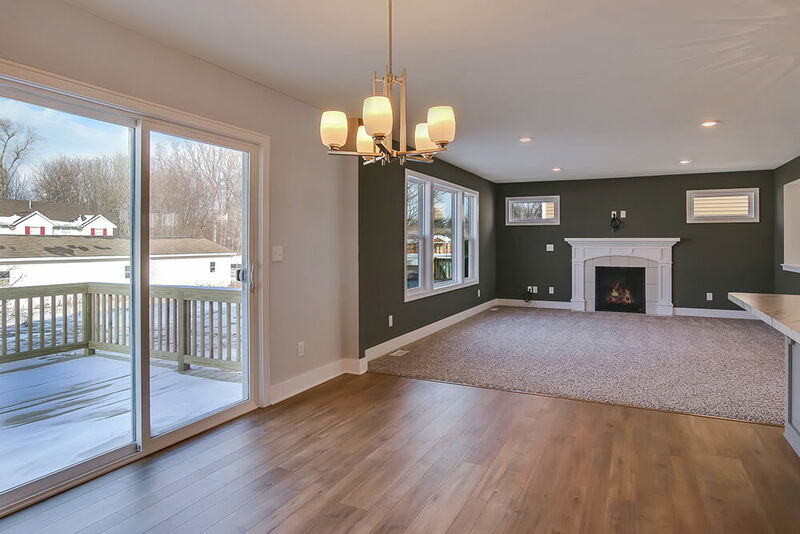 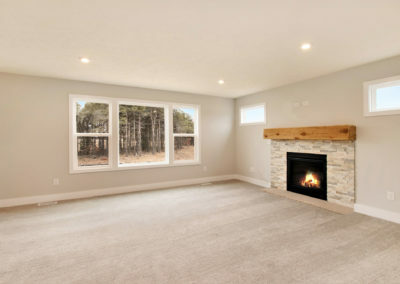 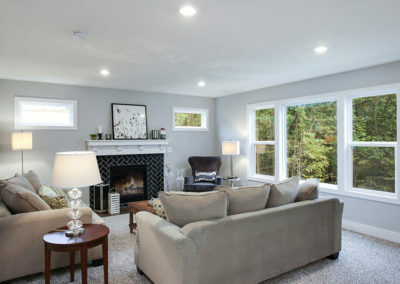 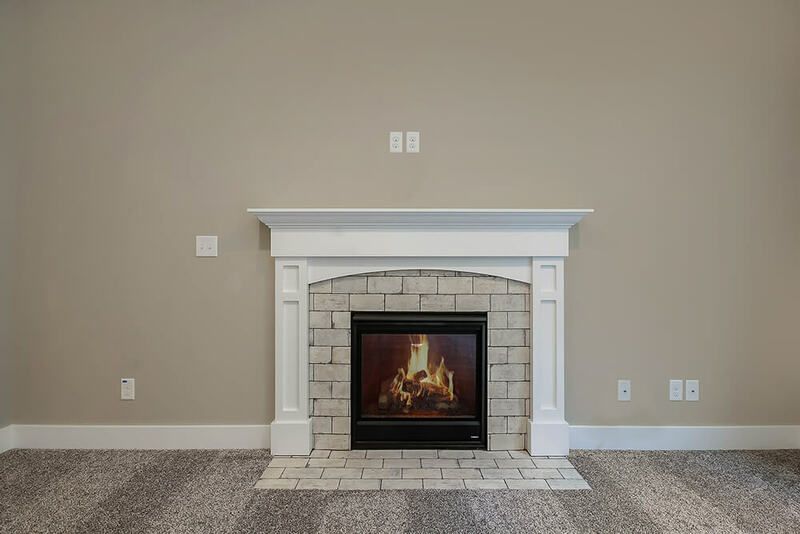 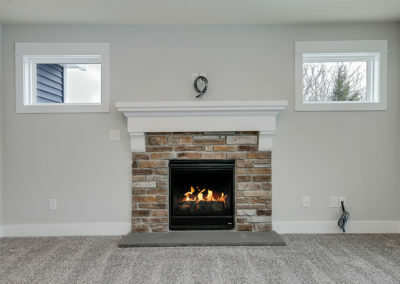 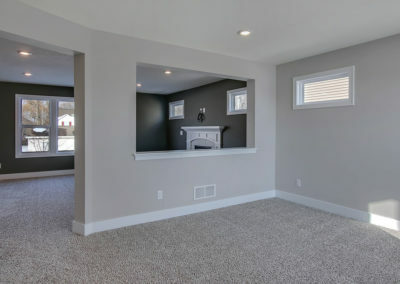 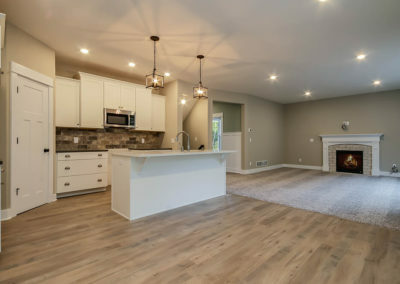 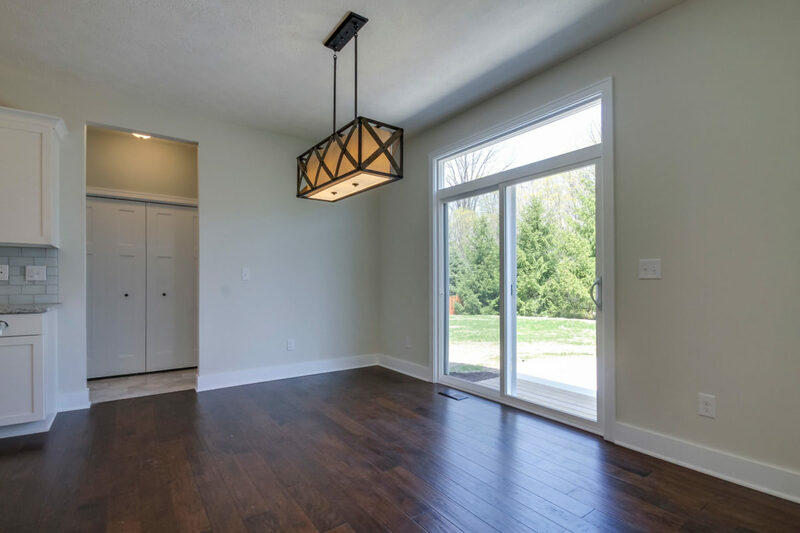 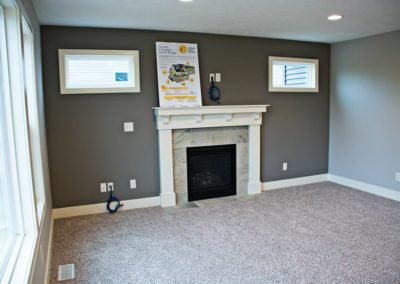 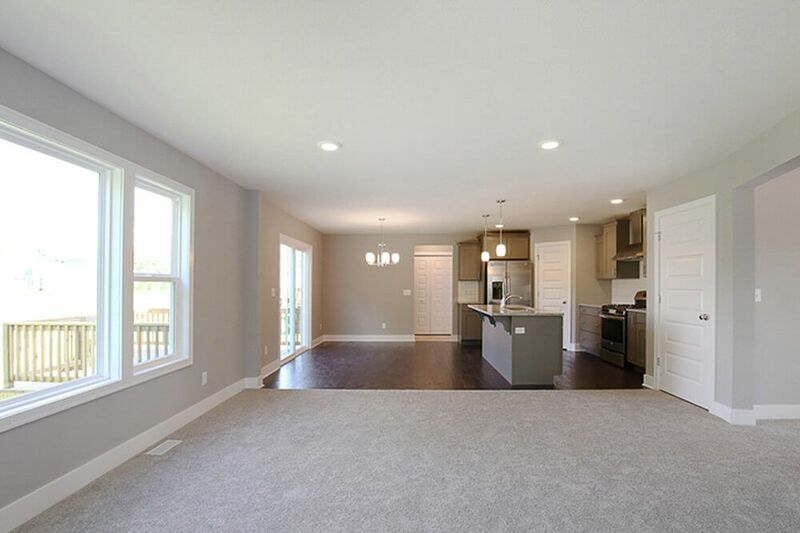 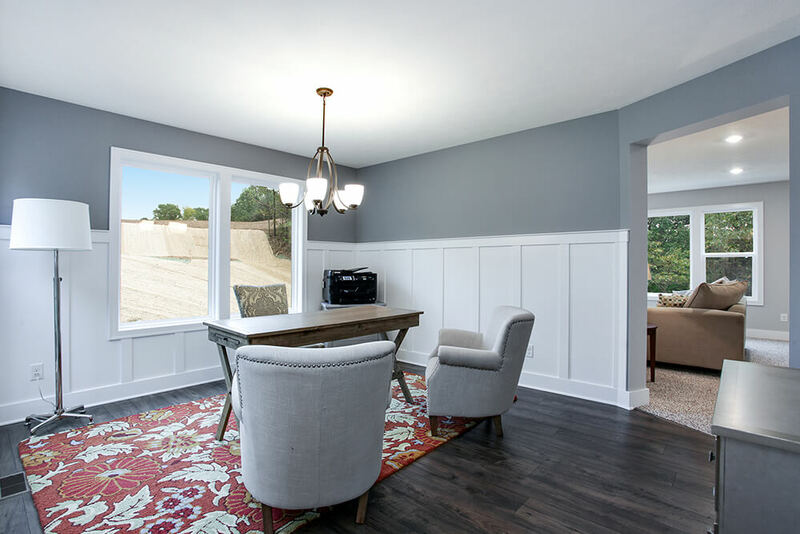 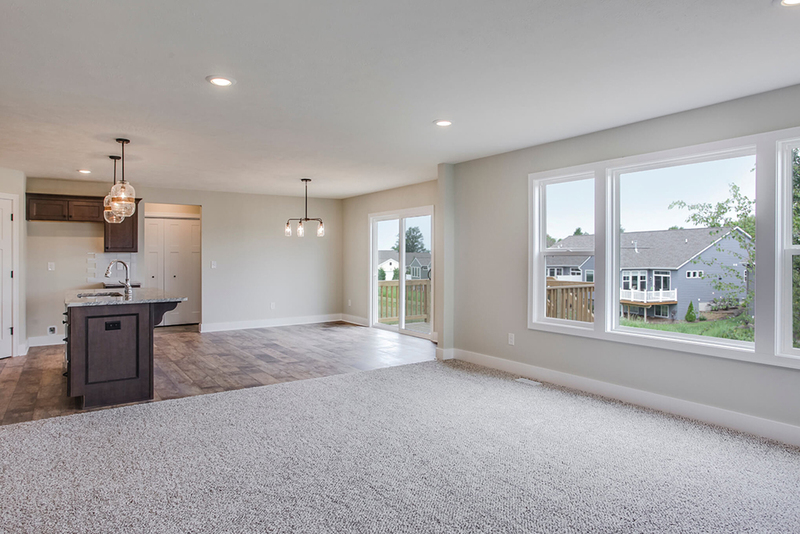 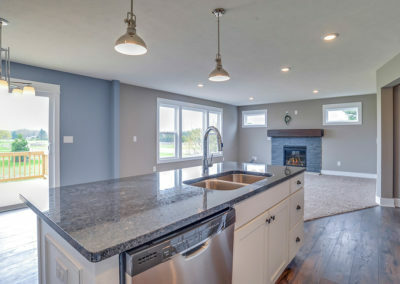 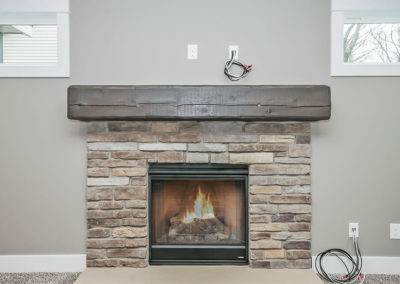 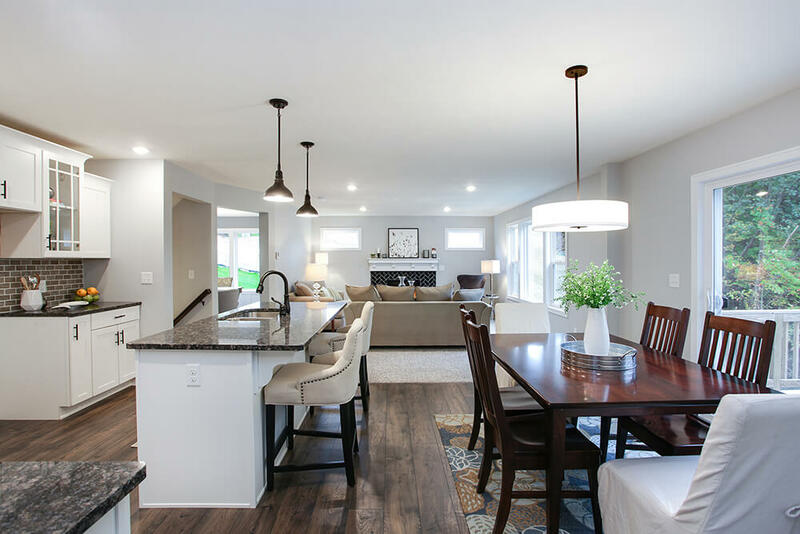 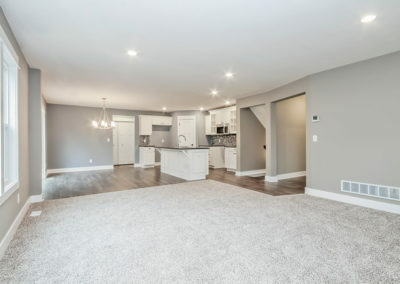 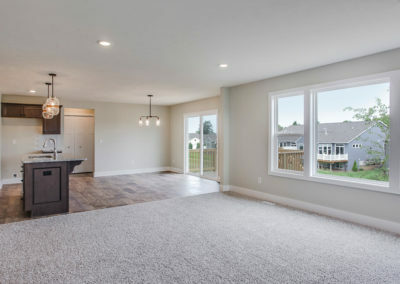 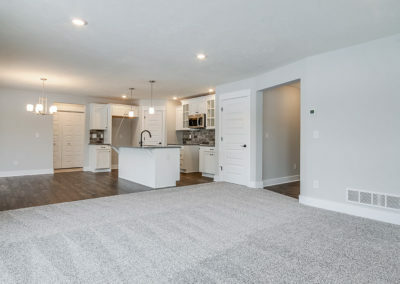 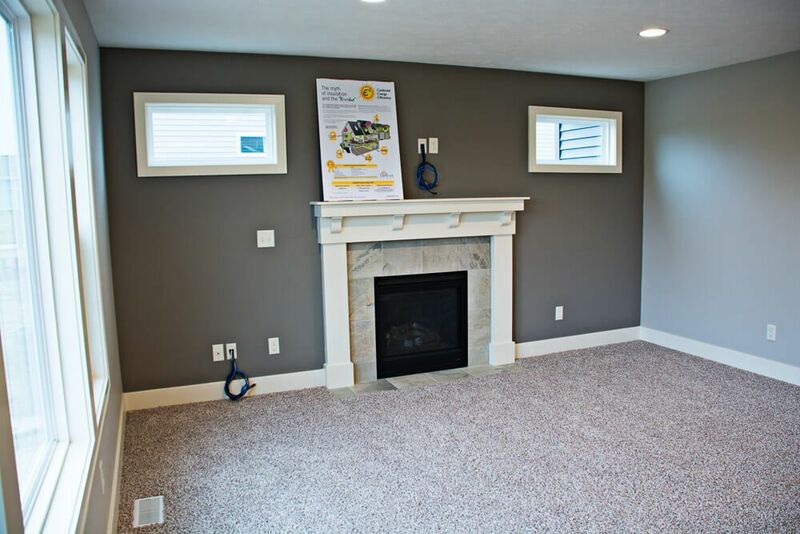 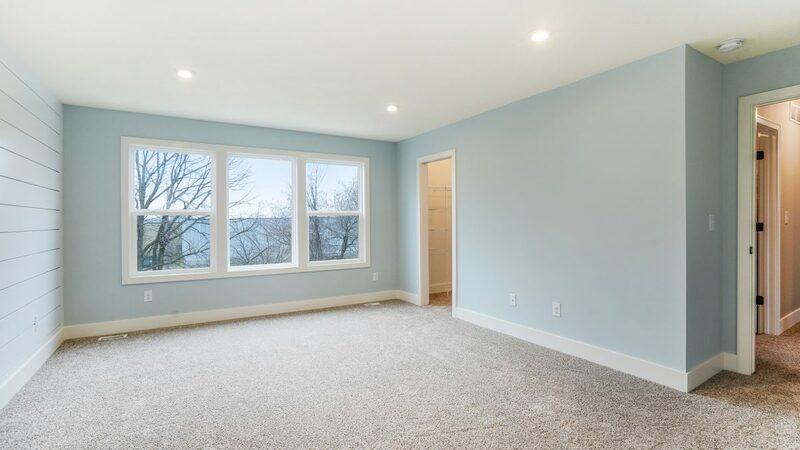 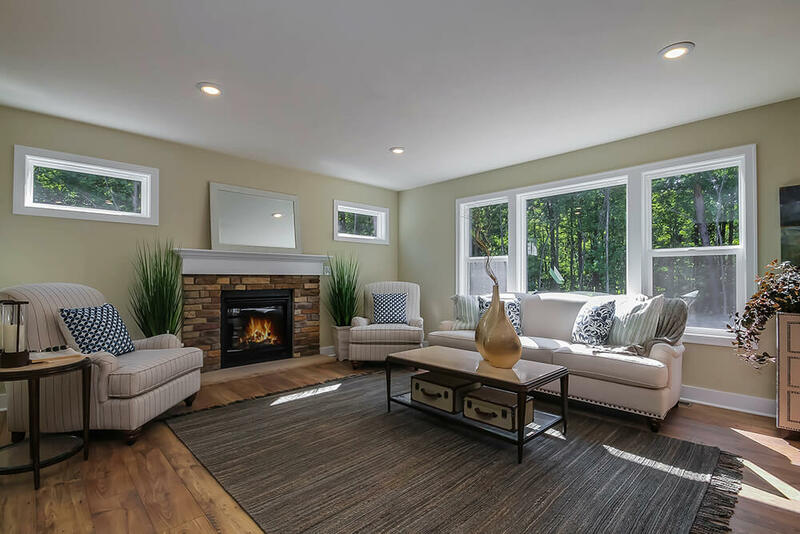 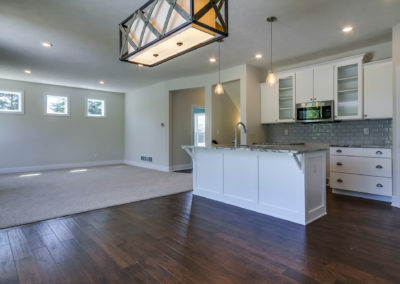 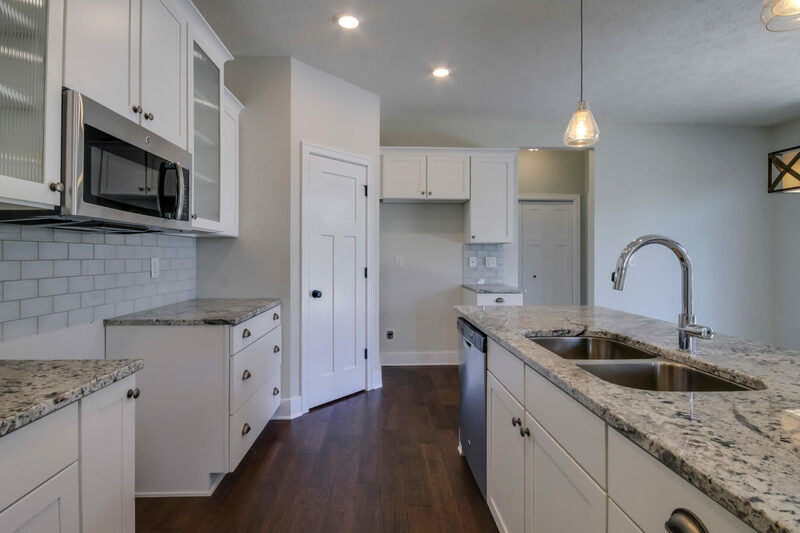 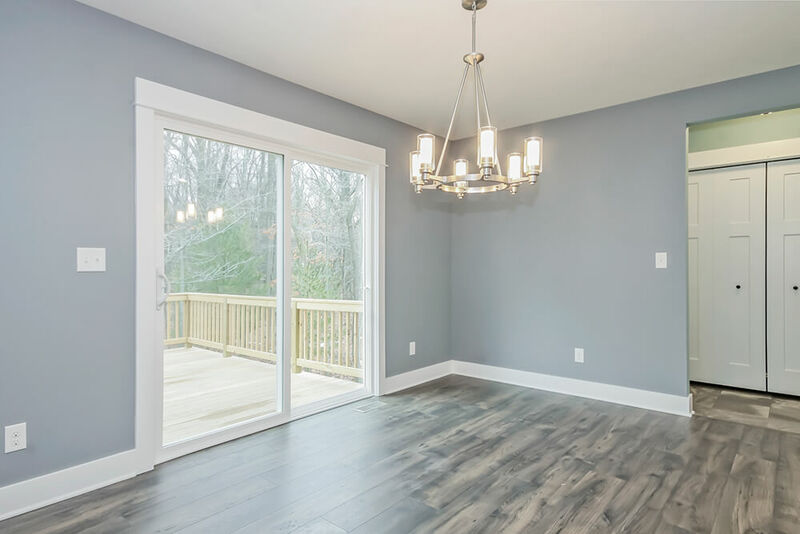 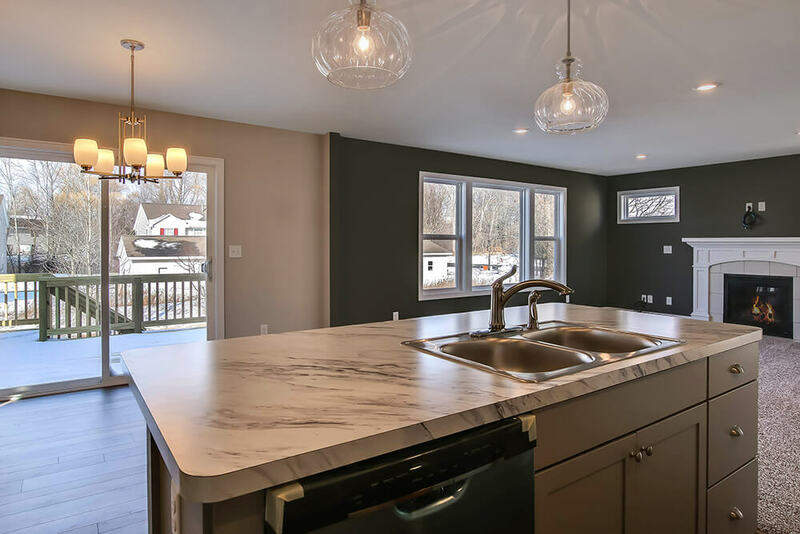 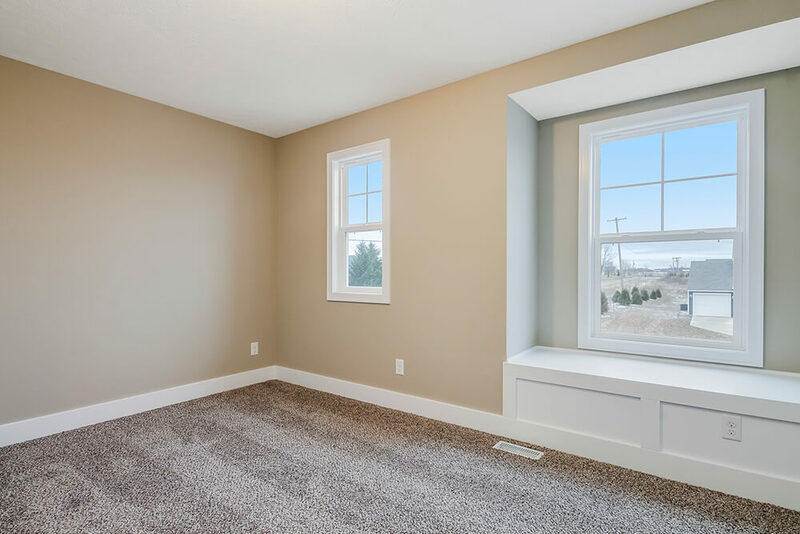 The family room offers the option to add a warm fireplace and additional windows, and the kitchen includes options to select the size of your counter, cupboard, and pantry space. 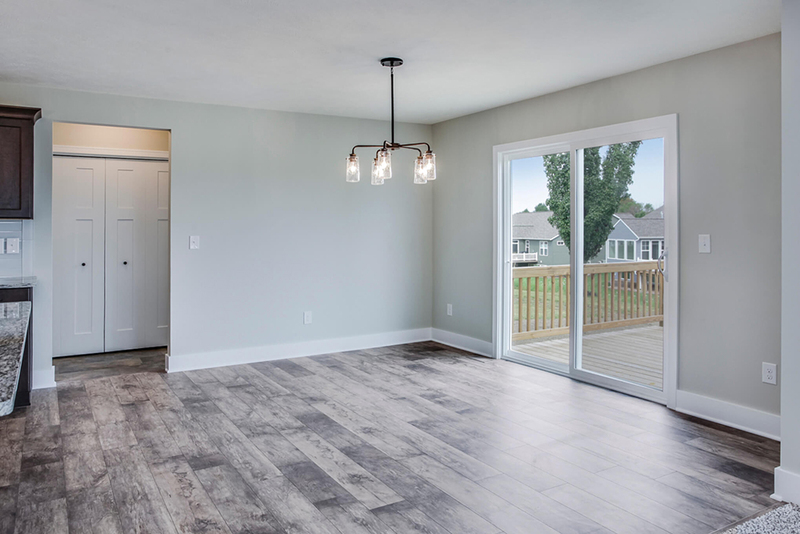 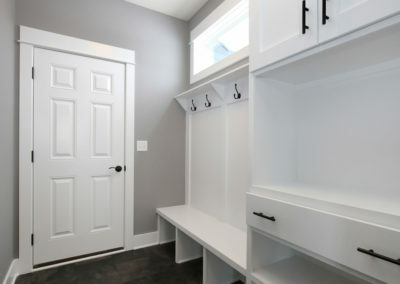 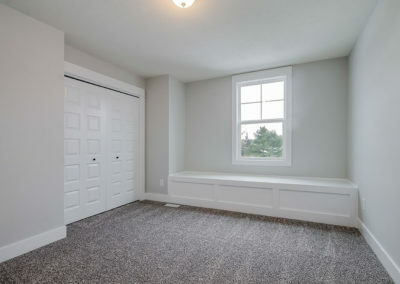 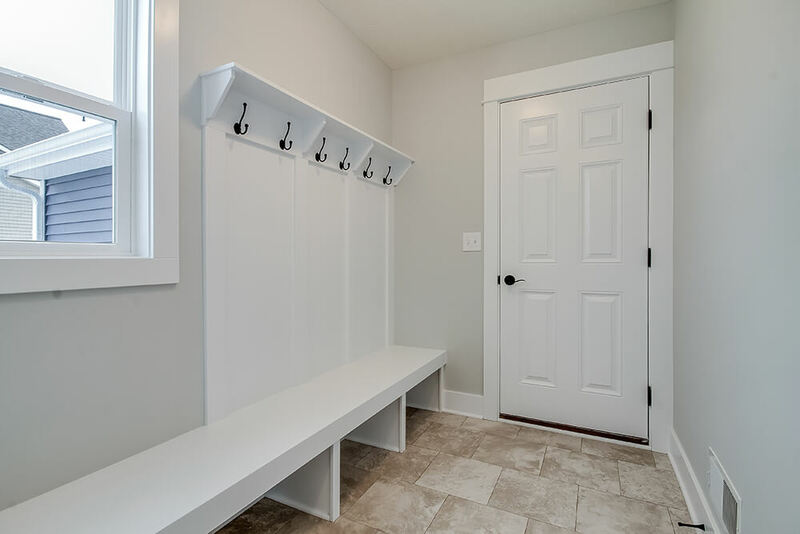 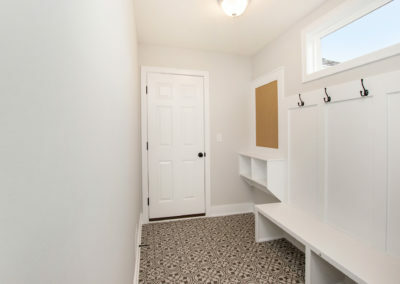 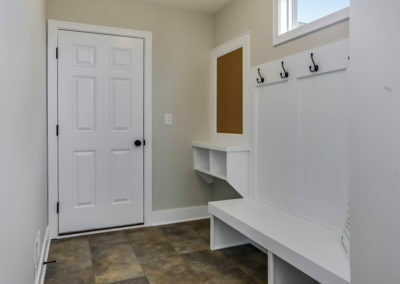 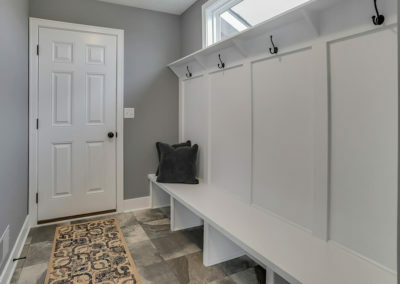 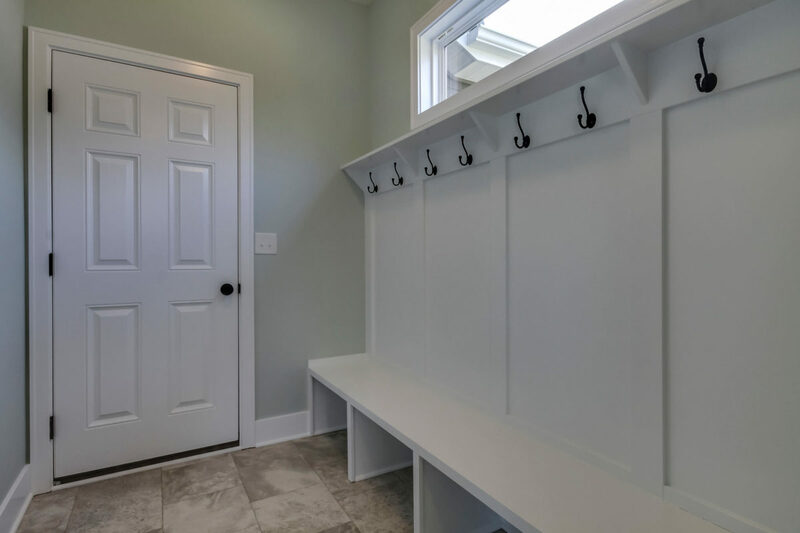 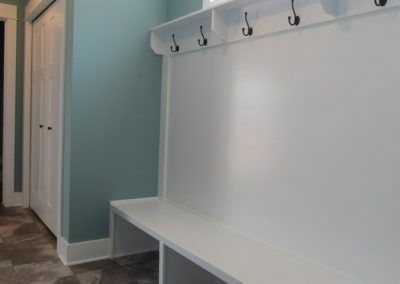 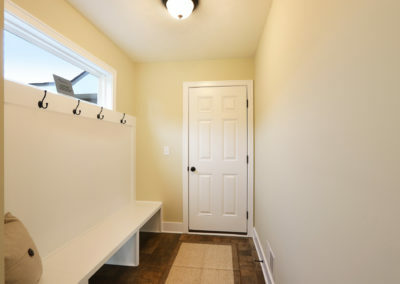 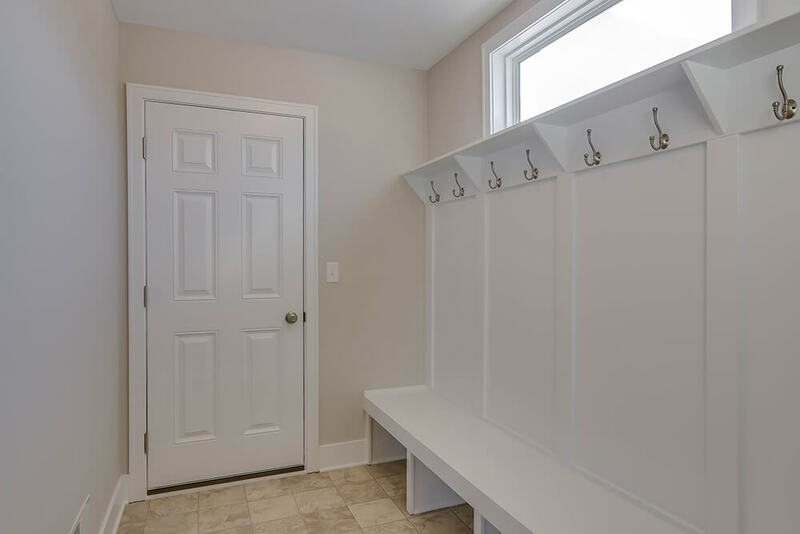 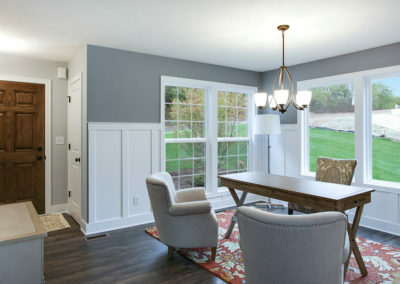 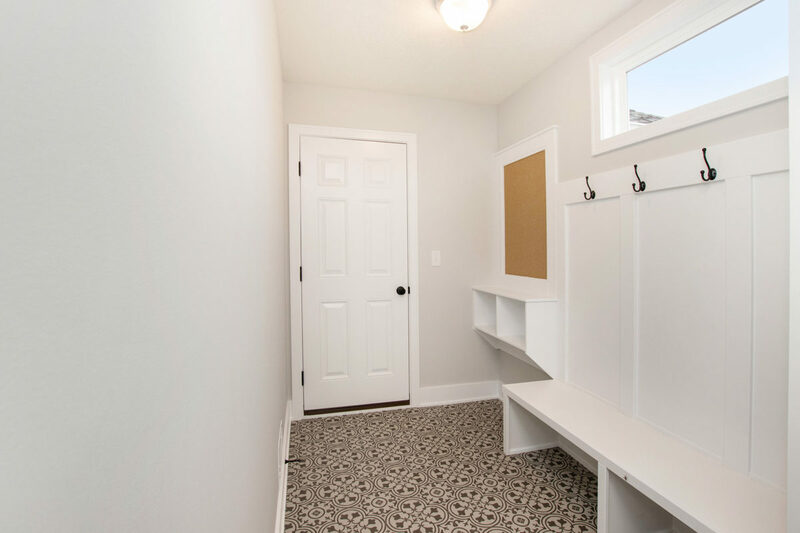 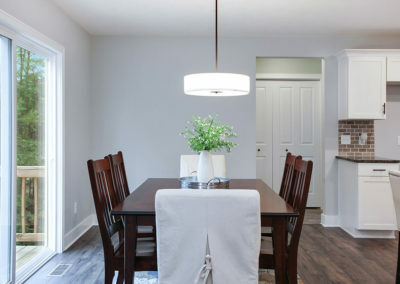 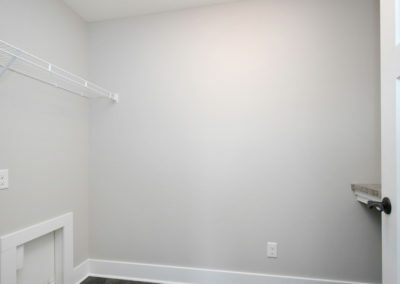 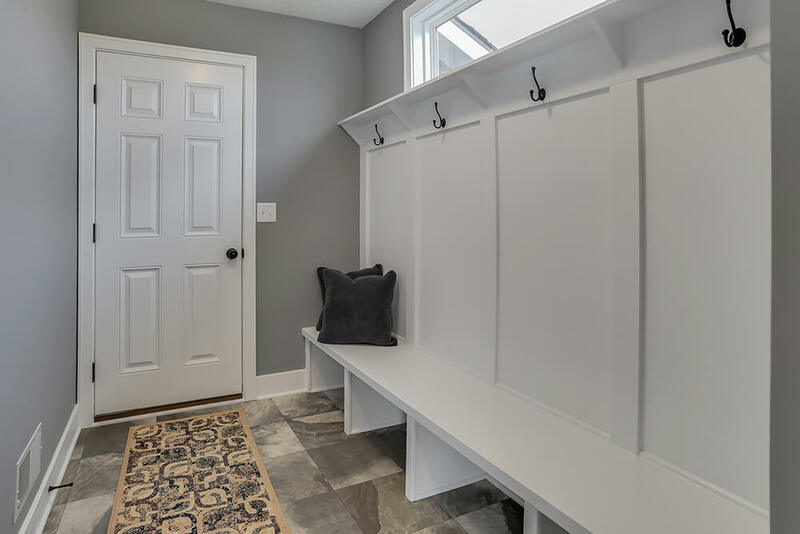 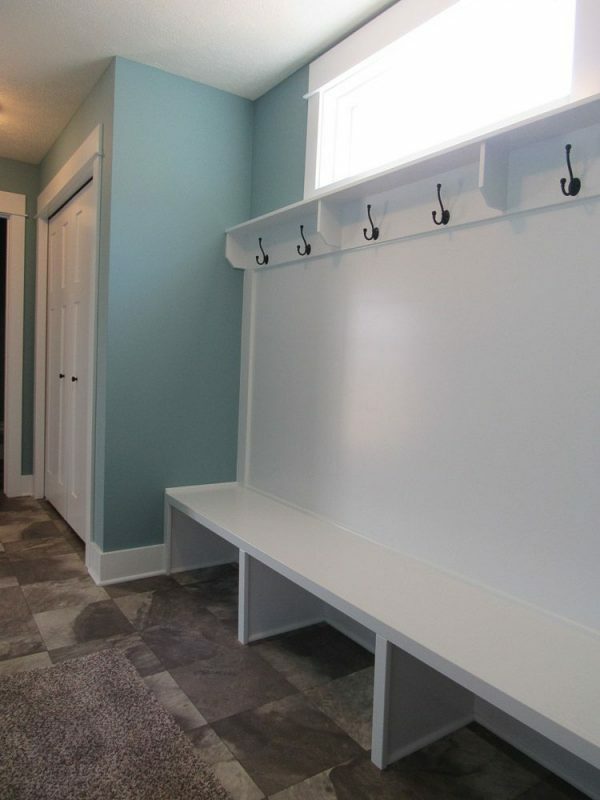 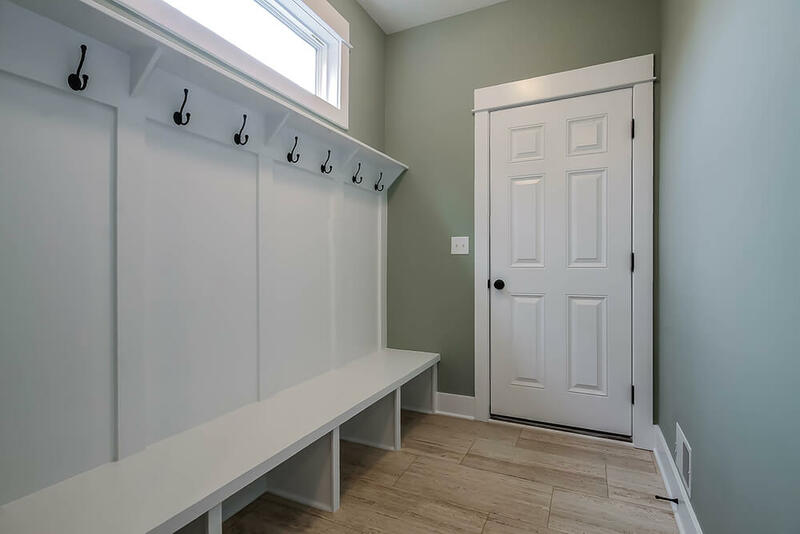 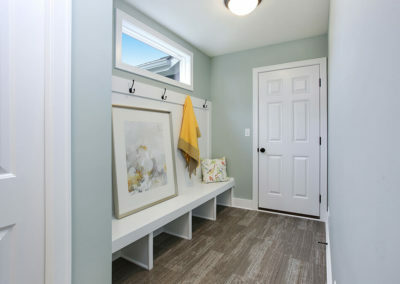 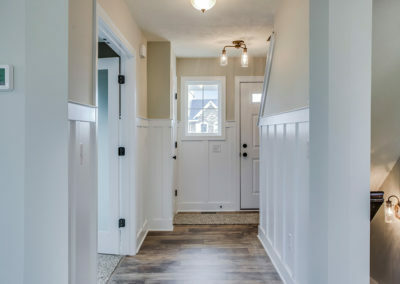 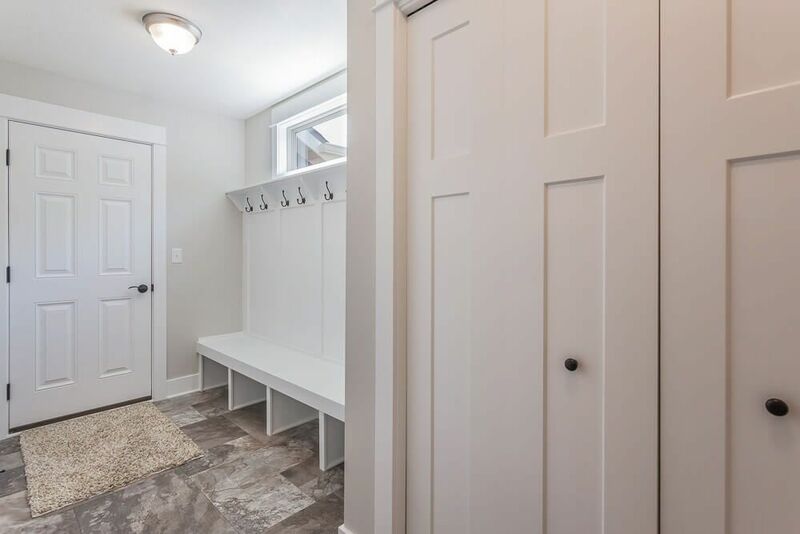 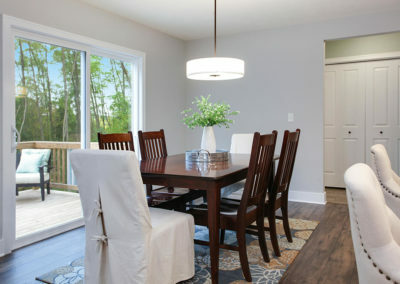 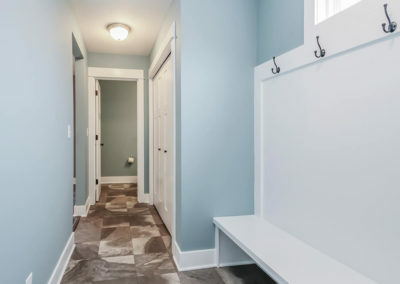 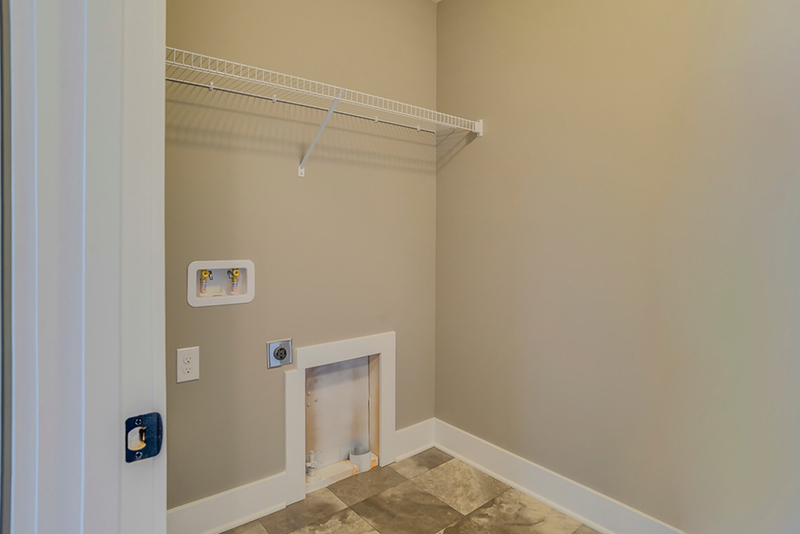 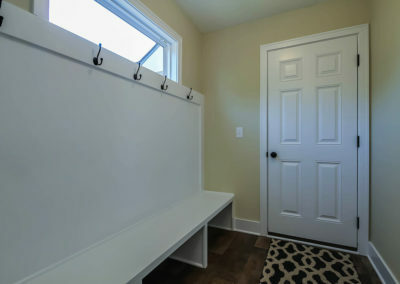 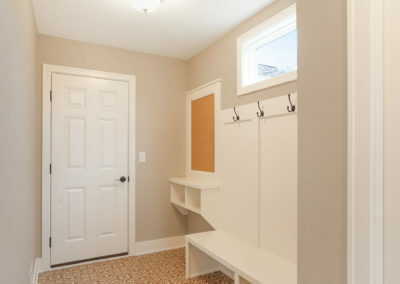 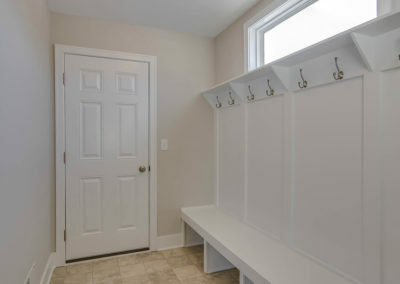 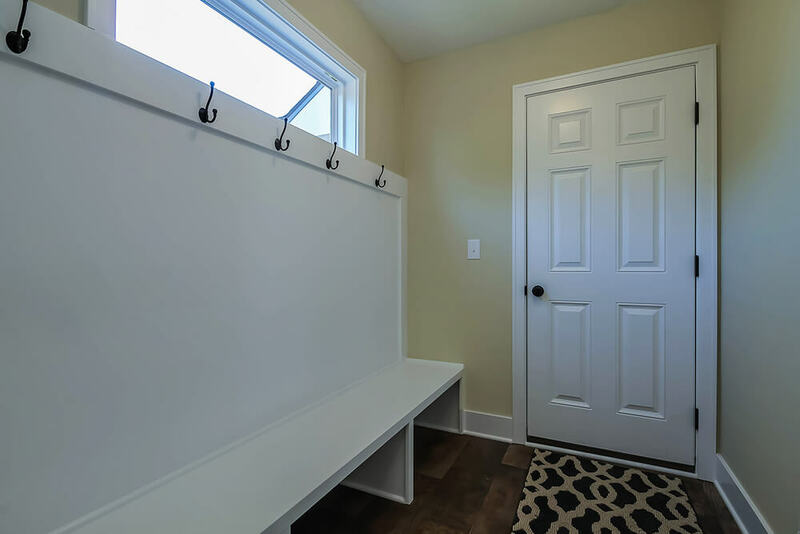 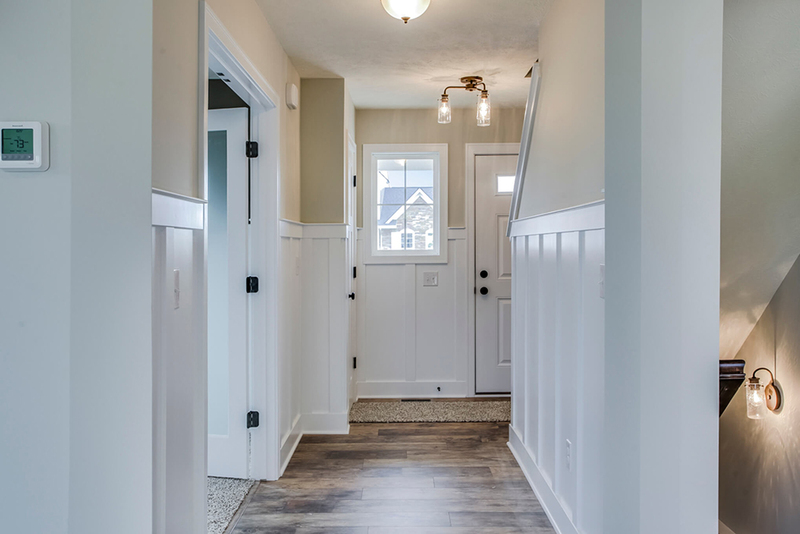 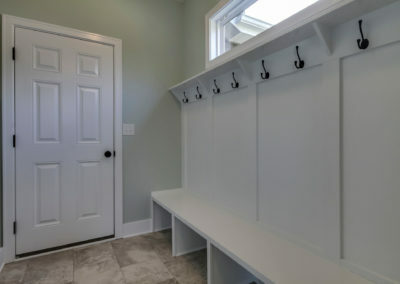 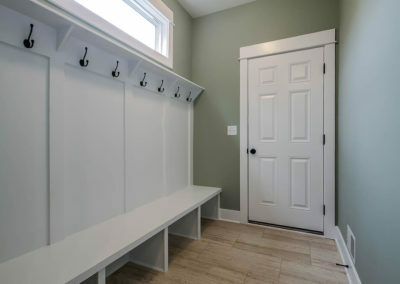 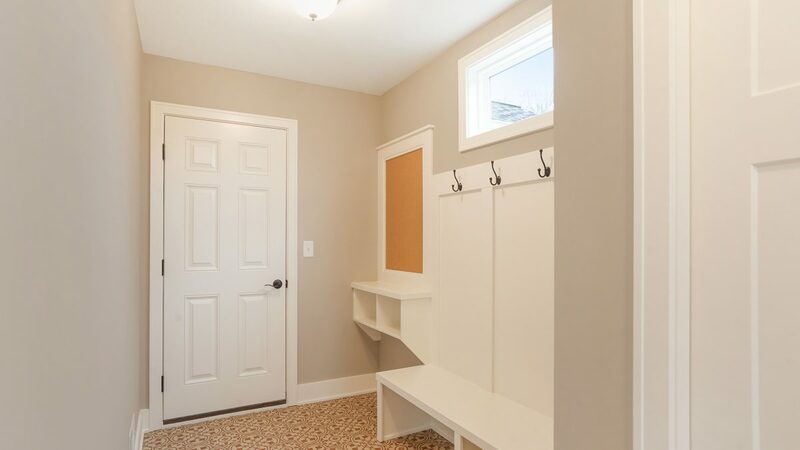 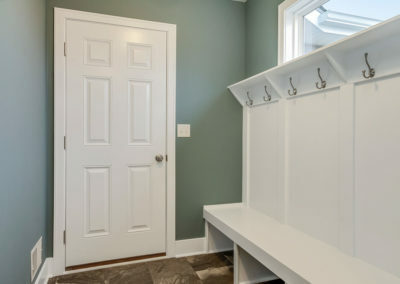 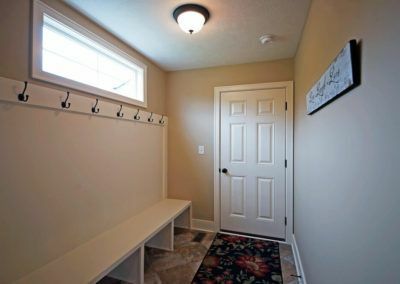 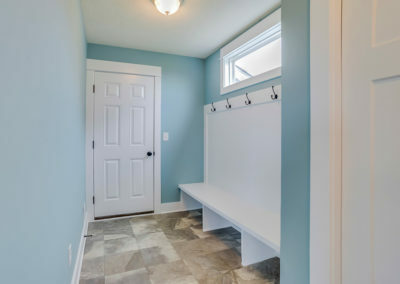 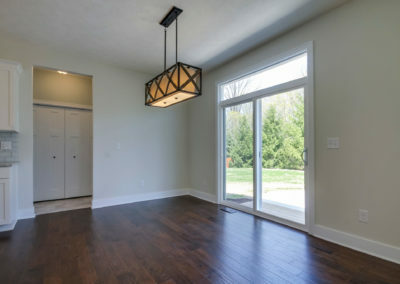 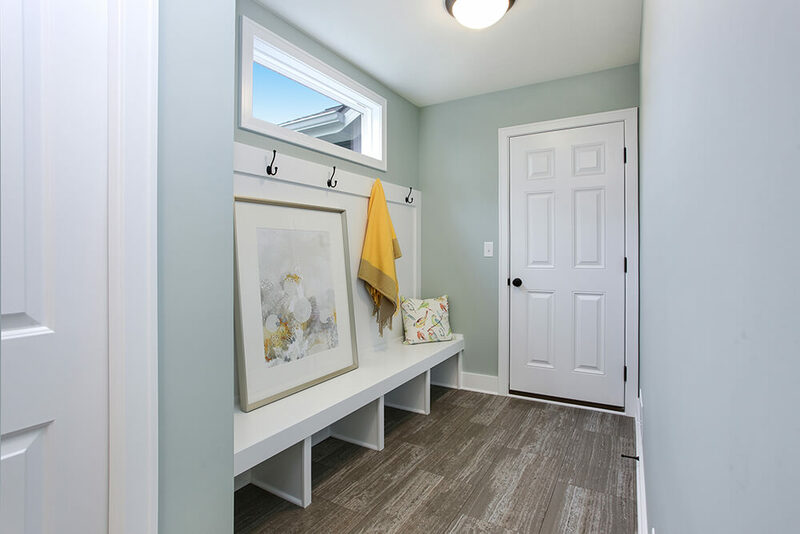 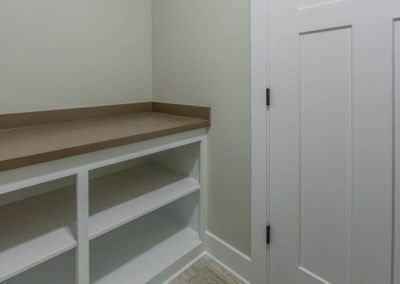 From the dining area the mudroom offers bench and organizer options and connects the main level half bath and two or three car garage with the rest of the home. 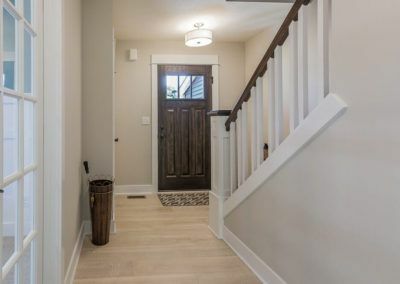 Returning to the front entry way, a staircase leads to the Stockton’s upper level. 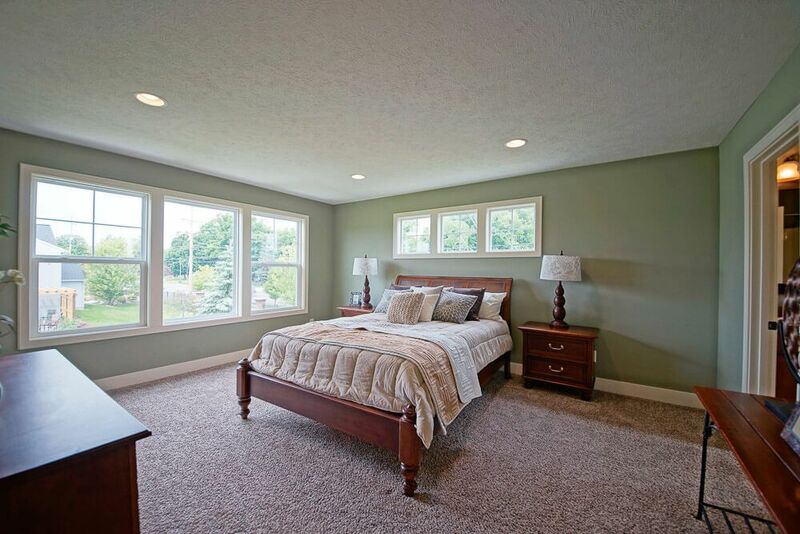 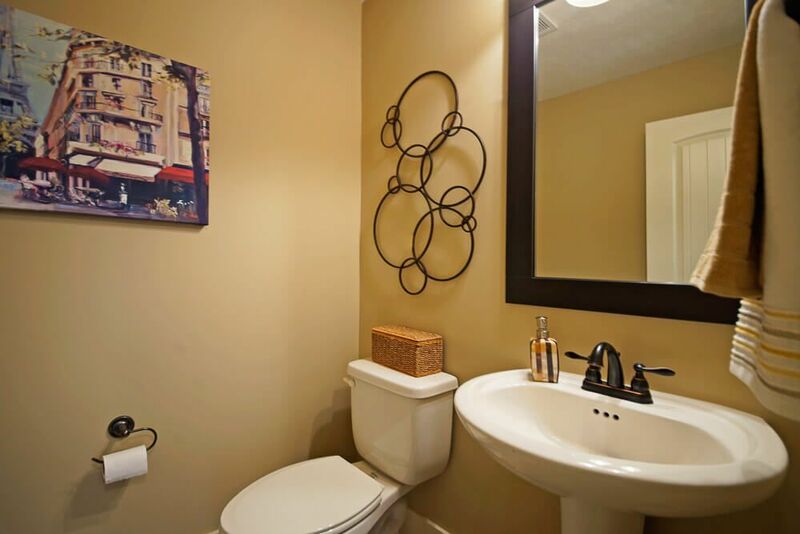 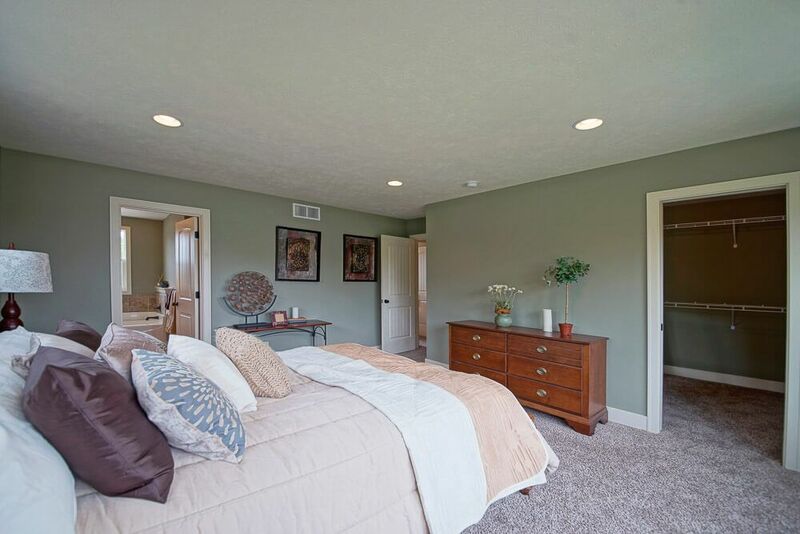 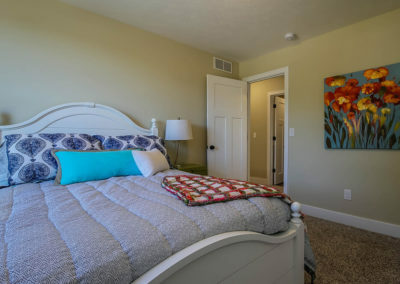 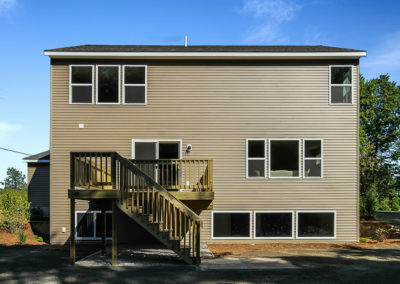 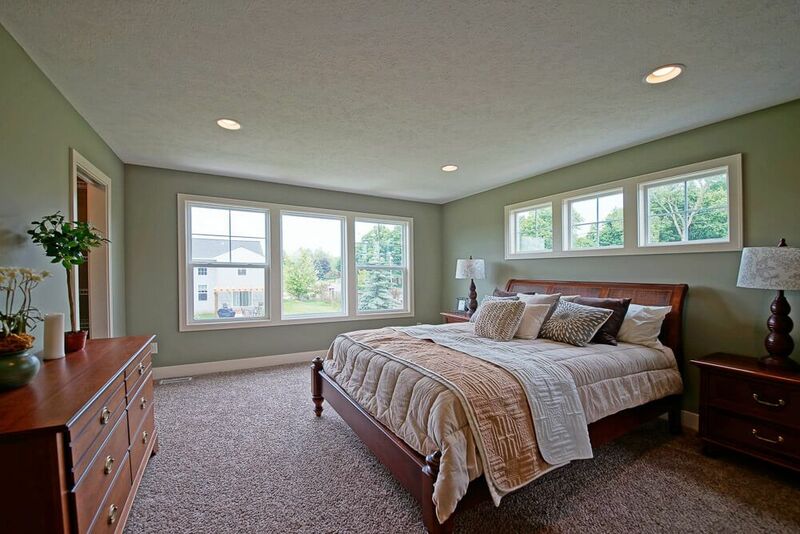 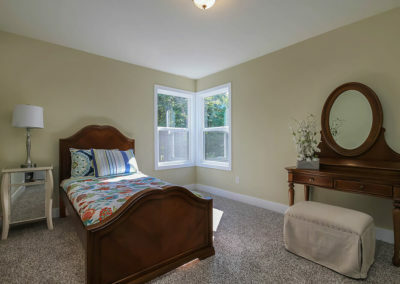 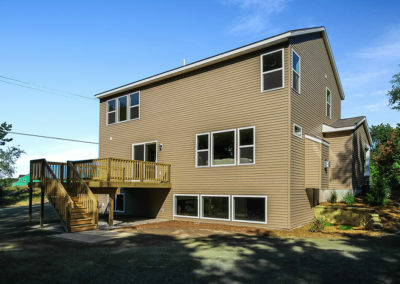 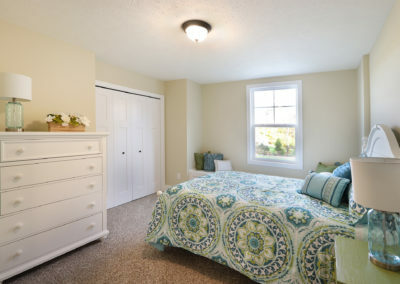 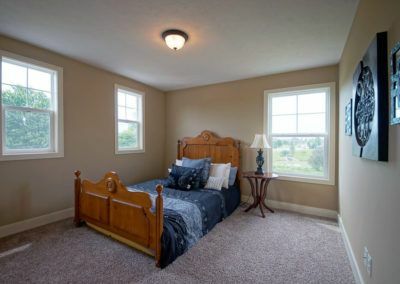 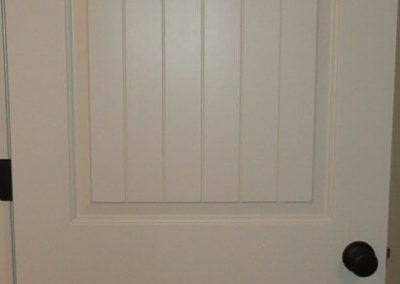 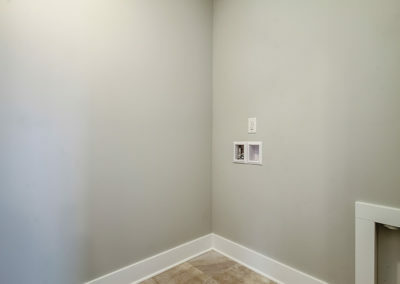 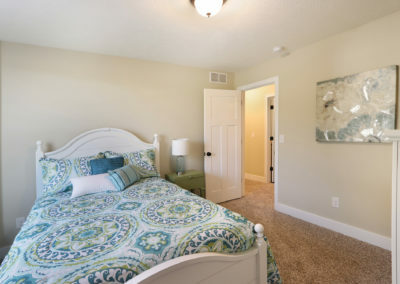 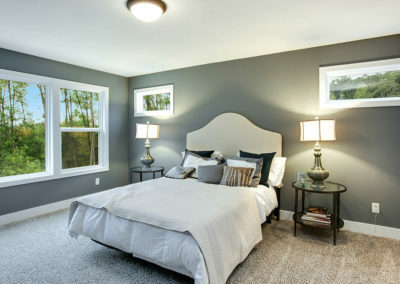 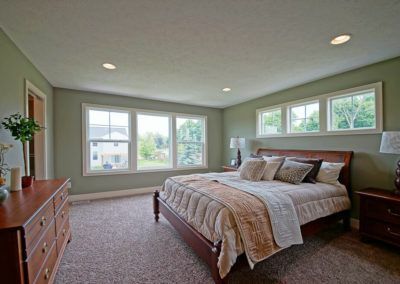 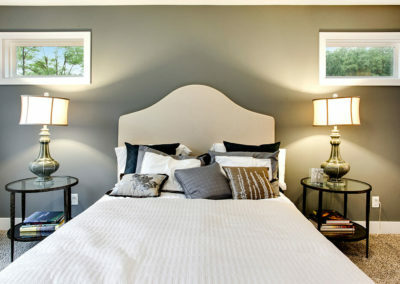 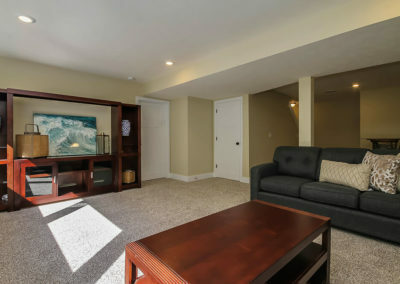 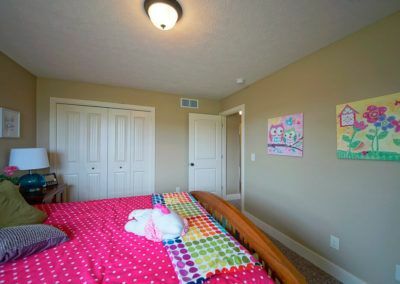 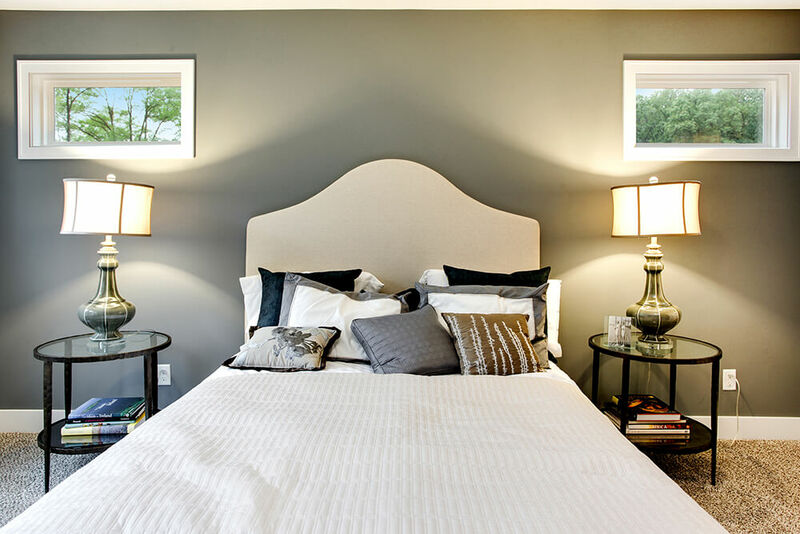 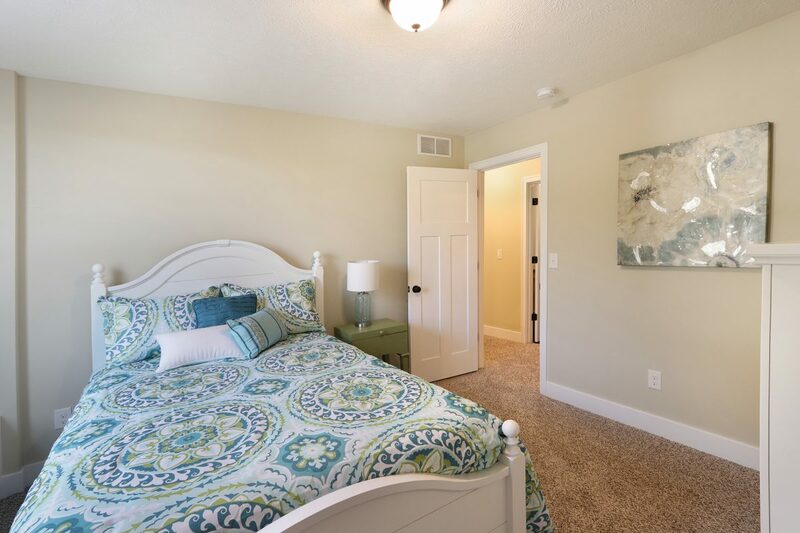 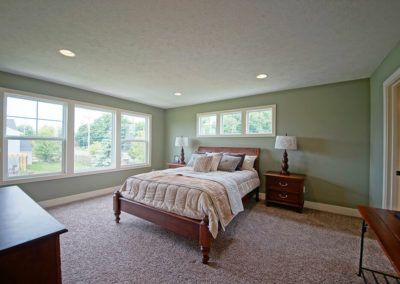 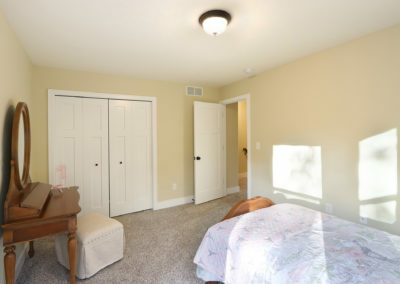 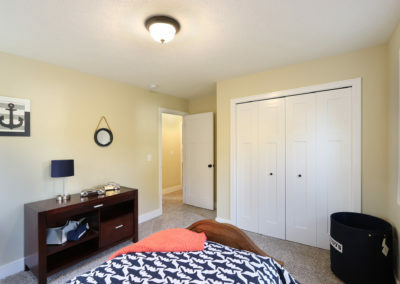 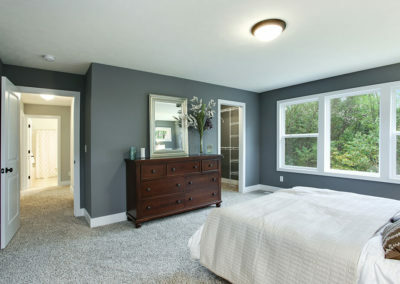 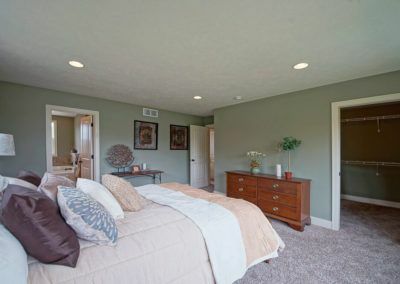 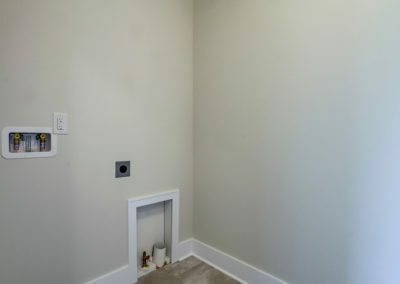 The upper level owner's suit has a large master bedroom, a substantial walk-in closet, and a private master bathroom. 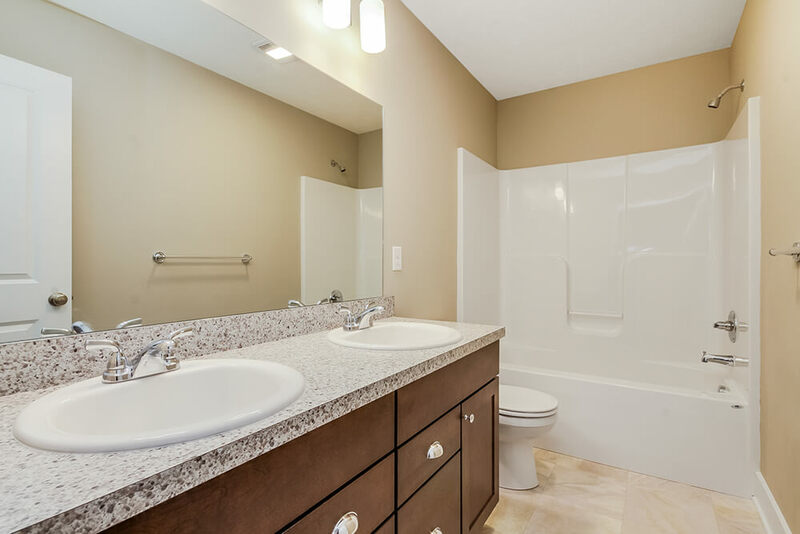 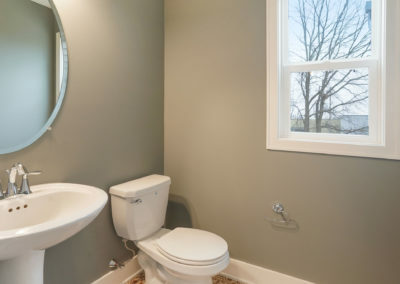 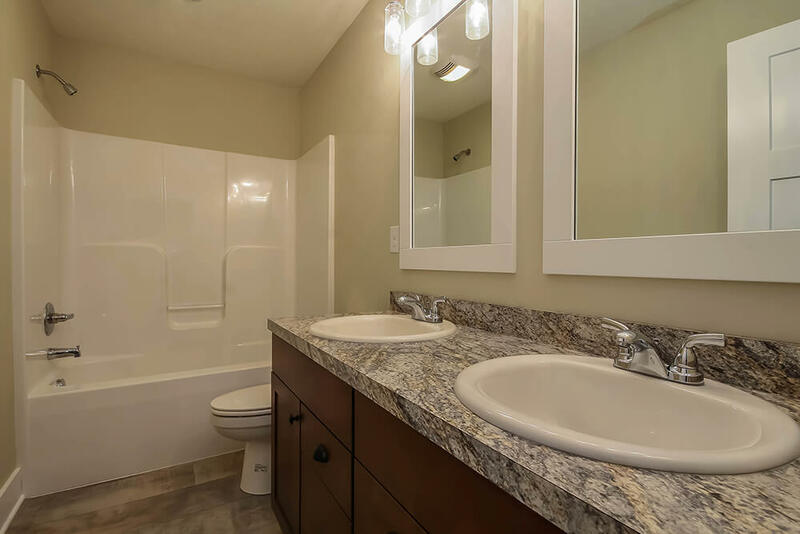 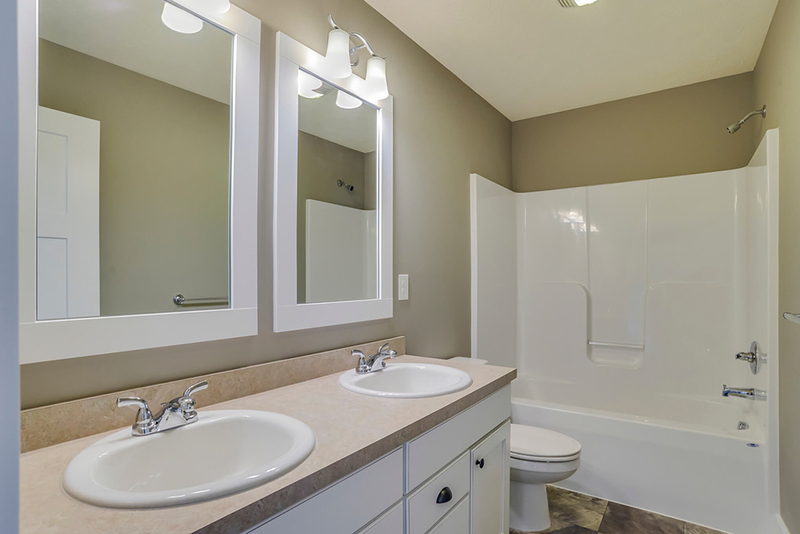 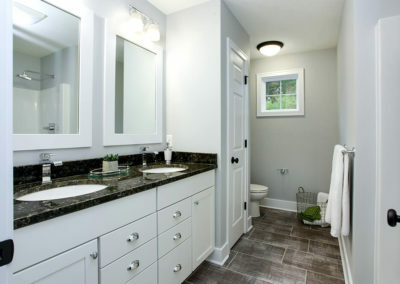 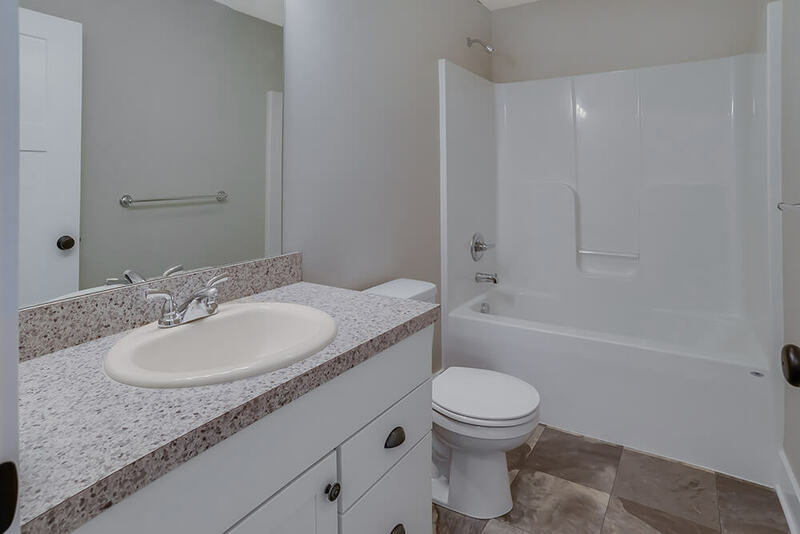 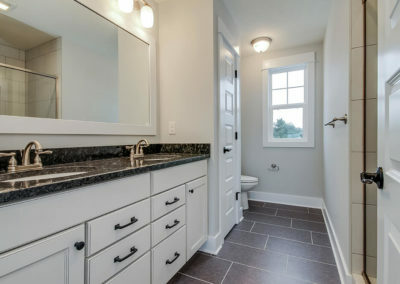 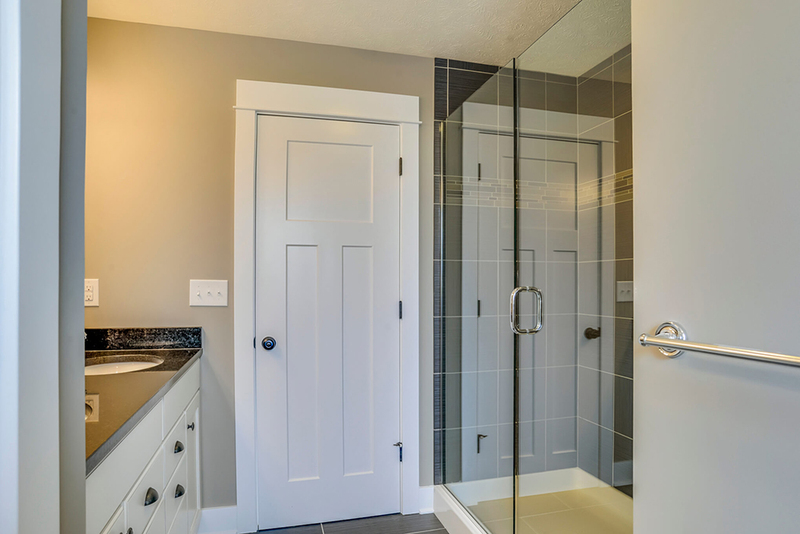 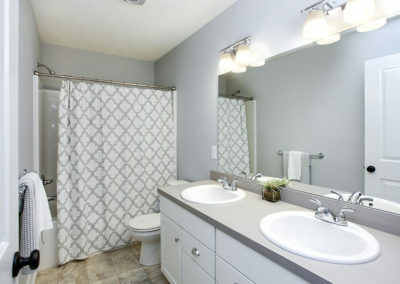 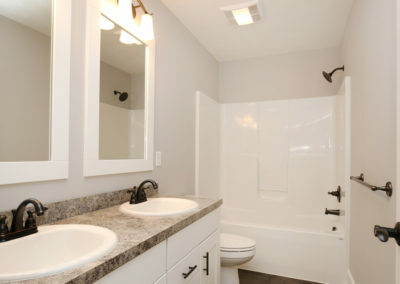 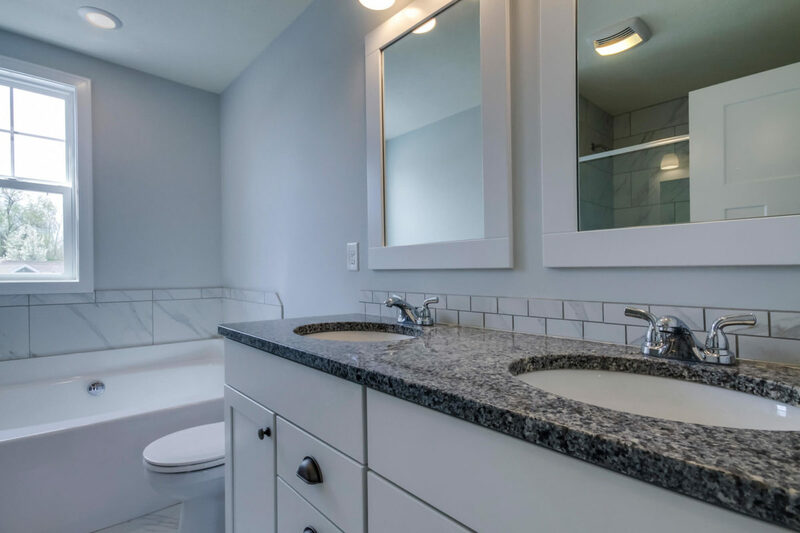 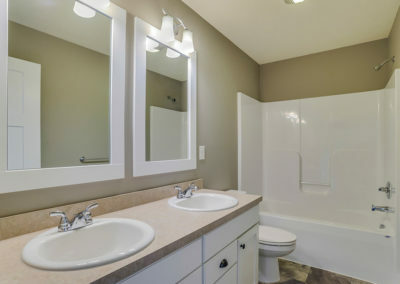 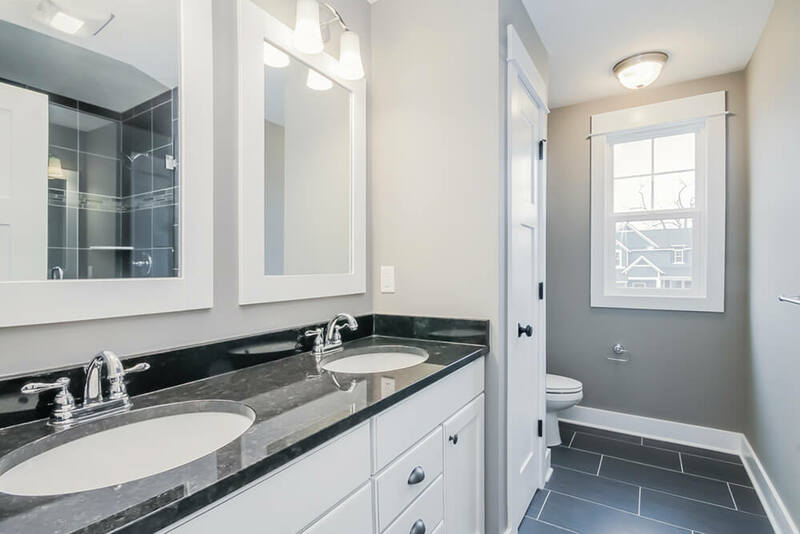 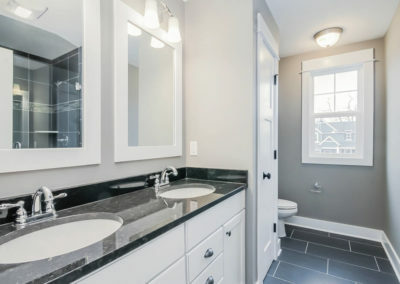 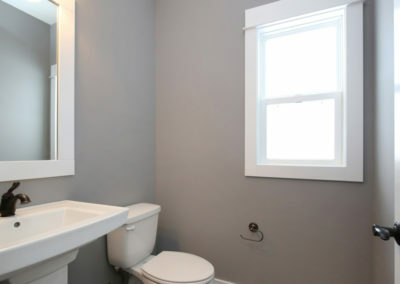 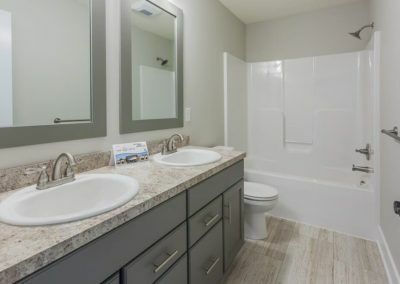 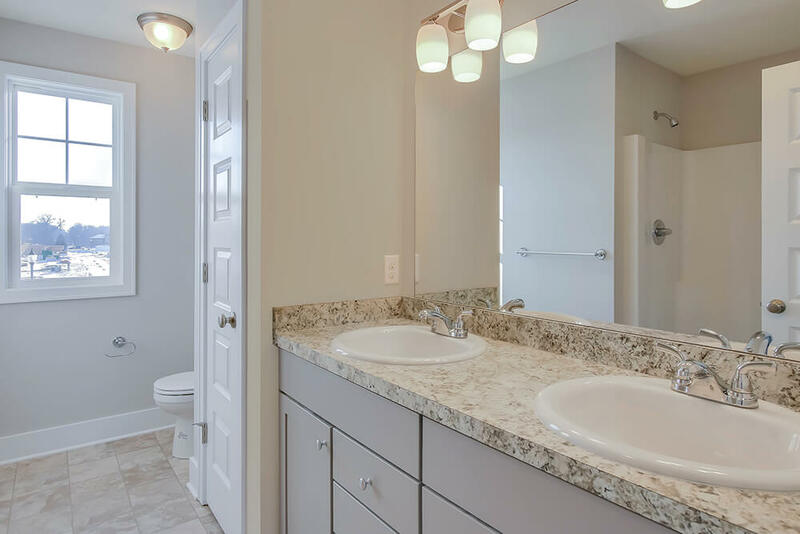 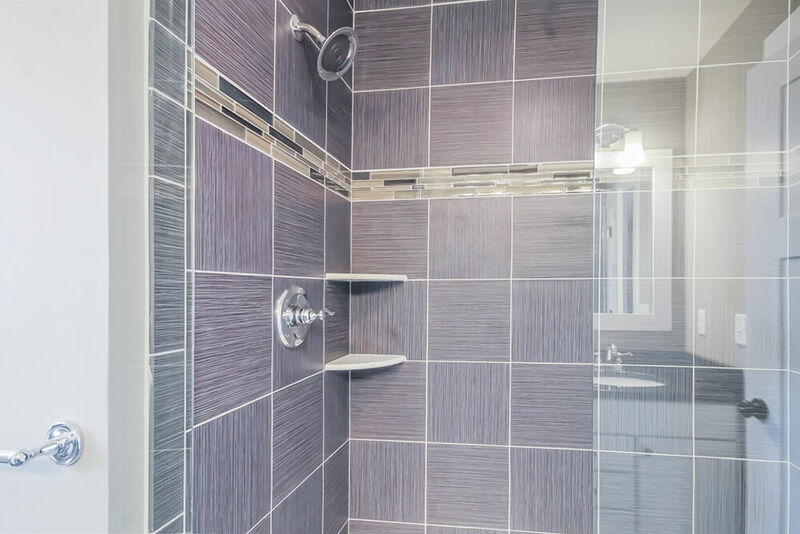 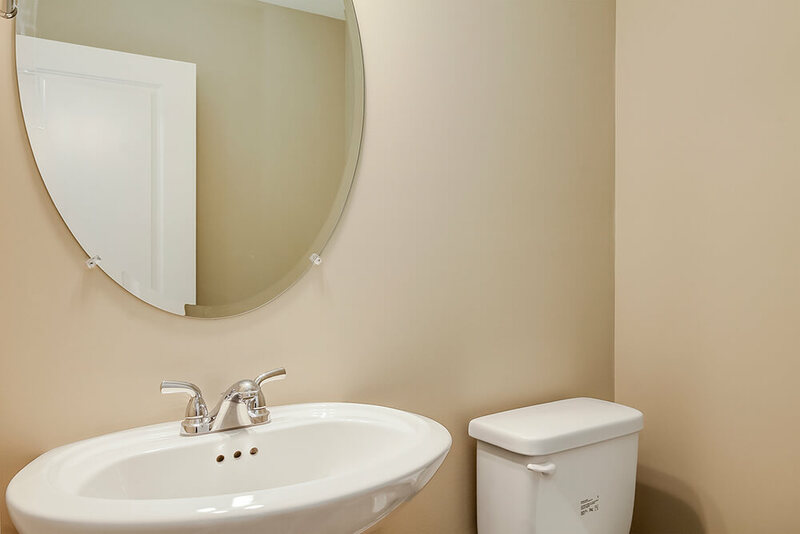 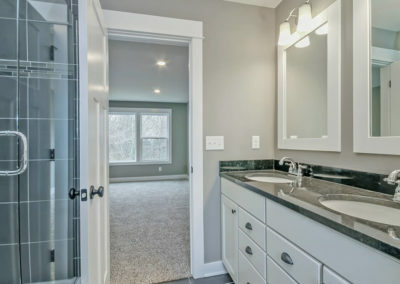 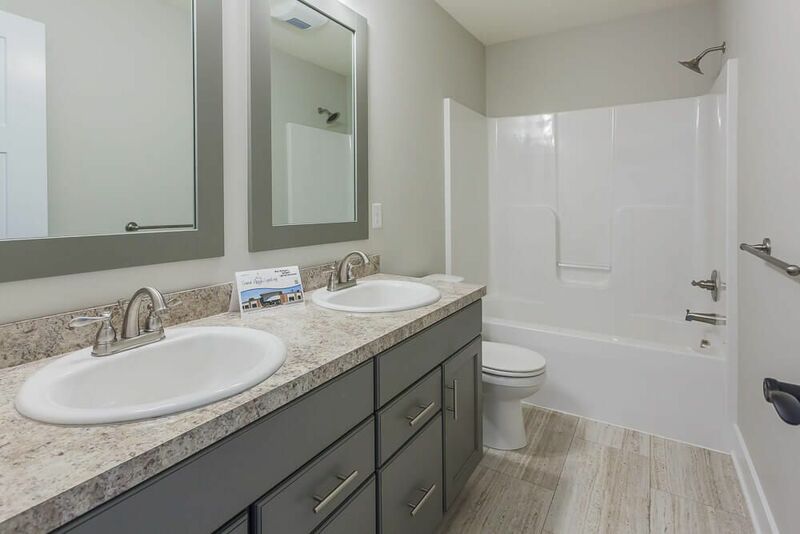 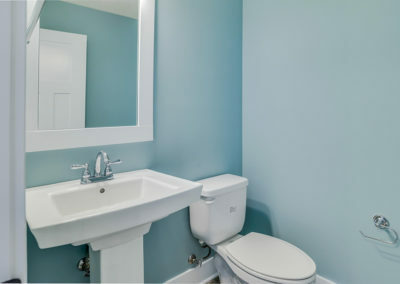 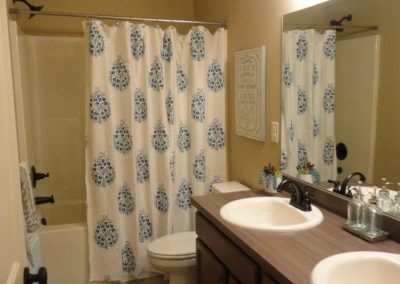 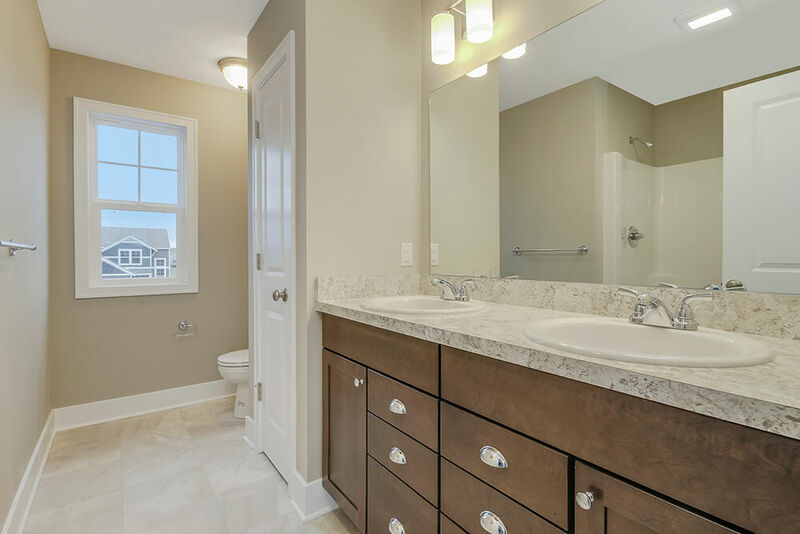 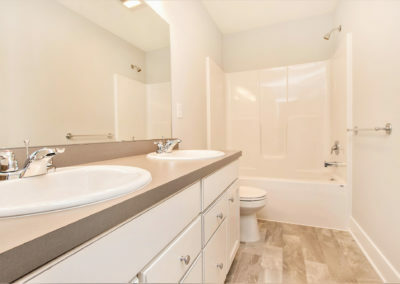 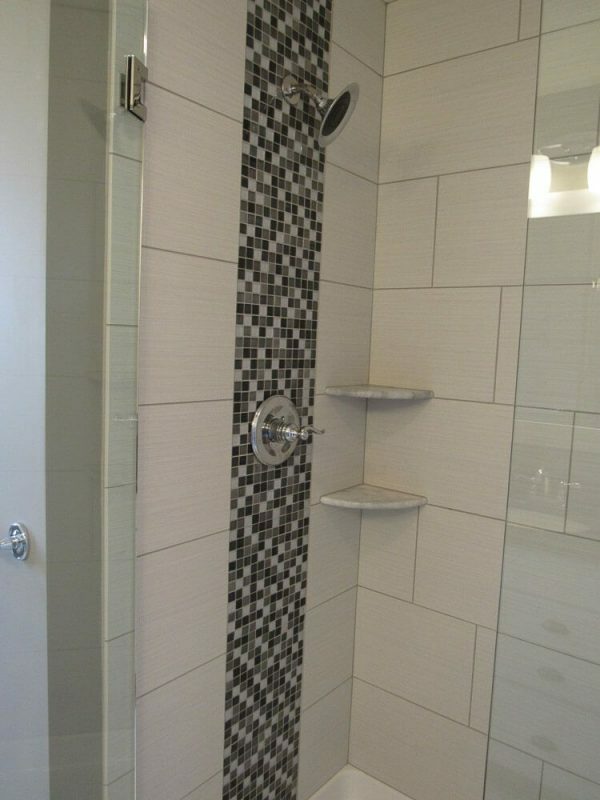 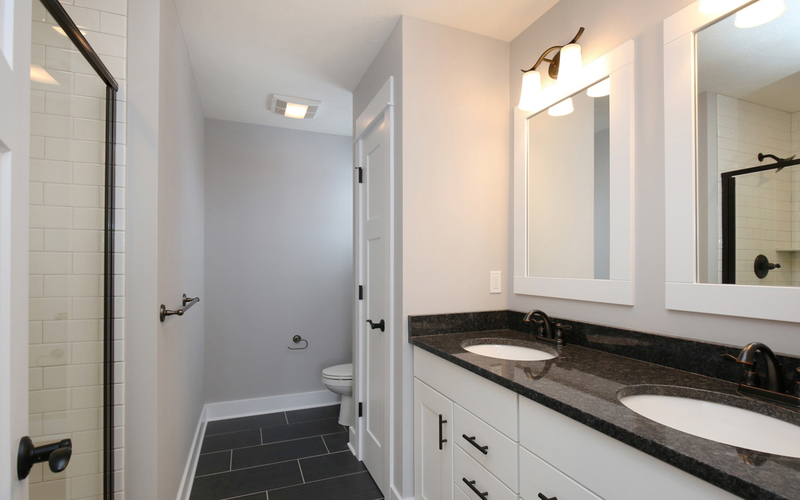 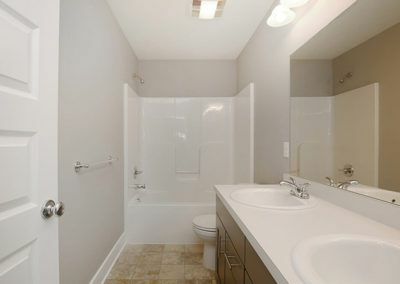 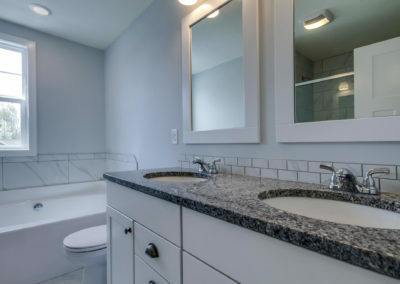 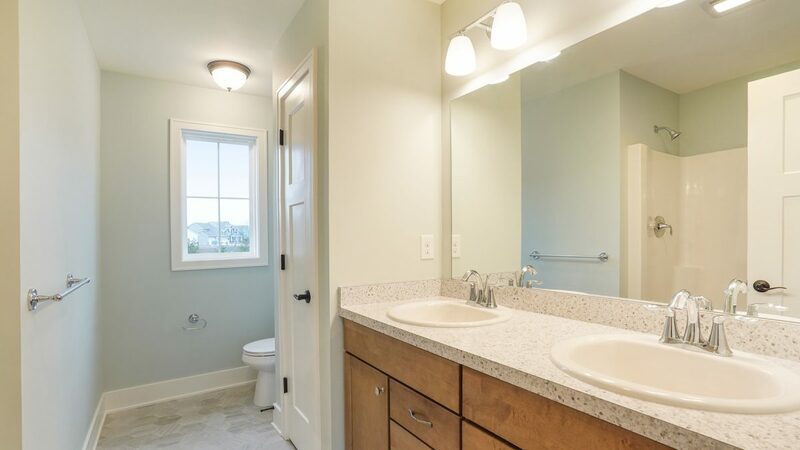 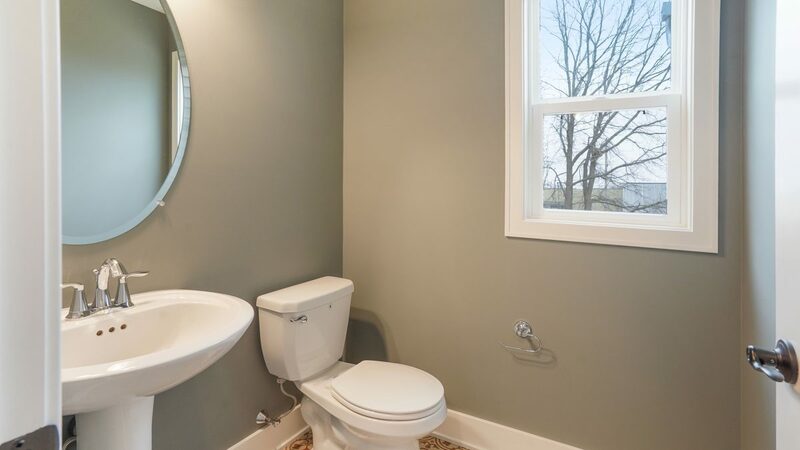 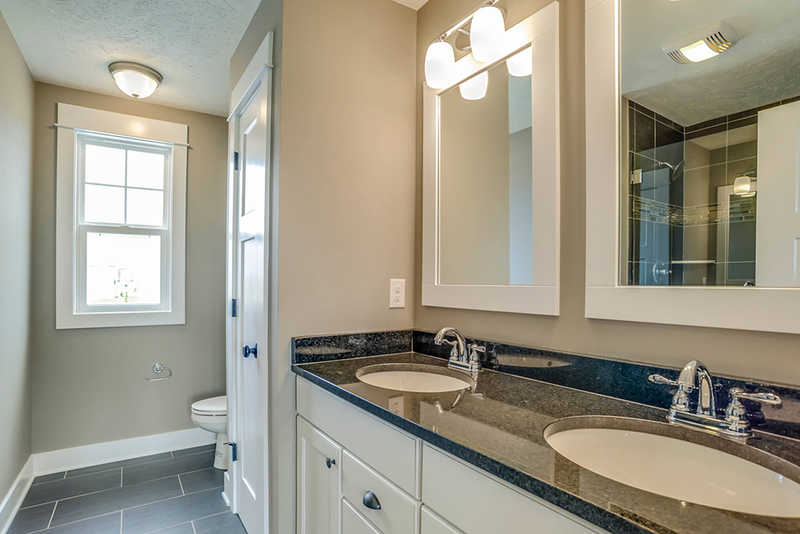 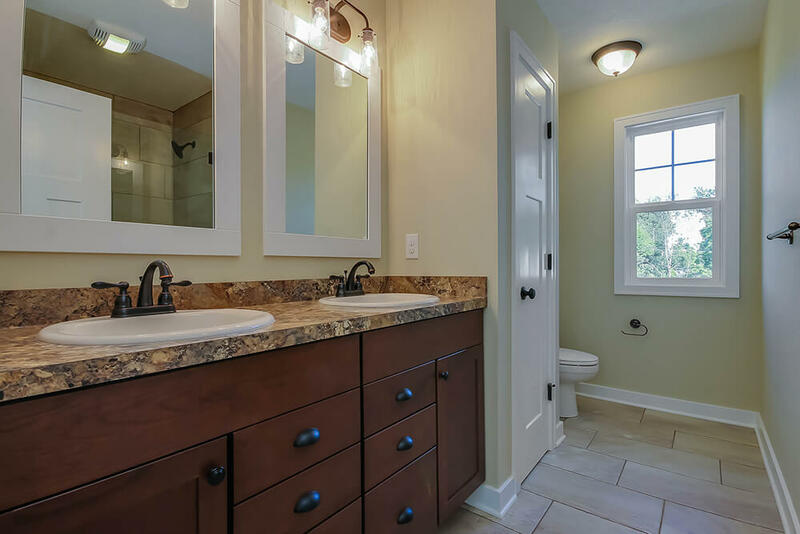 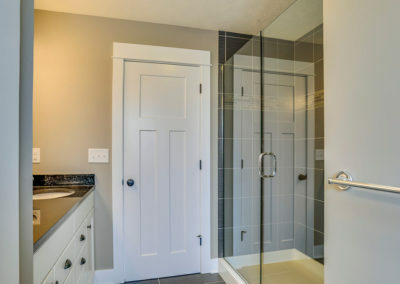 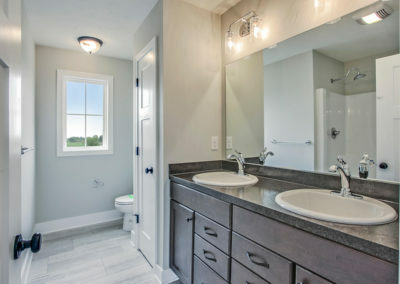 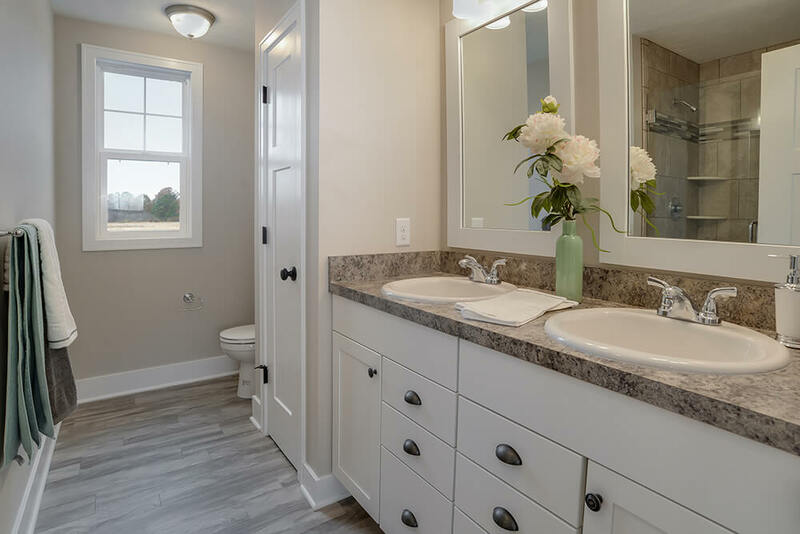 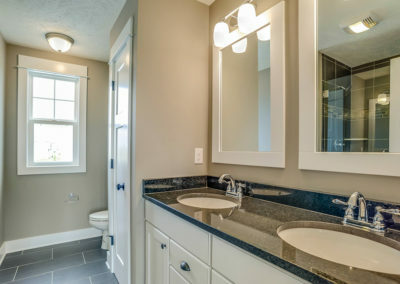 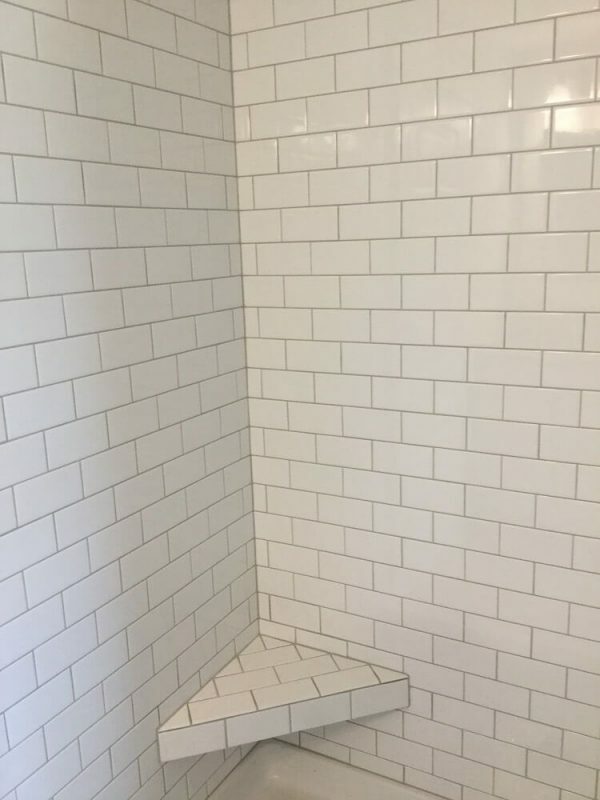 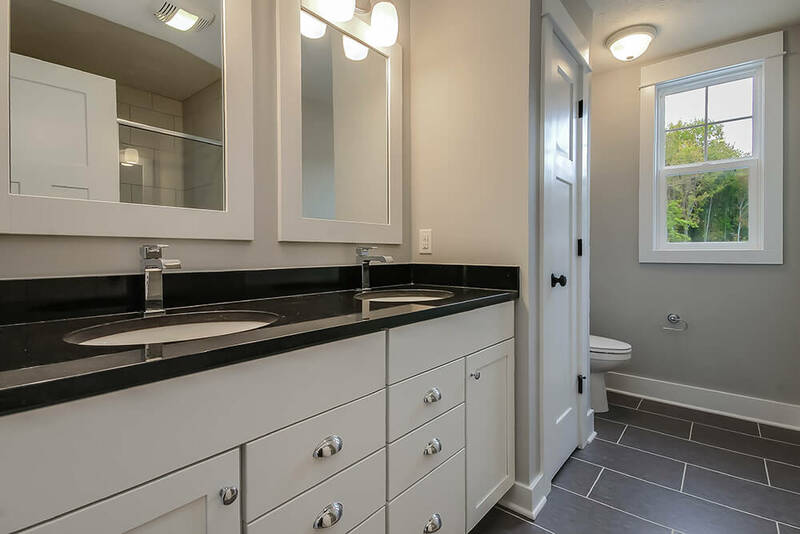 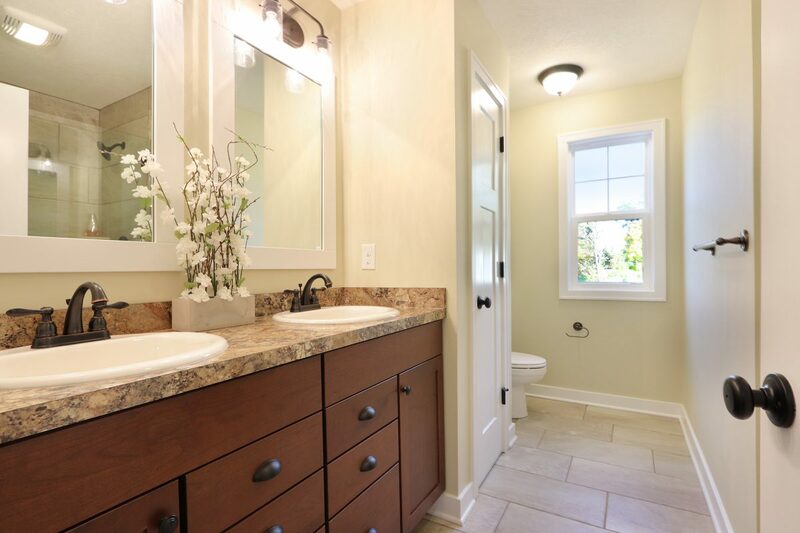 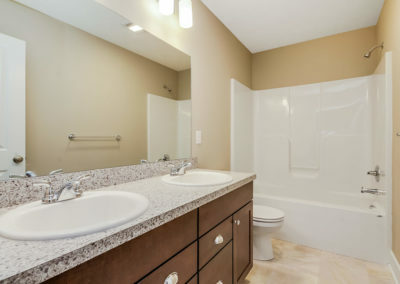 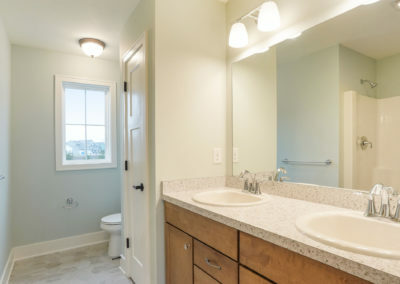 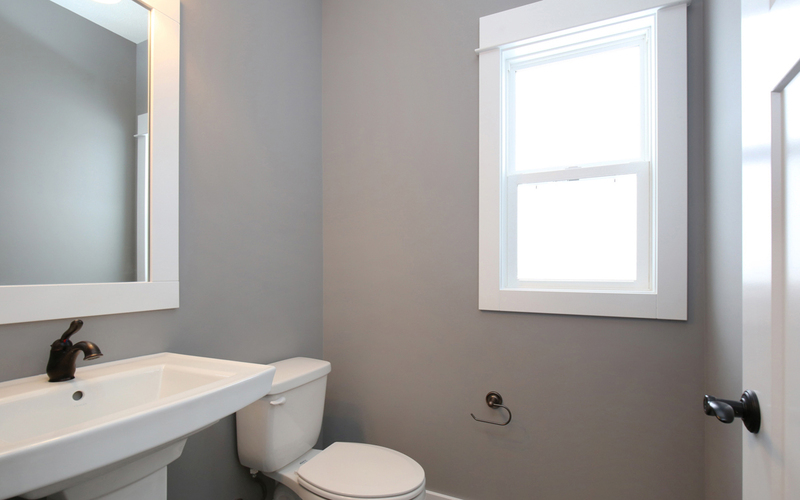 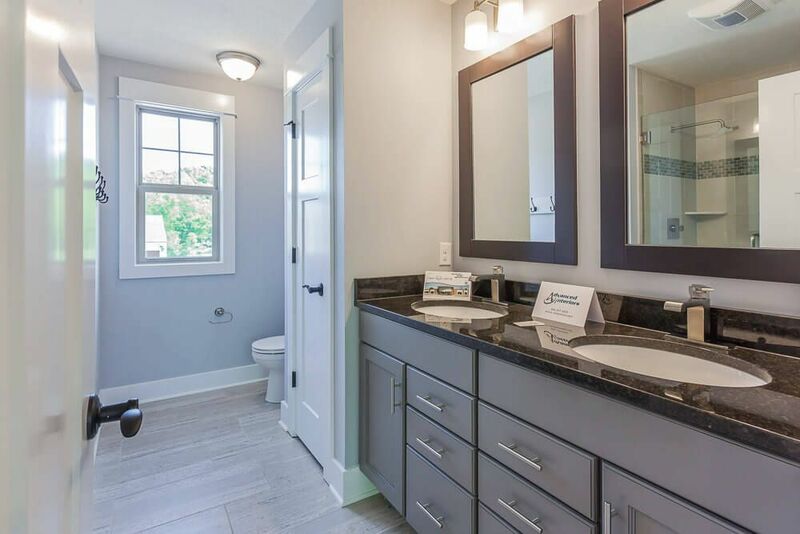 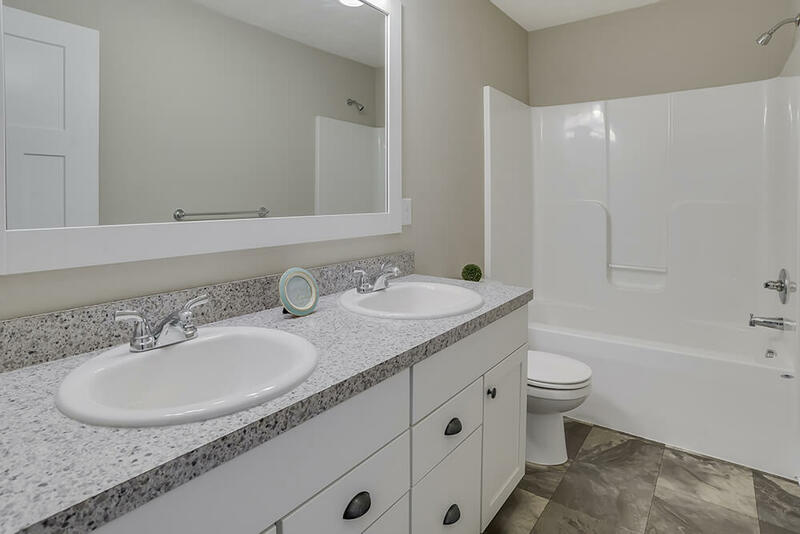 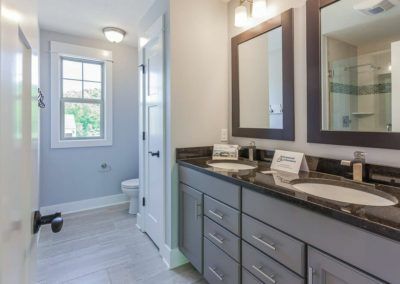 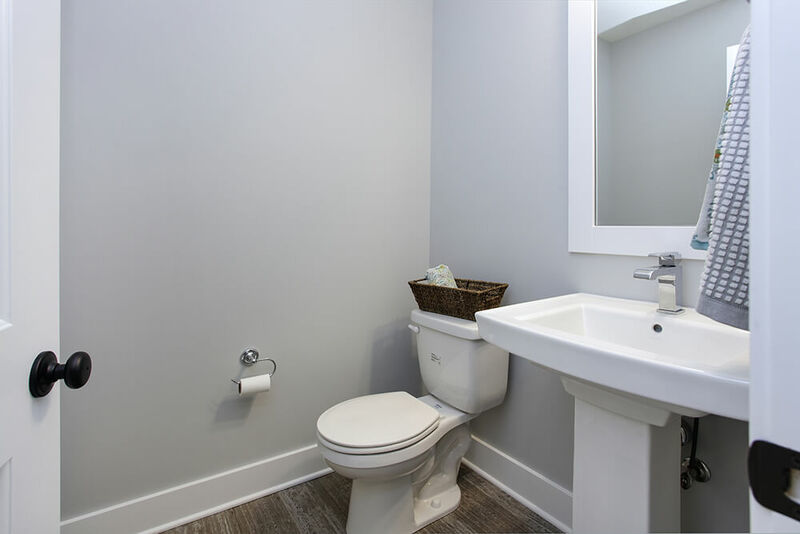 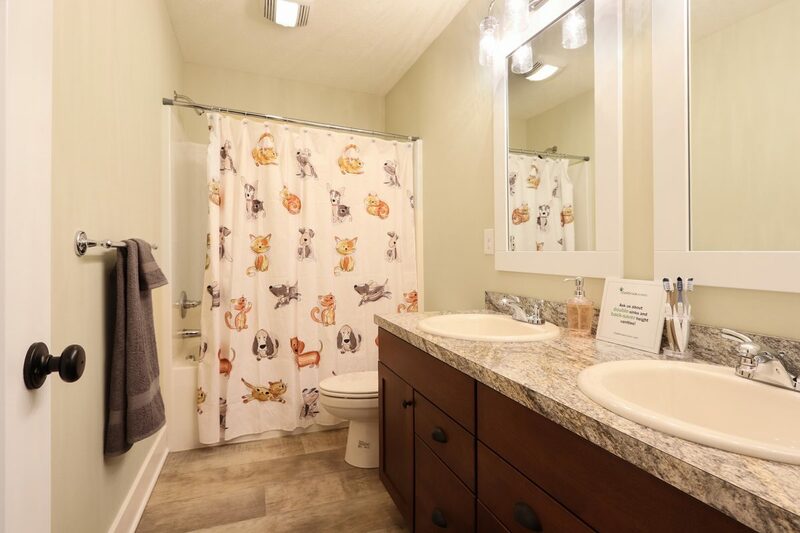 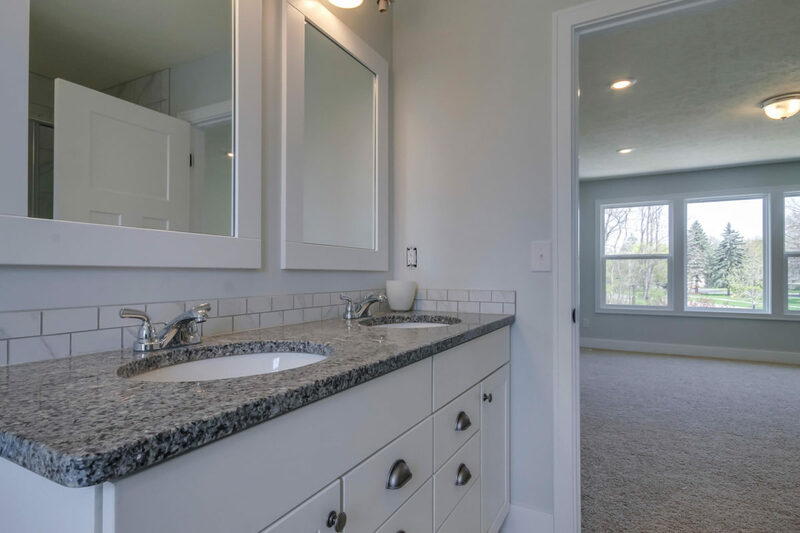 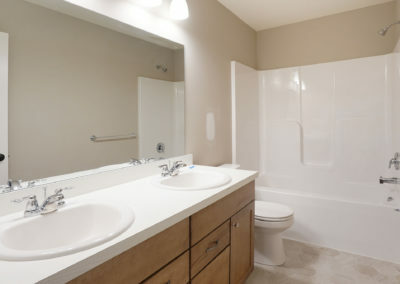 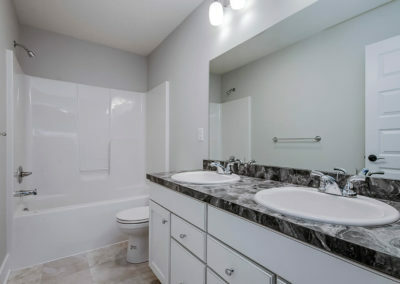 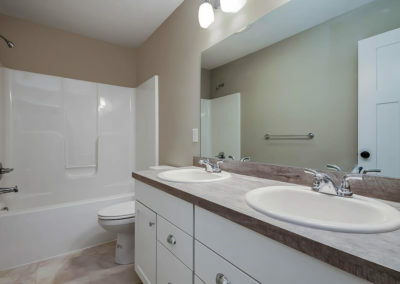 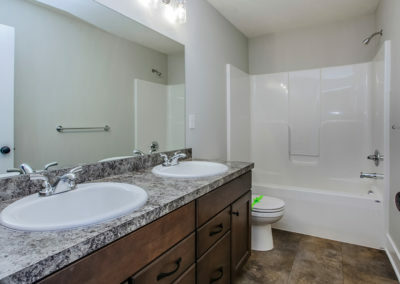 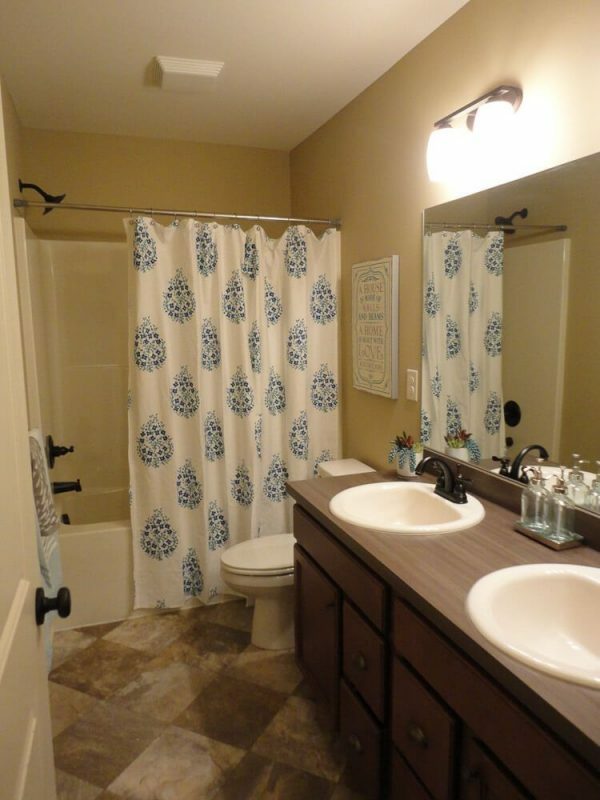 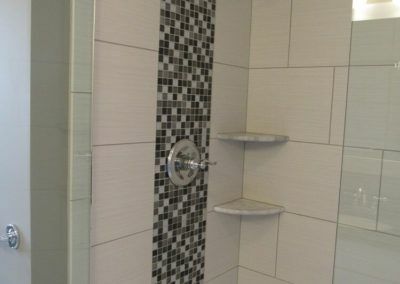 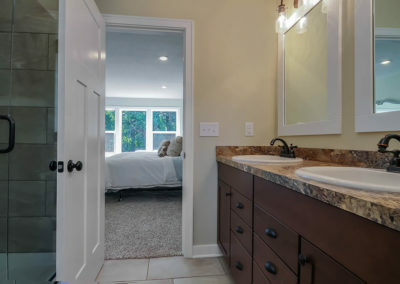 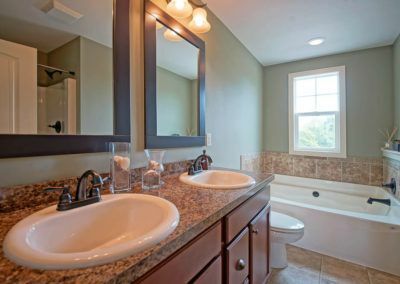 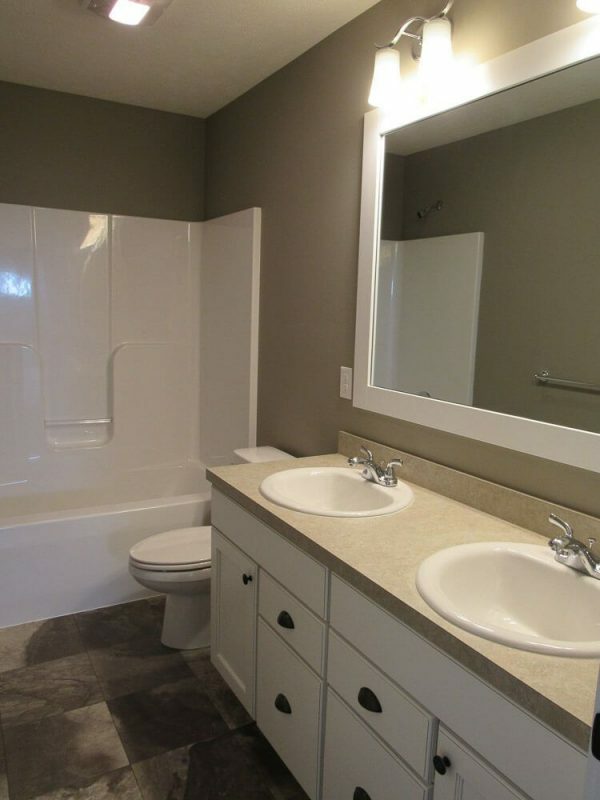 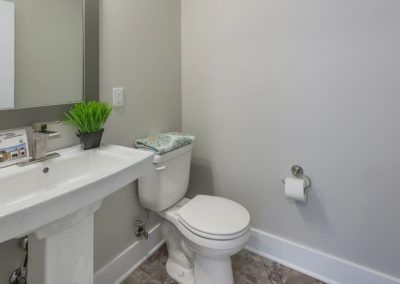 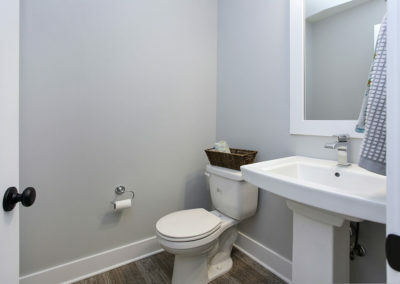 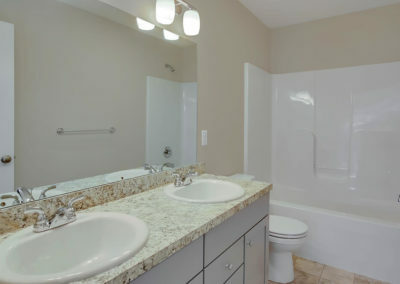 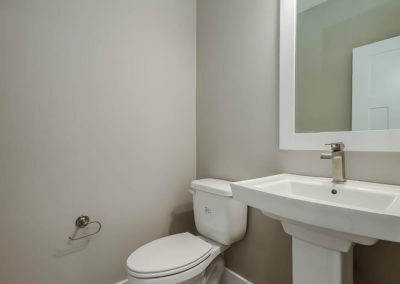 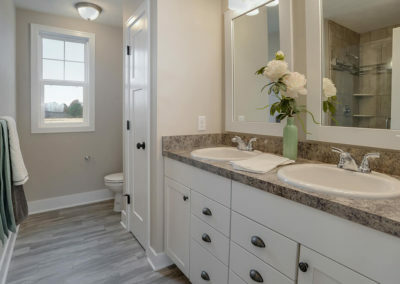 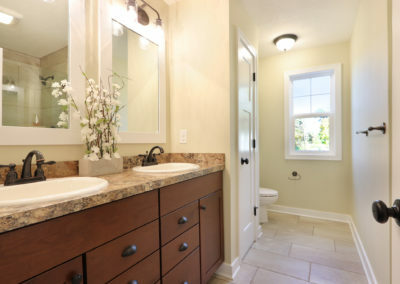 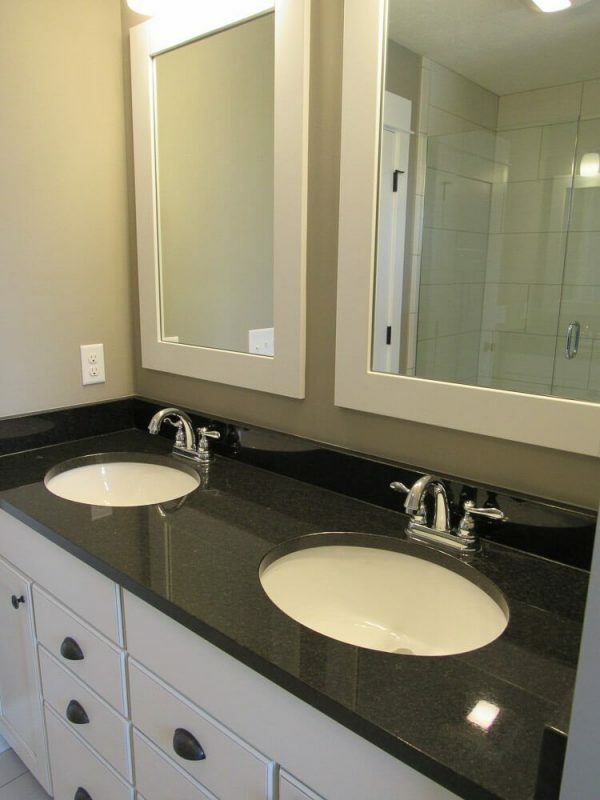 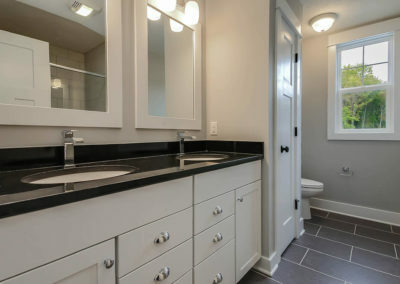 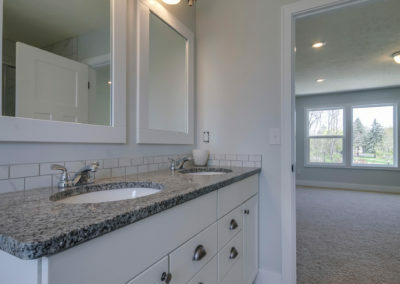 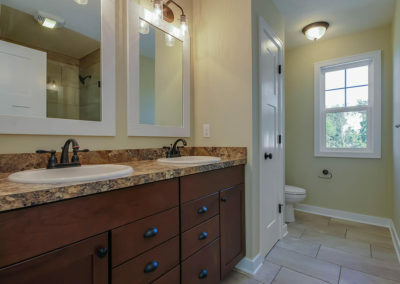 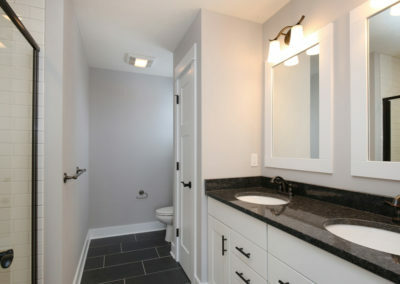 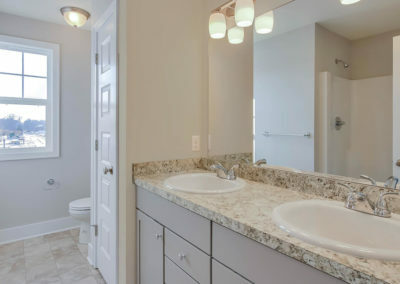 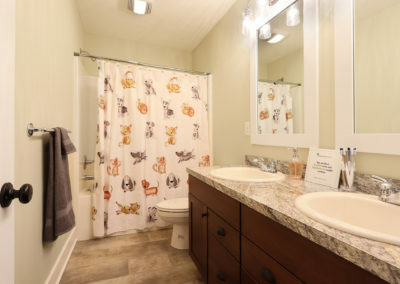 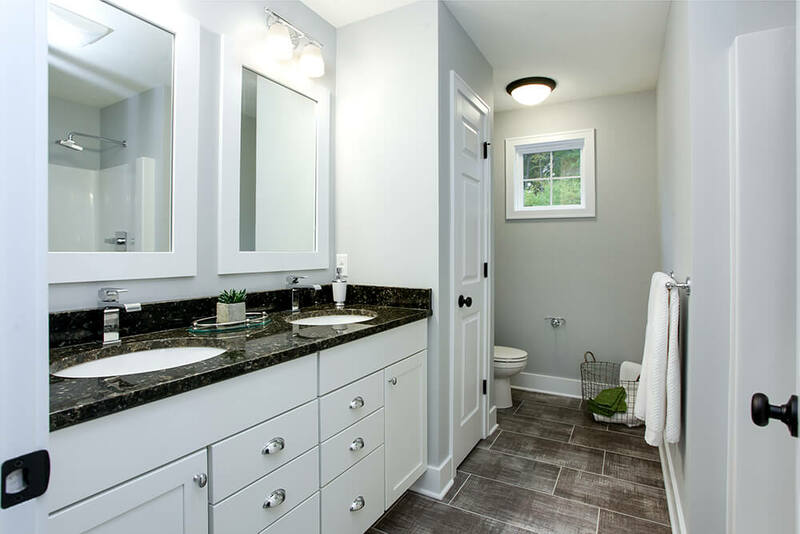 The master bath offers an optional four piece bathroom set with double sink, soaking tub, and step-in shower. 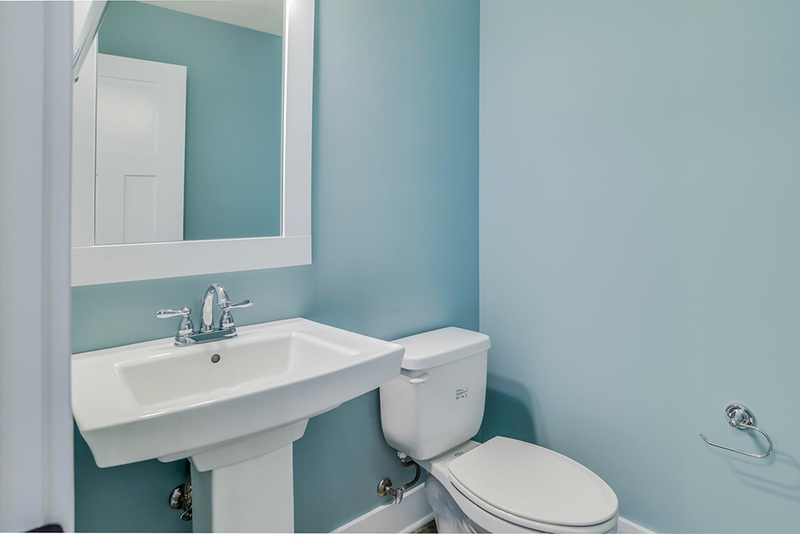 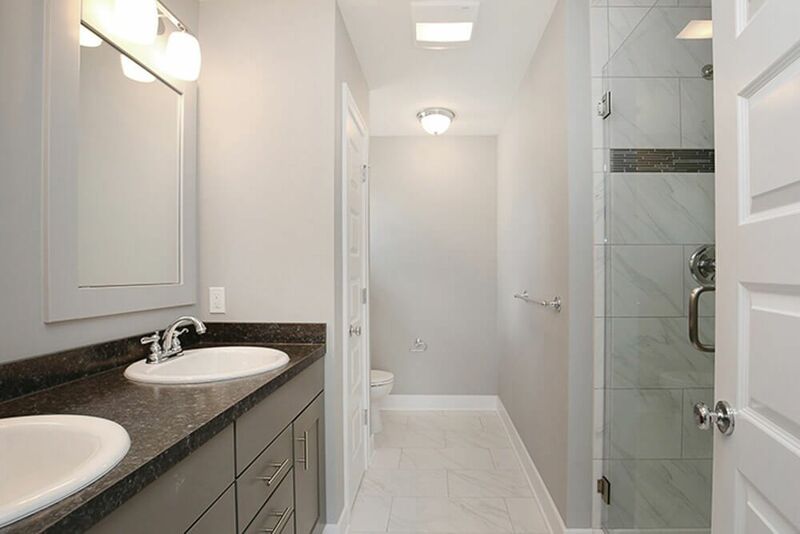 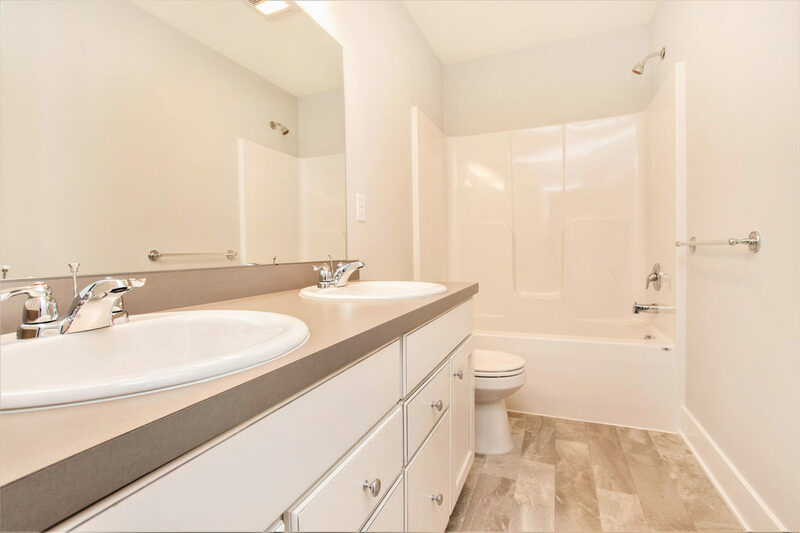 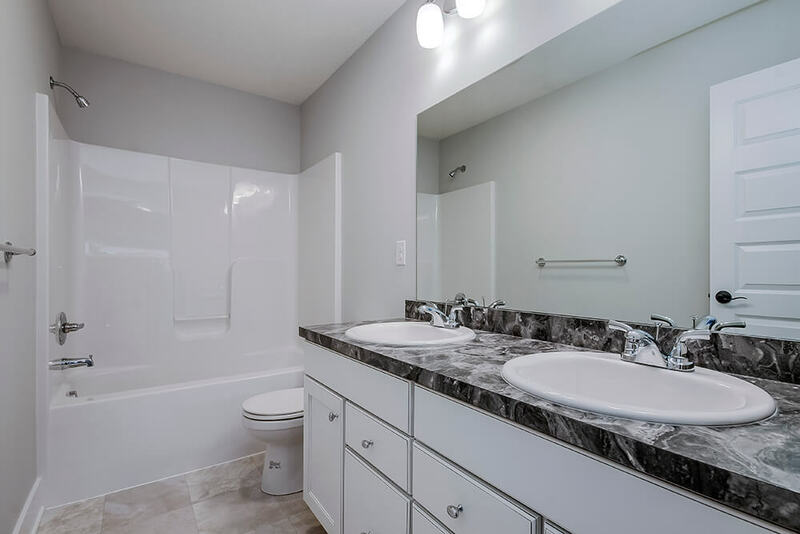 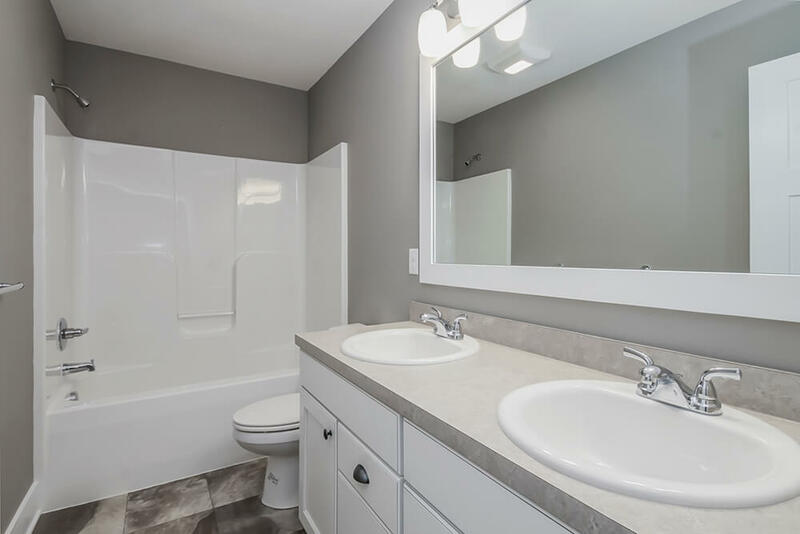 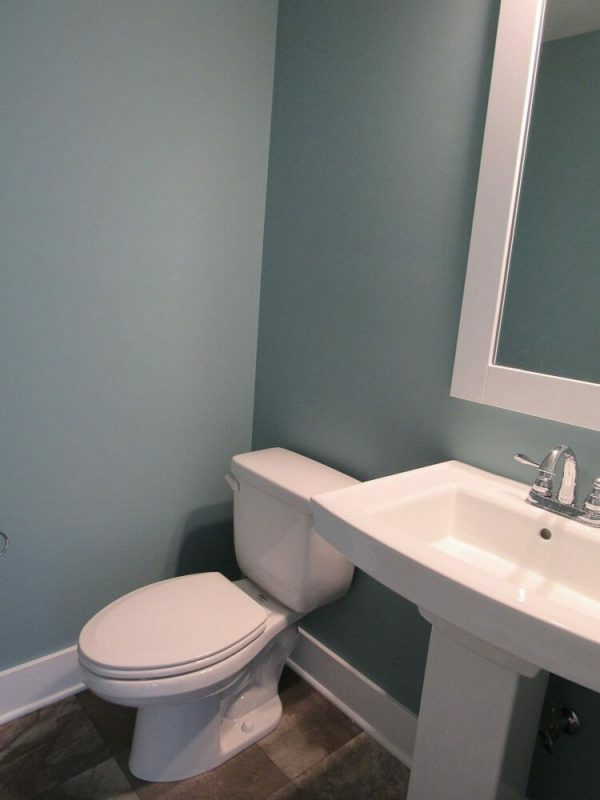 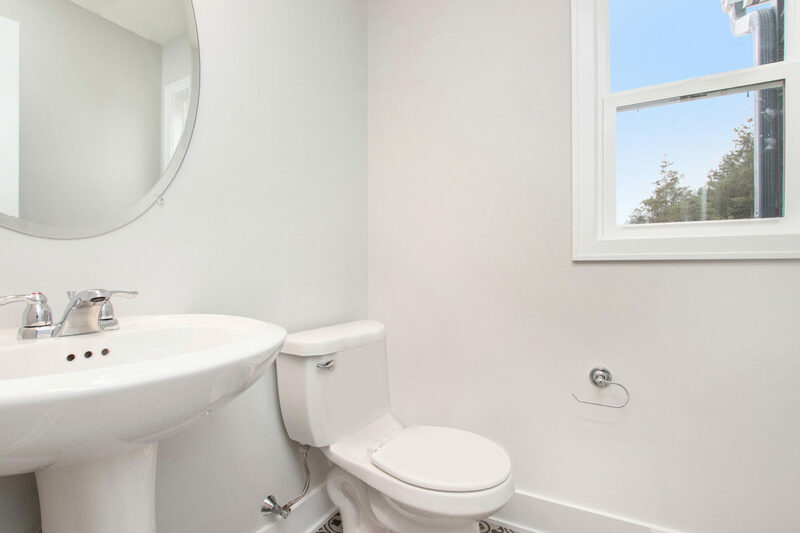 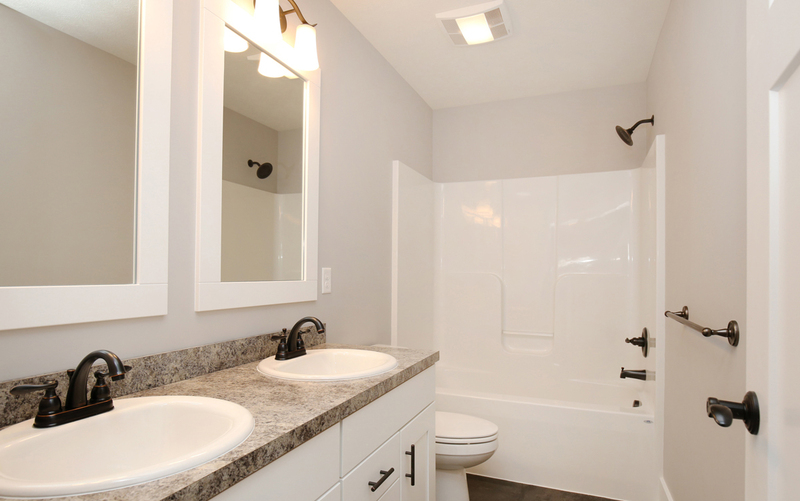 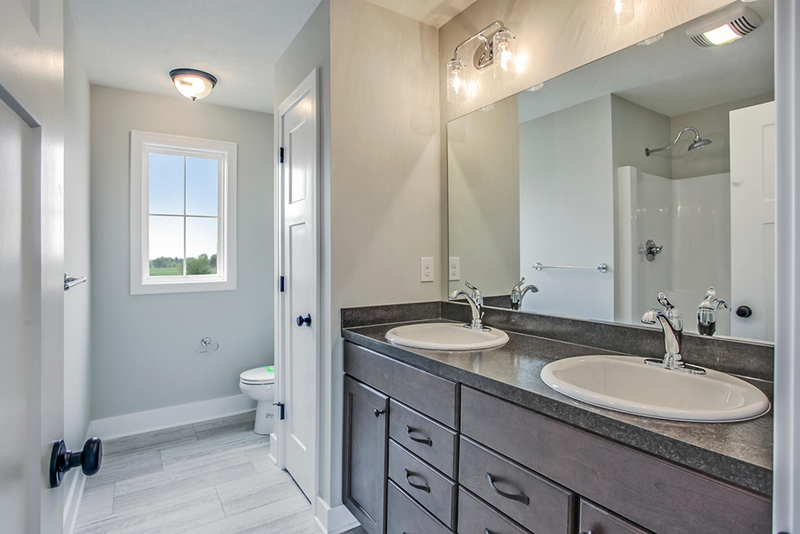 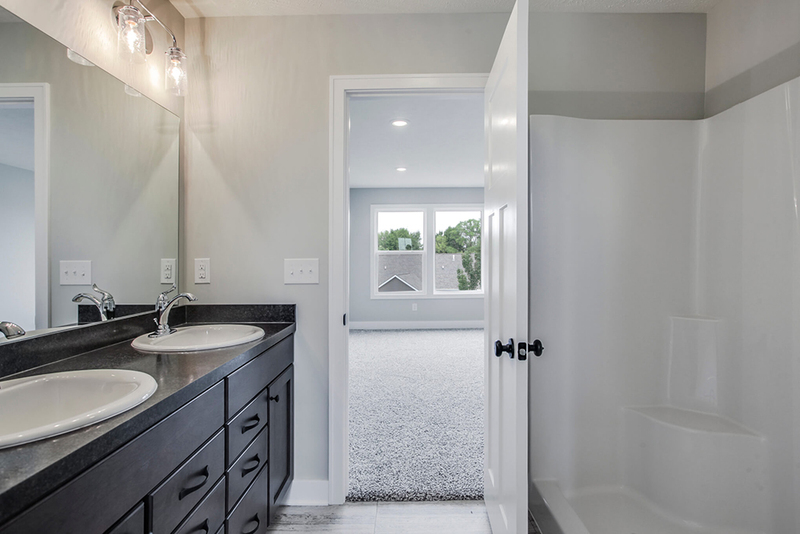 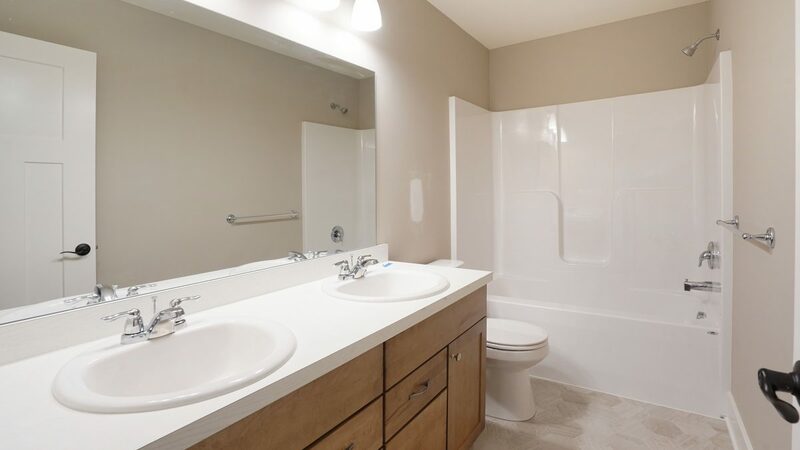 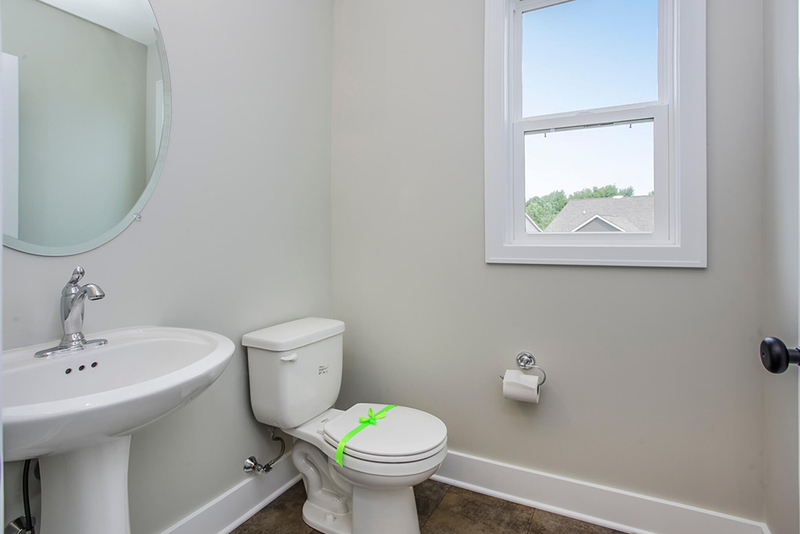 The second full bath on the upper level opens onto the central hallway and can be enhanced with a double sink. 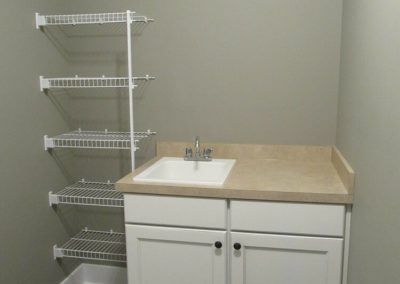 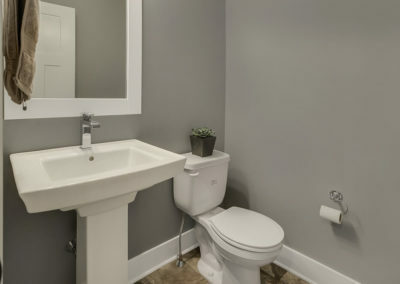 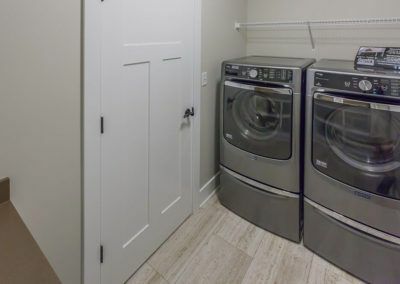 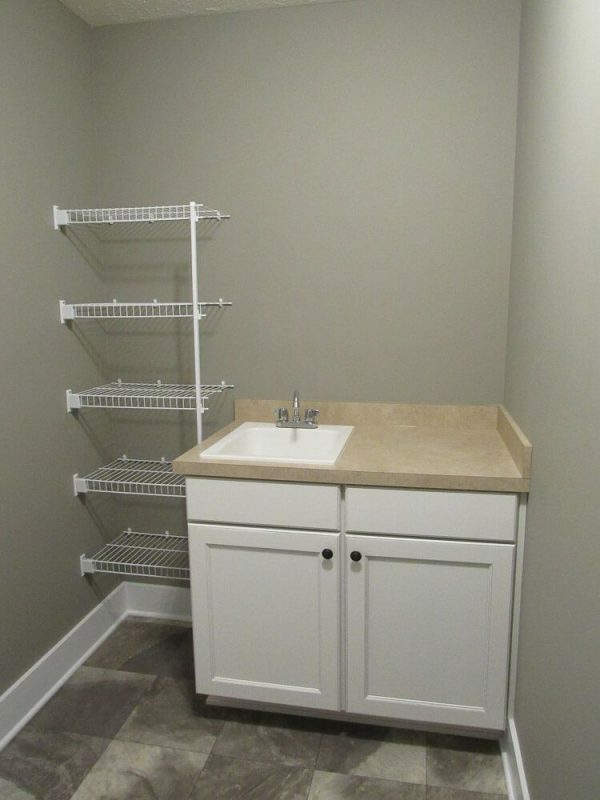 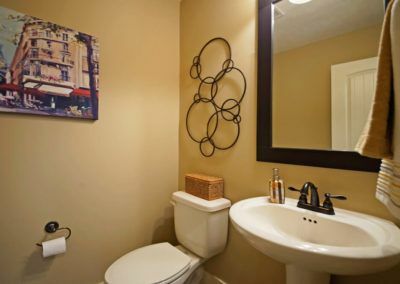 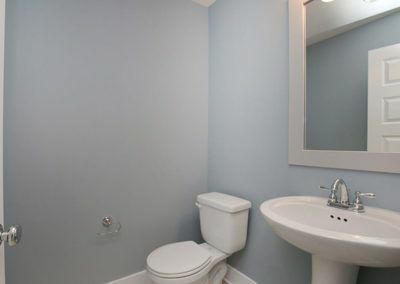 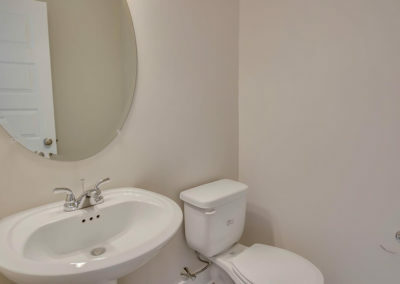 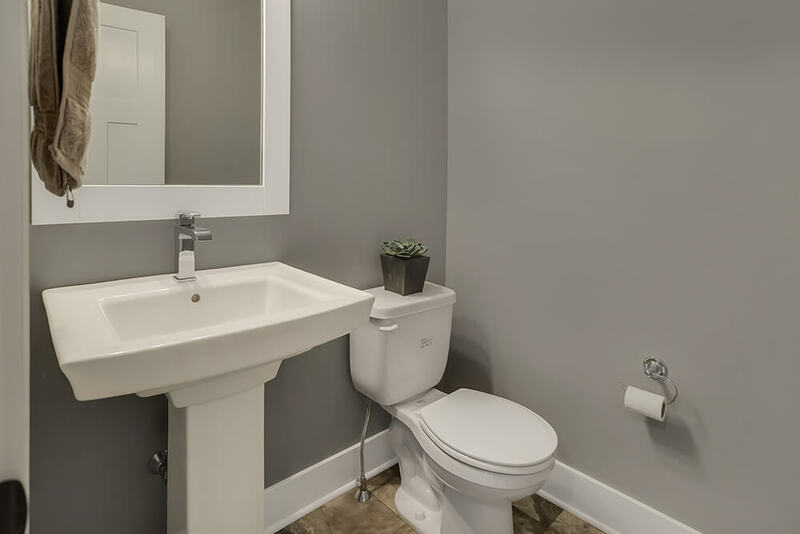 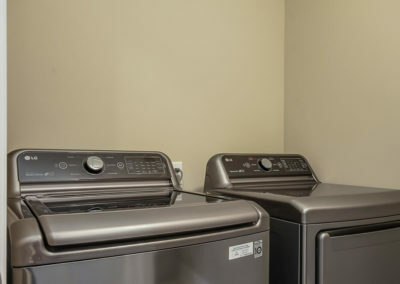 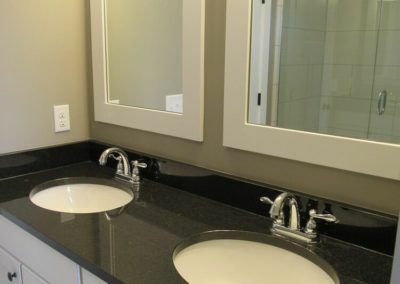 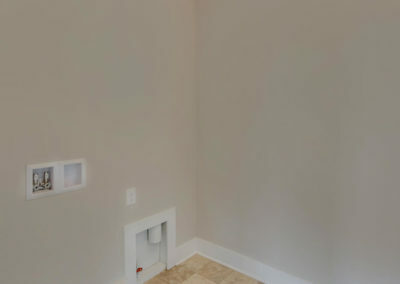 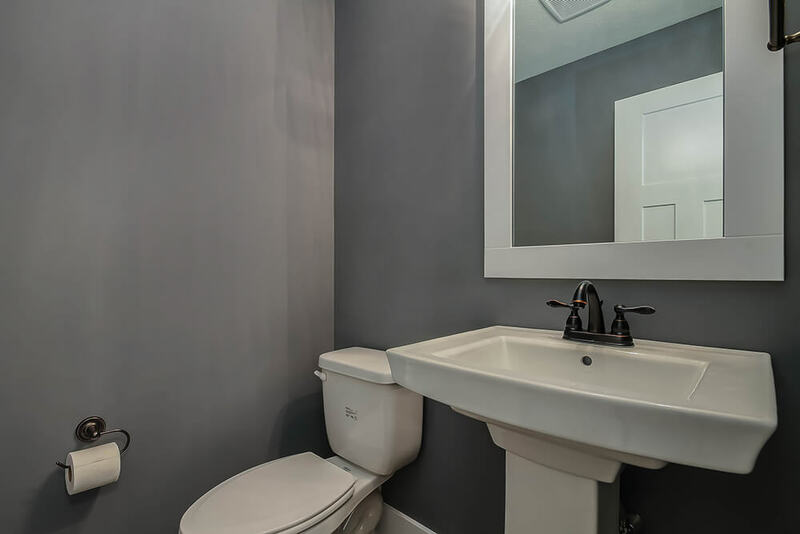 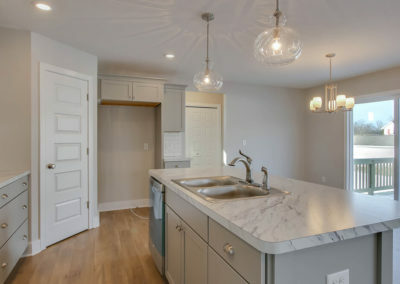 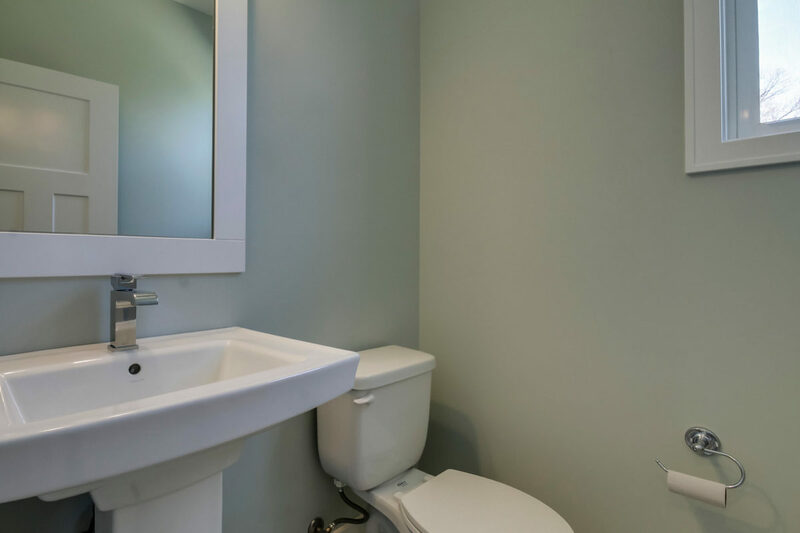 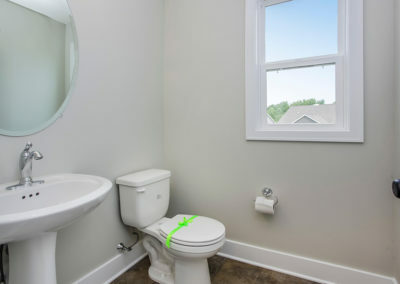 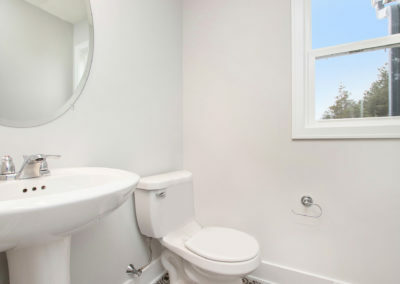 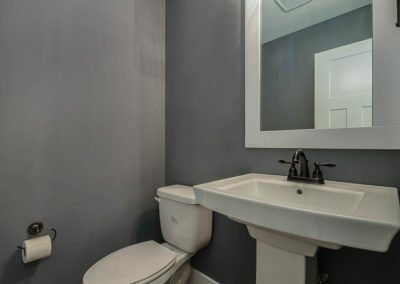 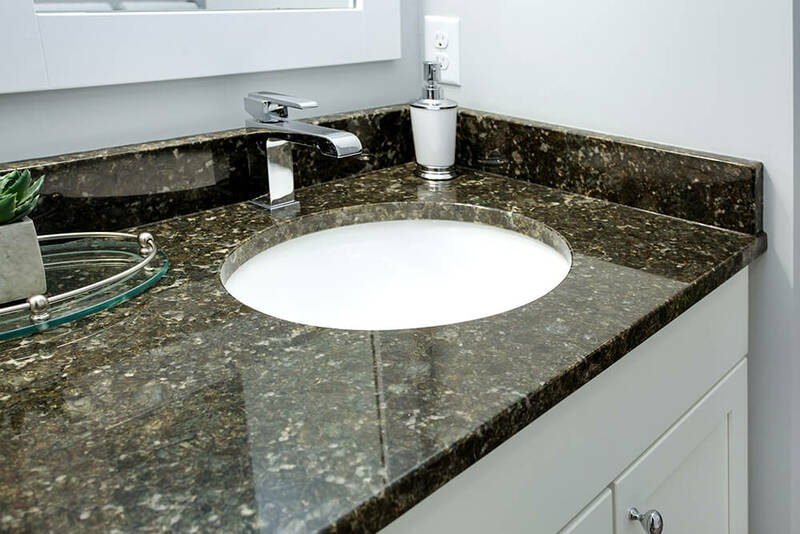 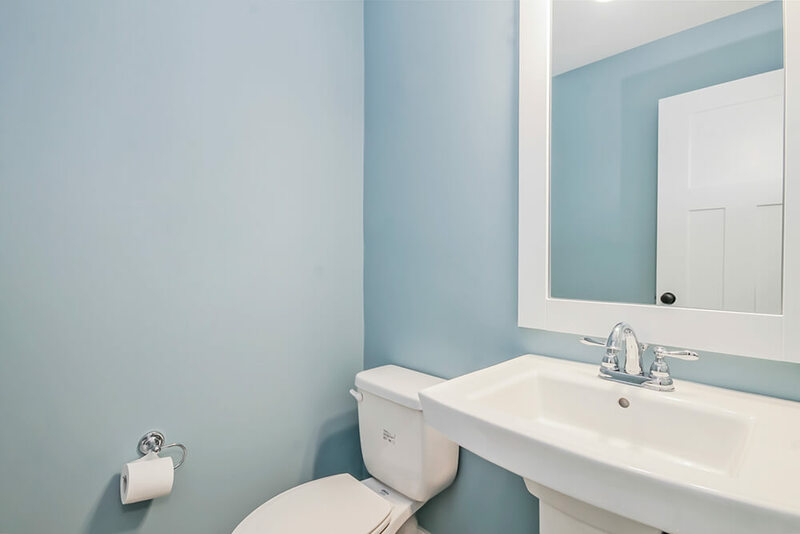 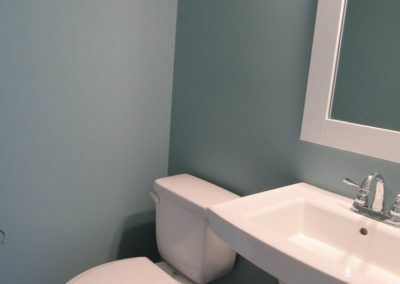 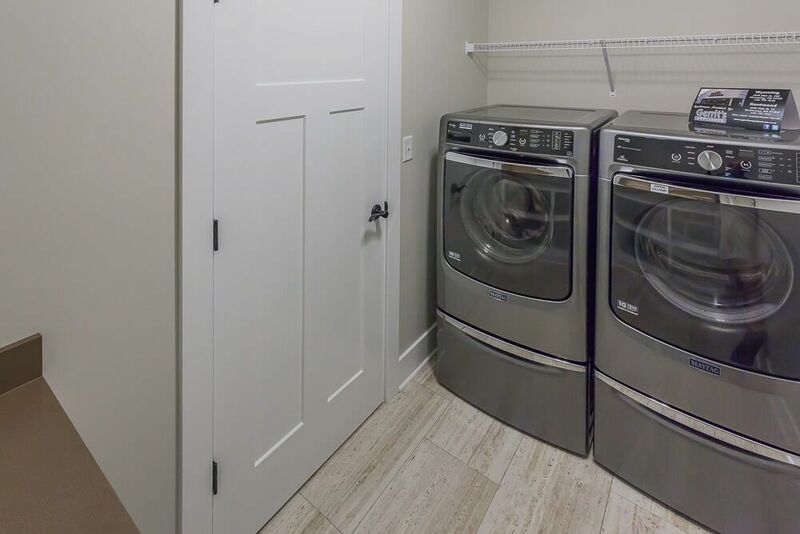 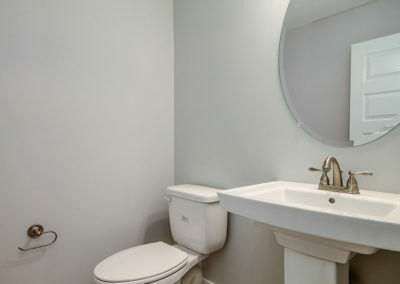 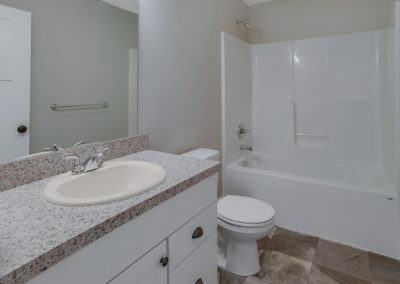 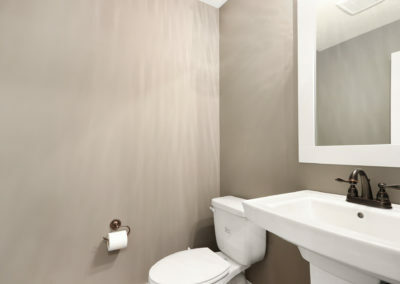 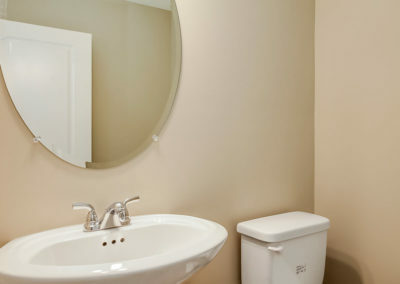 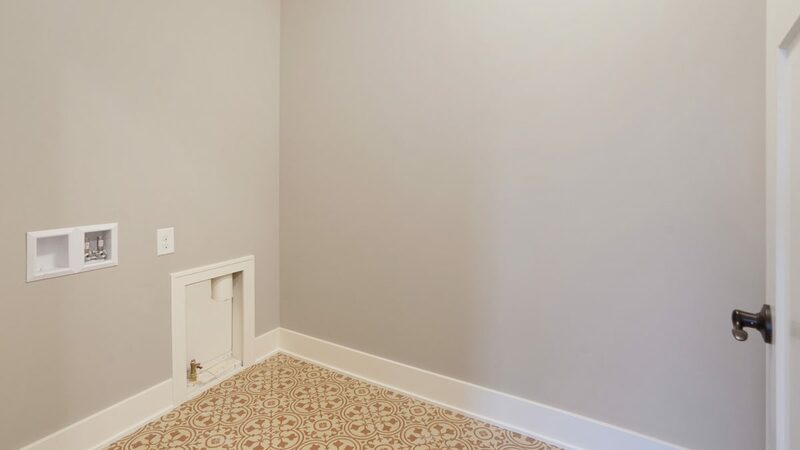 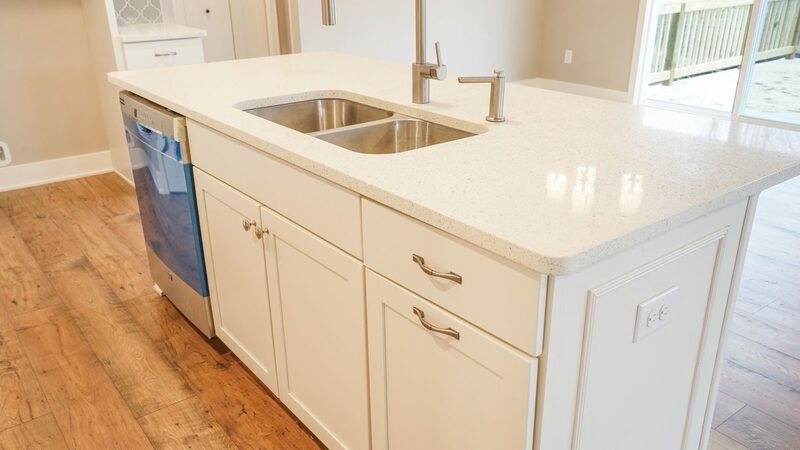 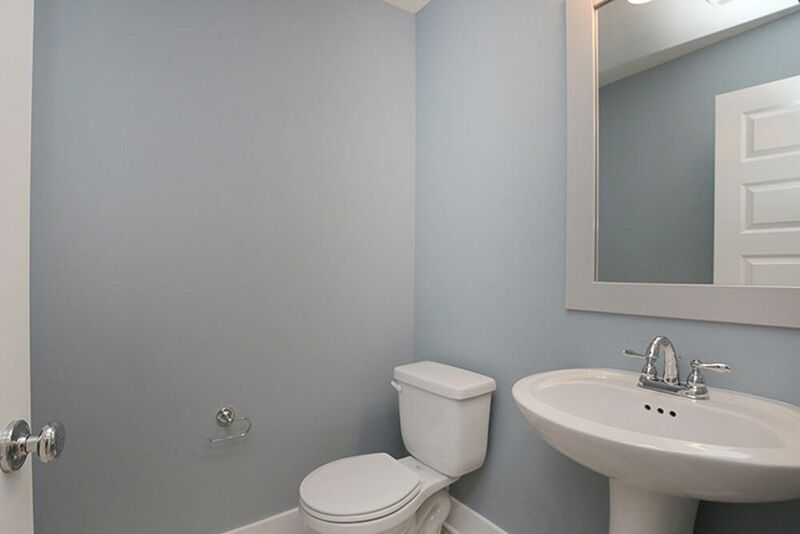 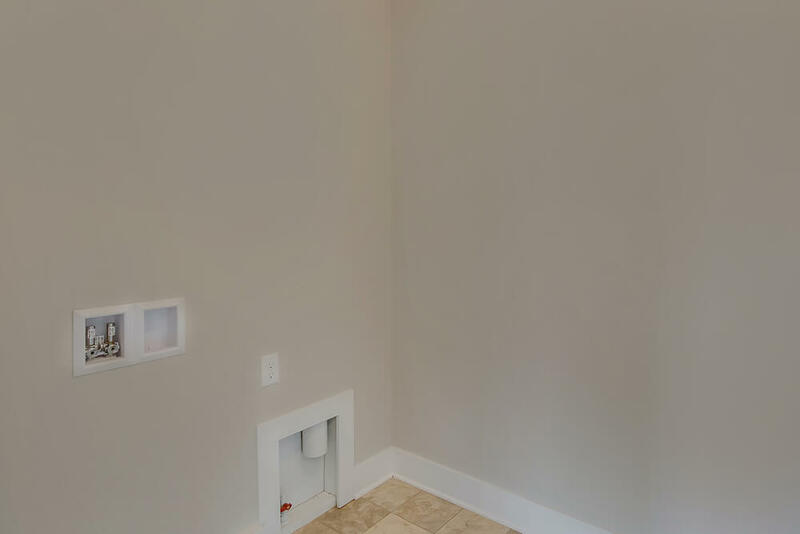 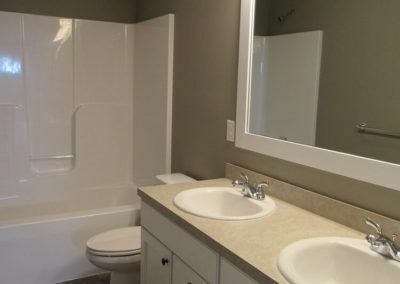 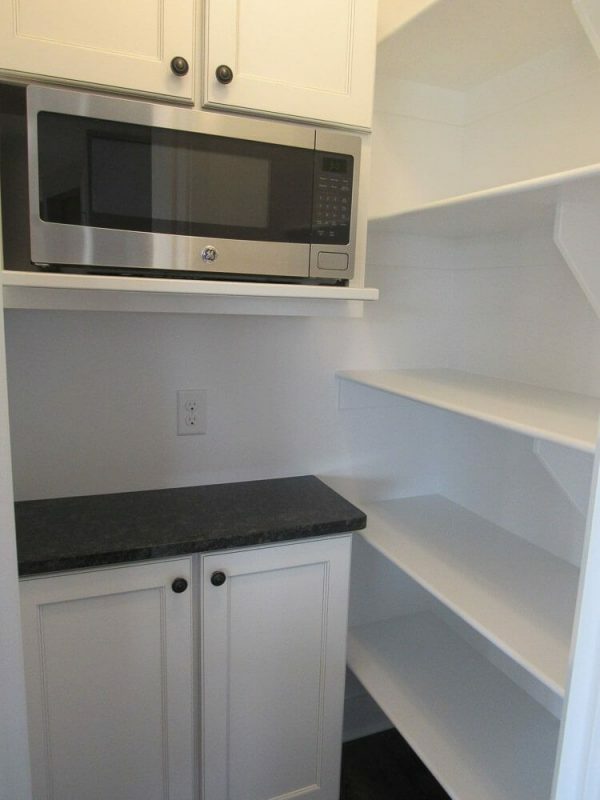 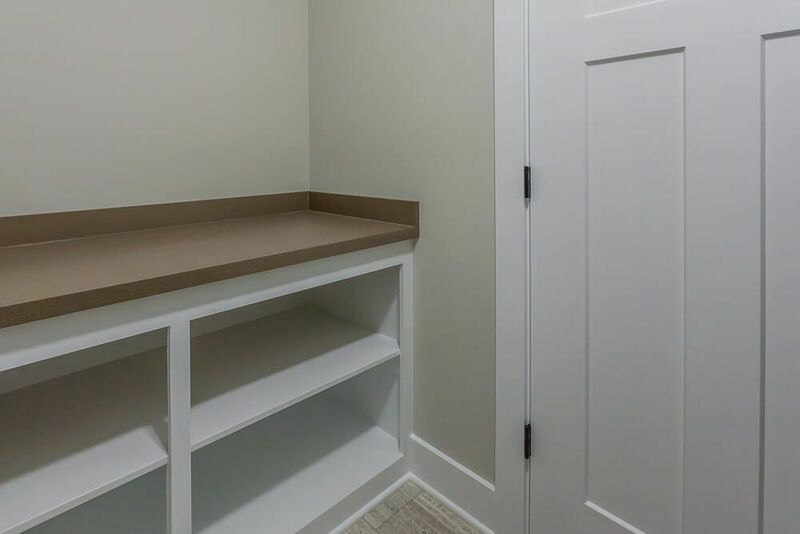 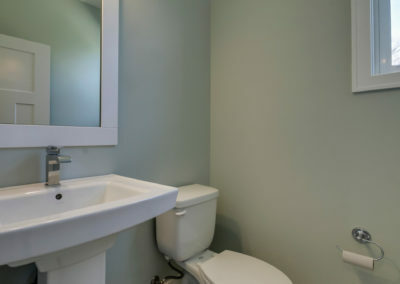 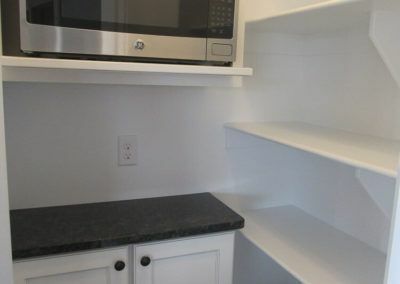 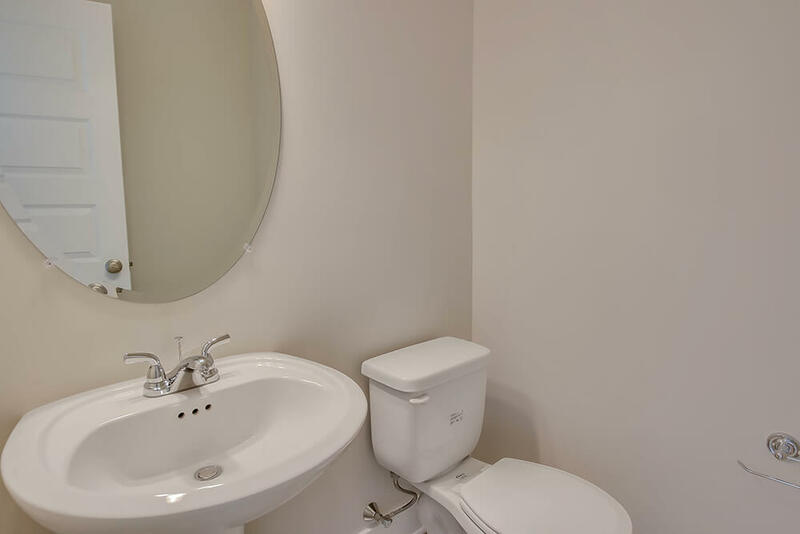 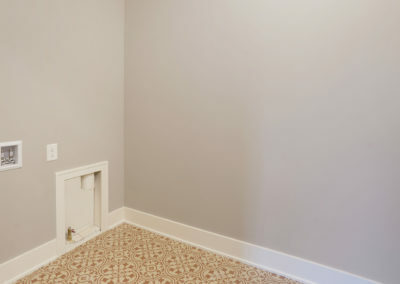 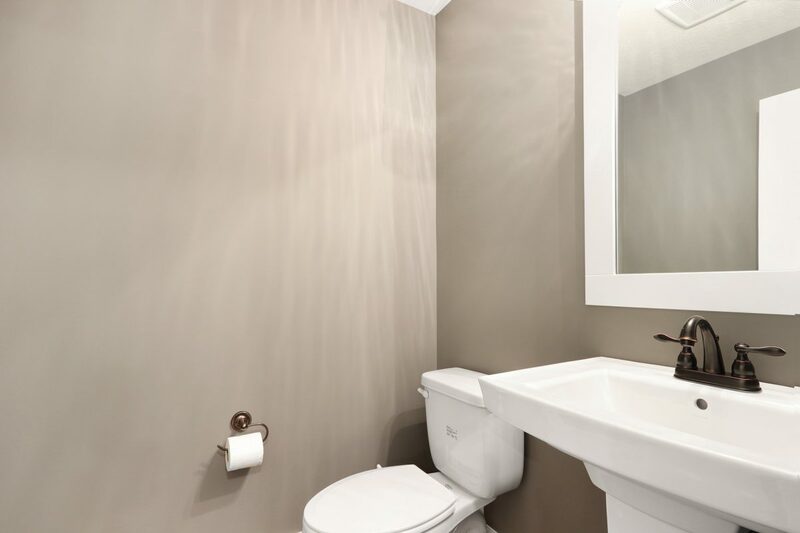 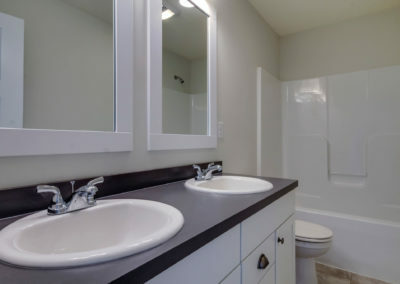 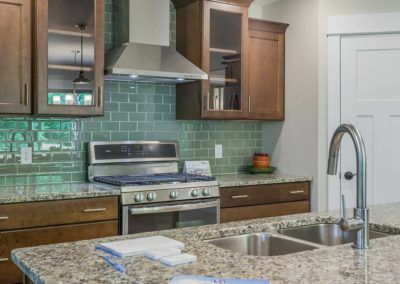 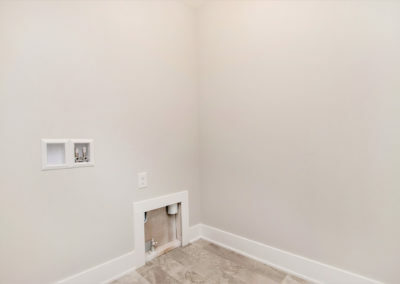 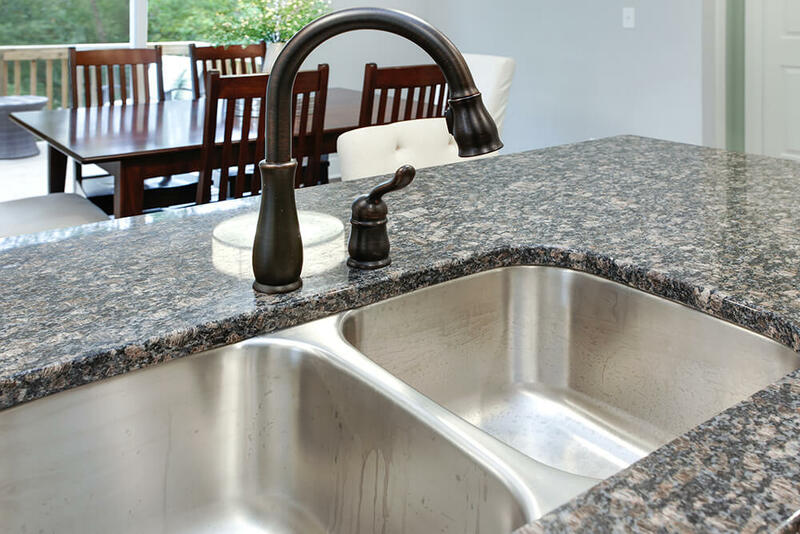 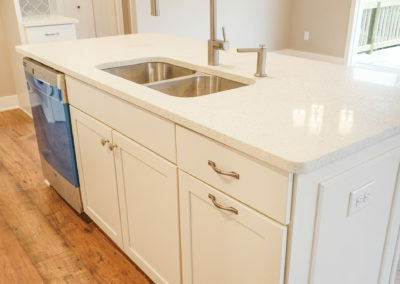 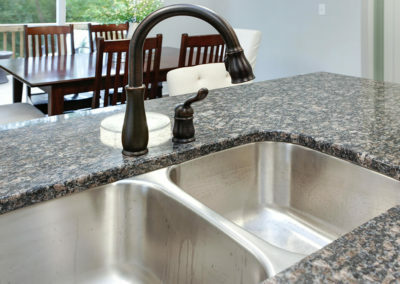 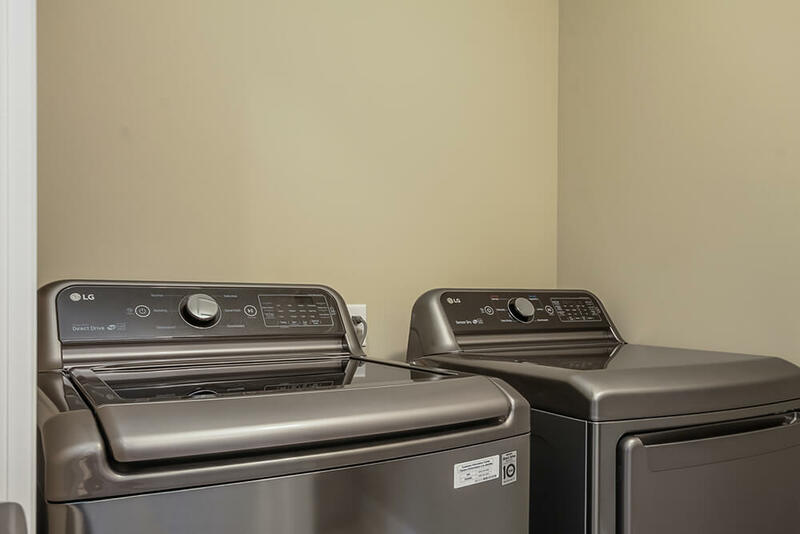 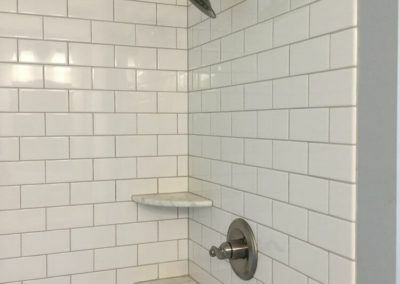 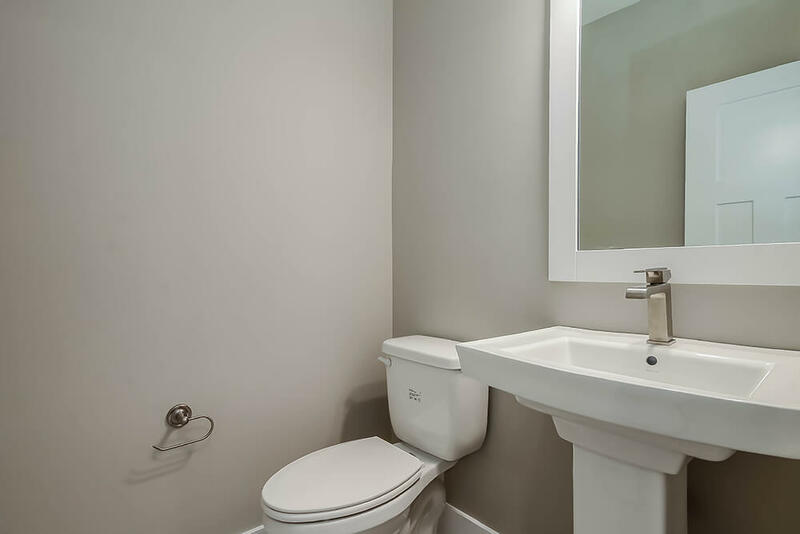 The conveniently located upper level laundry can have a laundry sink or counters. 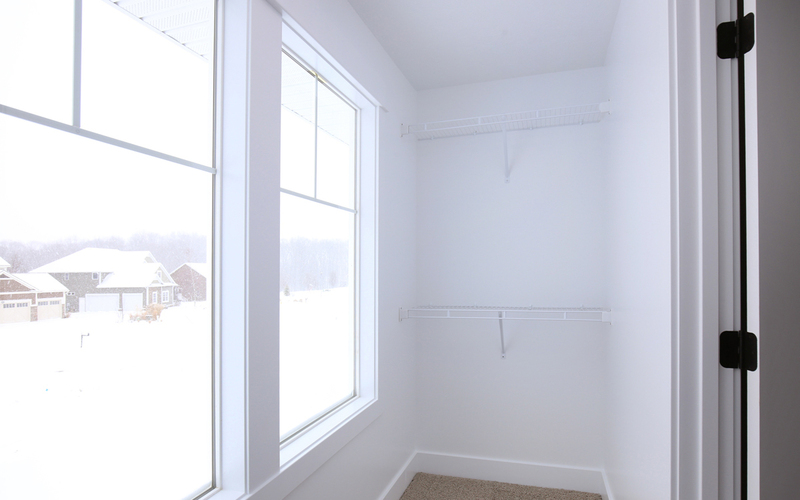 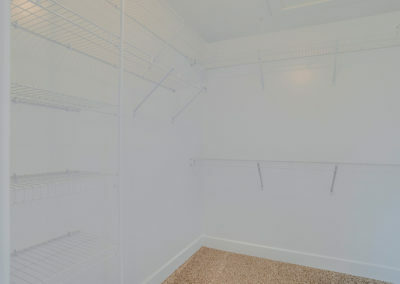 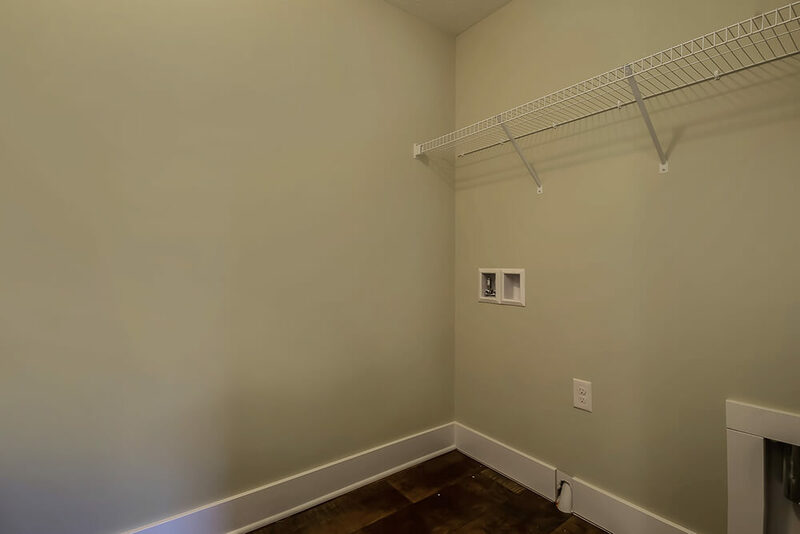 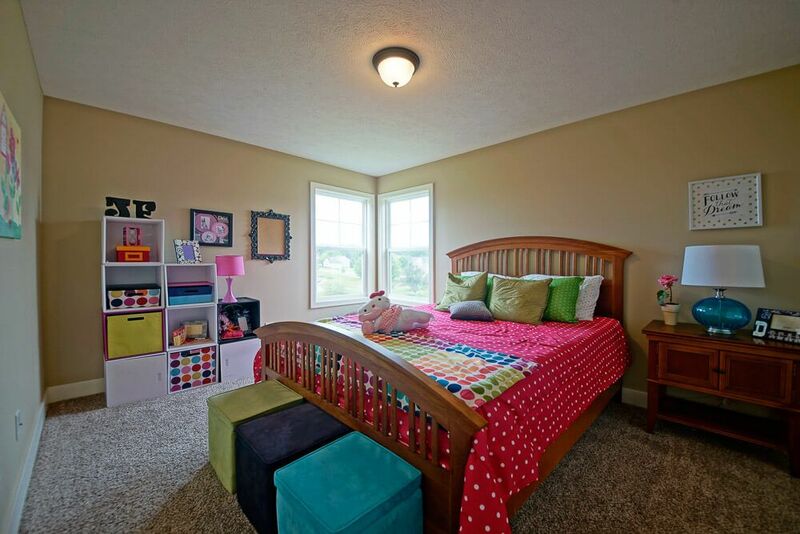 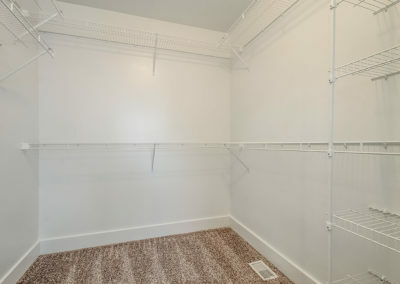 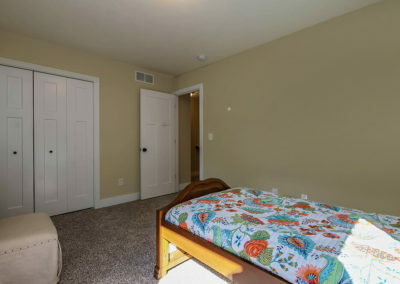 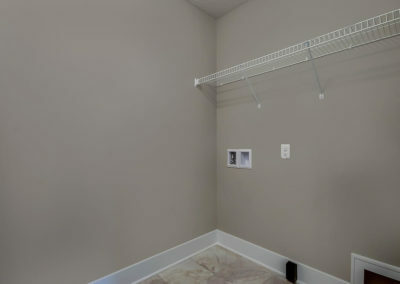 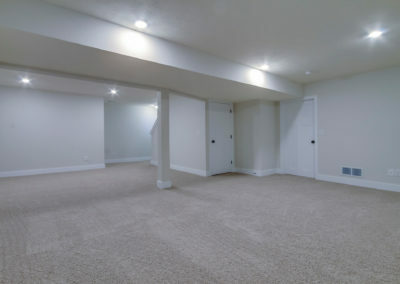 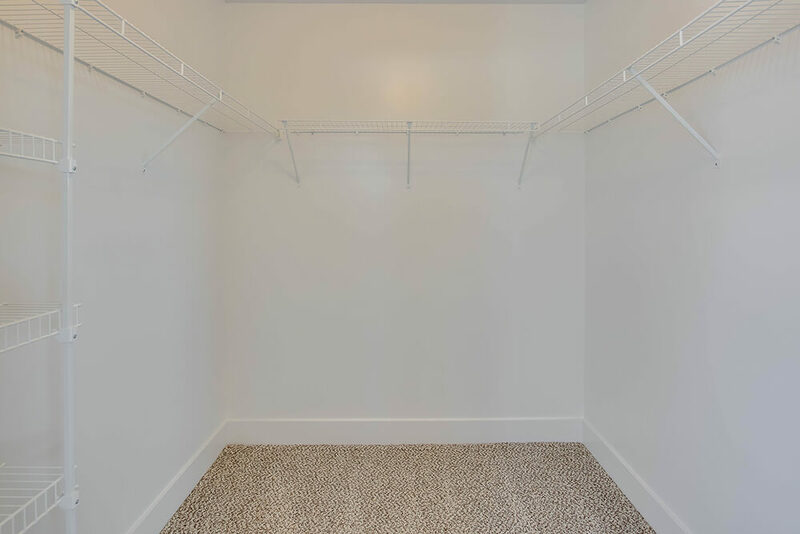 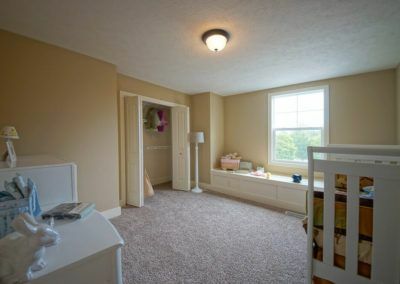 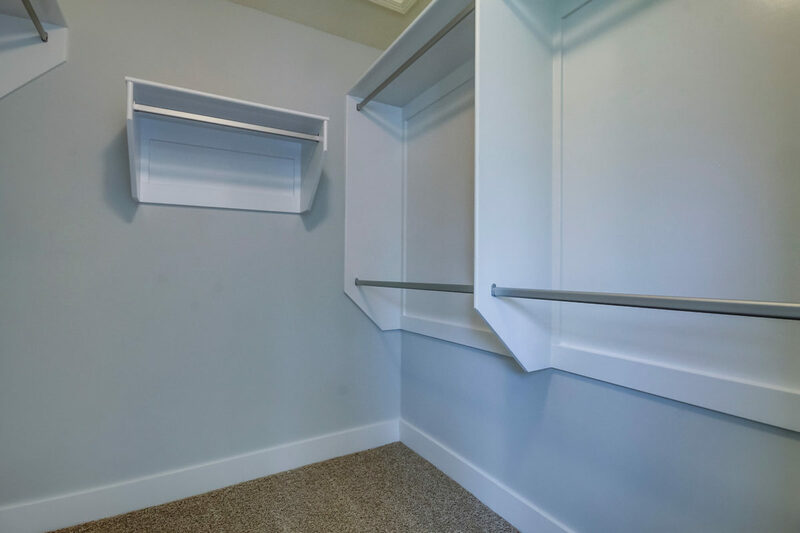 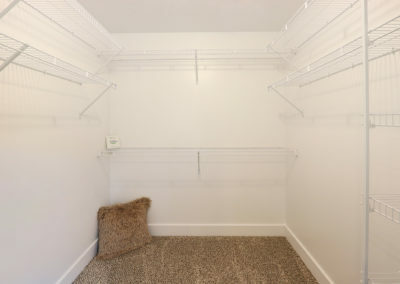 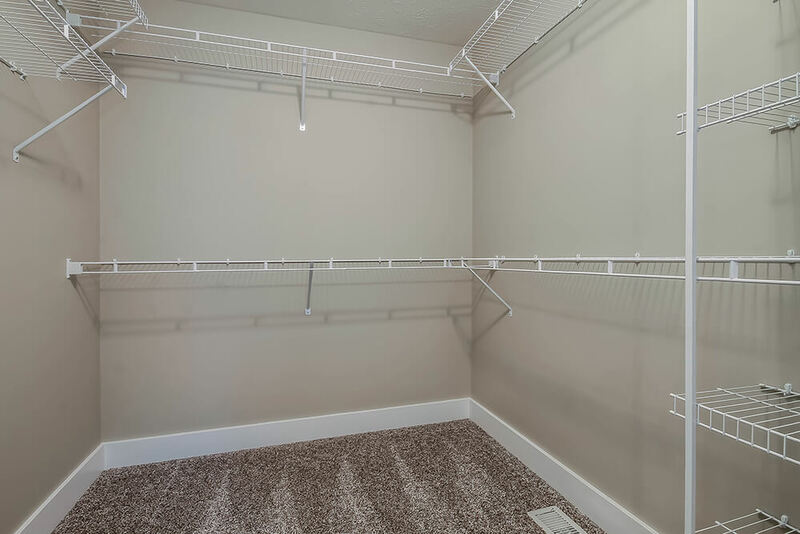 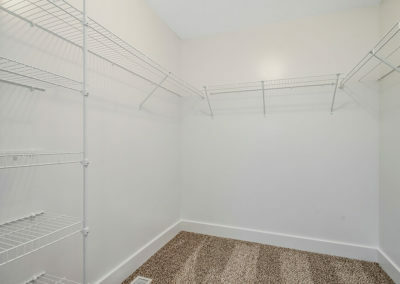 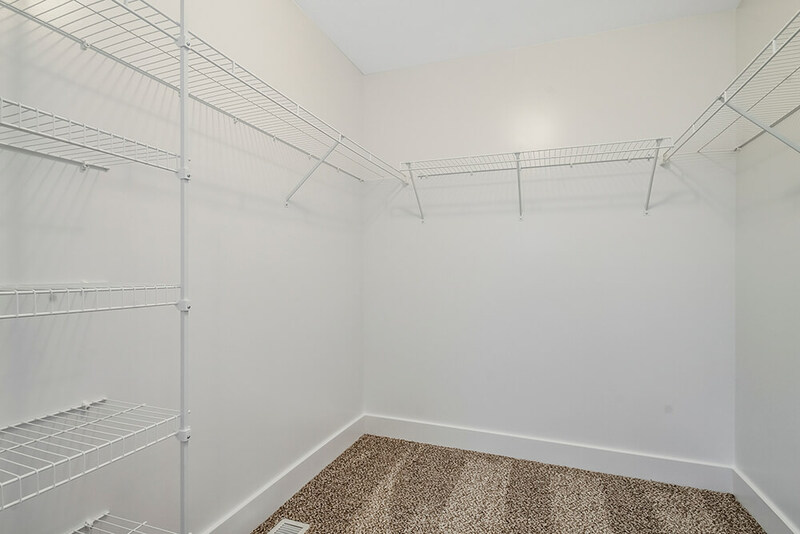 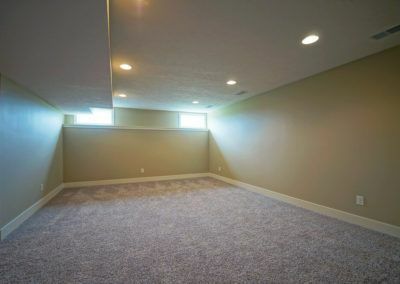 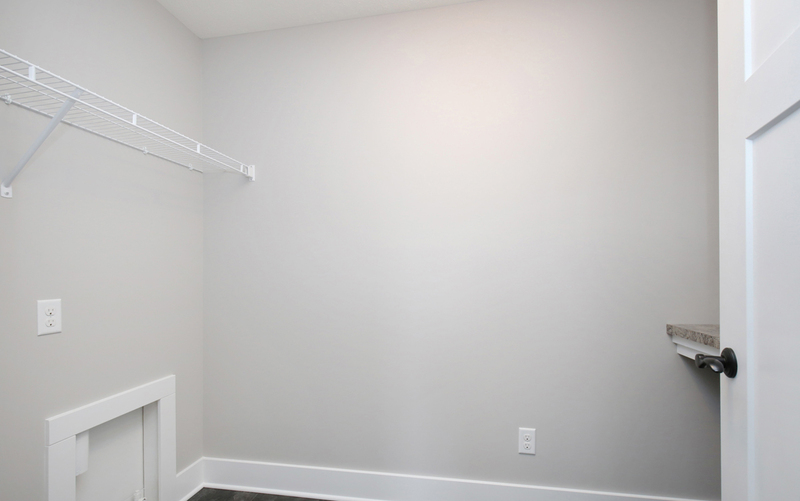 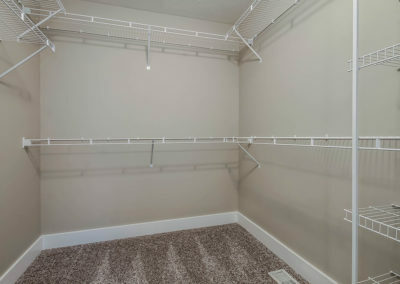 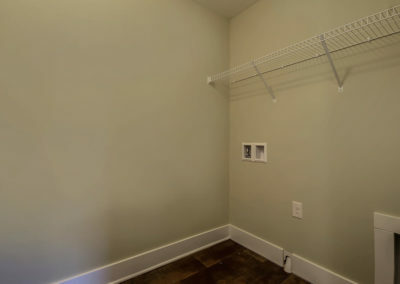 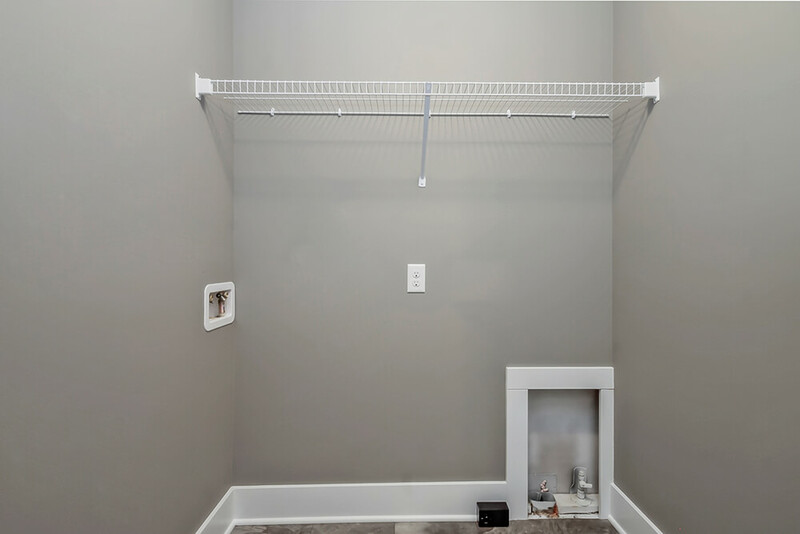 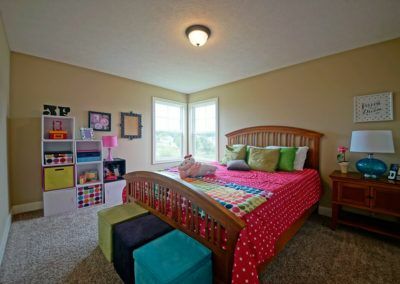 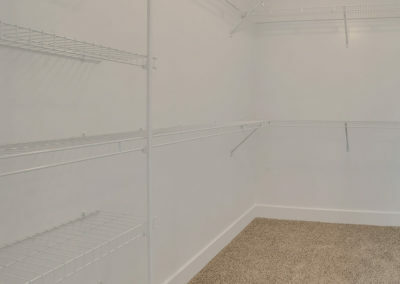 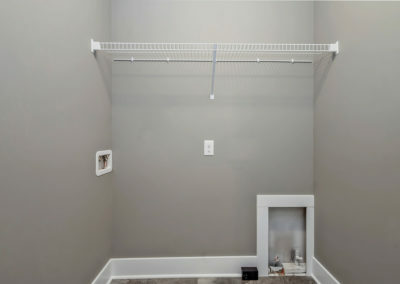 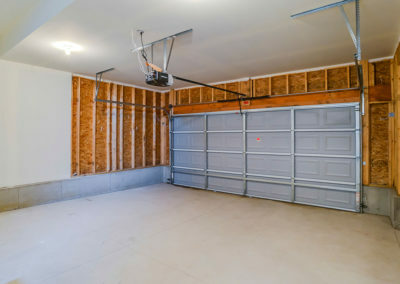 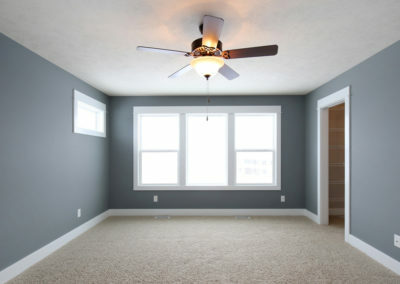 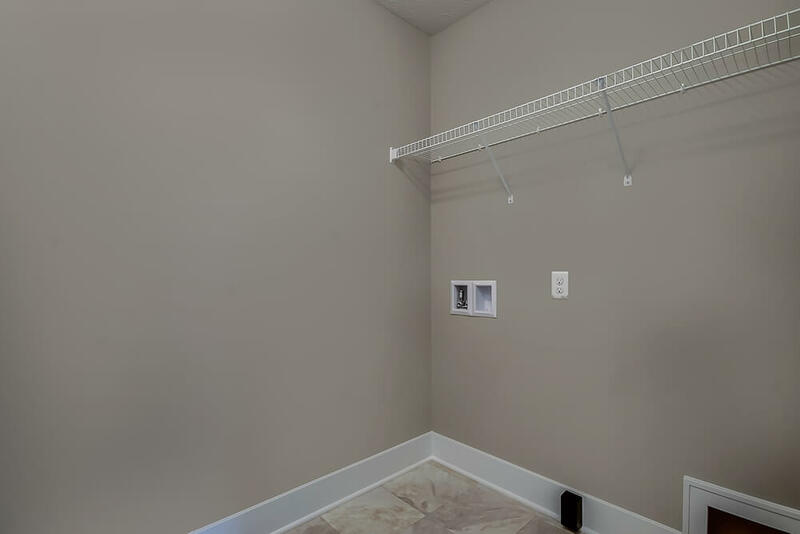 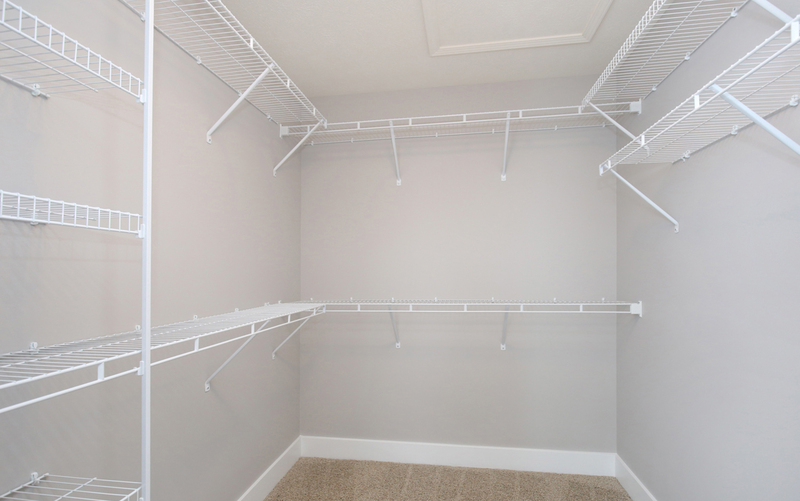 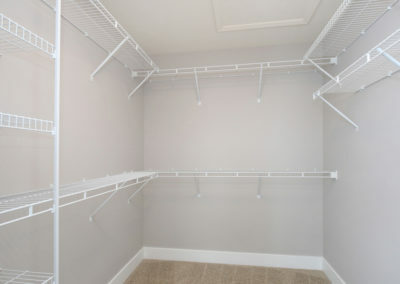 The upper level also includes three additional bedrooms, each with their one closet space. 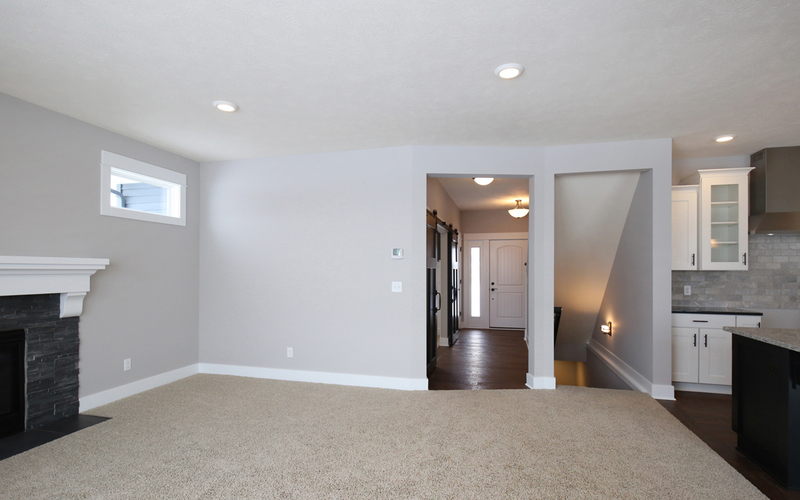 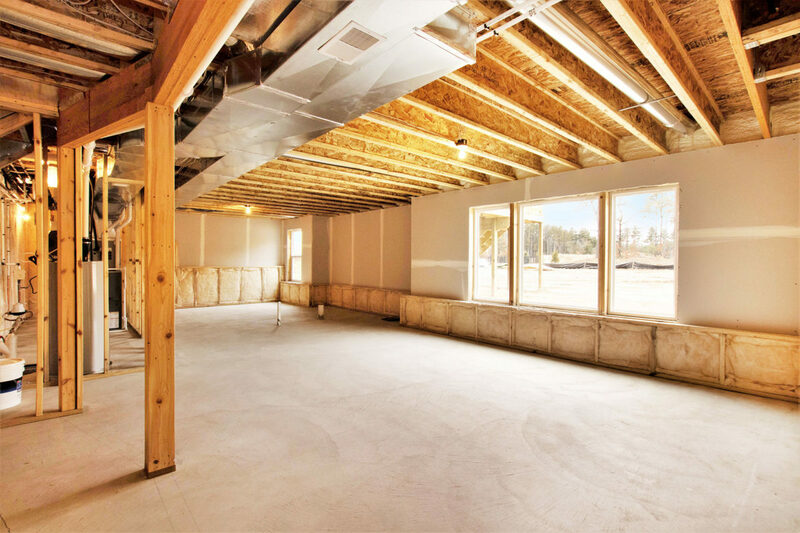 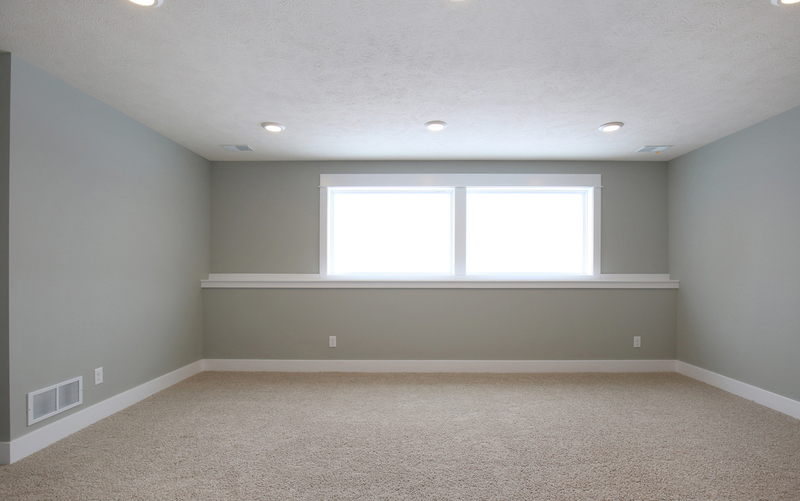 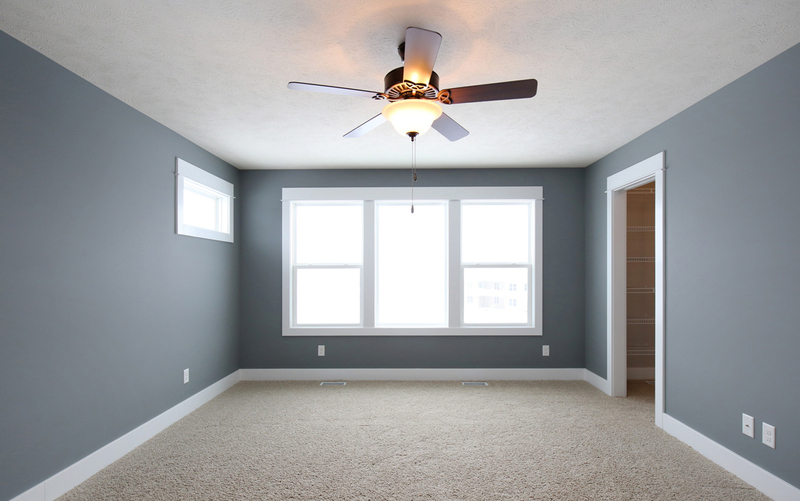 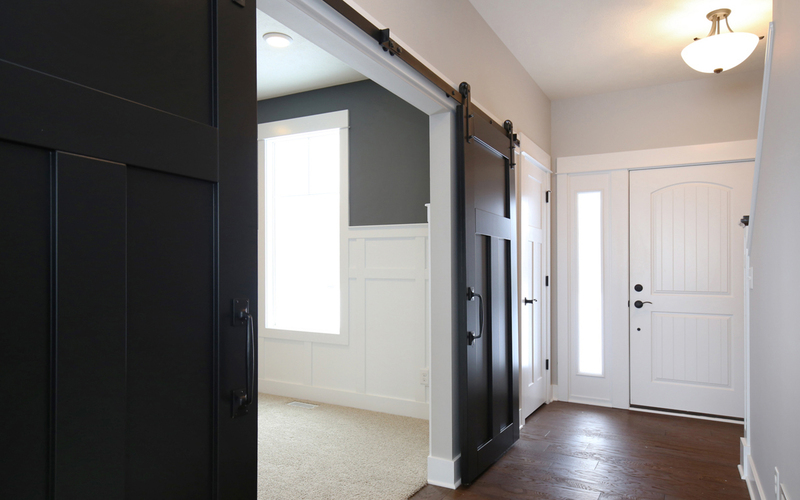 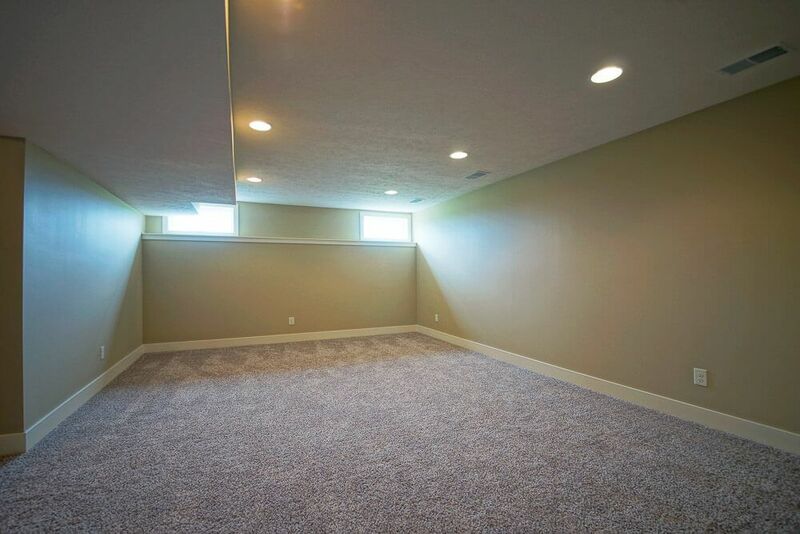 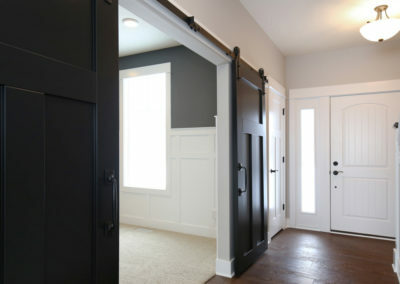 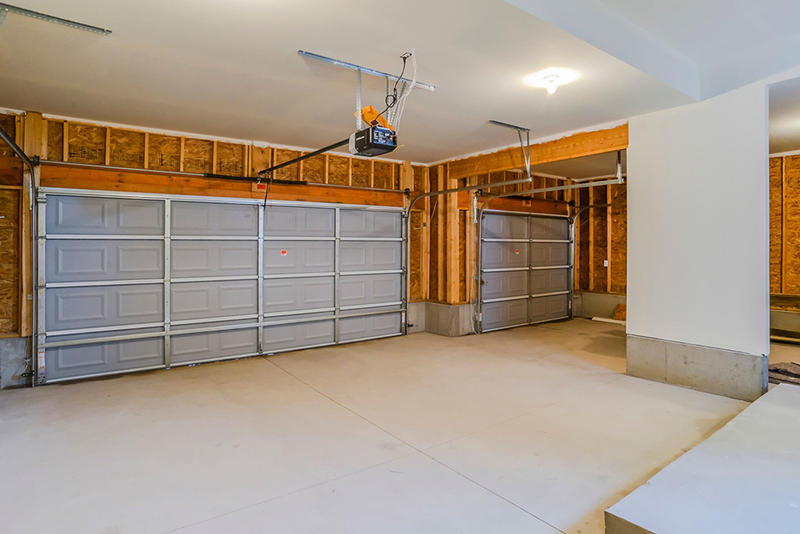 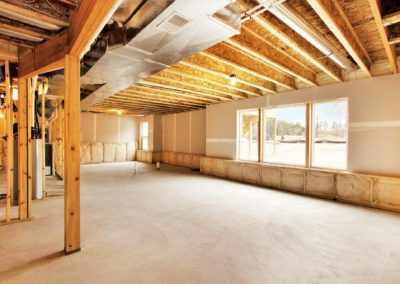 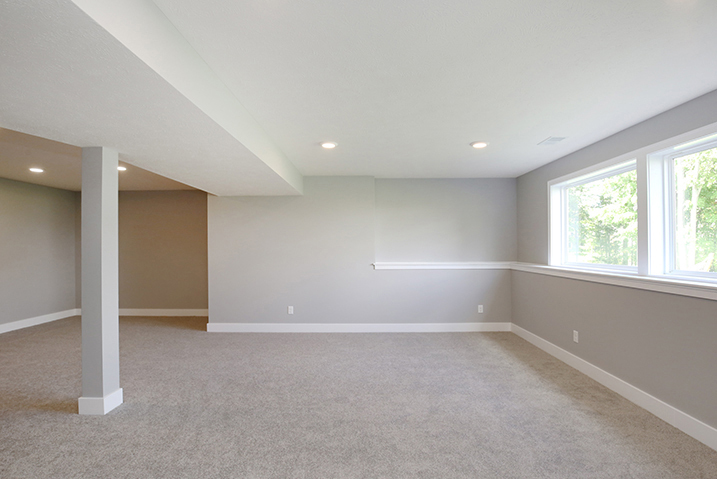 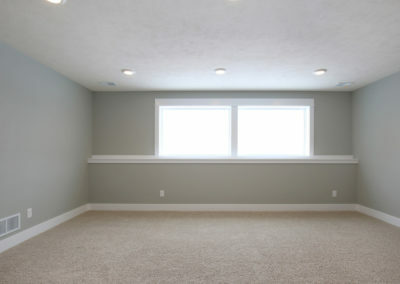 If four bedrooms is more than you need, one of them can be turned into a open, flexible loft space. 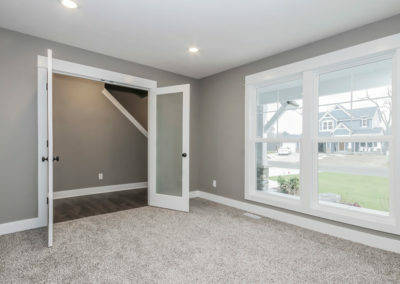 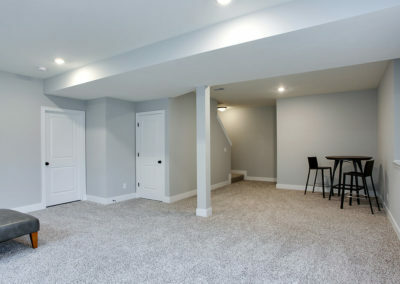 The Stockton plan also includes a lower level, which can be reached via the stairs from the family room. 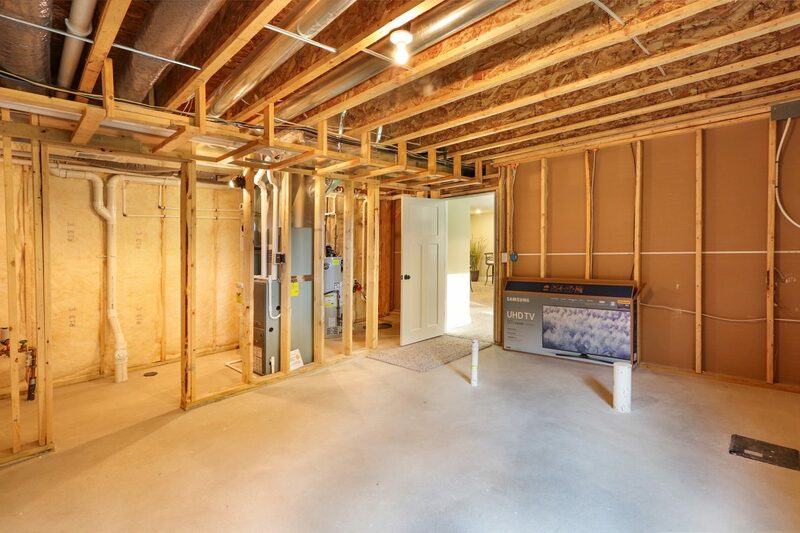 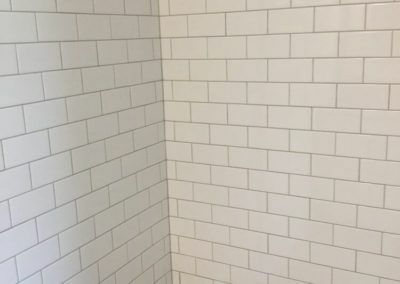 The lower level can be finished out or left to be finished at a later date depending on your needs. 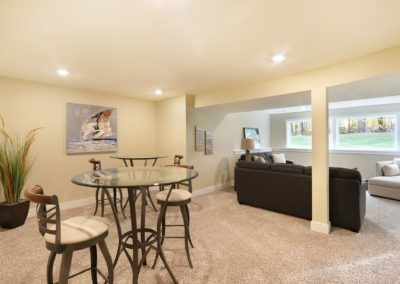 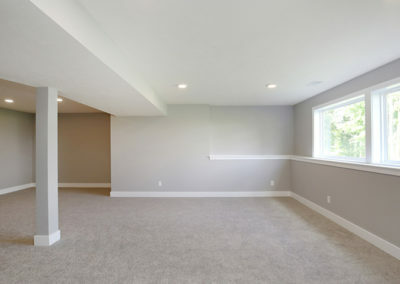 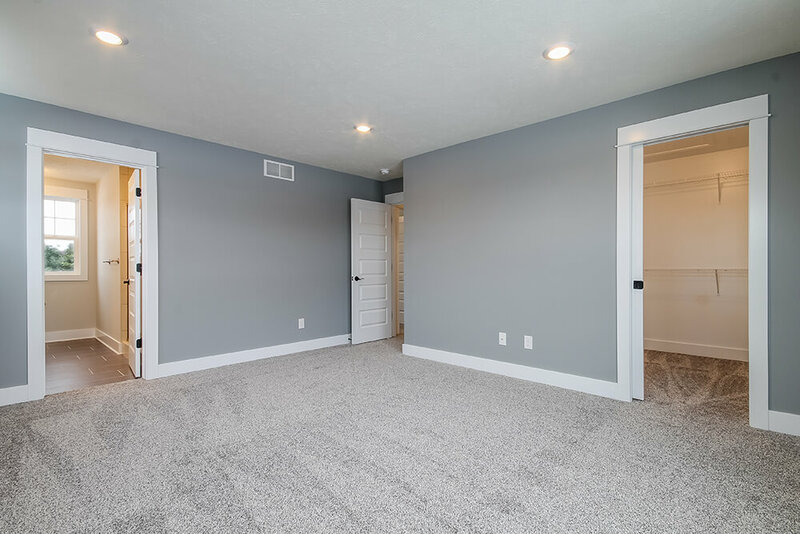 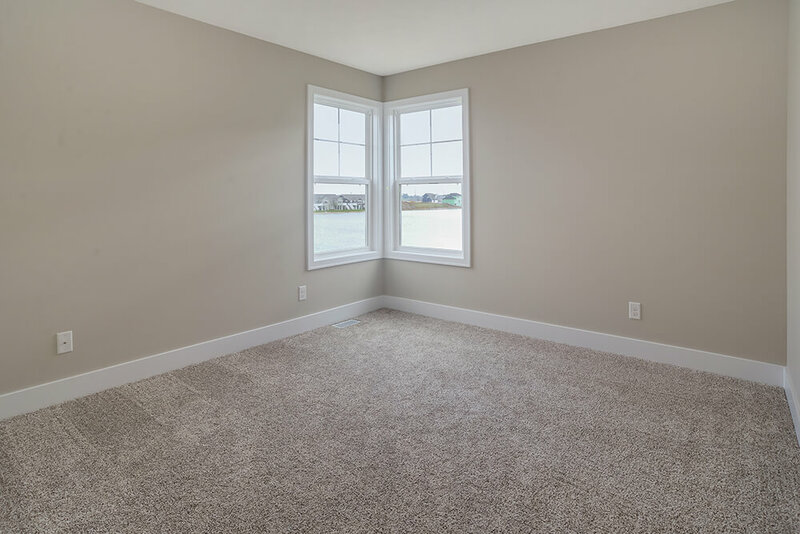 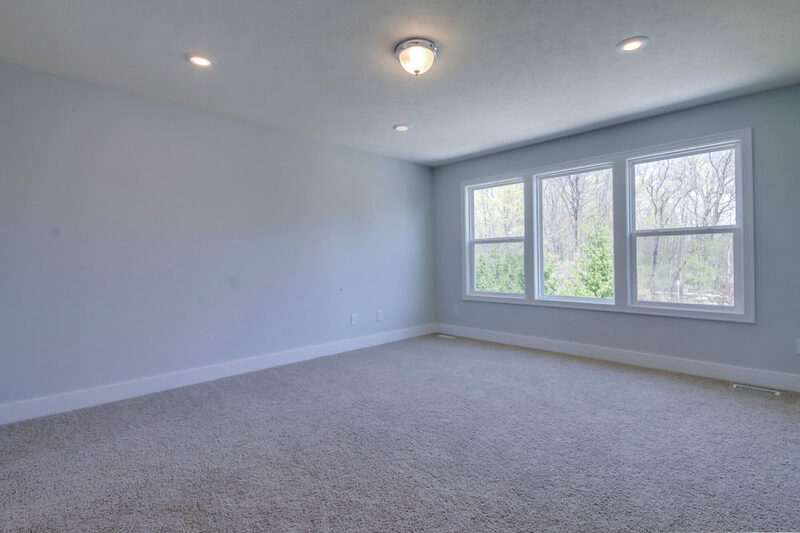 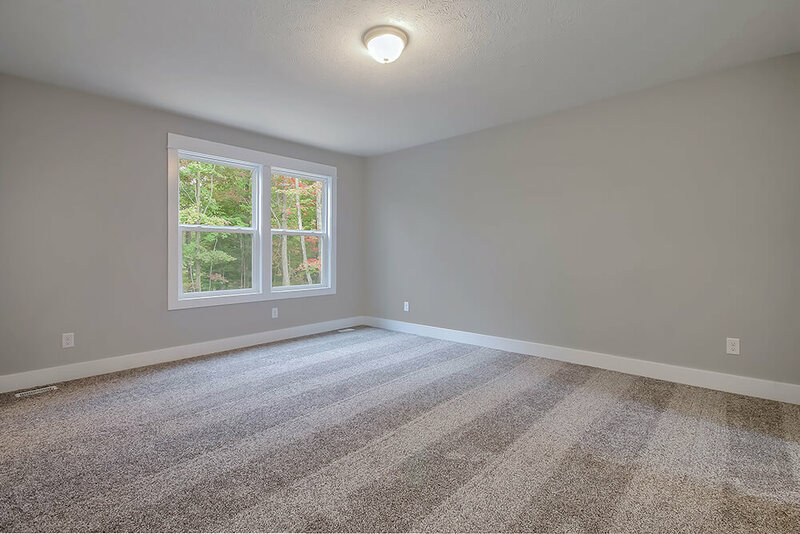 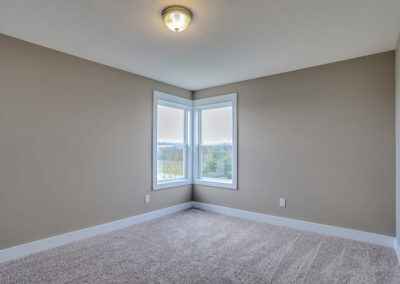 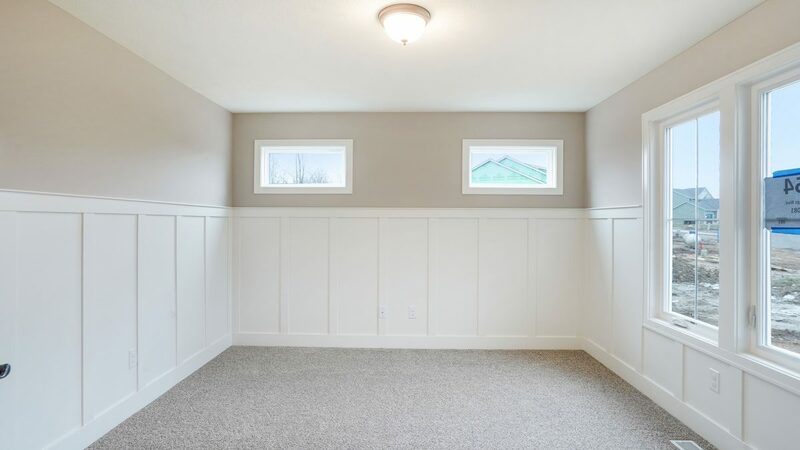 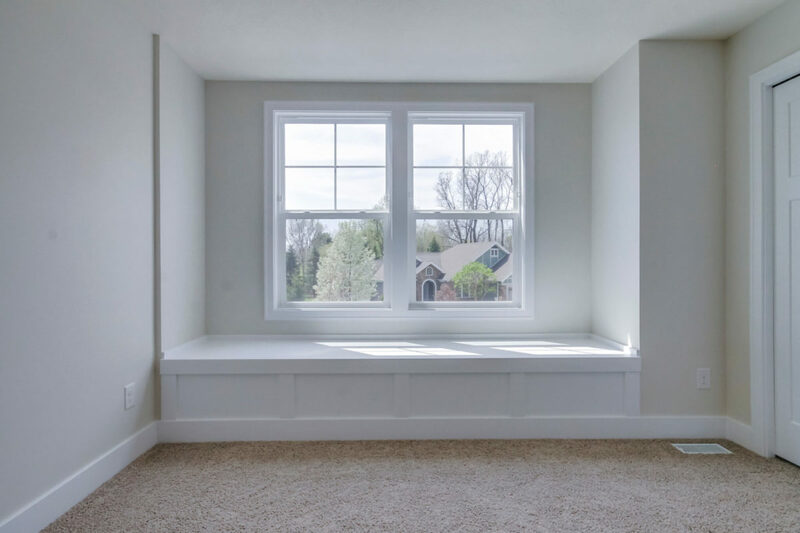 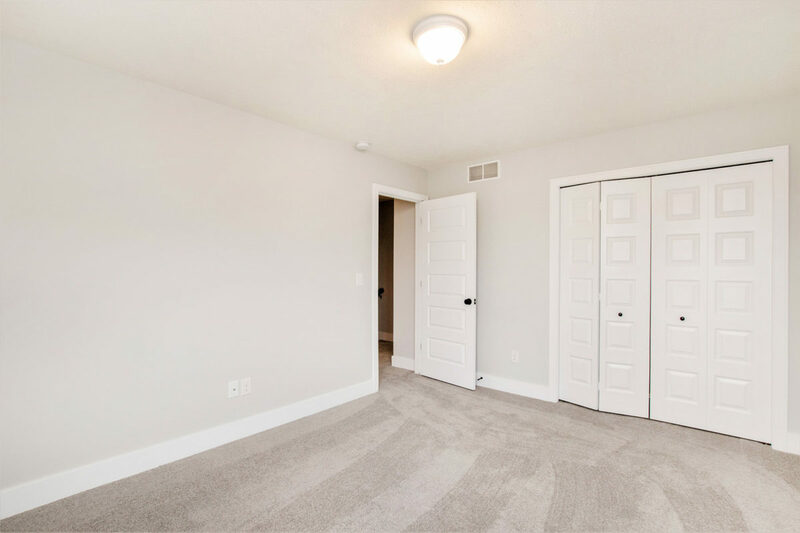 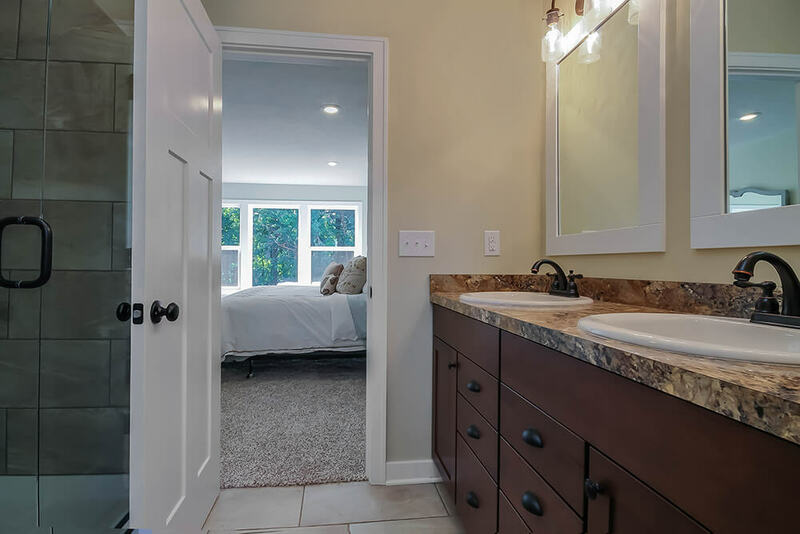 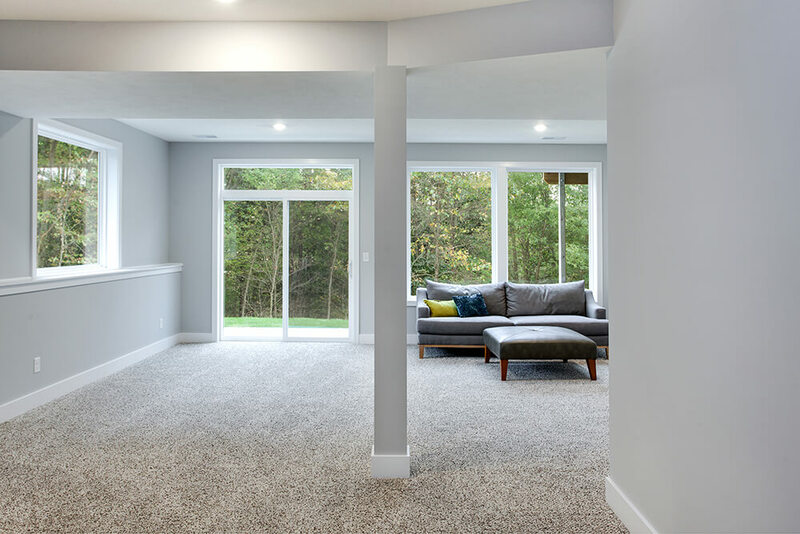 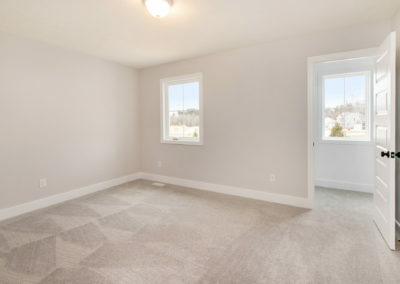 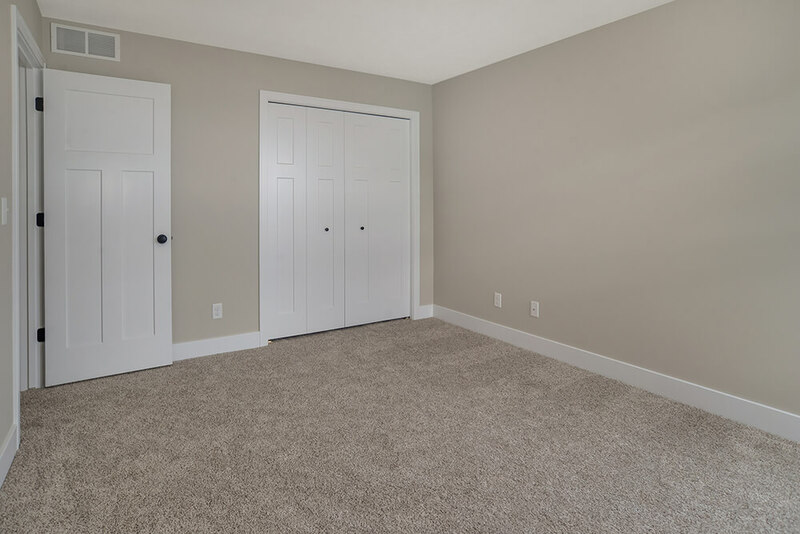 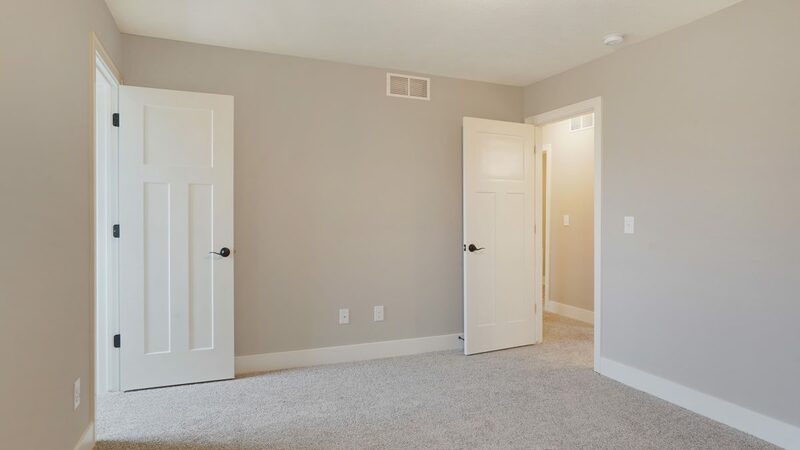 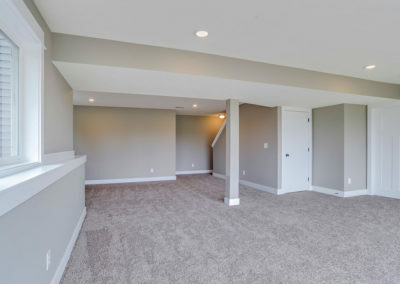 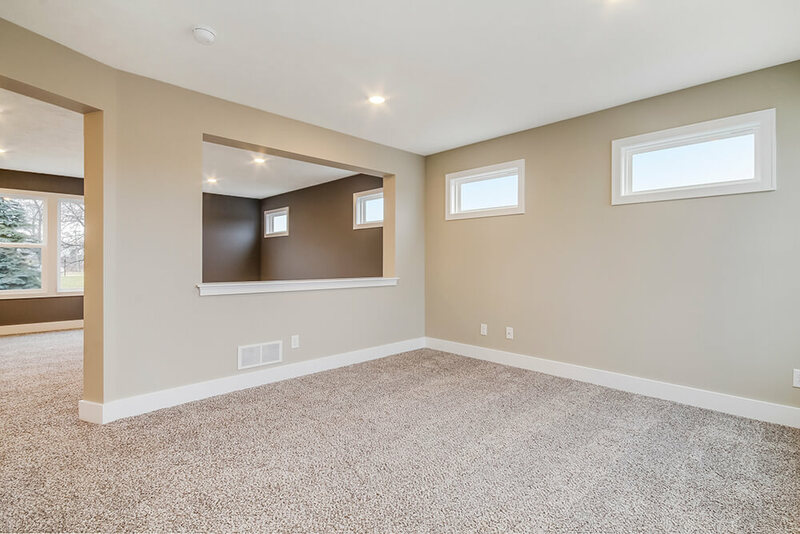 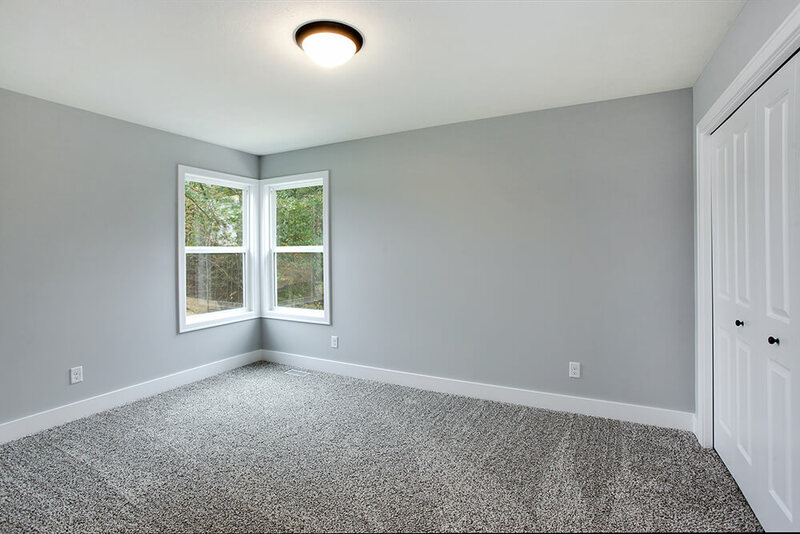 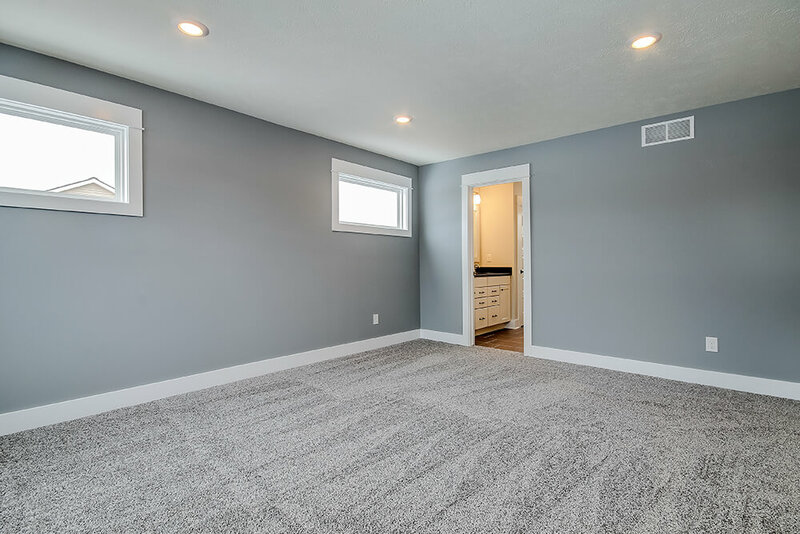 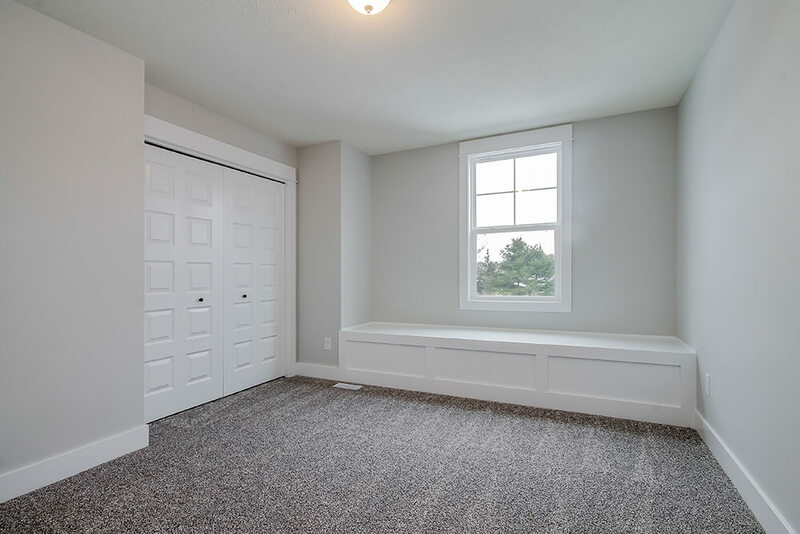 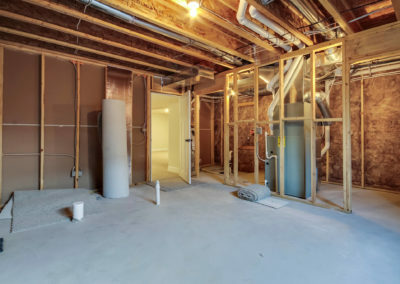 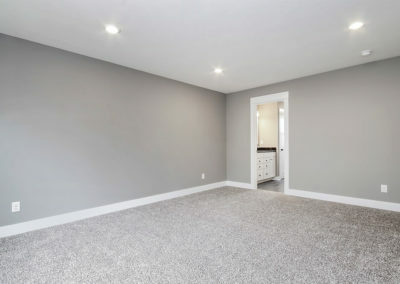 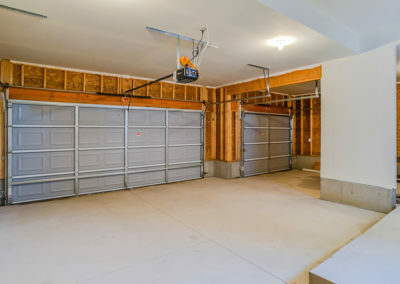 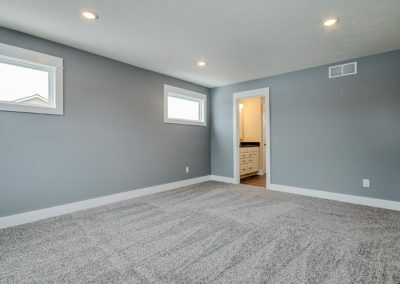 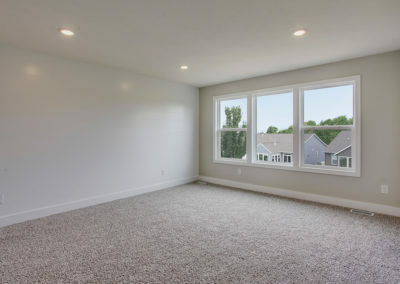 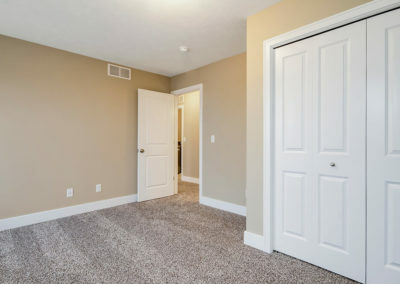 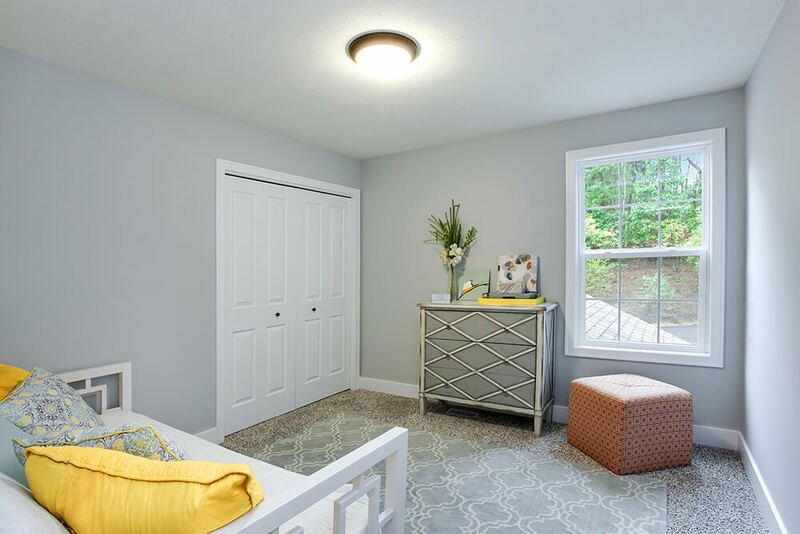 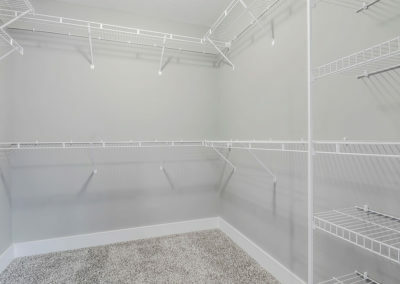 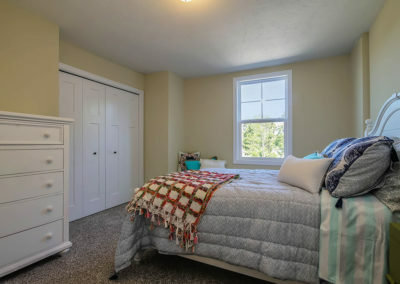 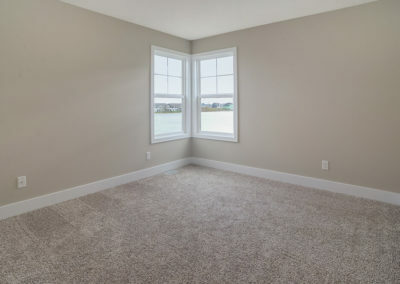 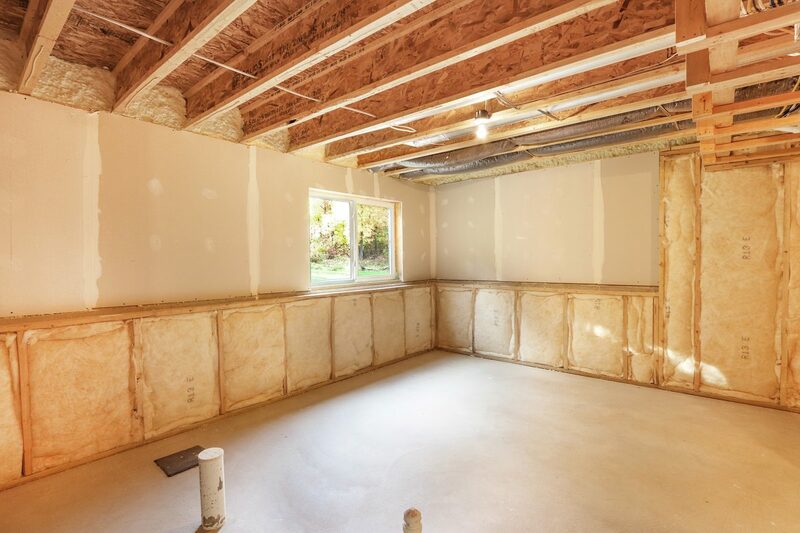 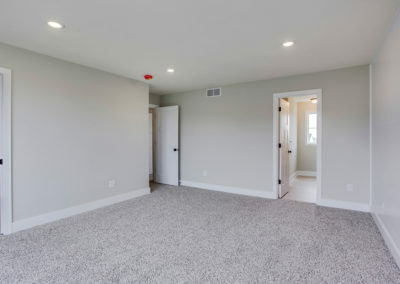 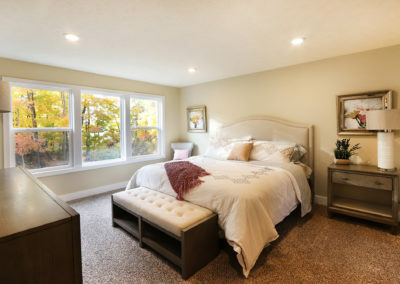 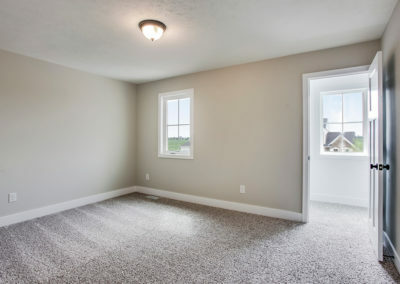 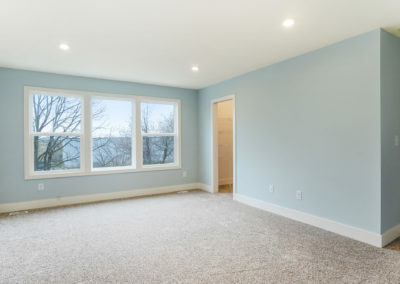 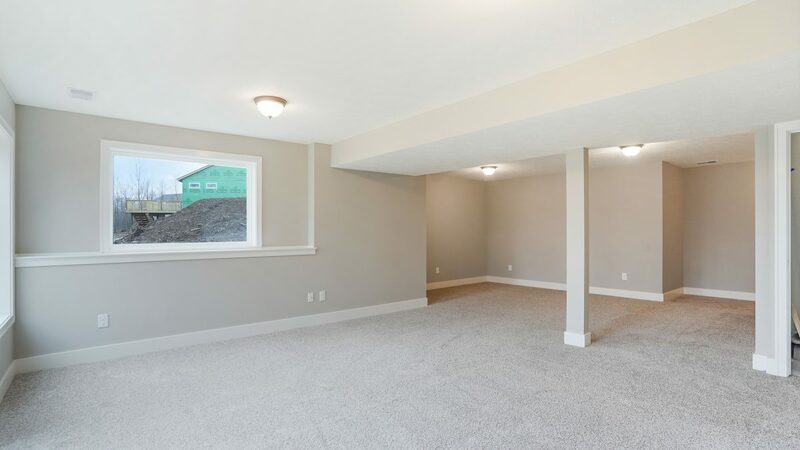 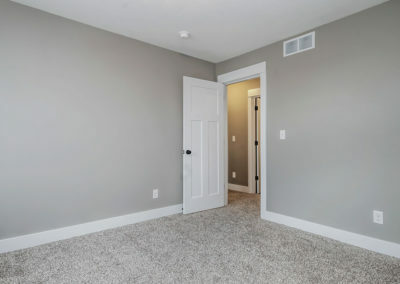 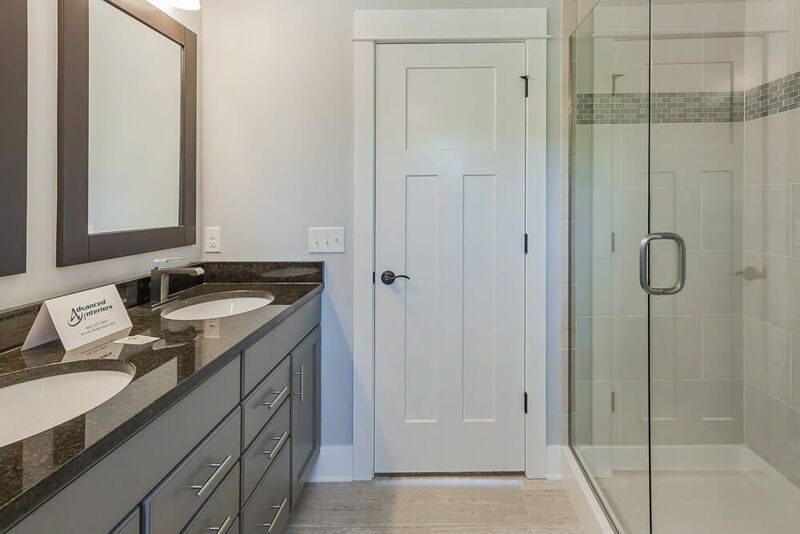 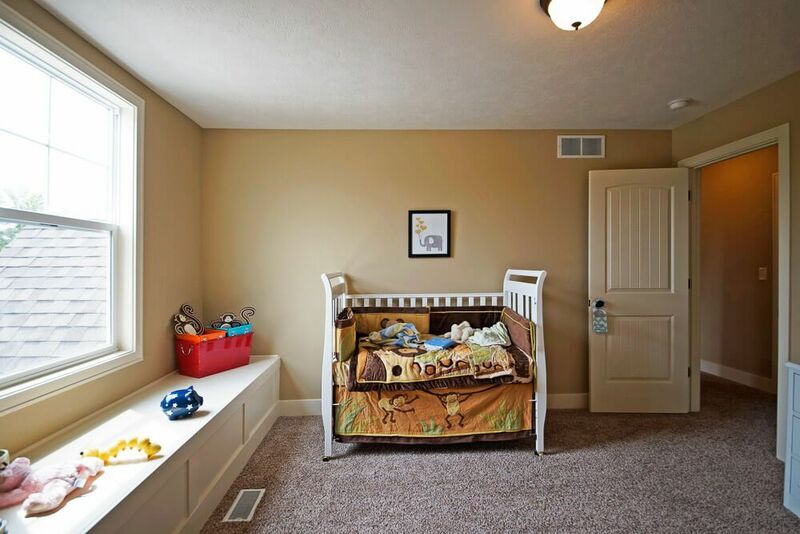 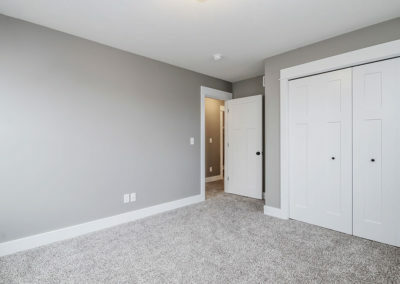 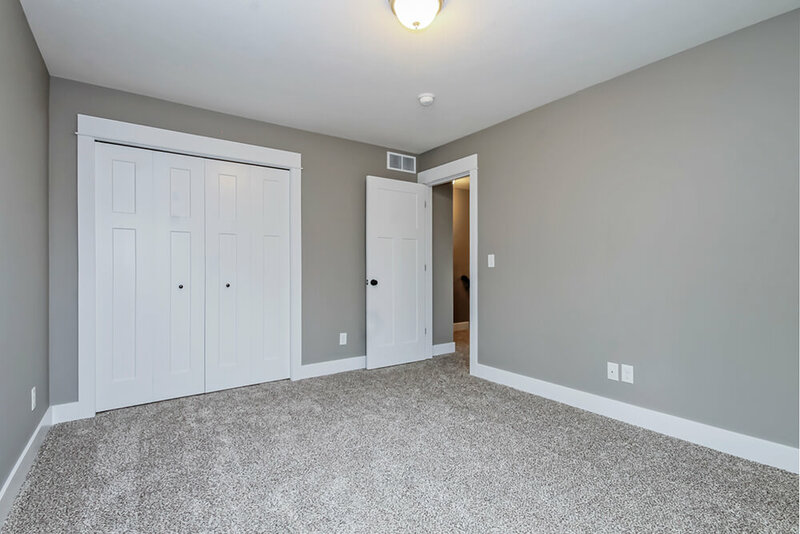 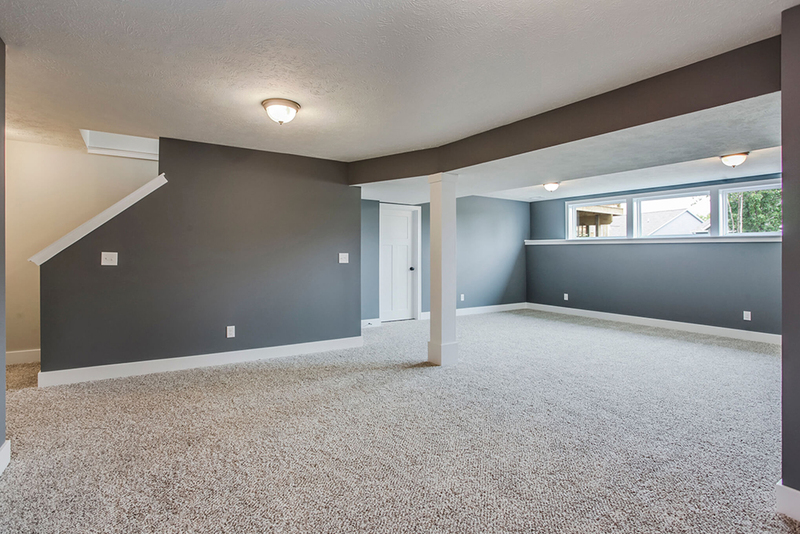 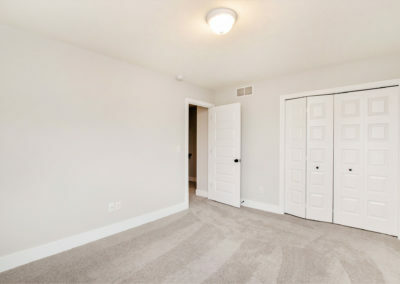 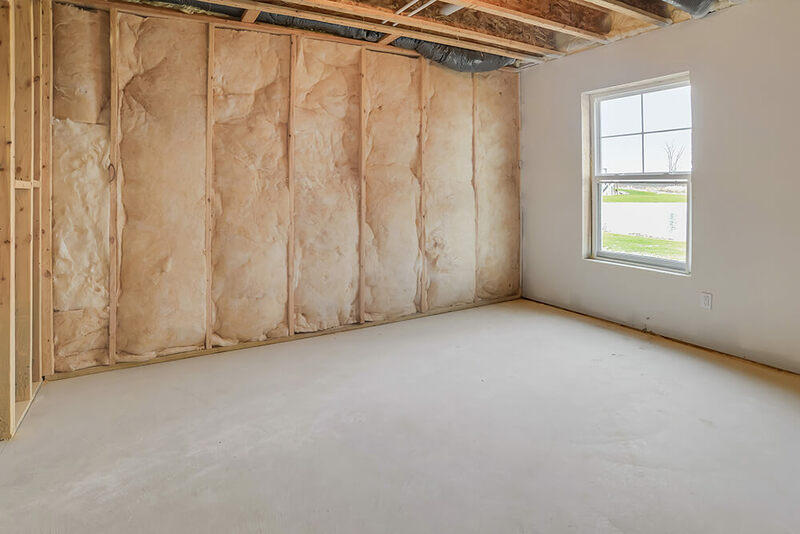 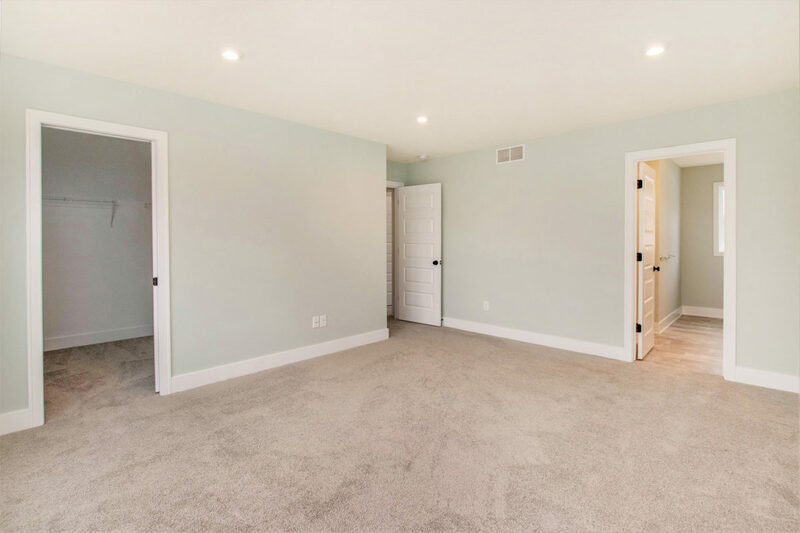 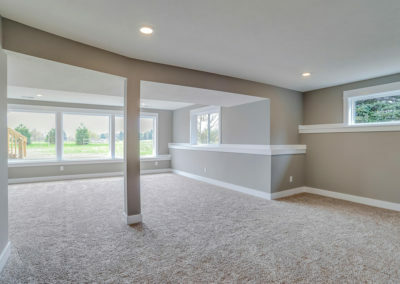 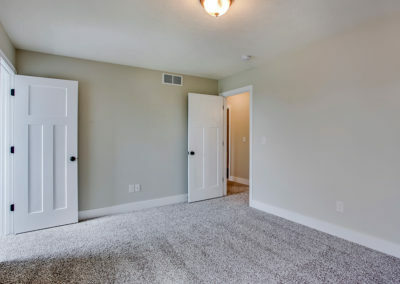 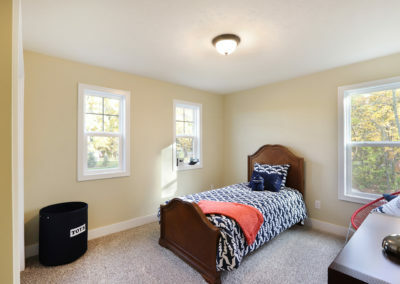 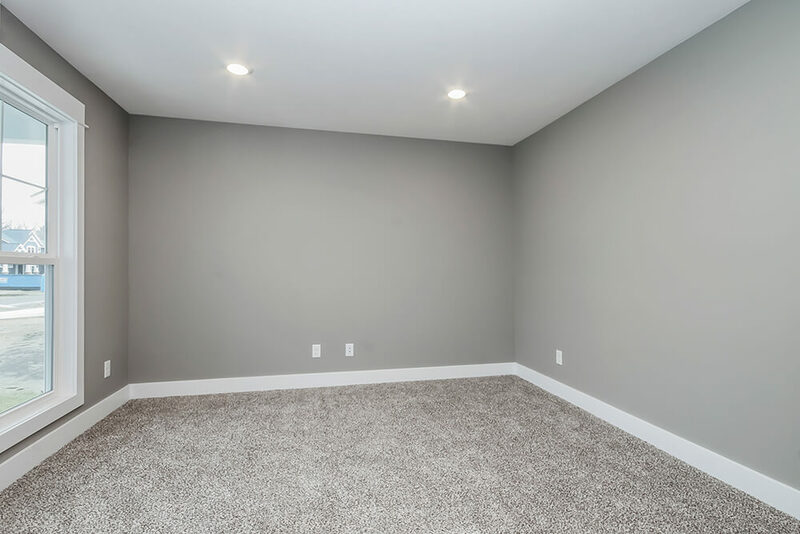 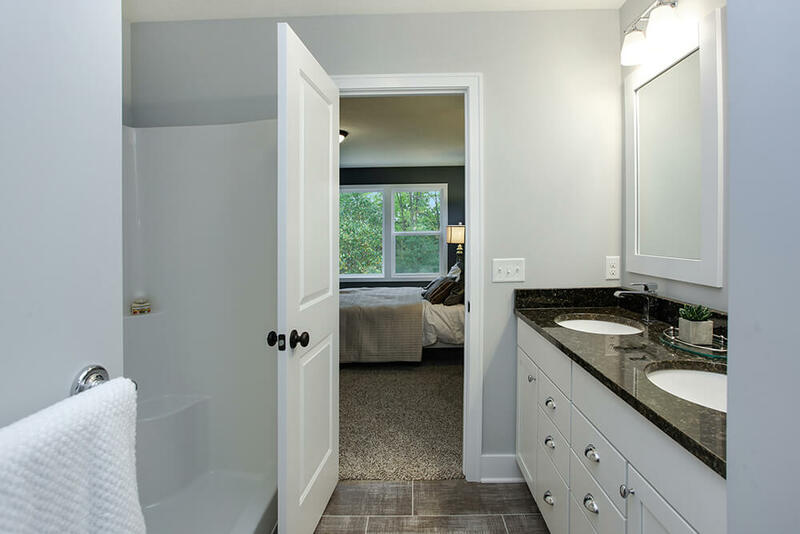 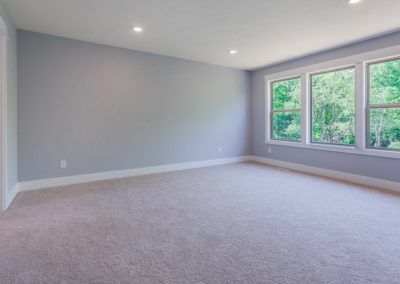 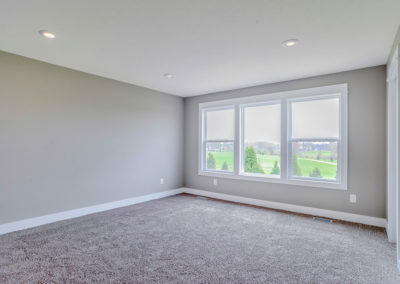 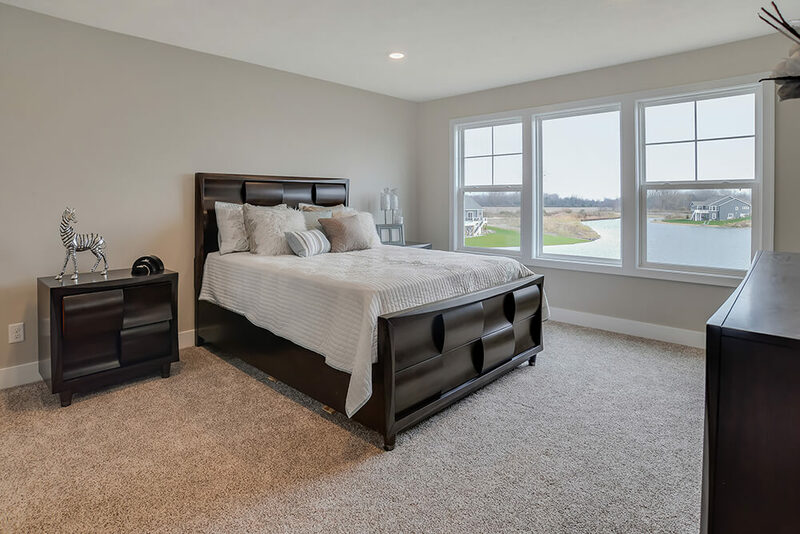 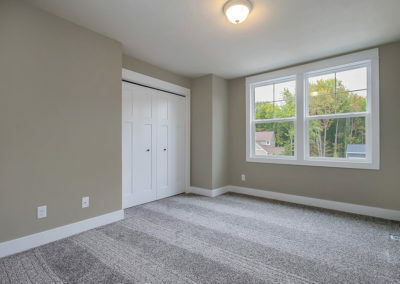 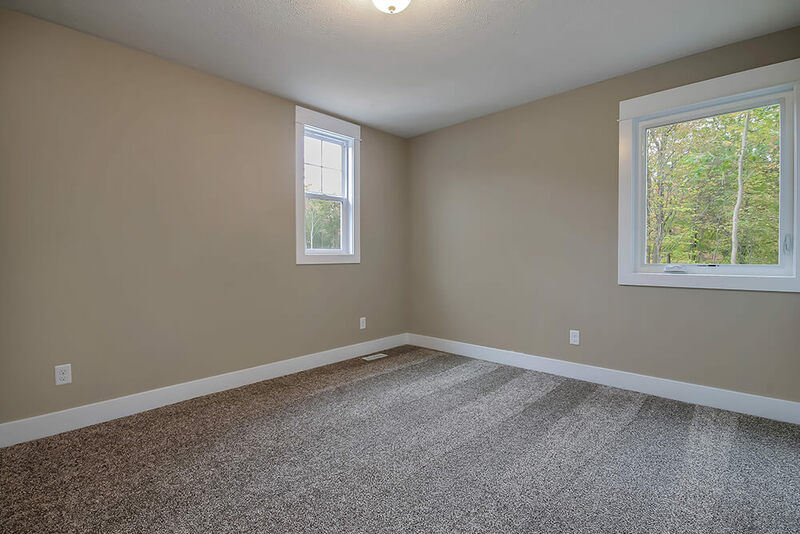 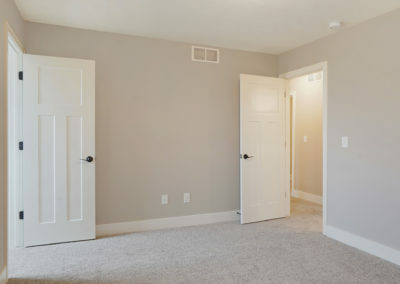 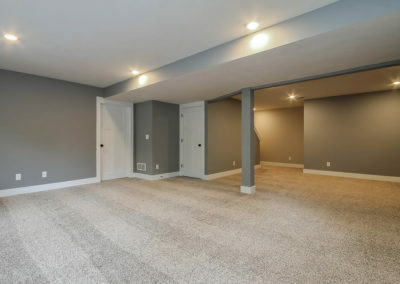 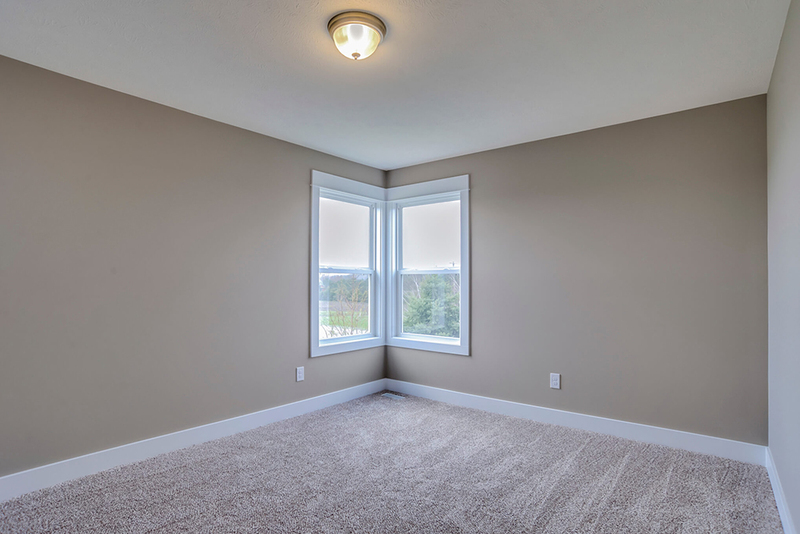 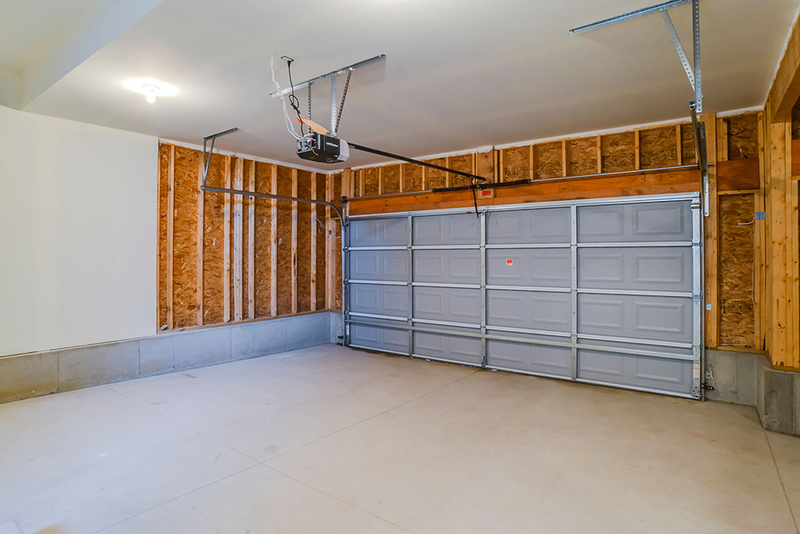 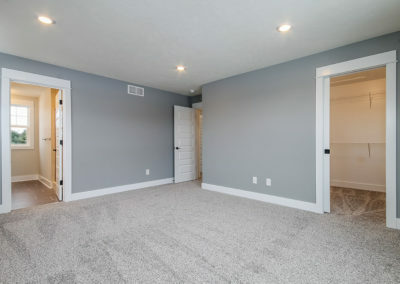 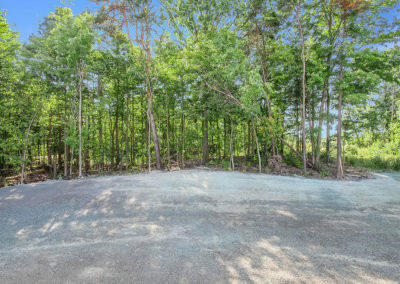 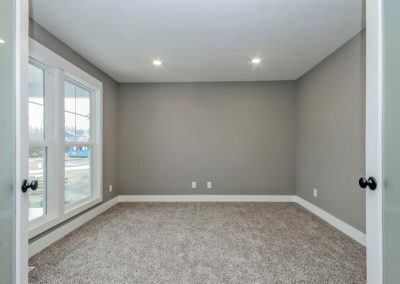 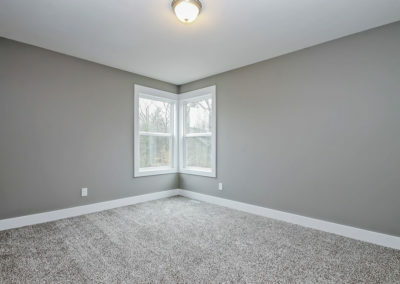 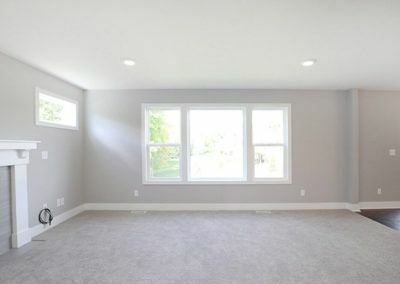 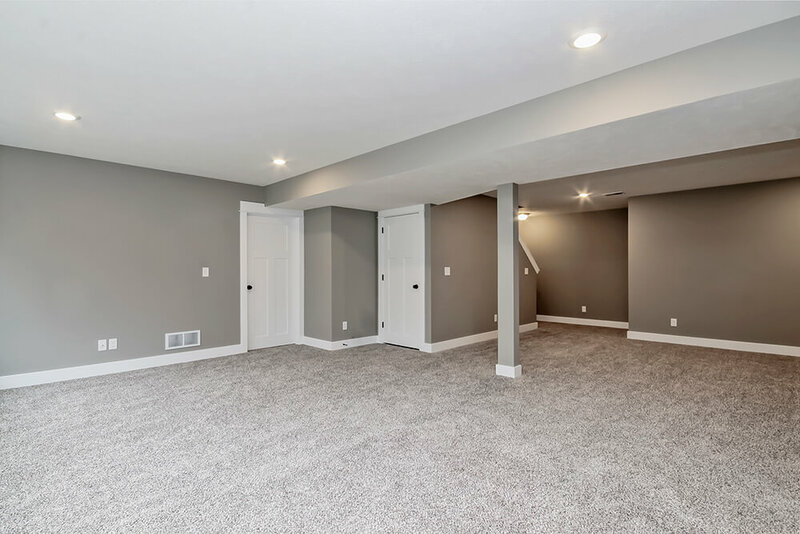 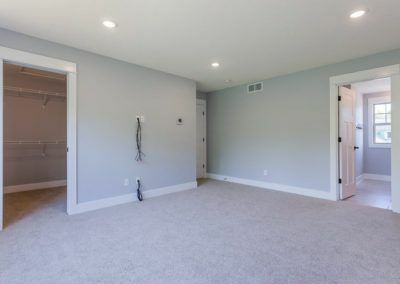 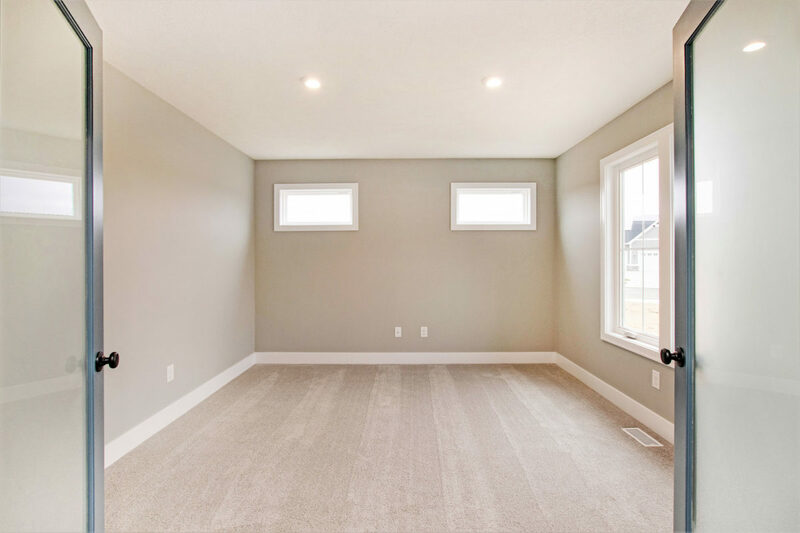 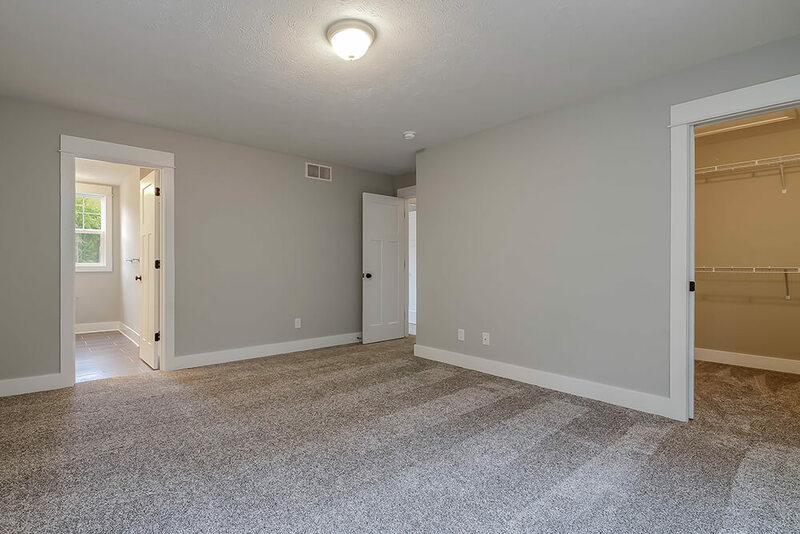 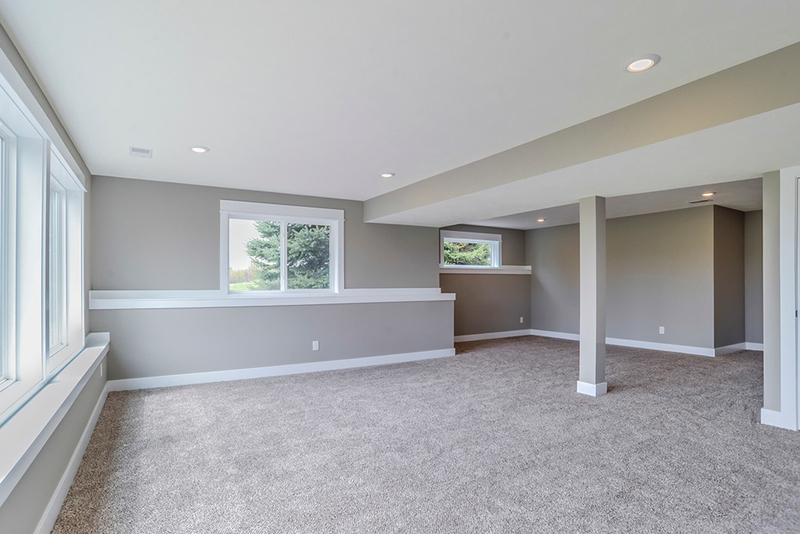 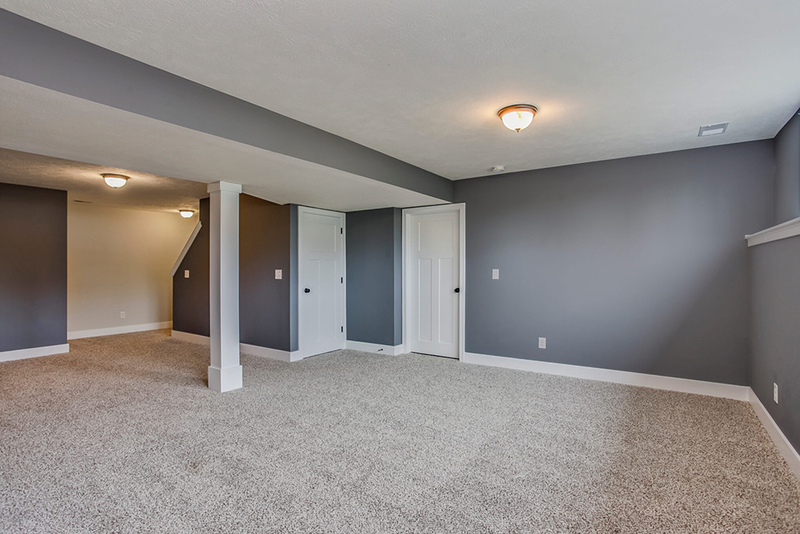 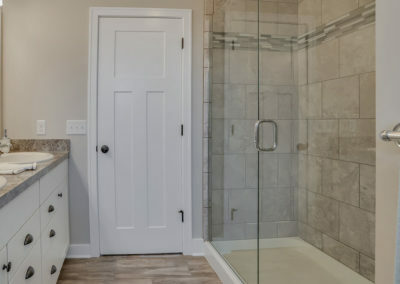 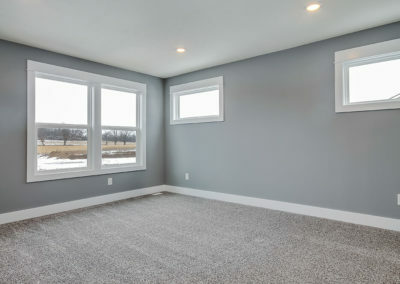 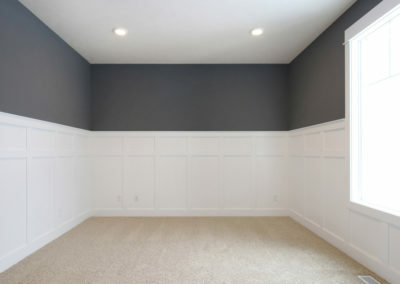 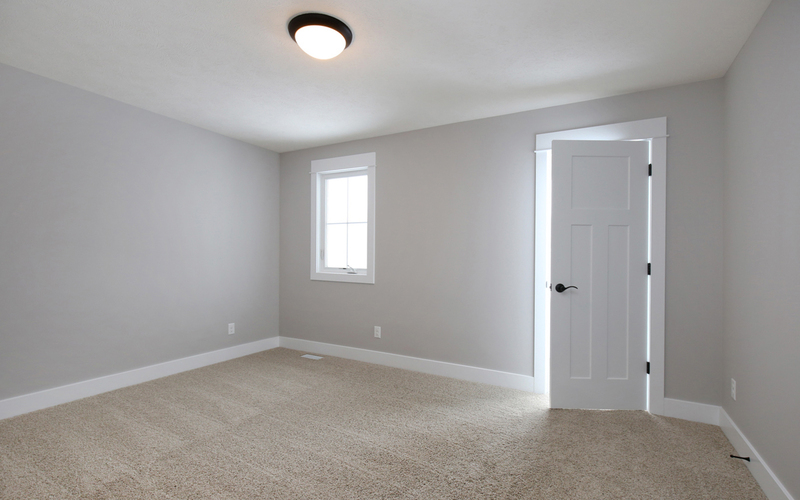 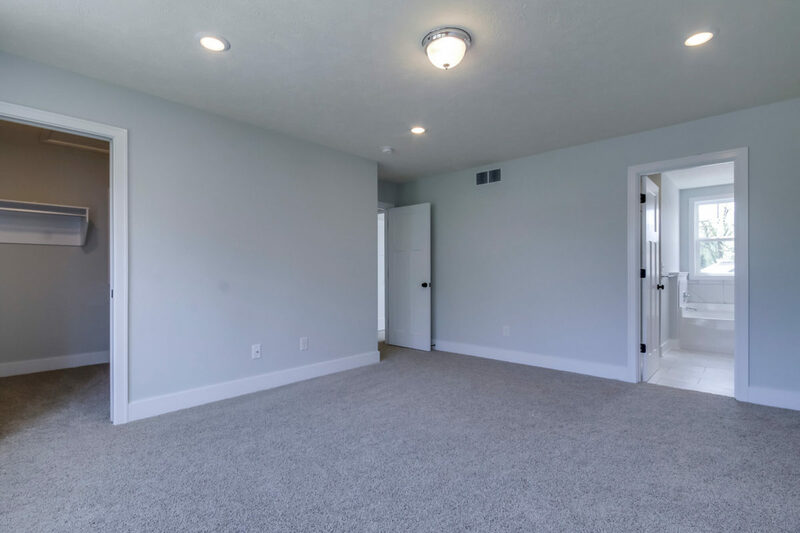 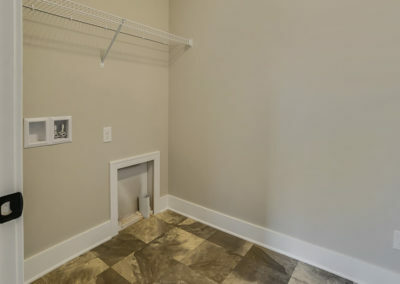 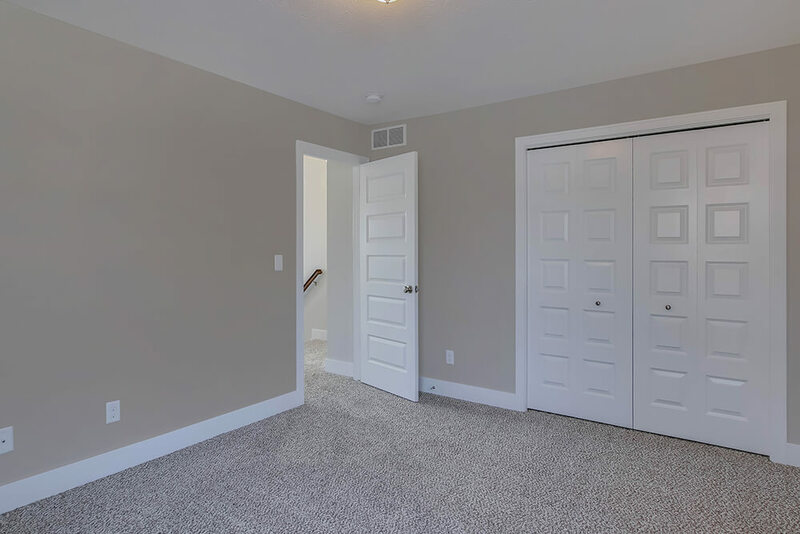 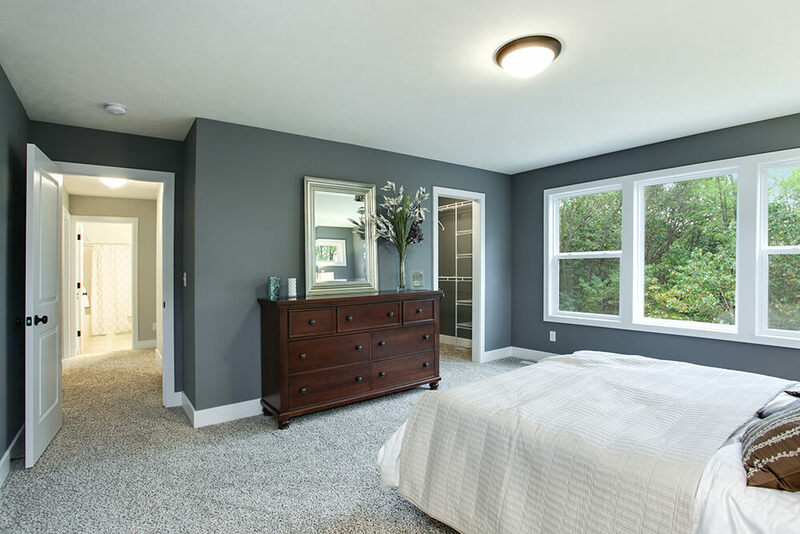 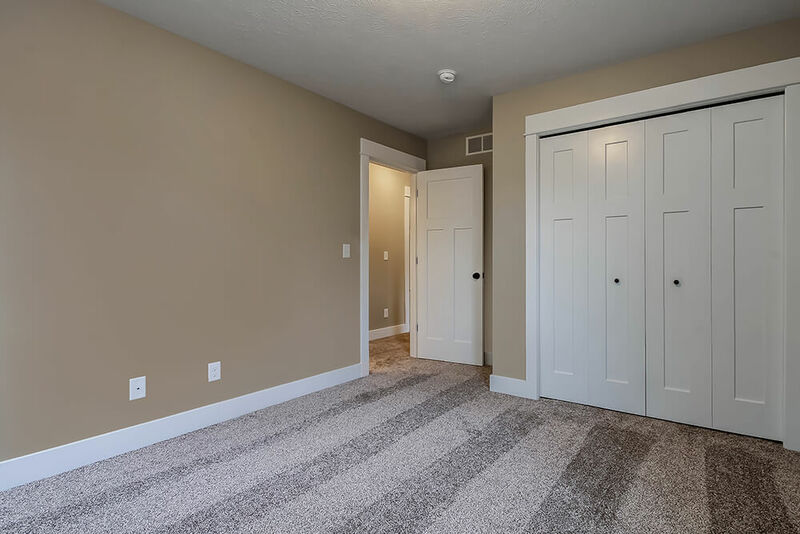 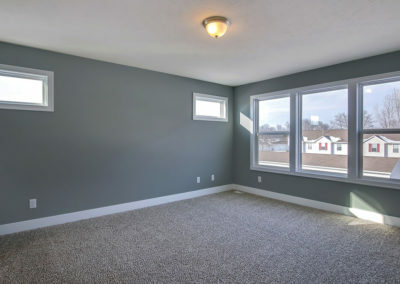 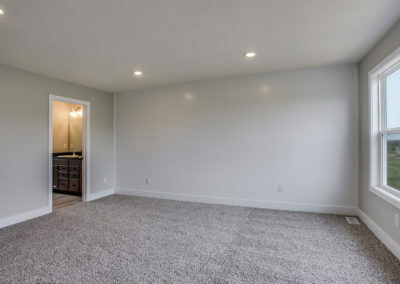 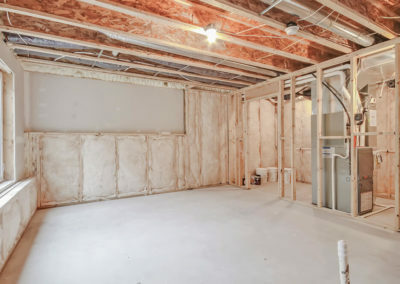 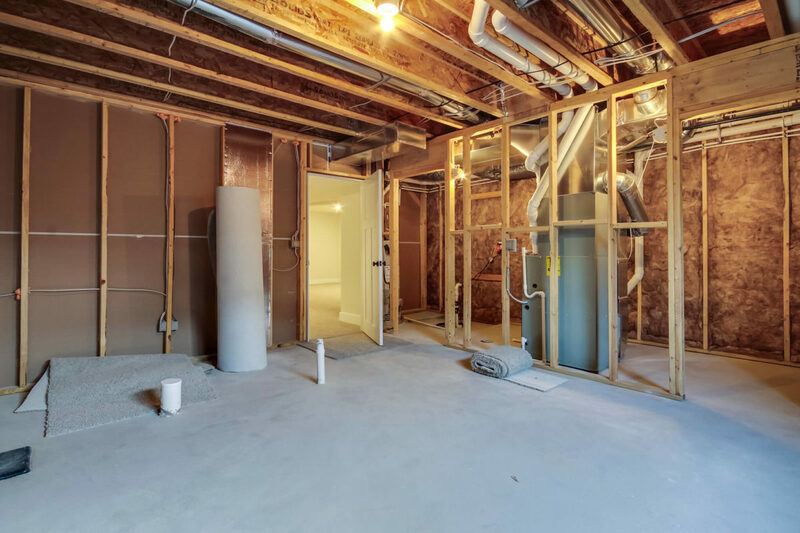 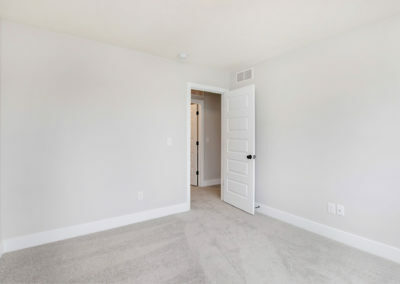 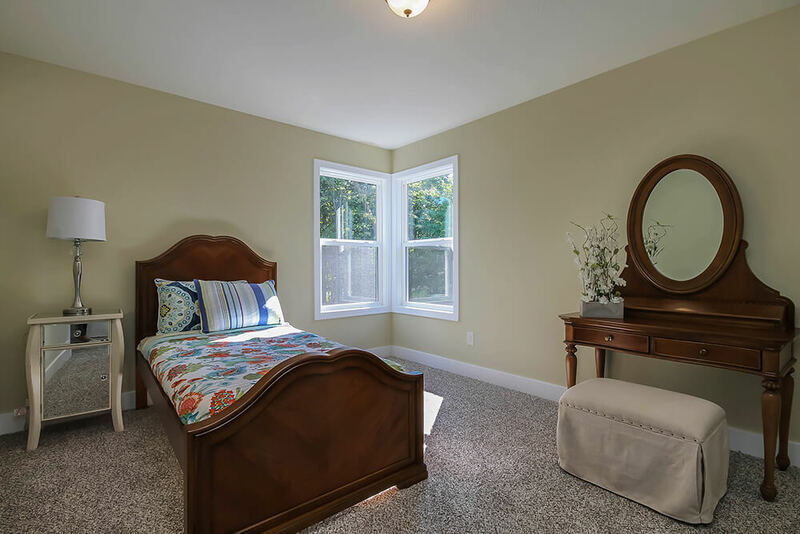 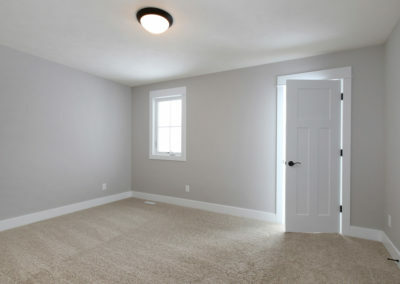 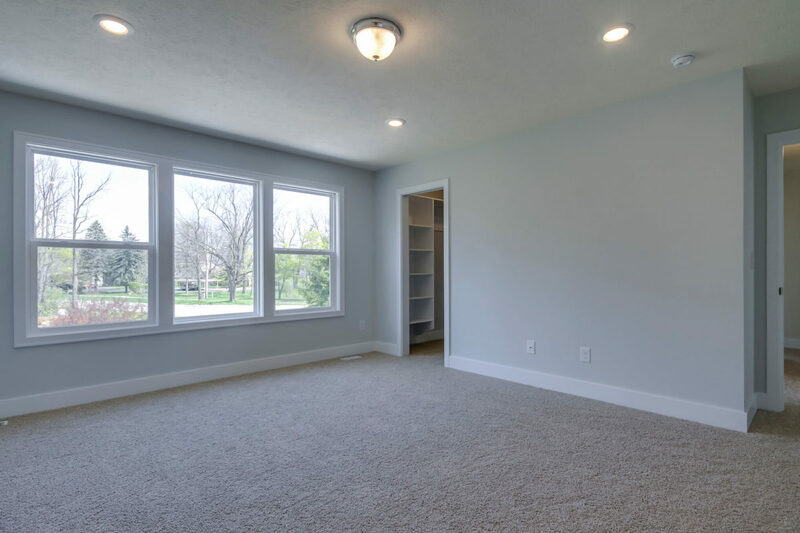 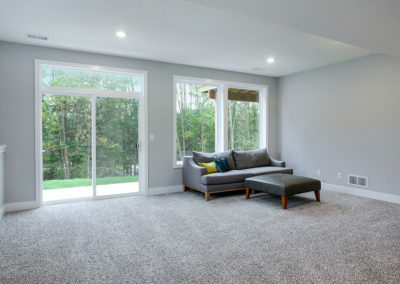 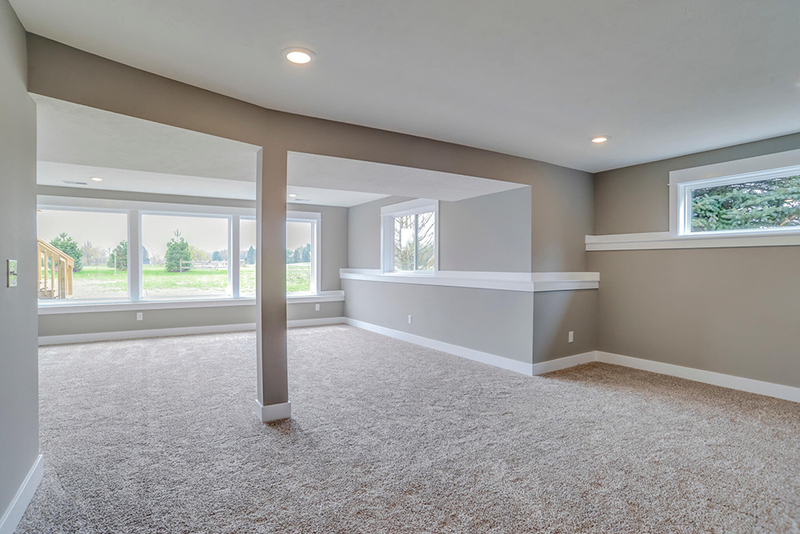 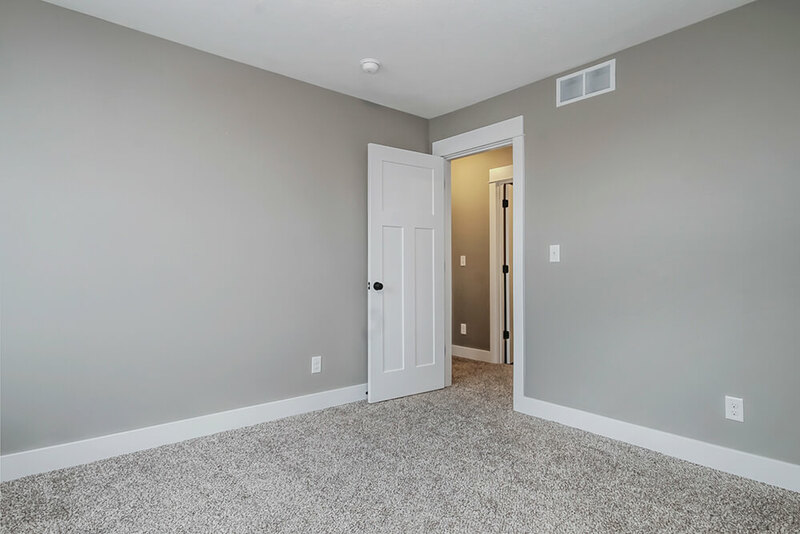 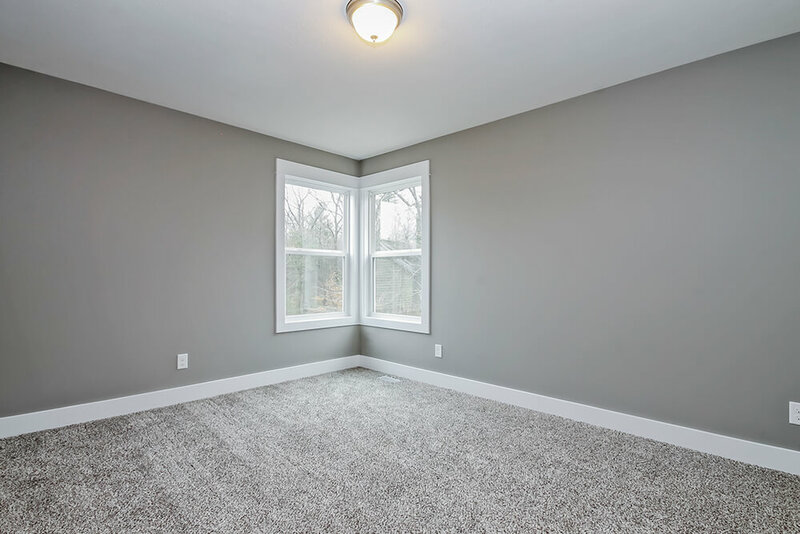 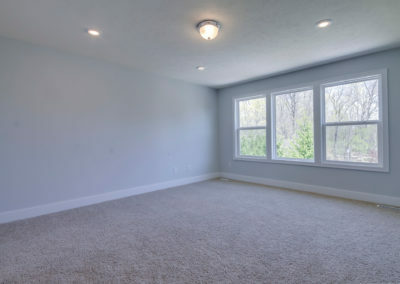 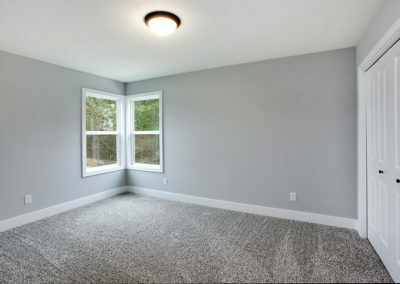 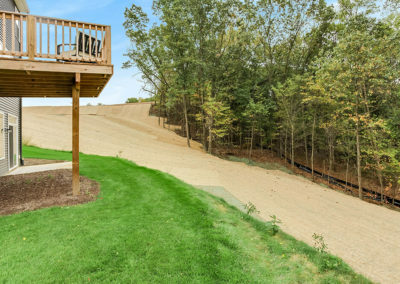 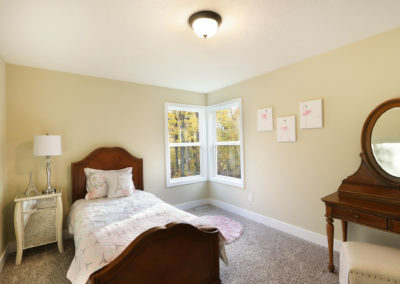 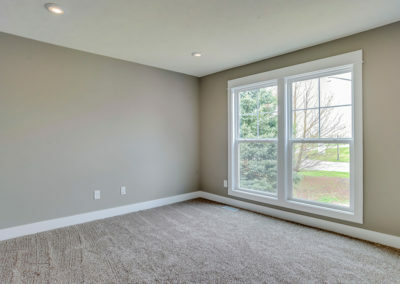 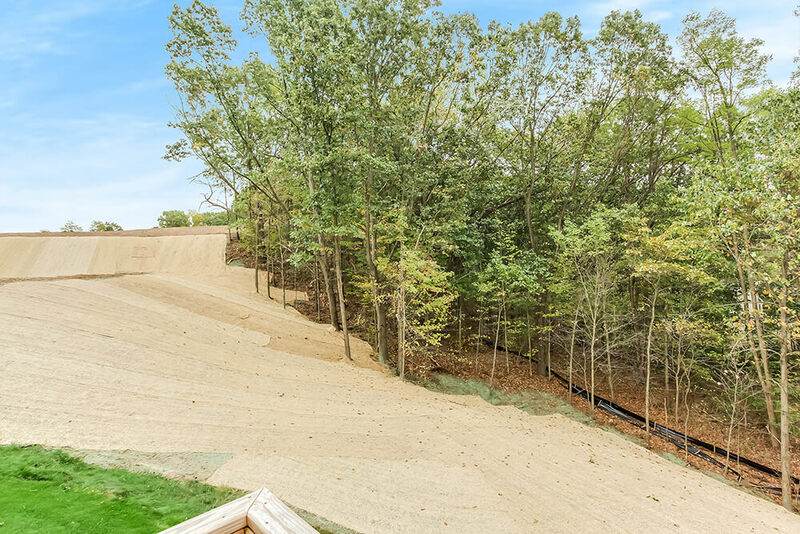 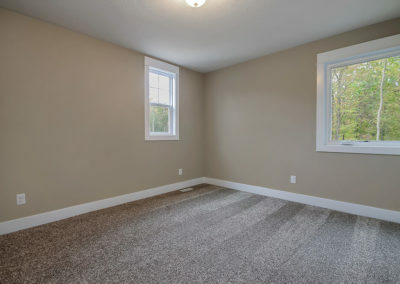 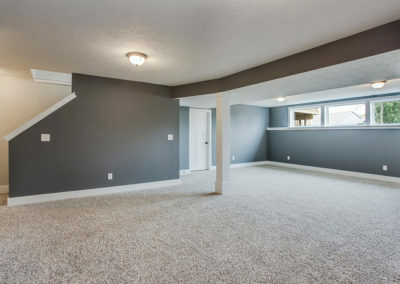 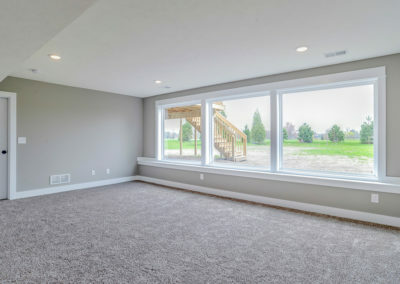 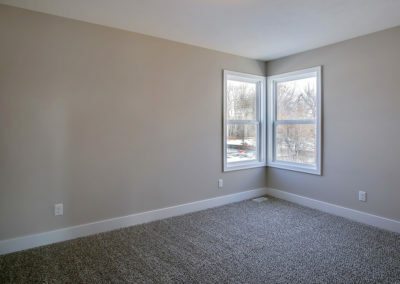 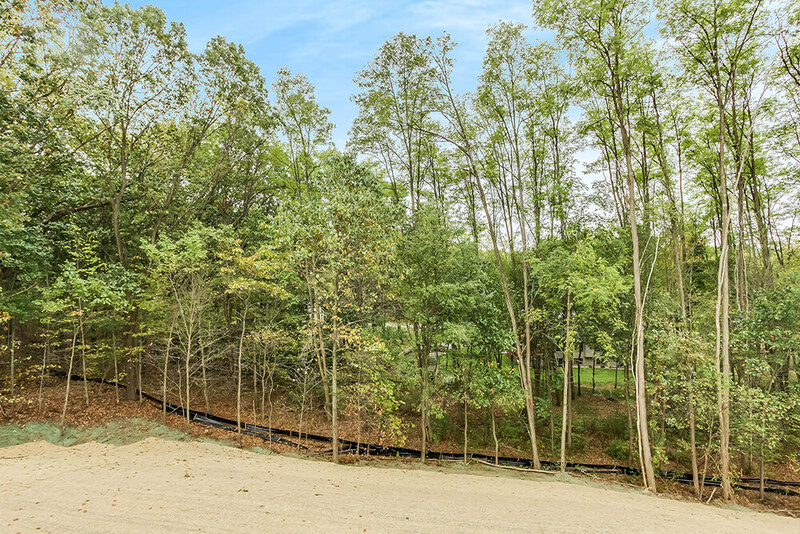 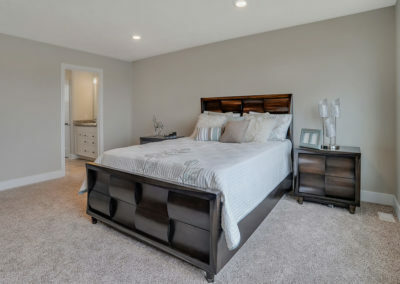 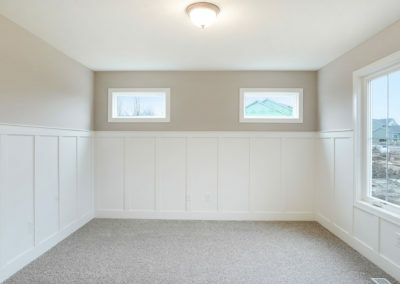 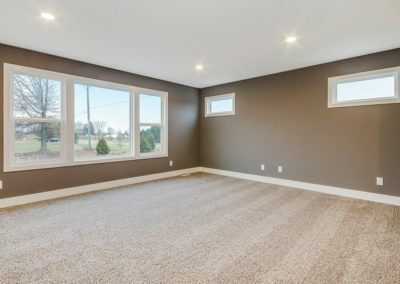 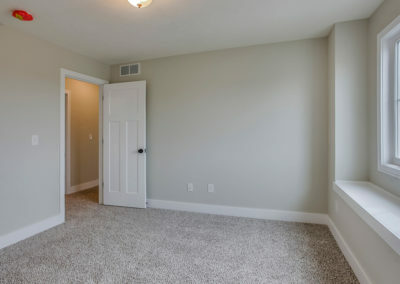 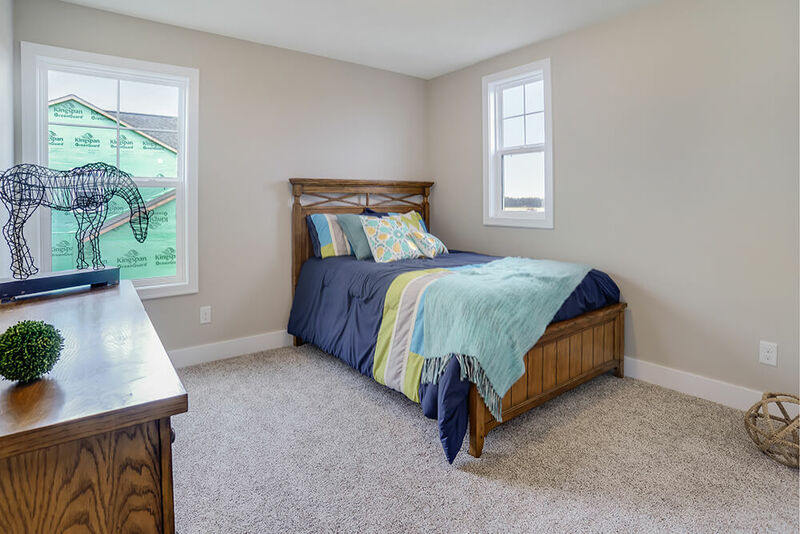 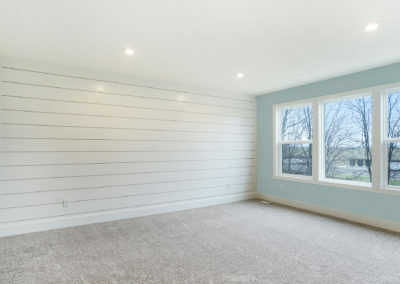 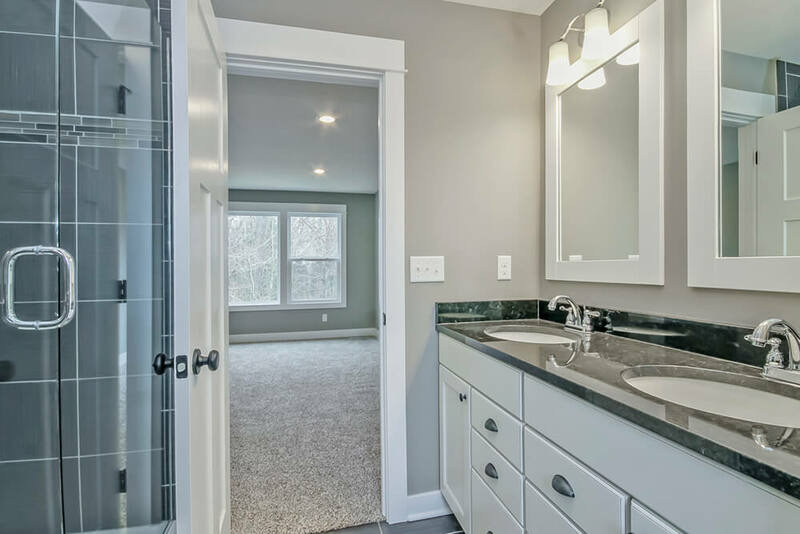 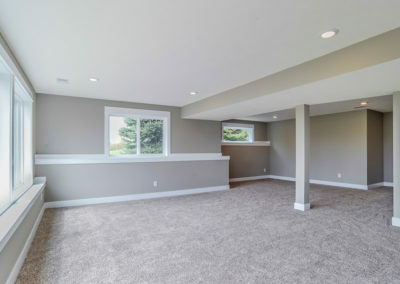 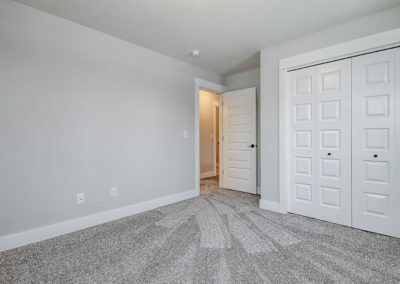 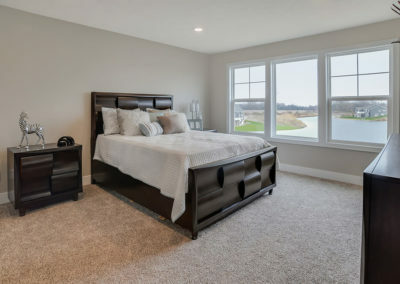 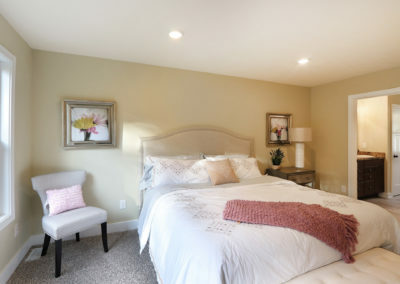 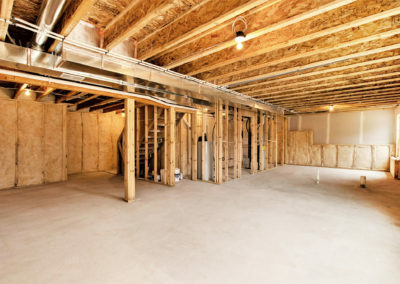 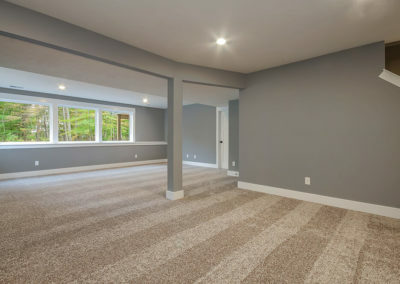 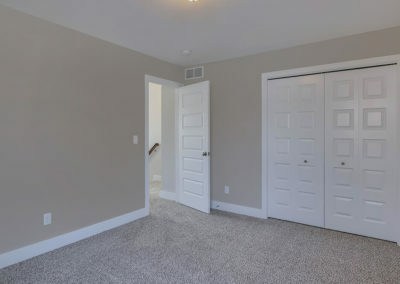 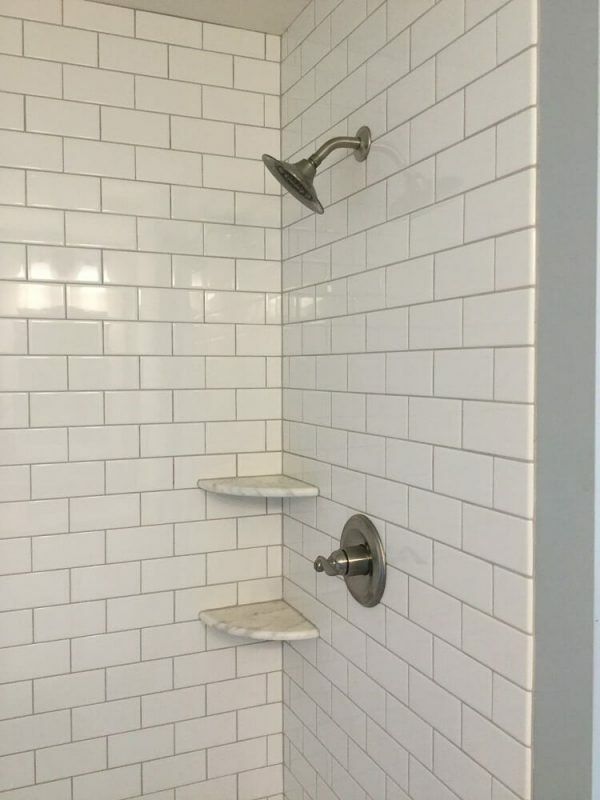 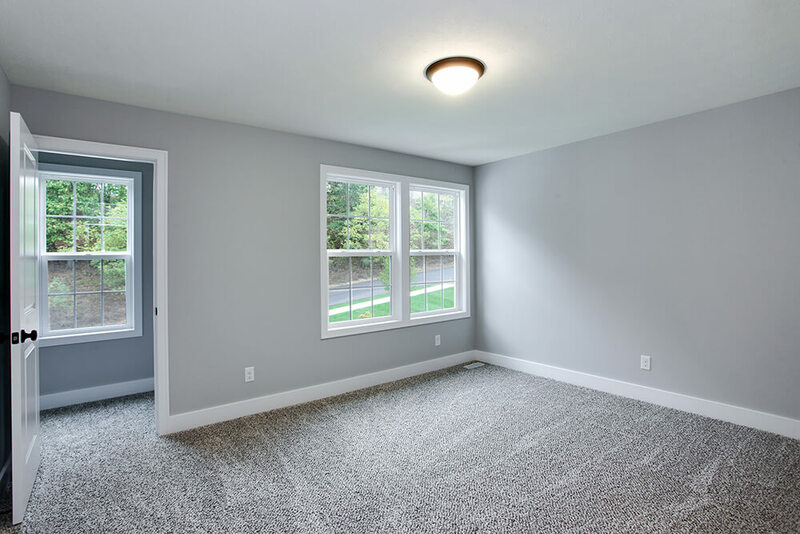 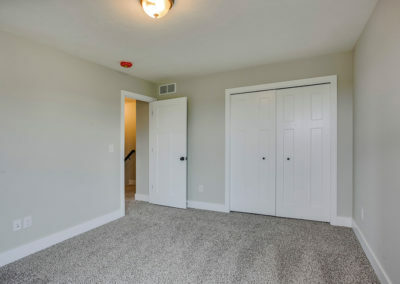 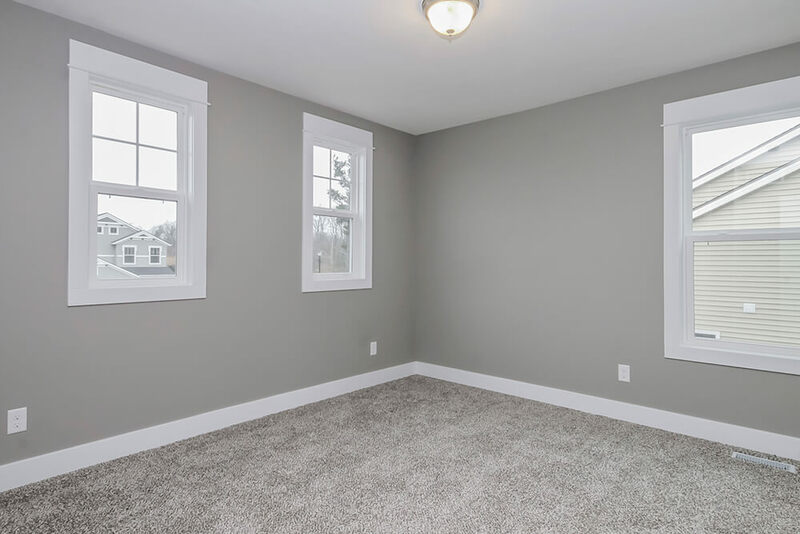 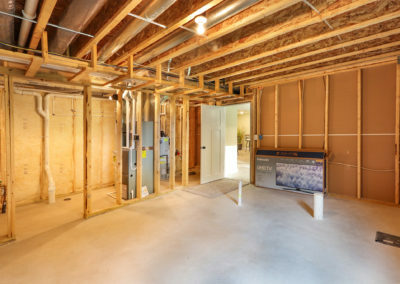 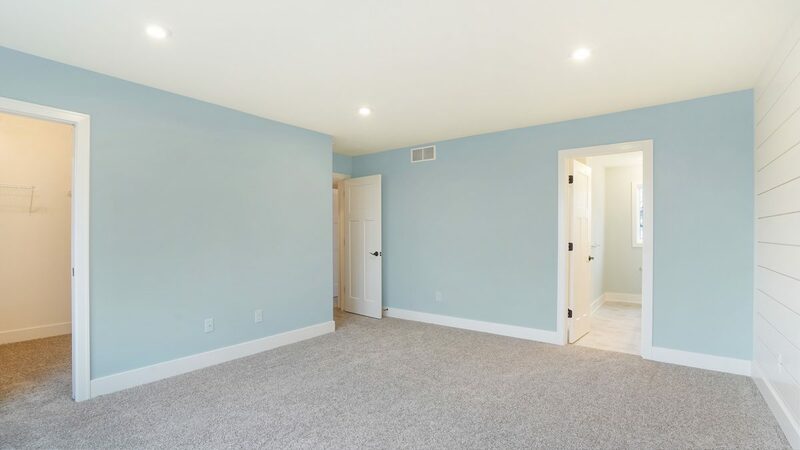 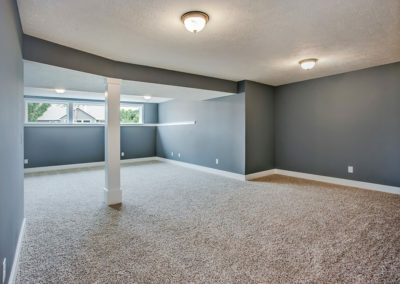 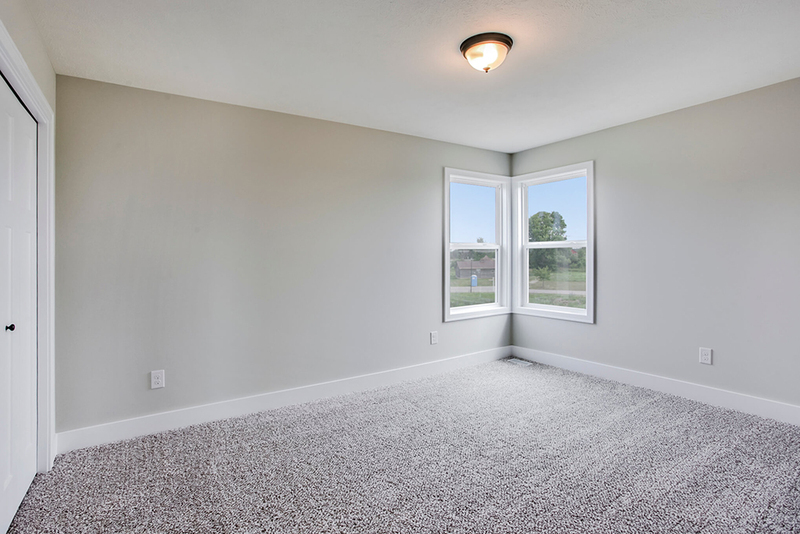 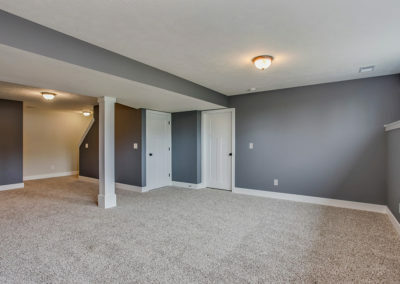 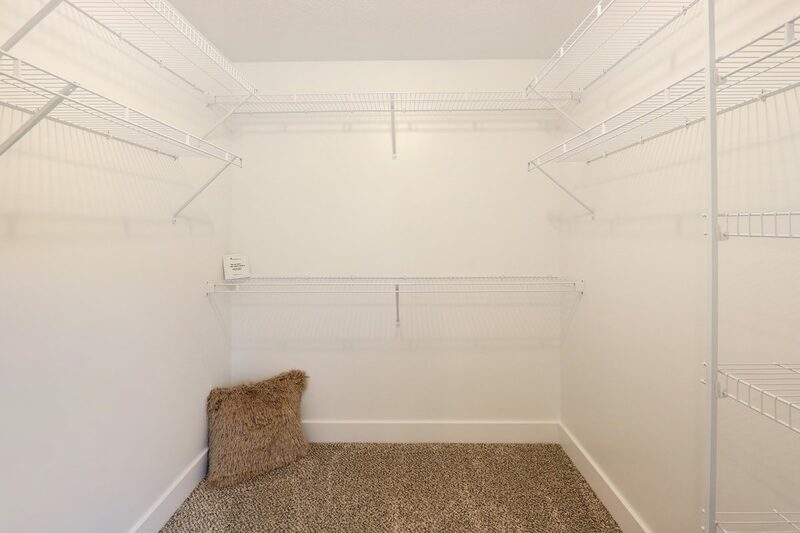 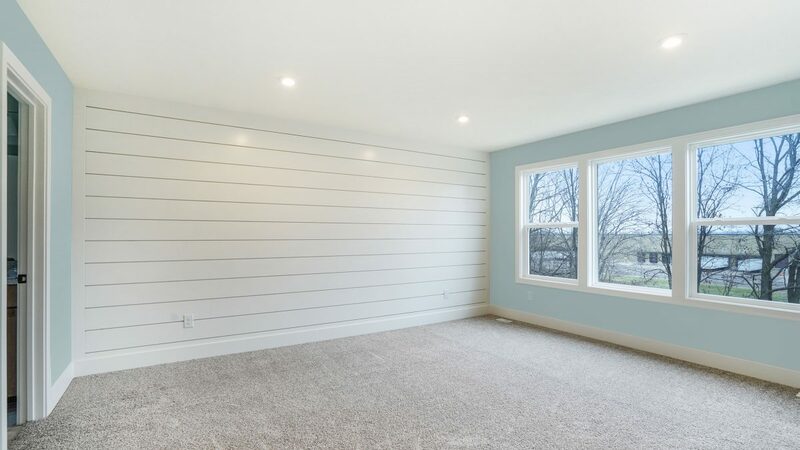 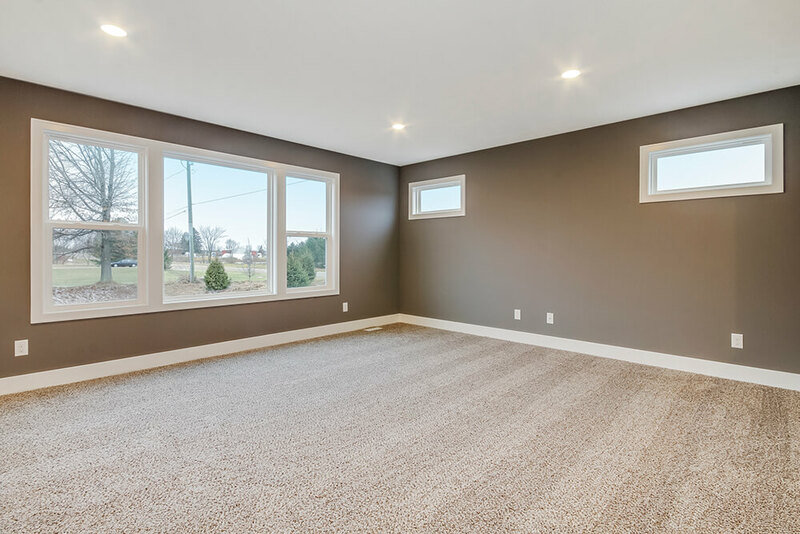 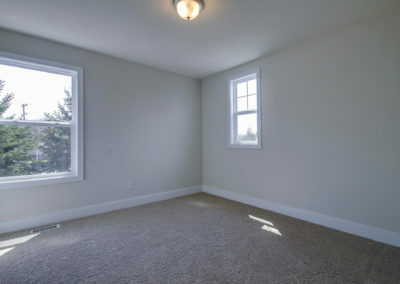 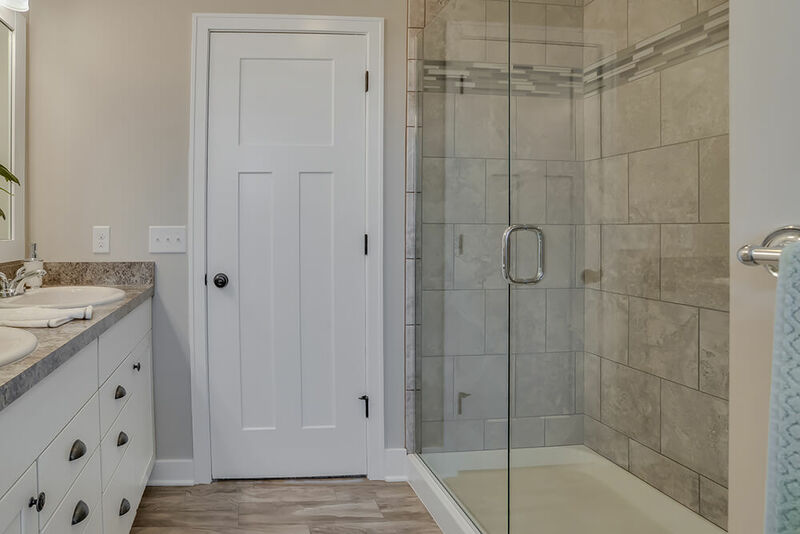 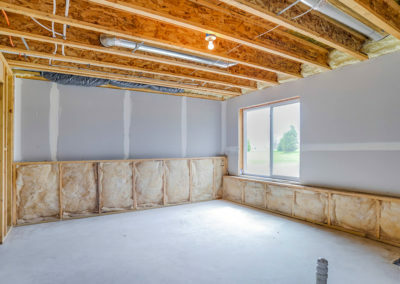 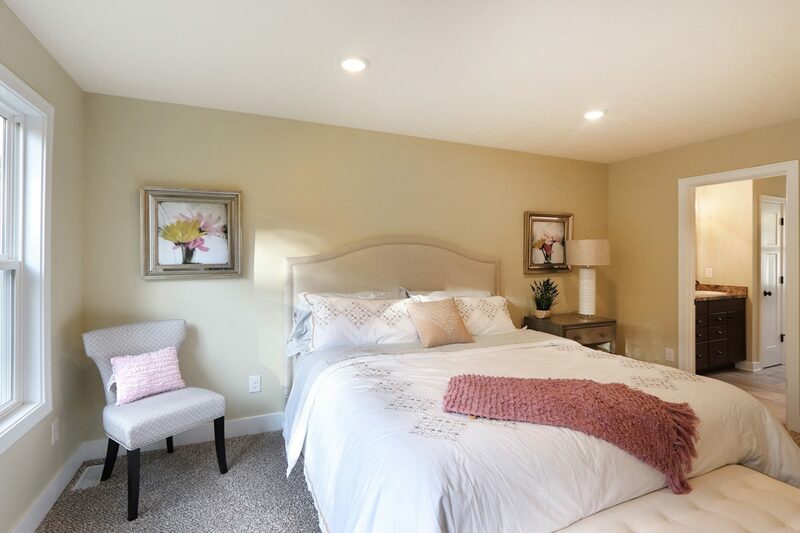 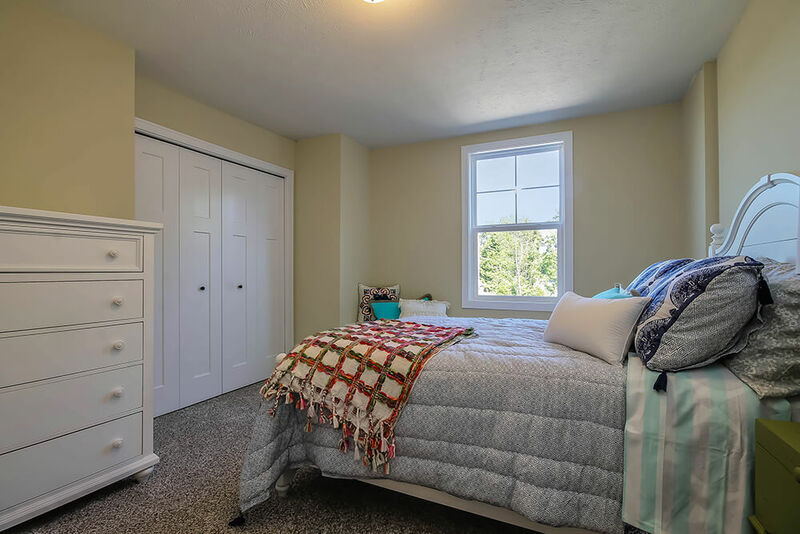 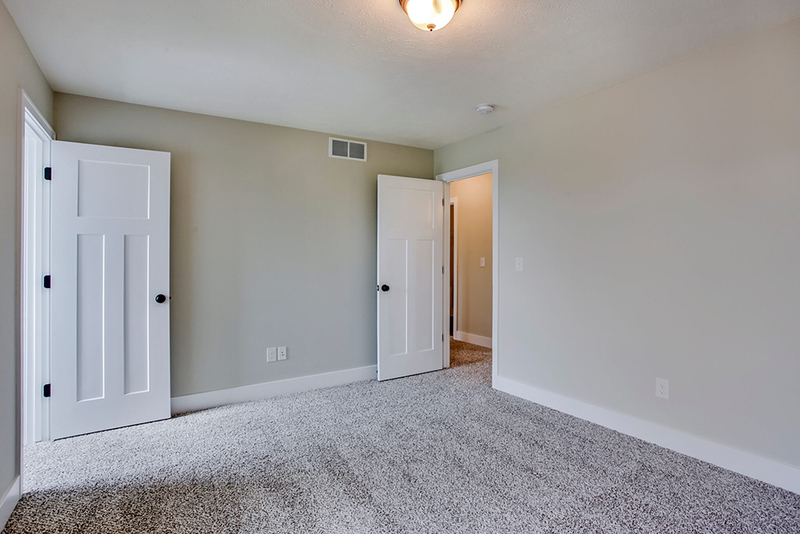 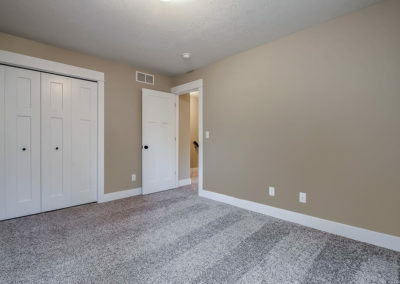 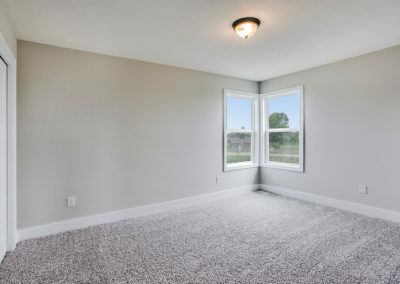 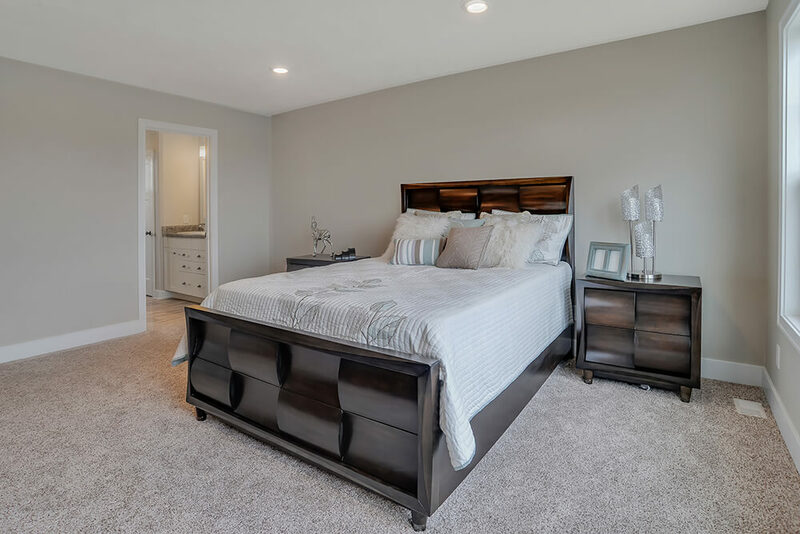 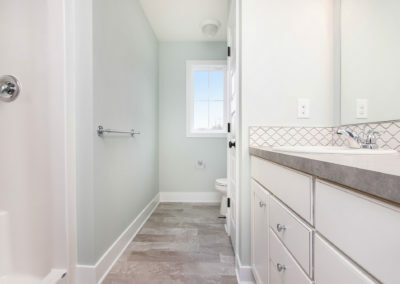 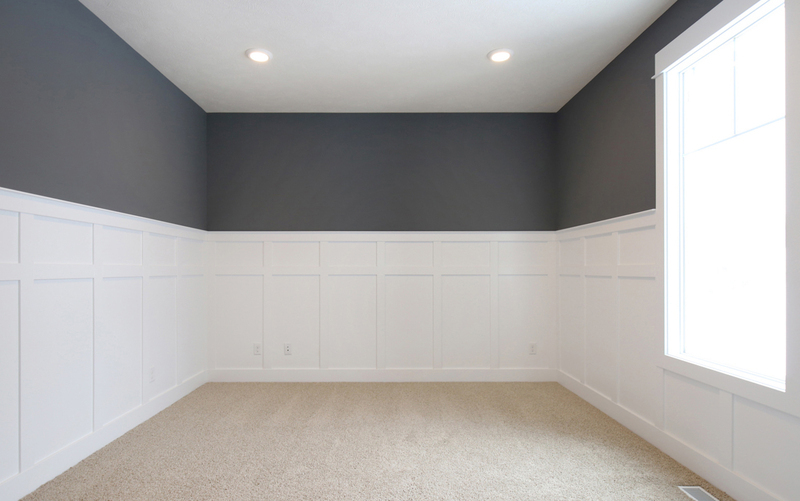 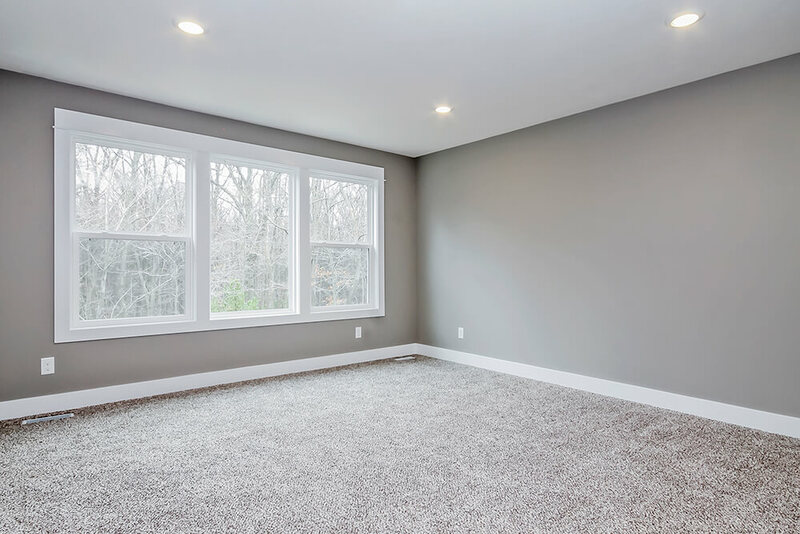 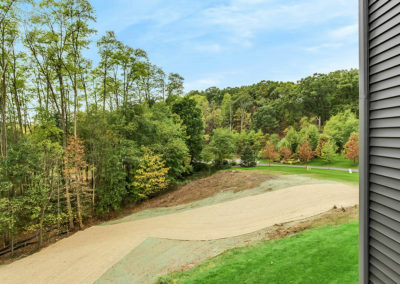 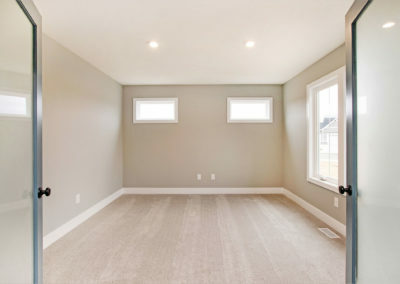 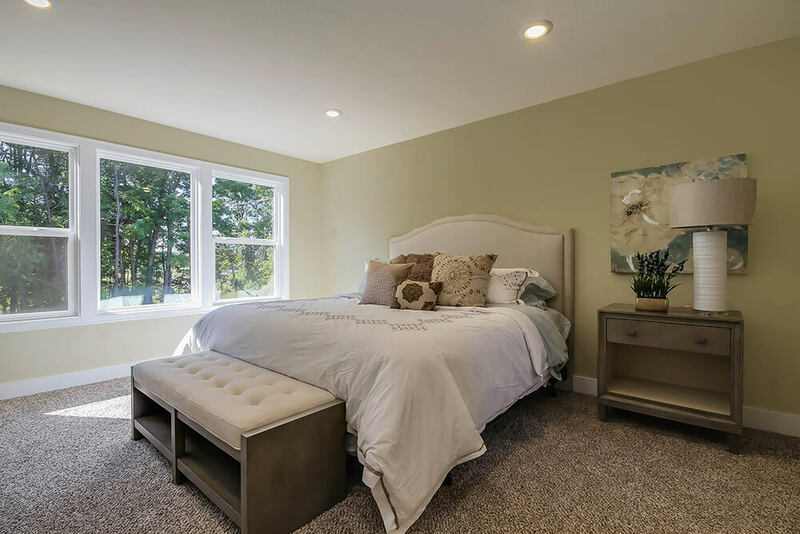 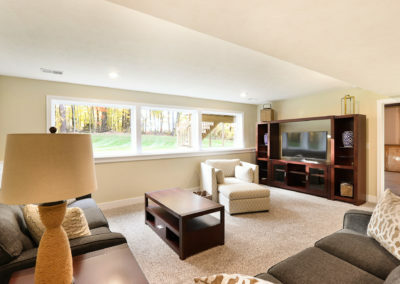 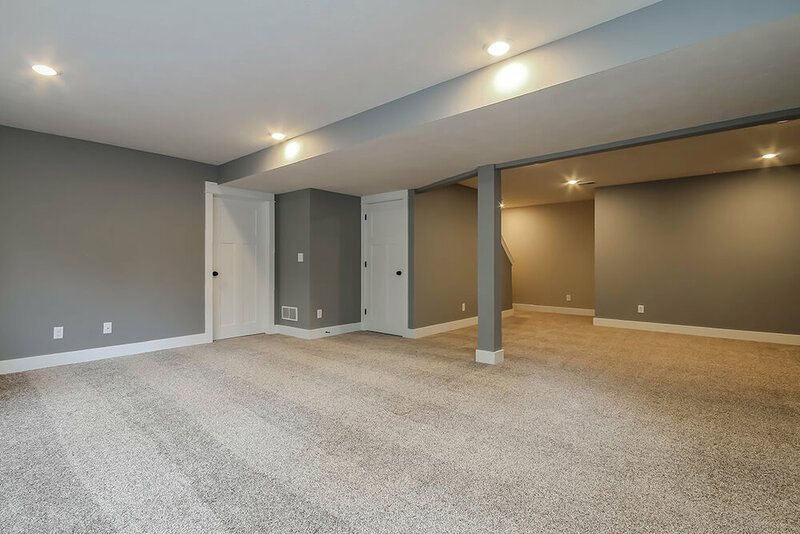 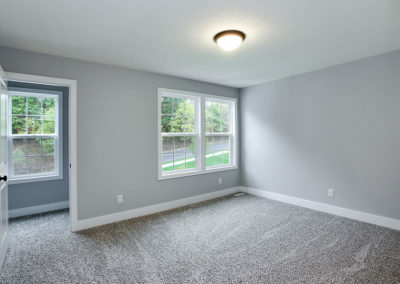 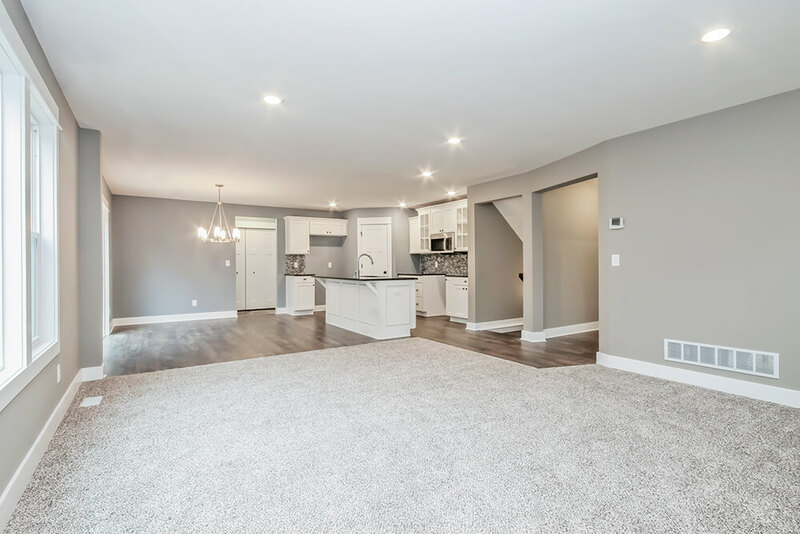 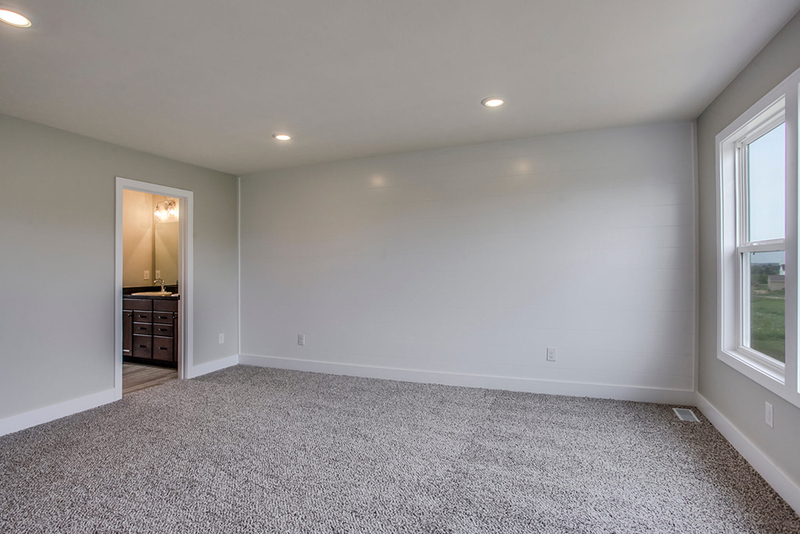 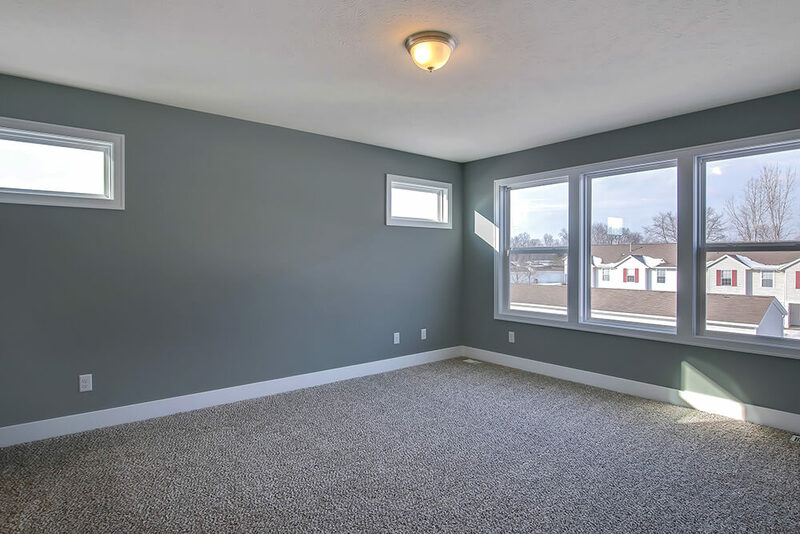 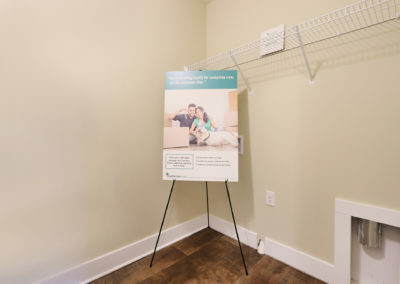 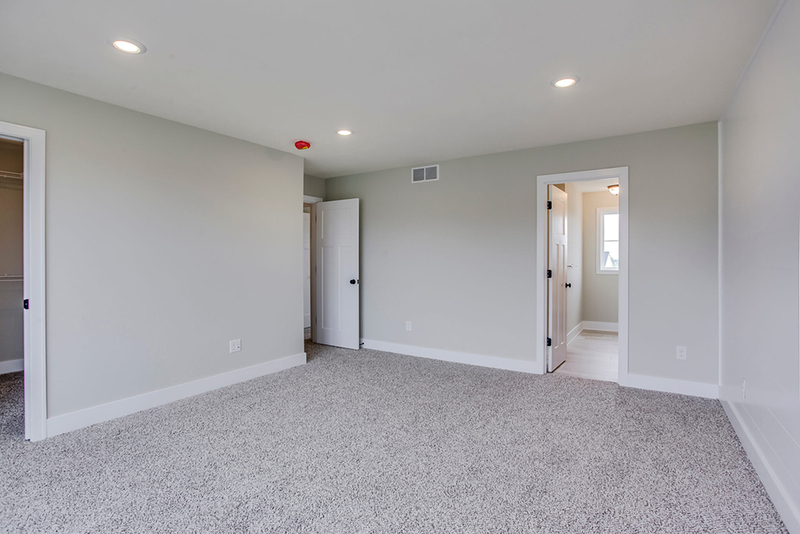 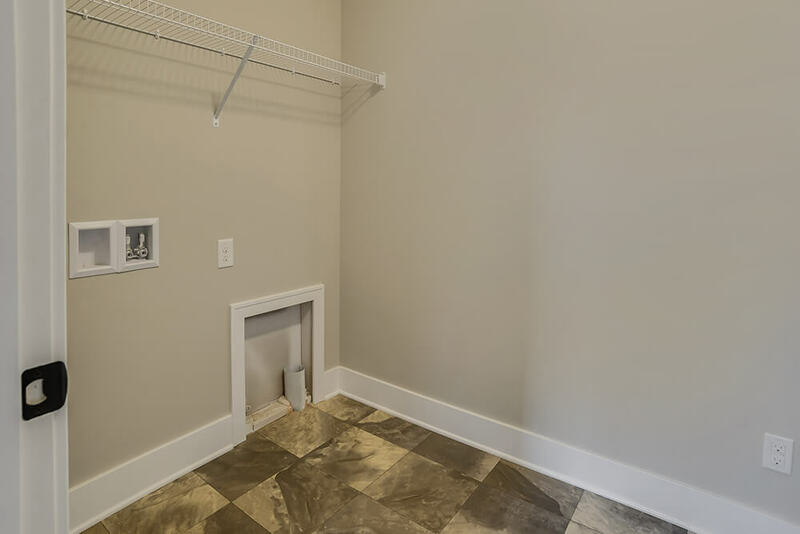 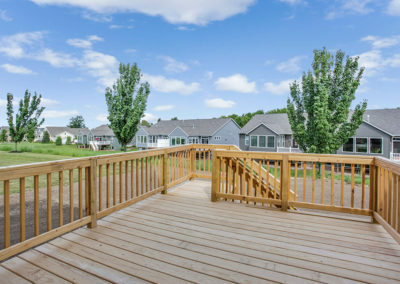 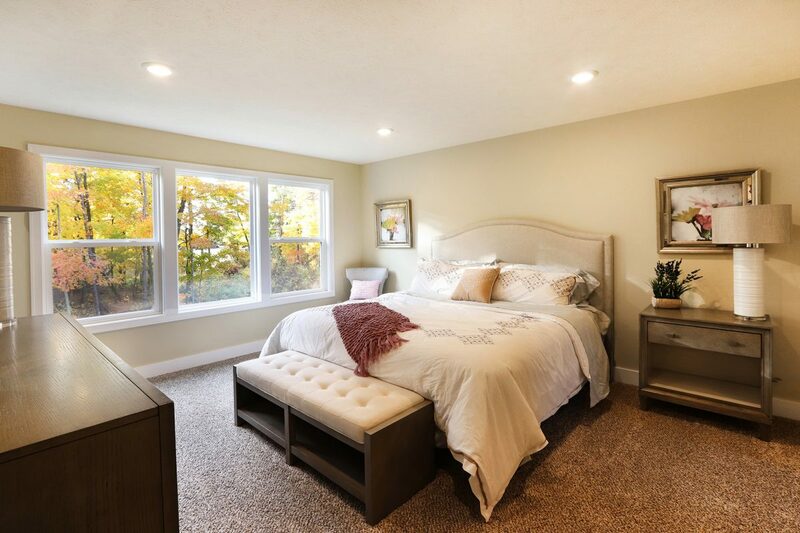 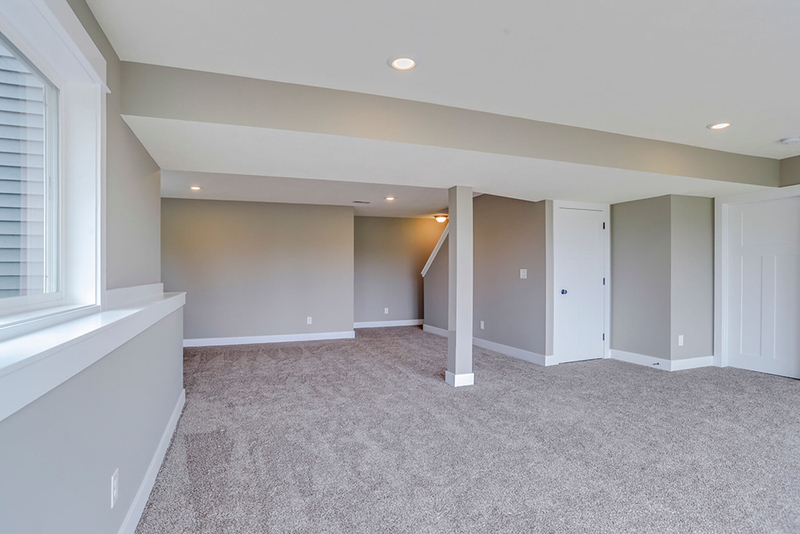 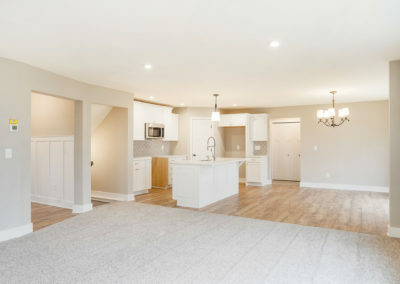 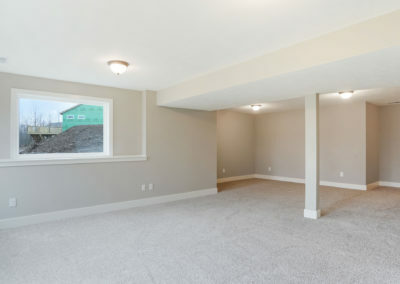 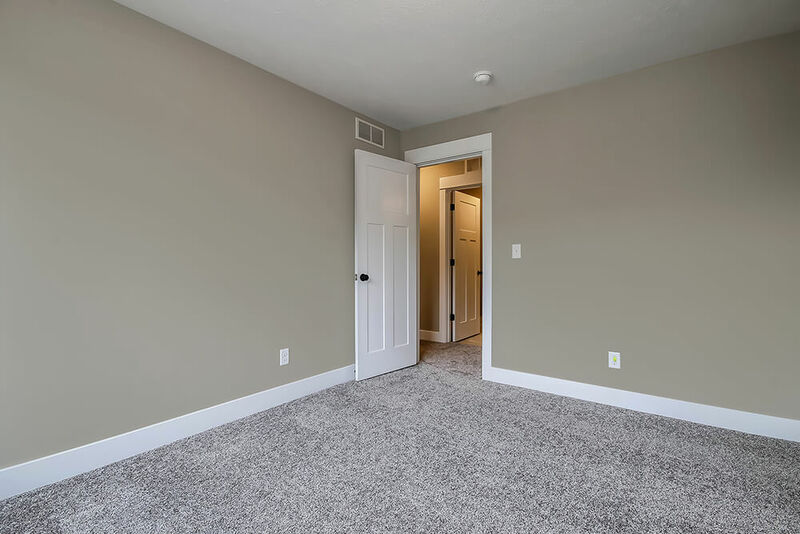 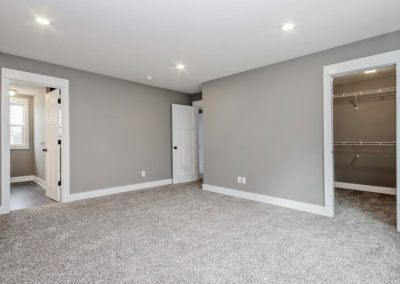 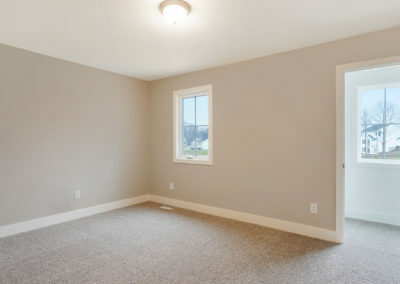 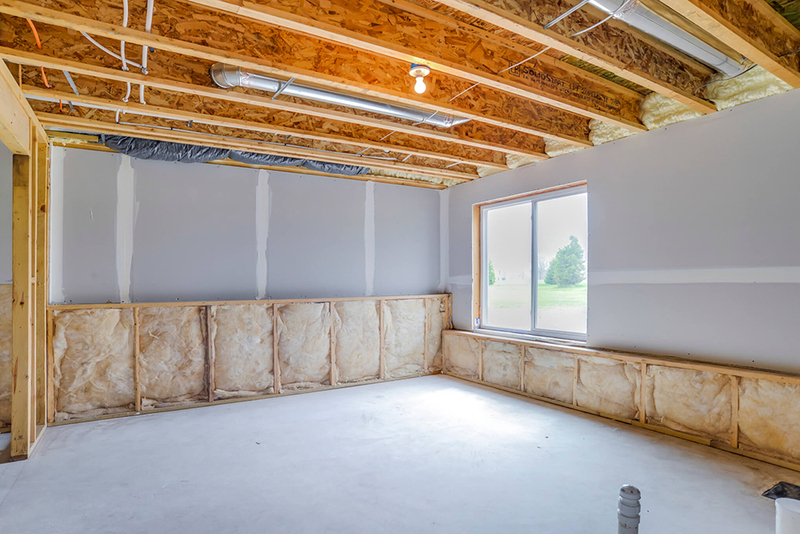 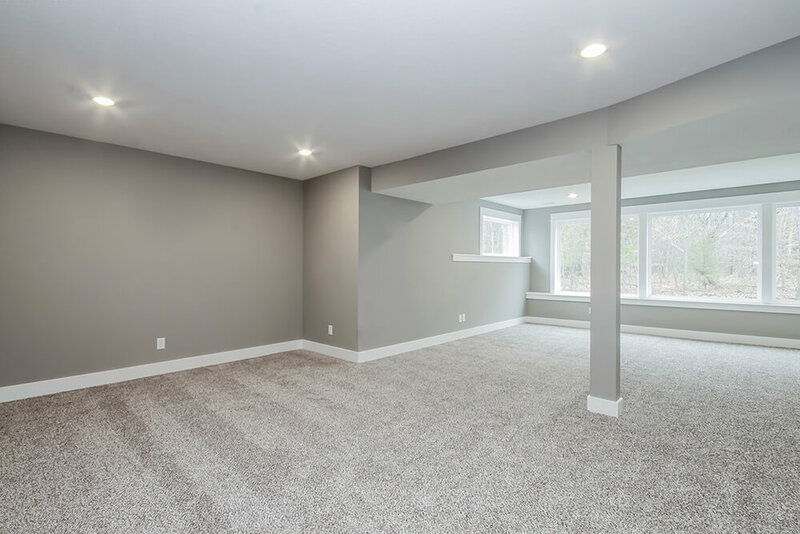 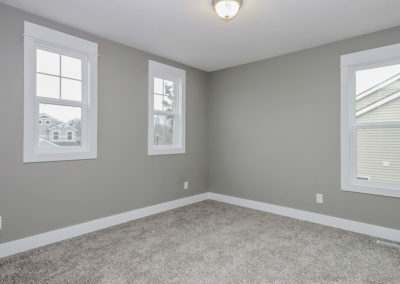 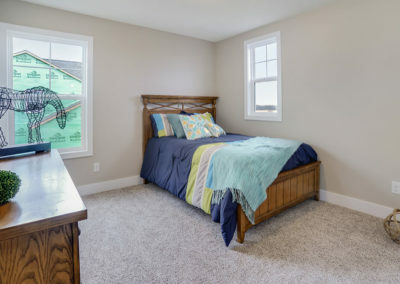 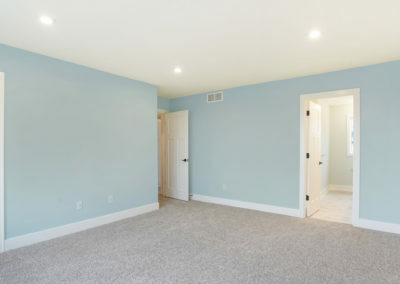 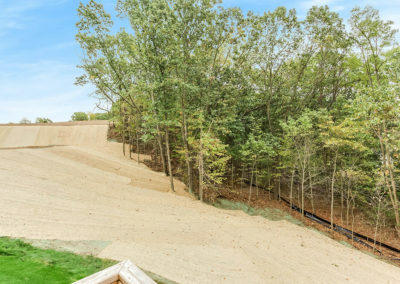 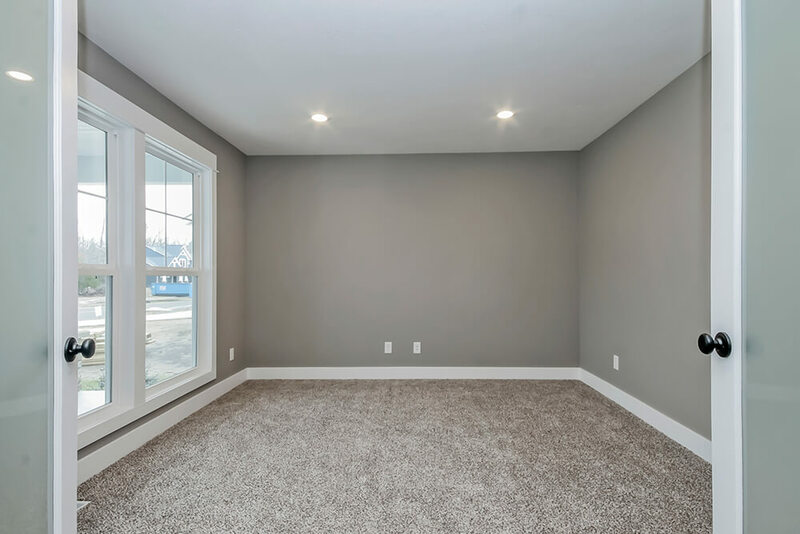 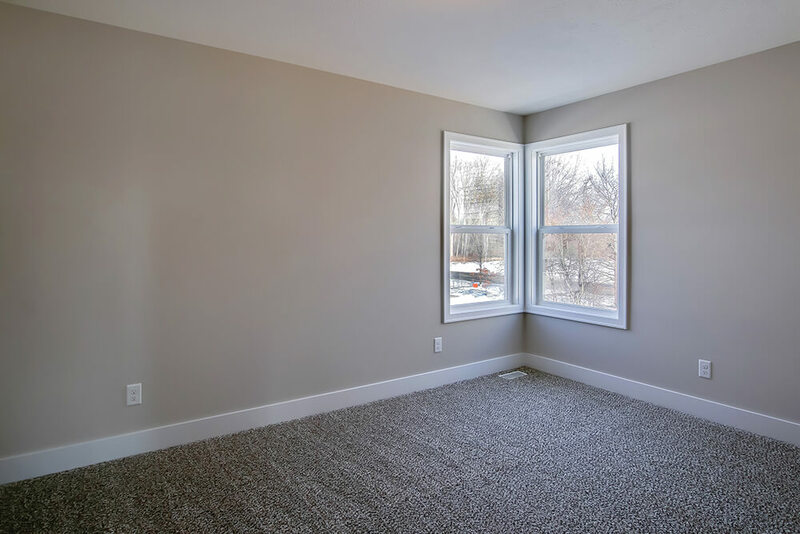 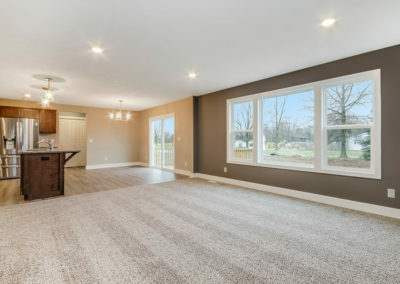 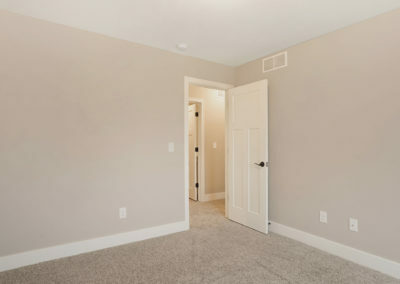 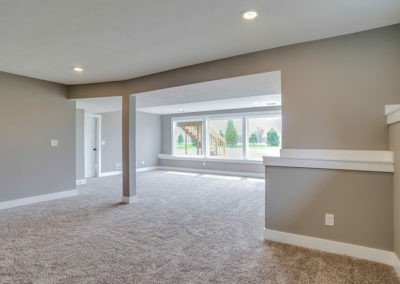 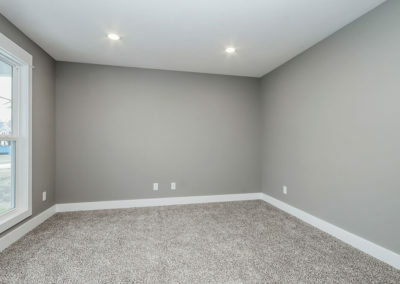 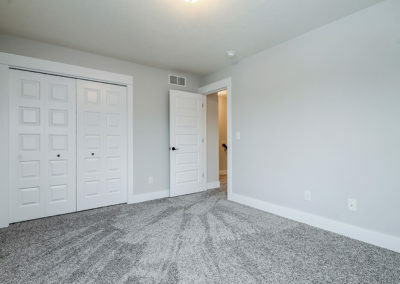 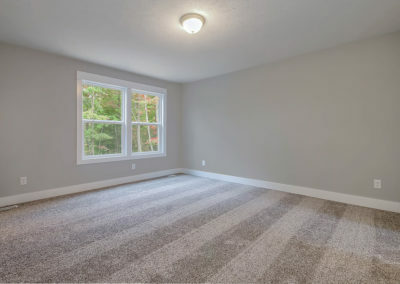 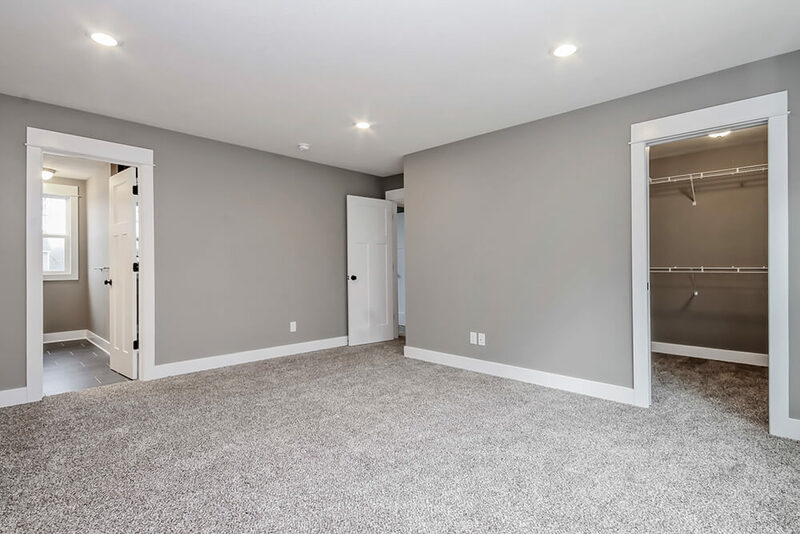 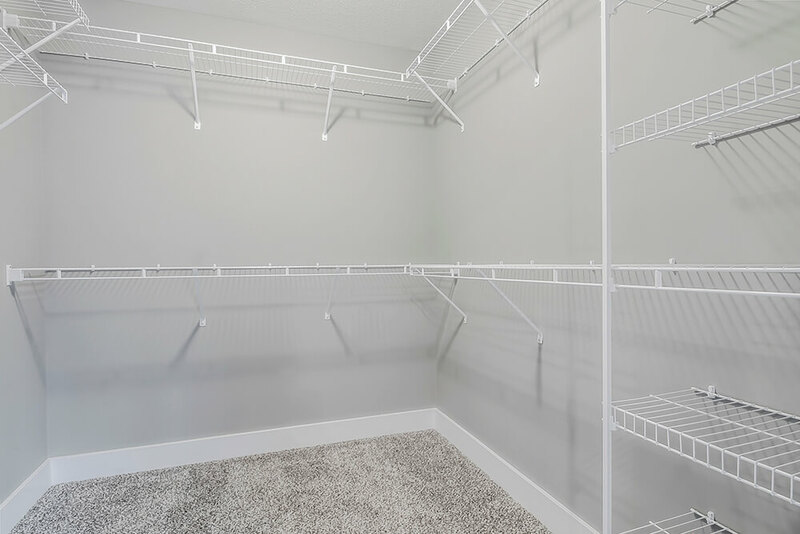 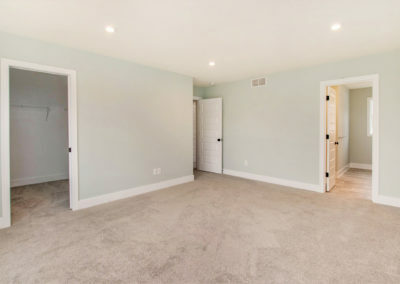 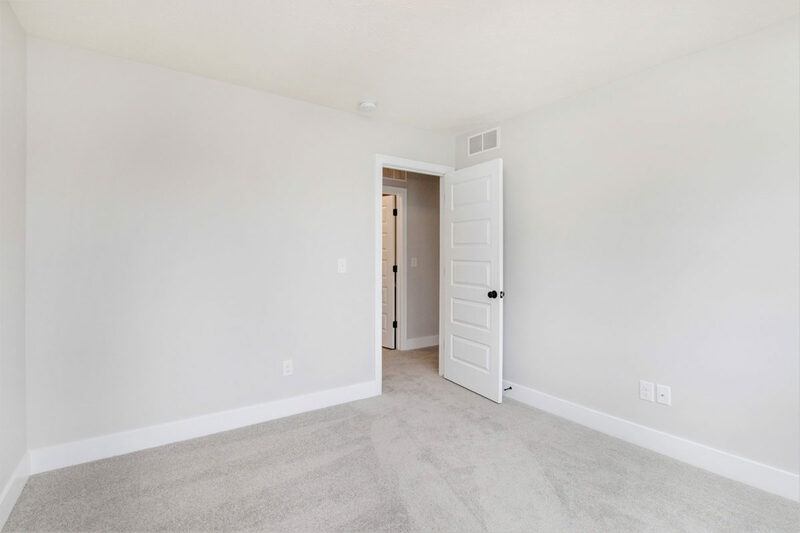 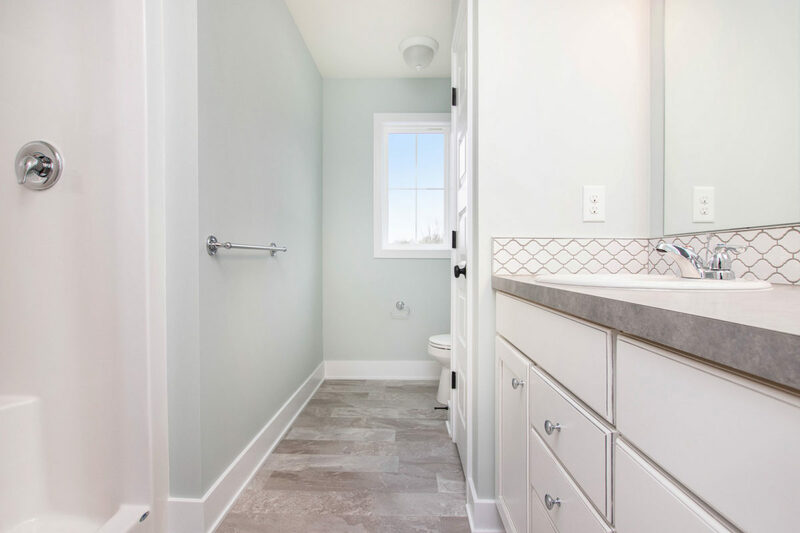 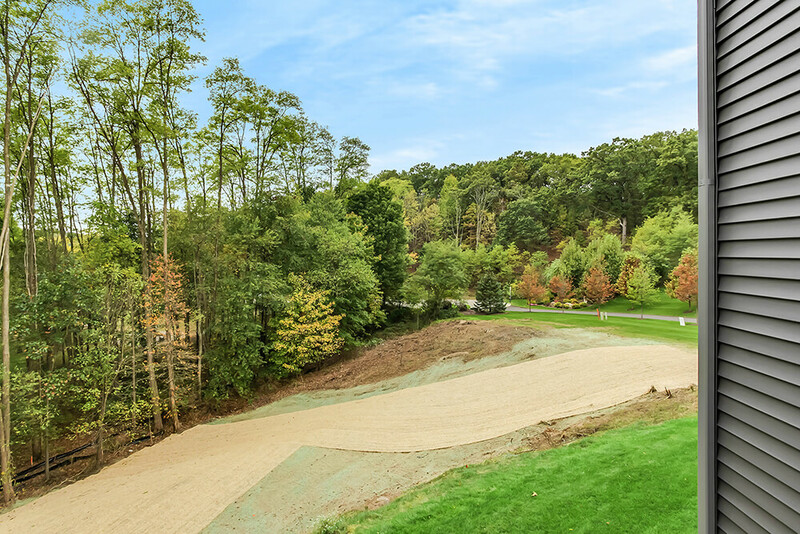 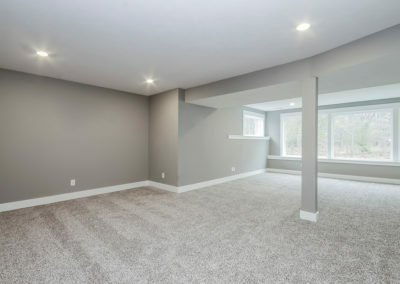 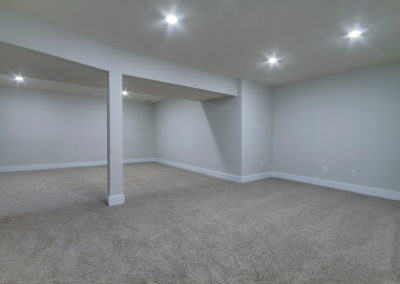 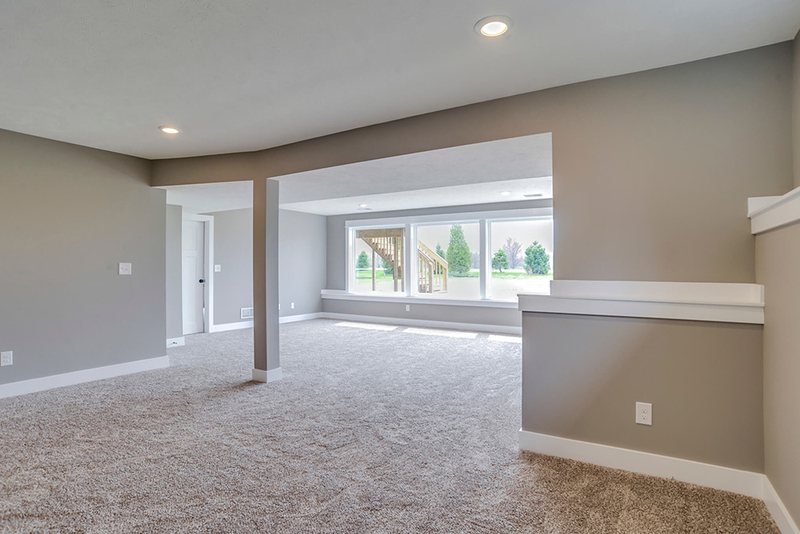 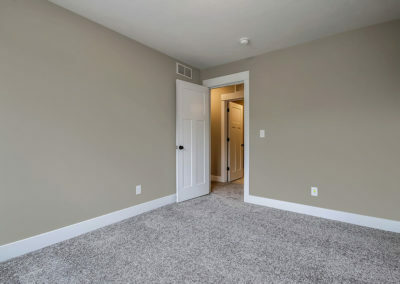 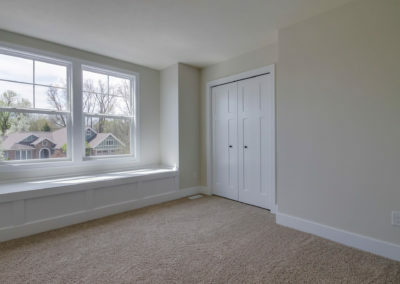 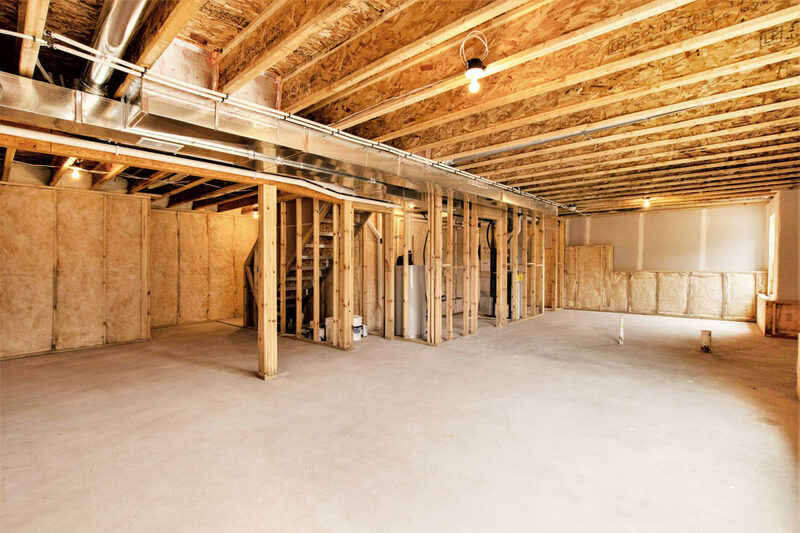 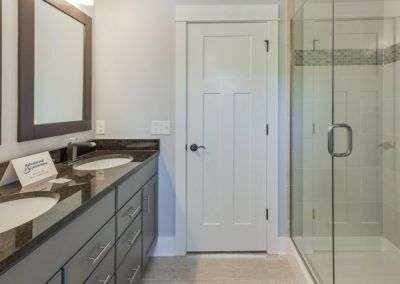 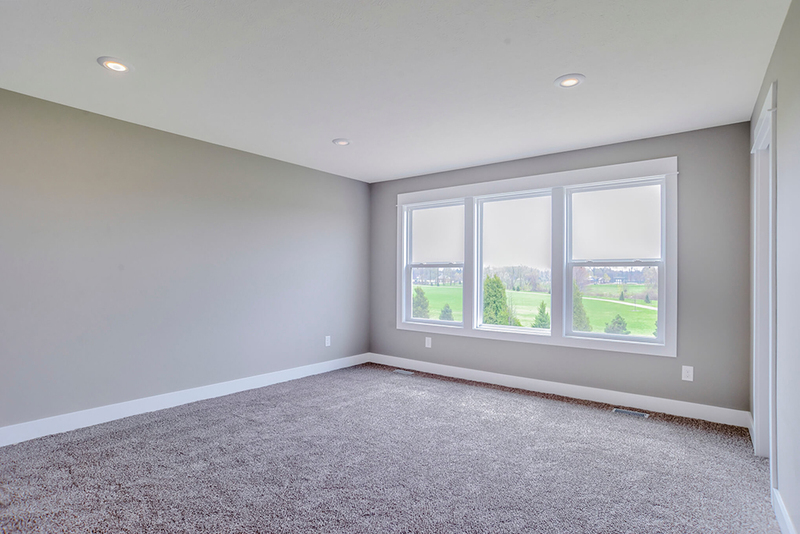 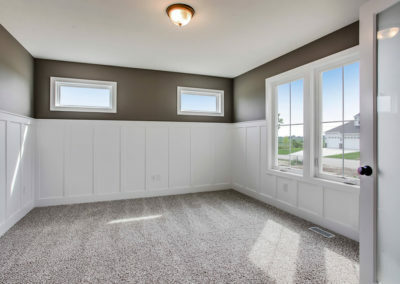 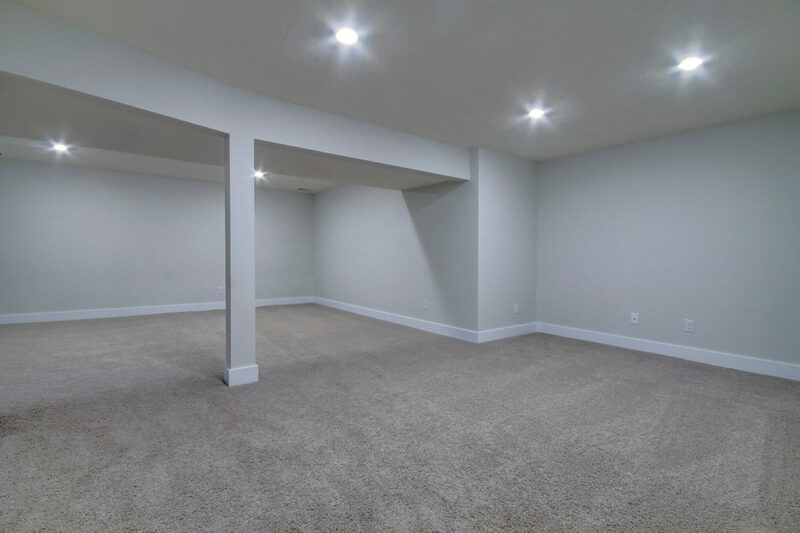 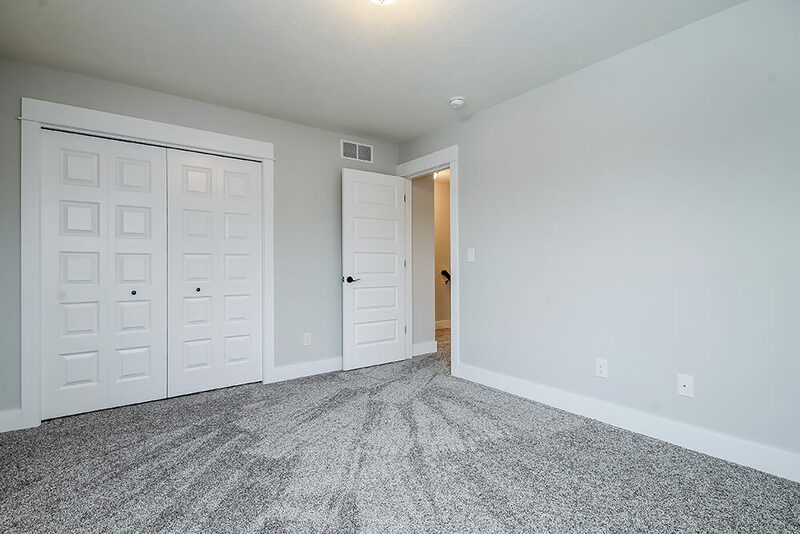 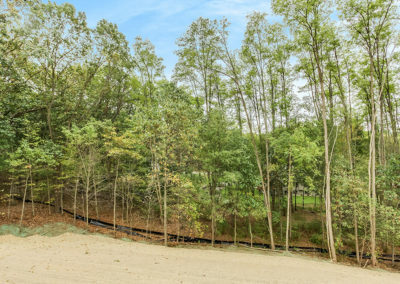 A finished lower level could include plenty of living space, a half or even a full bath, and more bedrooms if the conditions of your home site allow. 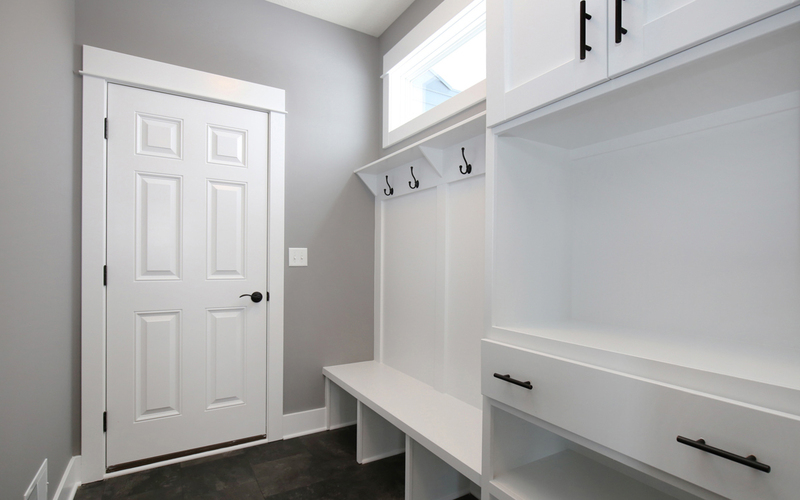 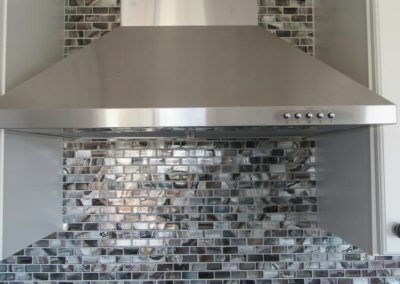 The Stockton is a proven design that offers space, flexibility, and numerous opportunities for personalization. 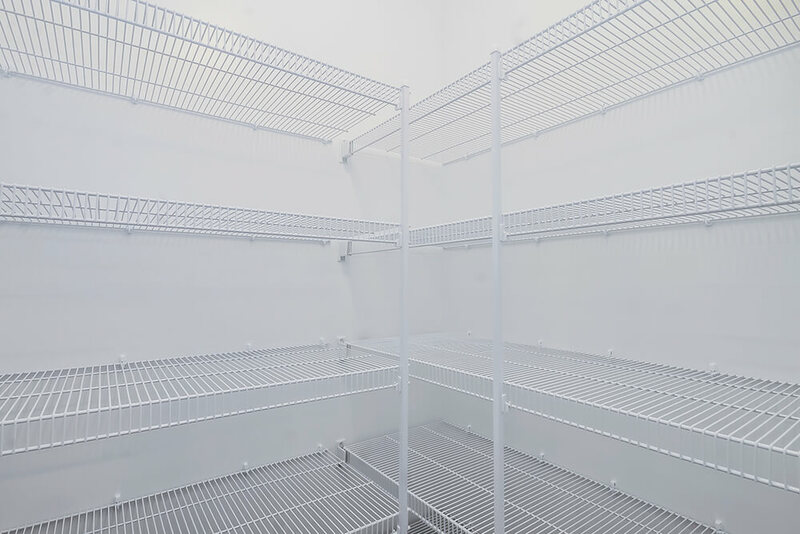 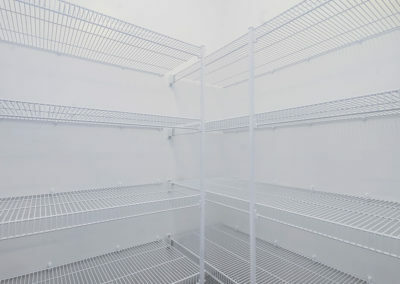 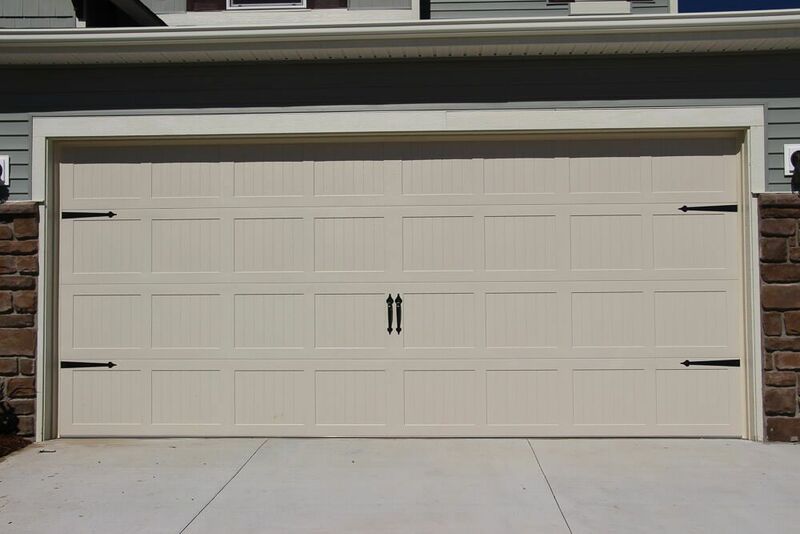 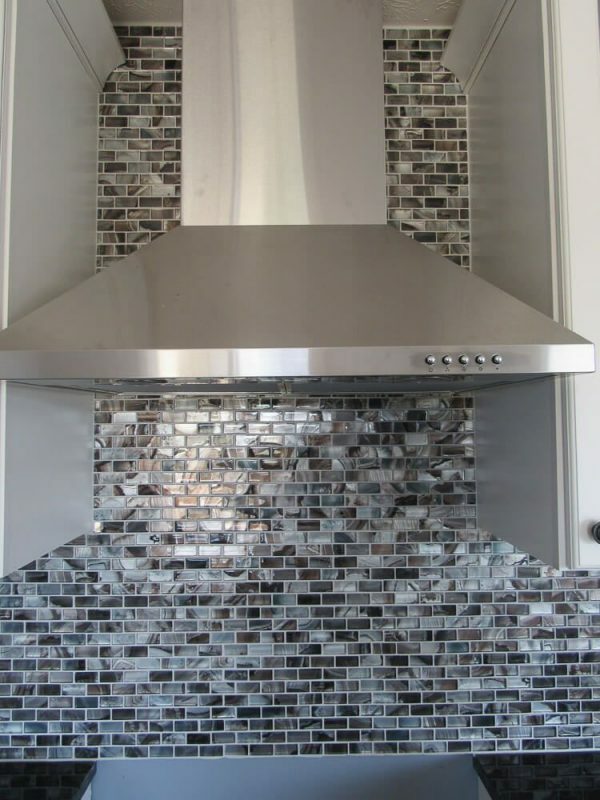 And regardless of the selection you make, you will always get a home backed up by Eastbrook’s guarantee of quality, value, and efficiency.